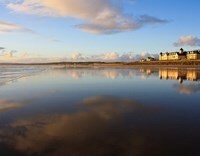 Please rotate your device 90 degrees. 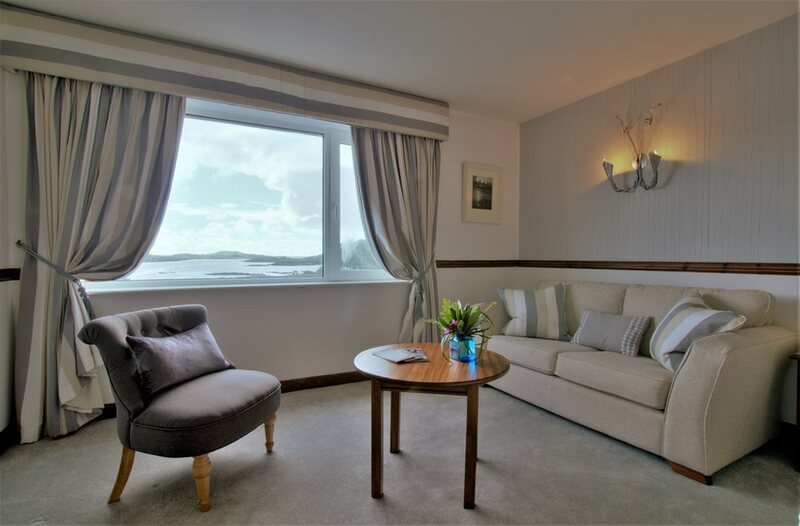 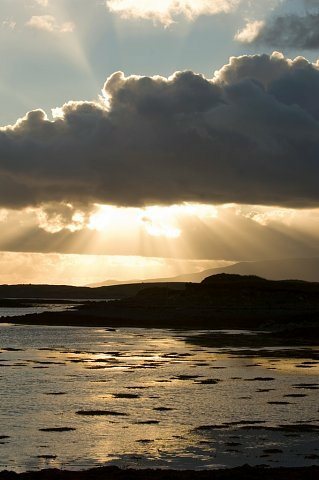 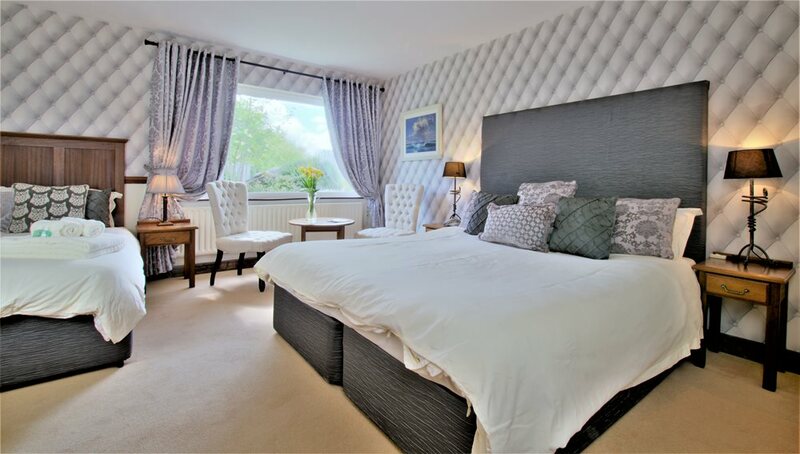 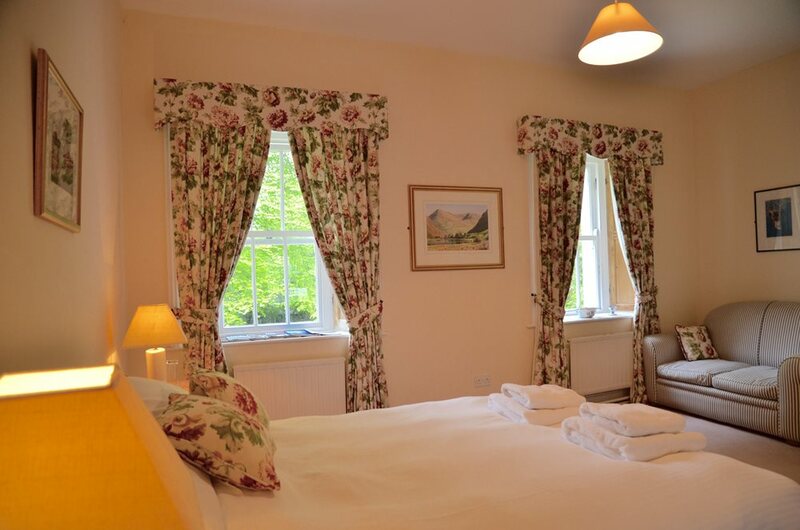 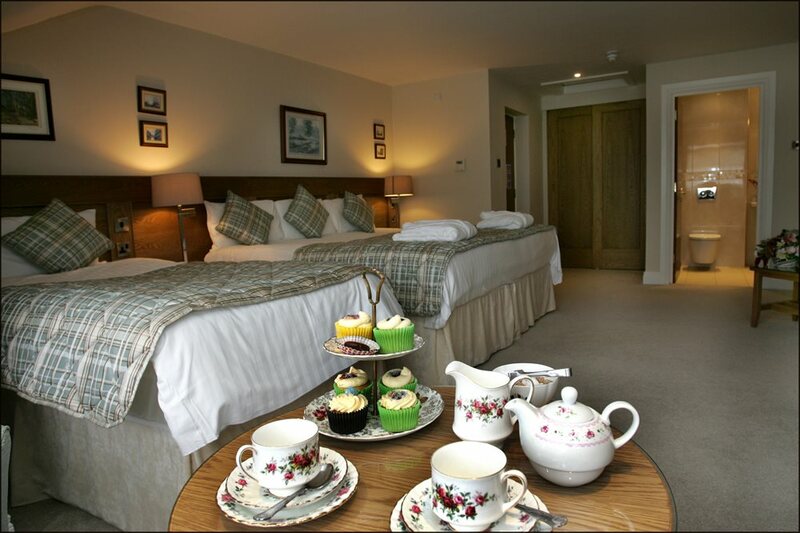 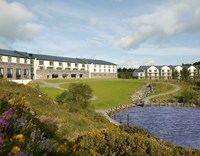 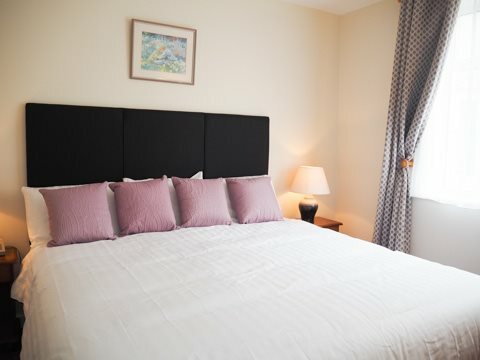 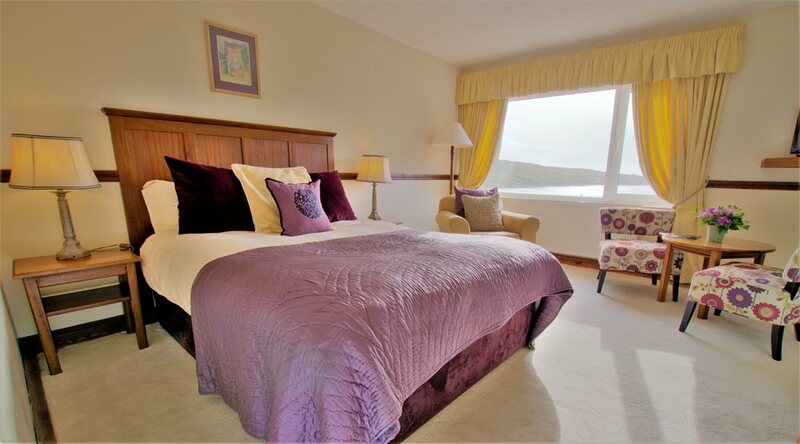 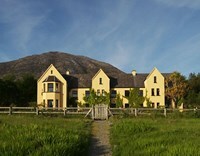 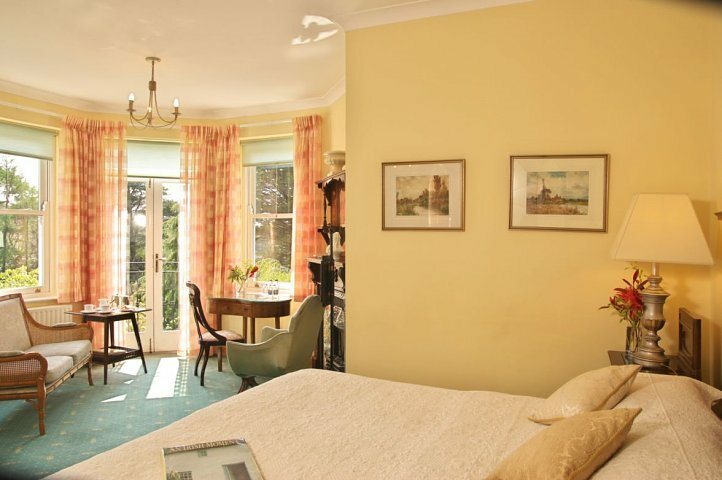 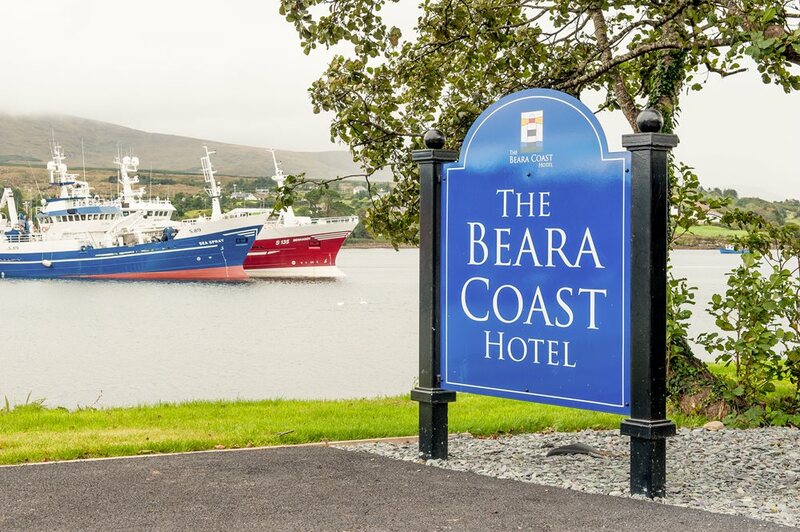 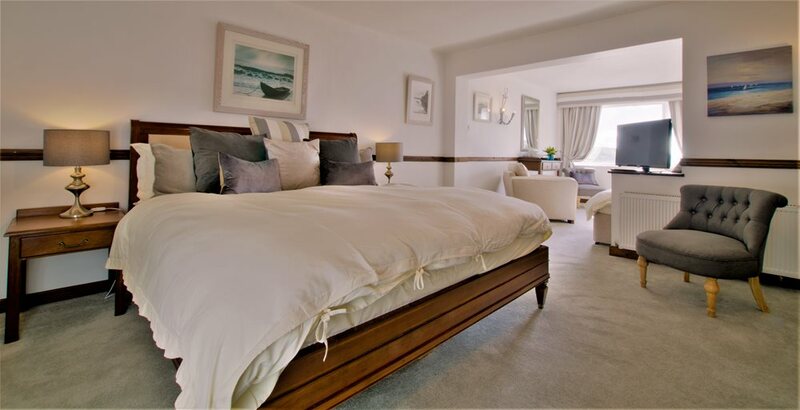 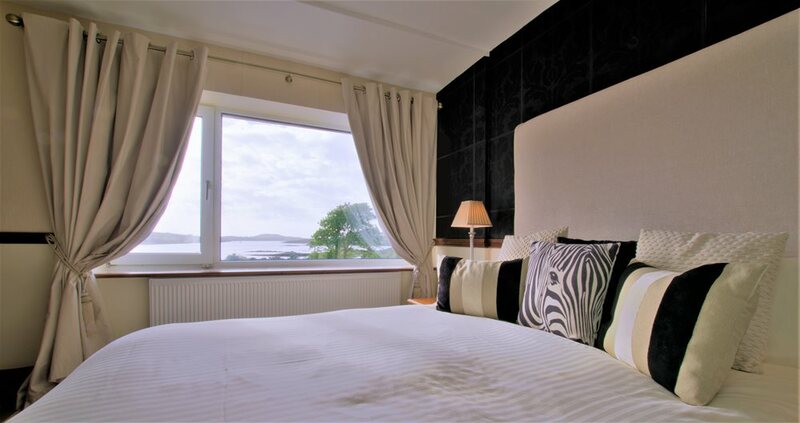 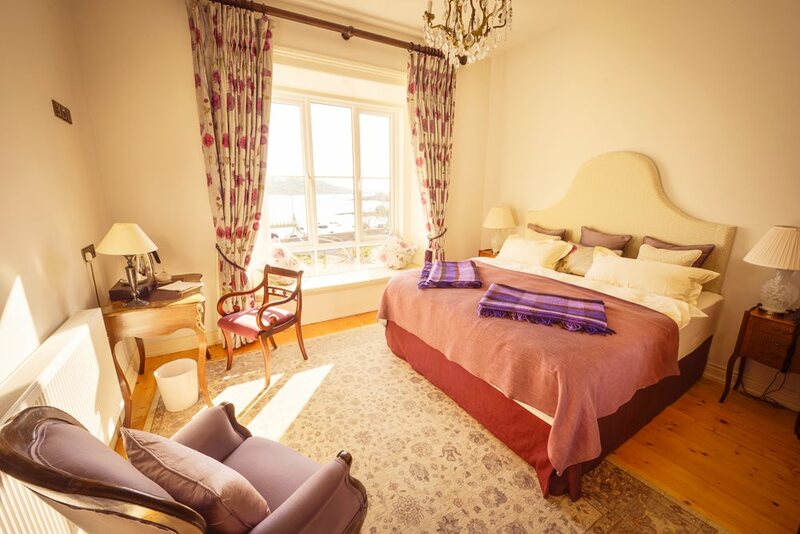 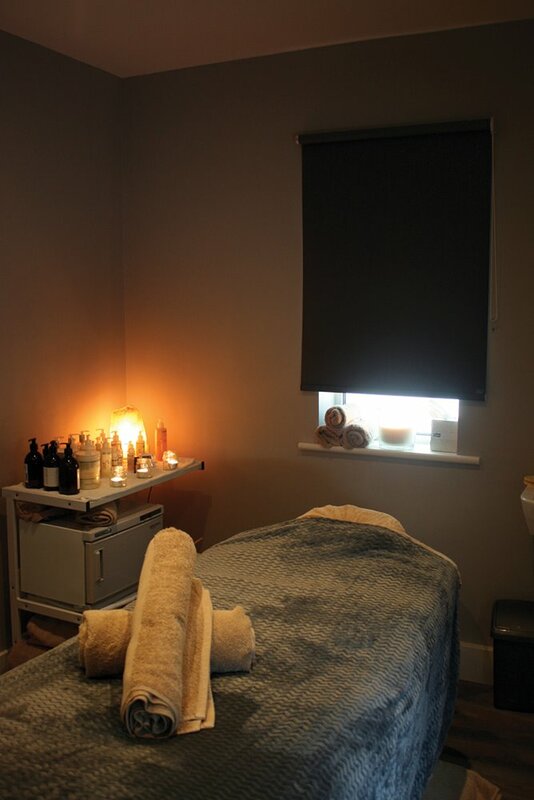 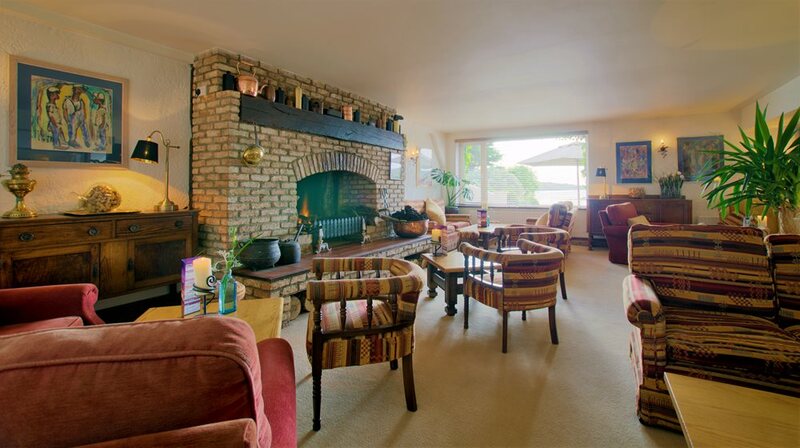 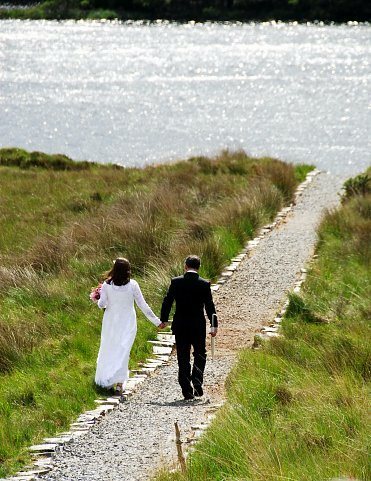 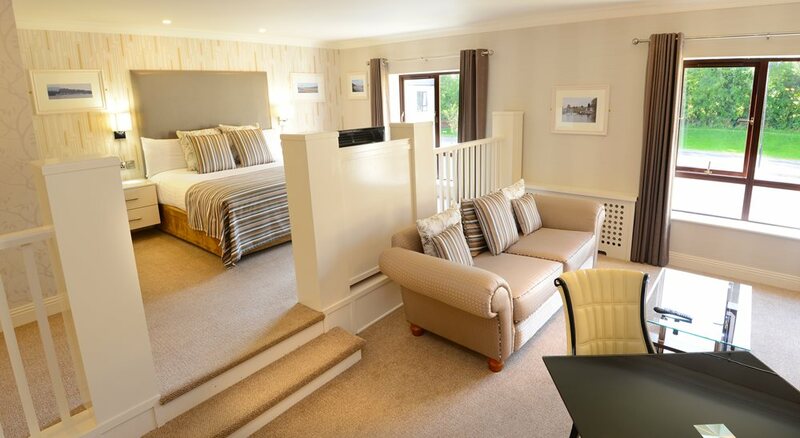 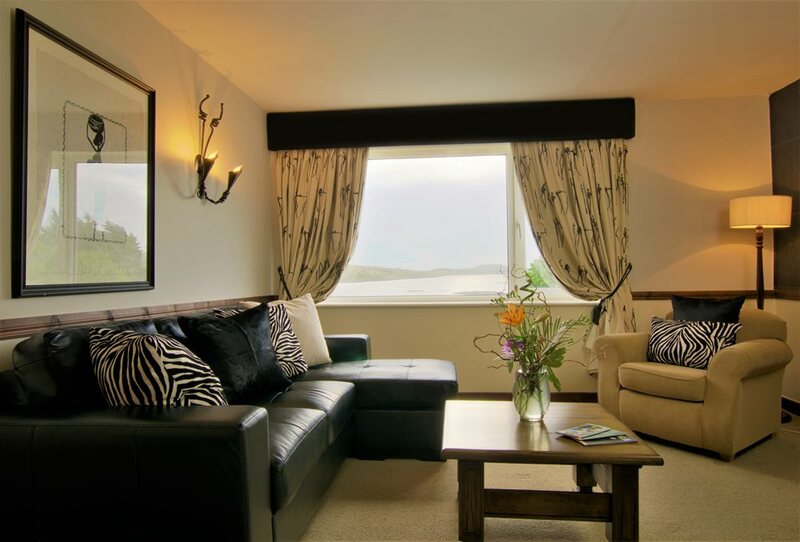 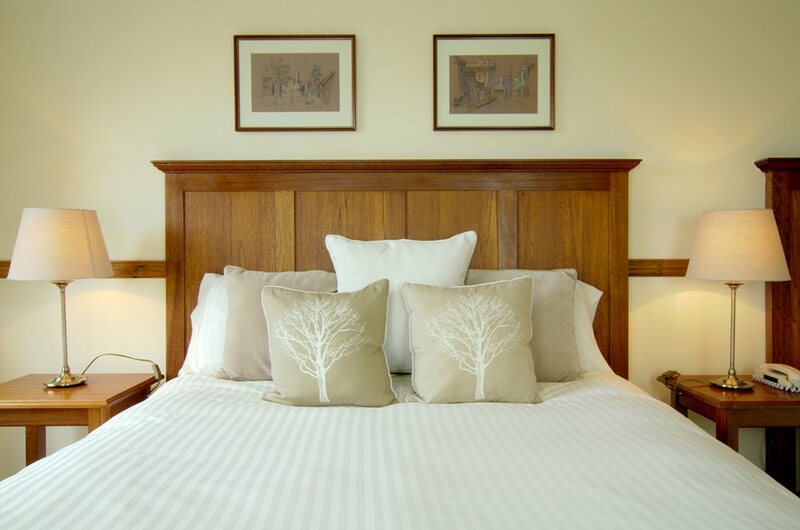 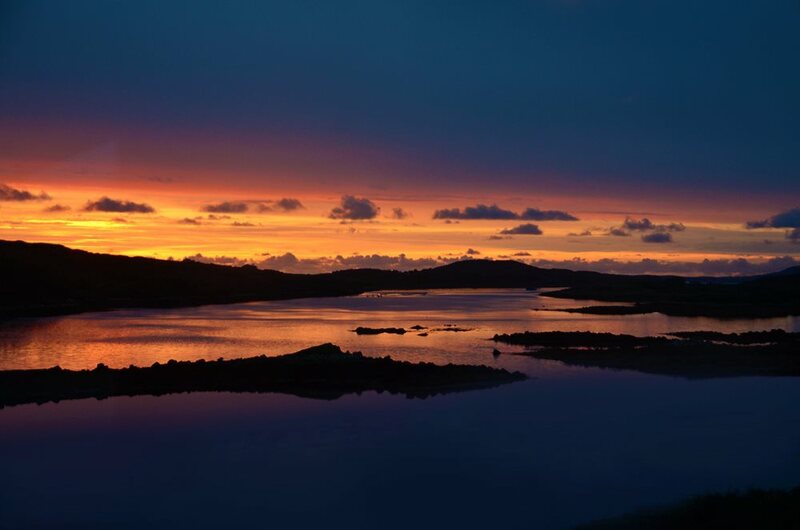 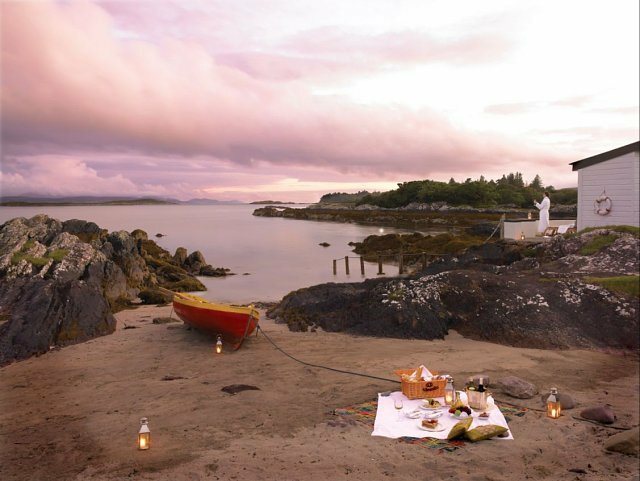 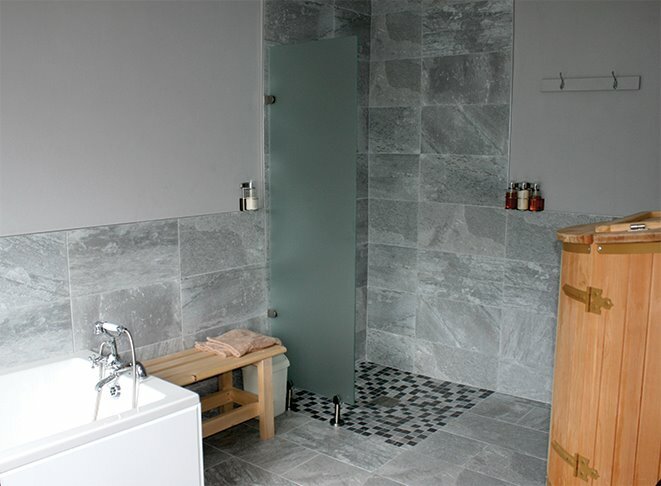 Nestled in the romantic setting of the Twelve Bens with beautiful views overlooking Clifden Bay. 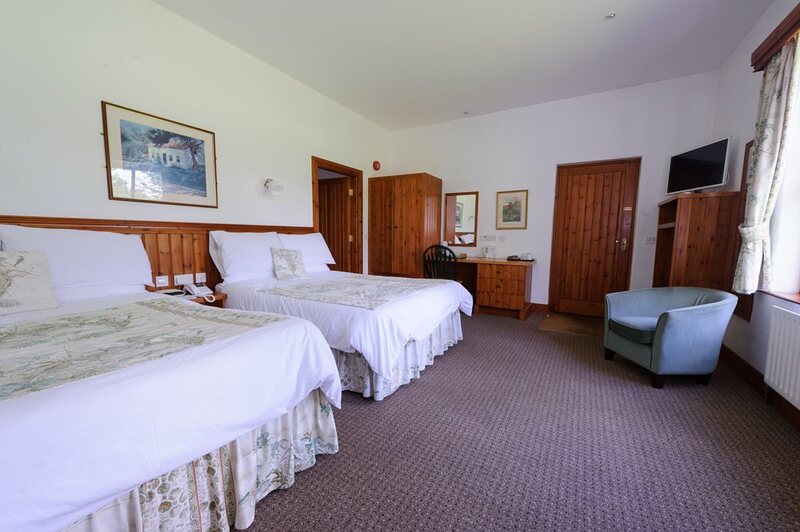 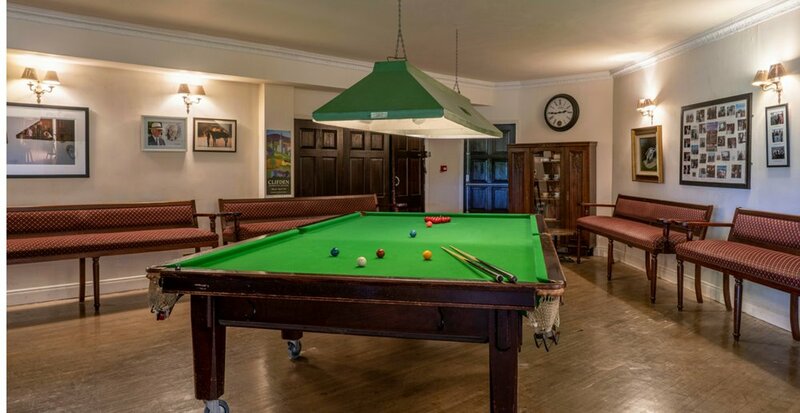 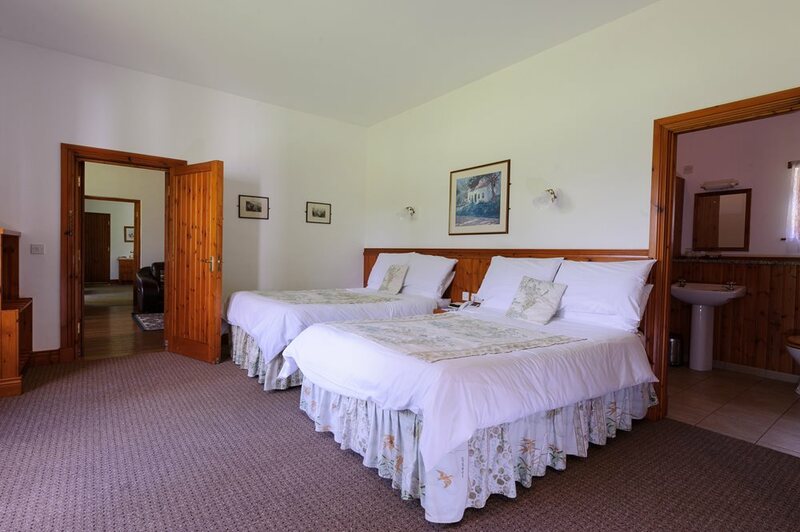 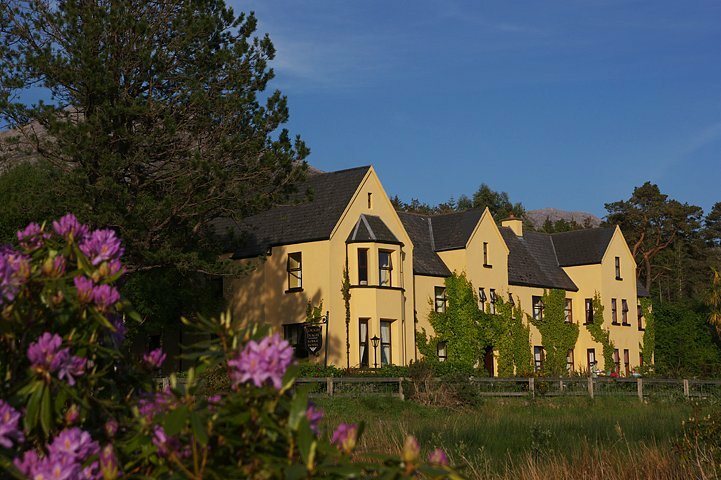 The Ardagh is a quiet, family run hotel situated in the heart of scenic Connemara. 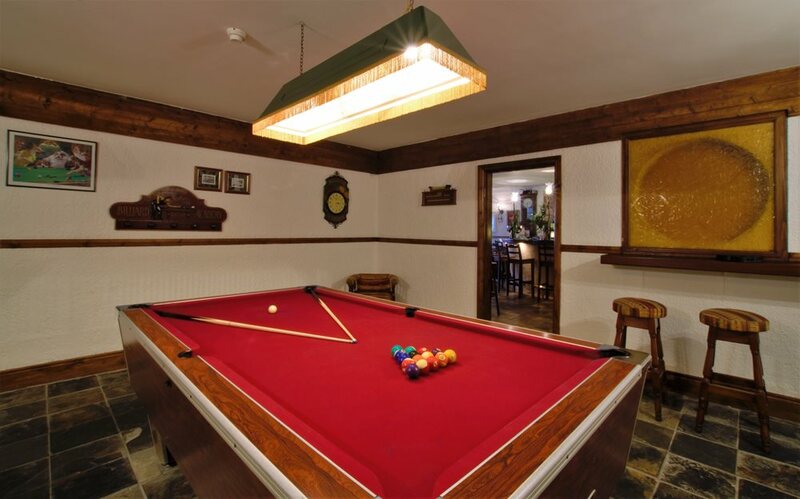 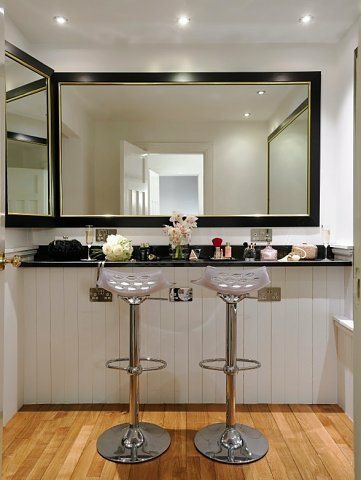 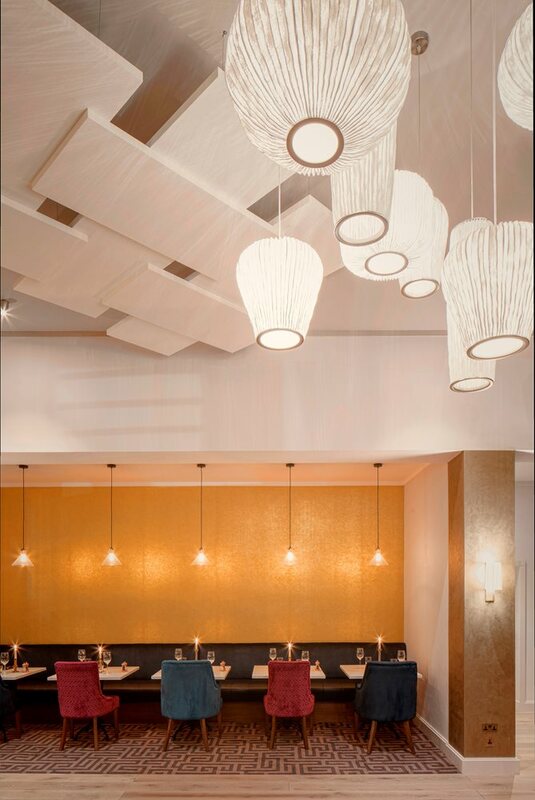 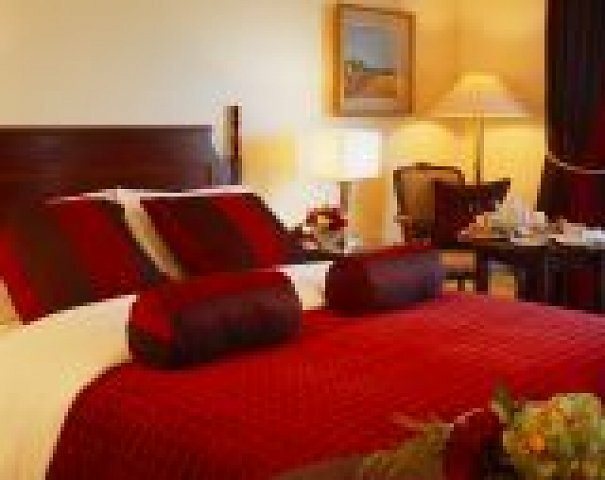 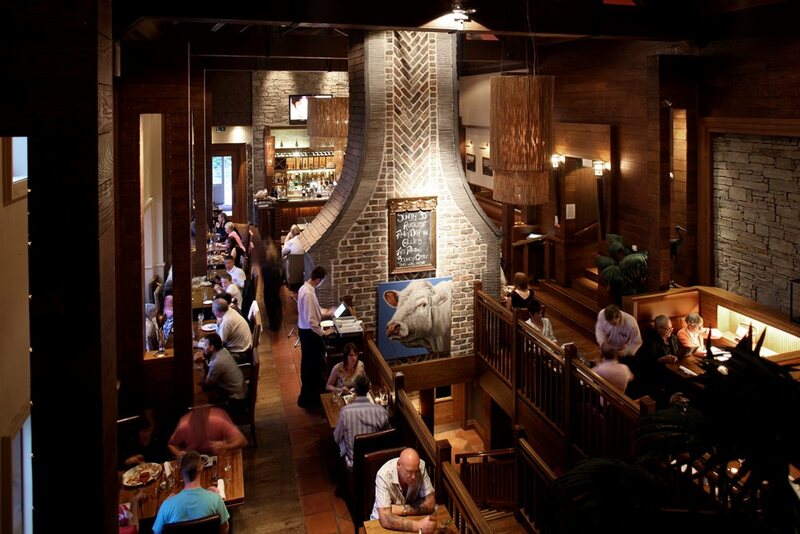 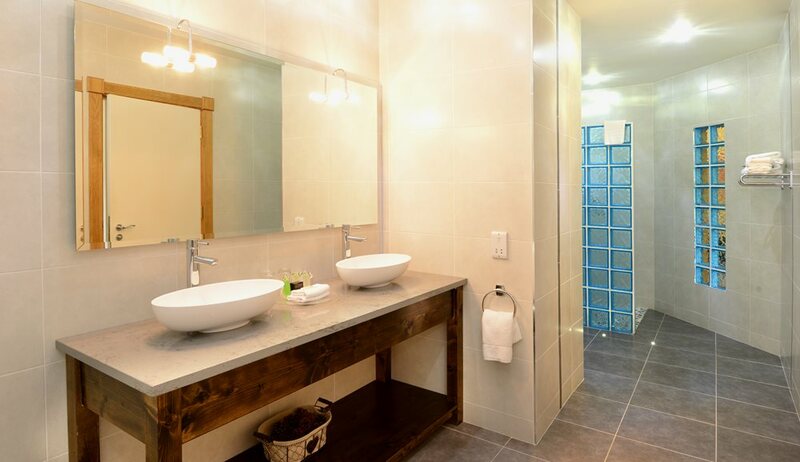 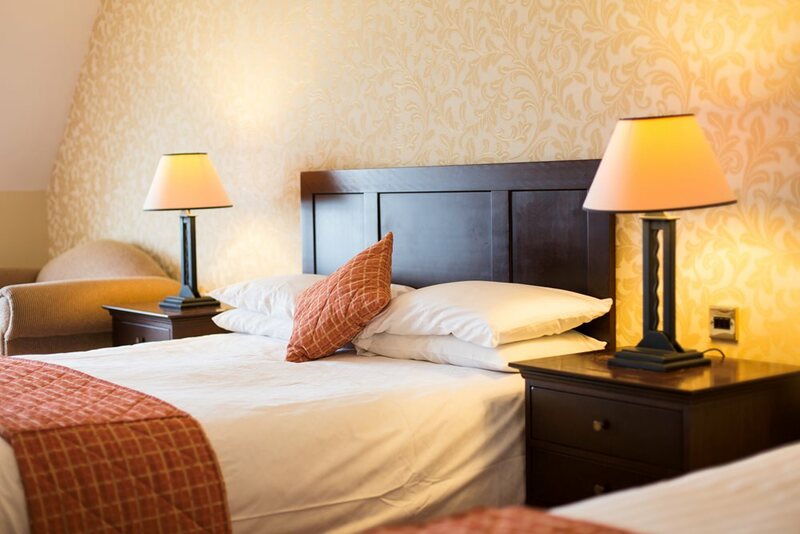 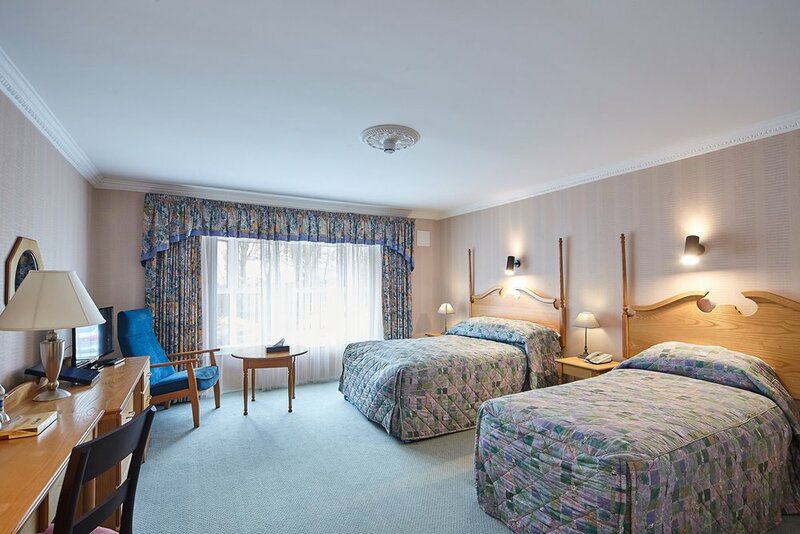 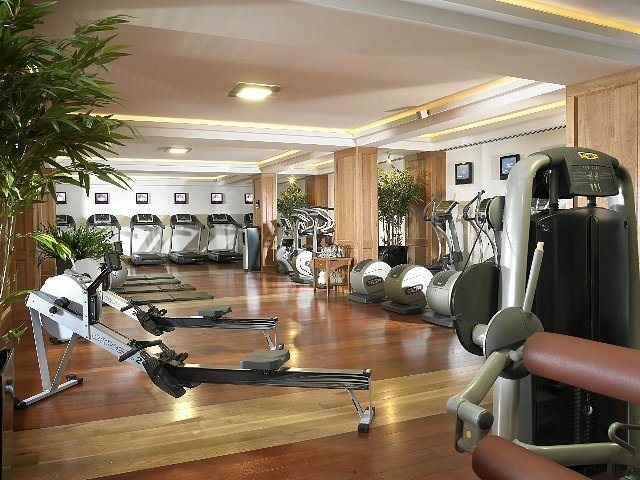 The hotel is well known for its blend of hospitality and comfort. 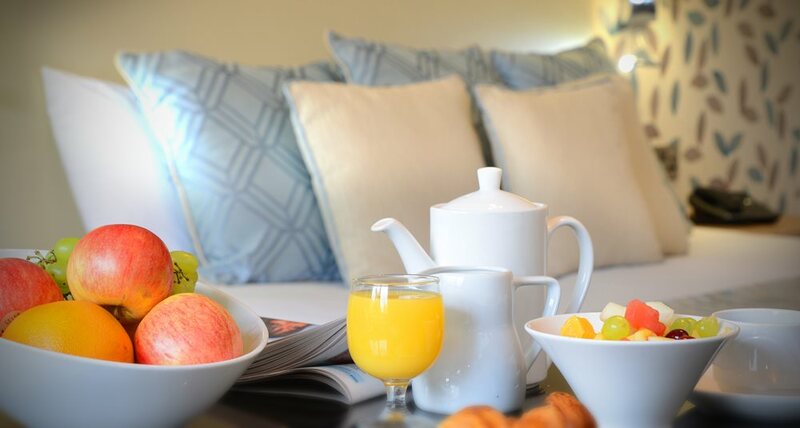 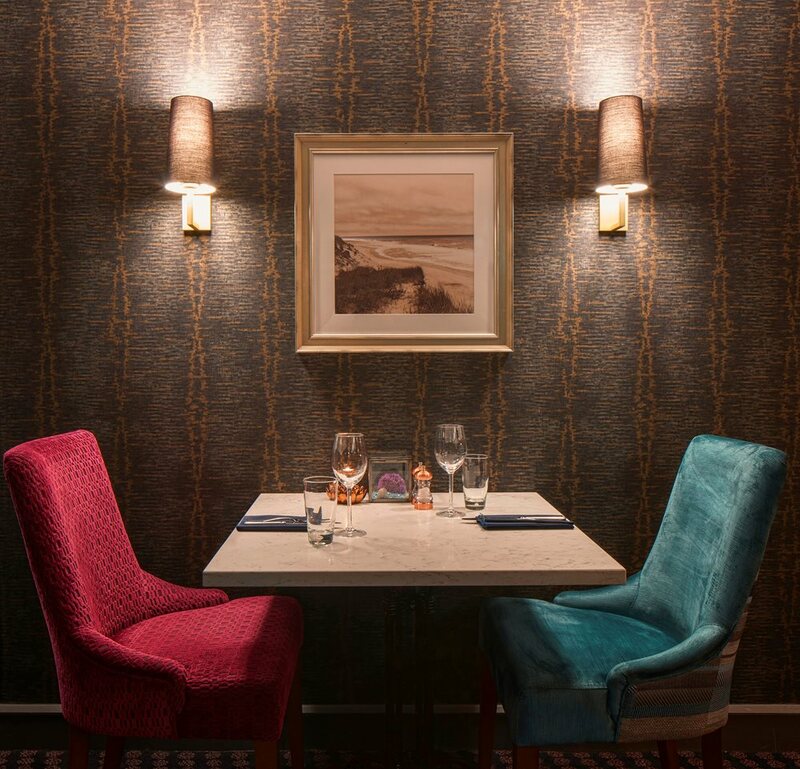 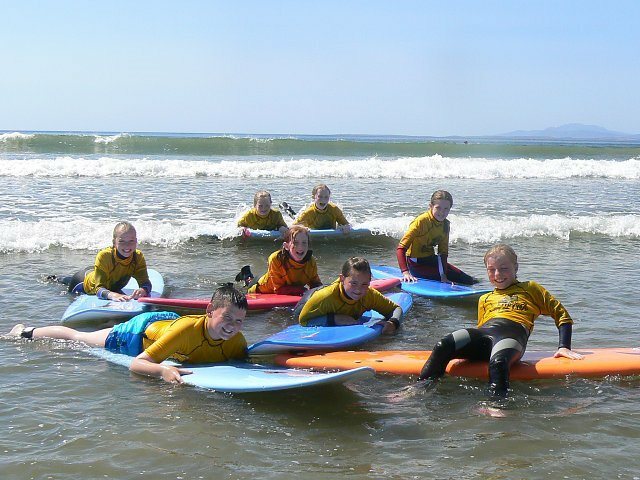 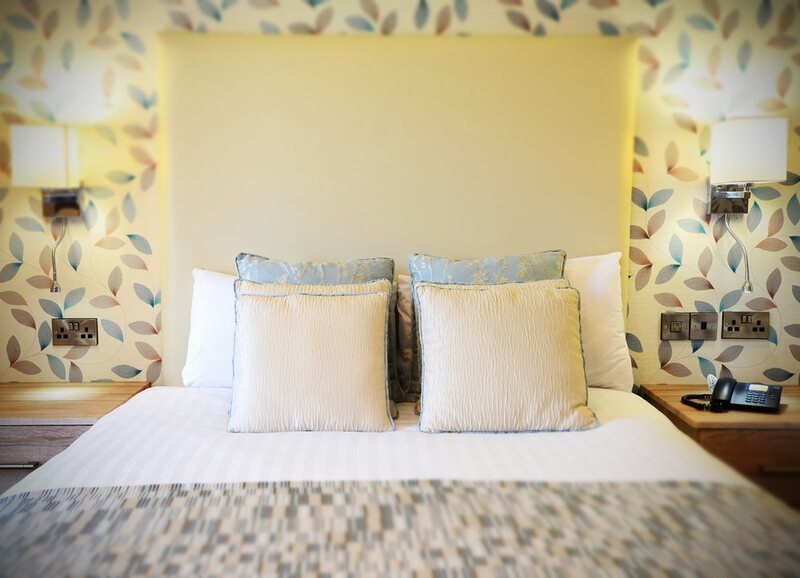 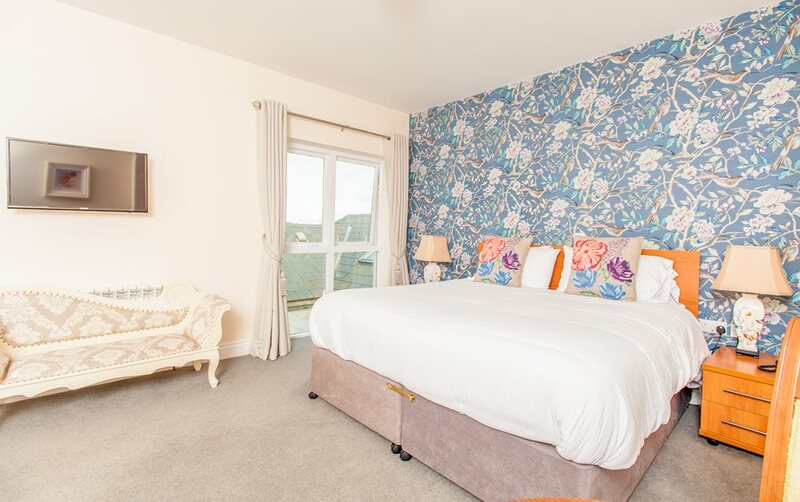 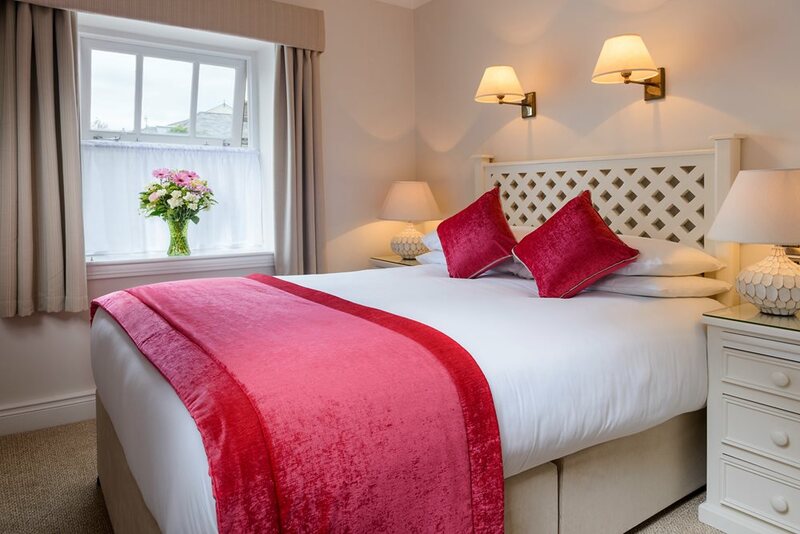 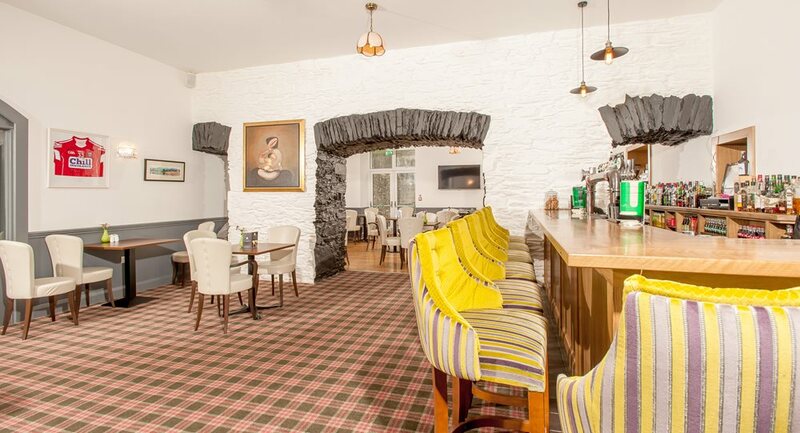 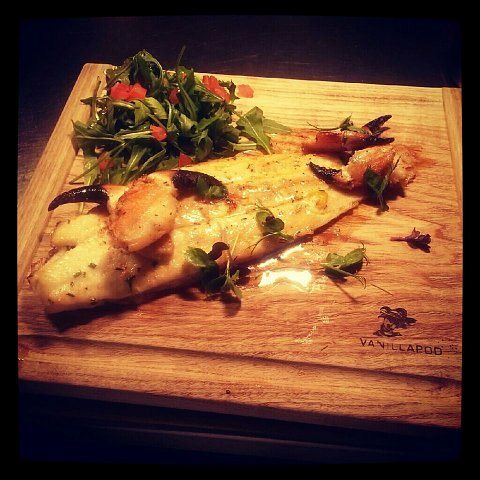 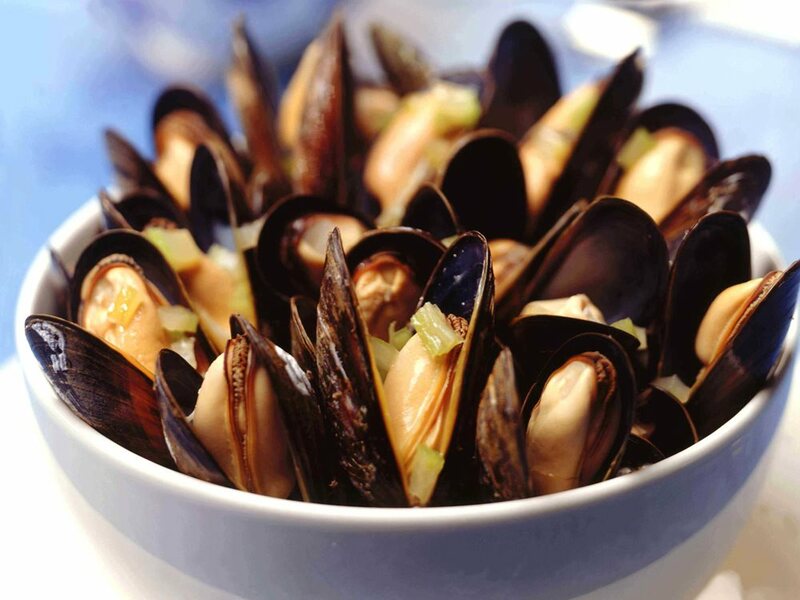 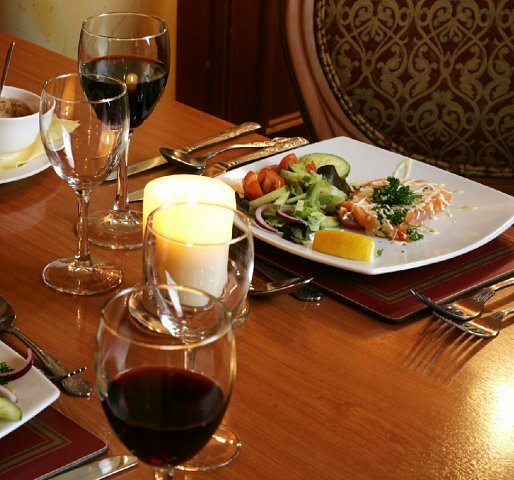 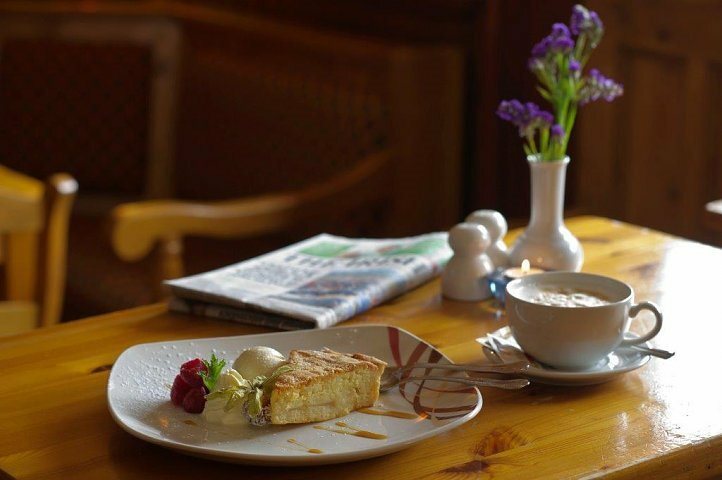 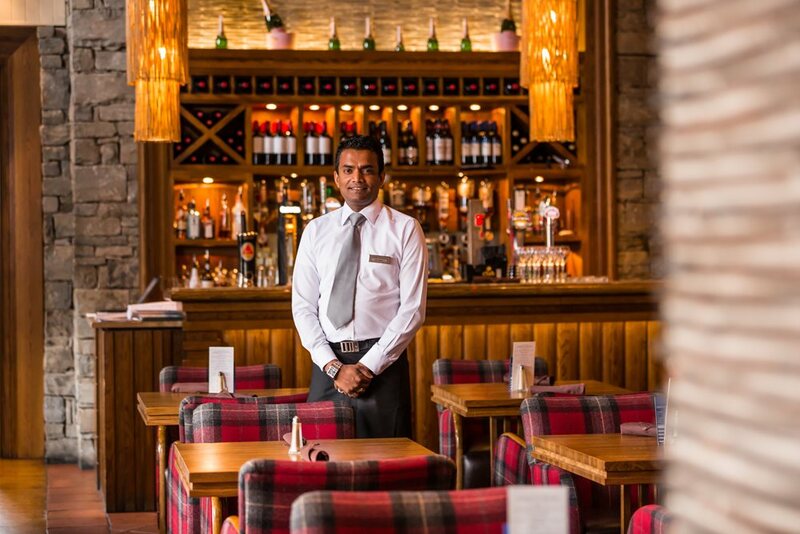 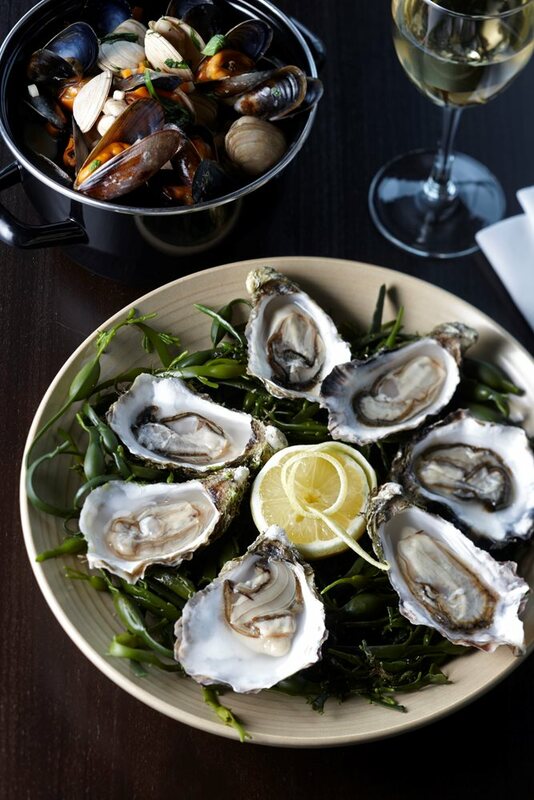 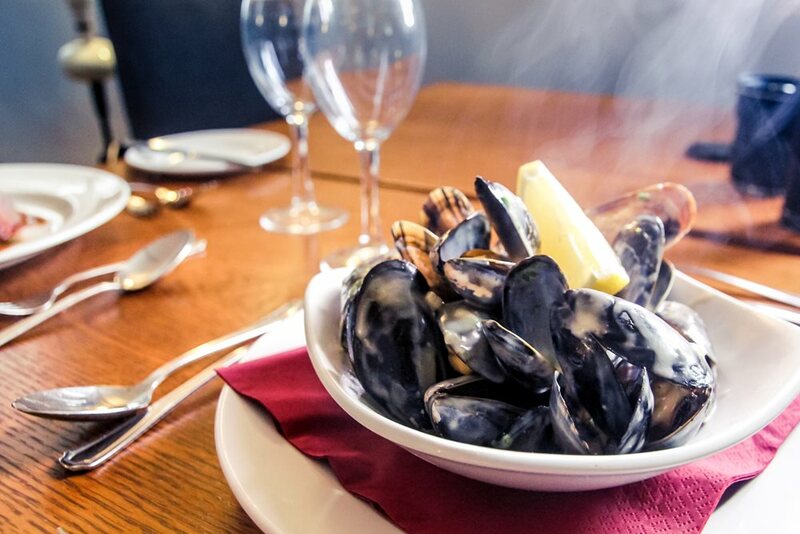 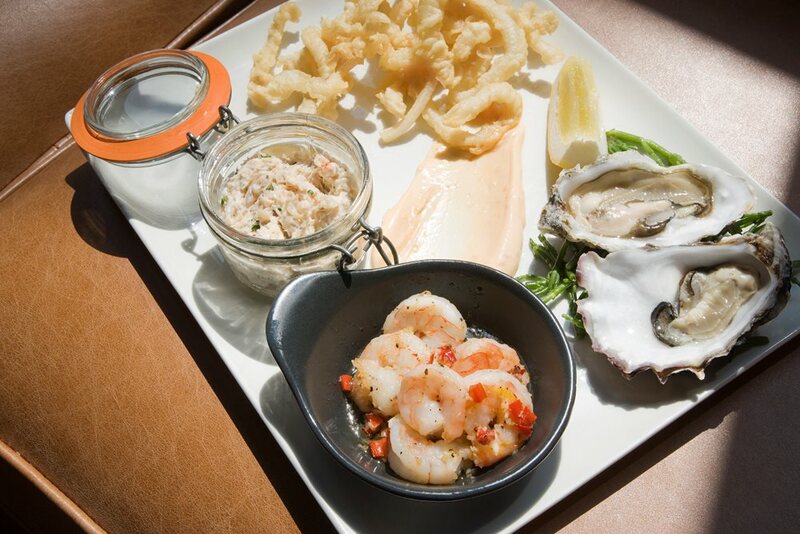 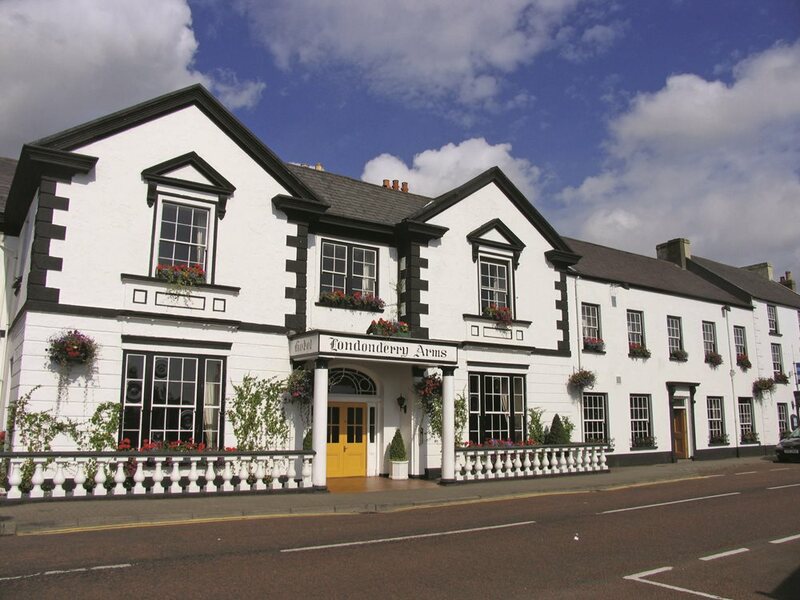 Nestled in the pretty seaside village of Dunfanaghy, the Arnold family Hotel is renowned for excellence in food and hopitality and a quality of service designed for your comfort. 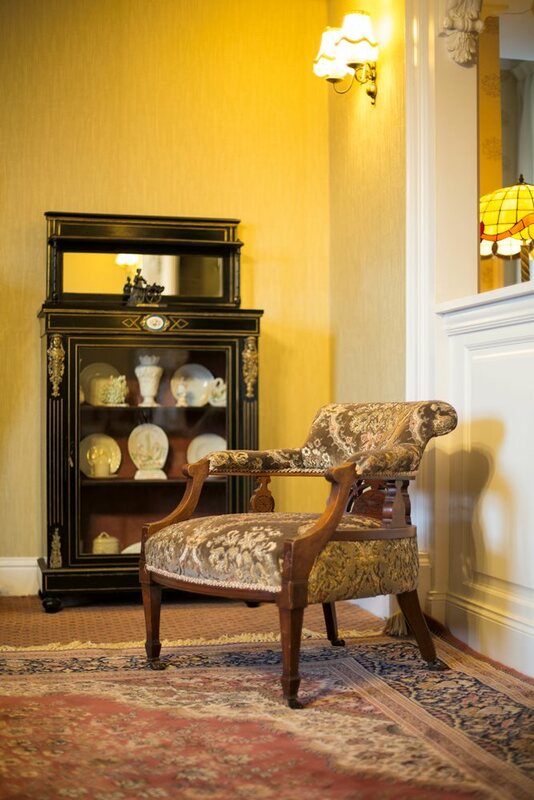 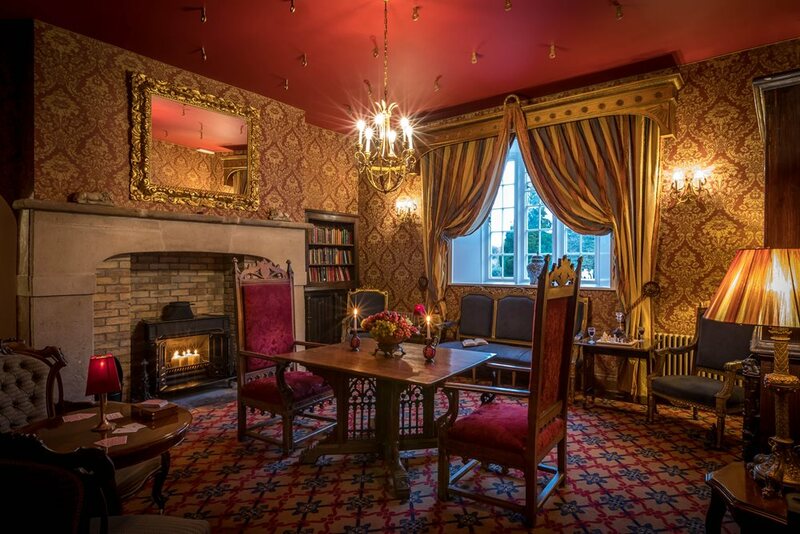 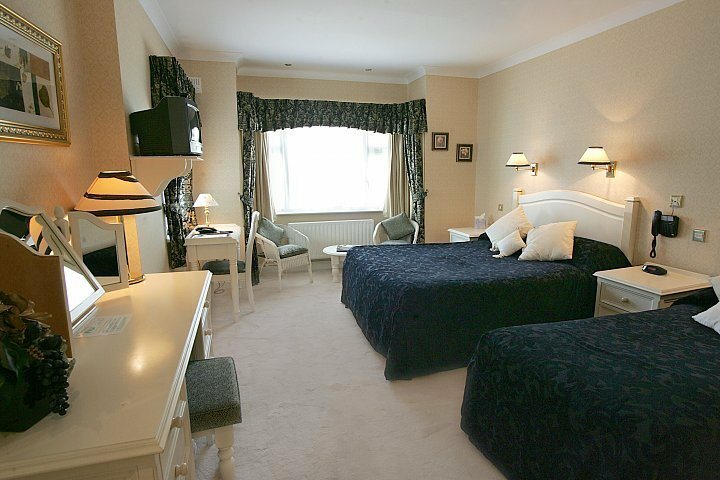 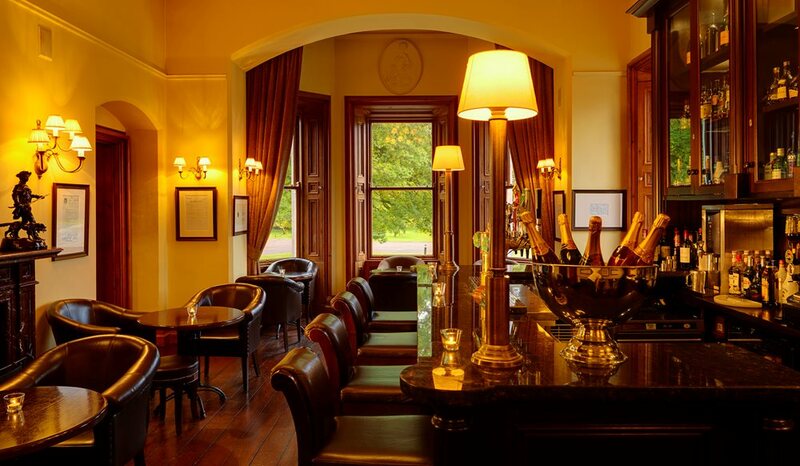 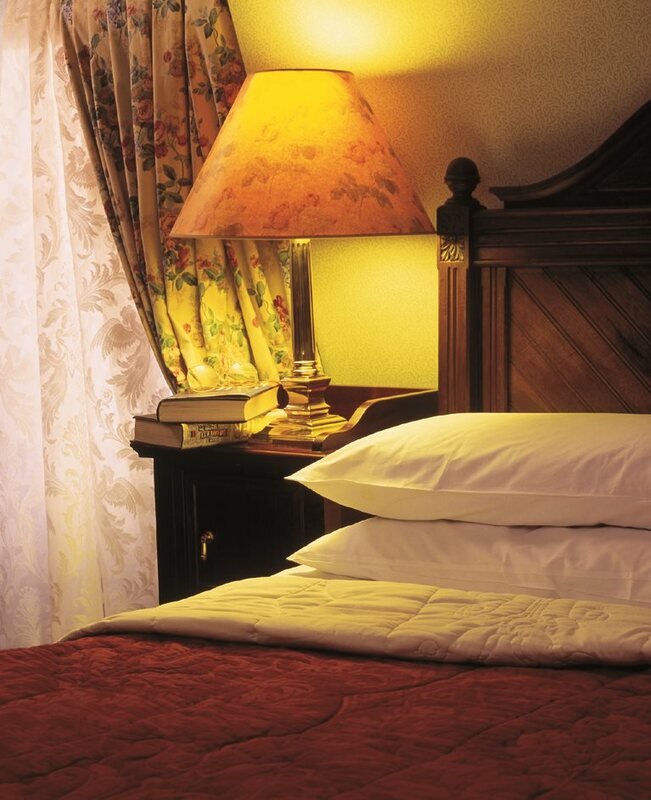 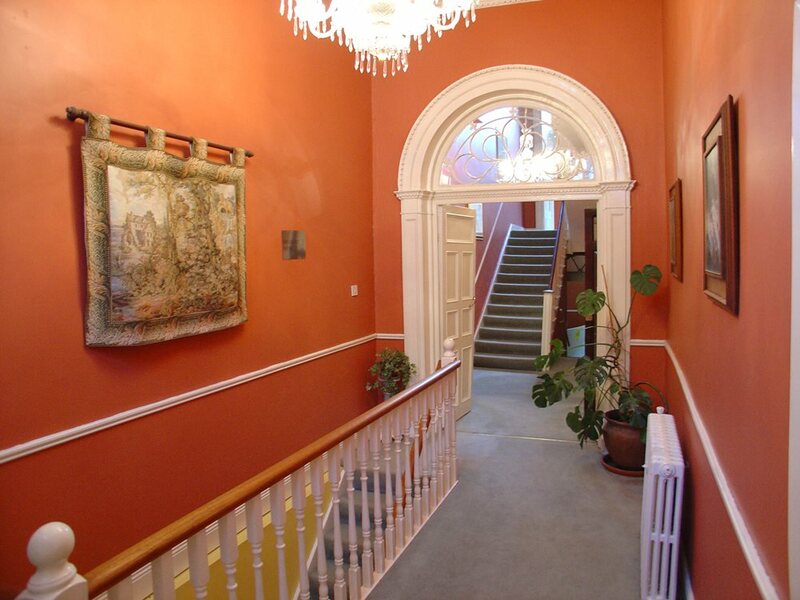 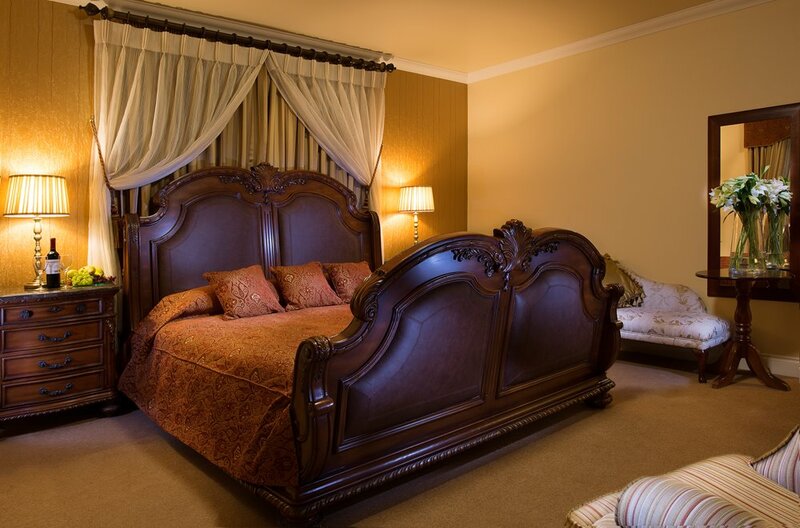 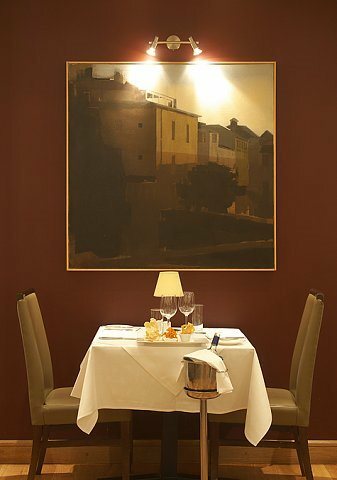 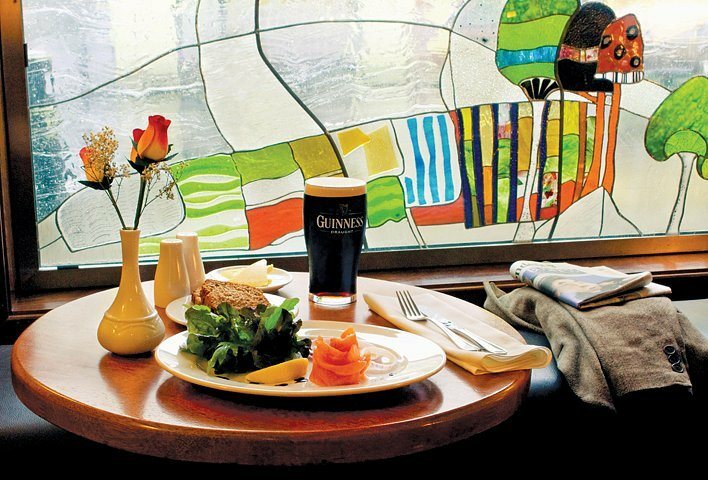 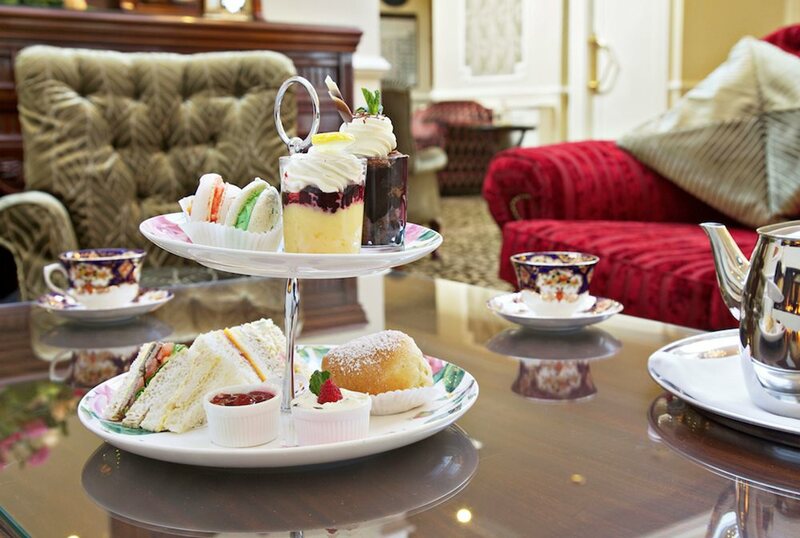 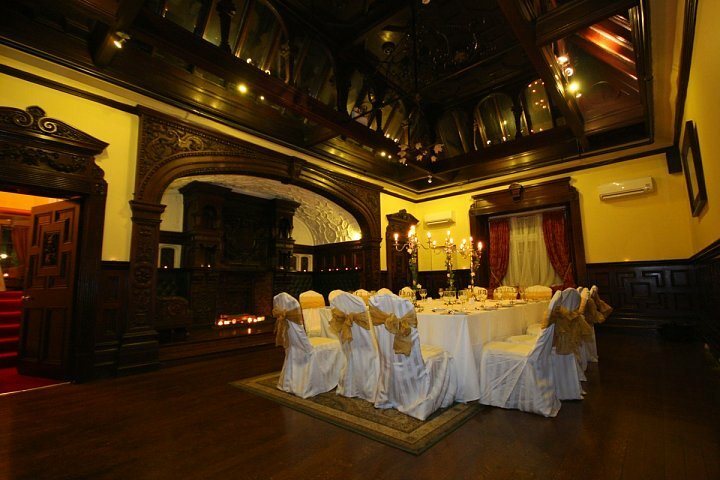 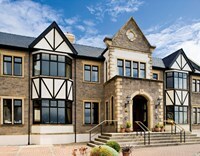 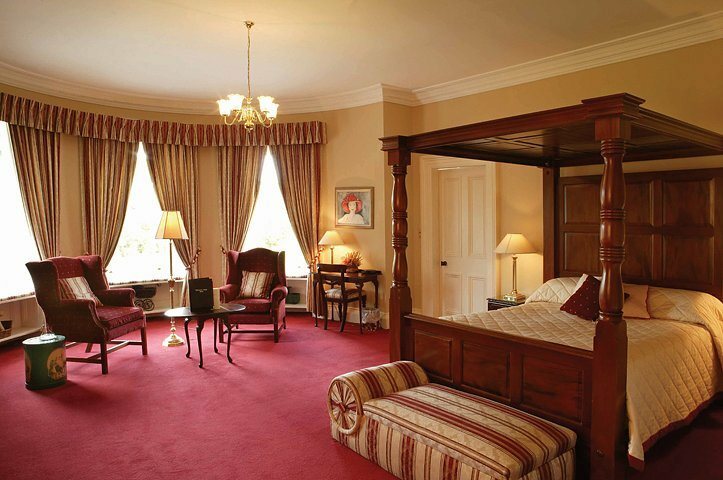 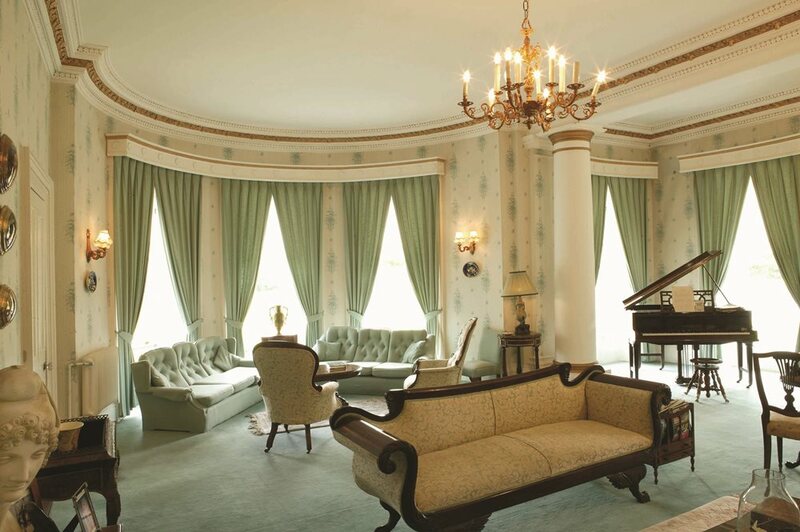 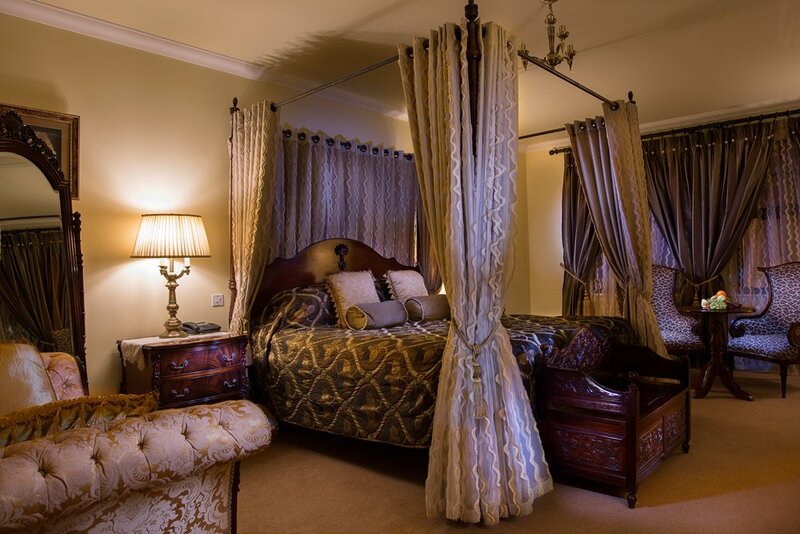 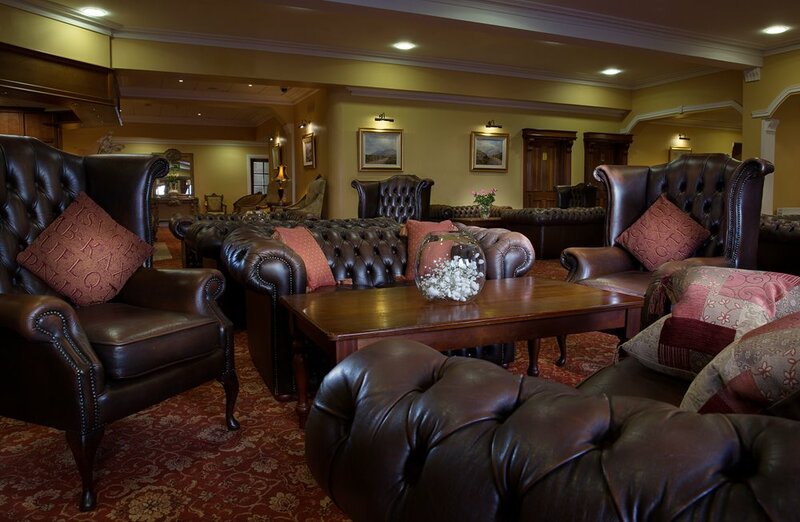 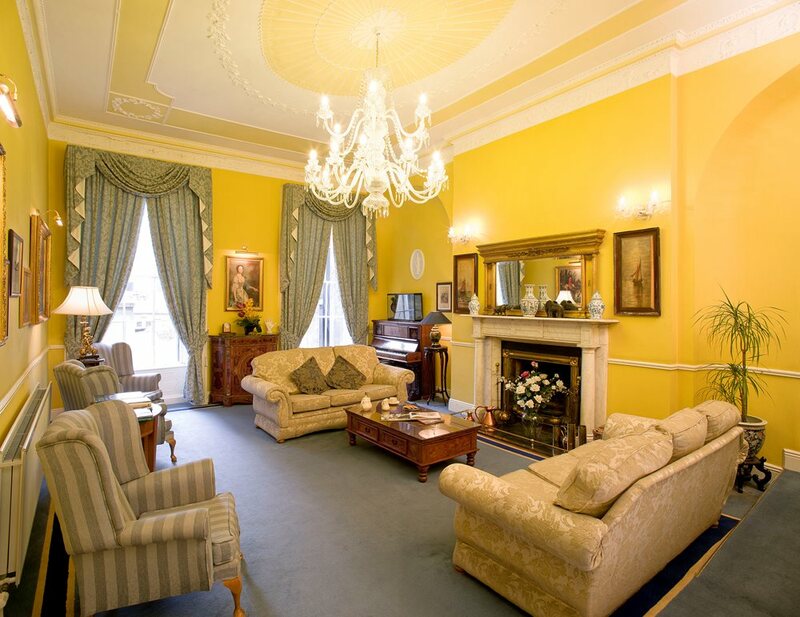 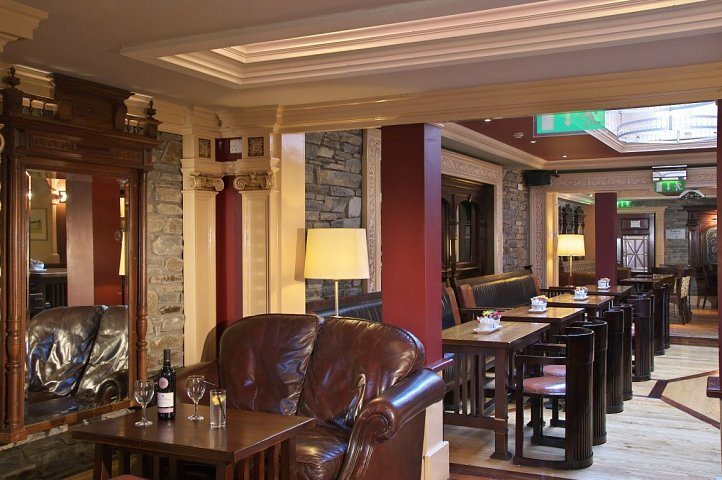 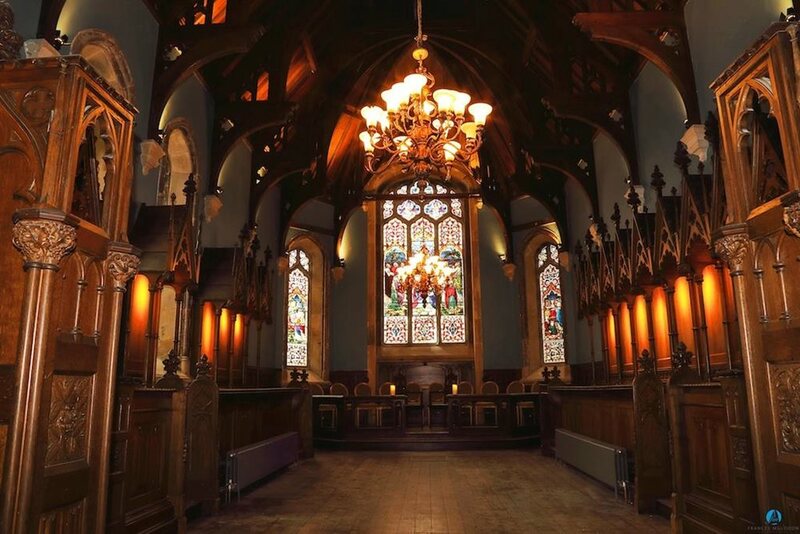 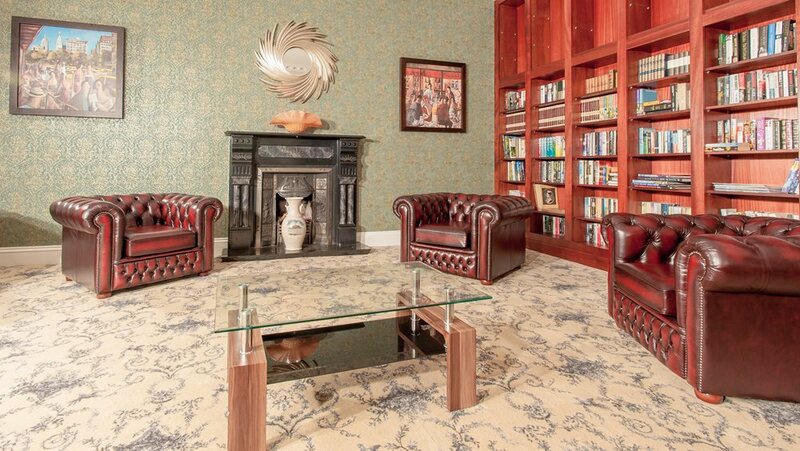 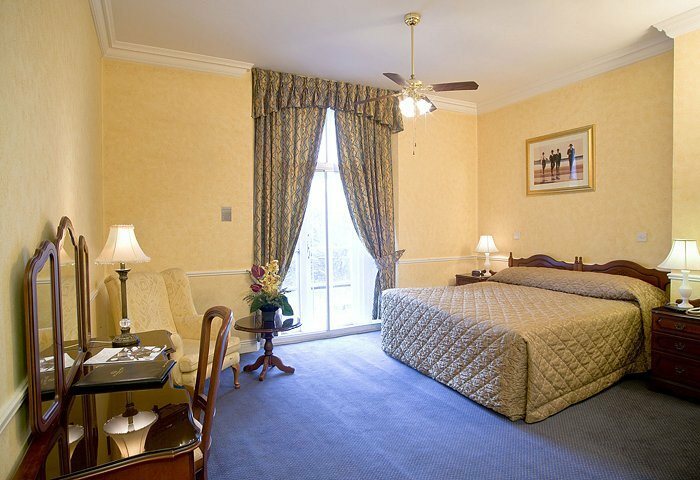 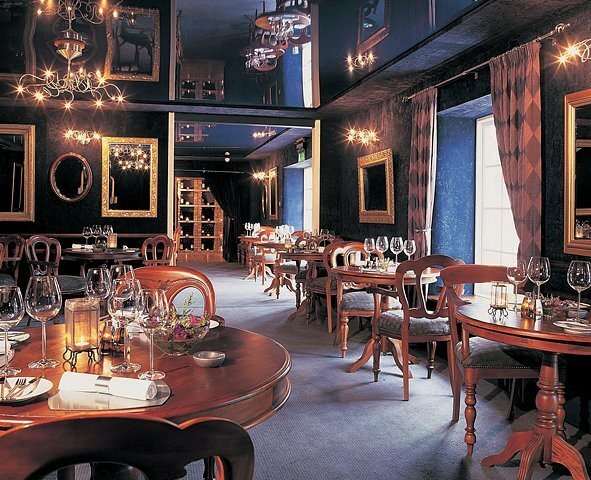 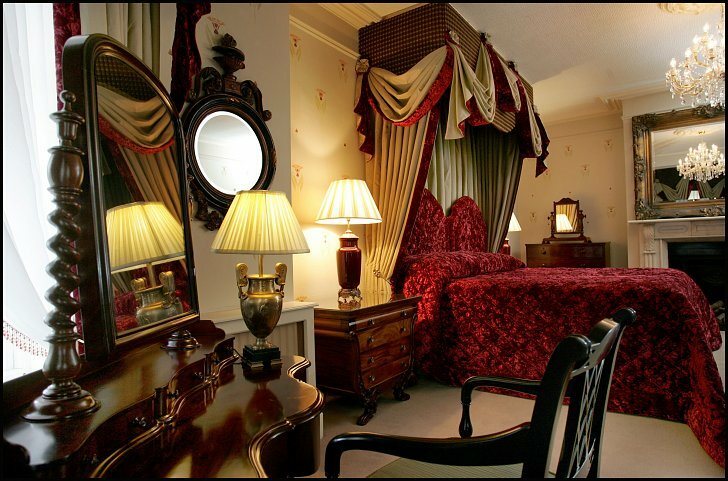 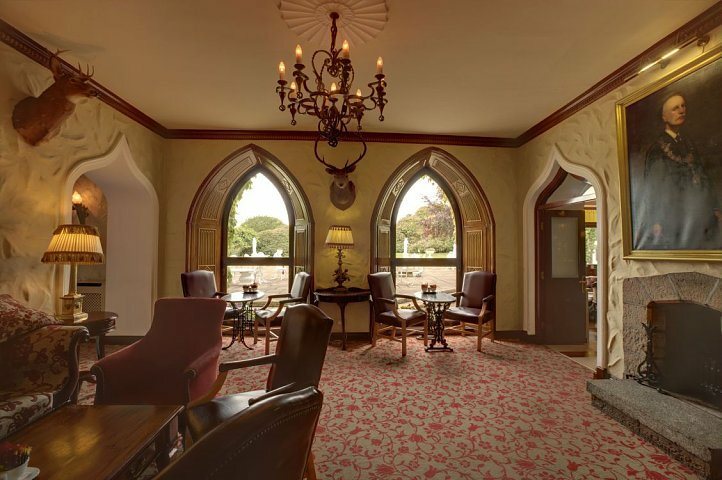 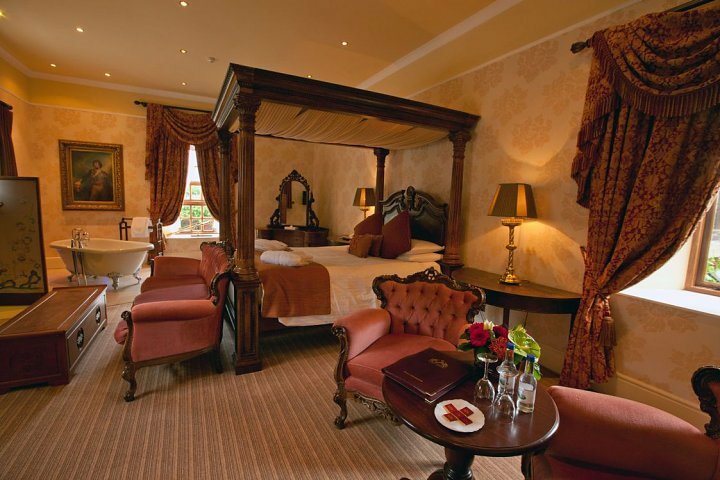 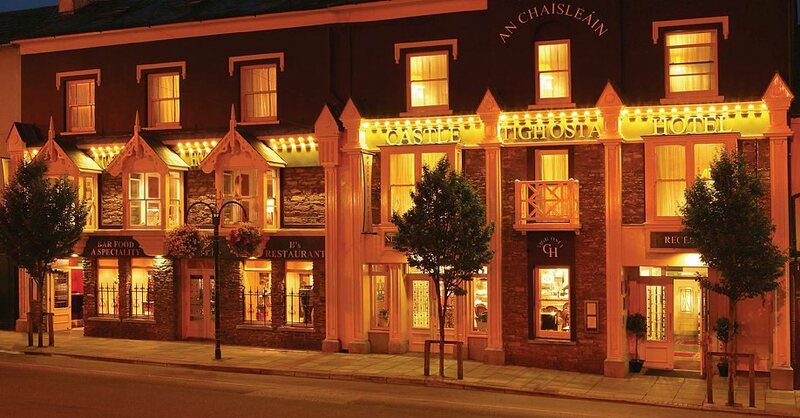 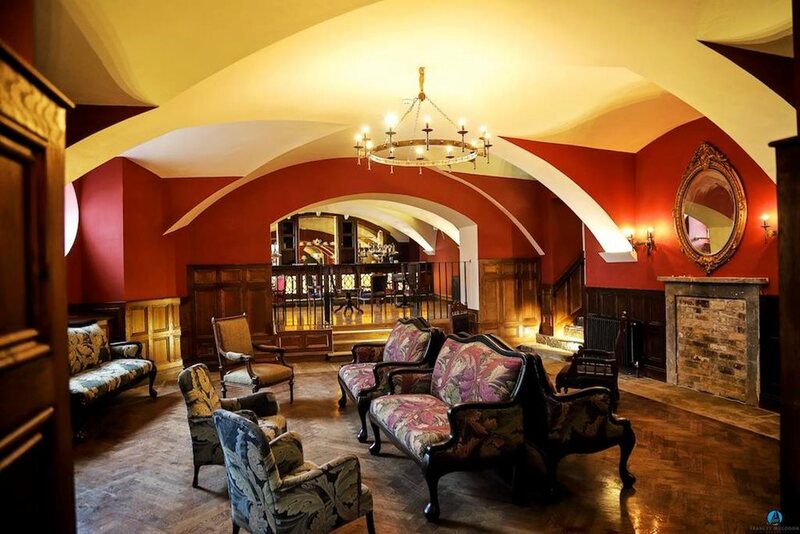 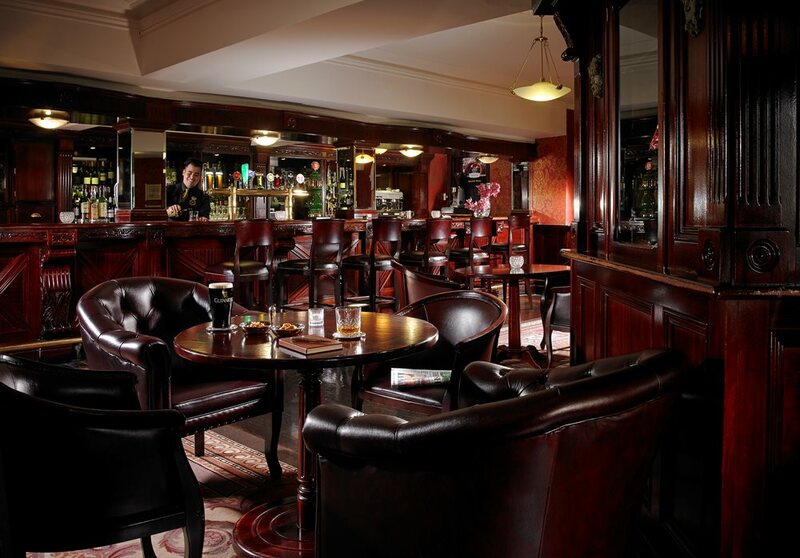 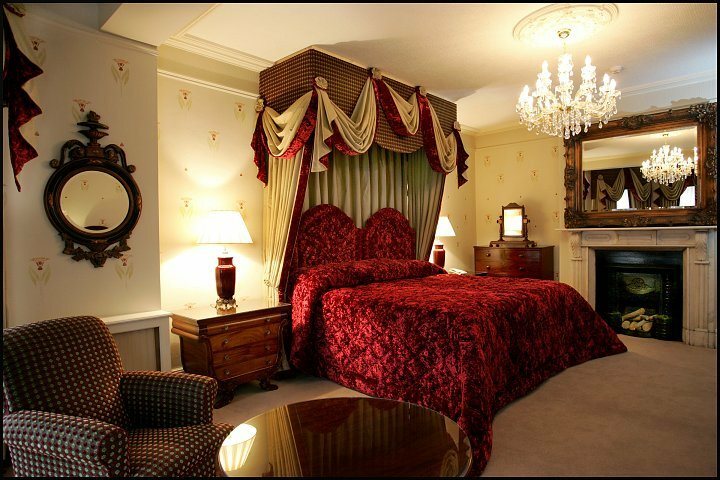 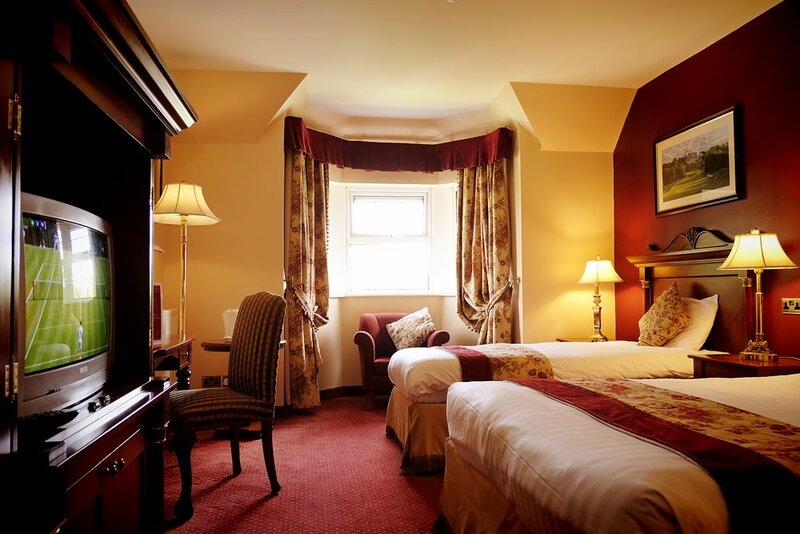 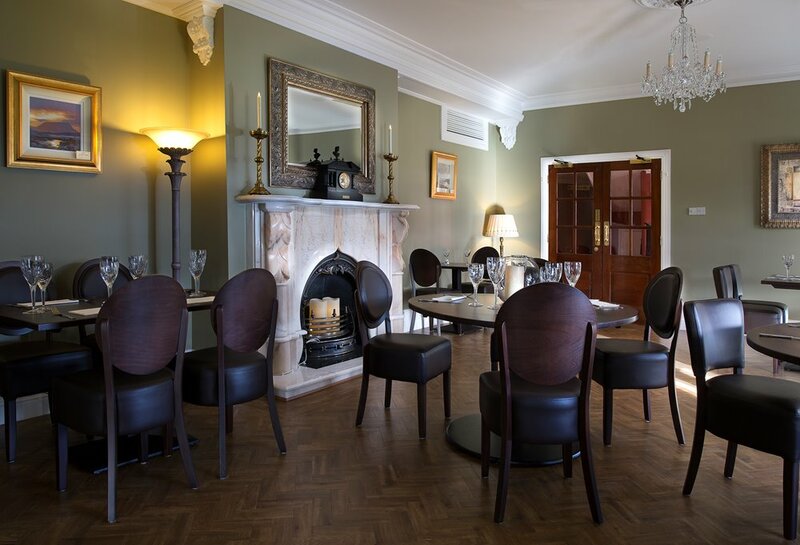 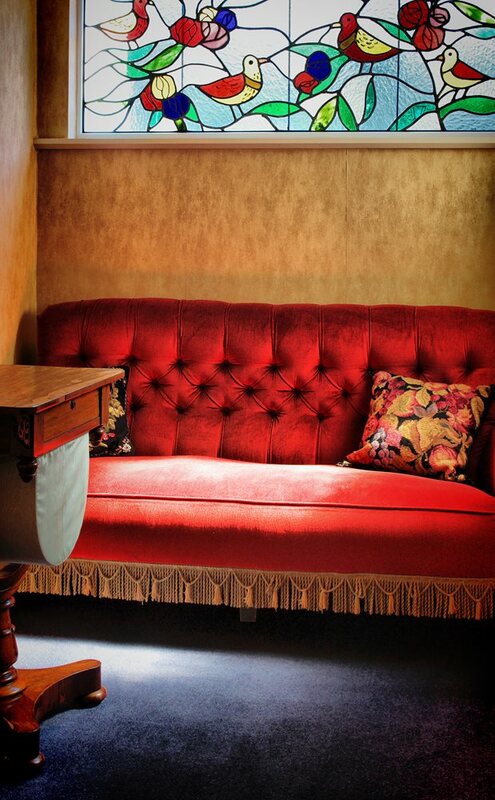 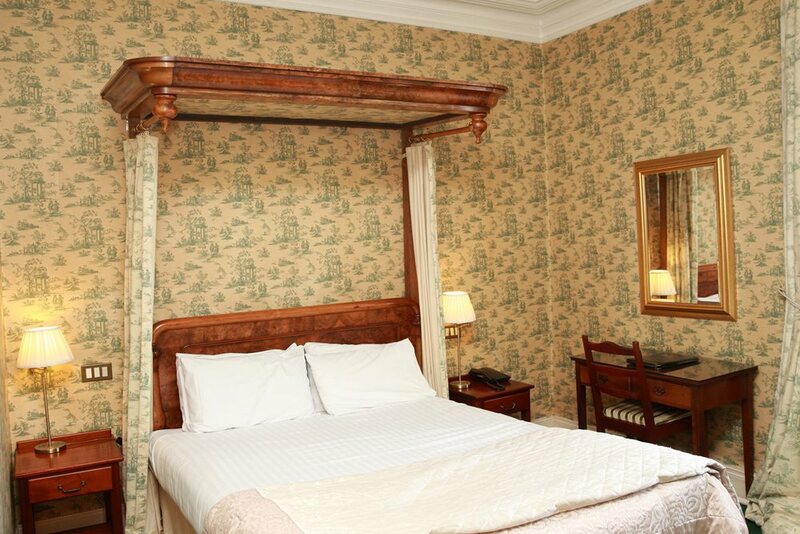 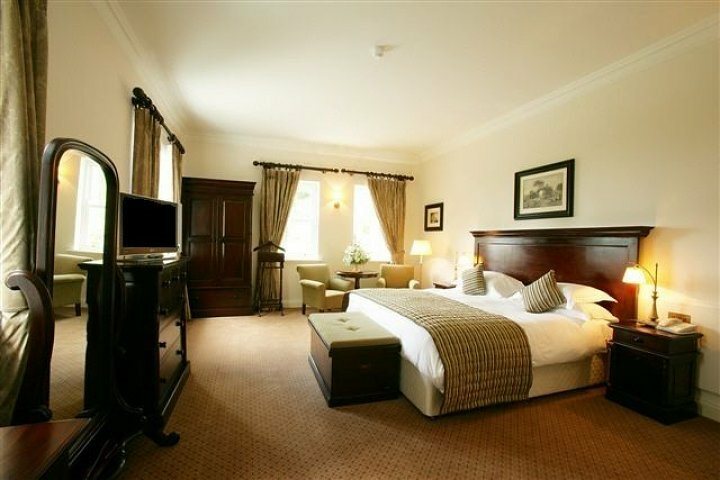 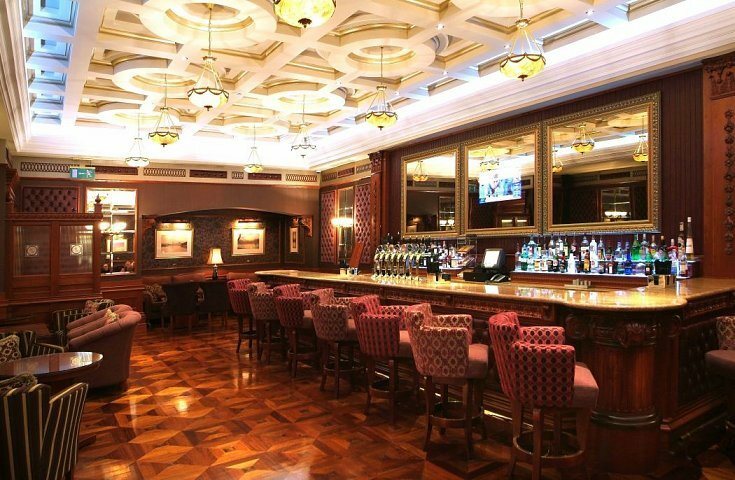 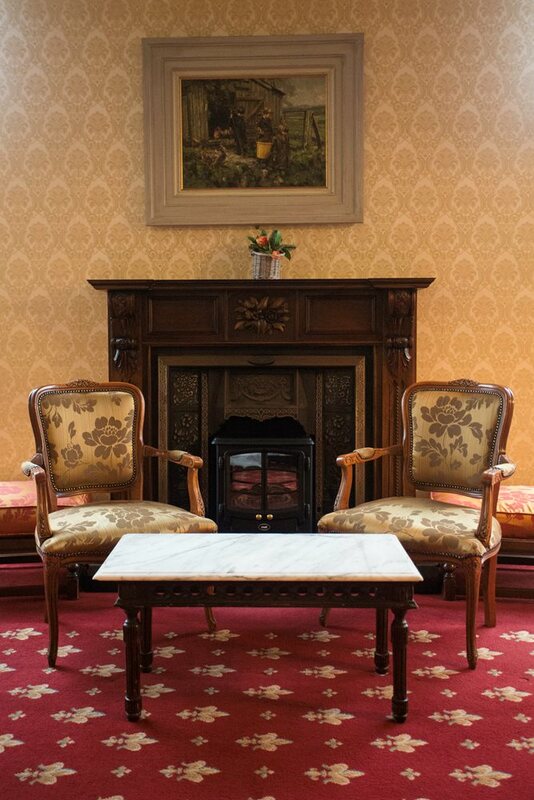 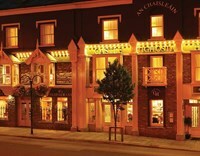 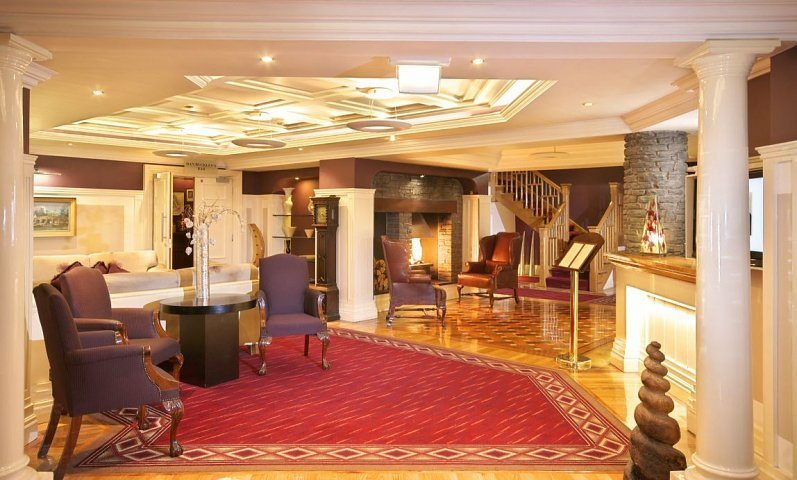 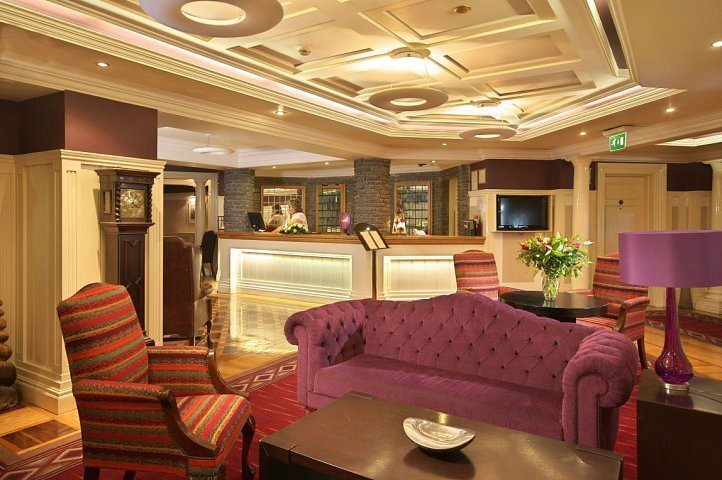 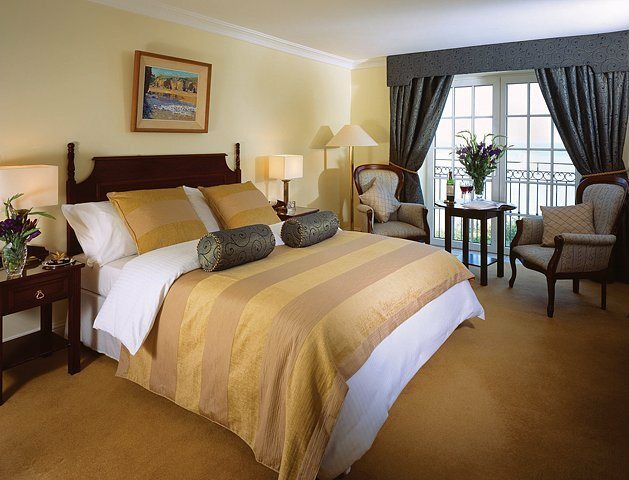 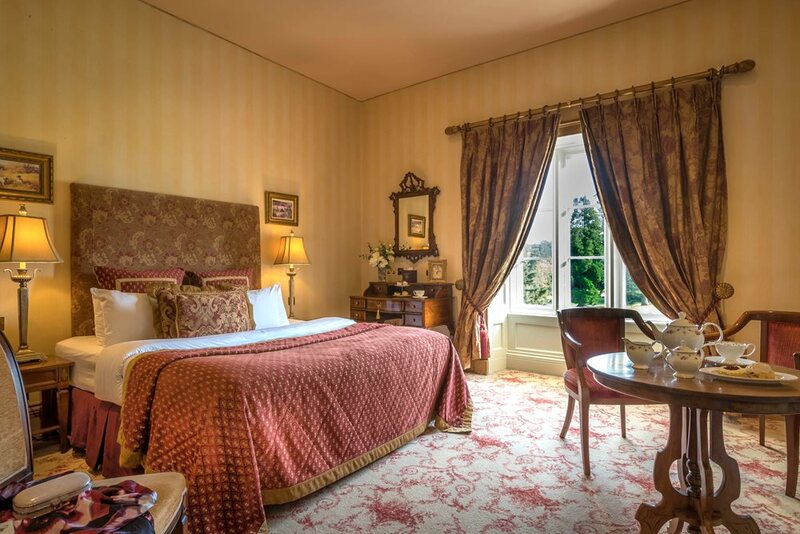 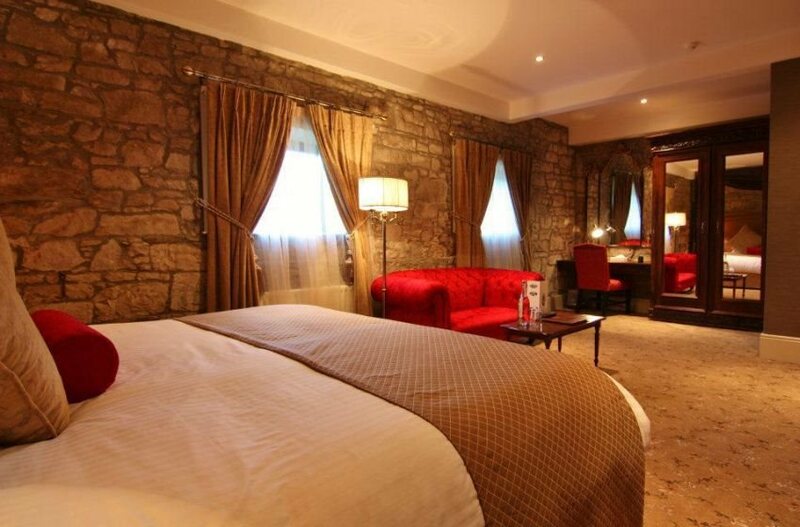 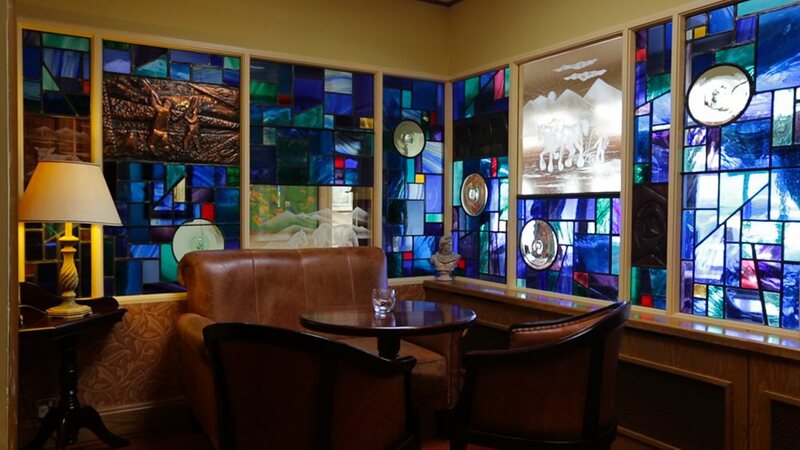 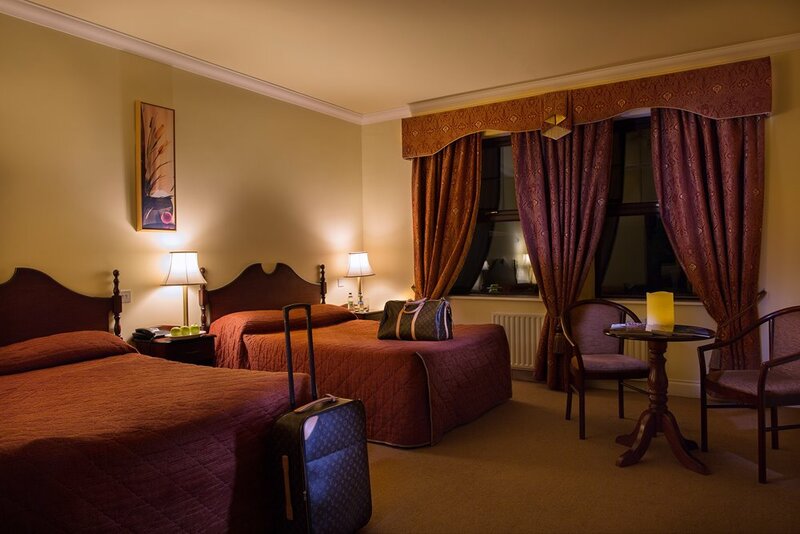 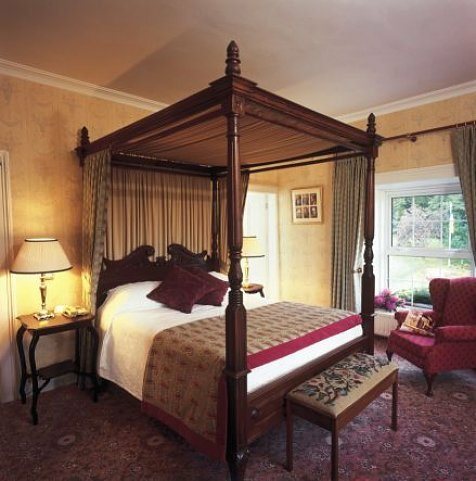 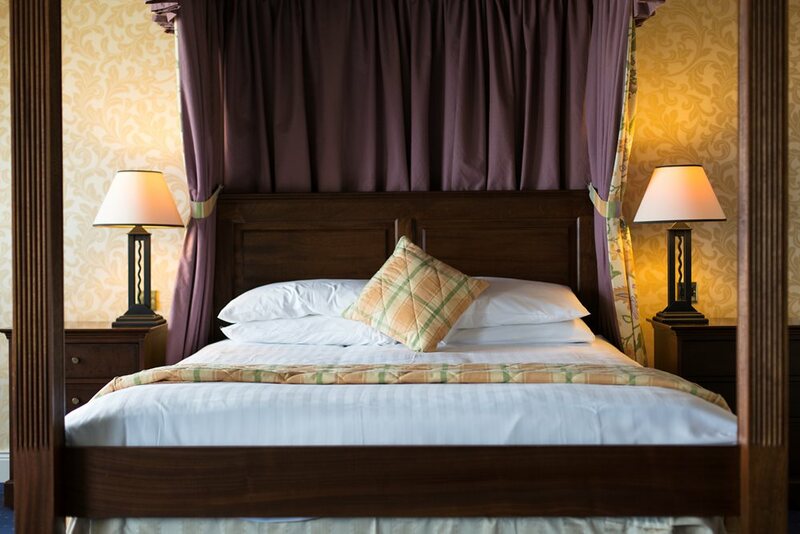 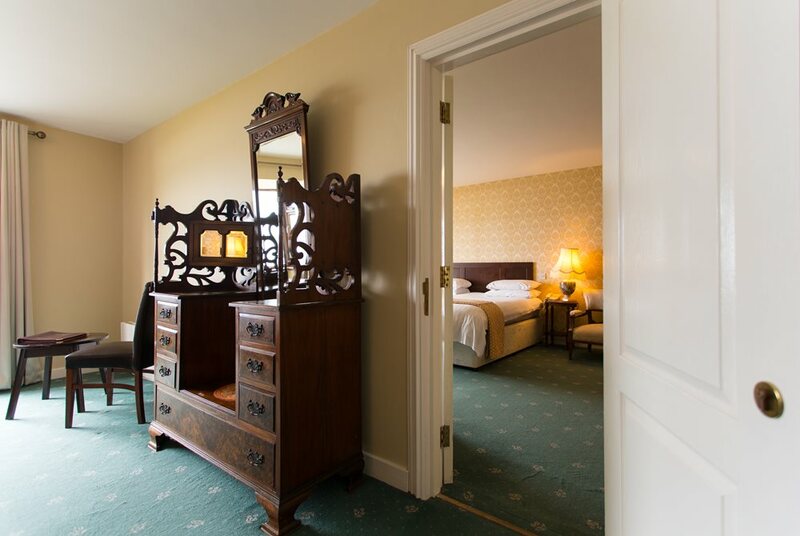 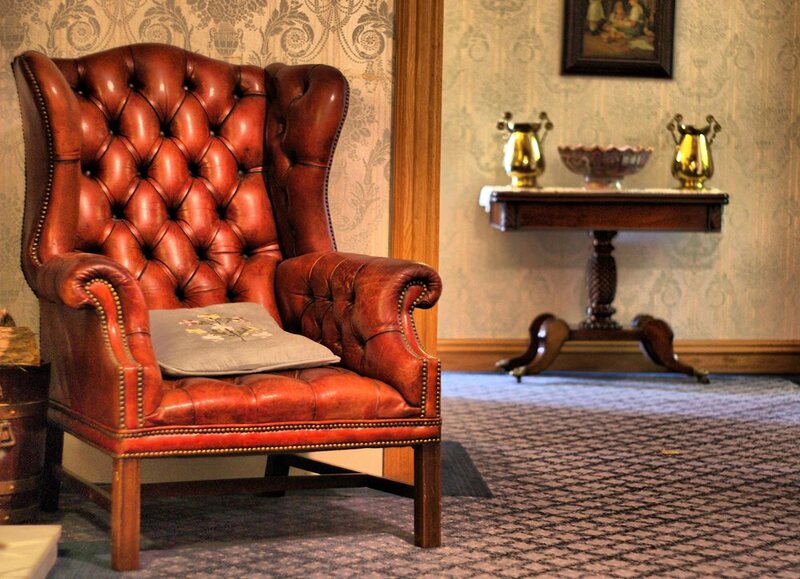 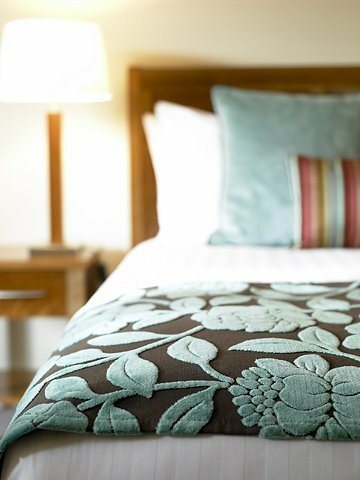 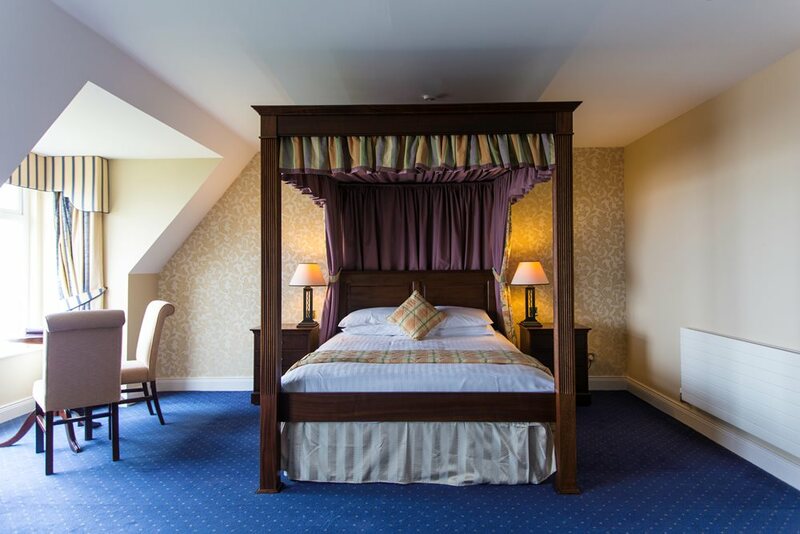 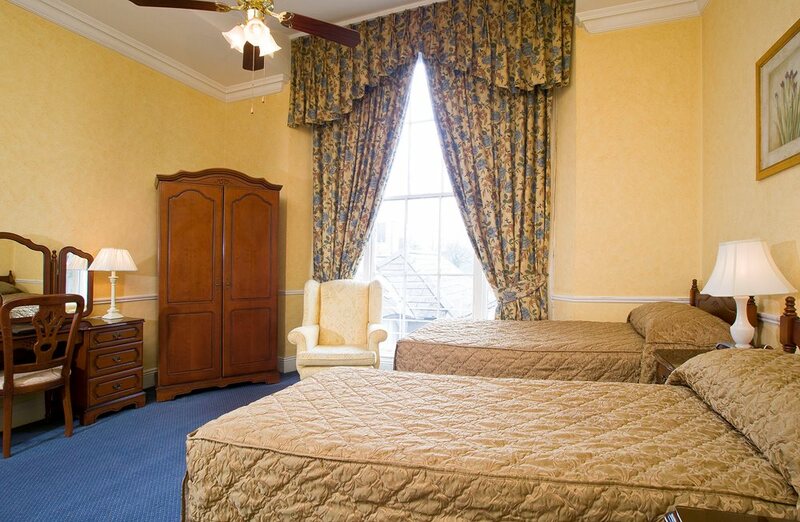 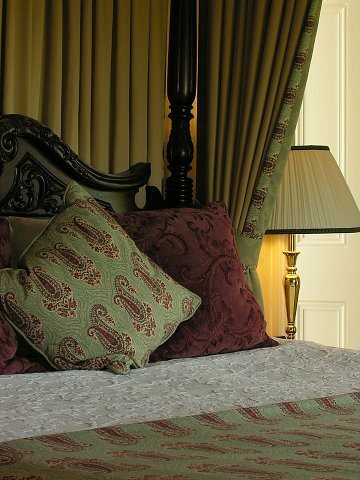 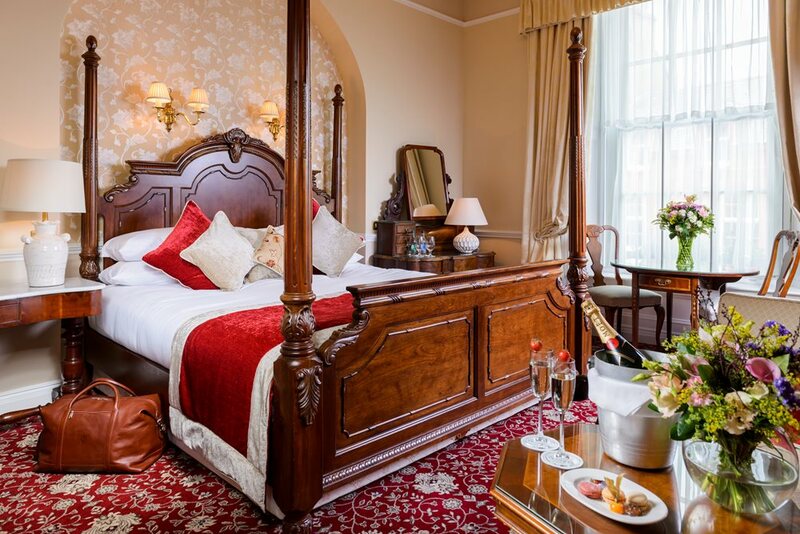 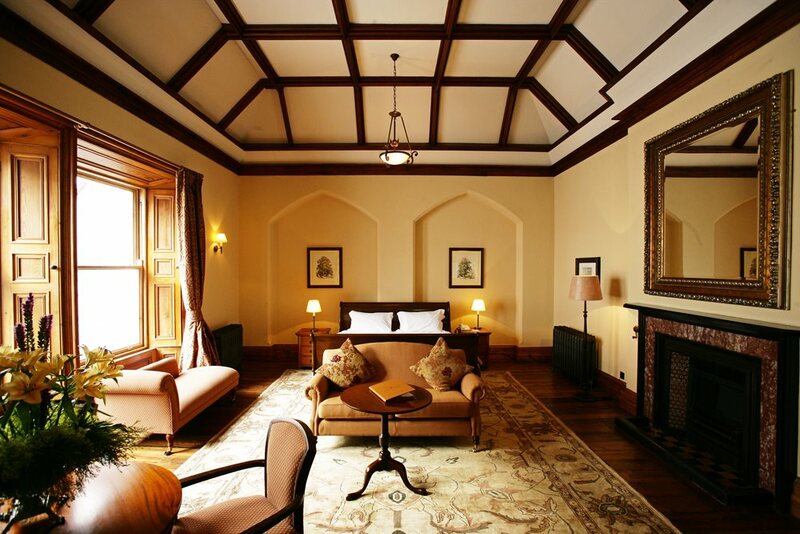 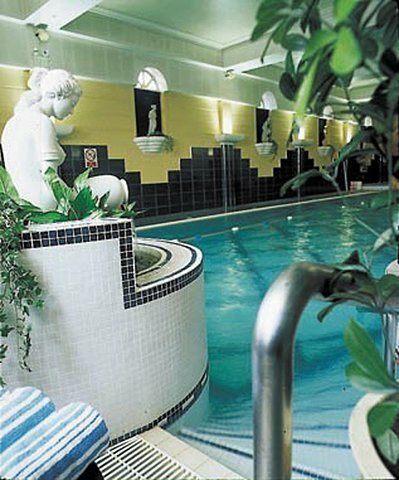 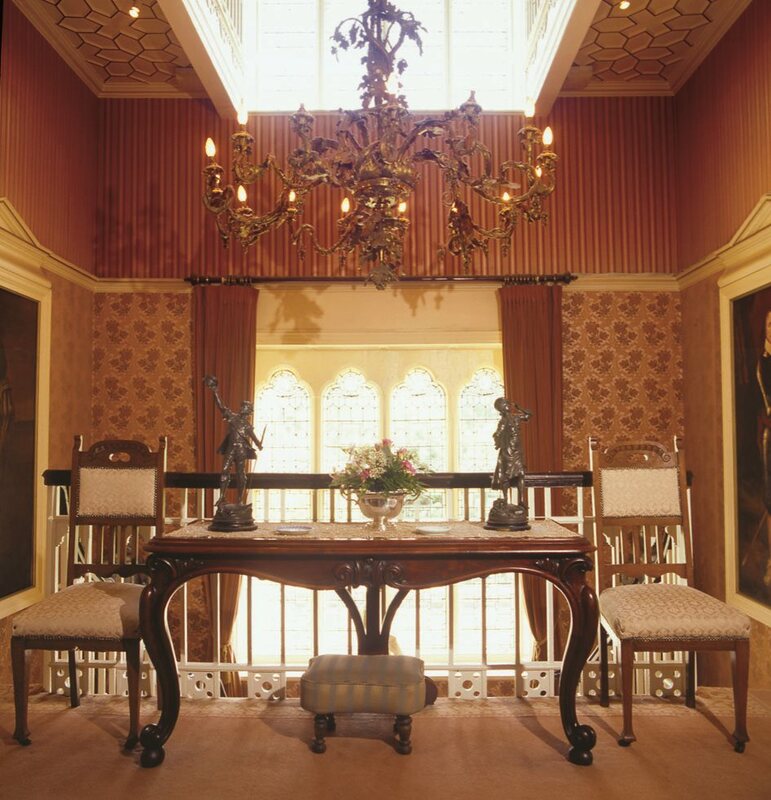 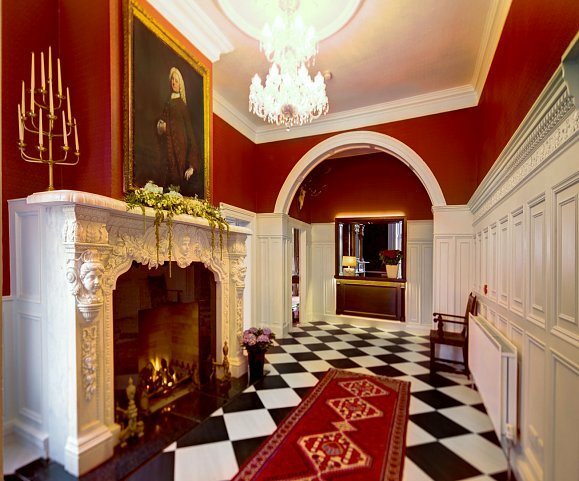 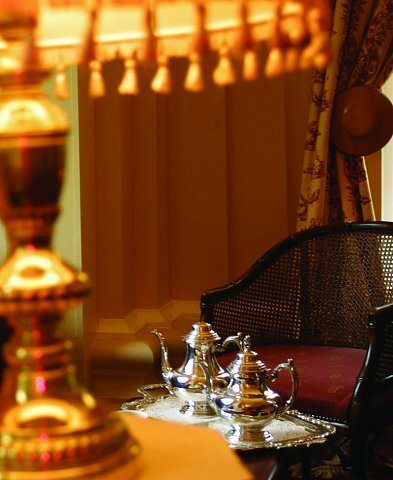 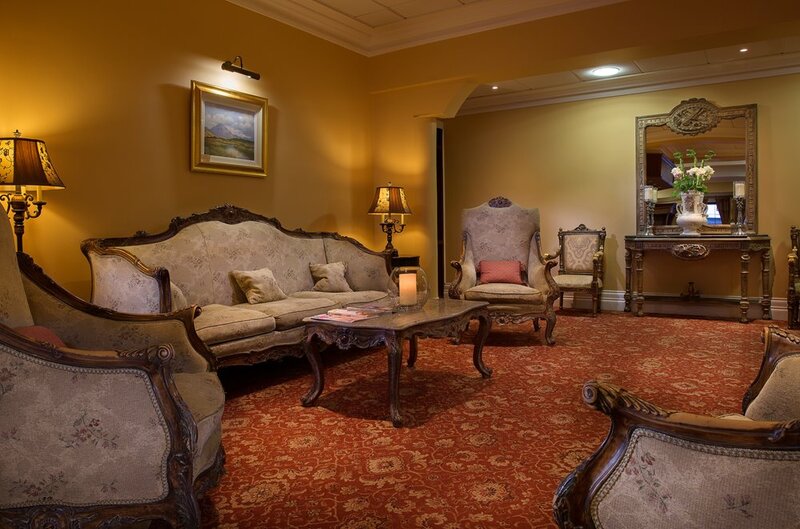 An authentic Irish Castle Hotel, steeped in history and splendour, located in Tralee. 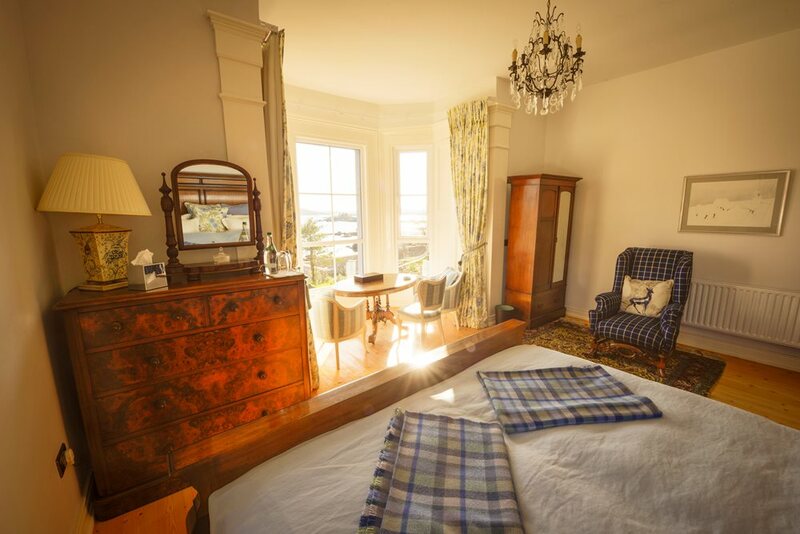 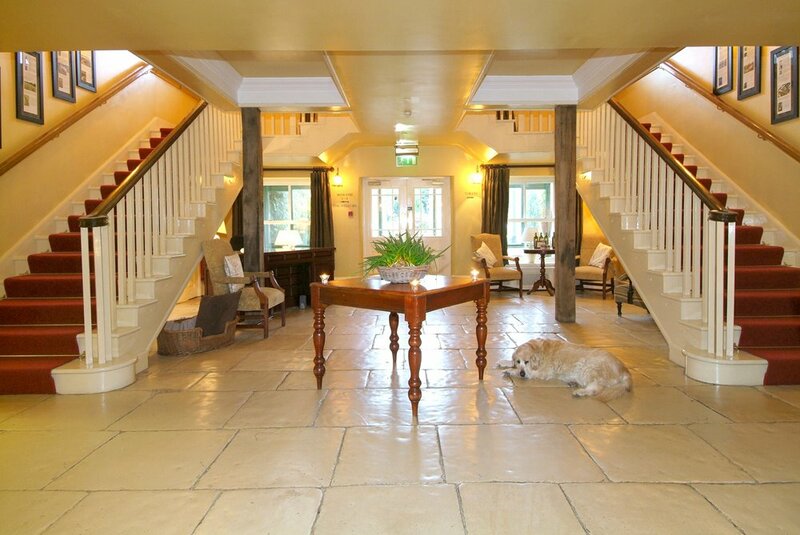 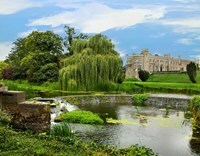 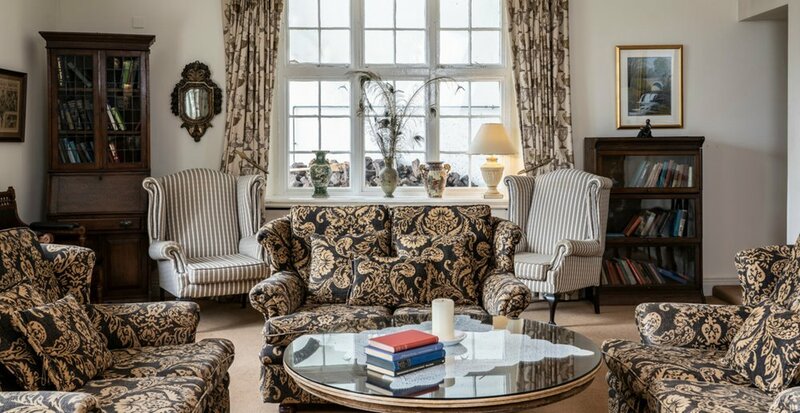 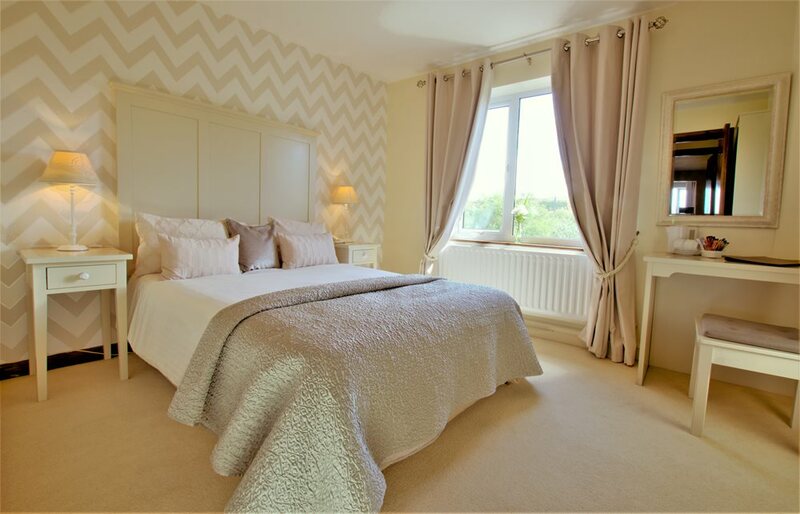 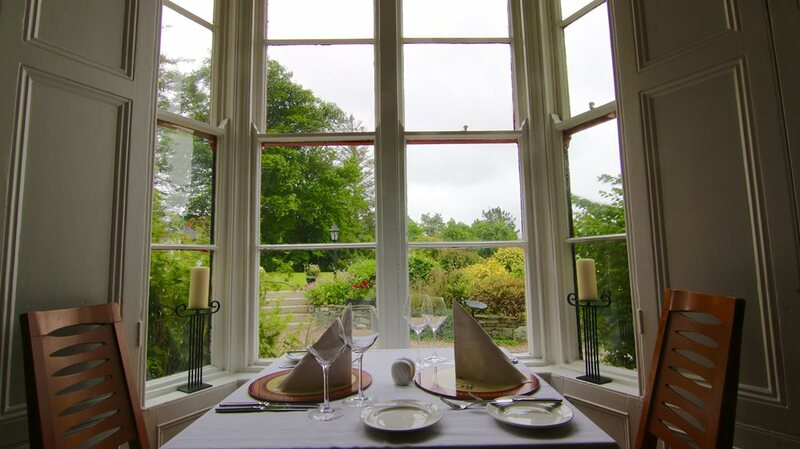 An elegant manor house, offering stunning views over miles of coastline, a perfect retreat from a busy world. 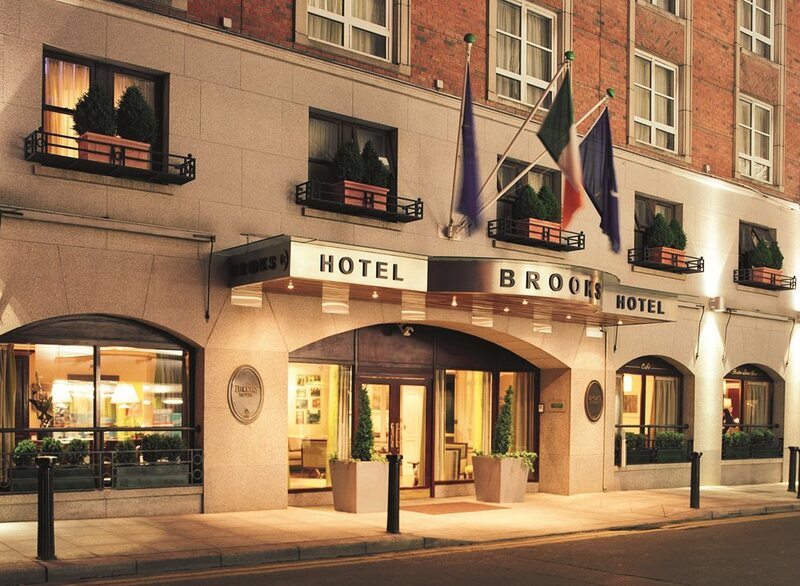 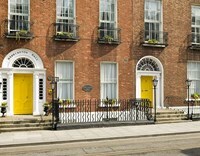 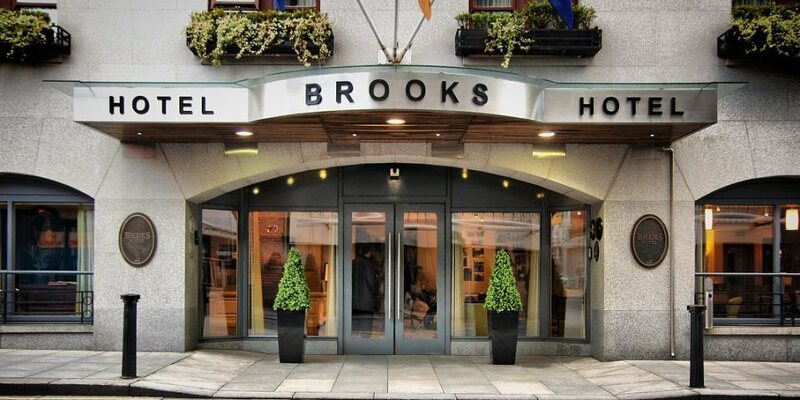 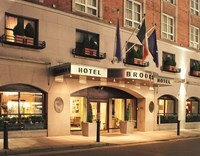 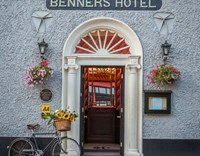 A unique 4-star boutique hotel located in the centre of Dublin, just two minutes’ walk from its beating heart in Grafton Street and St Stephen’s Green, Brooks Hotel oozes charm and personality. 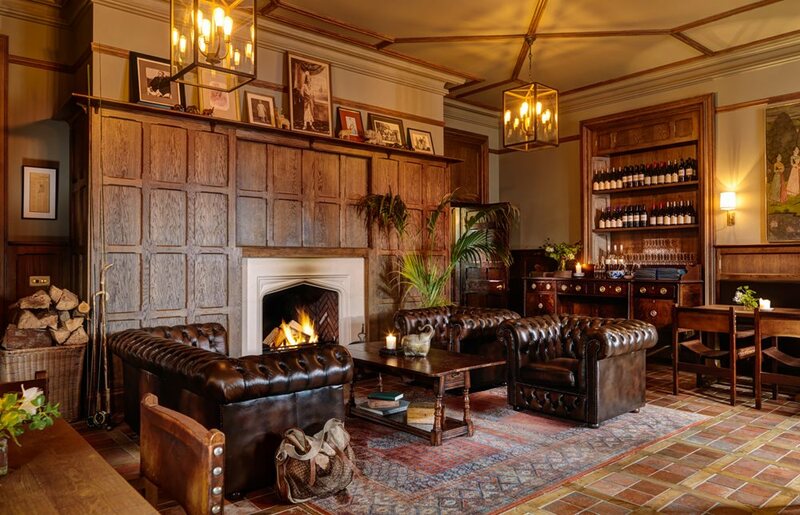 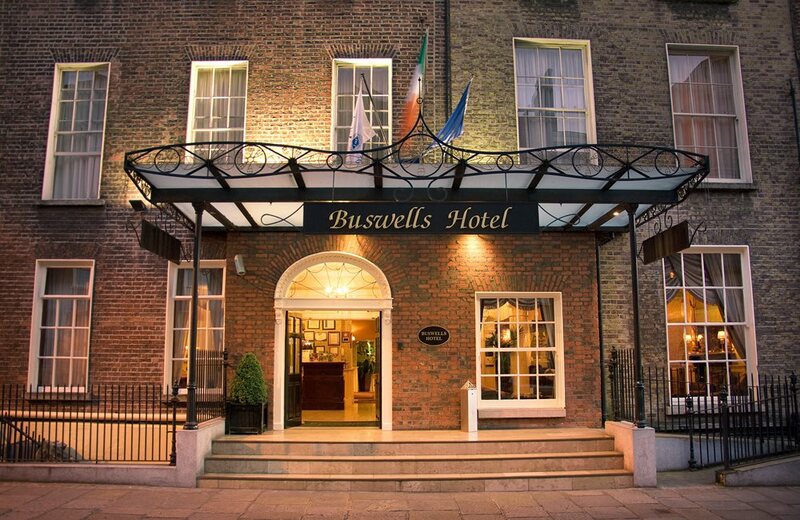 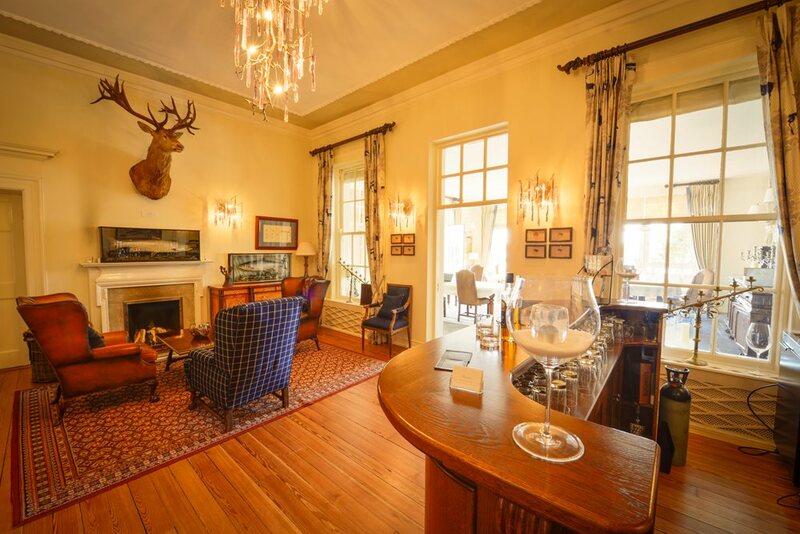 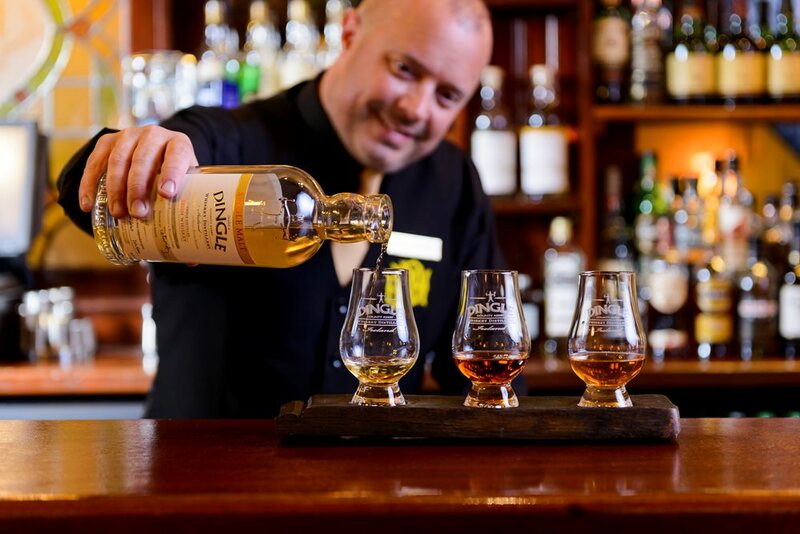 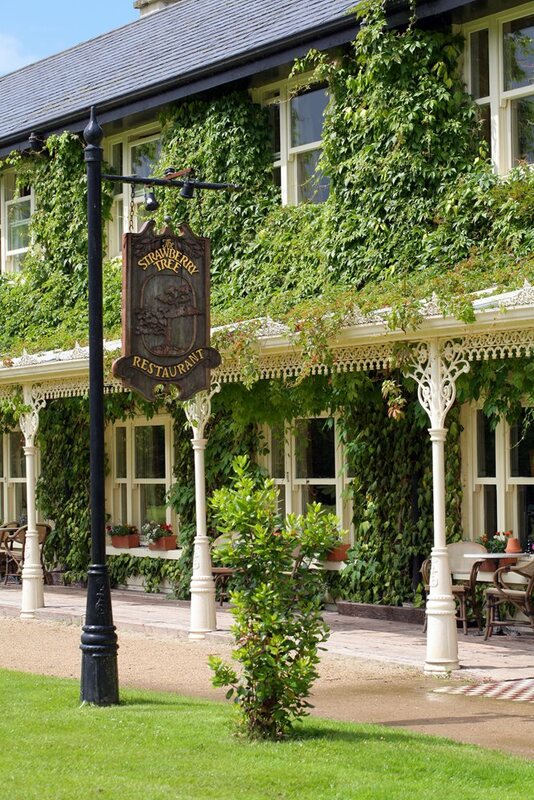 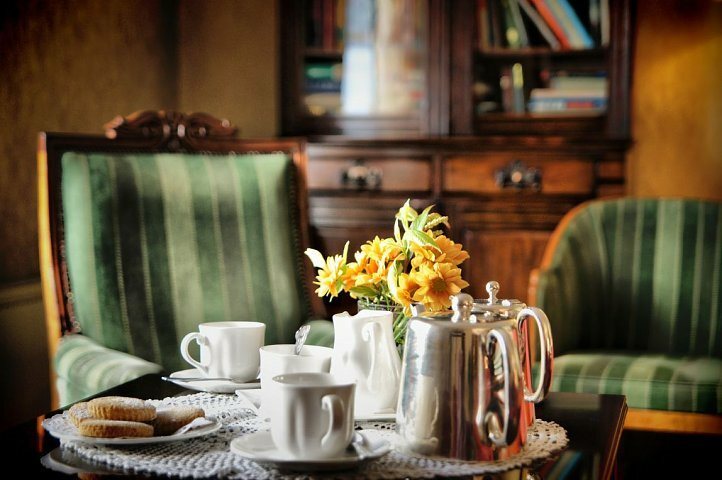 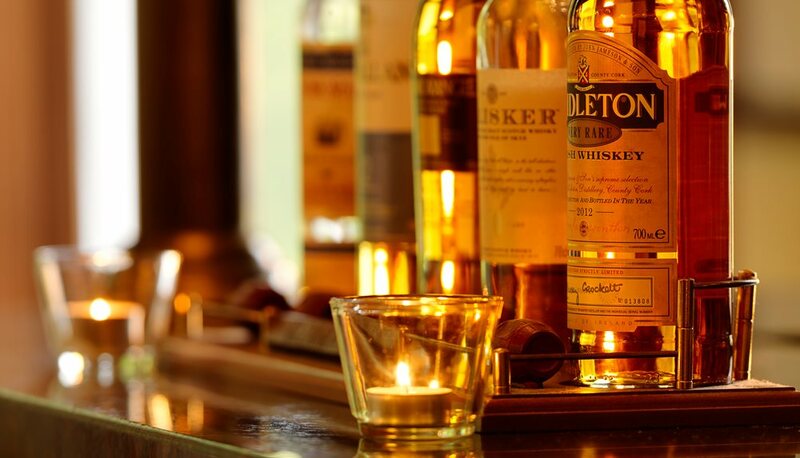 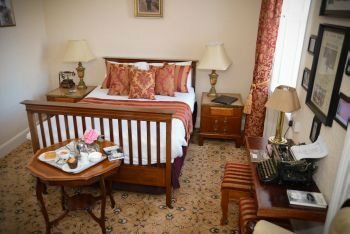 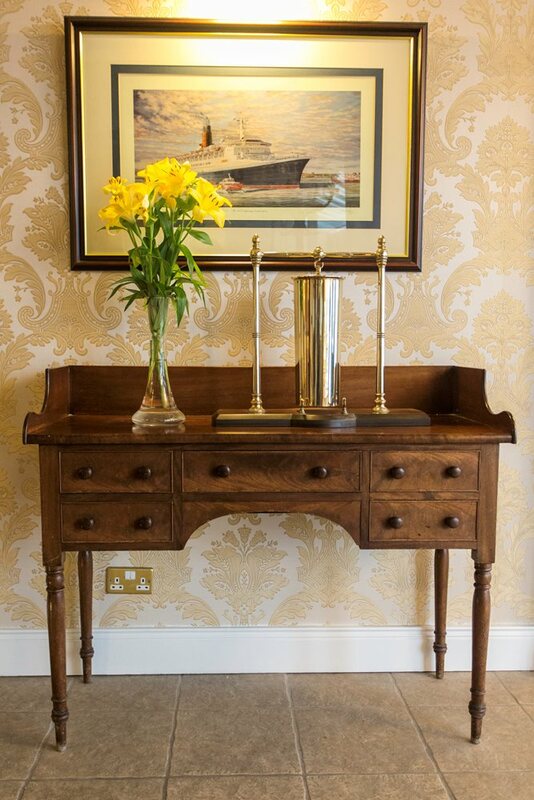 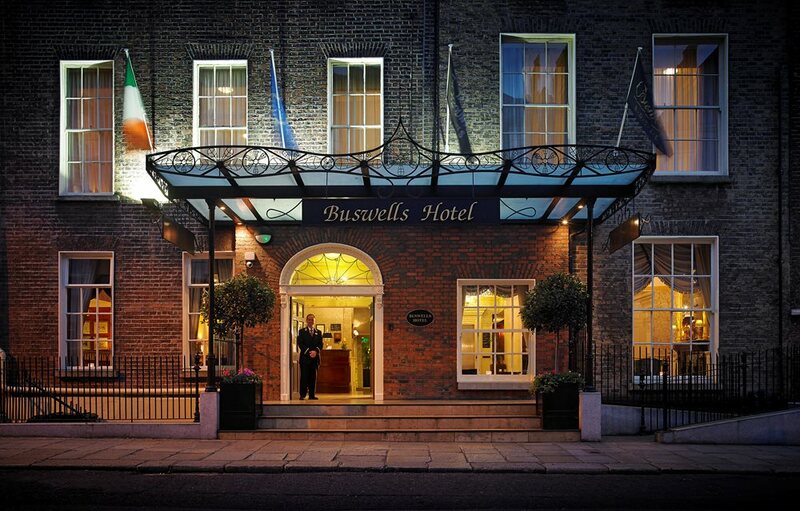 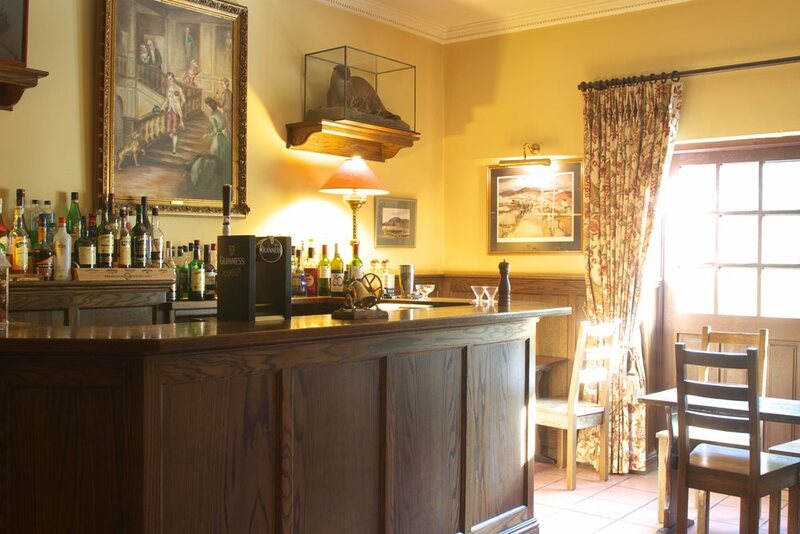 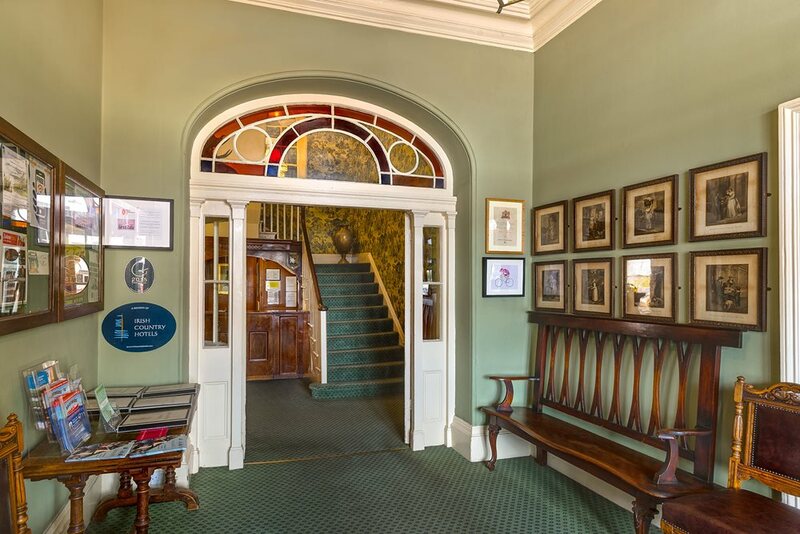 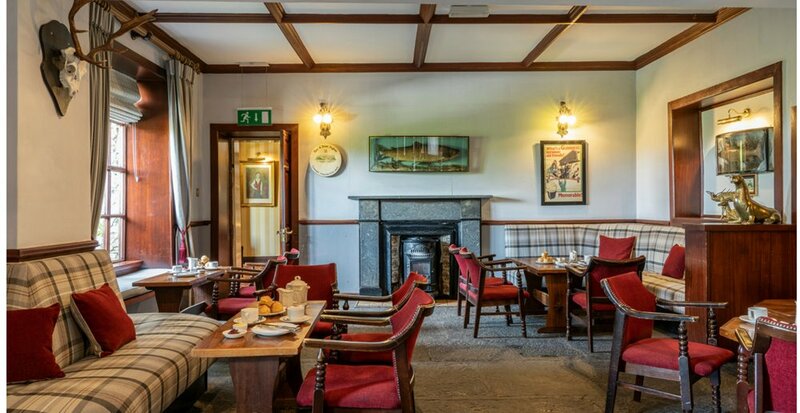 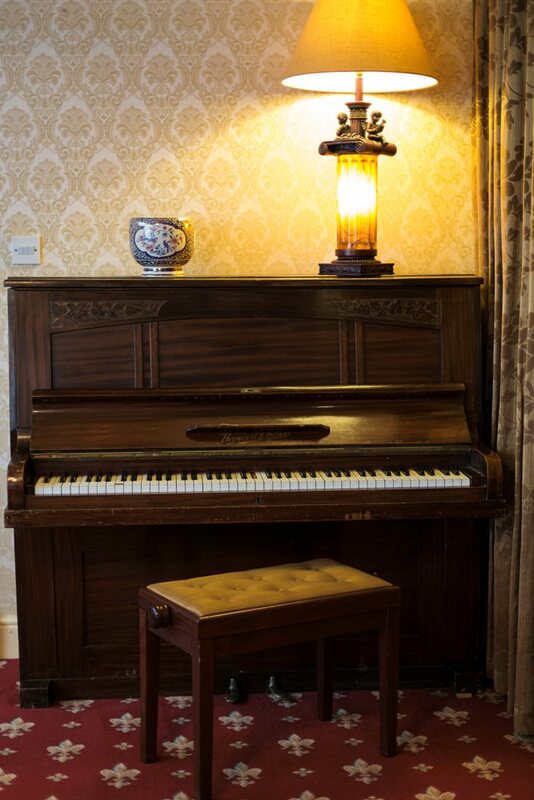 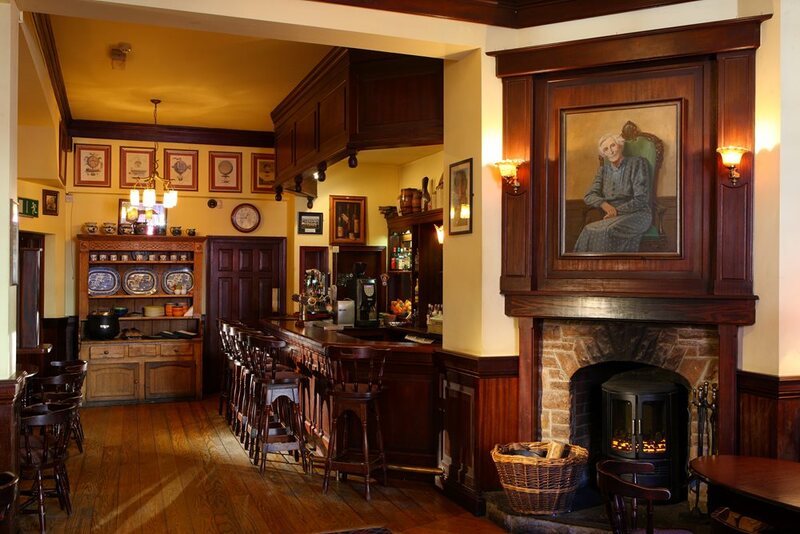 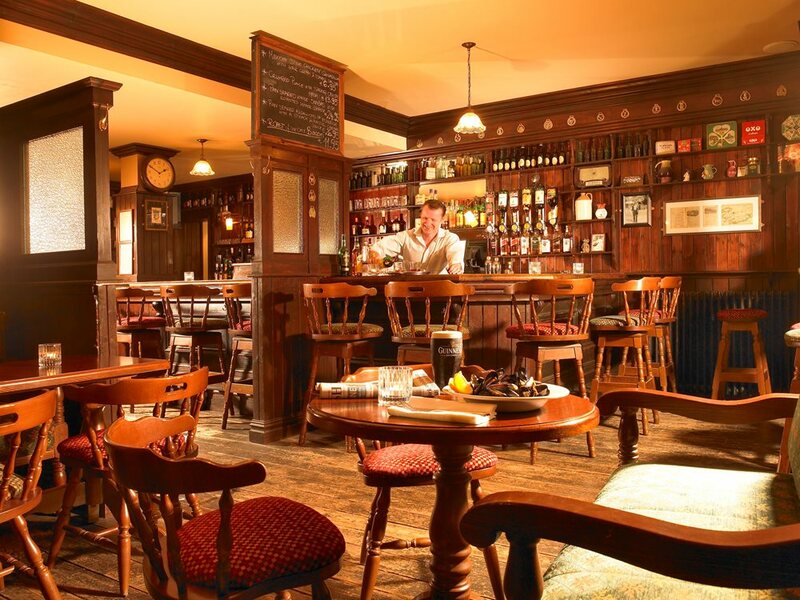 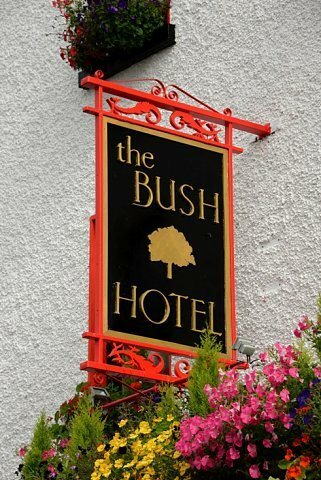 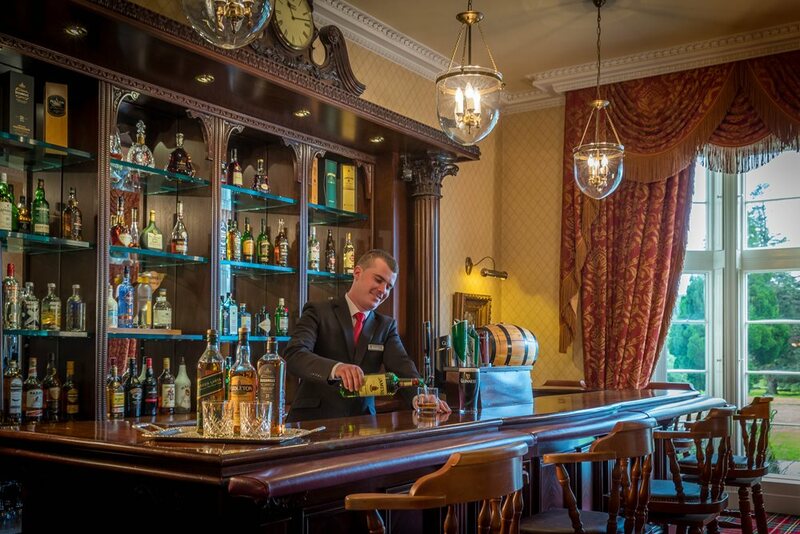 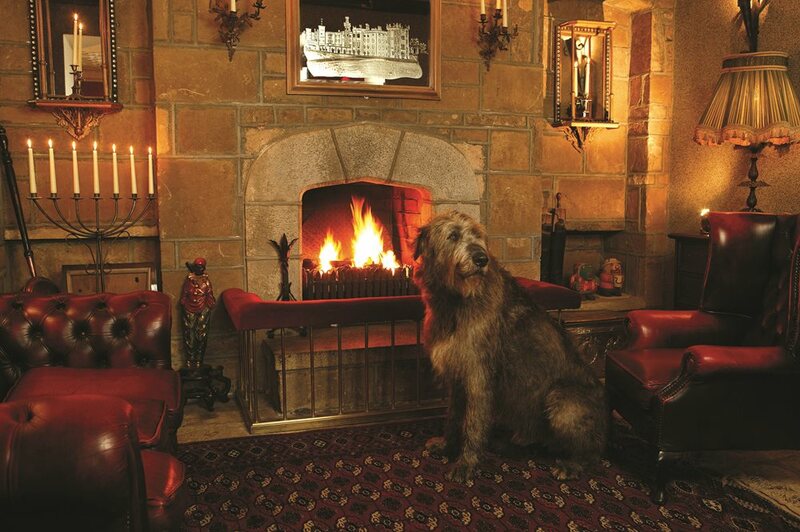 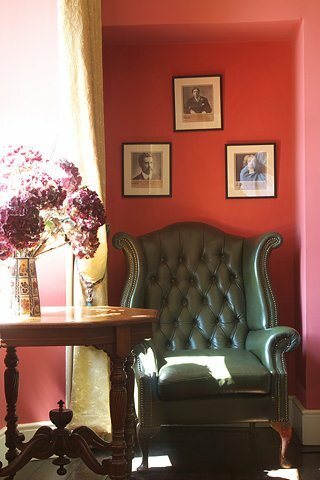 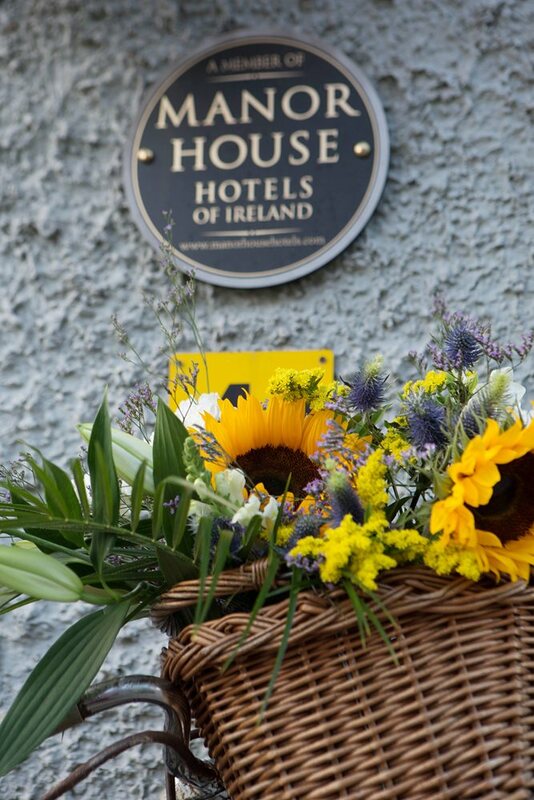 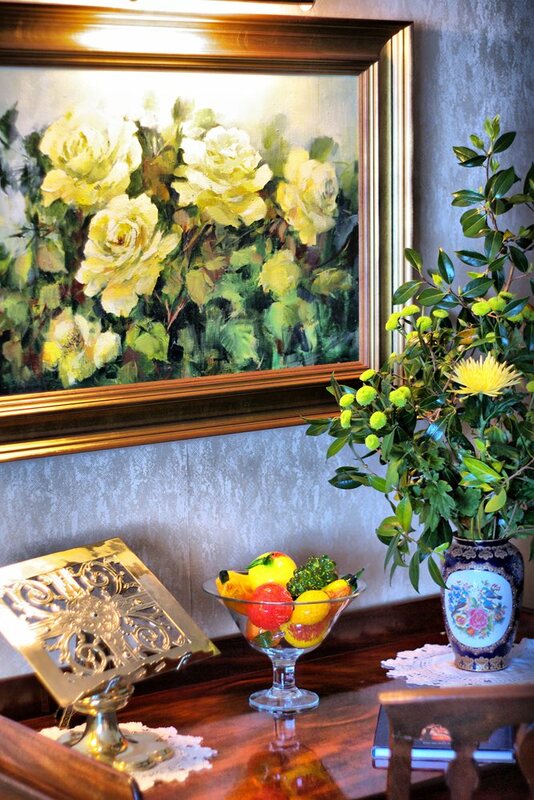 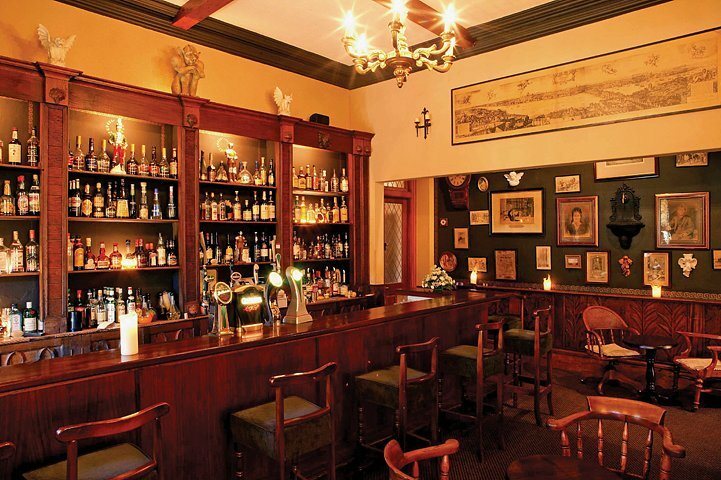 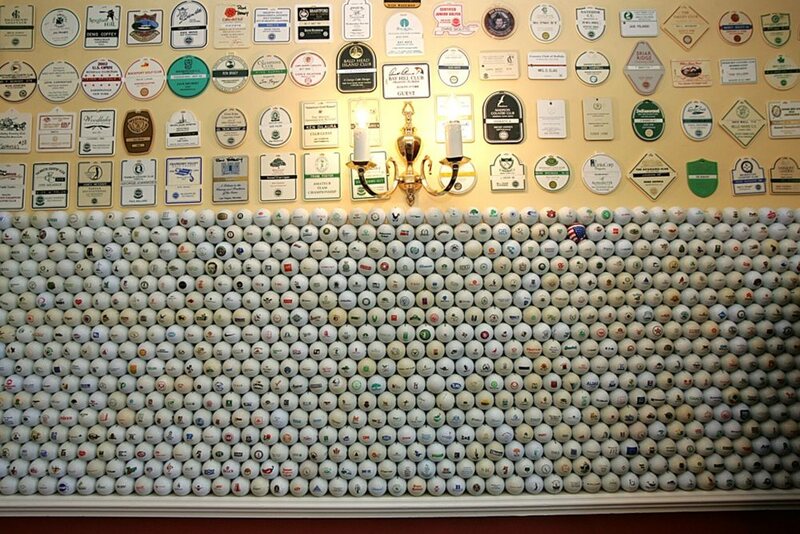 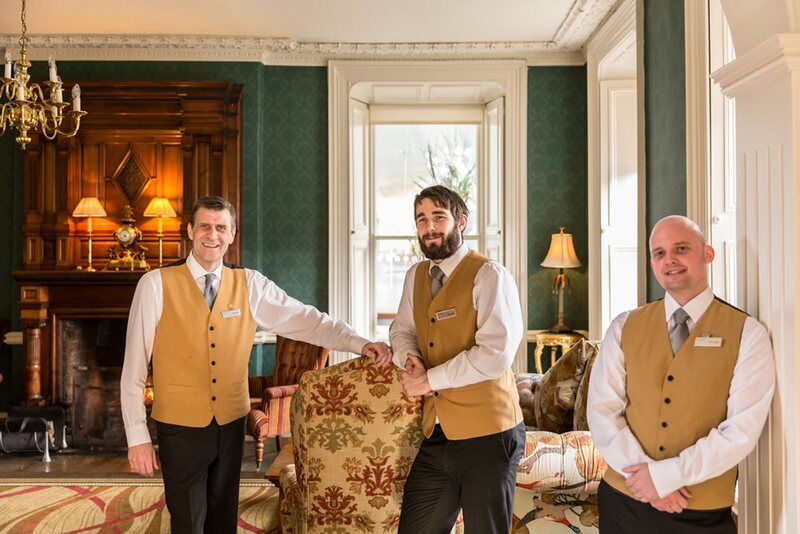 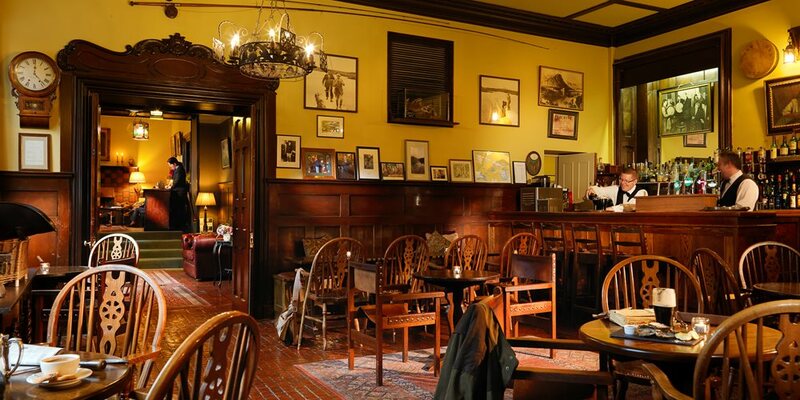 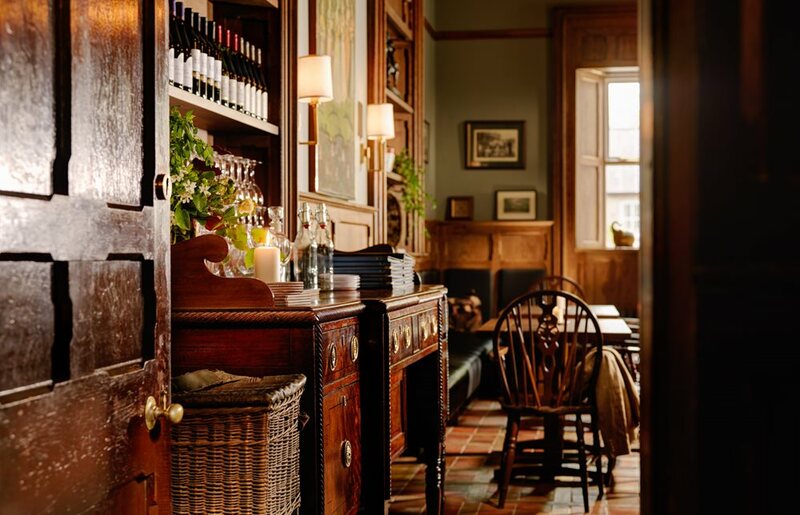 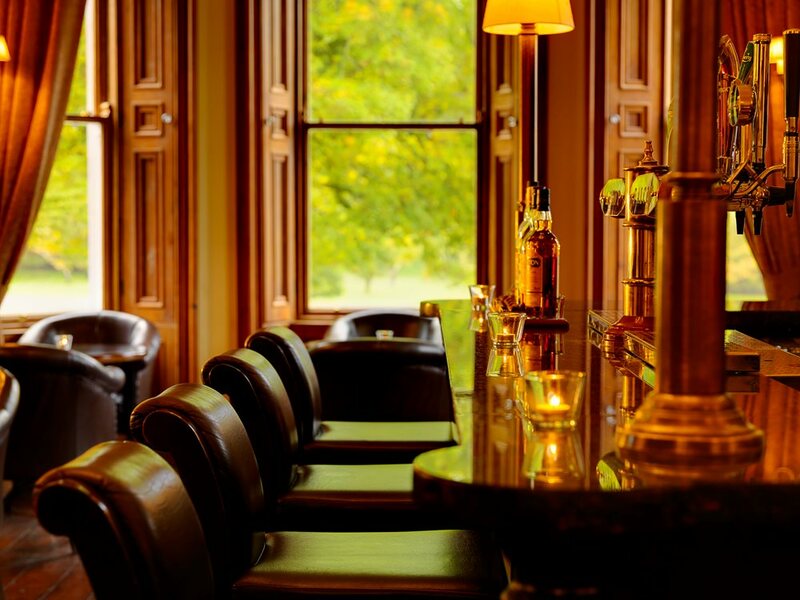 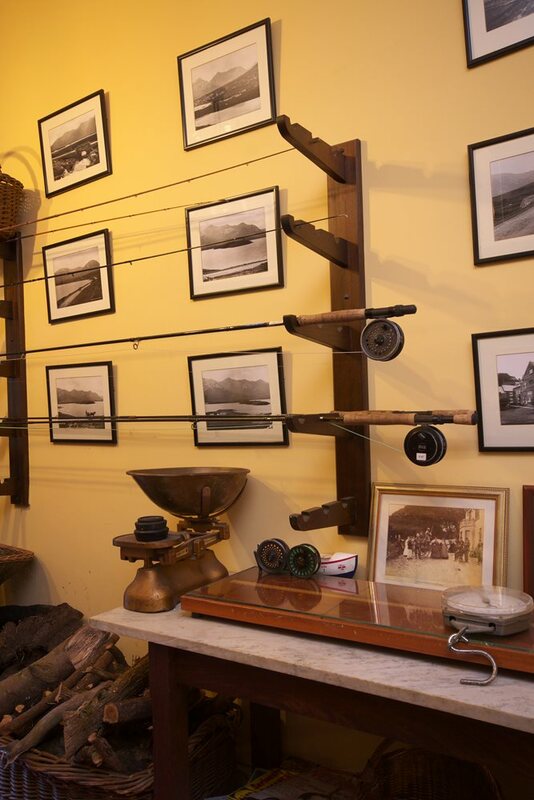 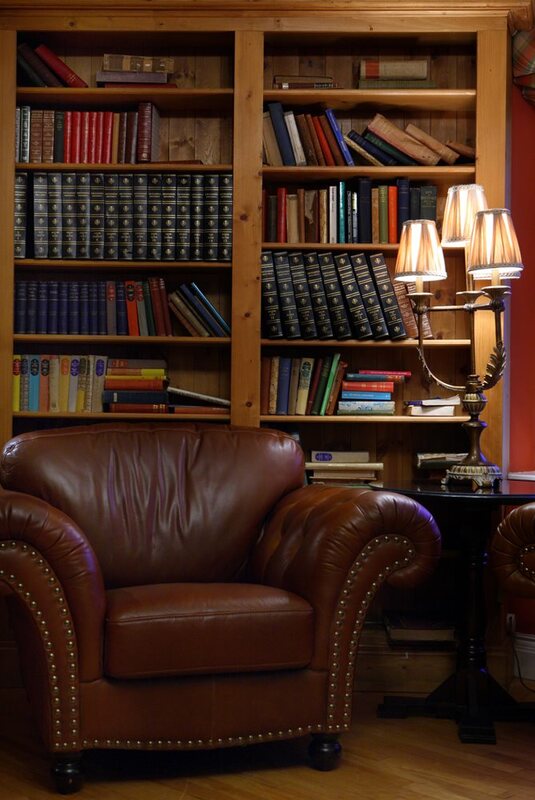 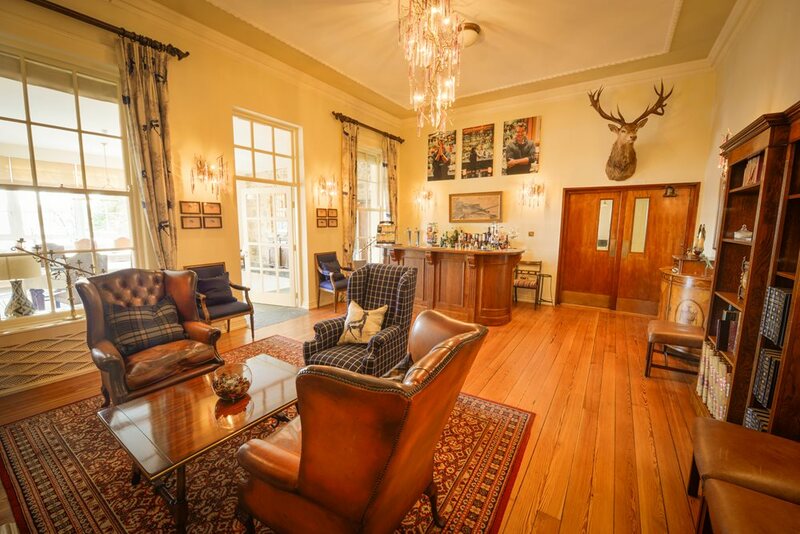 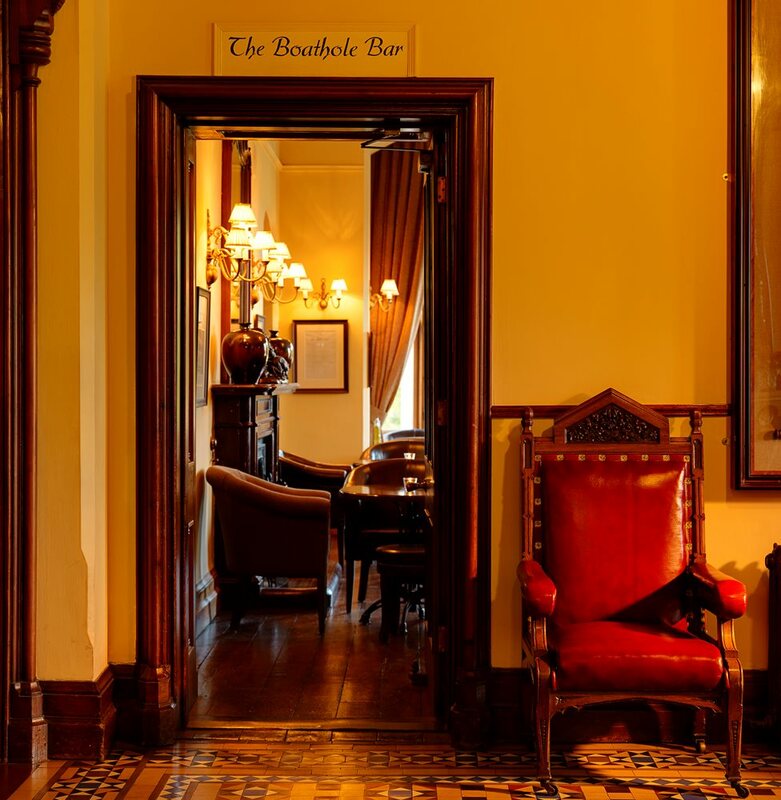 Welcome to the Bush Hotel, one of Ireland’s oldest hotels – steeped in history, tradition, charm and character, with many memorabilia from the past. 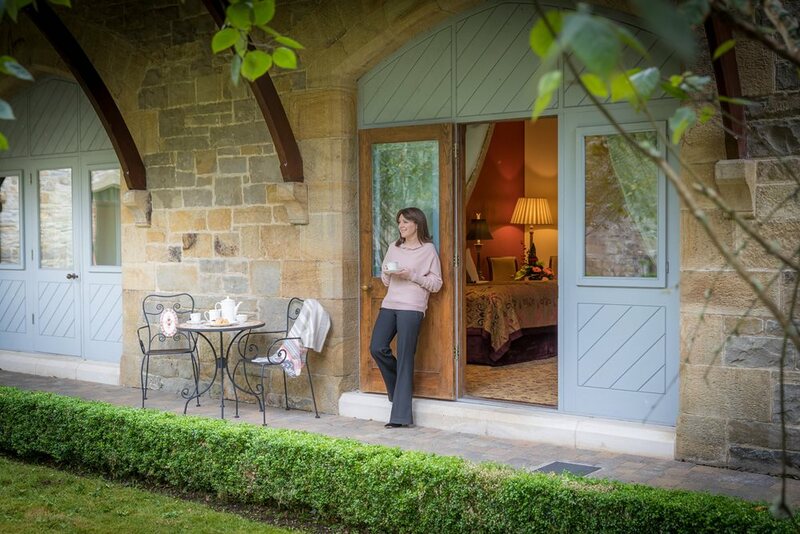 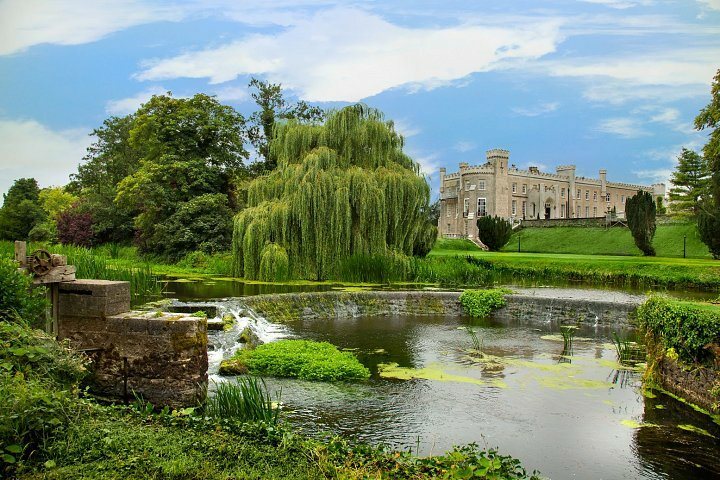 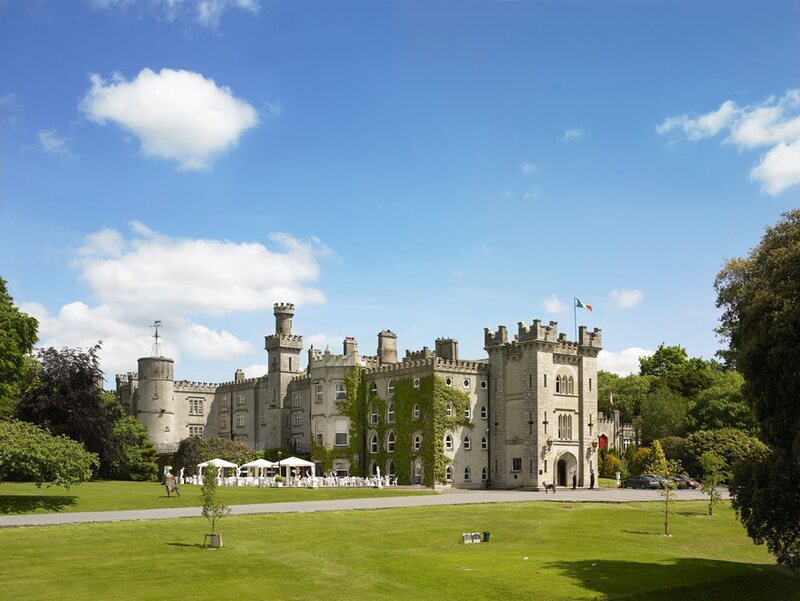 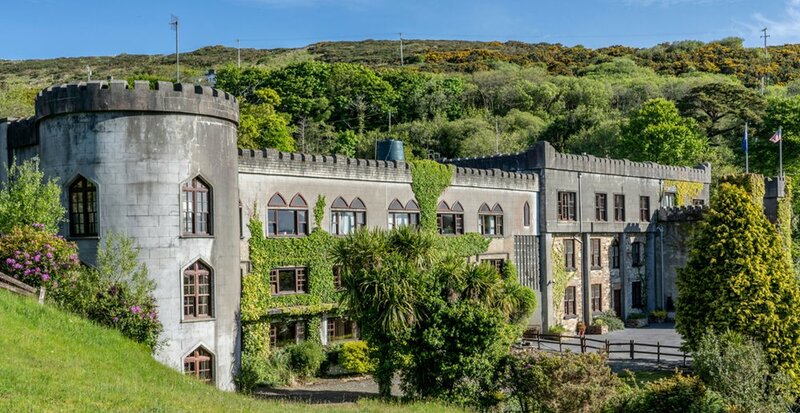 This 18th century castle enjoys spectacular views of surrounding countryside, with patios and terraces situated perfectly to enhance the majestic scenary. 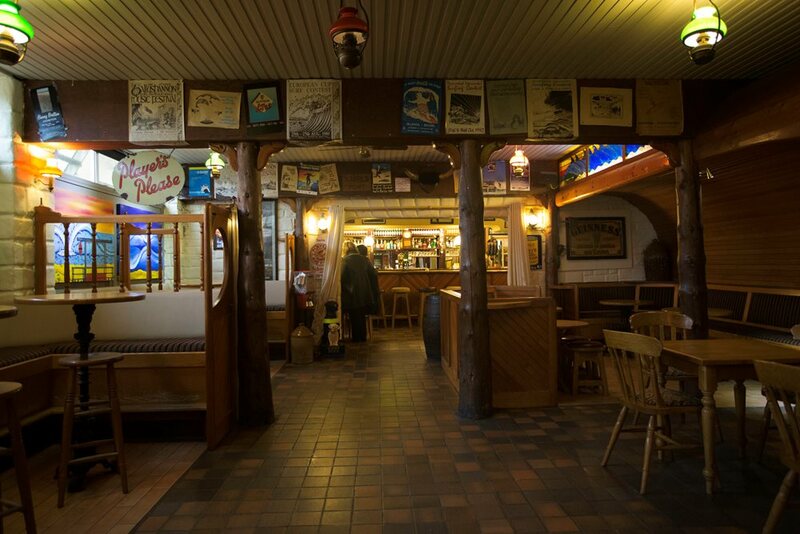 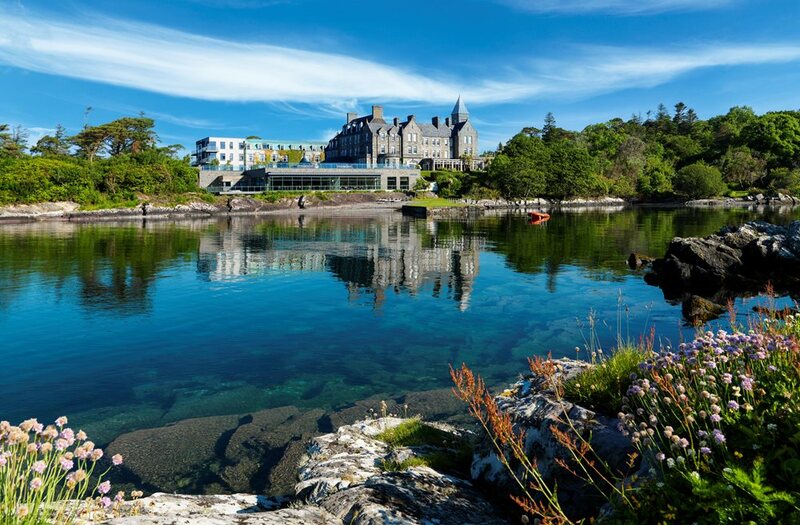 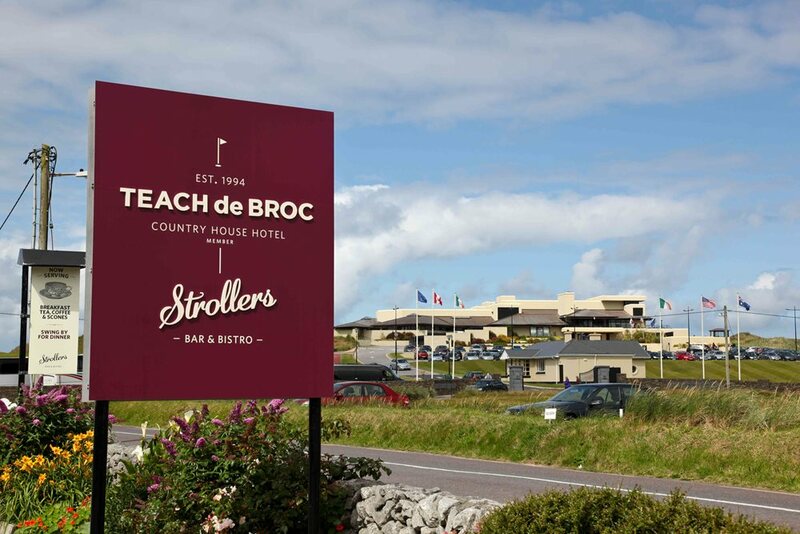 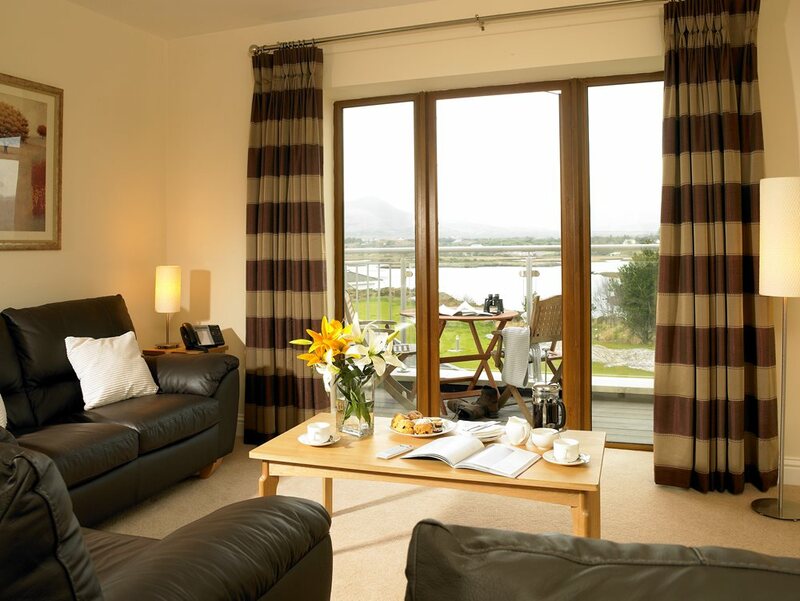 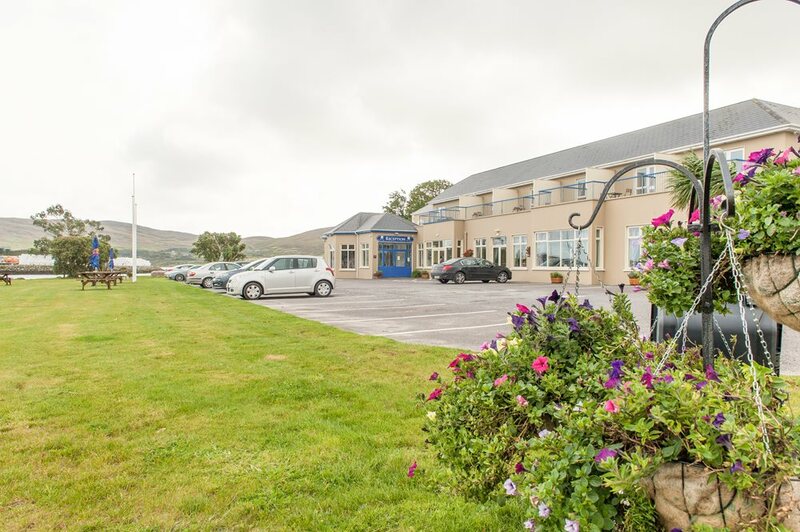 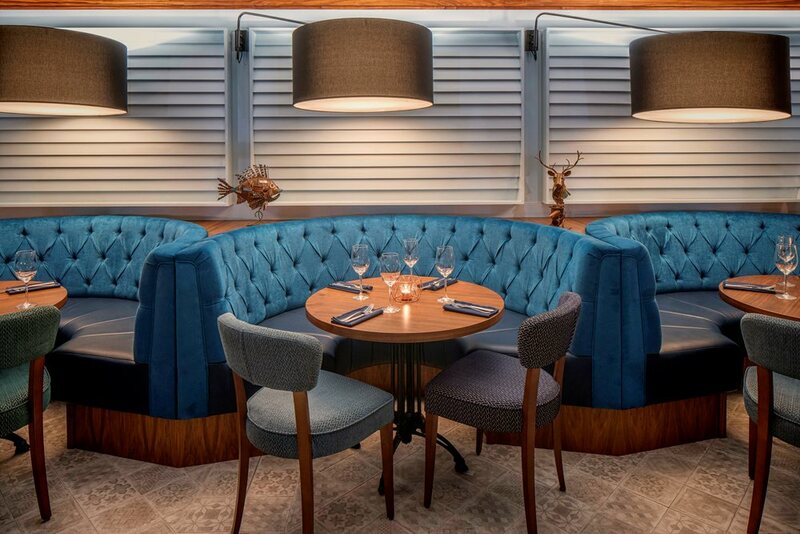 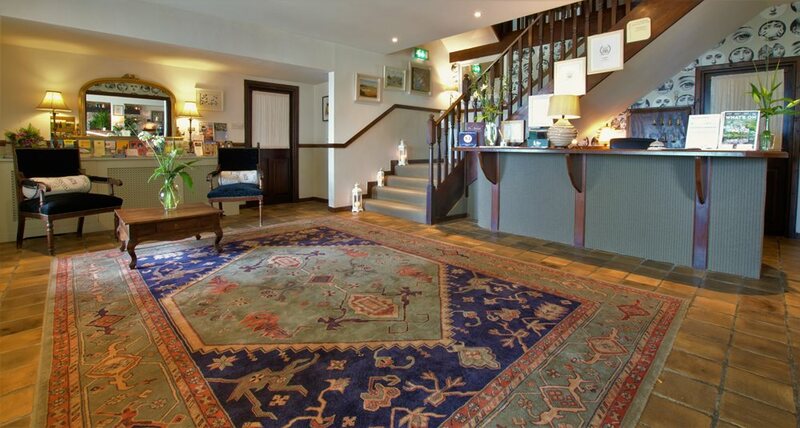 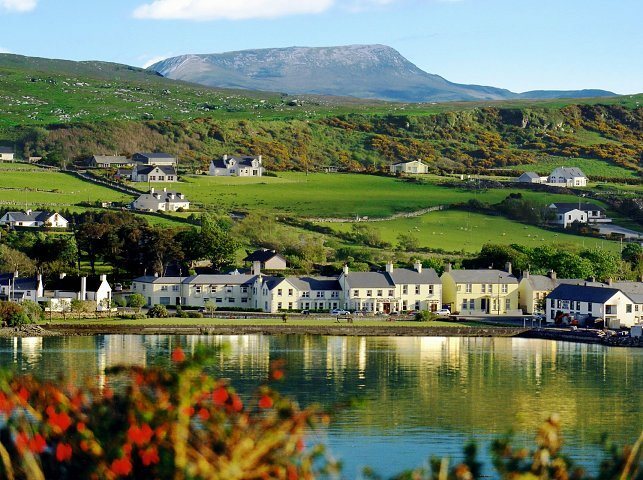 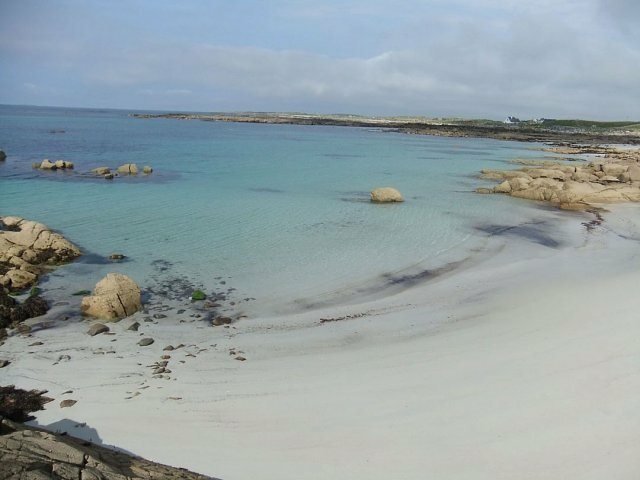 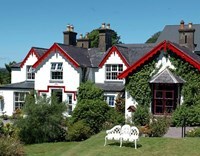 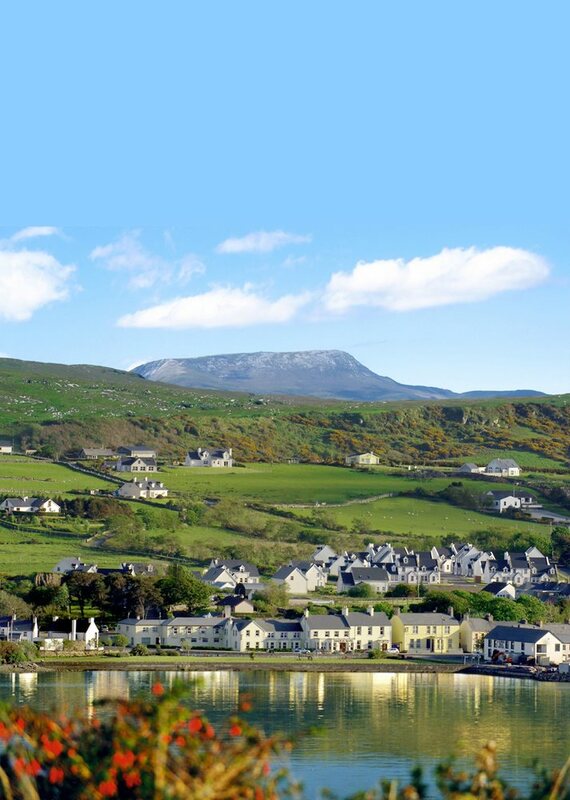 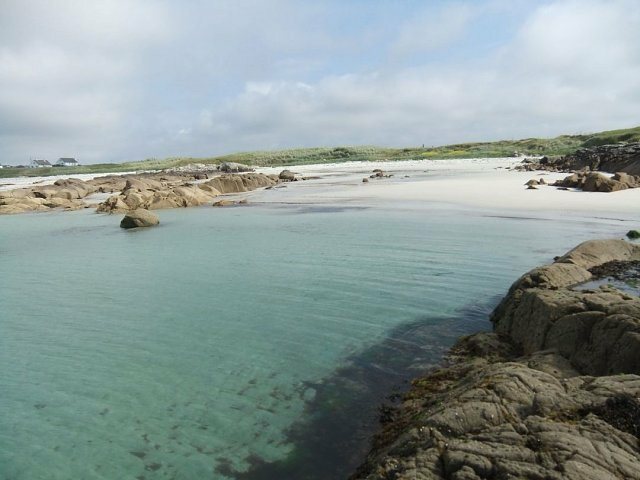 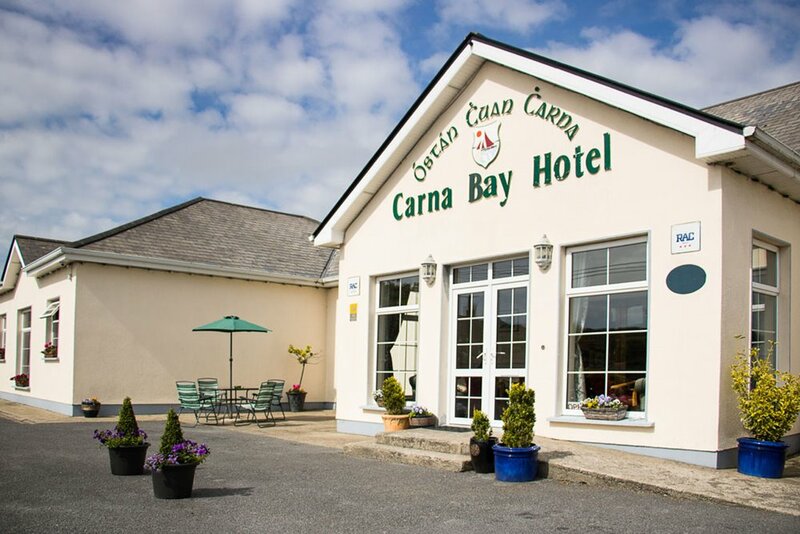 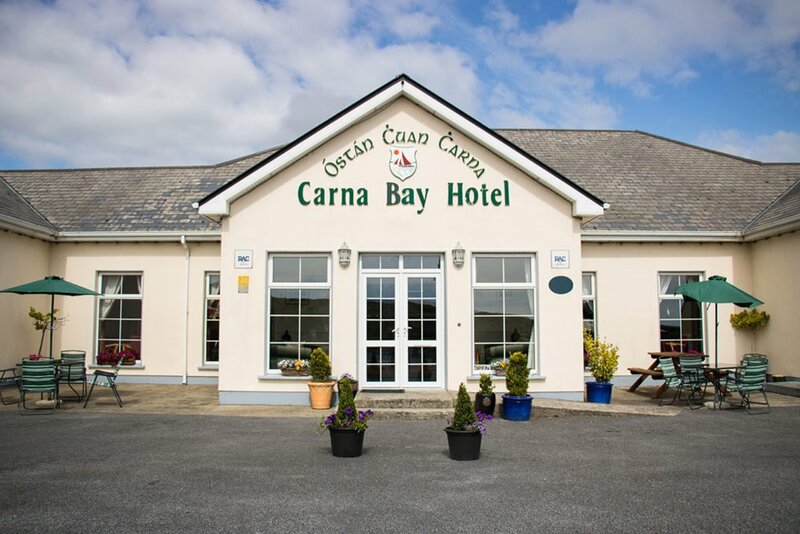 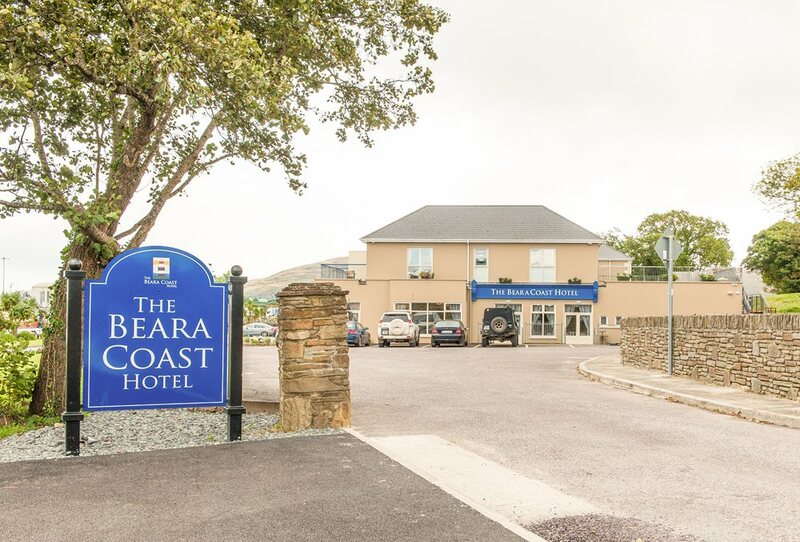 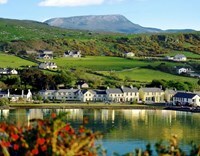 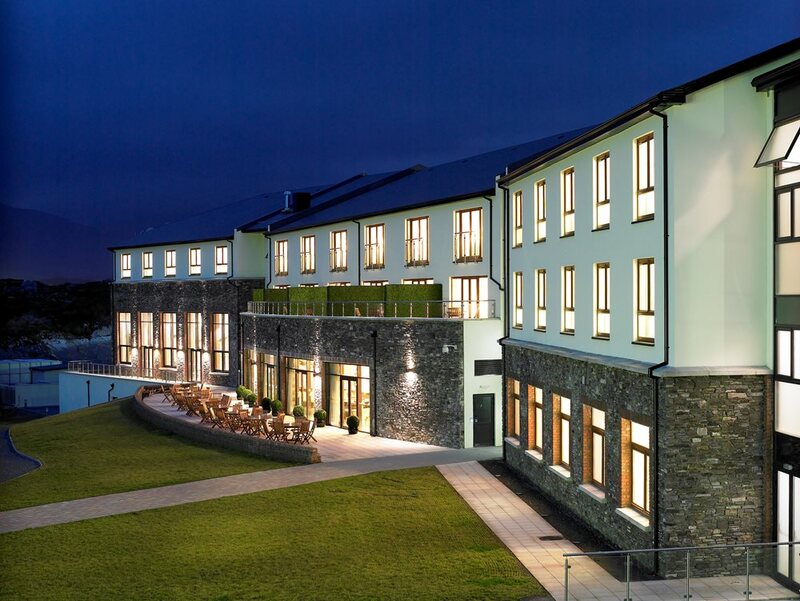 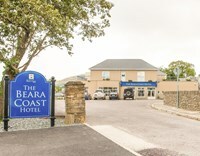 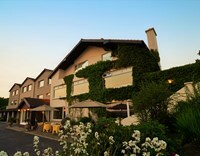 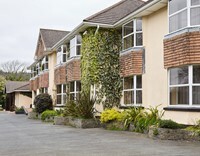 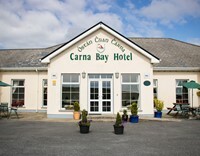 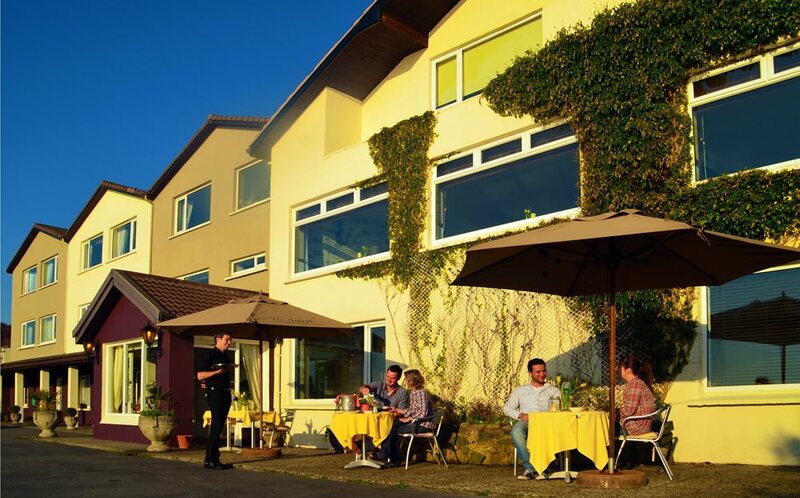 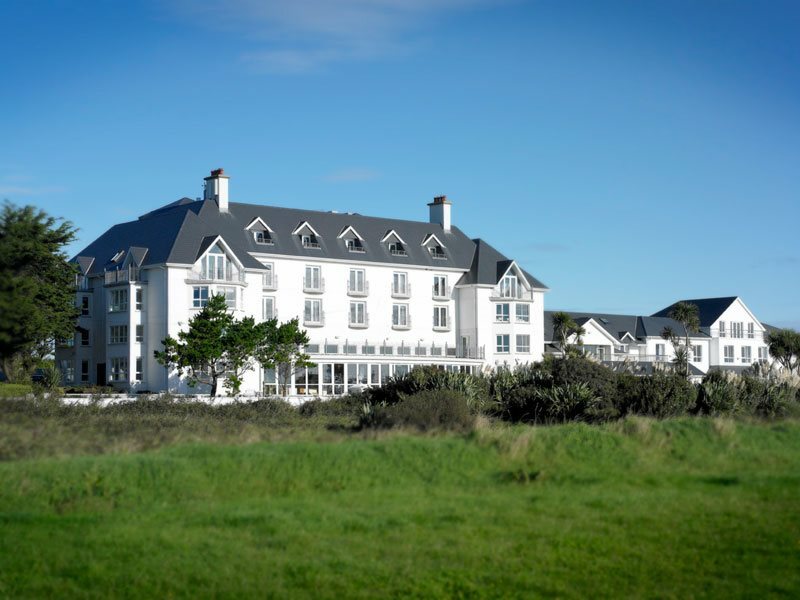 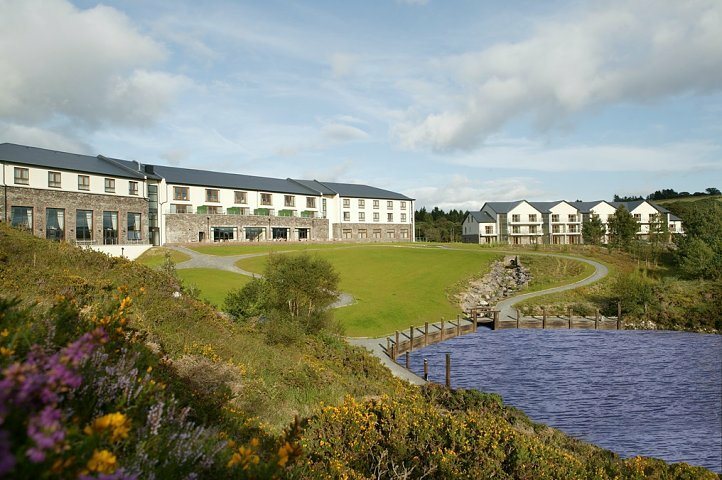 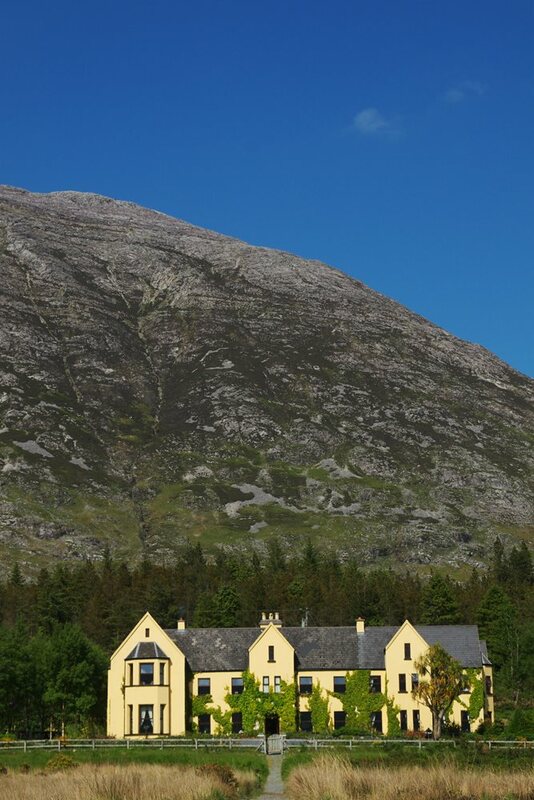 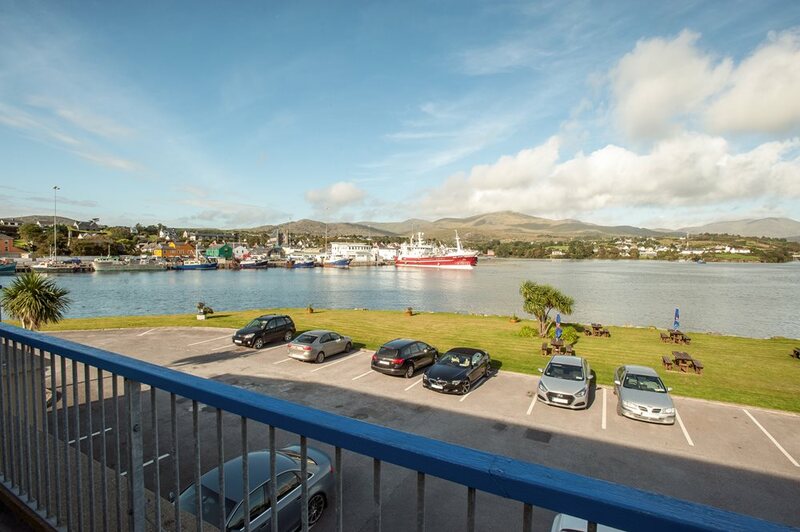 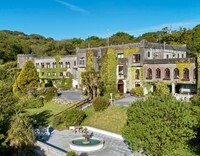 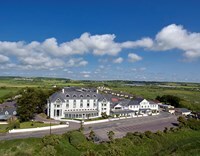 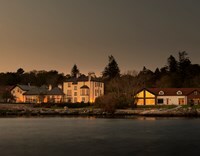 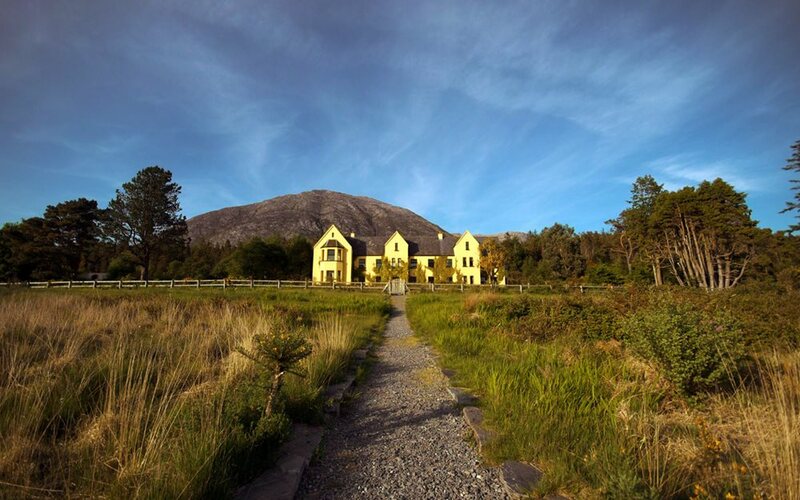 Carna Bay Hotel is located on the Wild Atlantic Way route in the heart of the Connemara gaeltacht, or Irish-language speaking region. 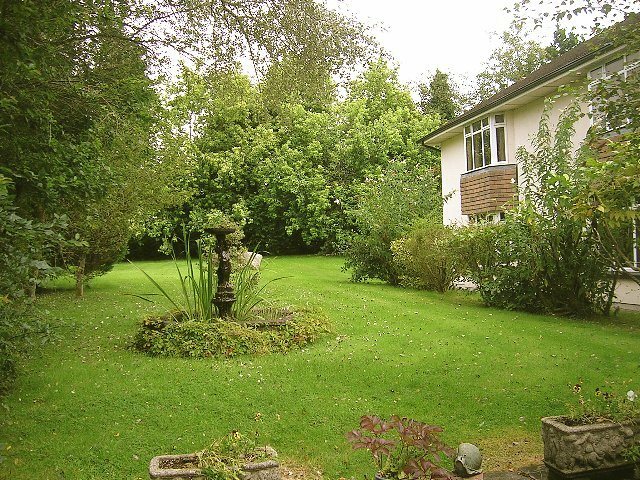 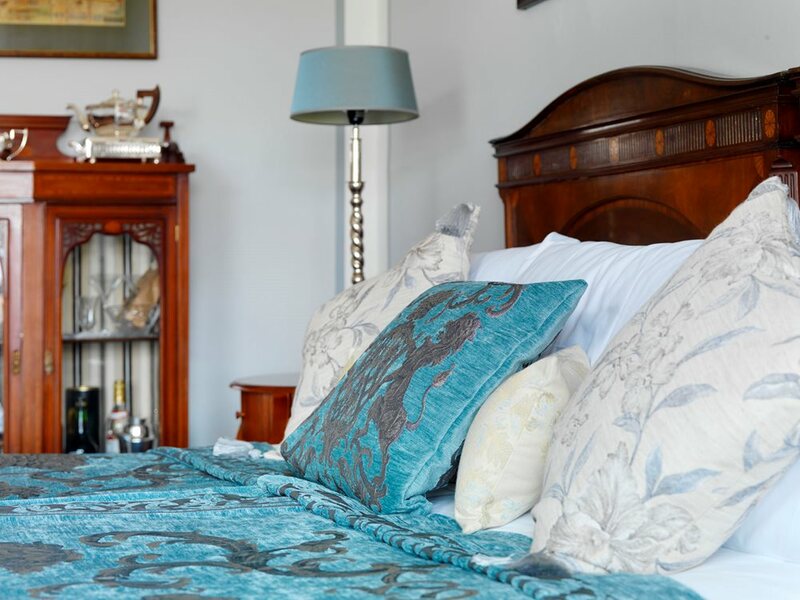 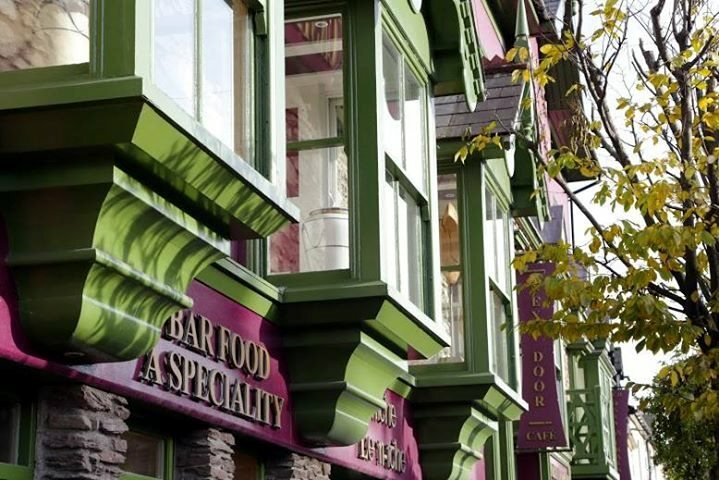 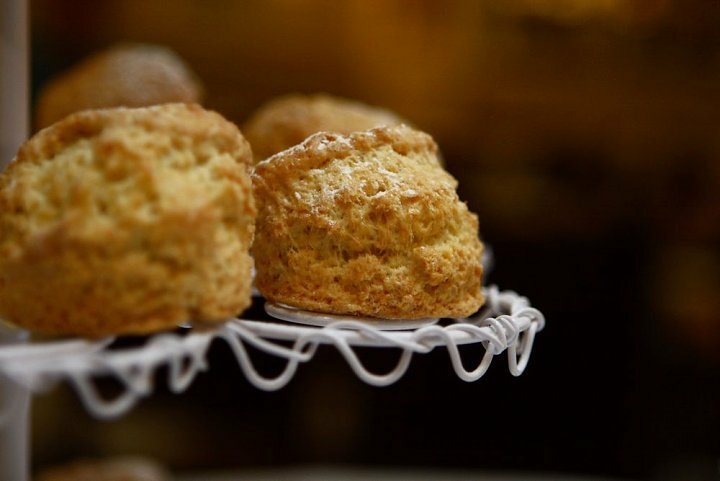 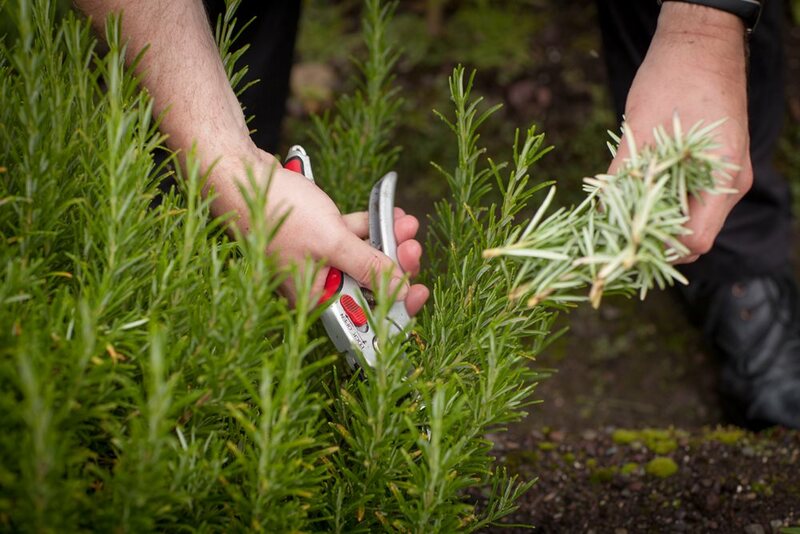 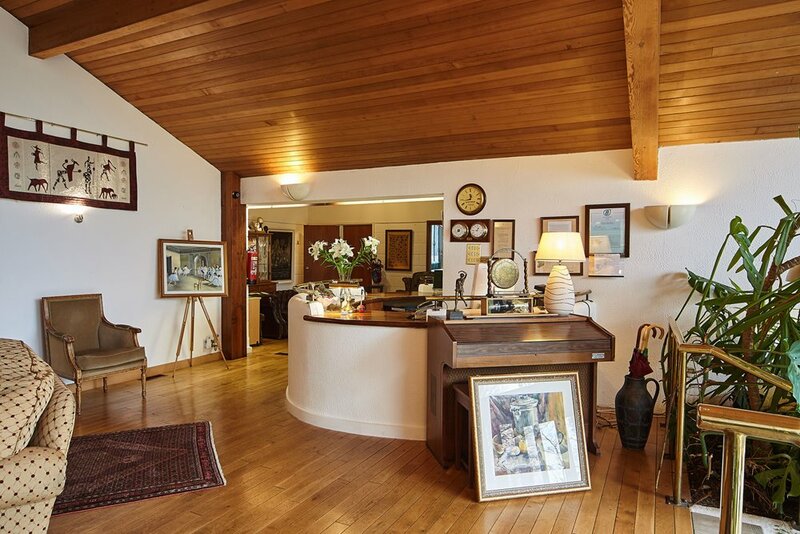 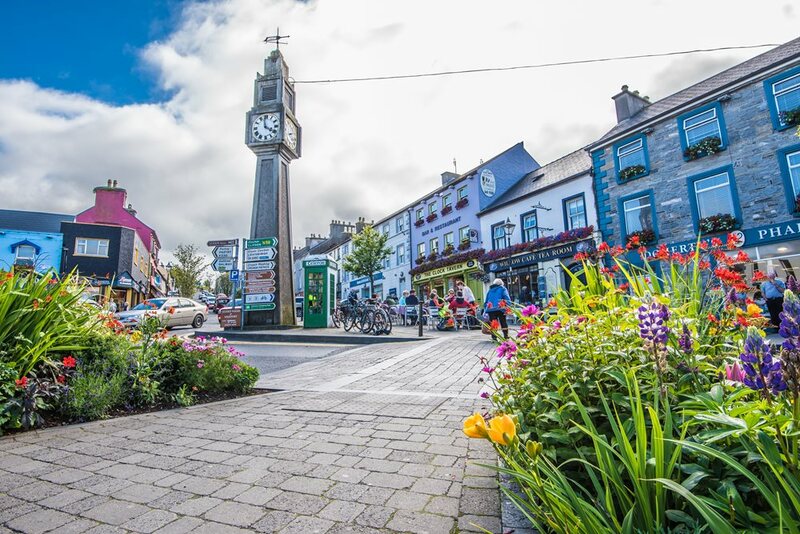 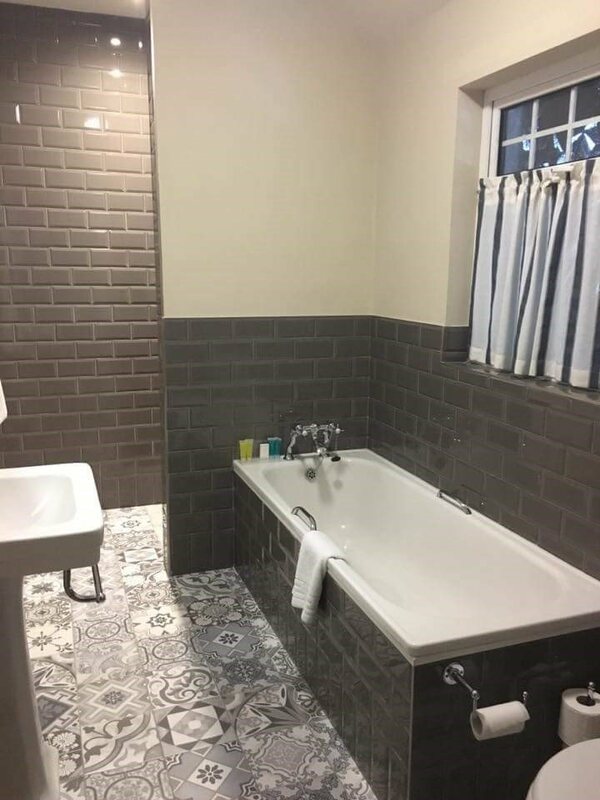 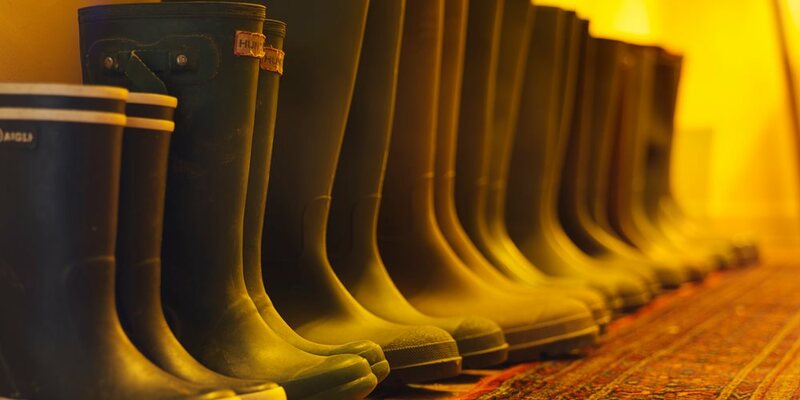 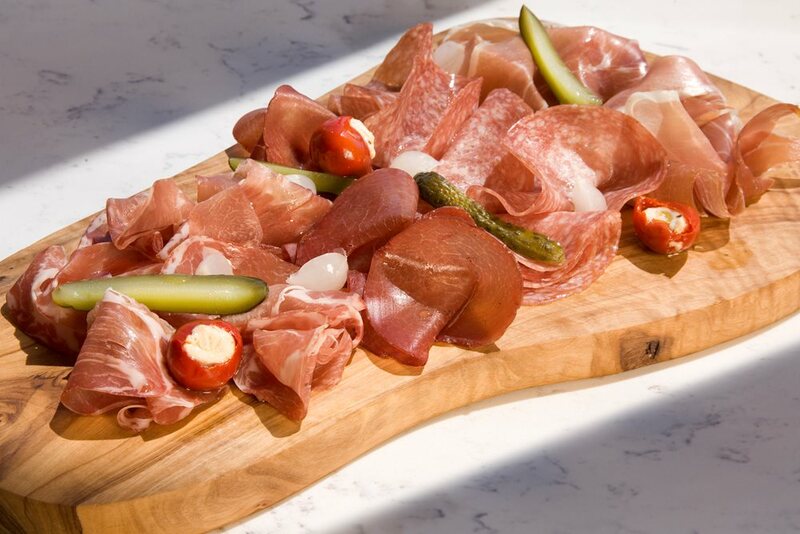 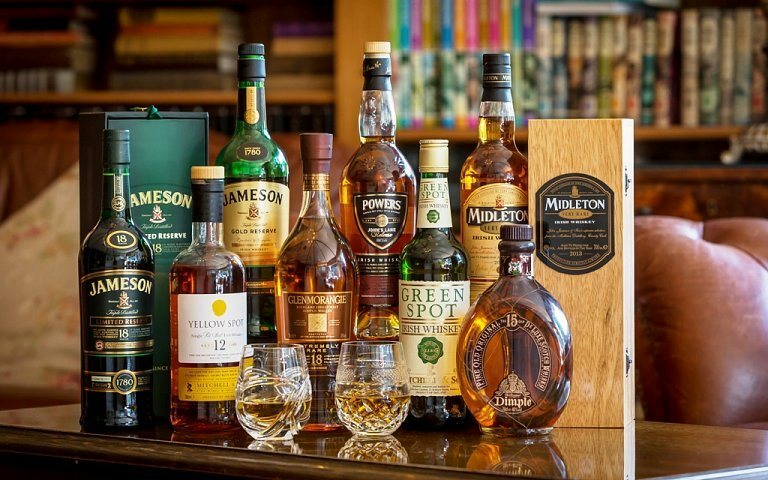 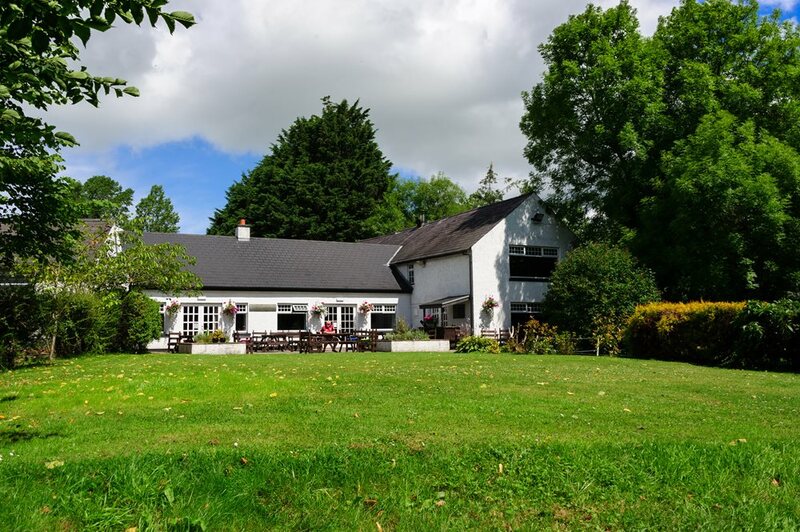 Over 65 years in business, this family-run is nestled between Blarney and Killarney, in the old world market town of Macroom, Co Cork - your idyllic location! 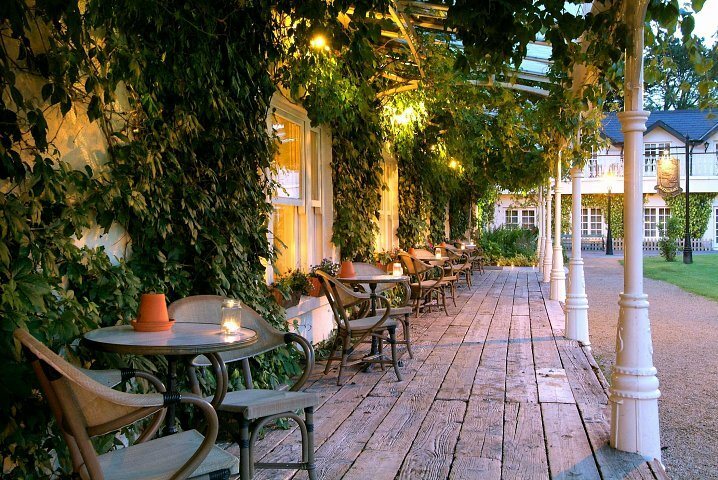 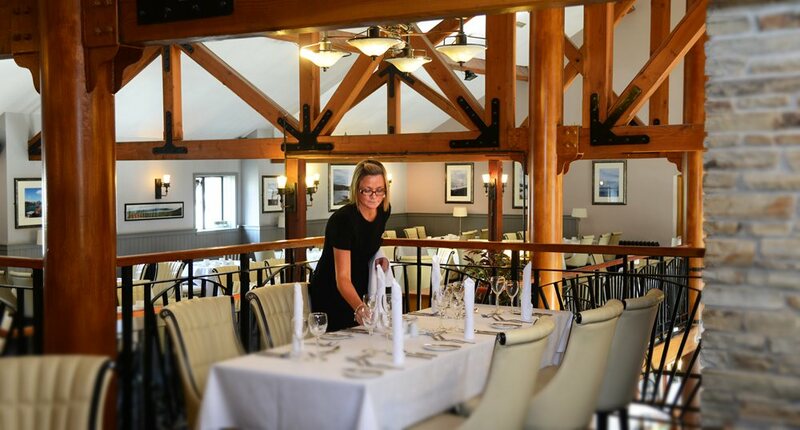 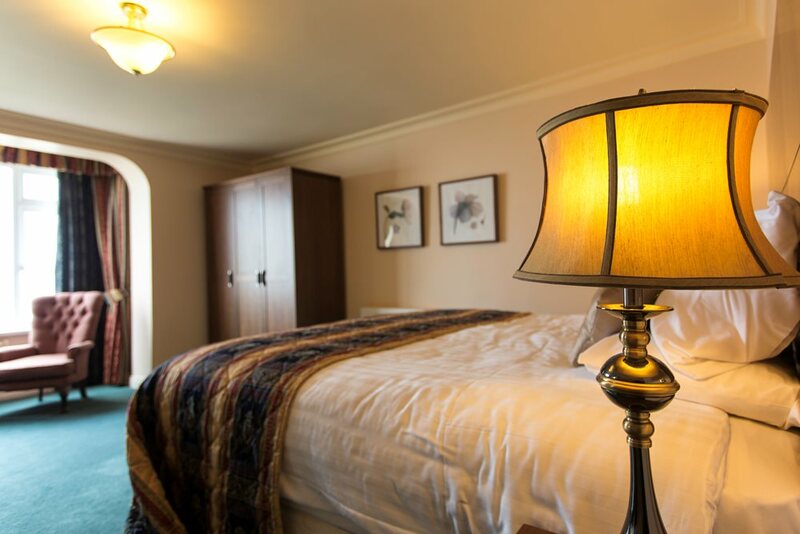 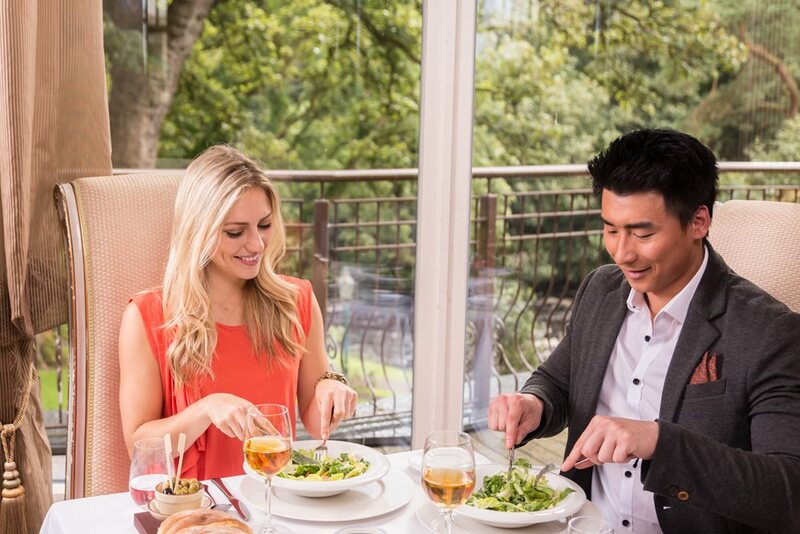 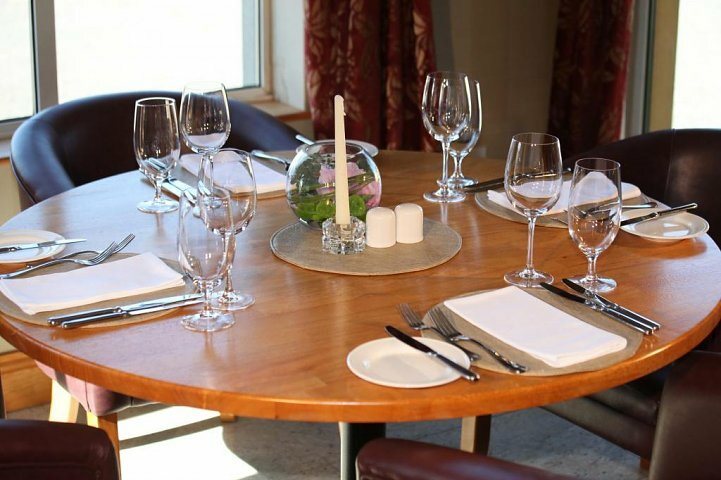 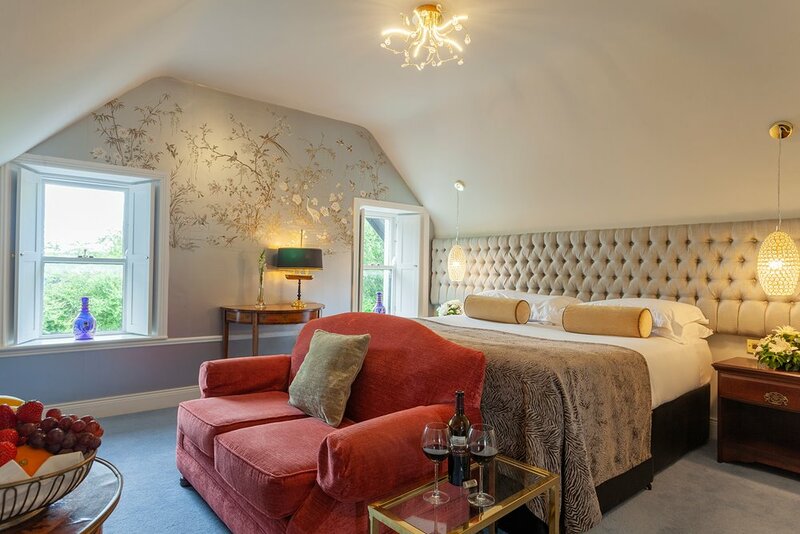 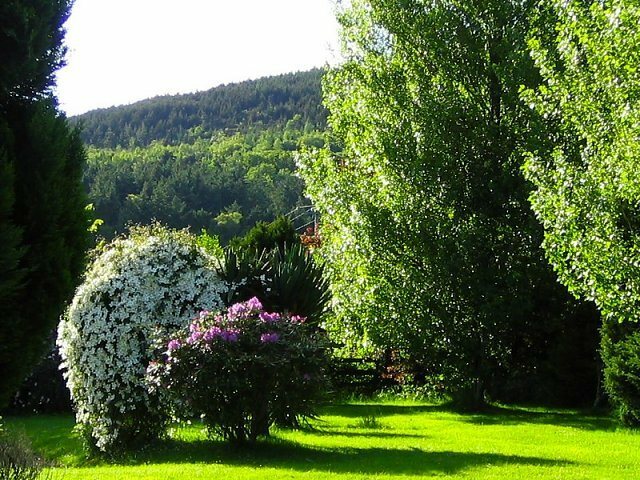 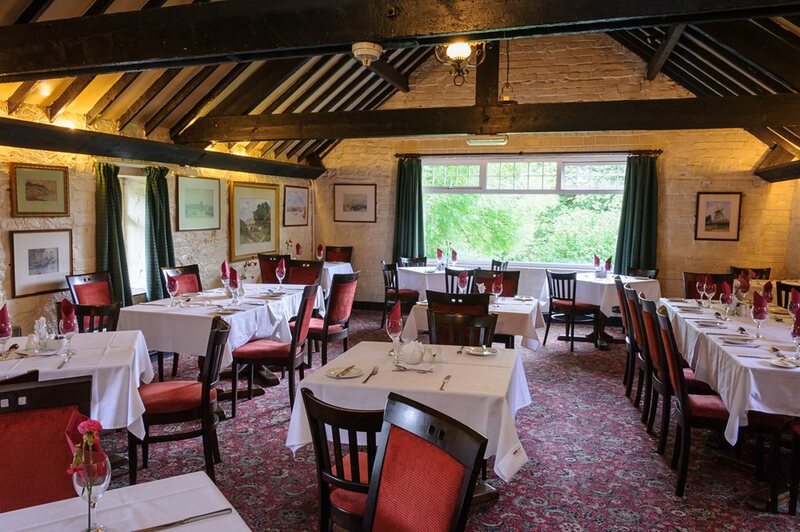 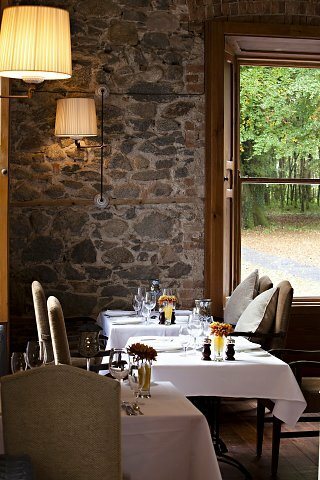 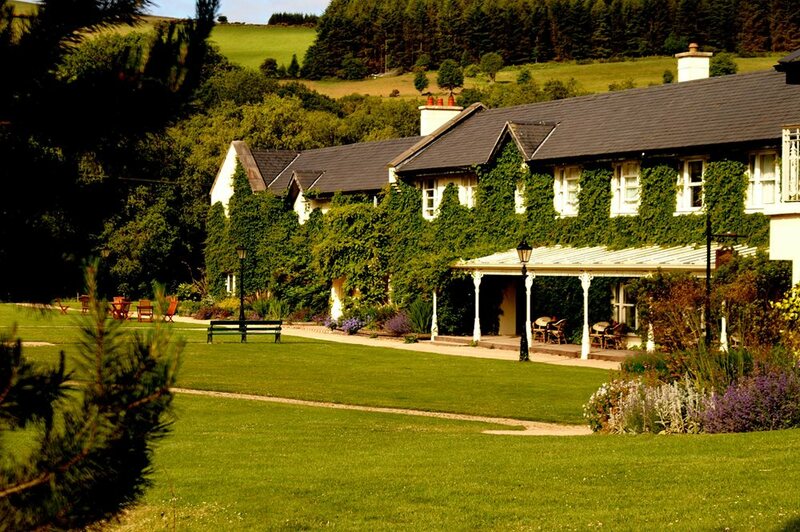 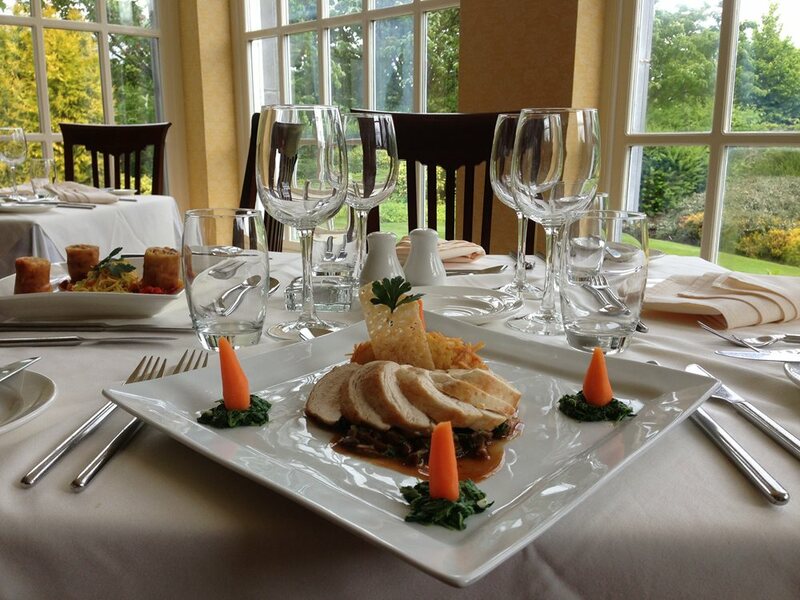 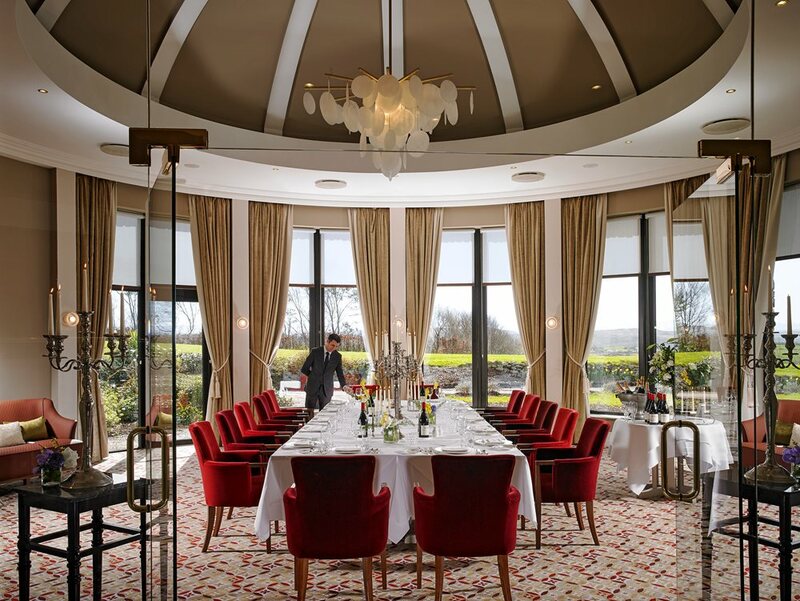 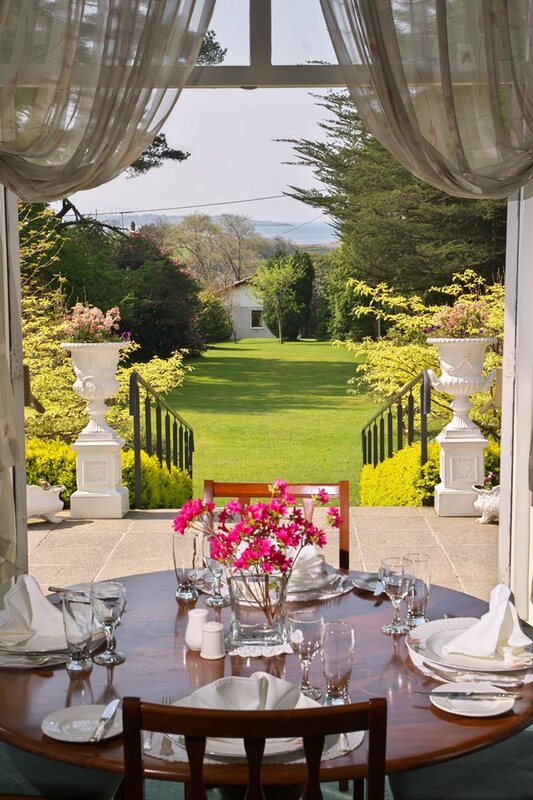 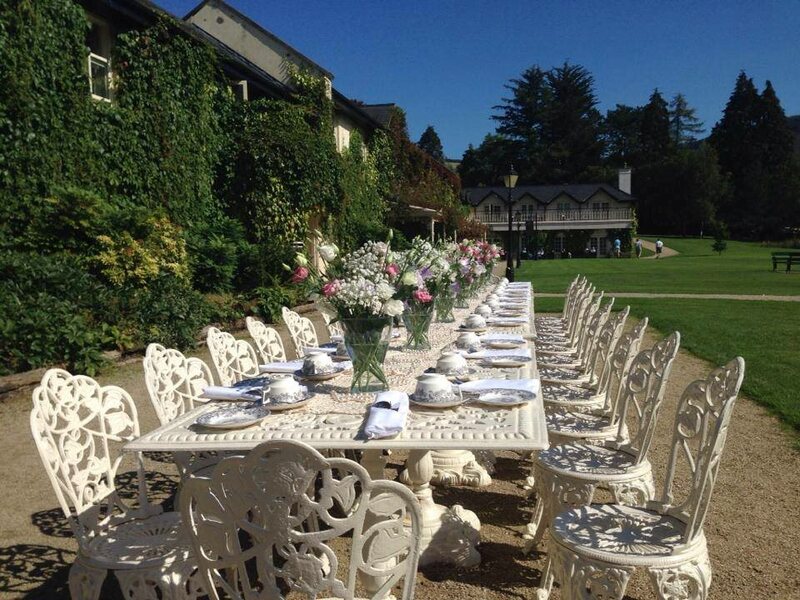 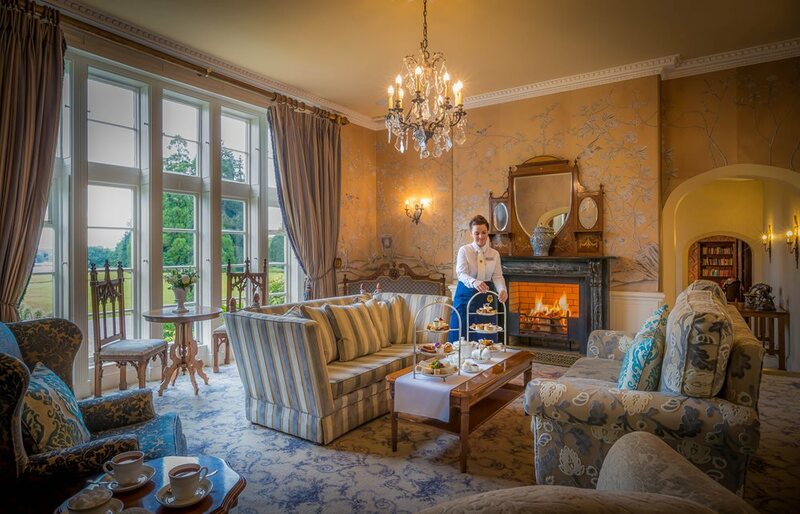 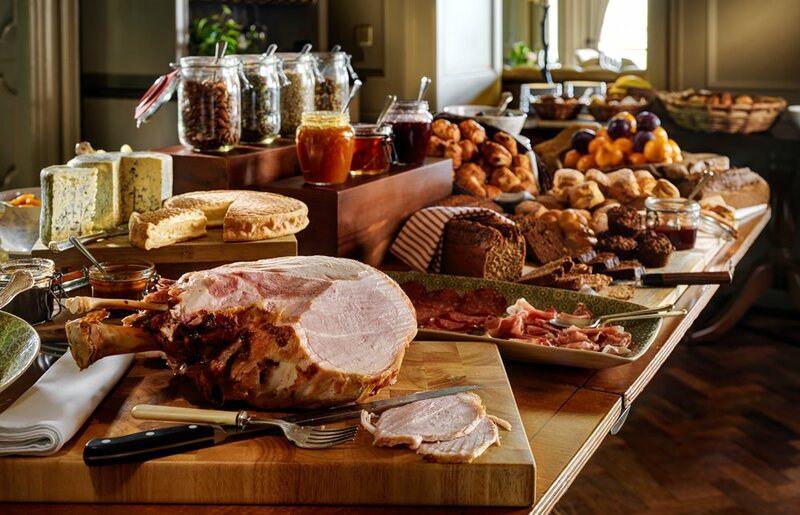 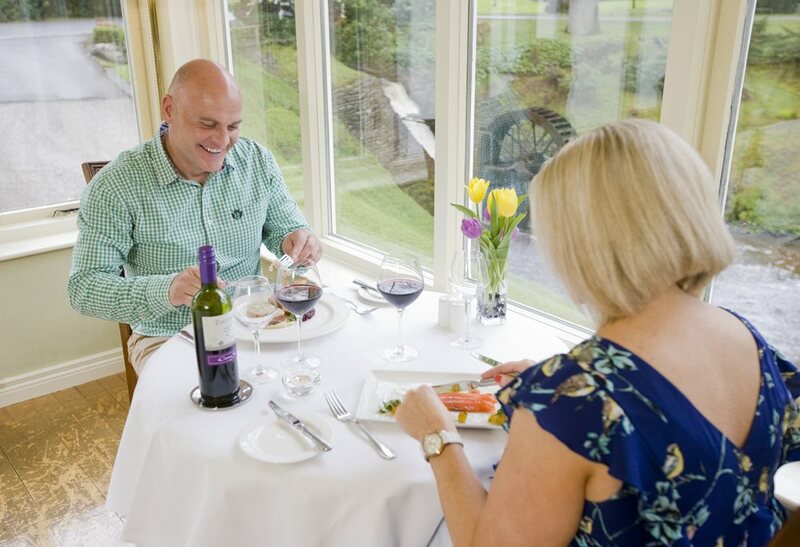 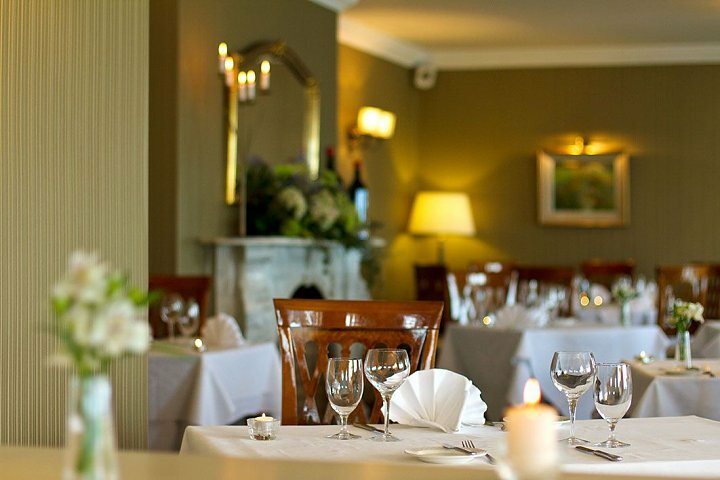 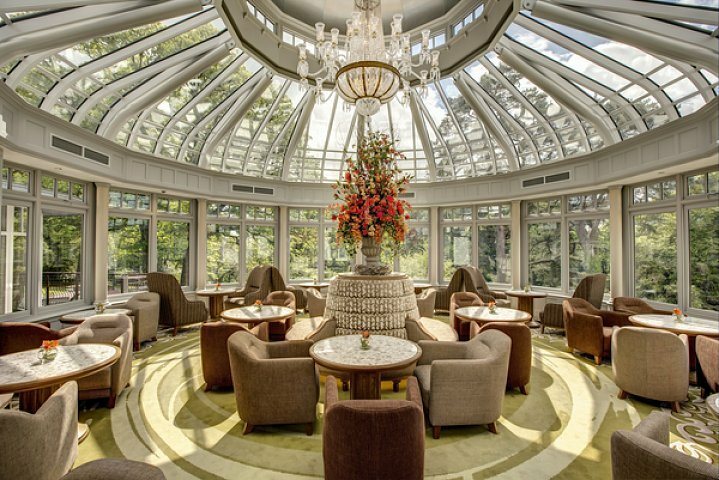 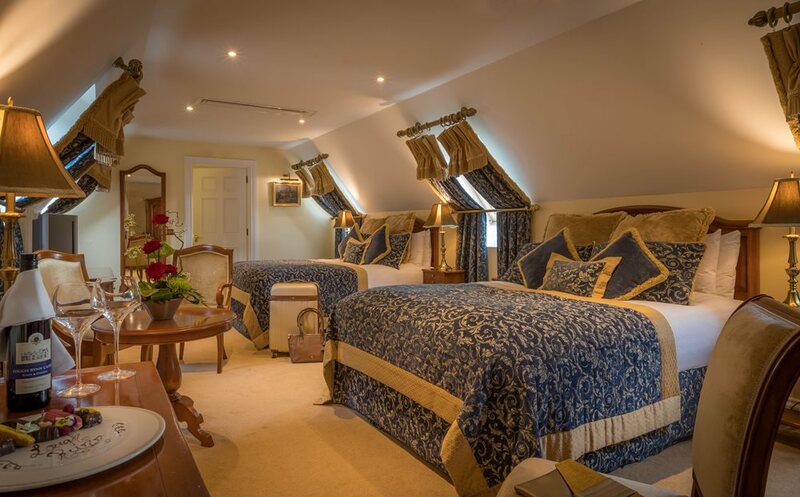 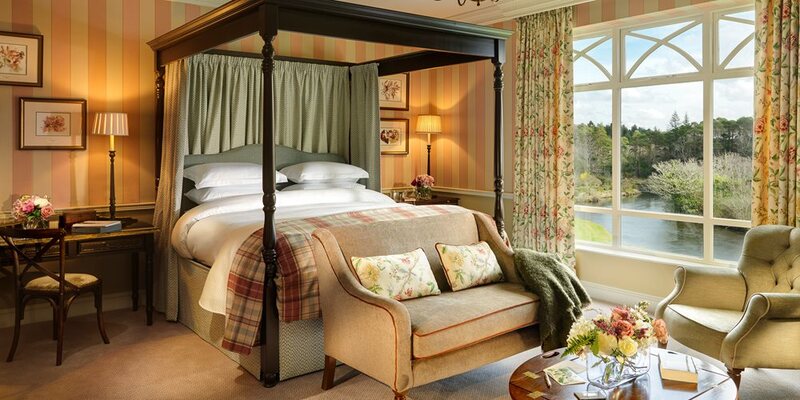 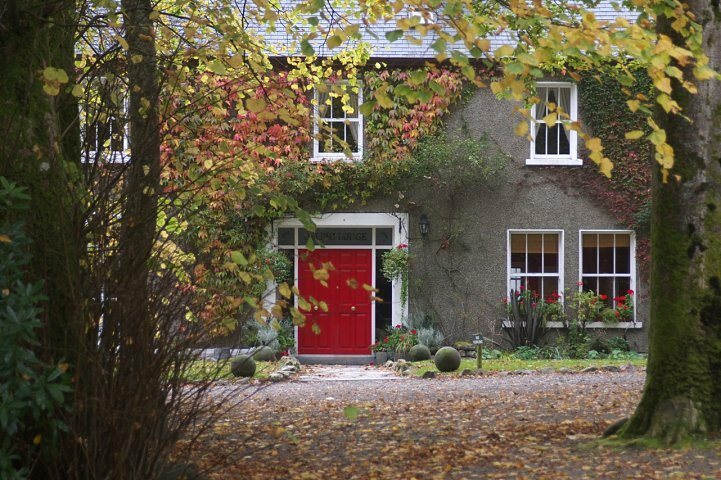 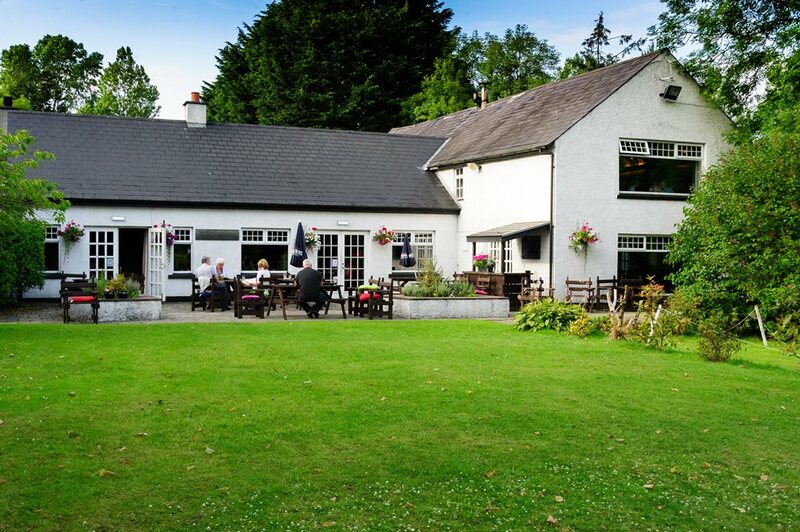 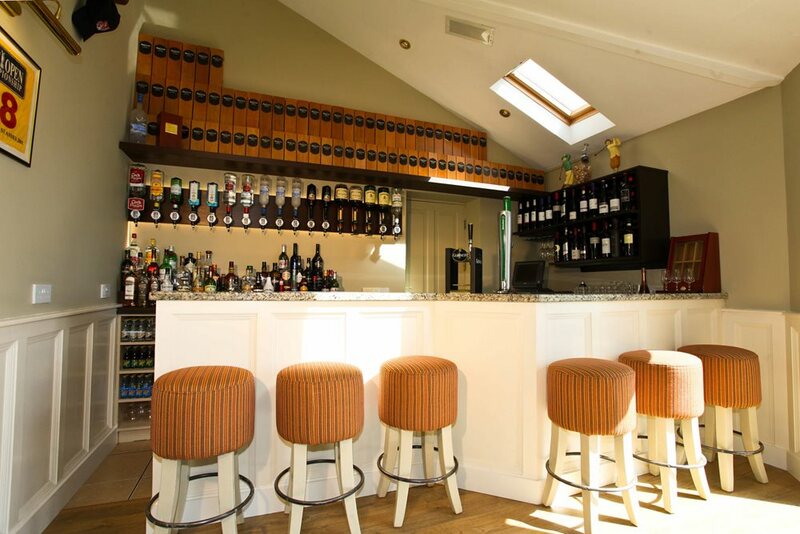 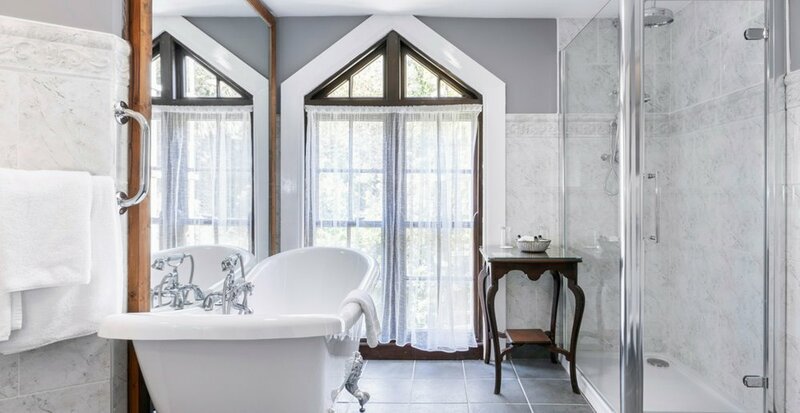 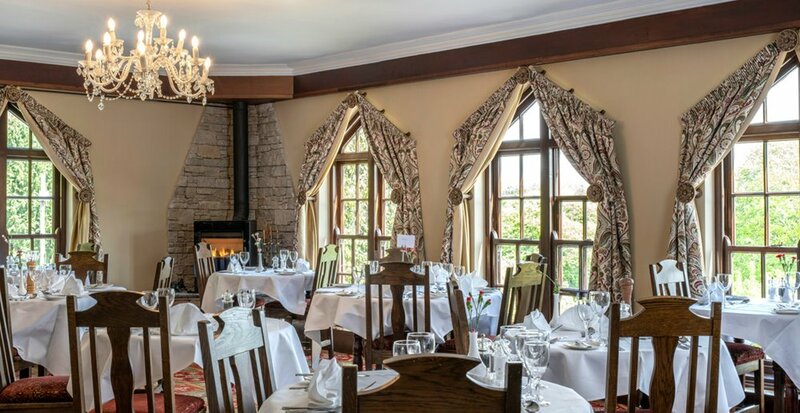 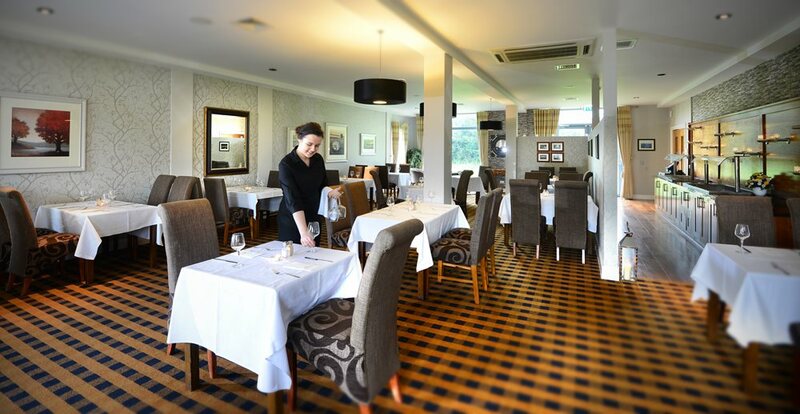 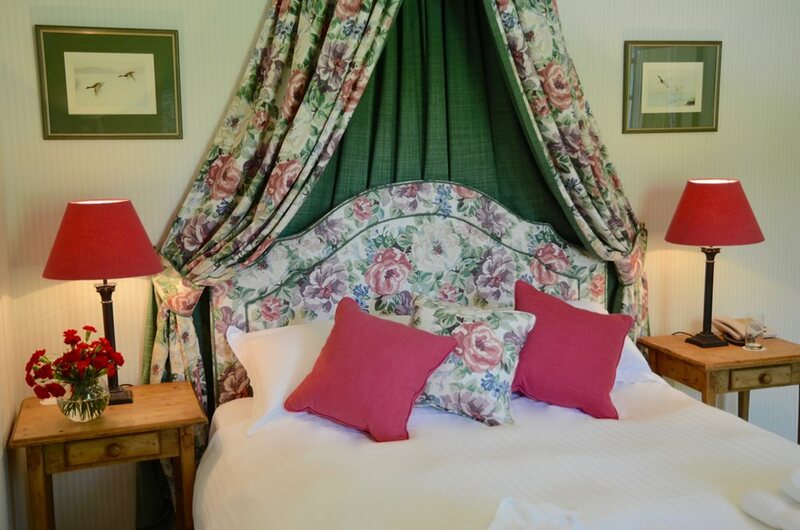 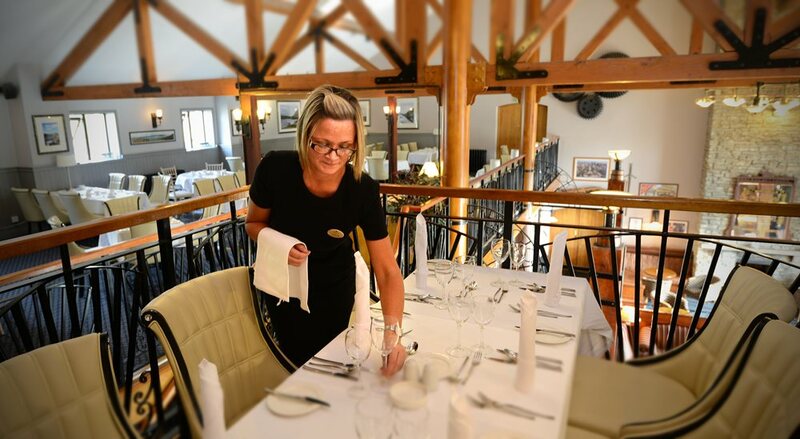 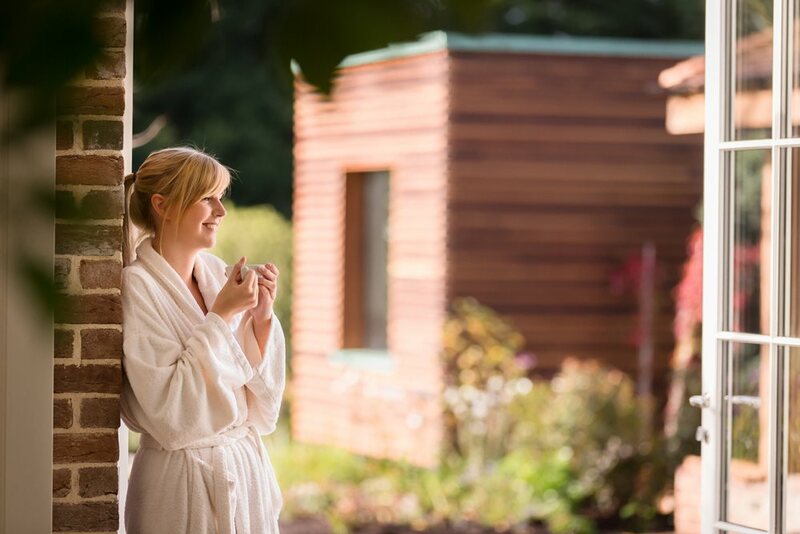 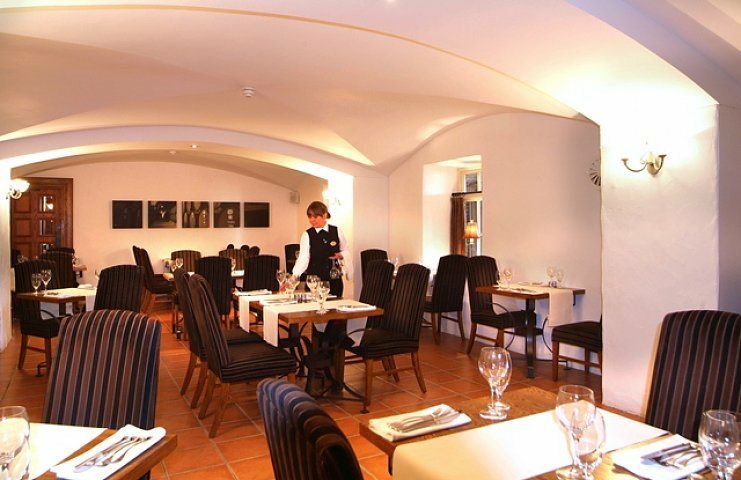 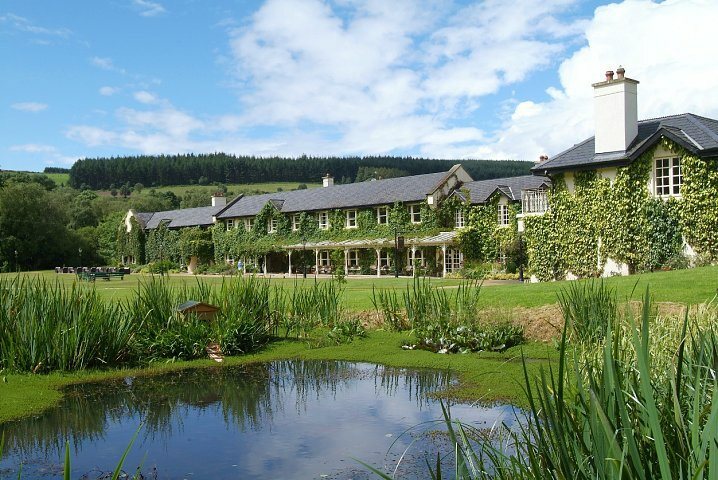 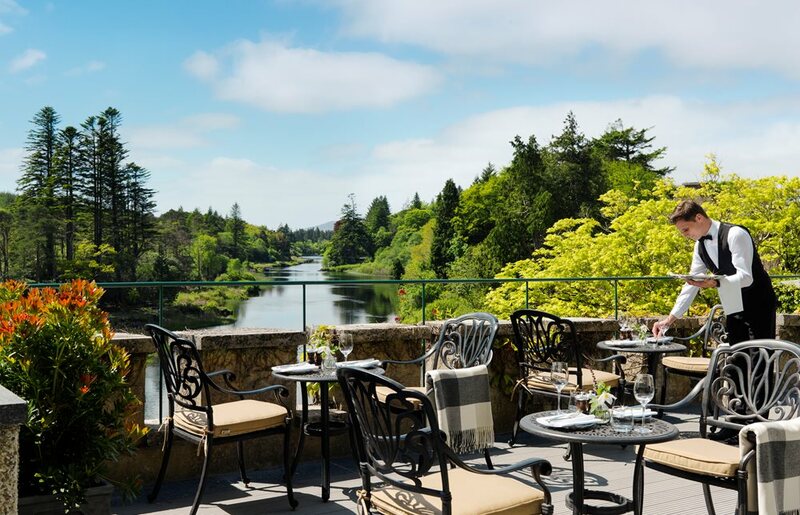 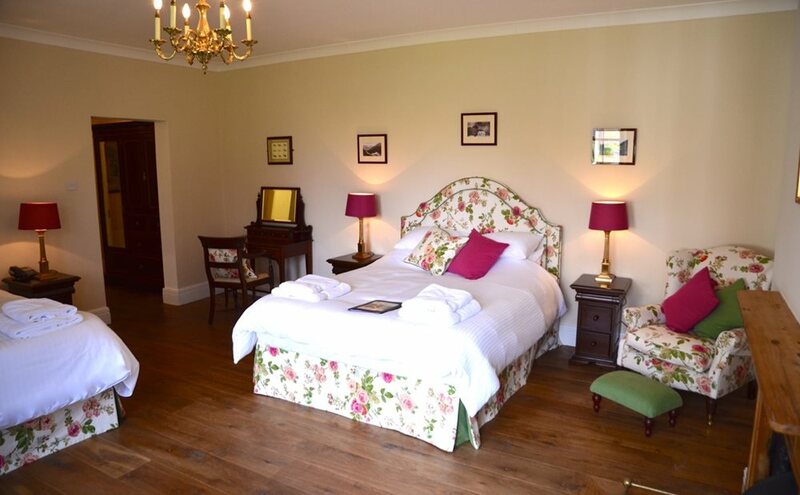 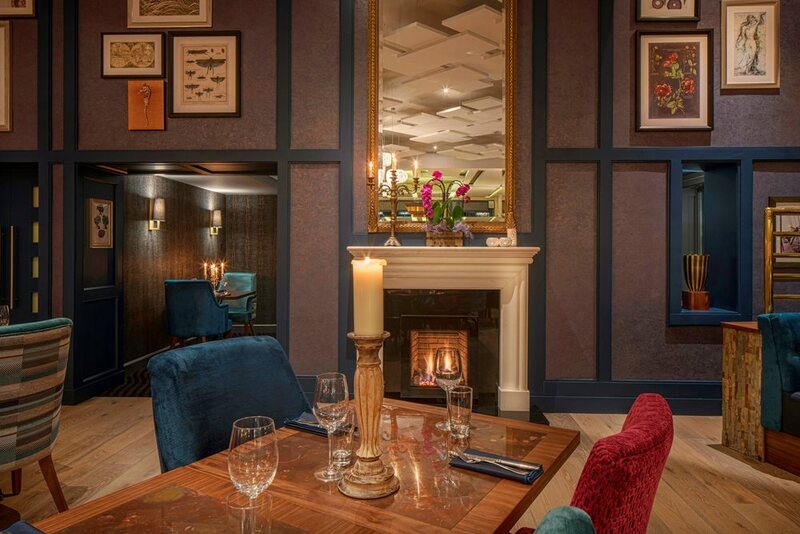 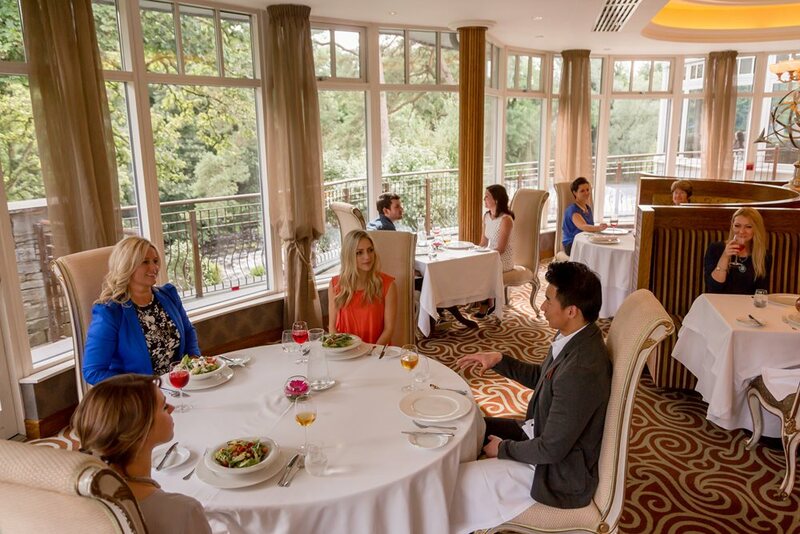 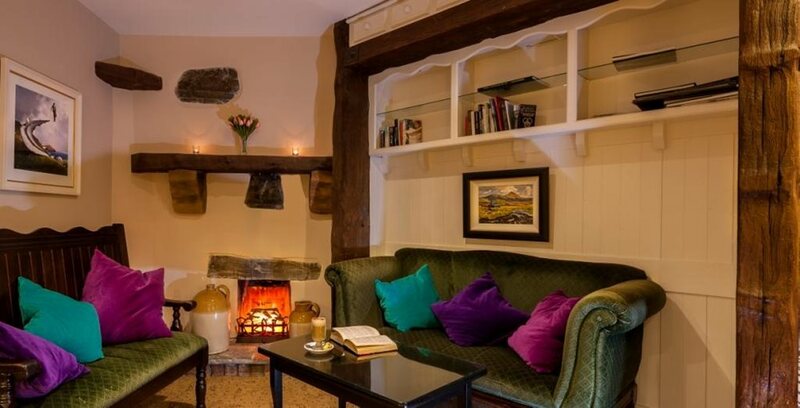 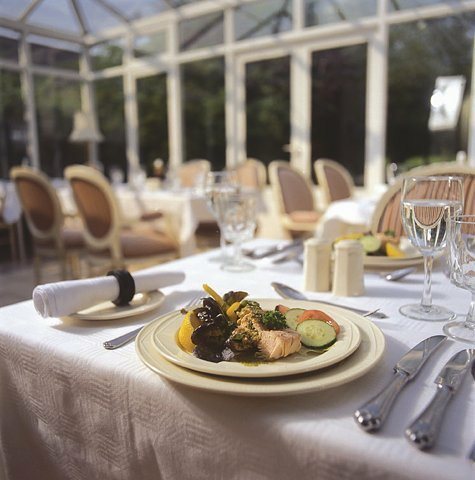 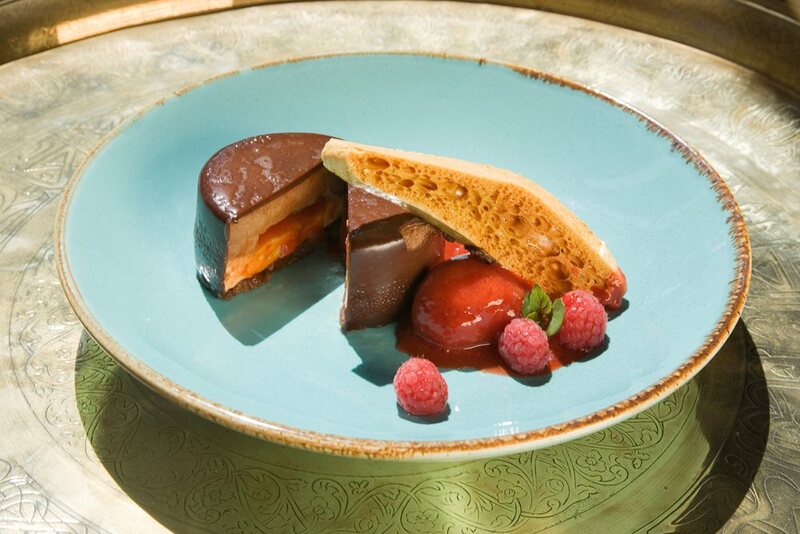 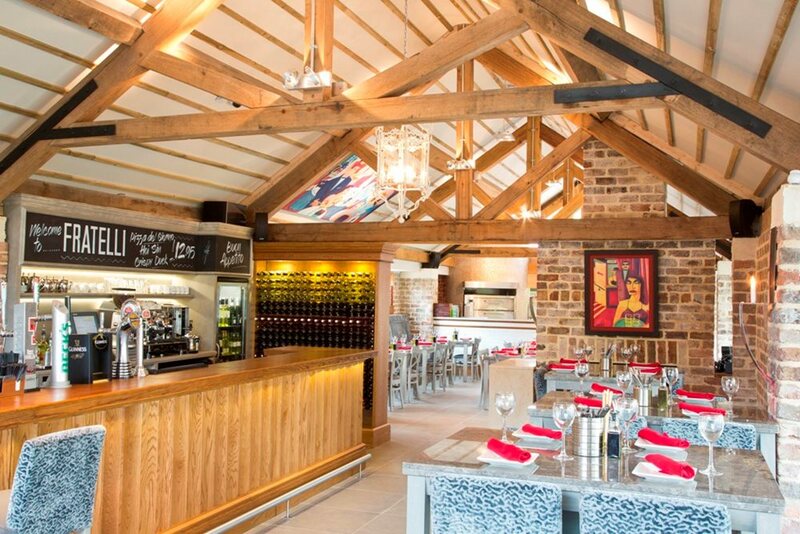 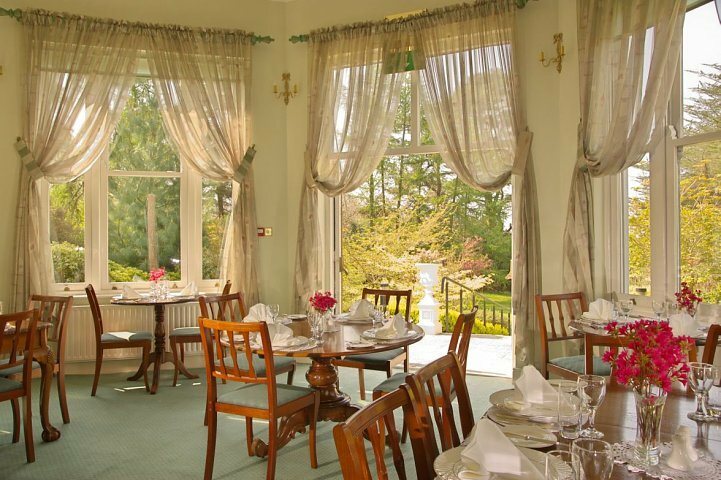 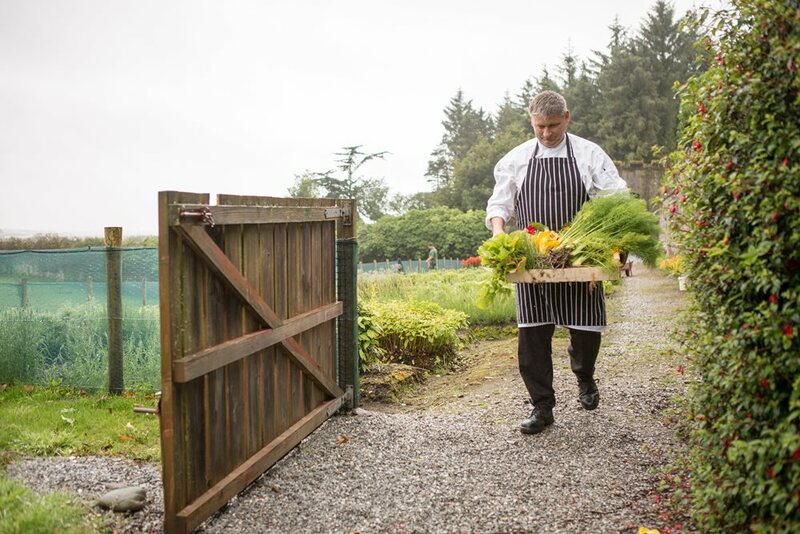 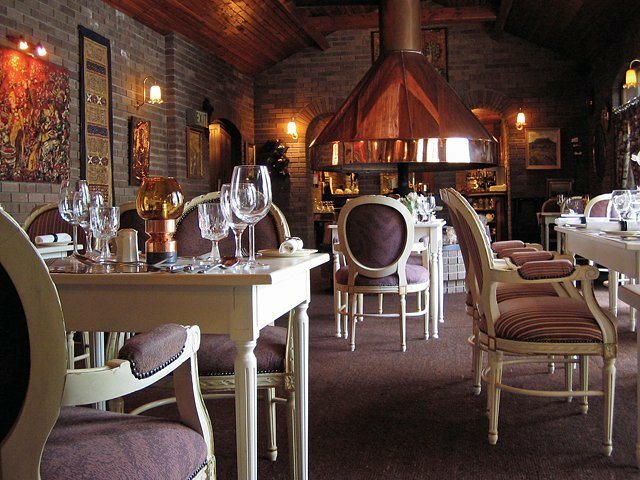 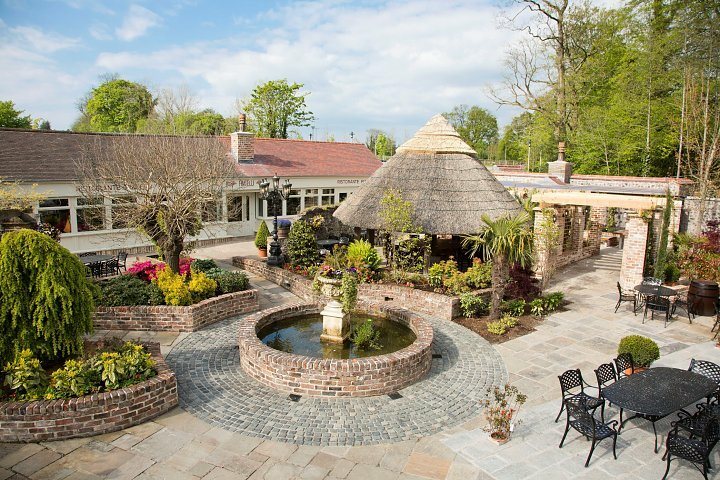 Cedar Lodge is a charming 4-star country hotel and restaurant situated beneath the slopes of historic Carrigbyrne Forest, off the N25 between New Ross and Wexford. 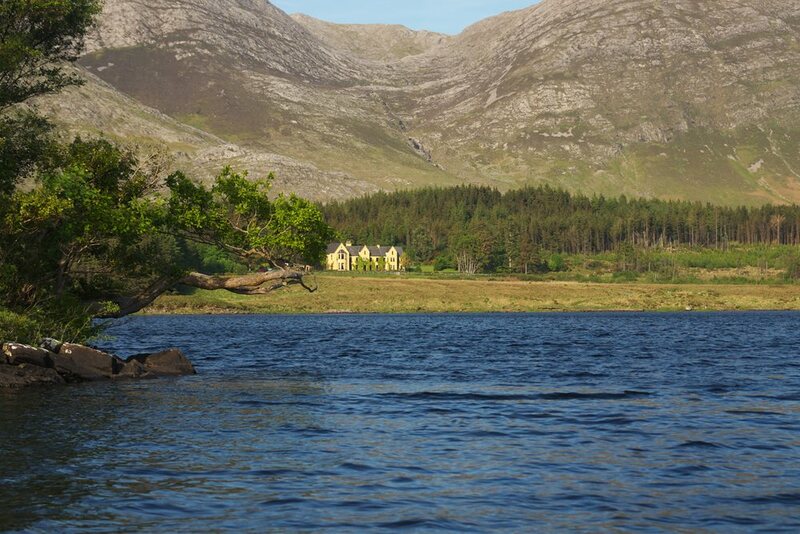 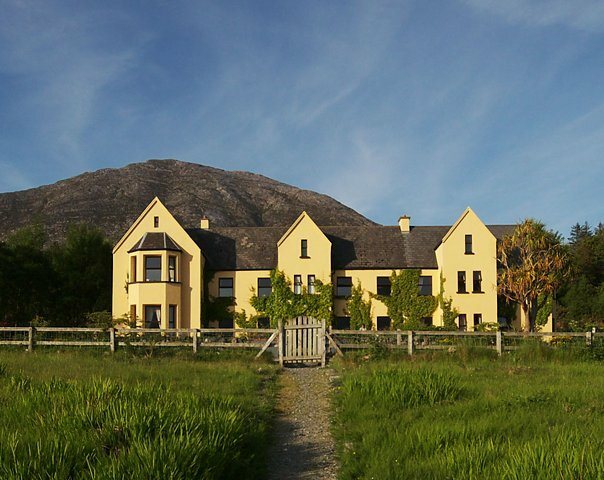 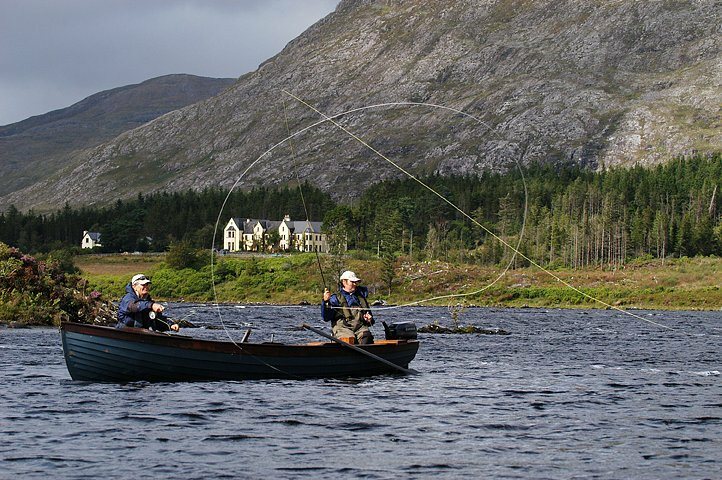 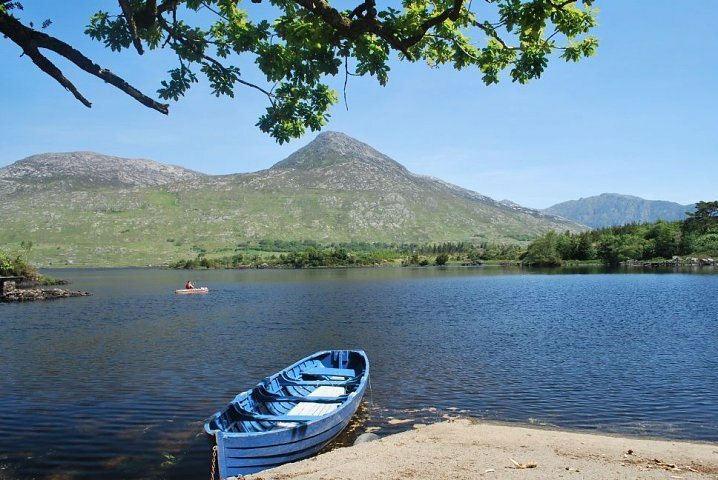 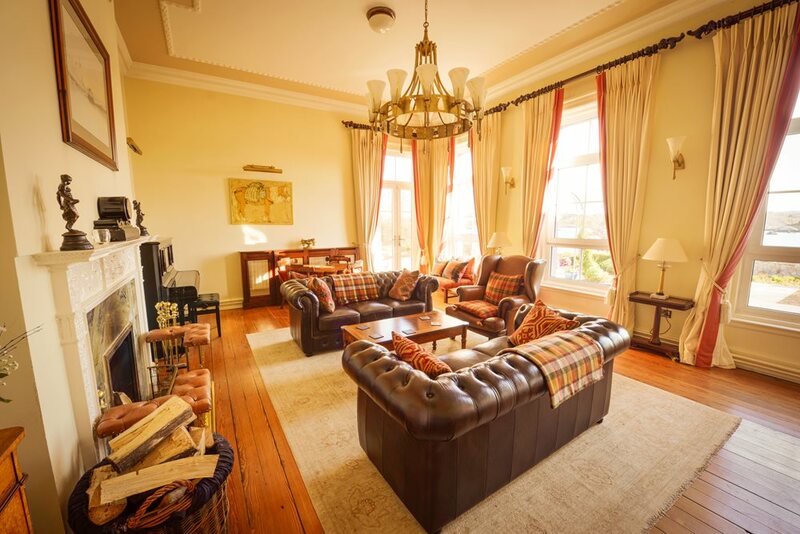 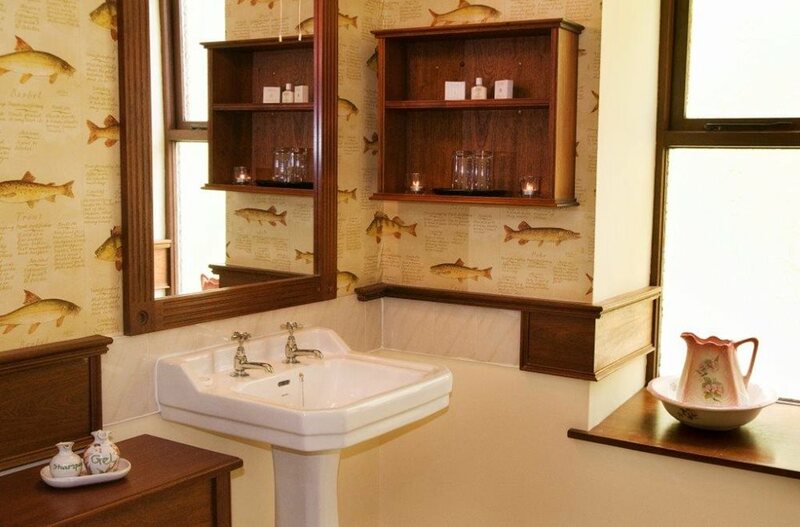 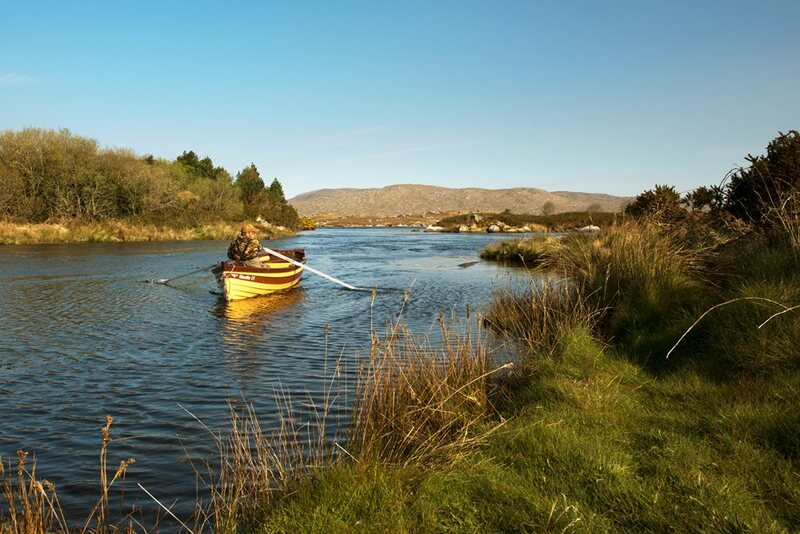 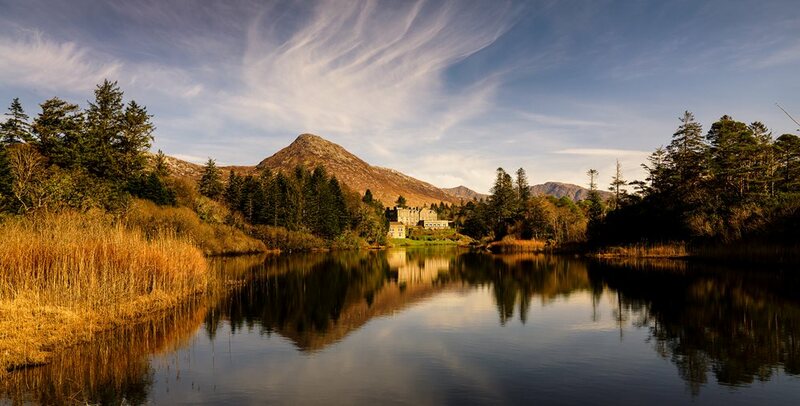 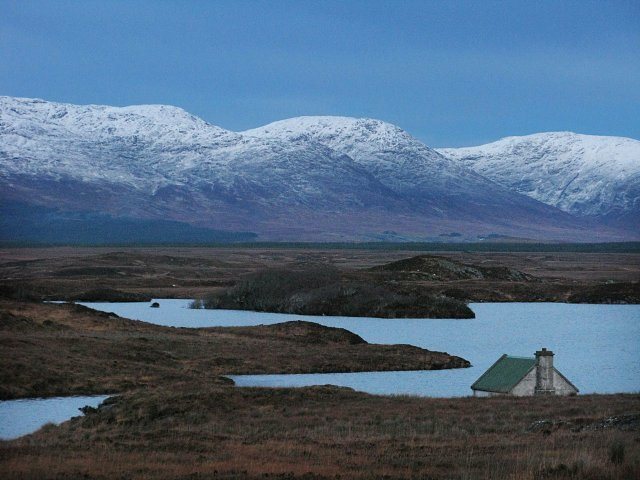 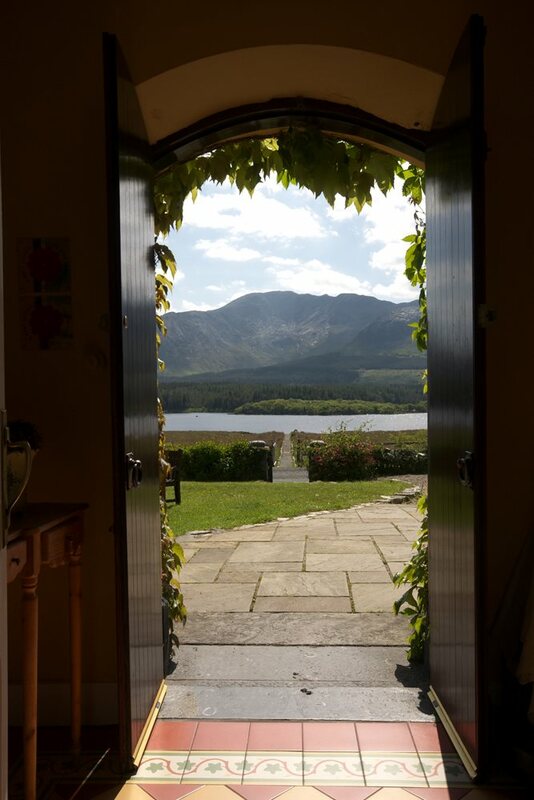 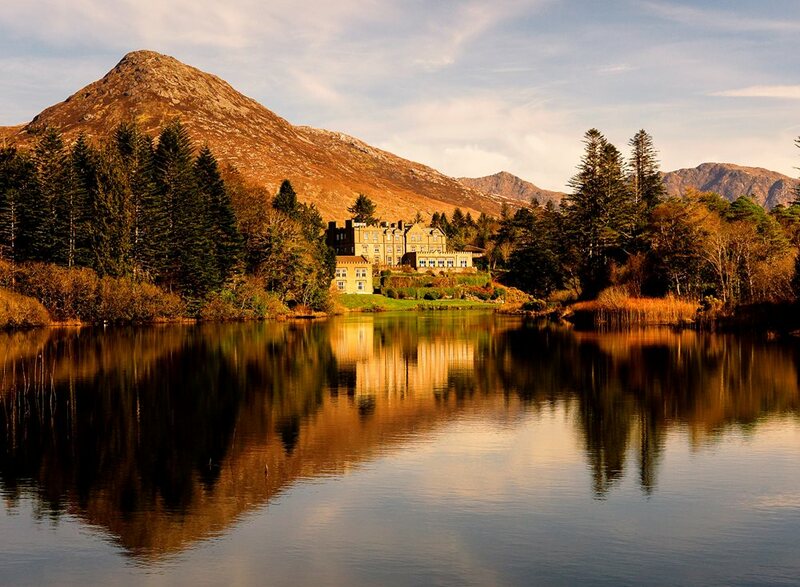 A delightful 1830s country house and fishing lodge in Co Galway, in one of the most spectacular settings in Connemara, with charming accommodation, glorious scenery, great food and total tranquillity. 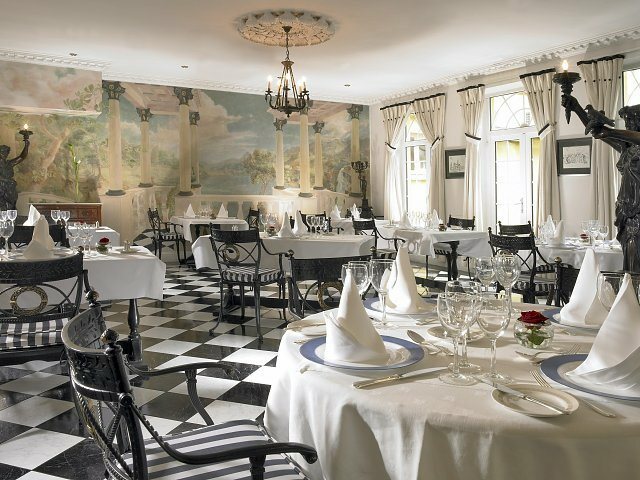 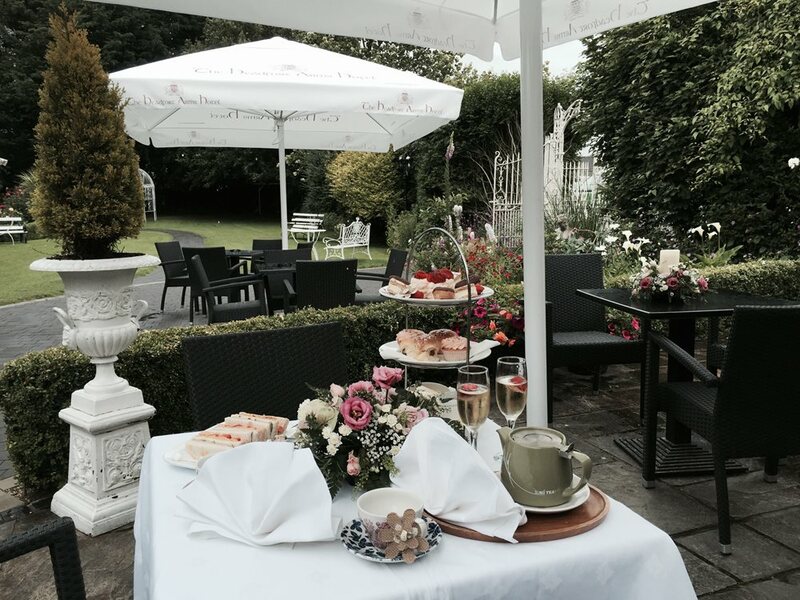 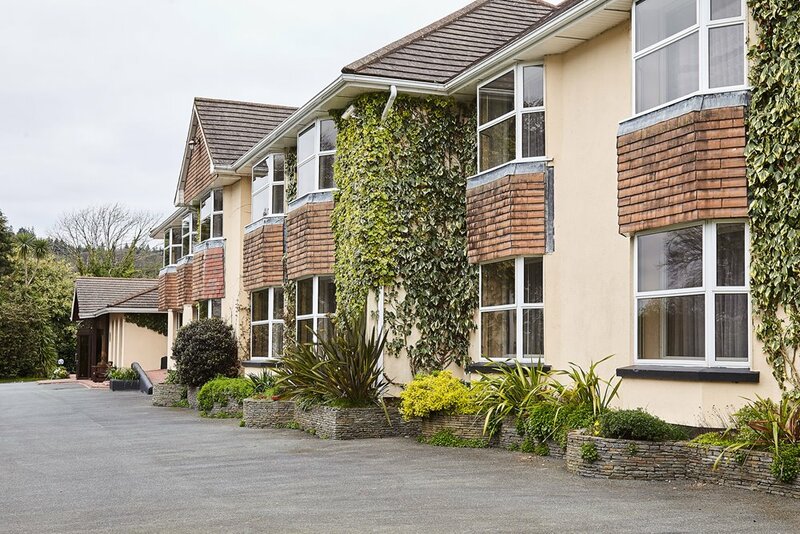 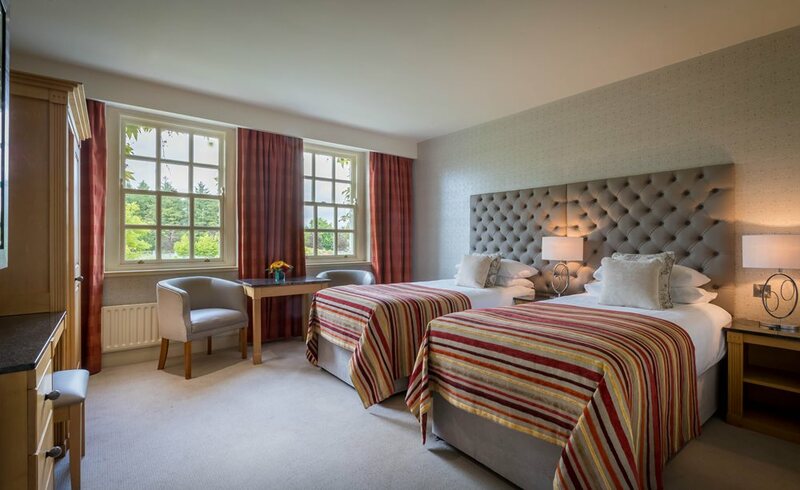 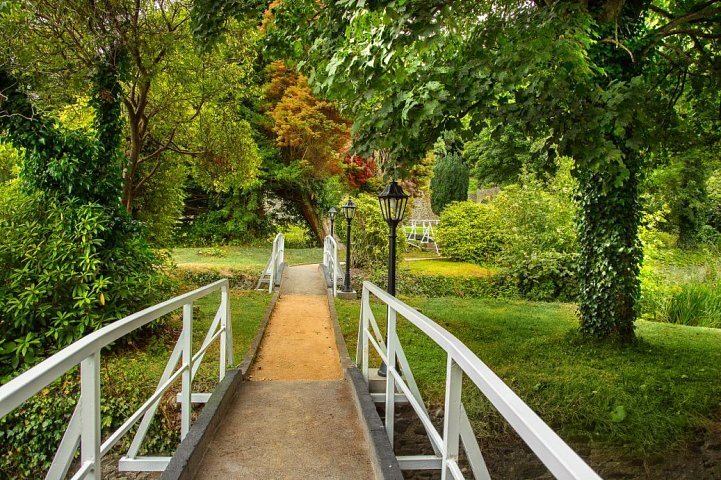 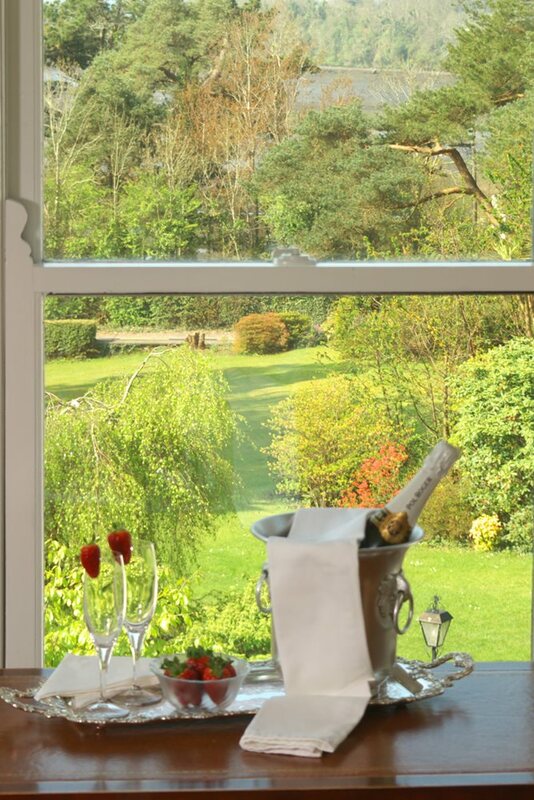 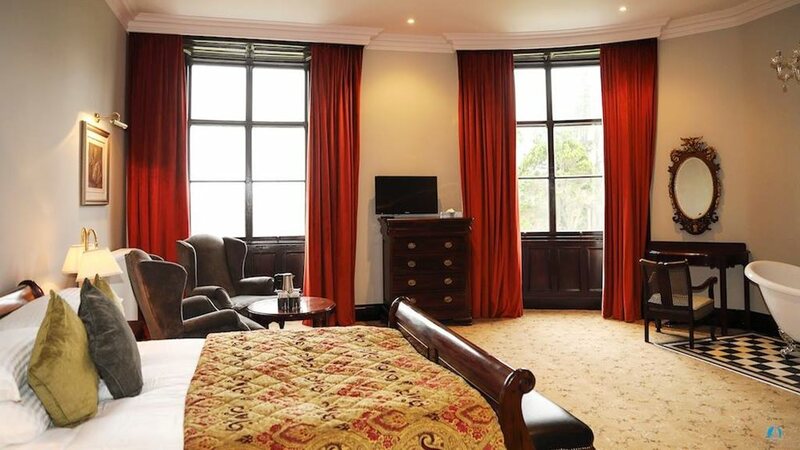 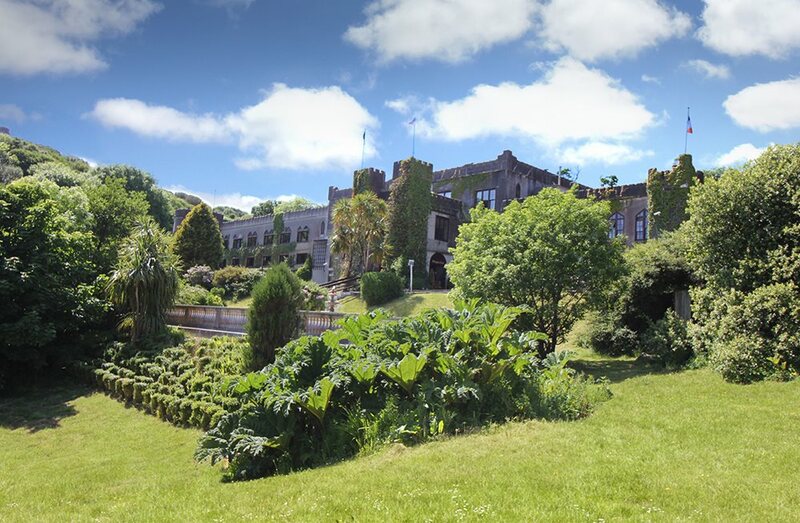 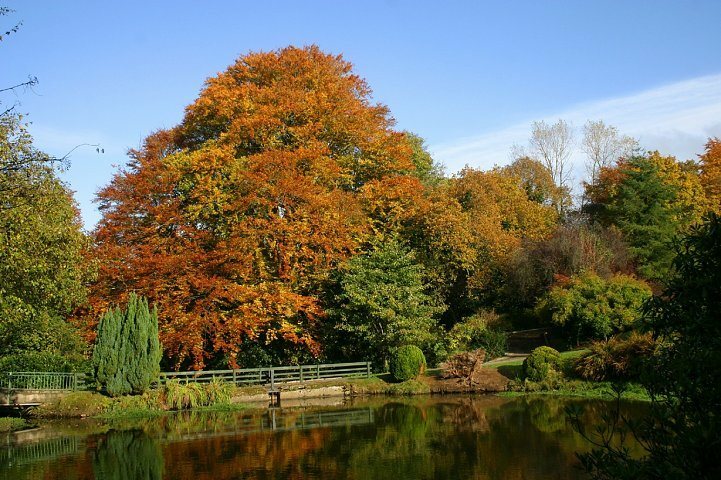 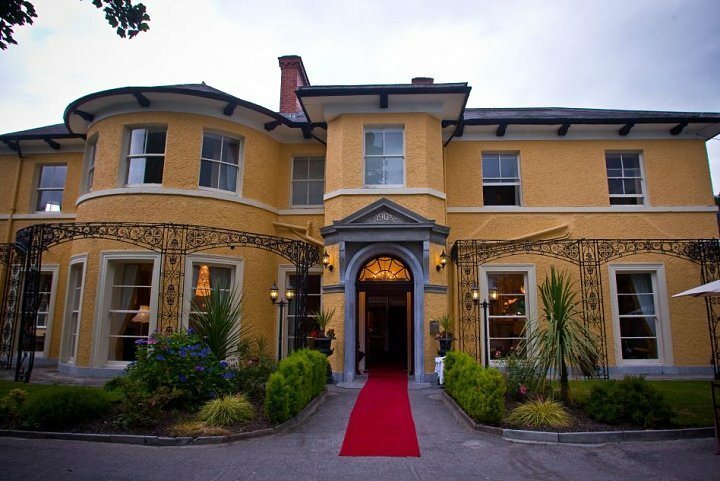 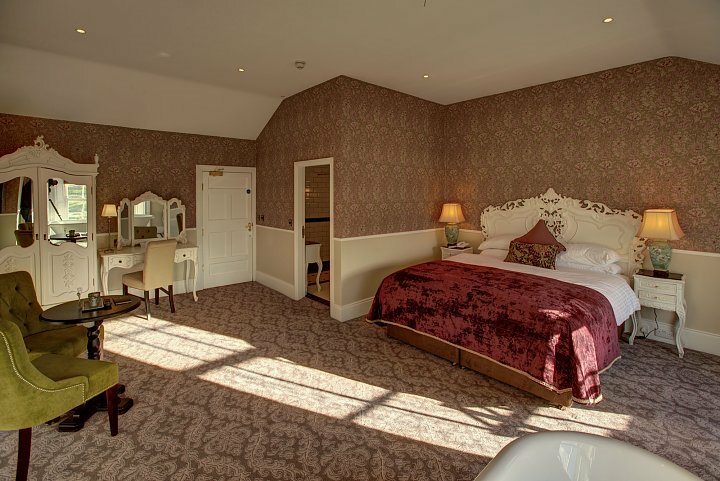 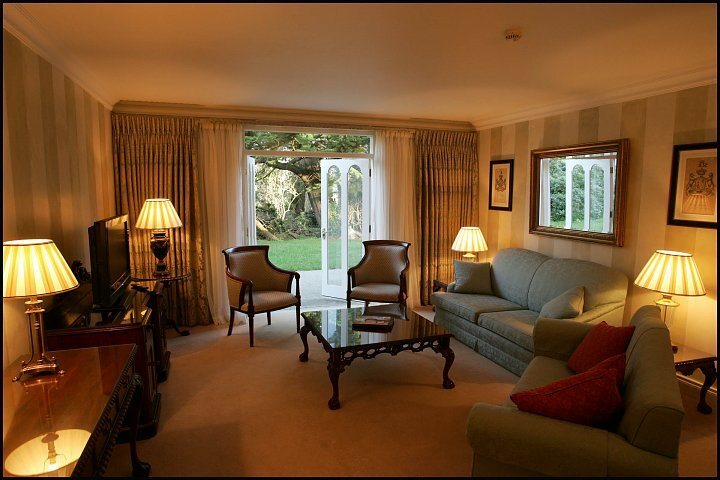 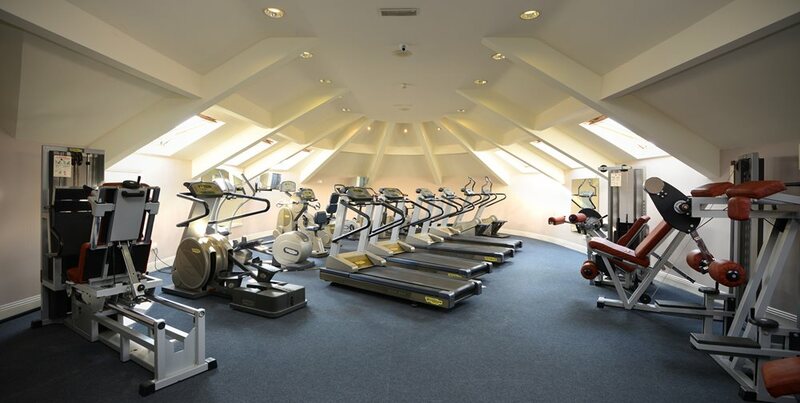 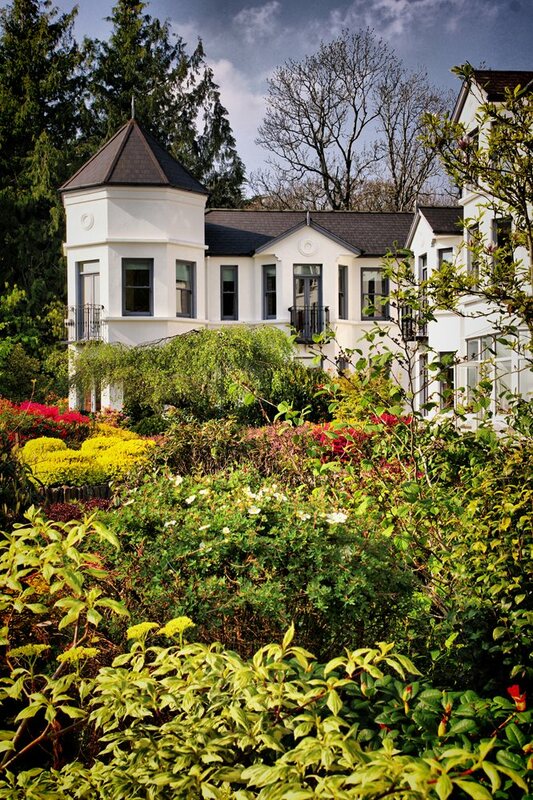 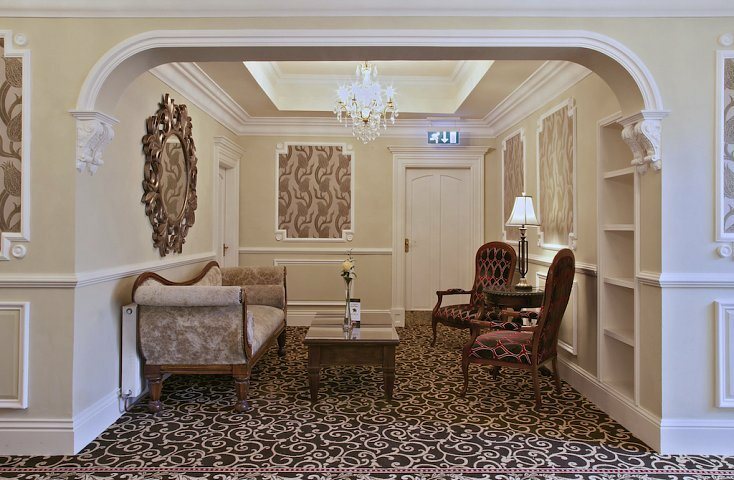 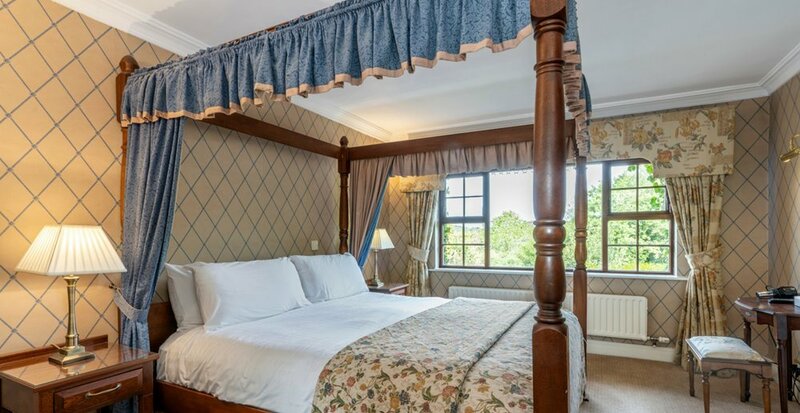 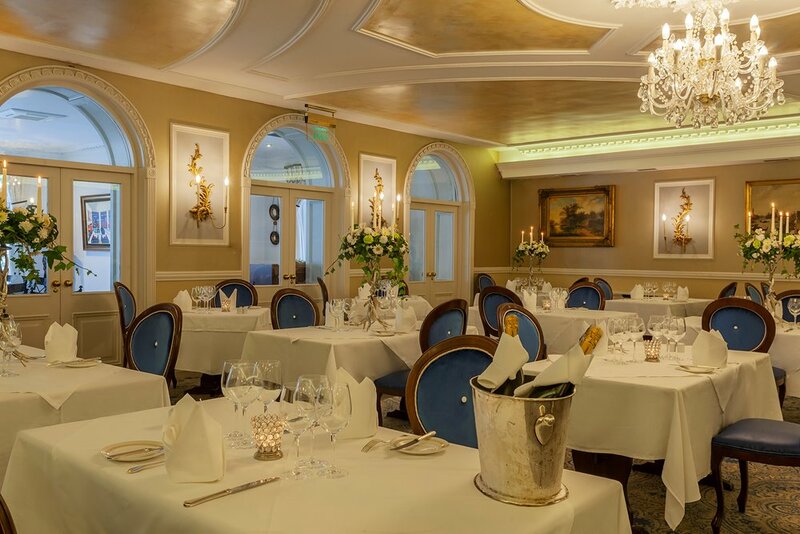 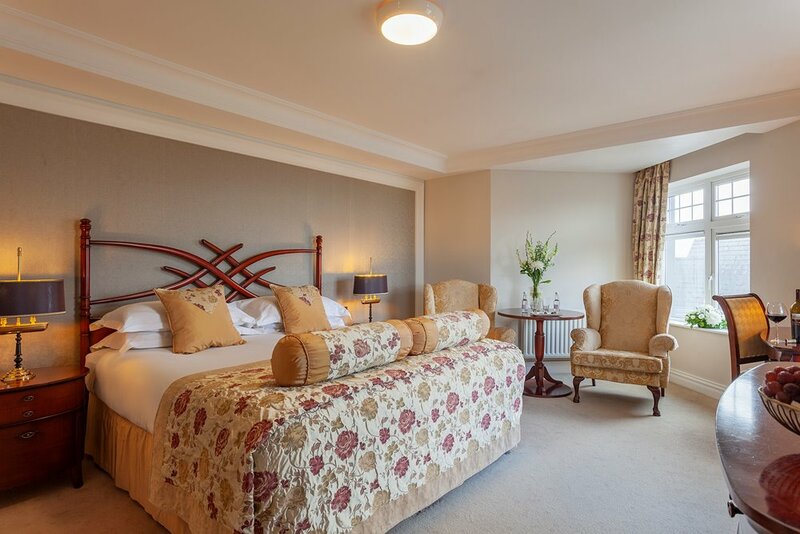 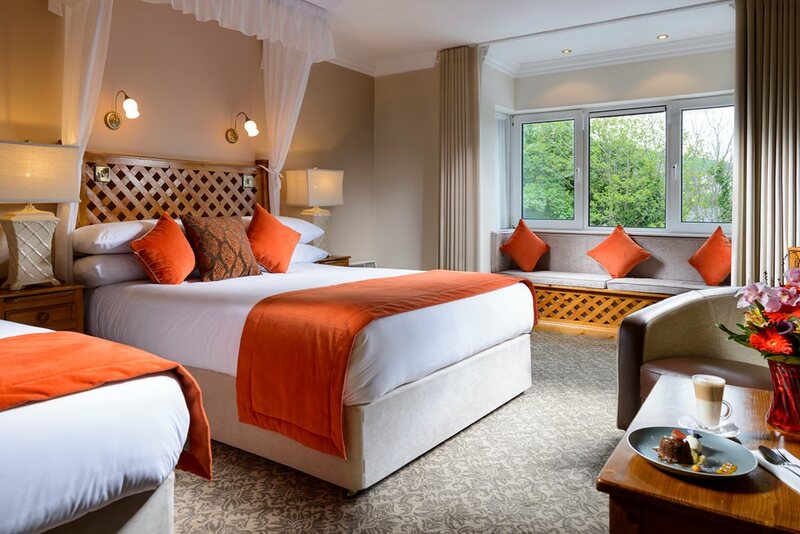 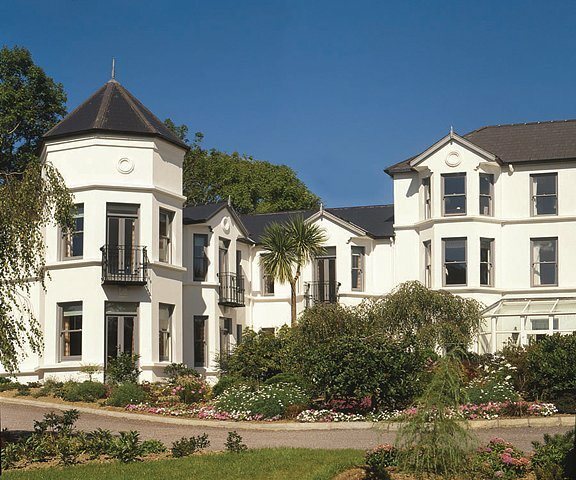 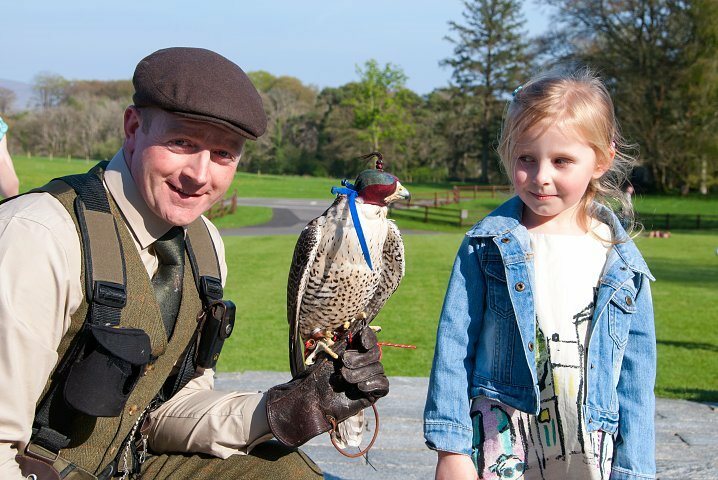 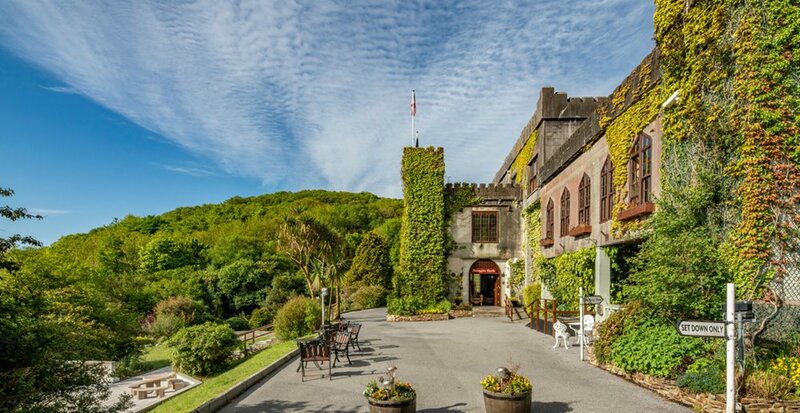 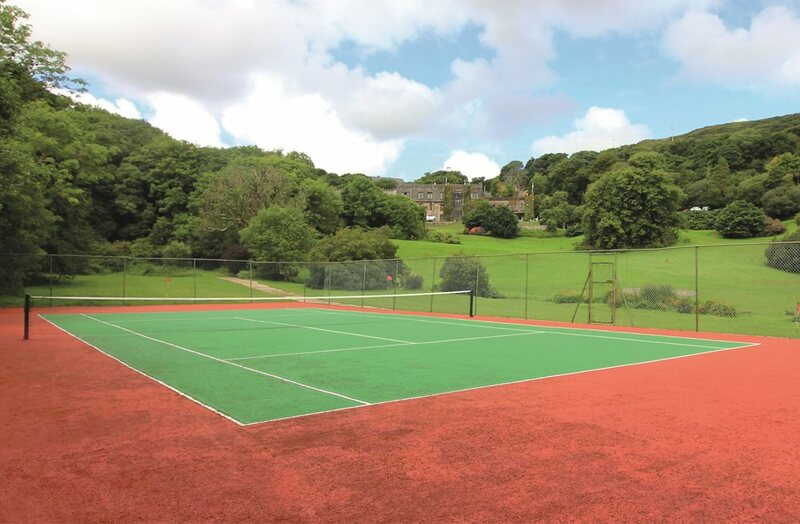 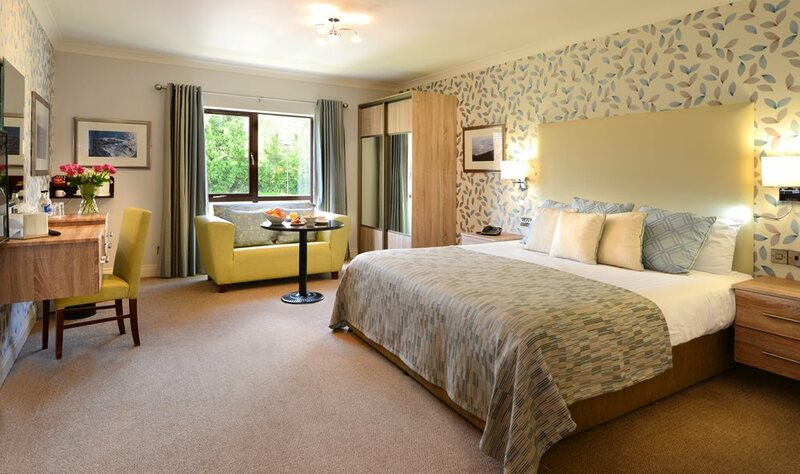 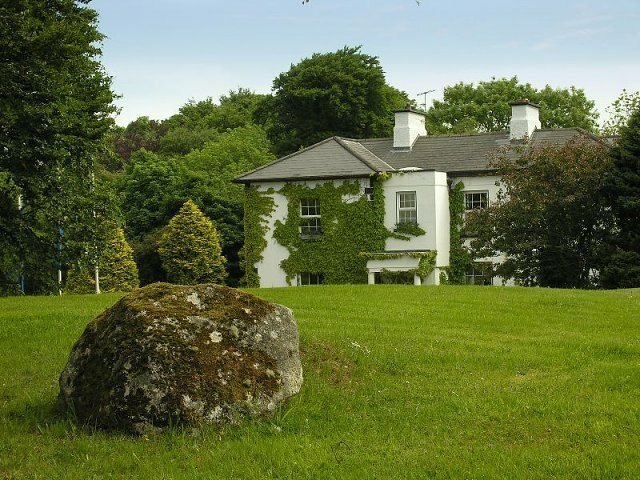 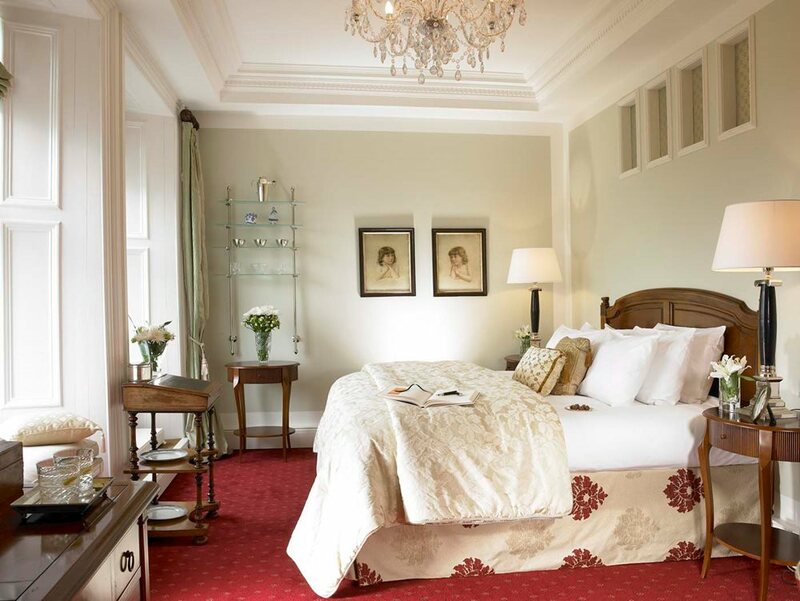 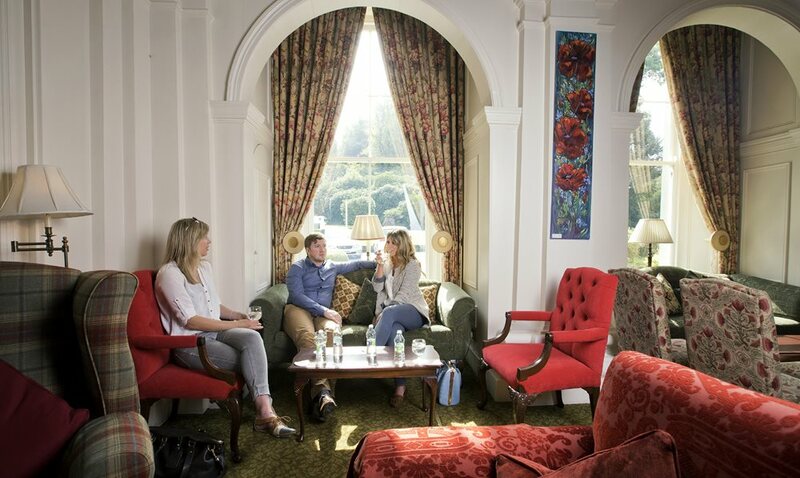 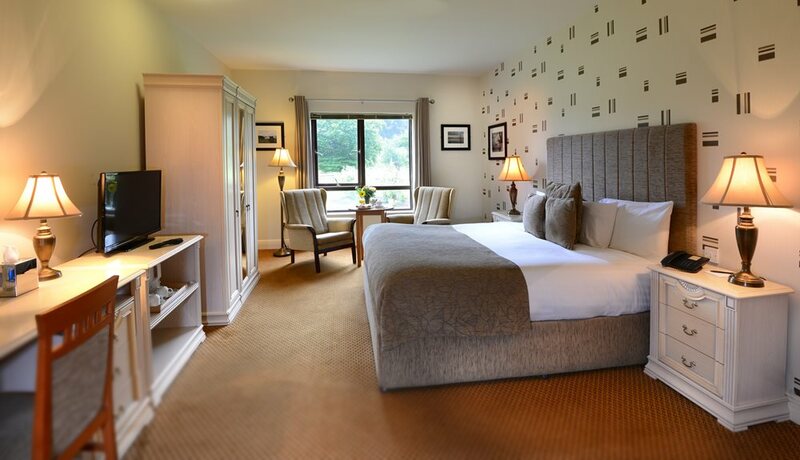 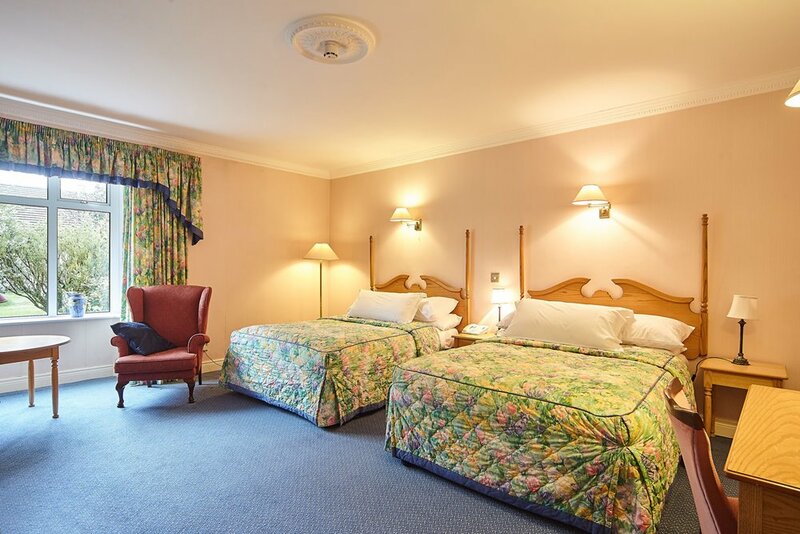 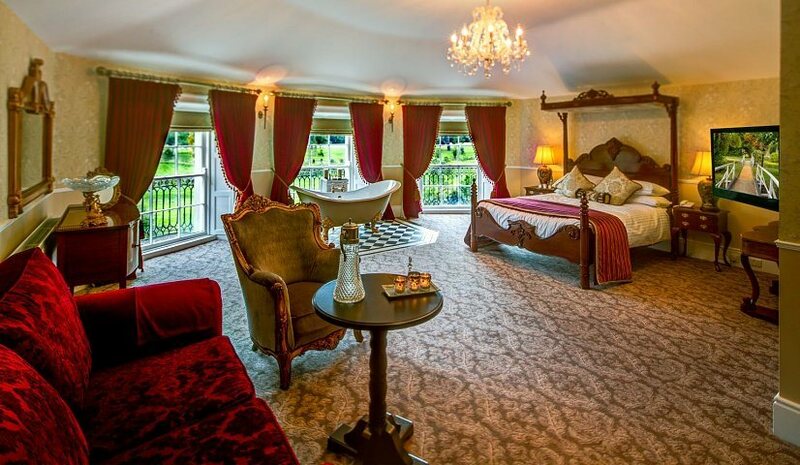 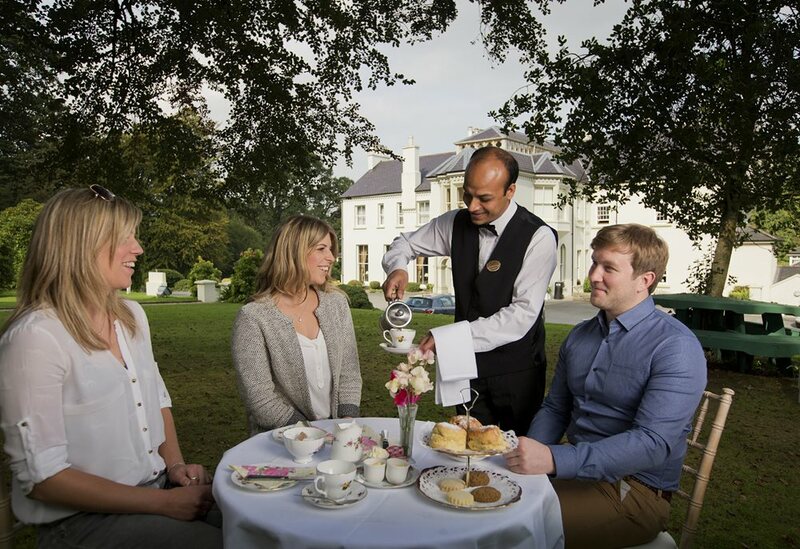 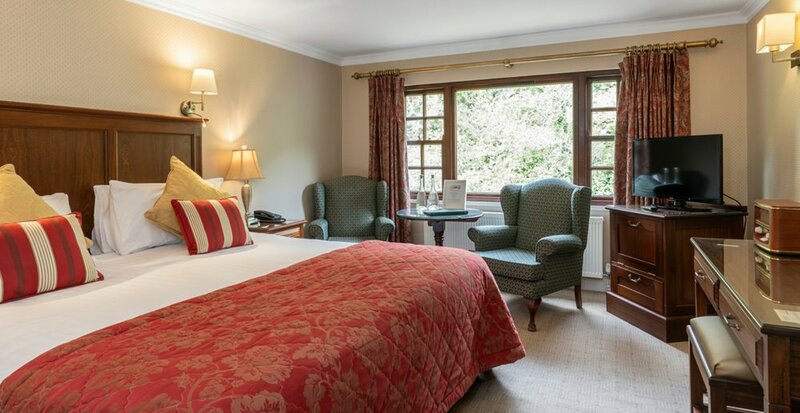 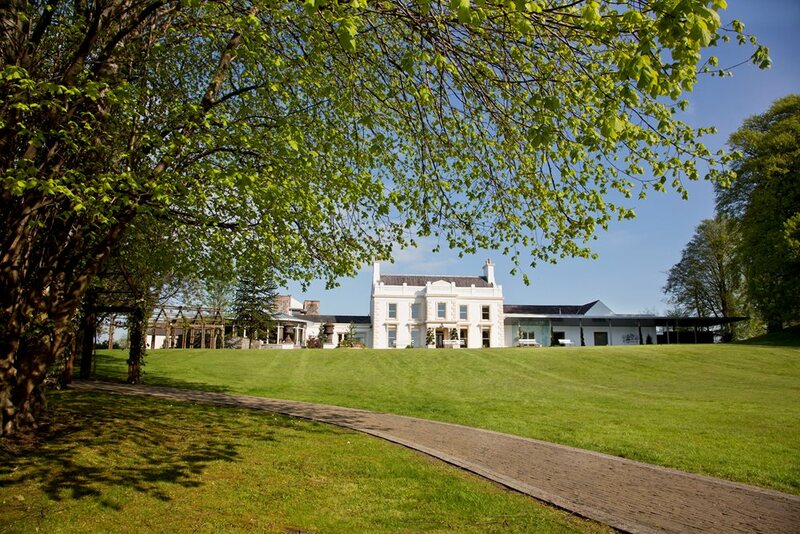 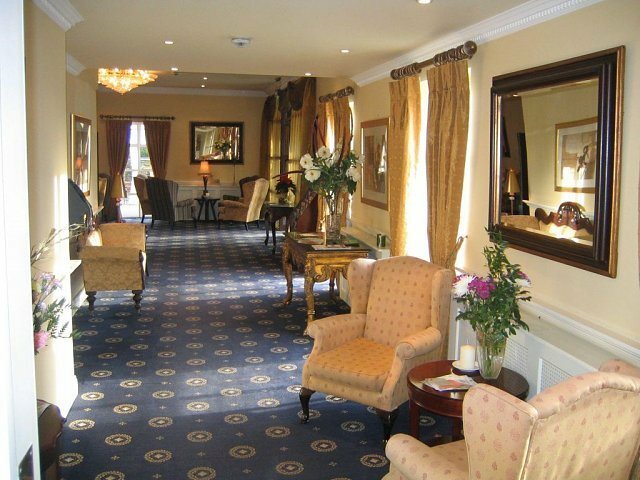 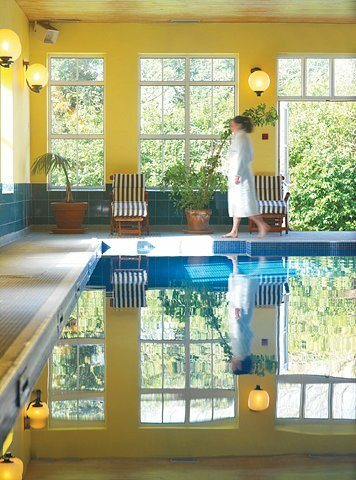 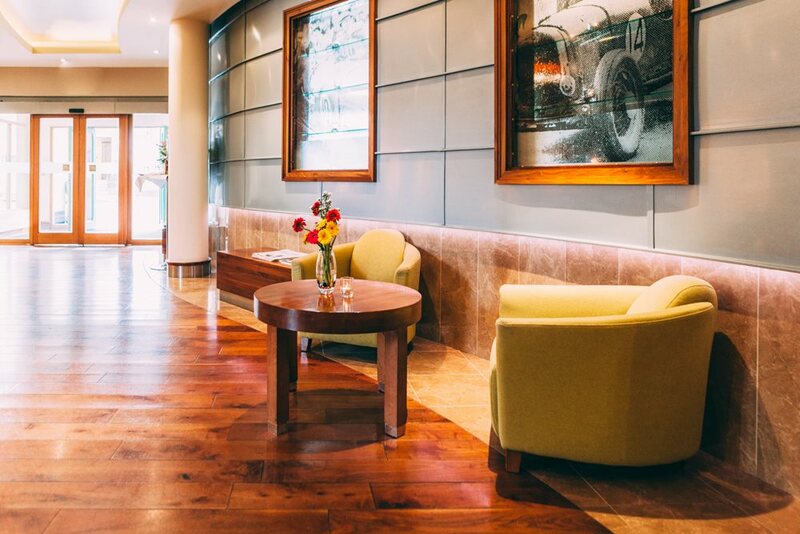 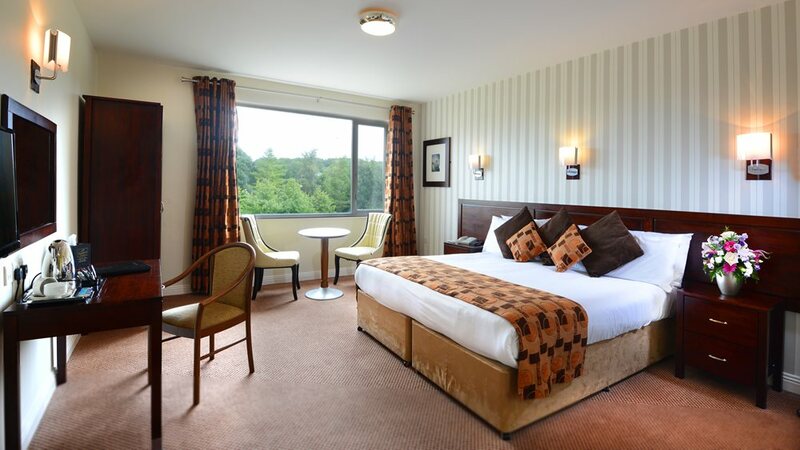 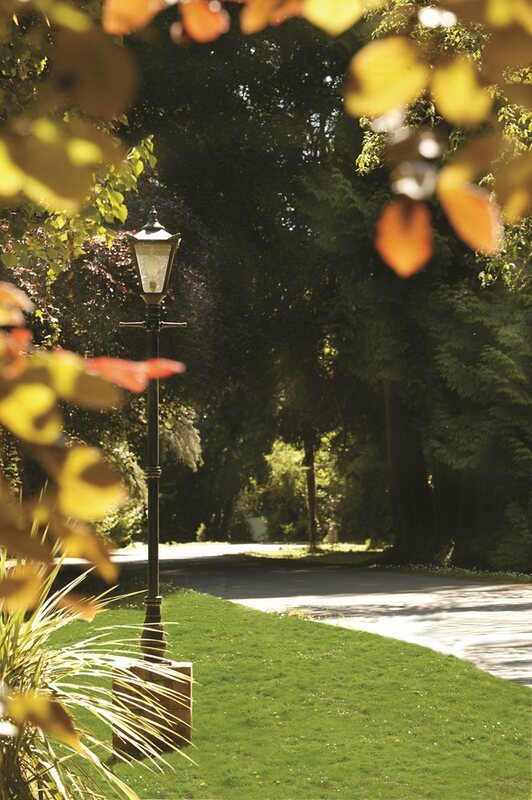 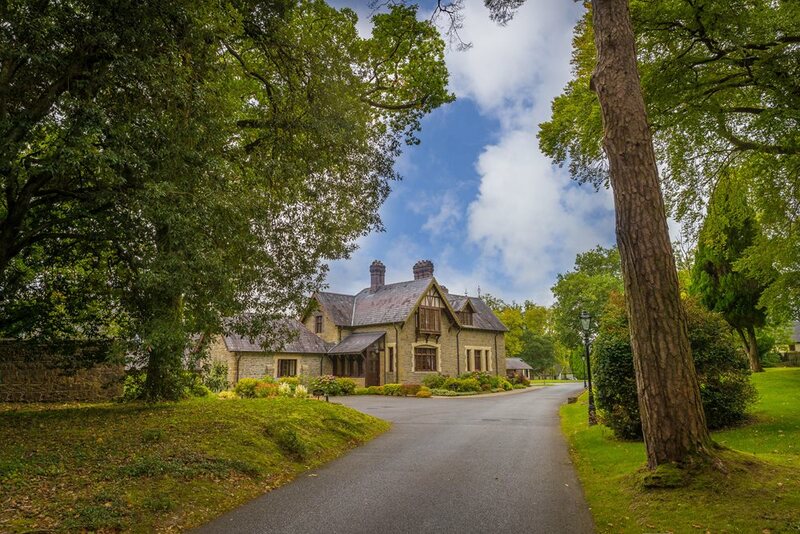 Fitzgeralds Vienna Woods Hotel, in the historic village of Glanmire, is nestled in over 20 acres of mature wooded parkland overlooking Cork Harbour. 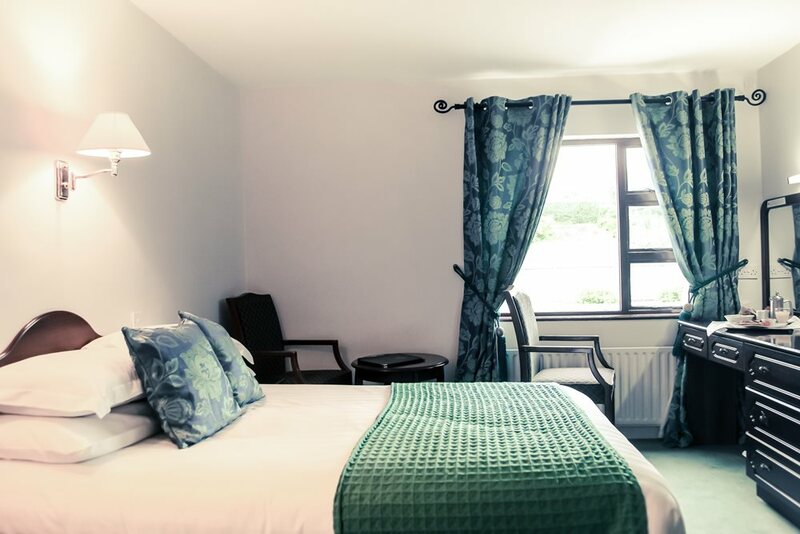 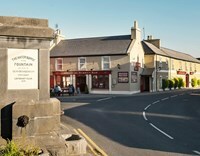 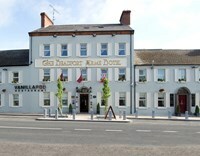 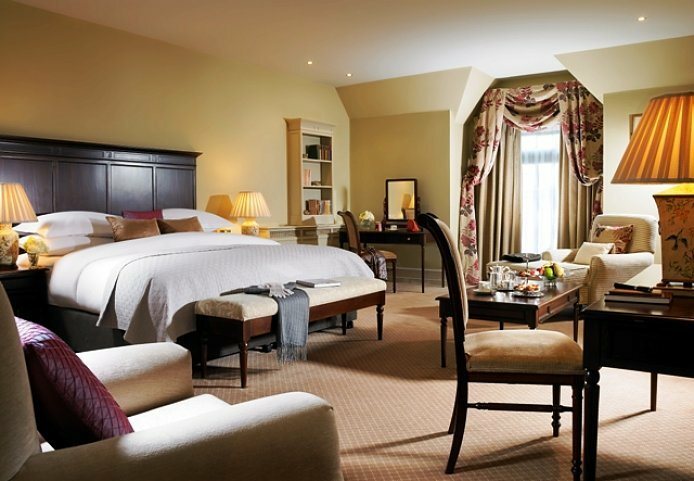 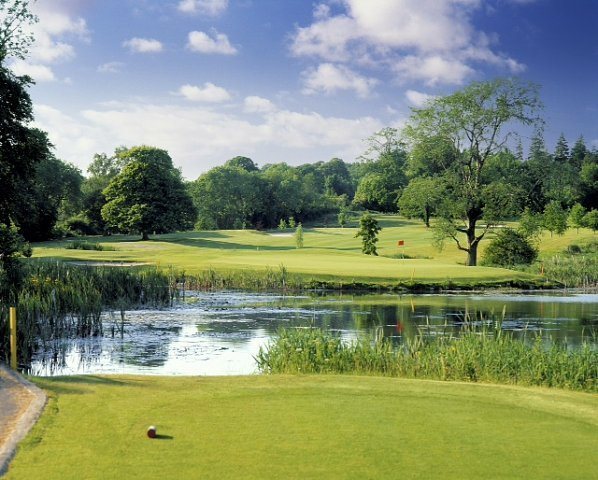 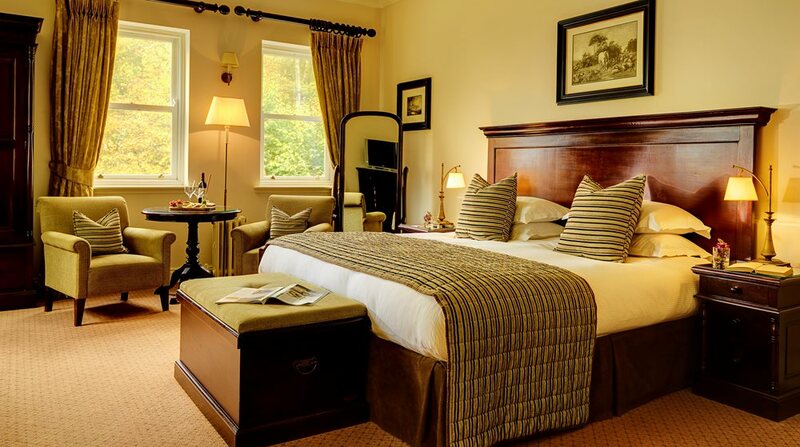 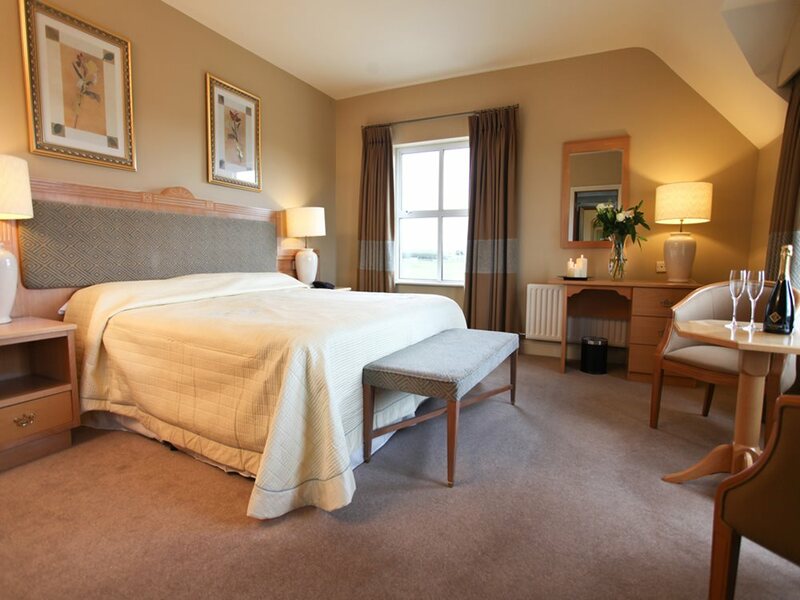 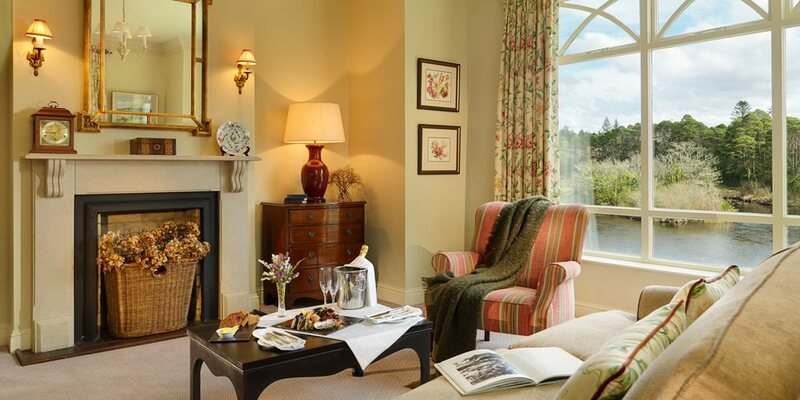 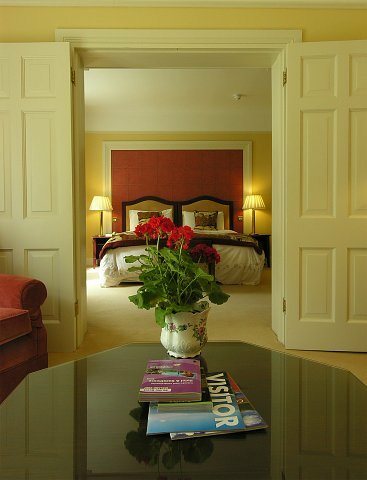 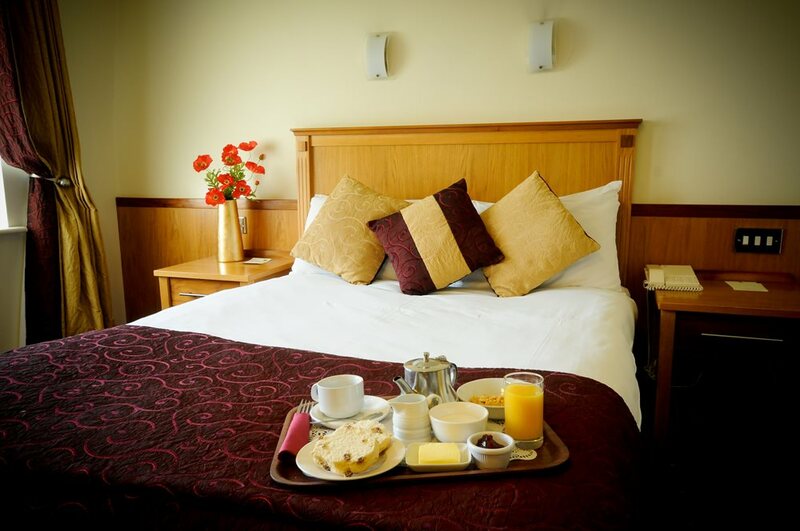 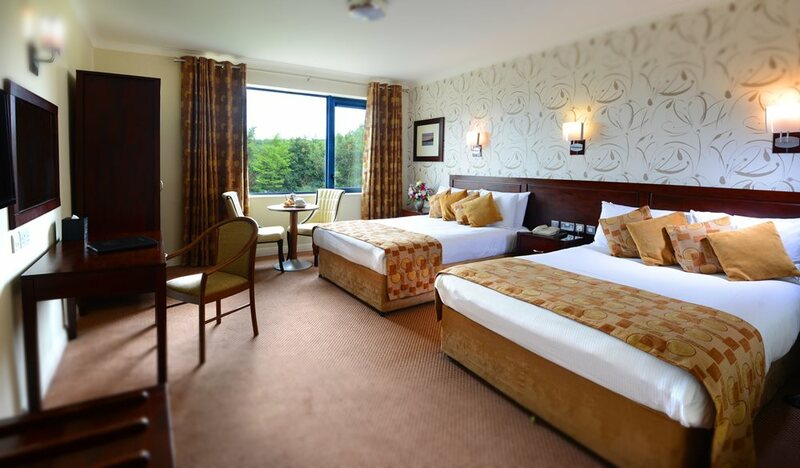 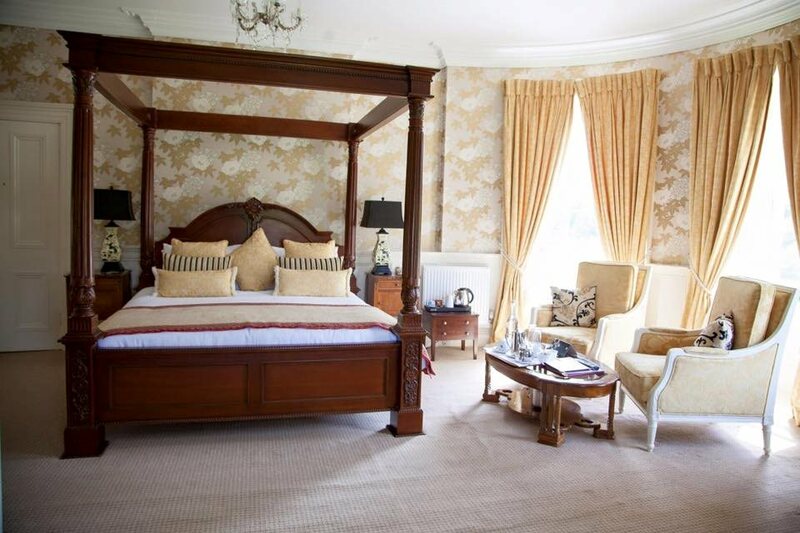 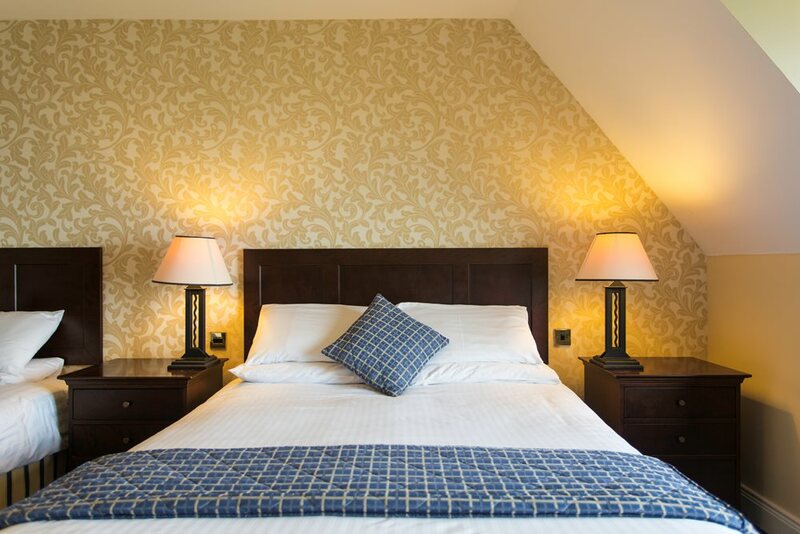 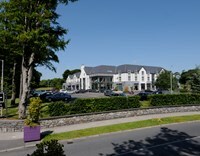 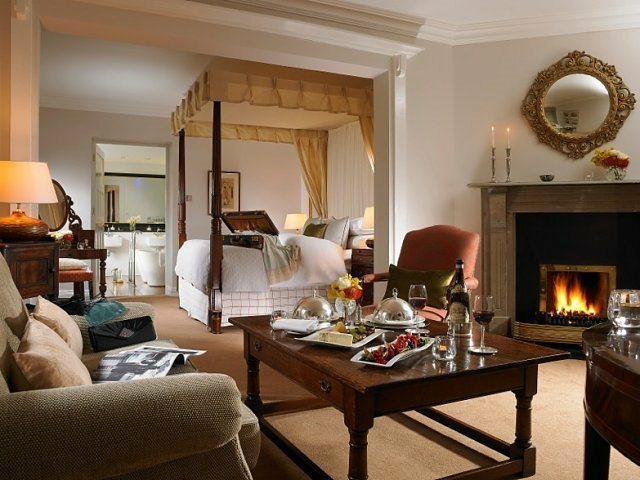 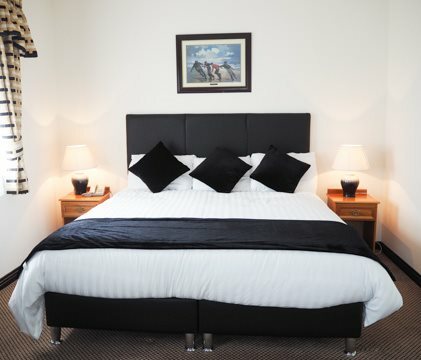 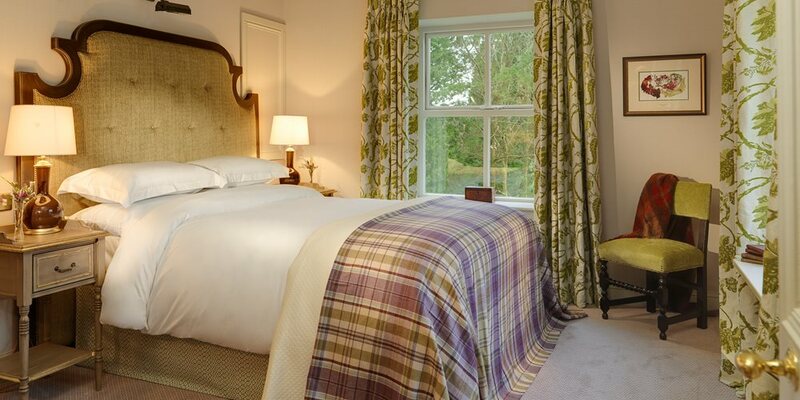 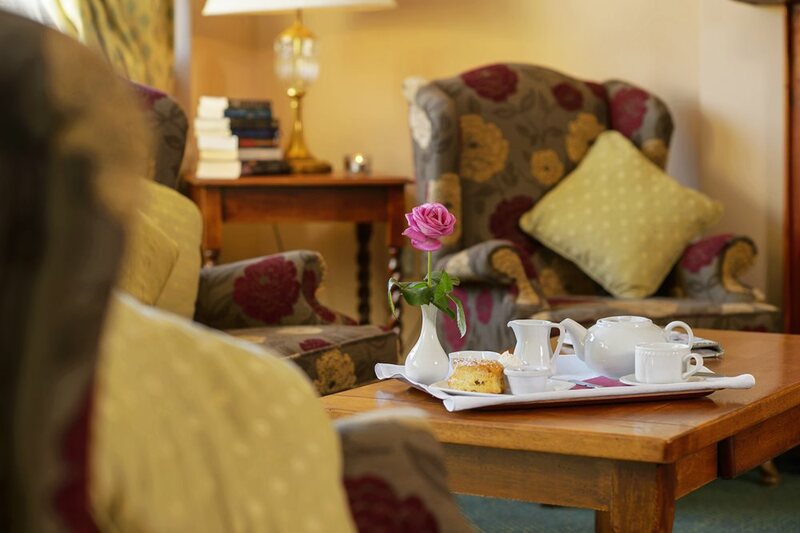 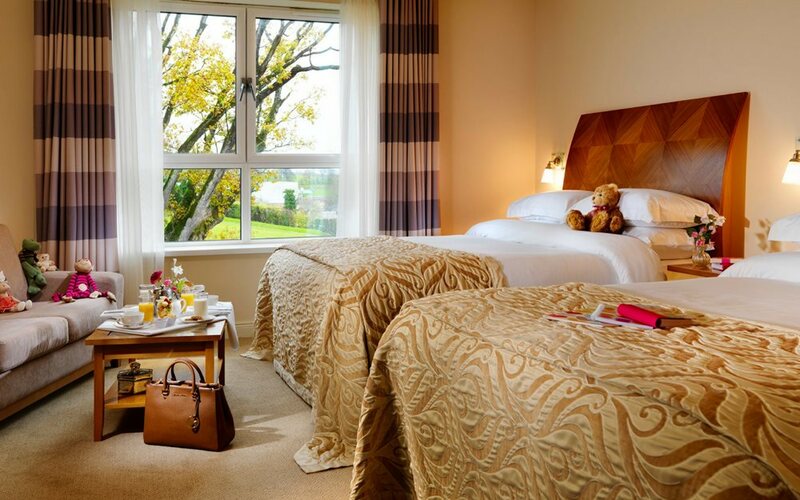 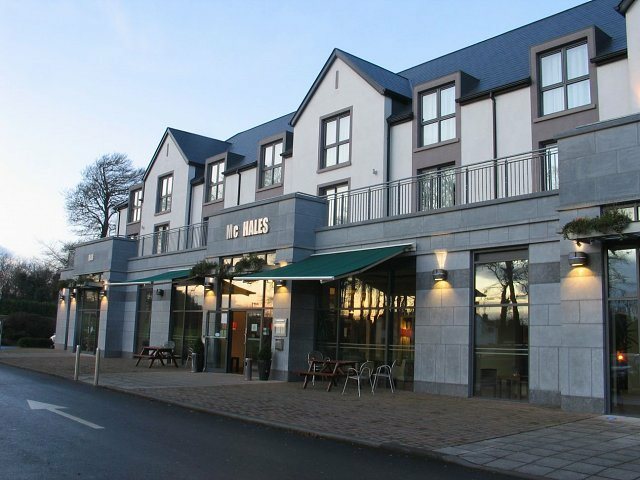 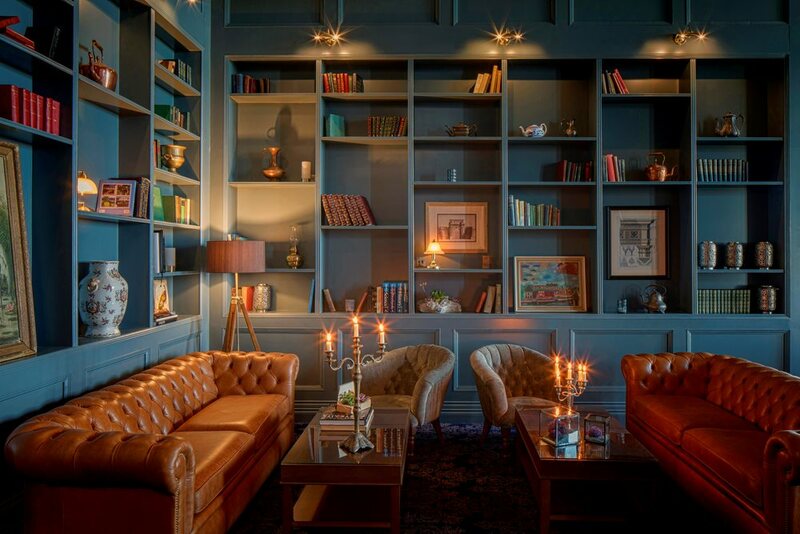 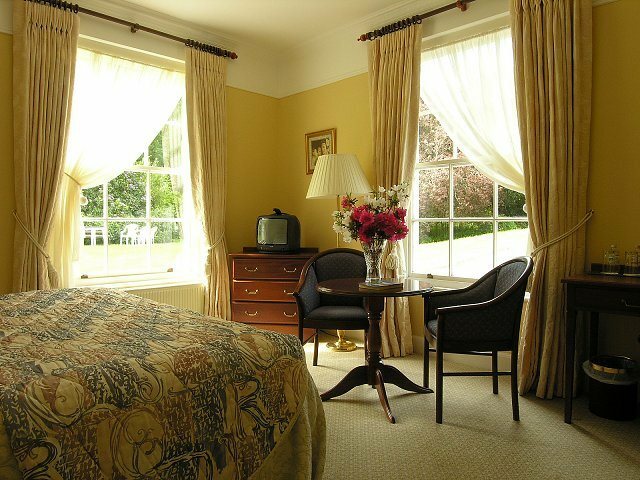 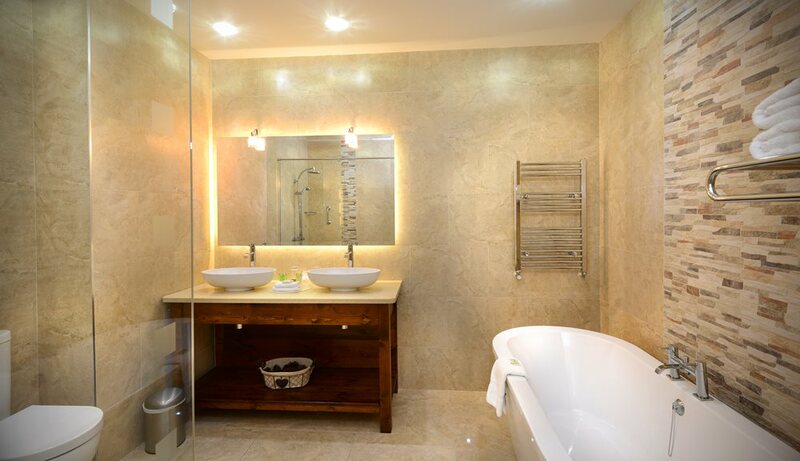 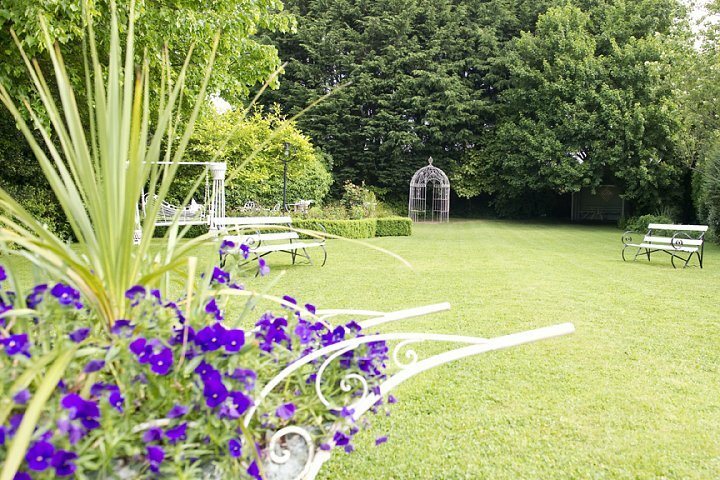 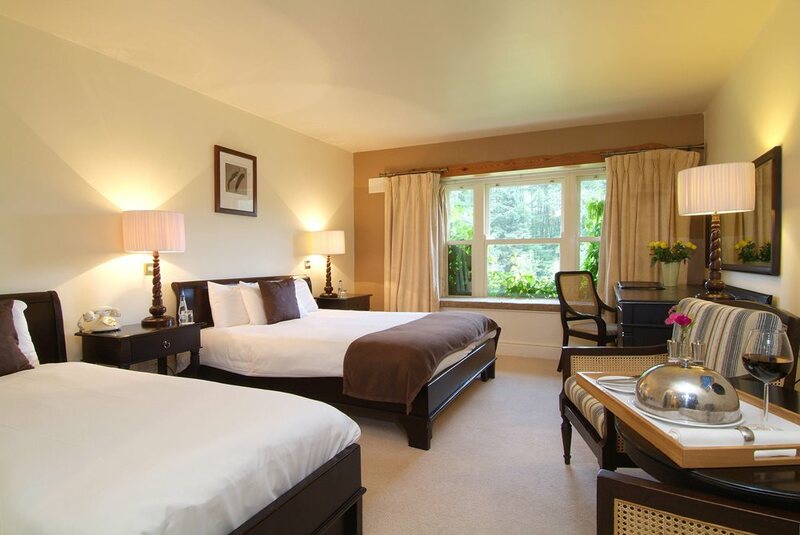 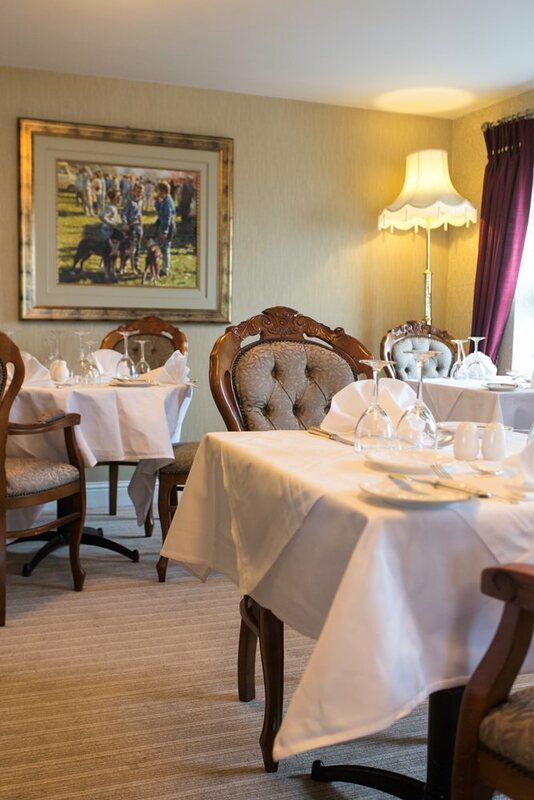 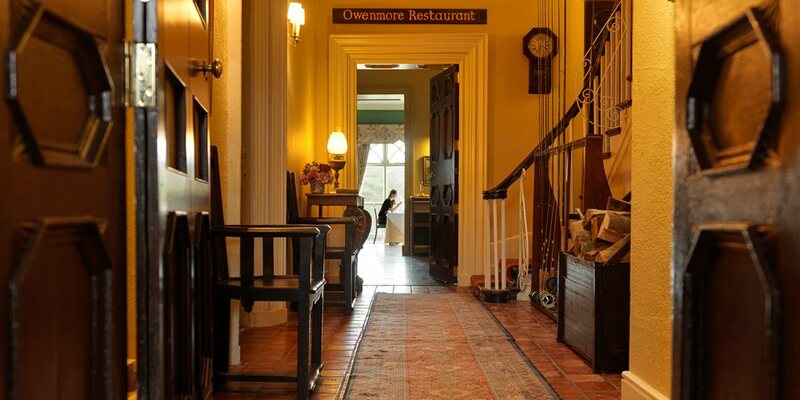 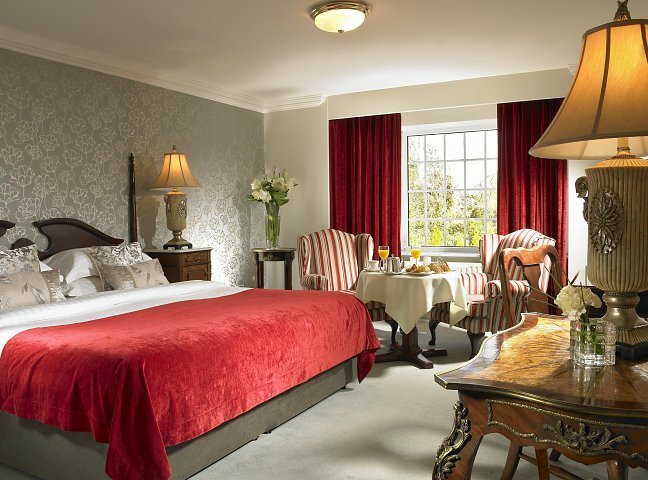 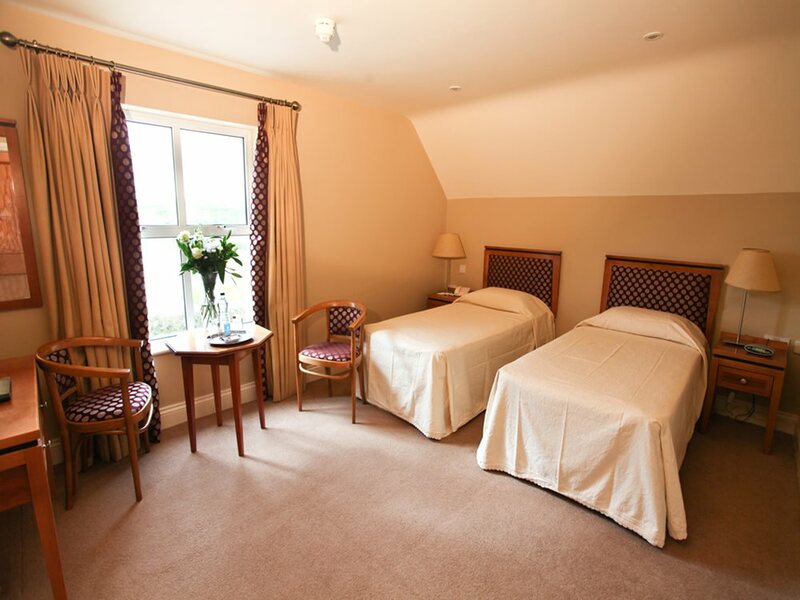 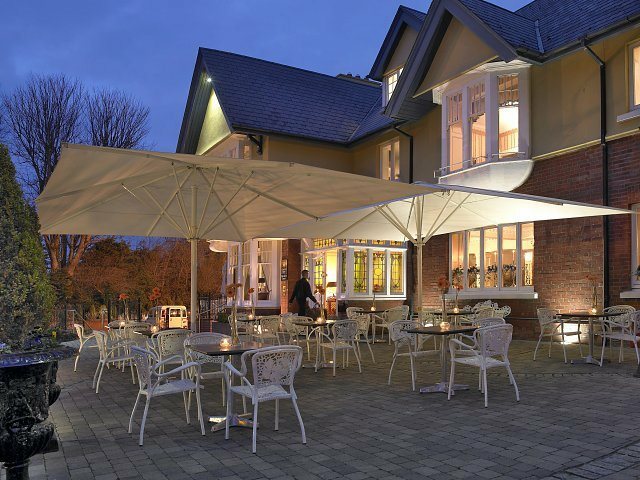 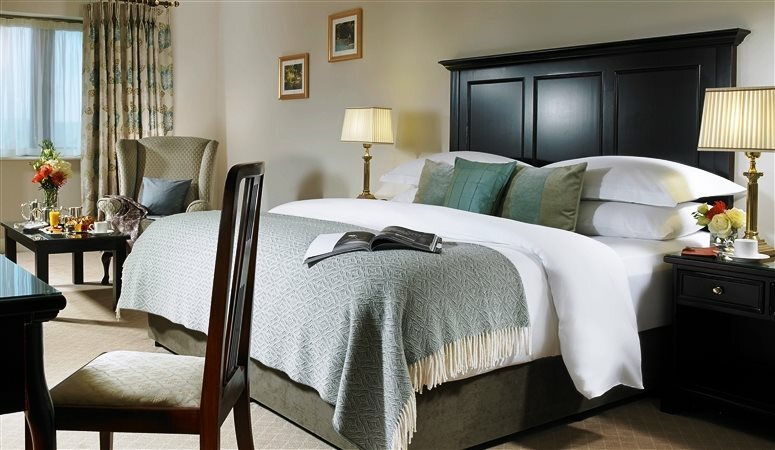 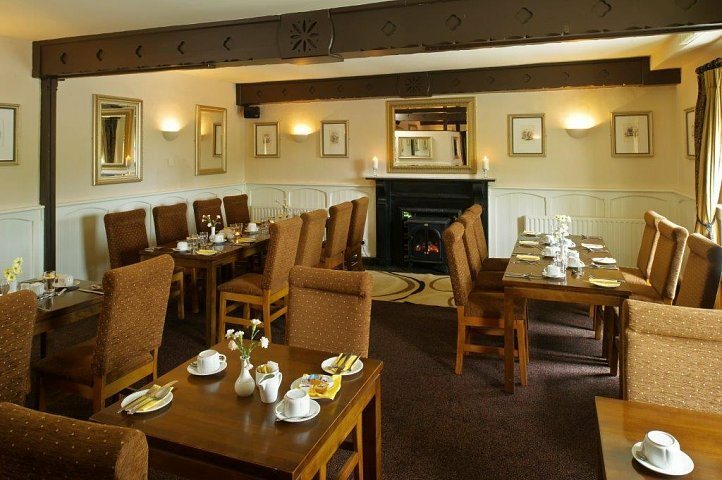 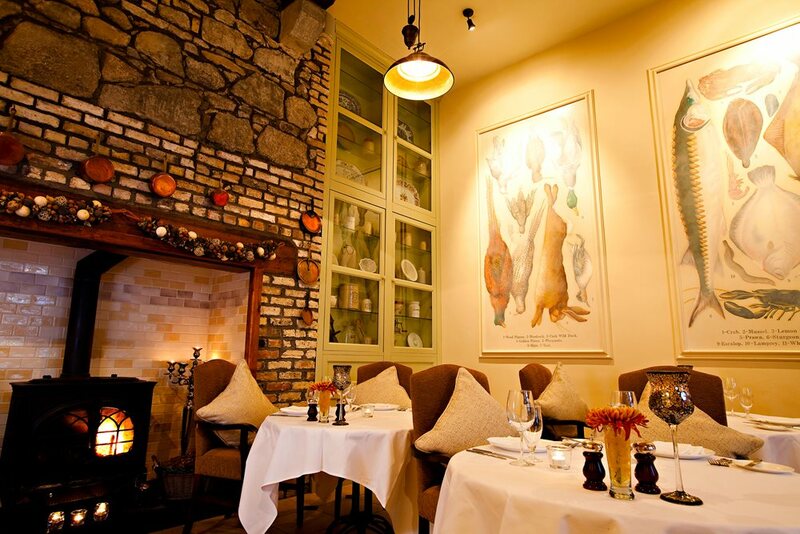 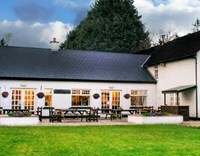 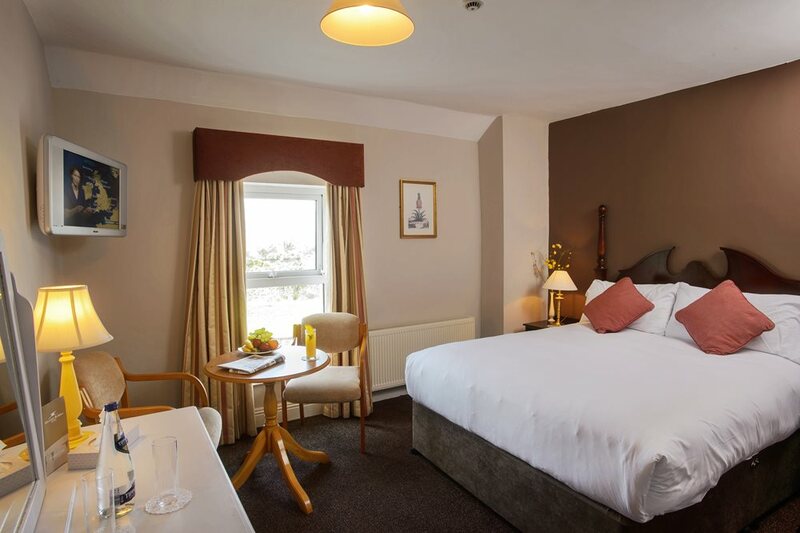 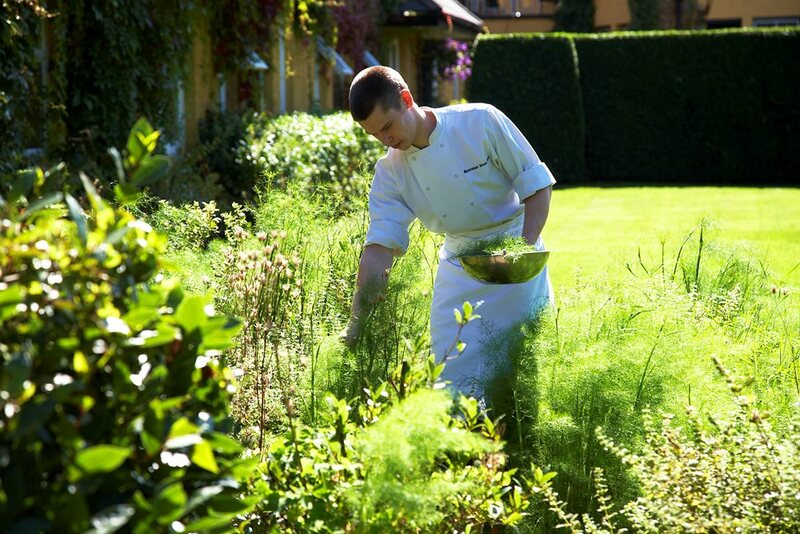 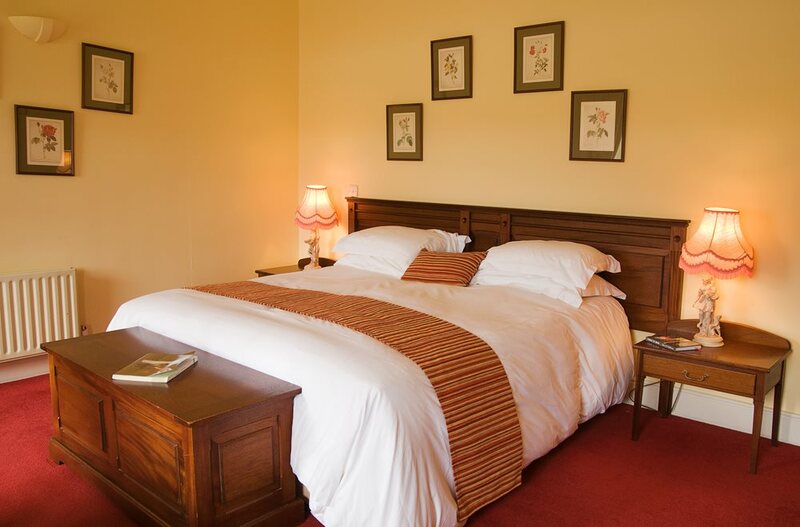 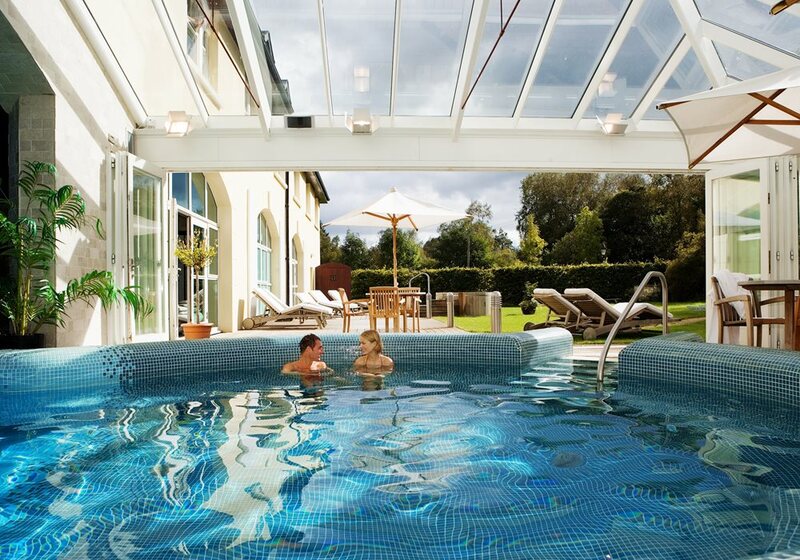 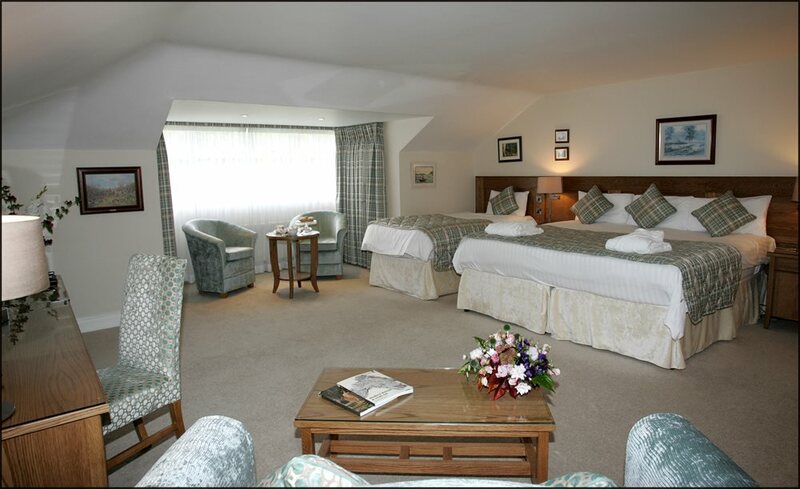 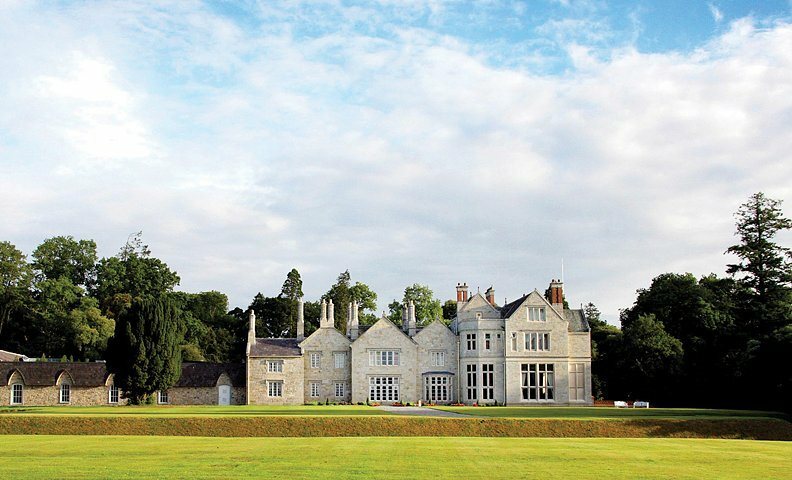 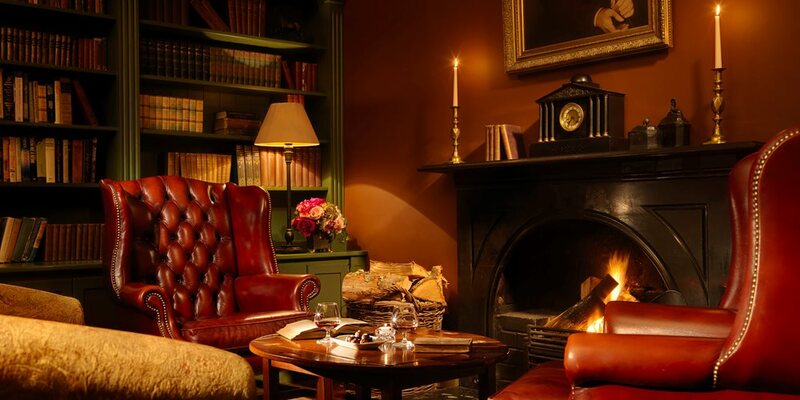 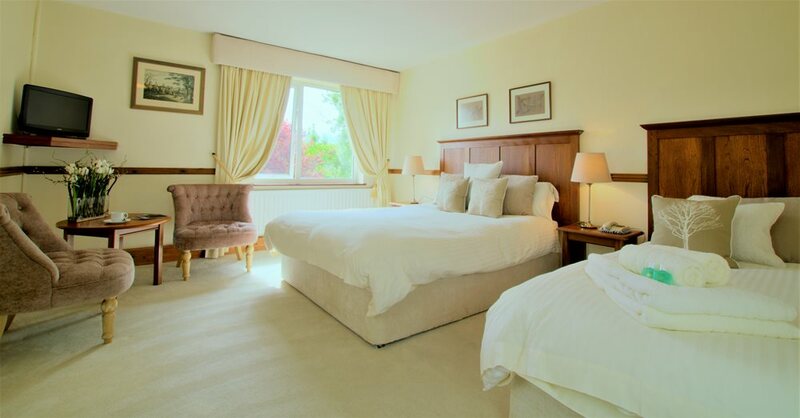 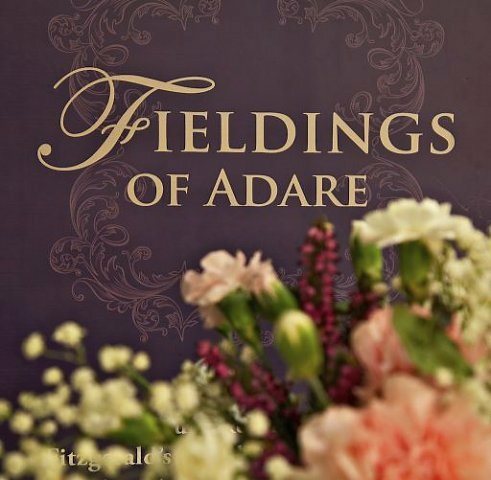 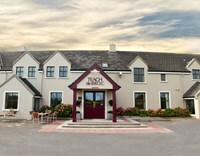 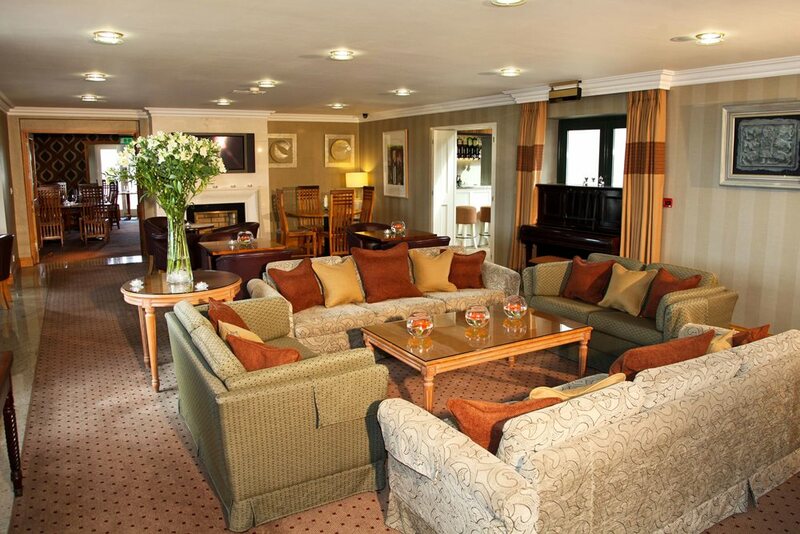 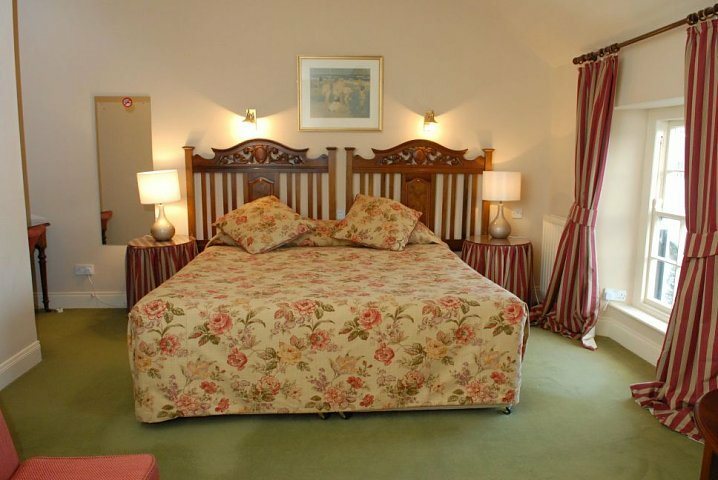 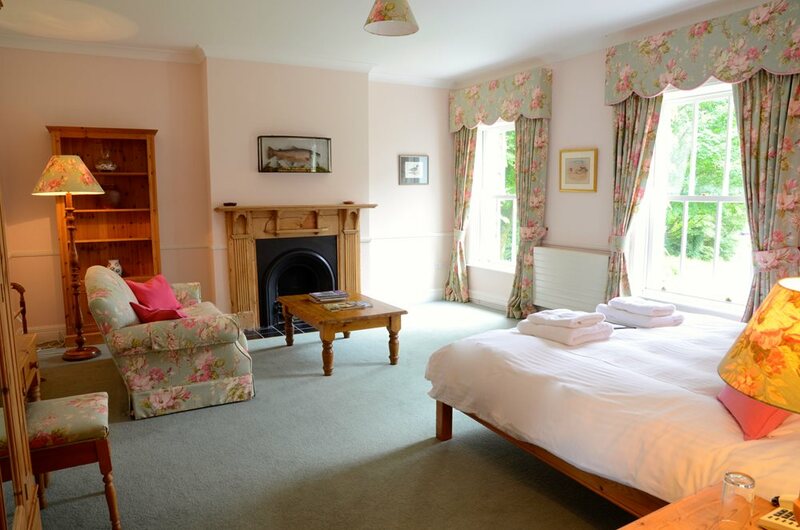 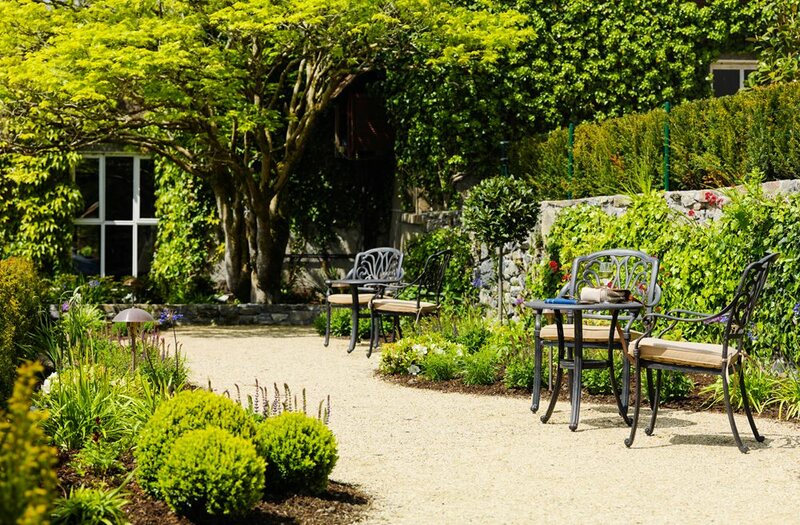 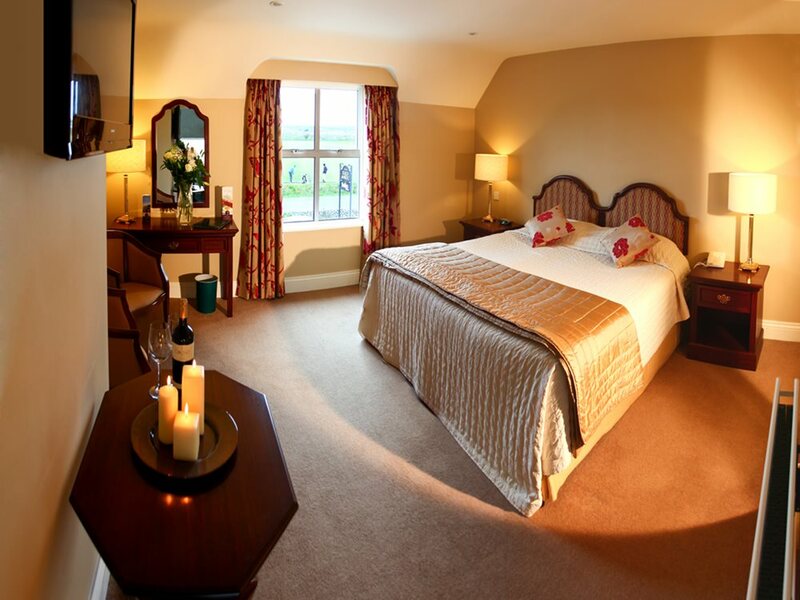 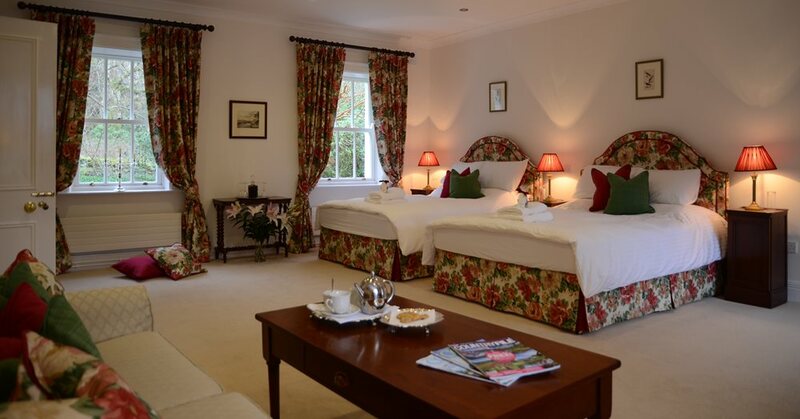 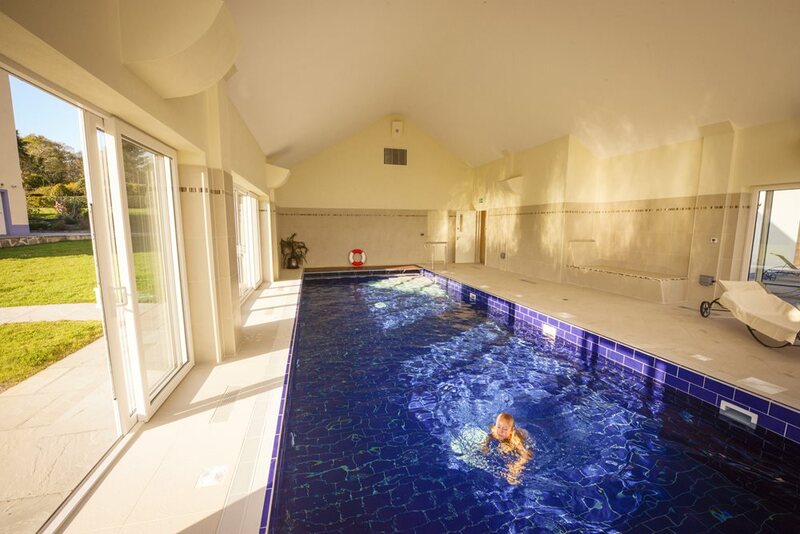 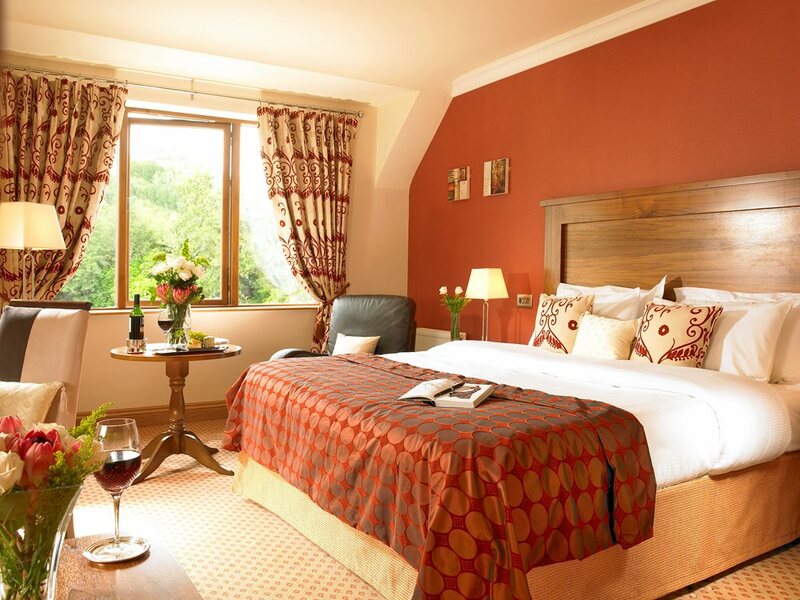 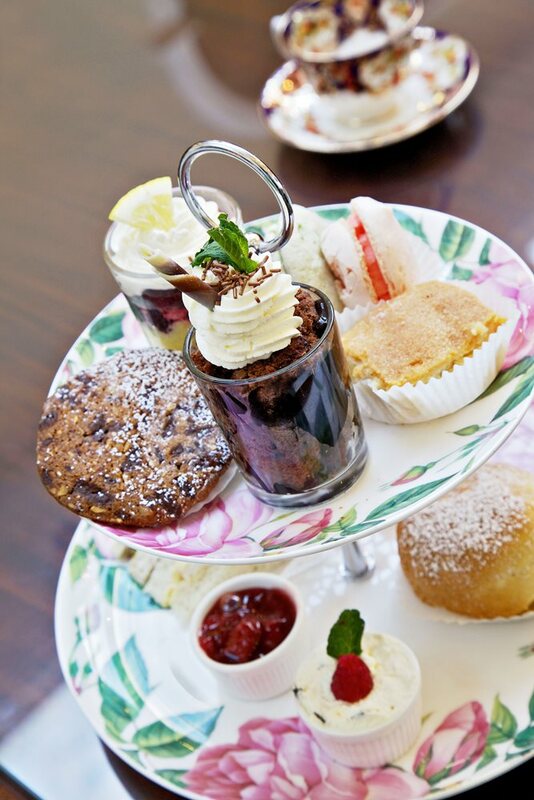 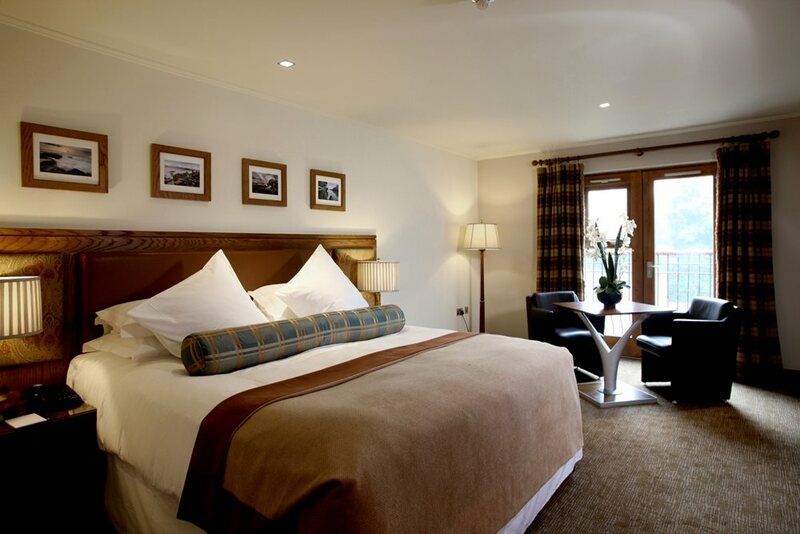 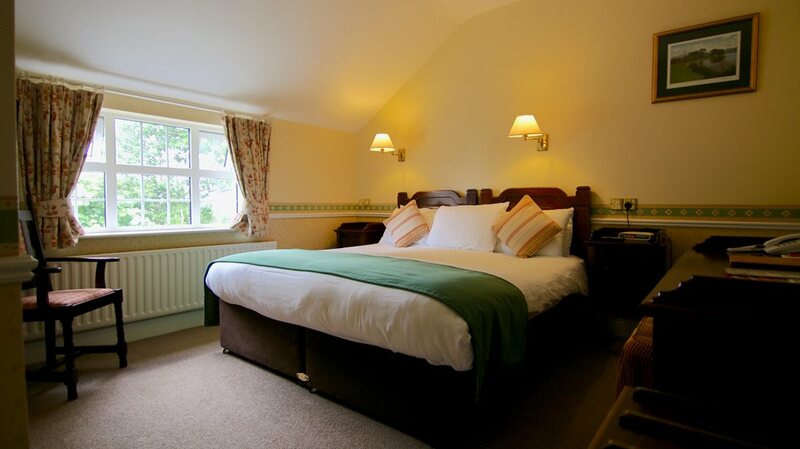 A family run hotel set on the edge of Adare, with superb hospitality and fantastic facilities. 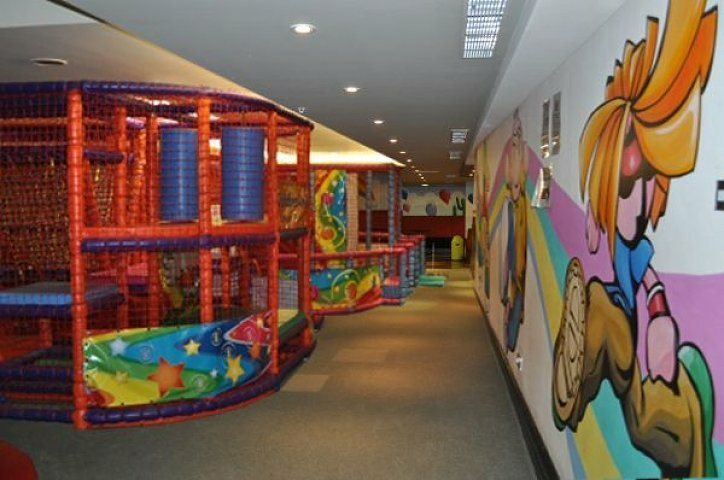 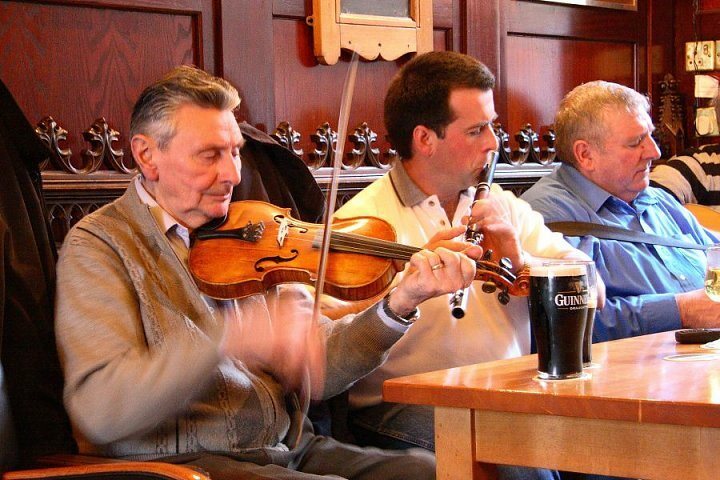 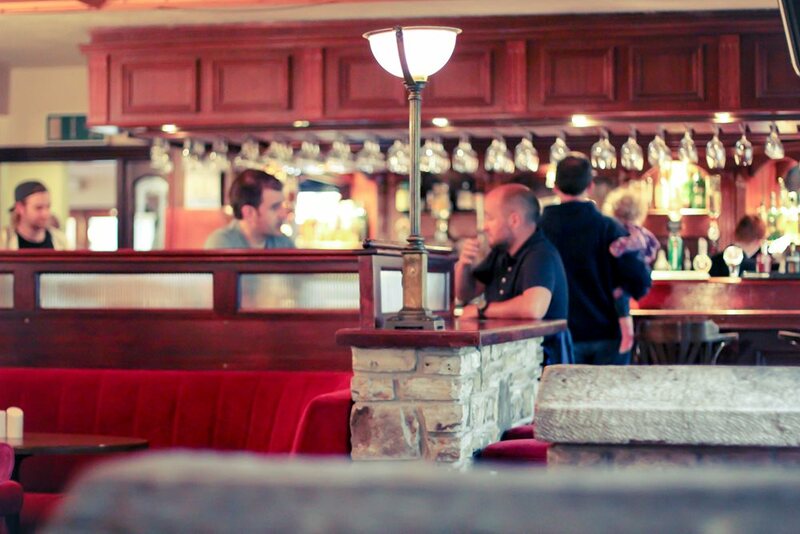 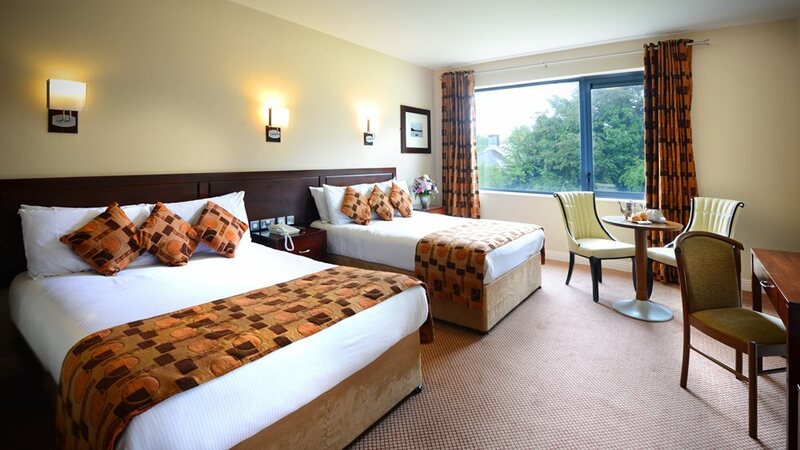 Fitzgeralds is 10 minutes from Limerick City. 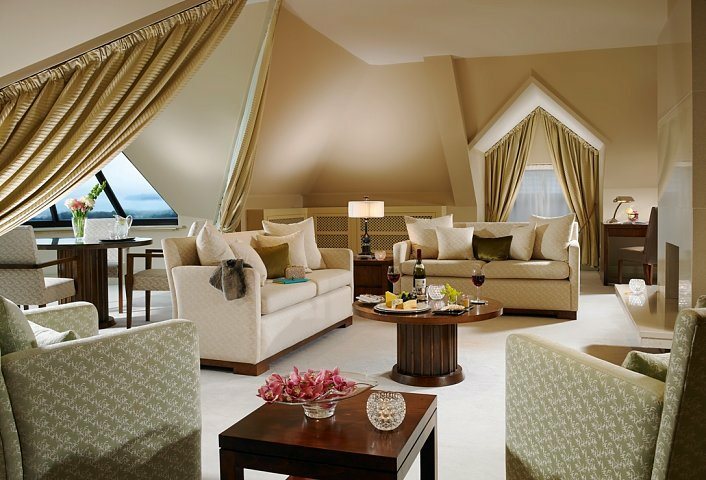 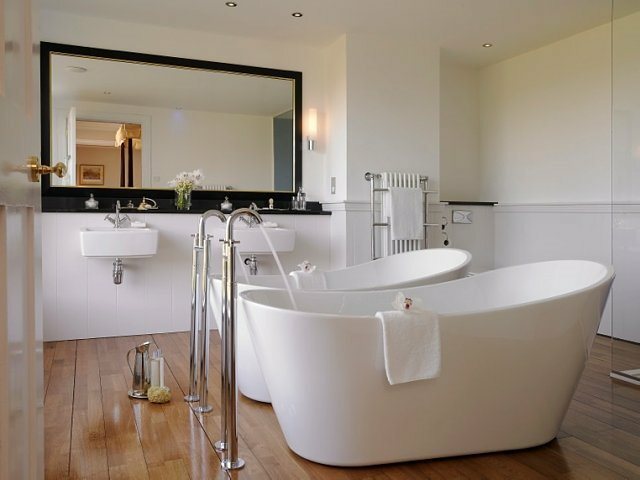 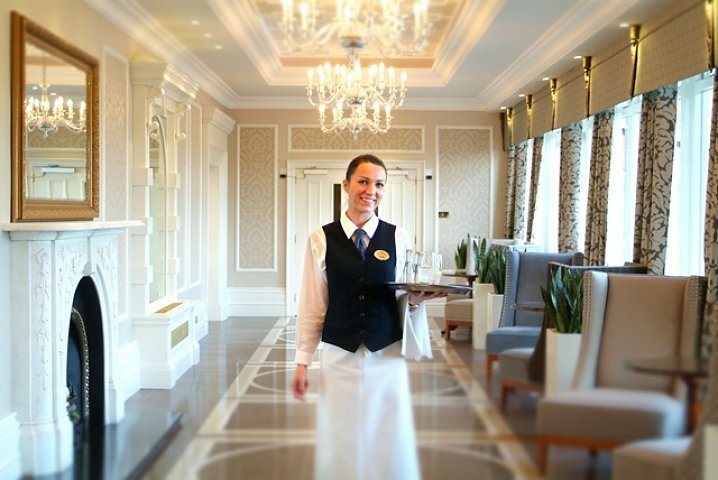 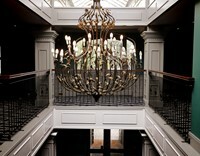 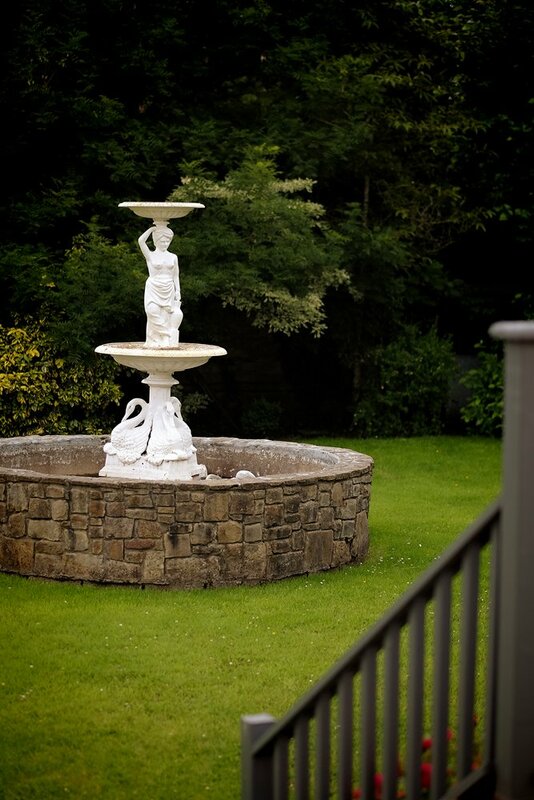 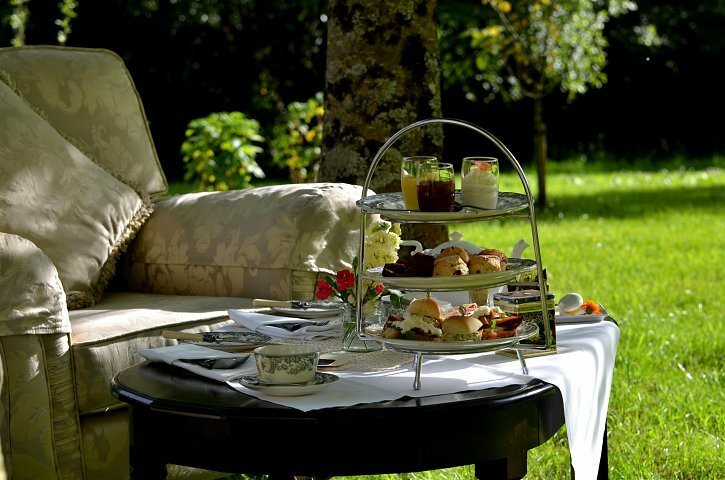 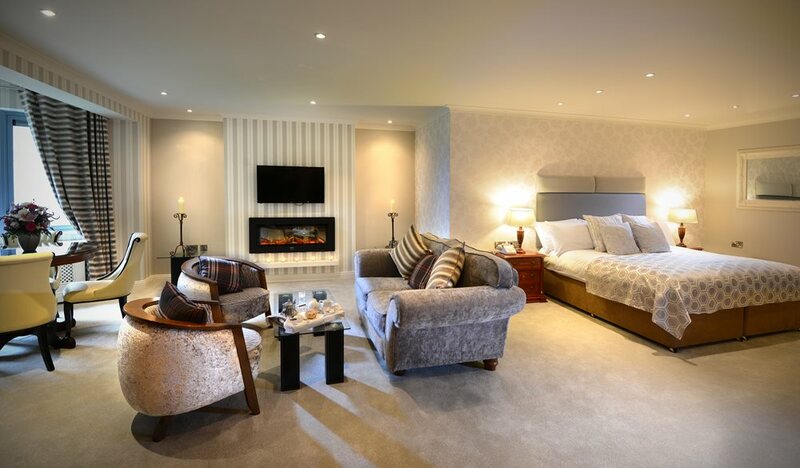 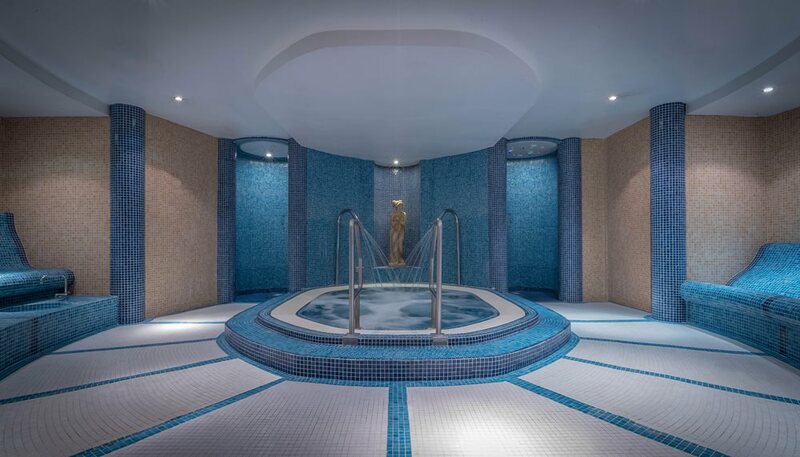 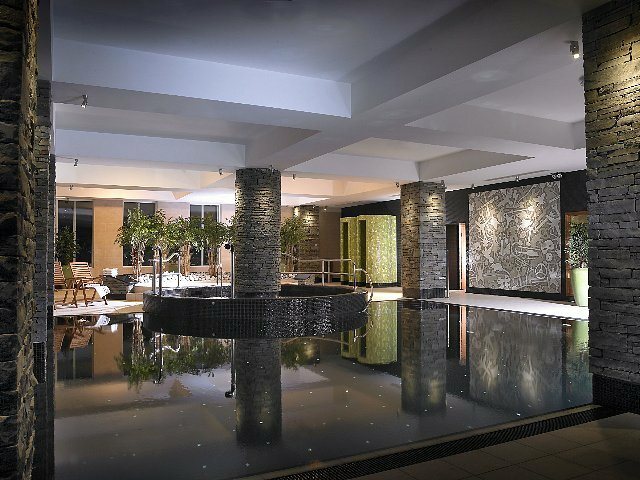 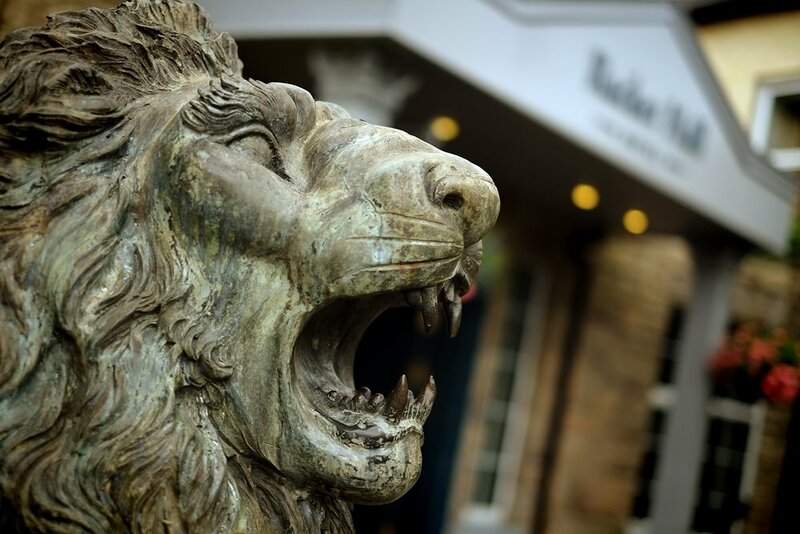 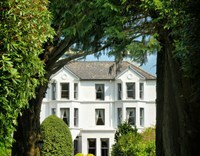 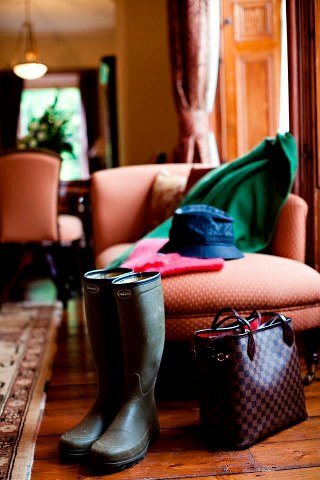 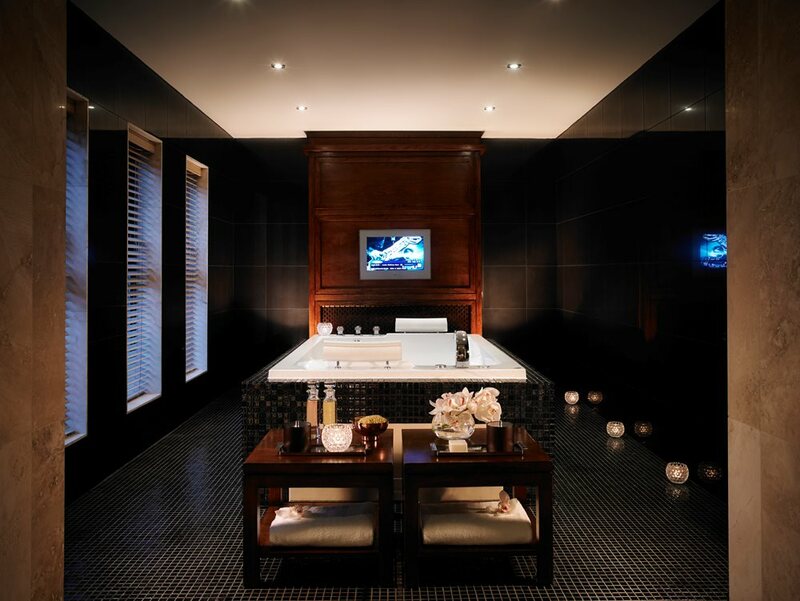 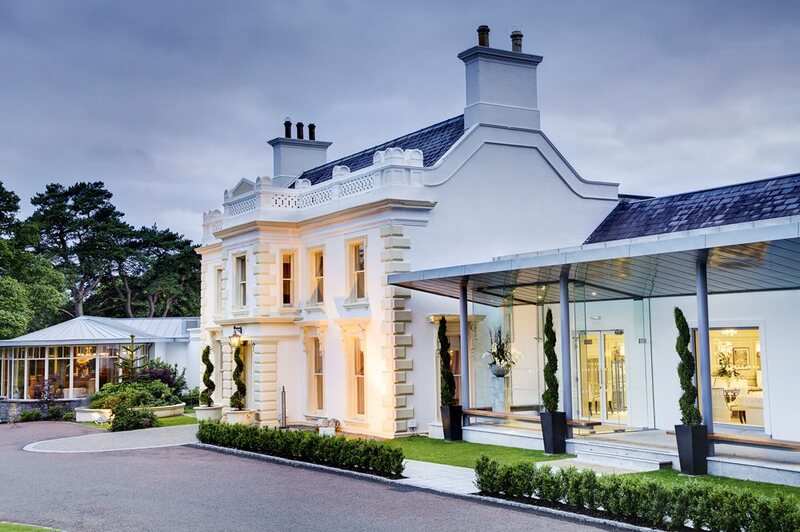 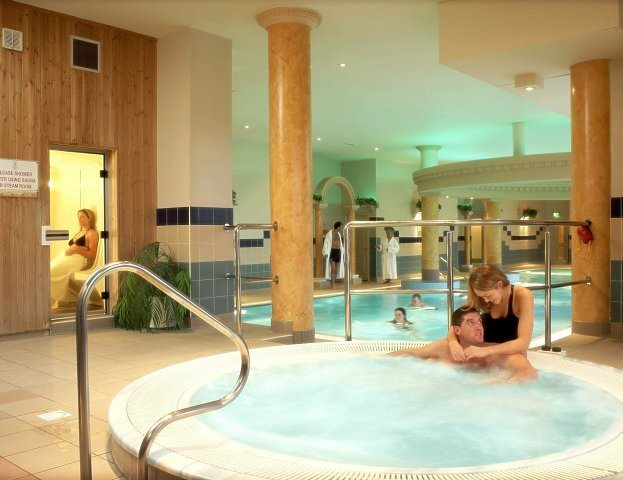 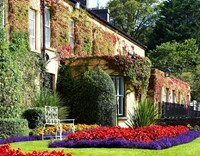 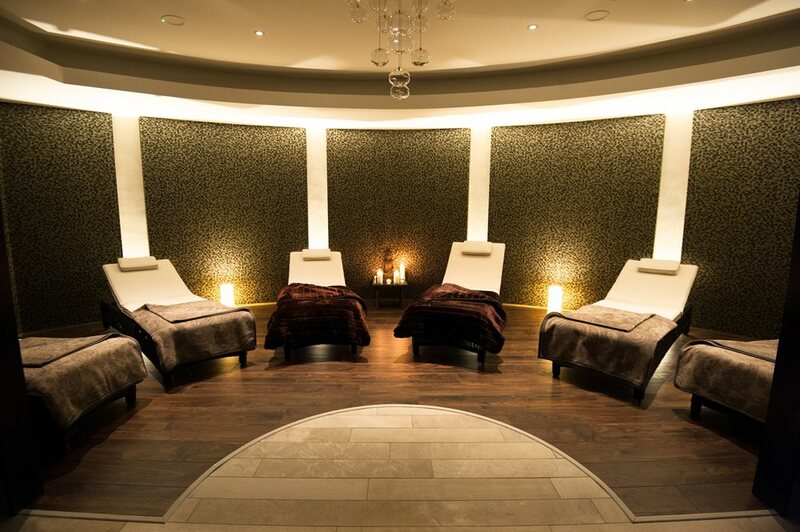 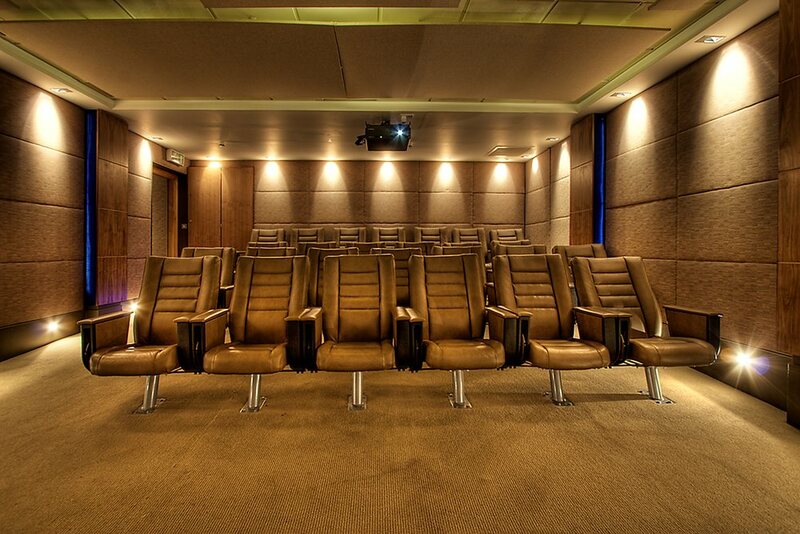 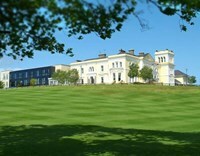 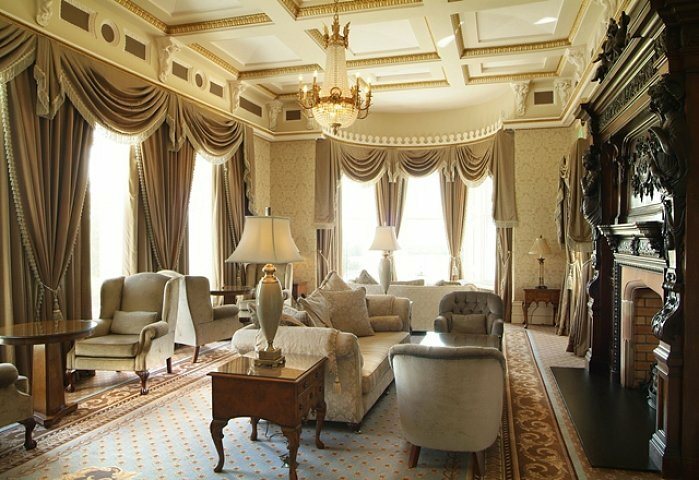 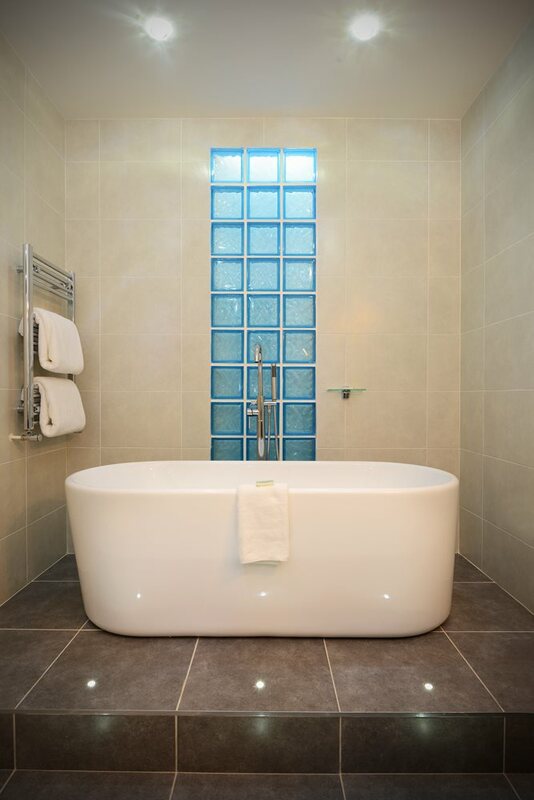 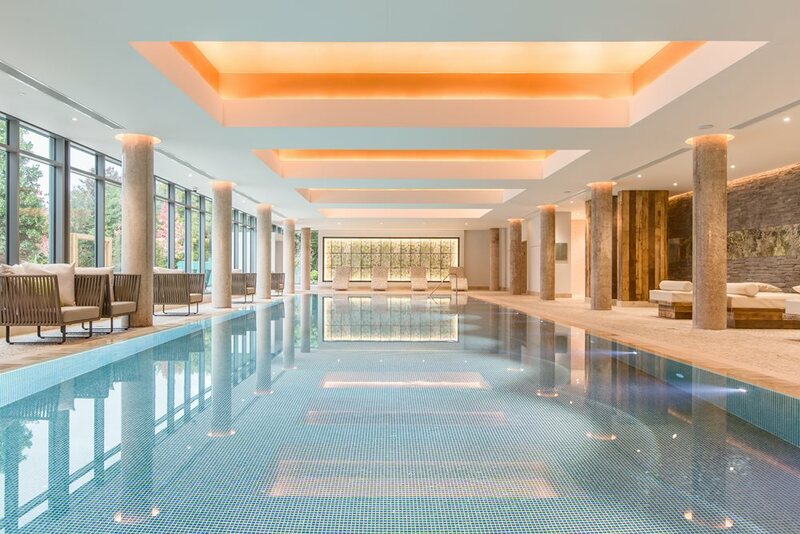 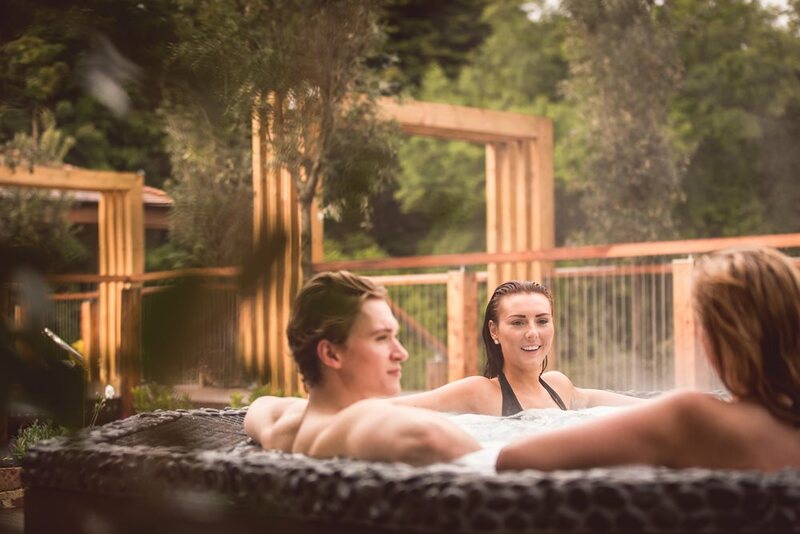 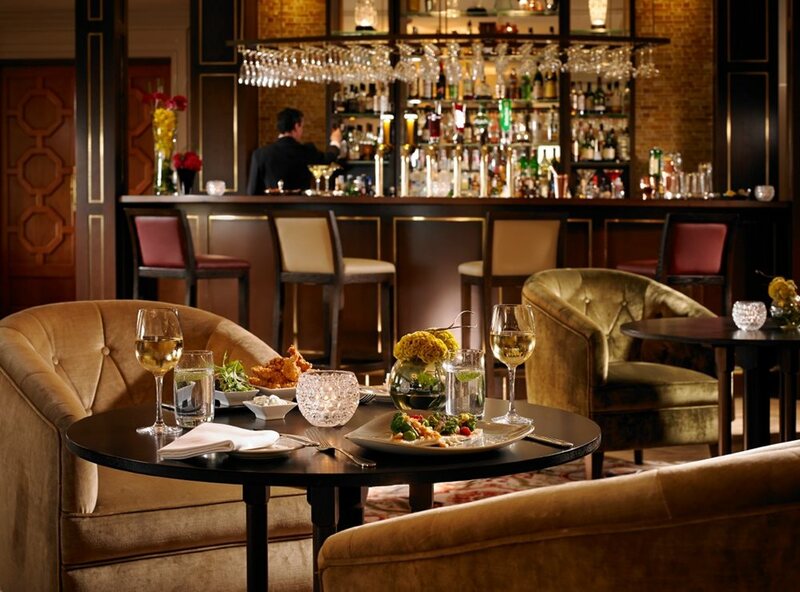 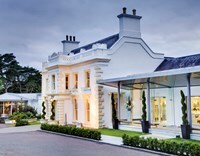 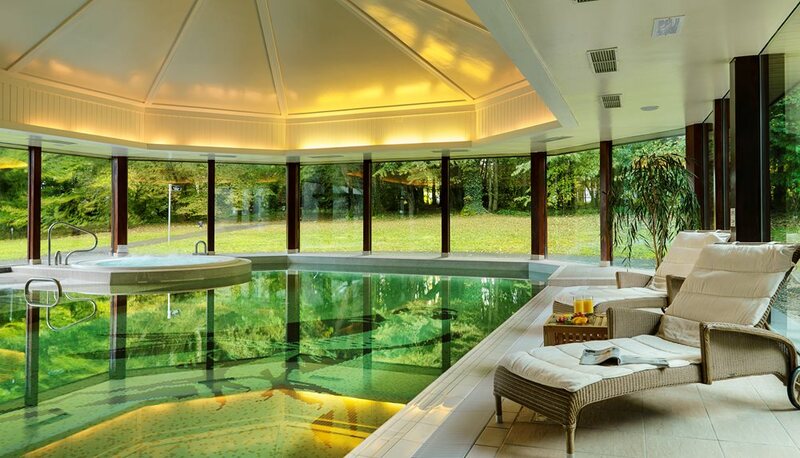 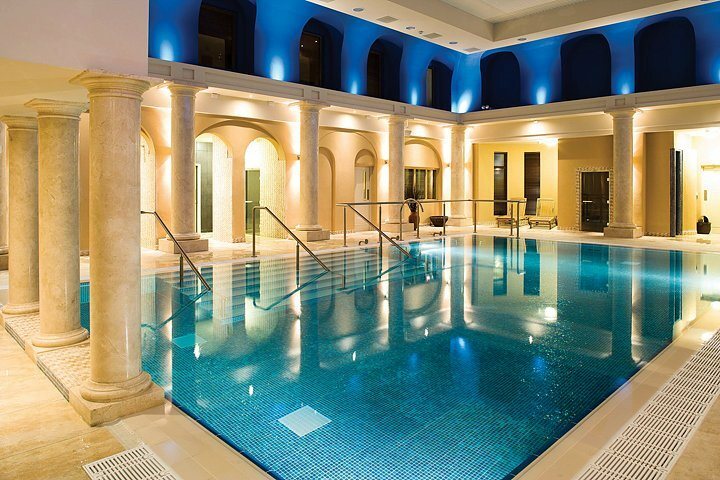 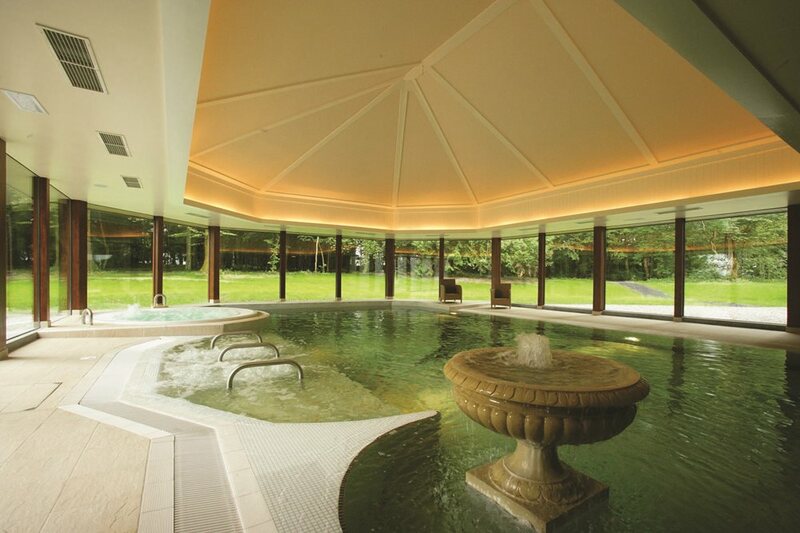 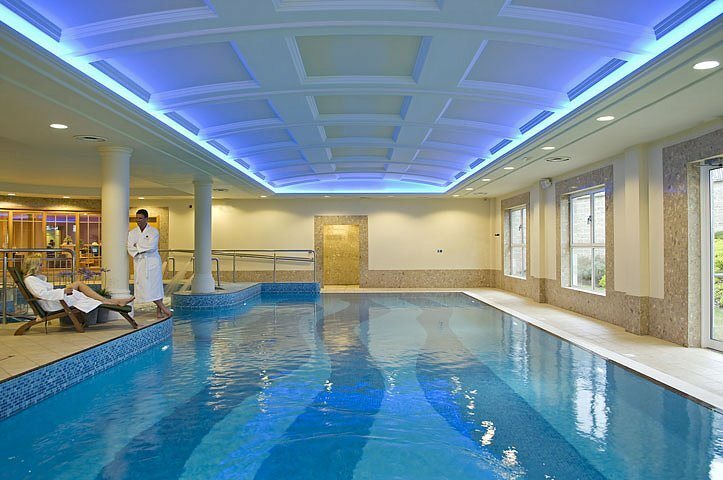 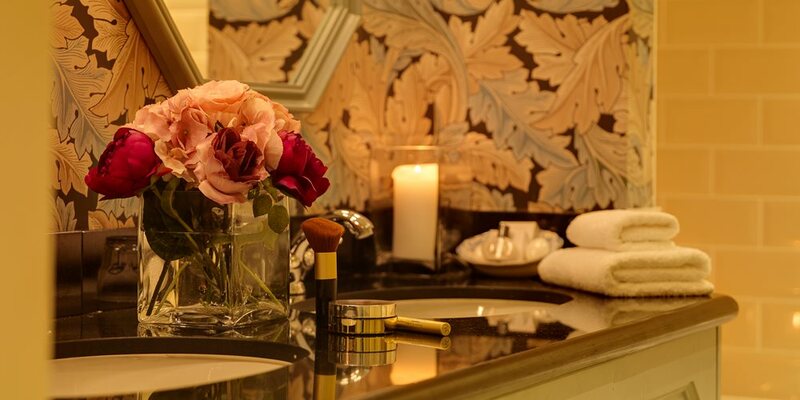 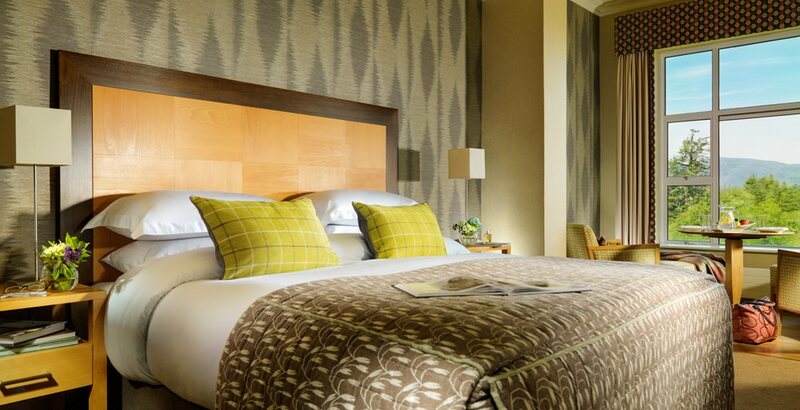 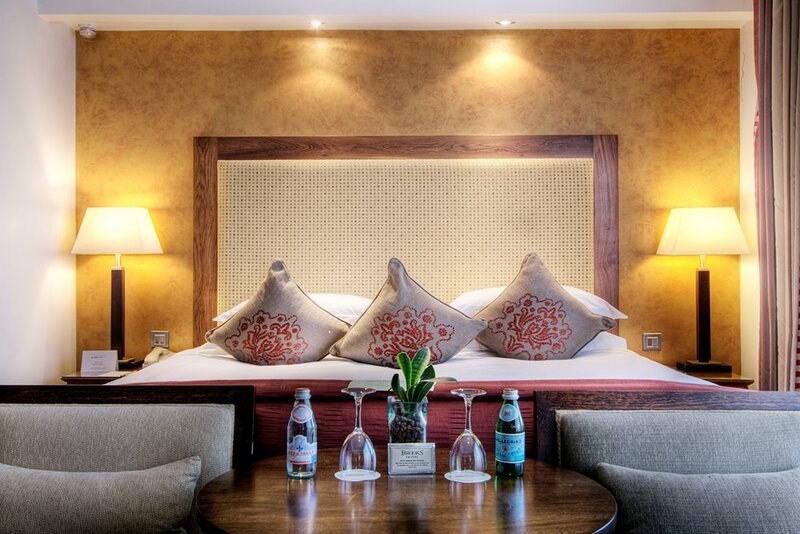 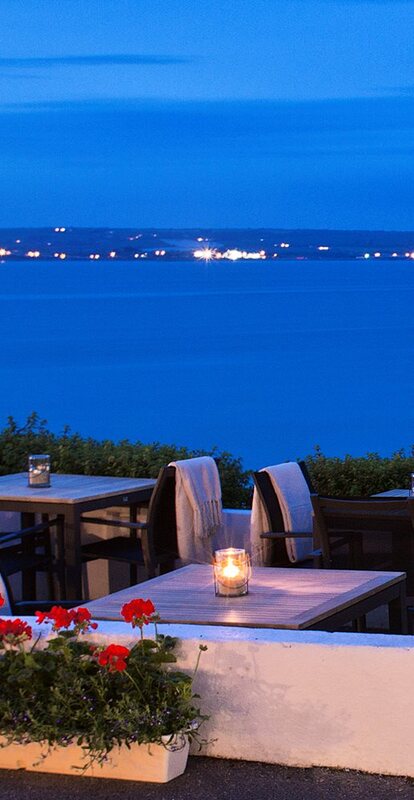 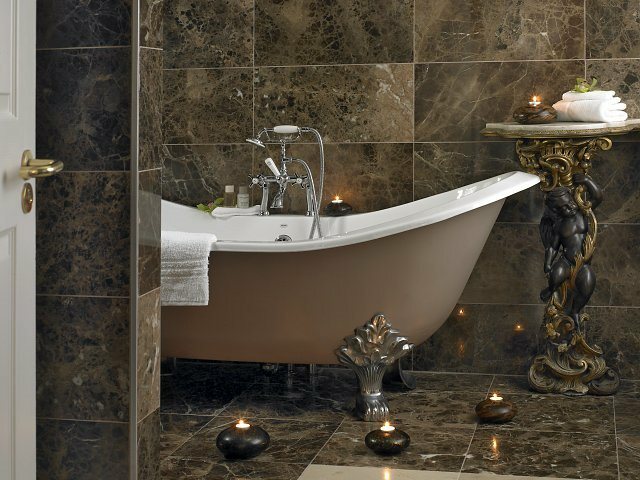 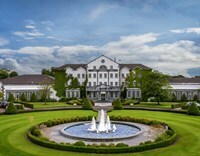 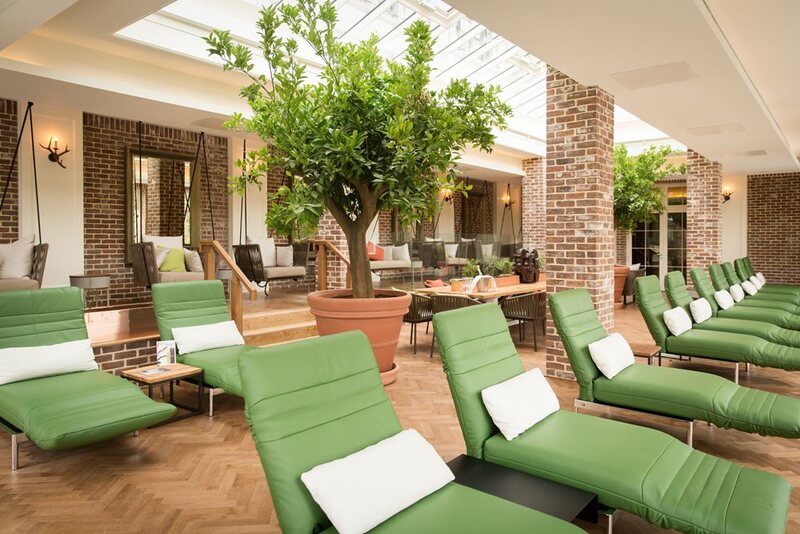 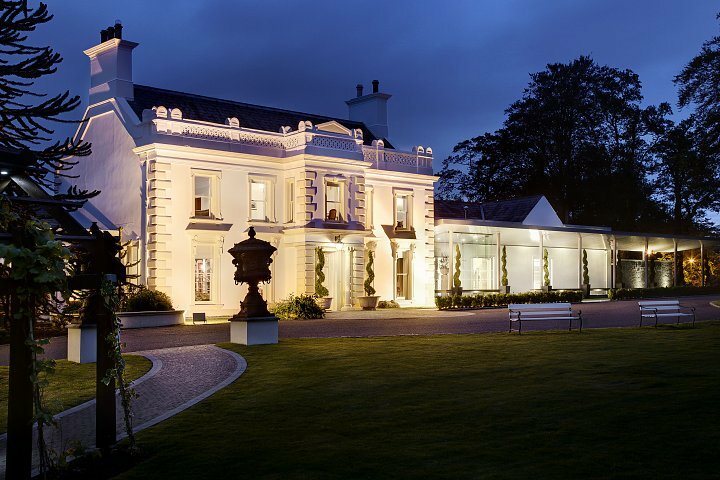 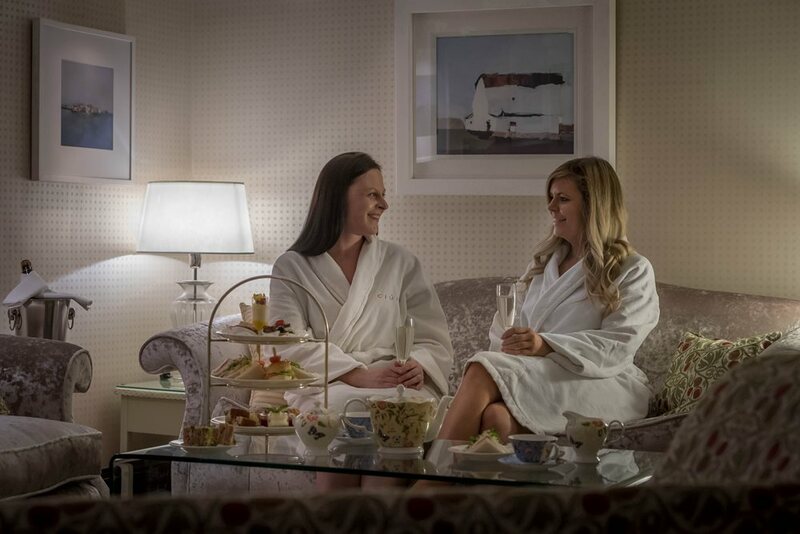 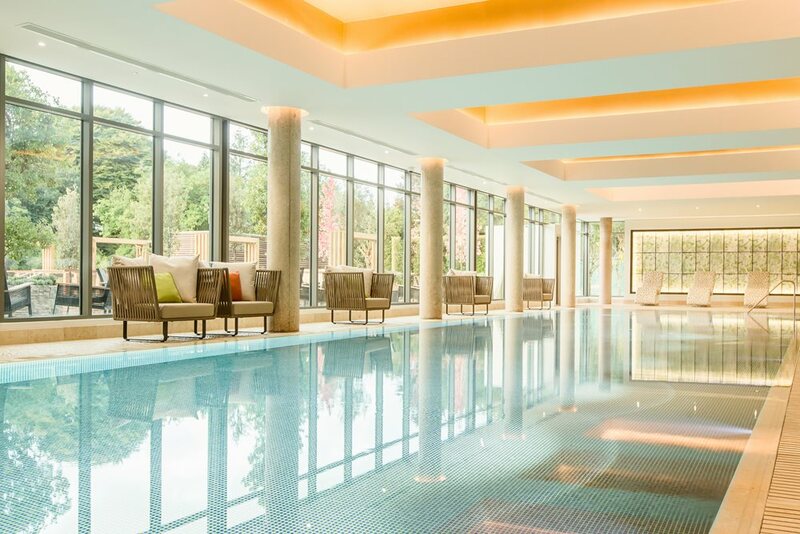 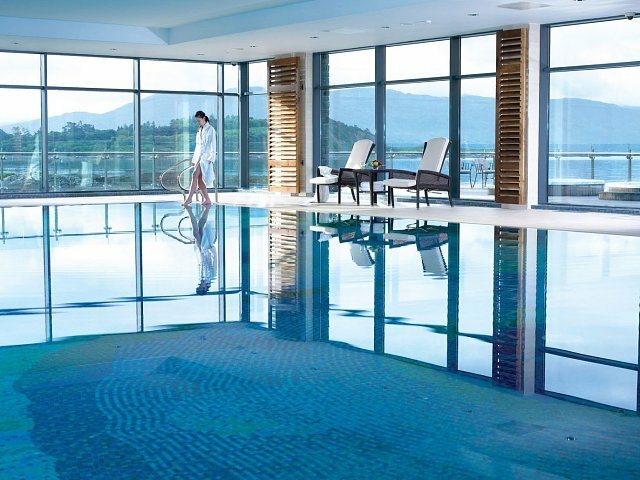 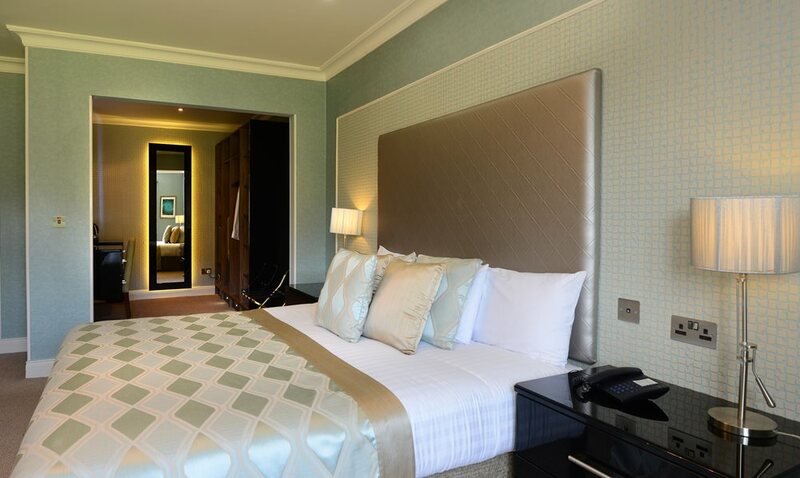 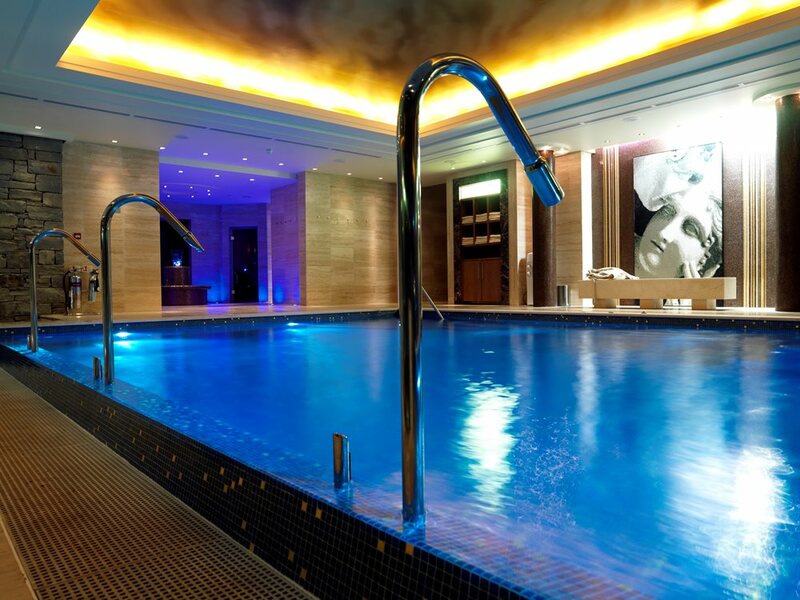 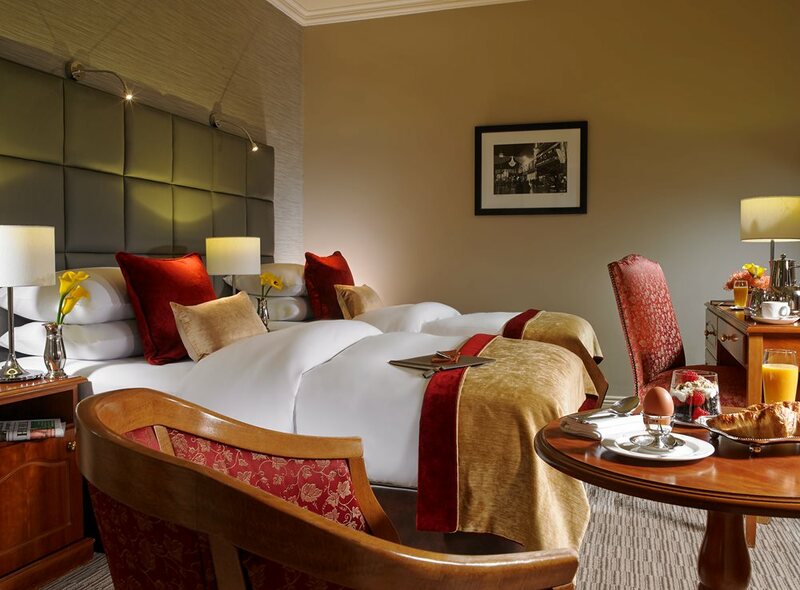 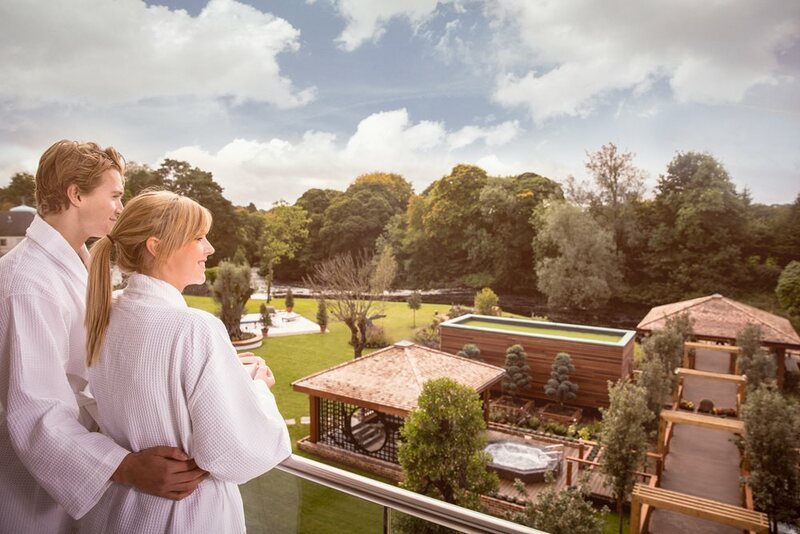 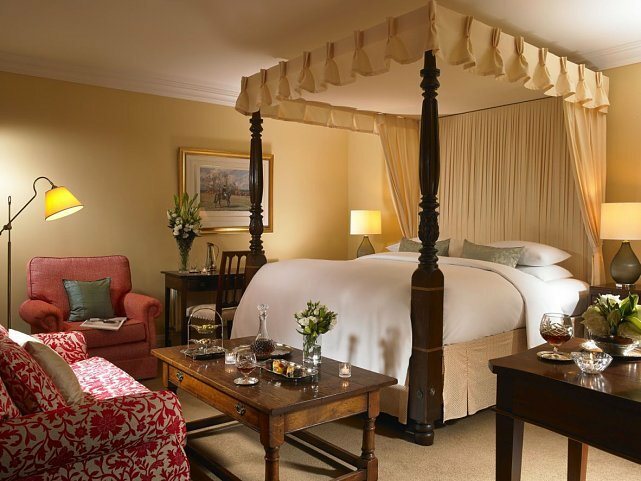 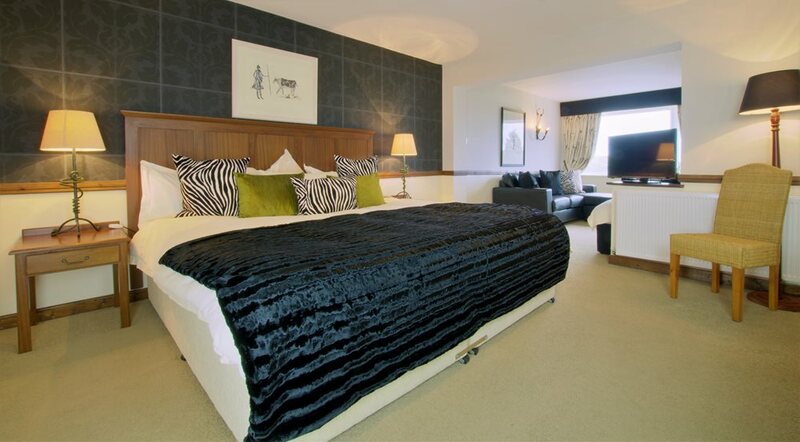 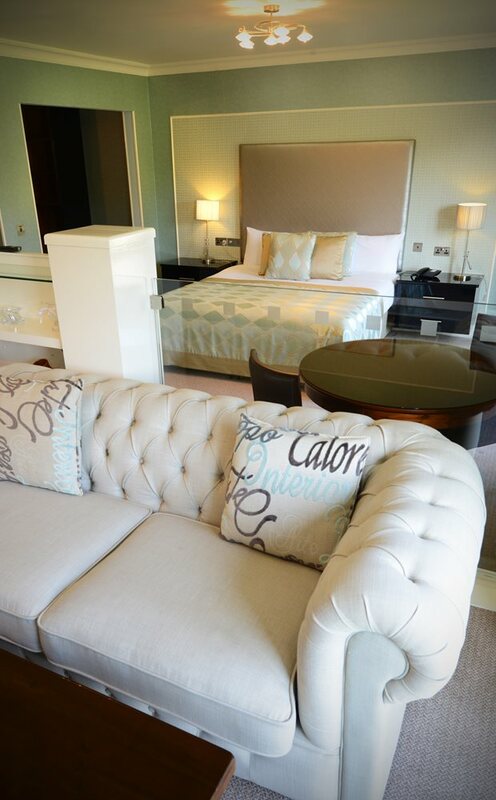 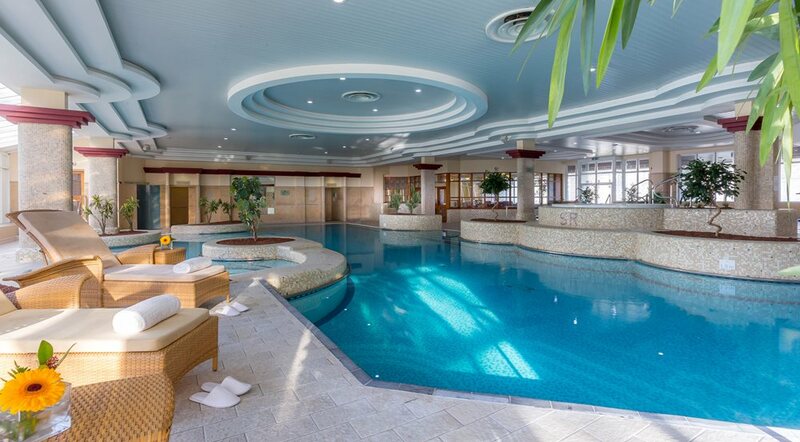 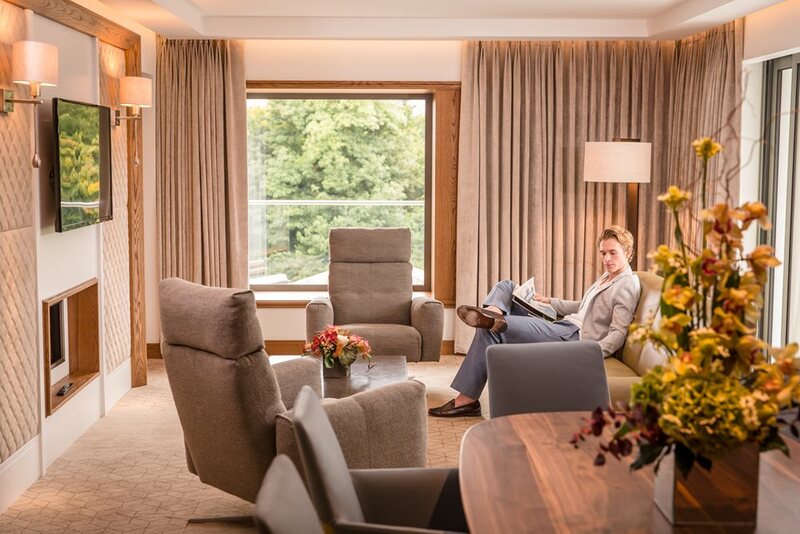 Northern Ireland's premier luxury Hotel & Spa. 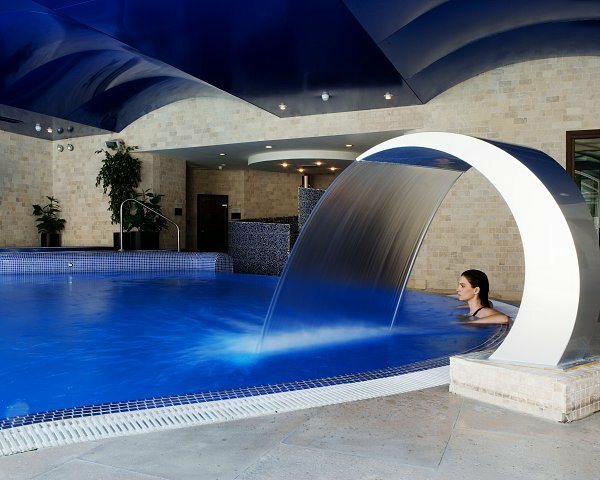 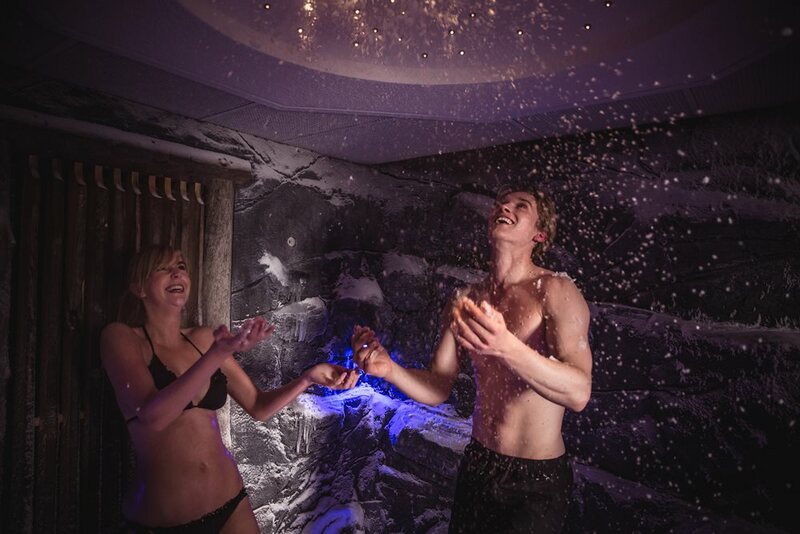 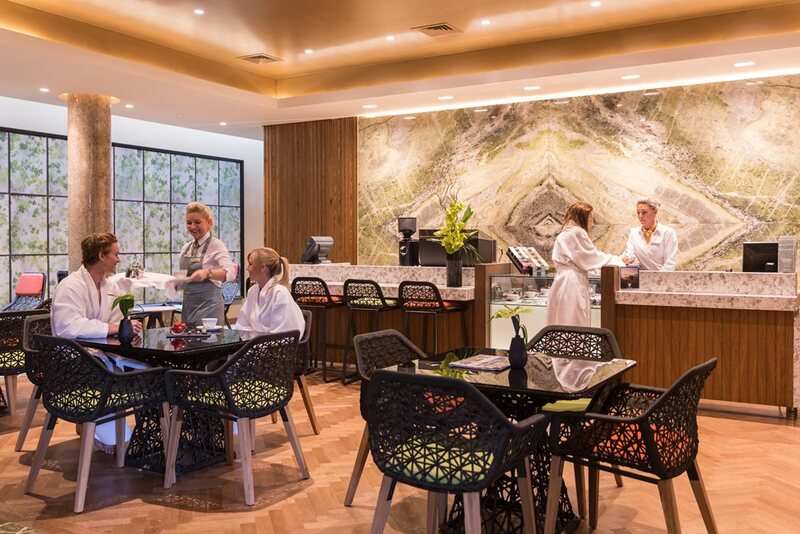 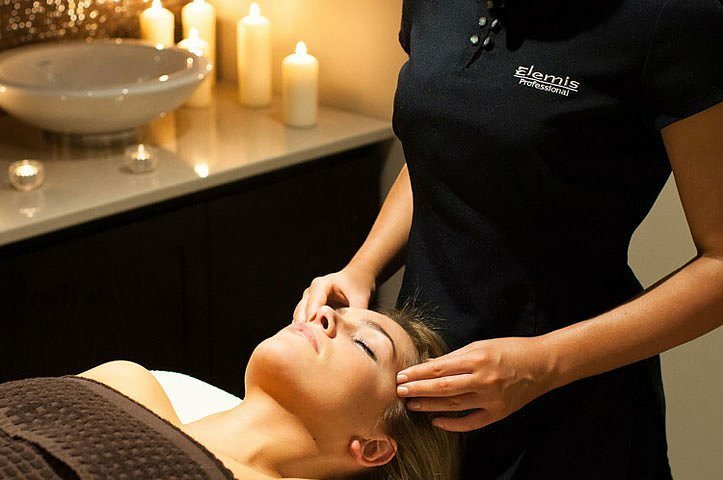 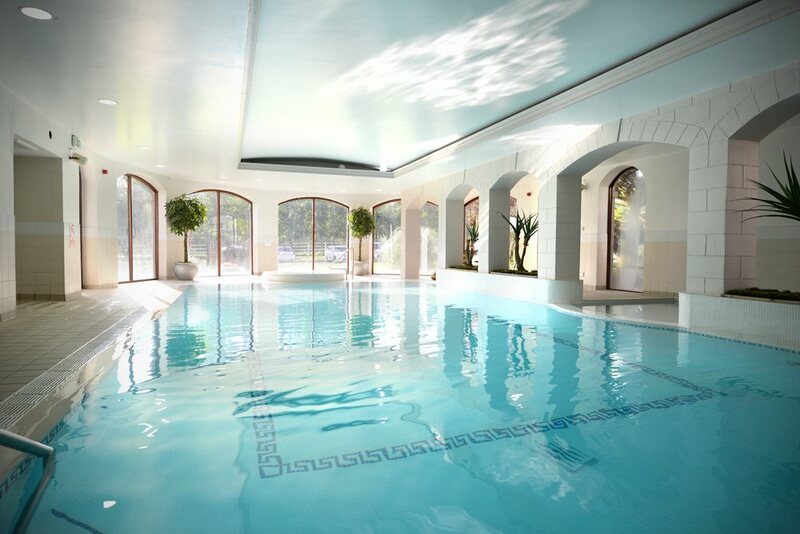 Guests will enjoy the tranquillity of nature and experience pure relaxation in the Spa and Thermal Village. 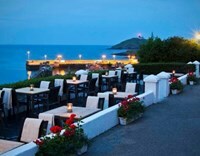 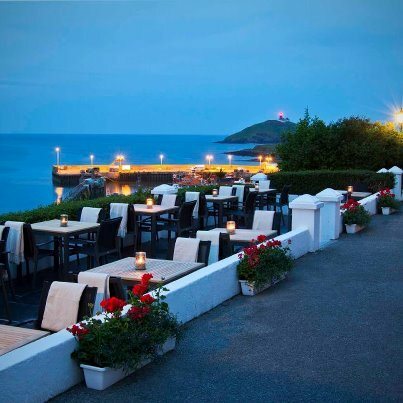 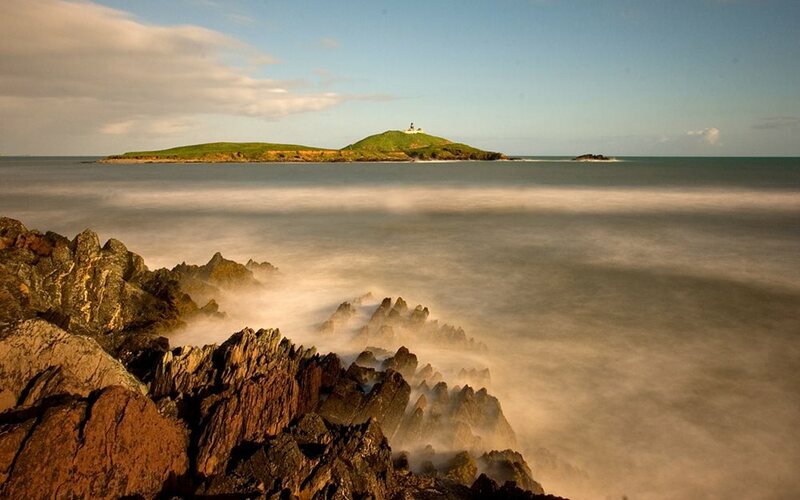 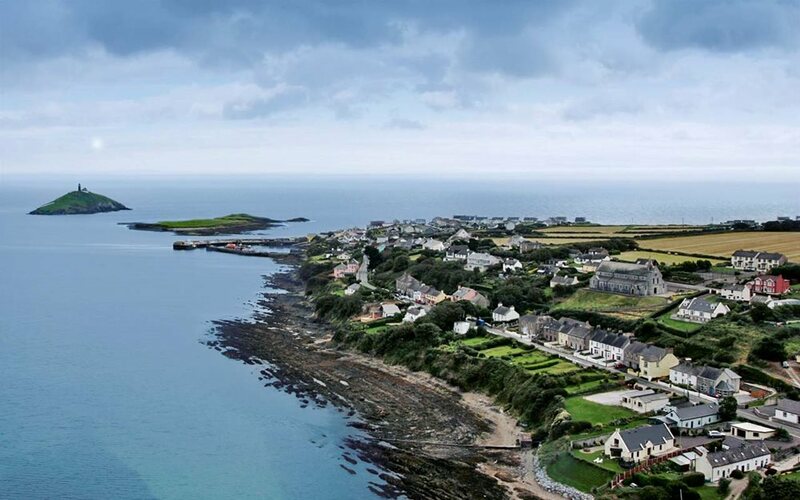 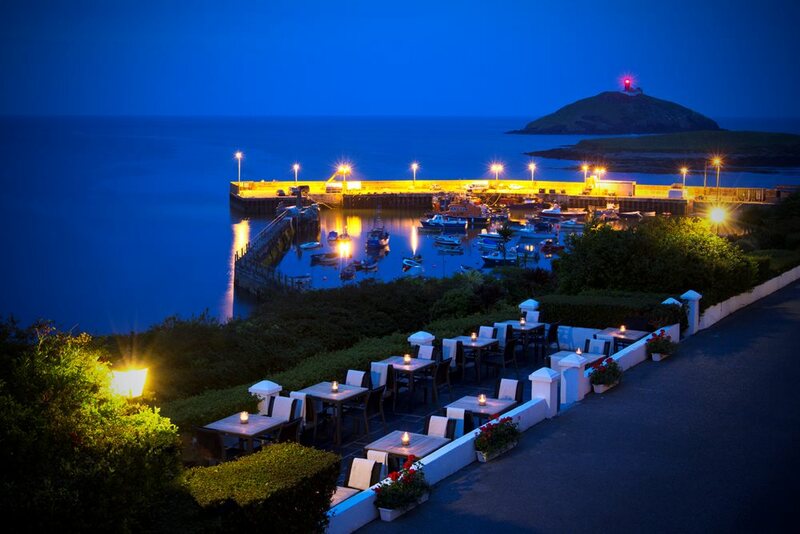 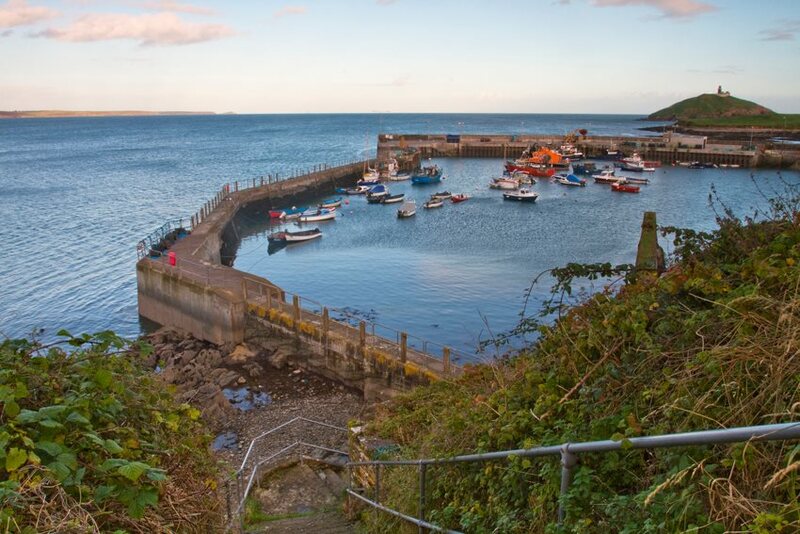 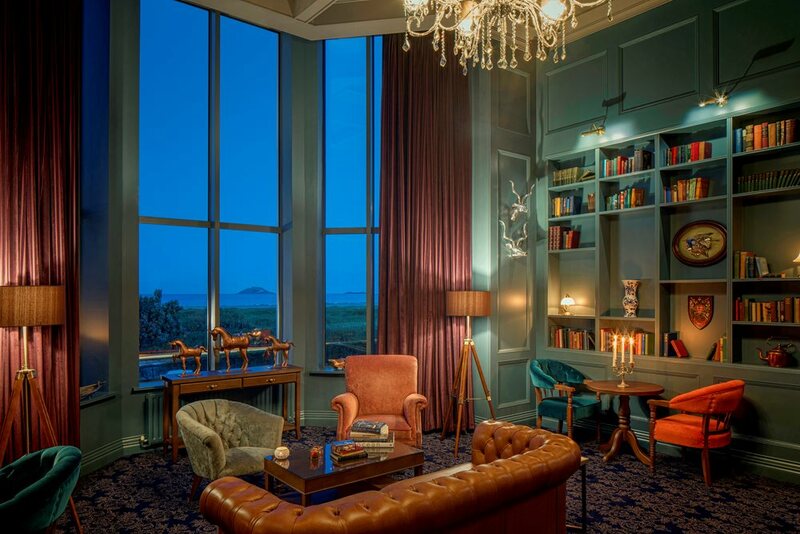 An impressive coastal location, overlooking one of Ireland's finest beaches in Ballycotton, Co. Cork. 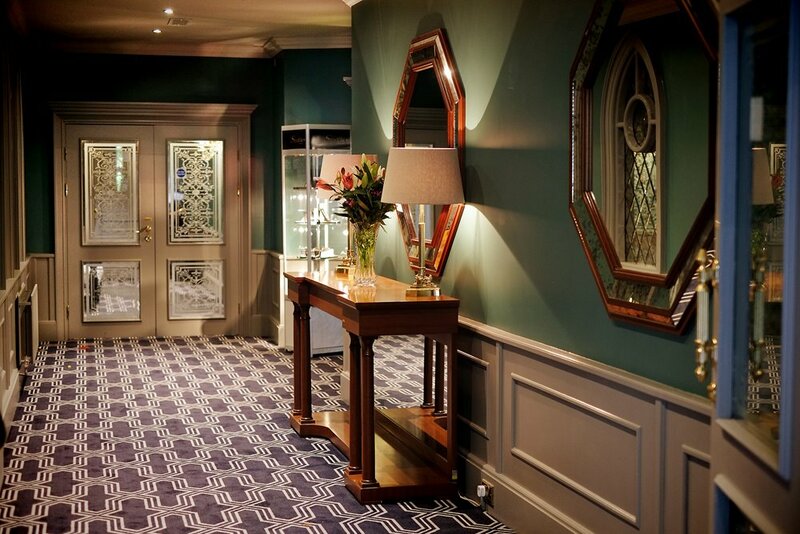 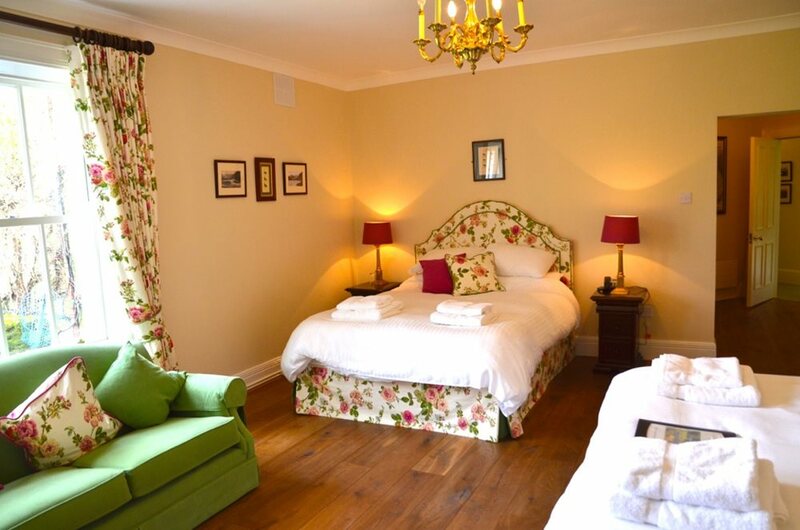 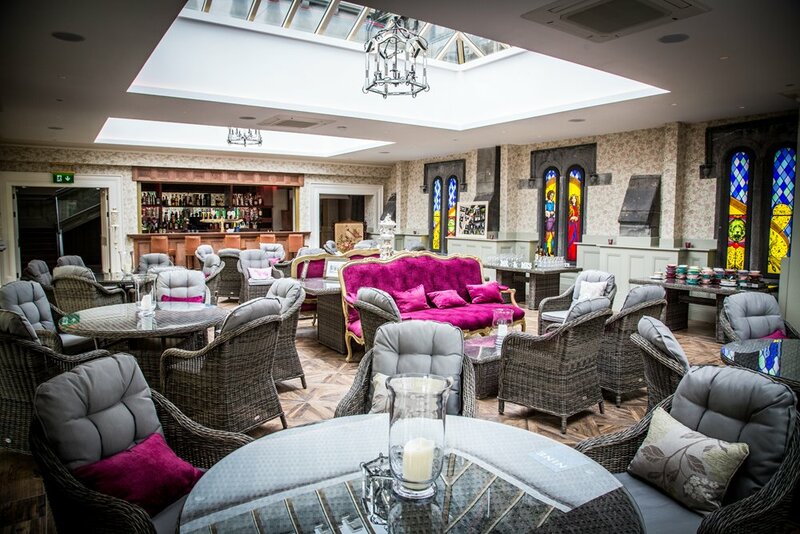 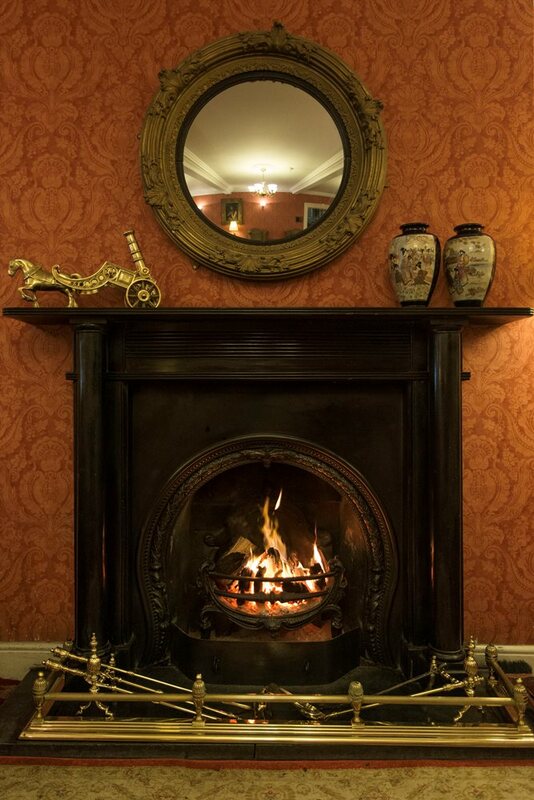 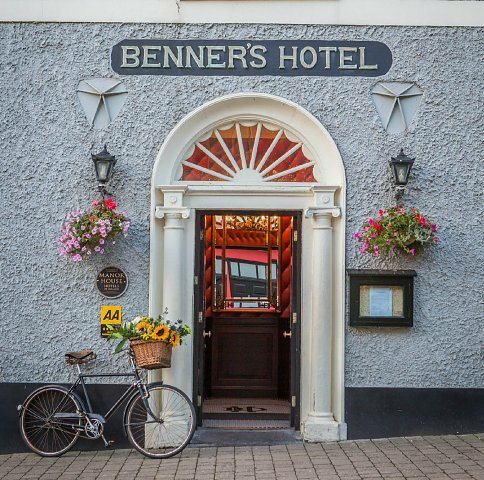 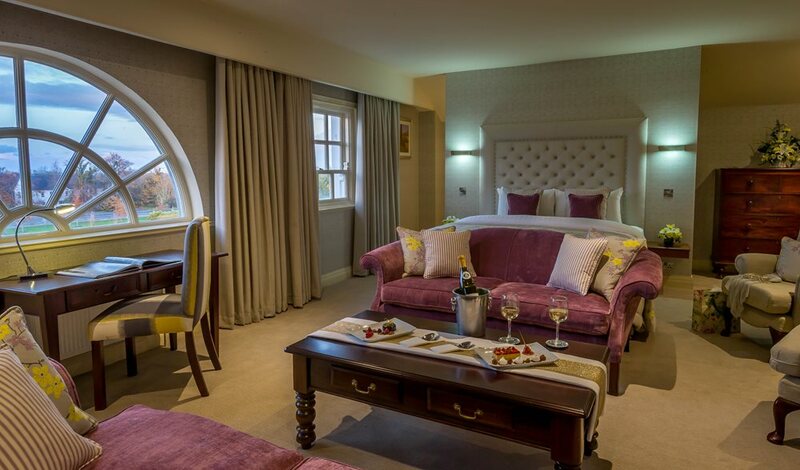 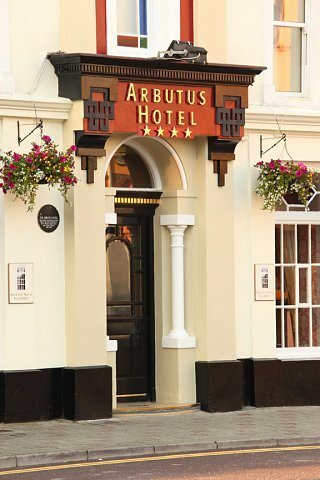 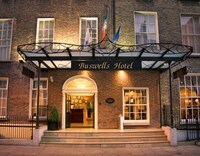 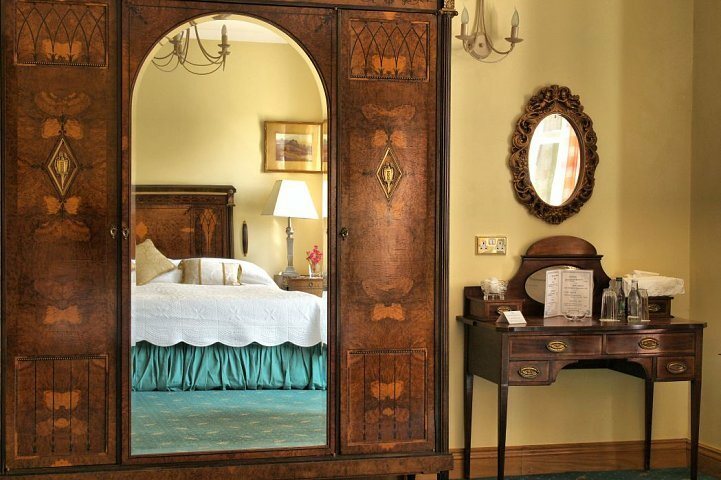 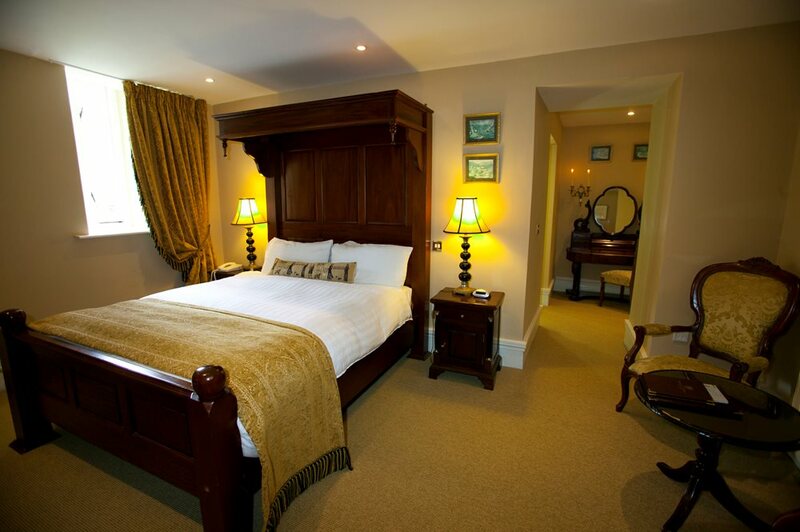 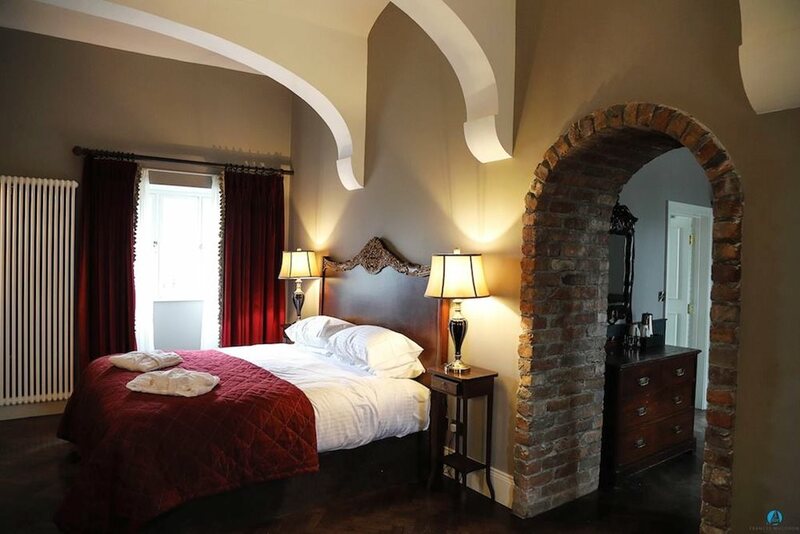 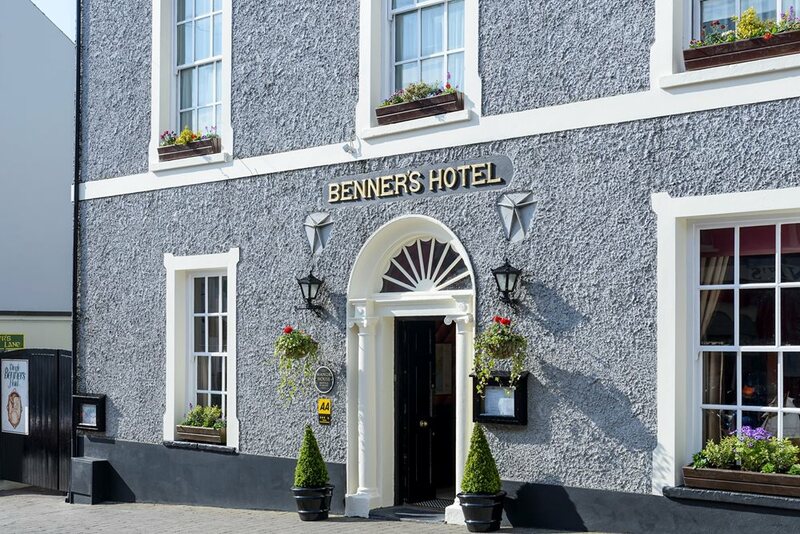 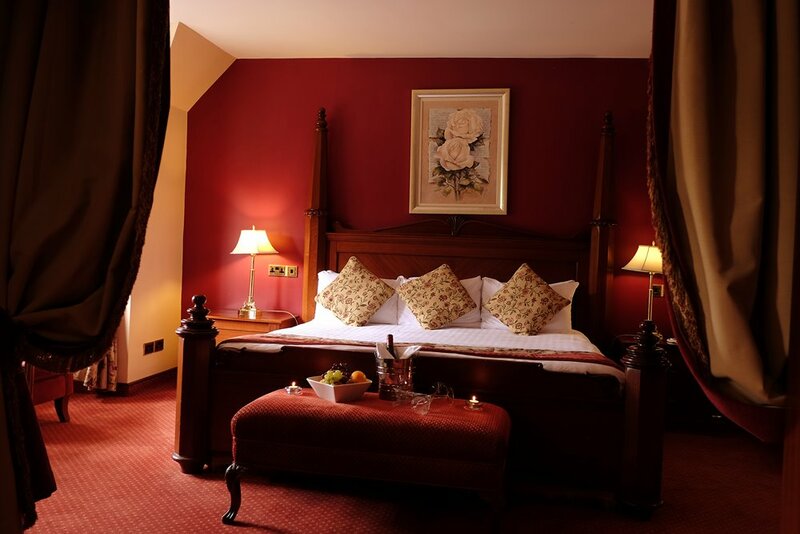 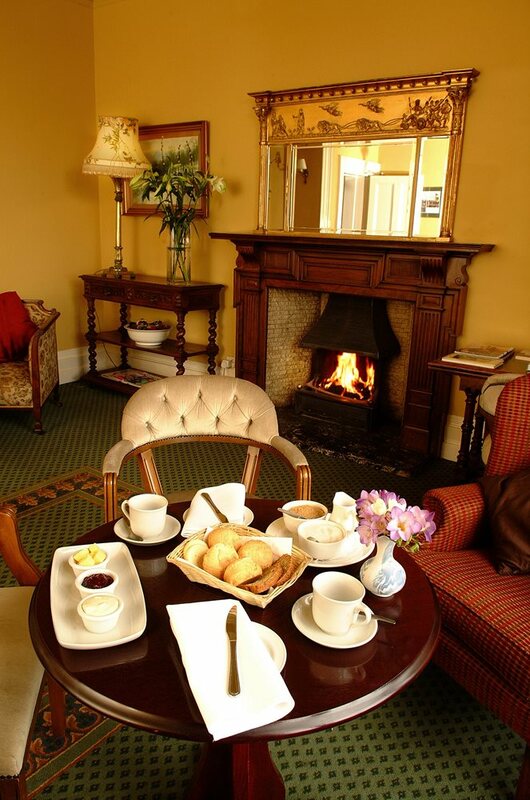 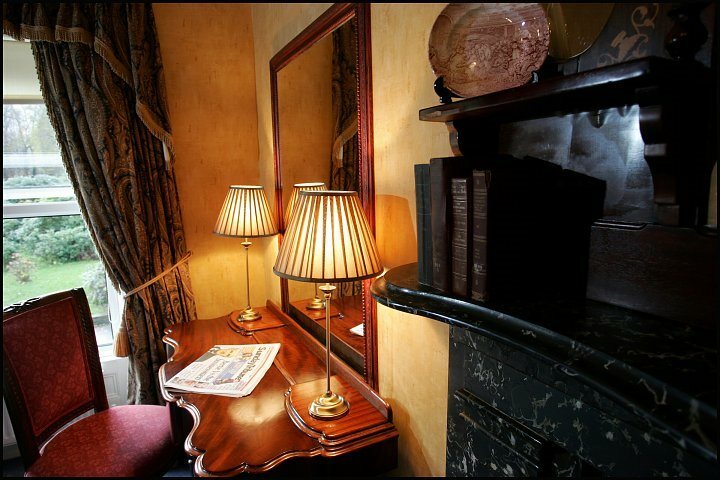 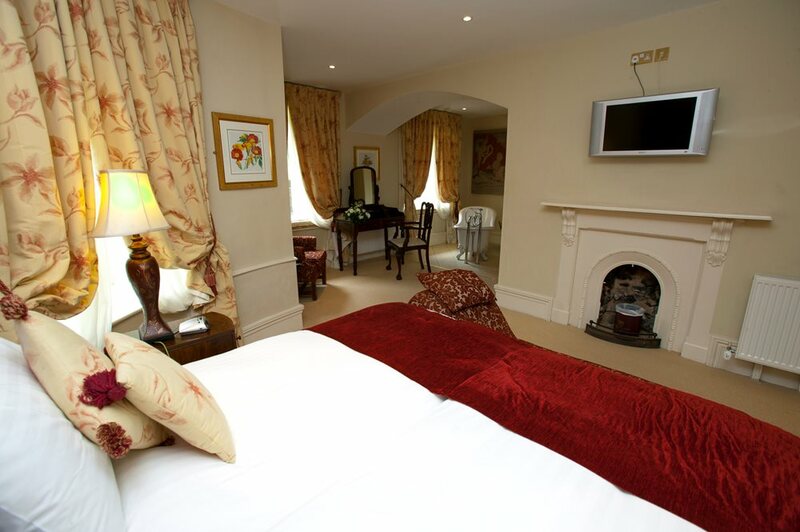 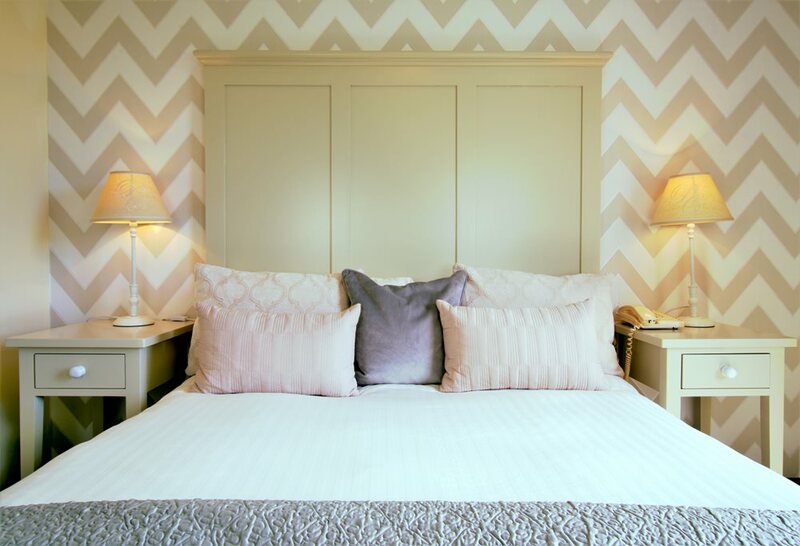 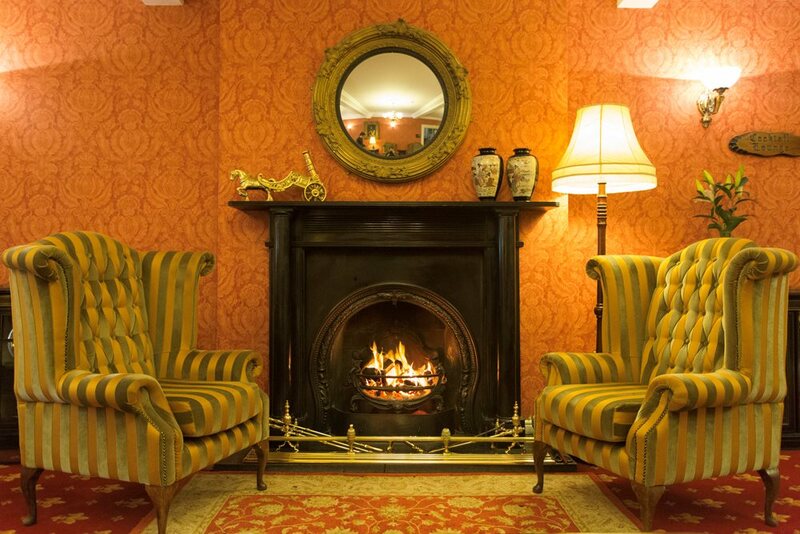 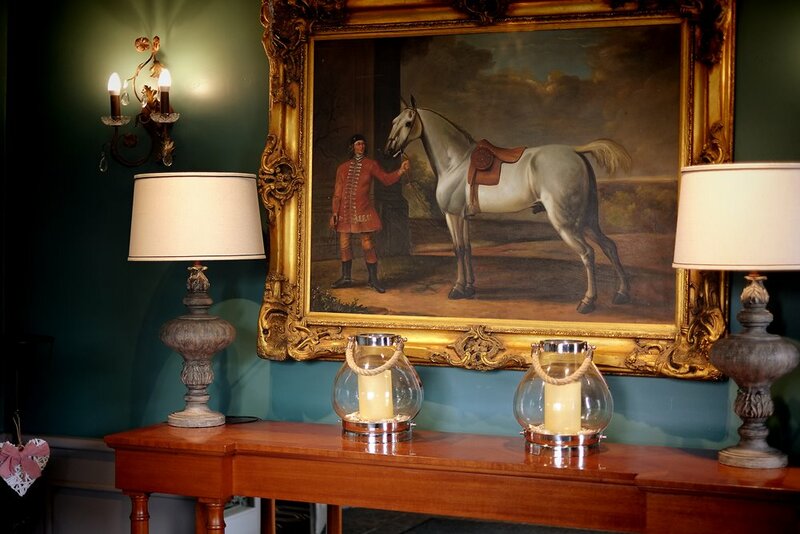 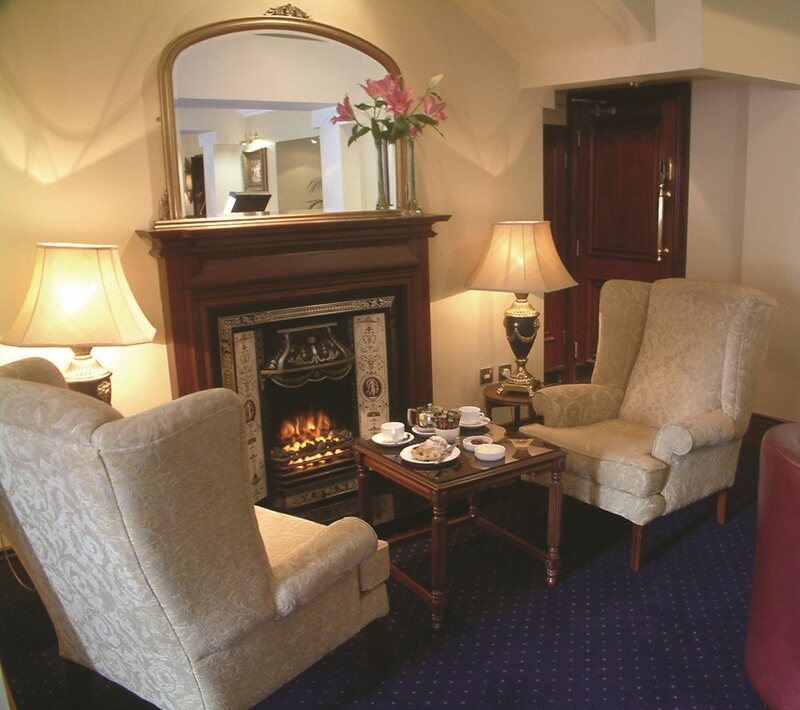 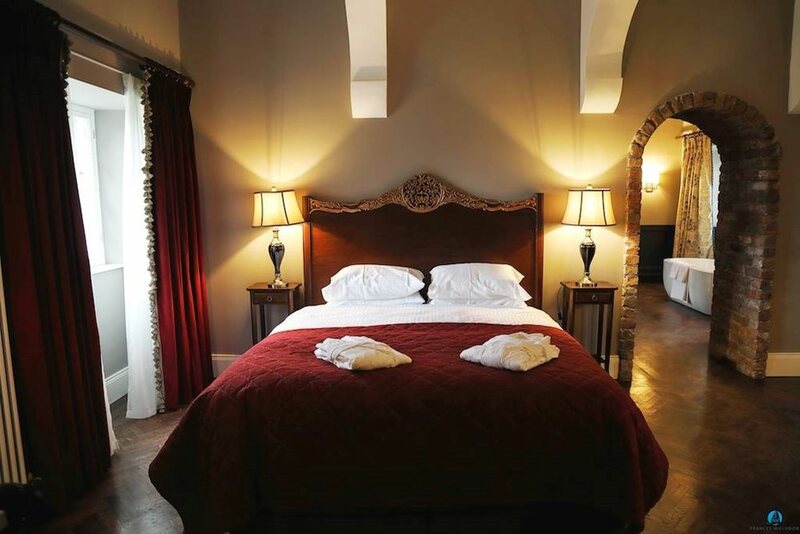 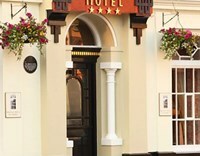 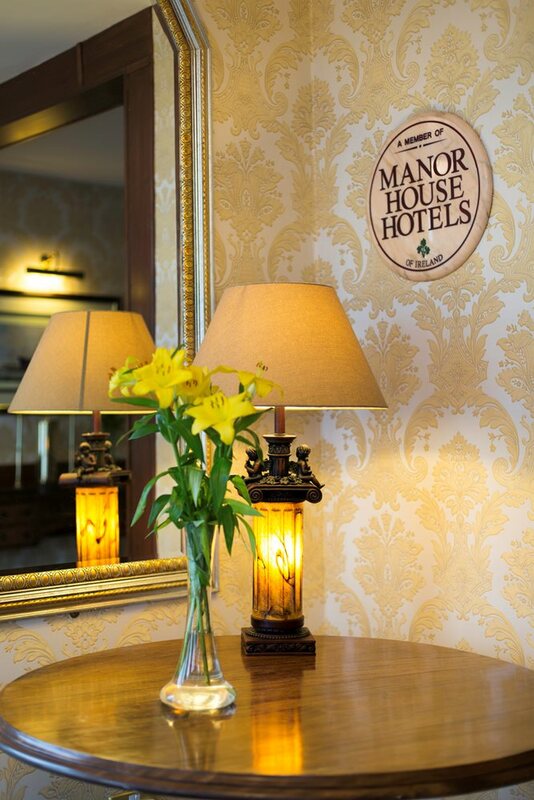 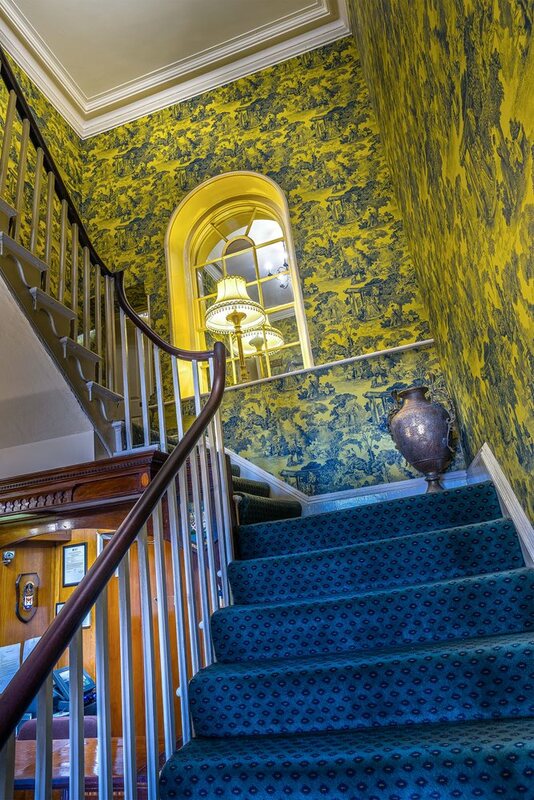 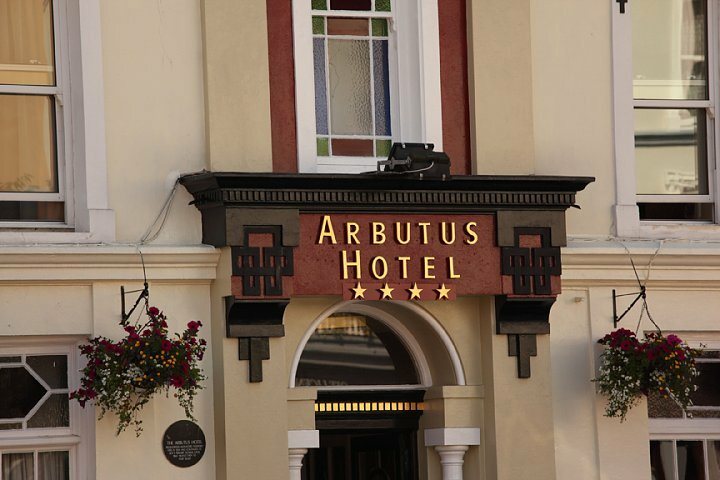 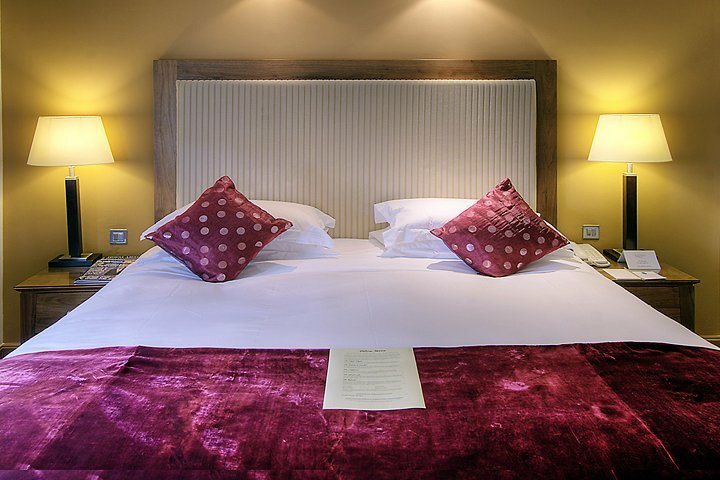 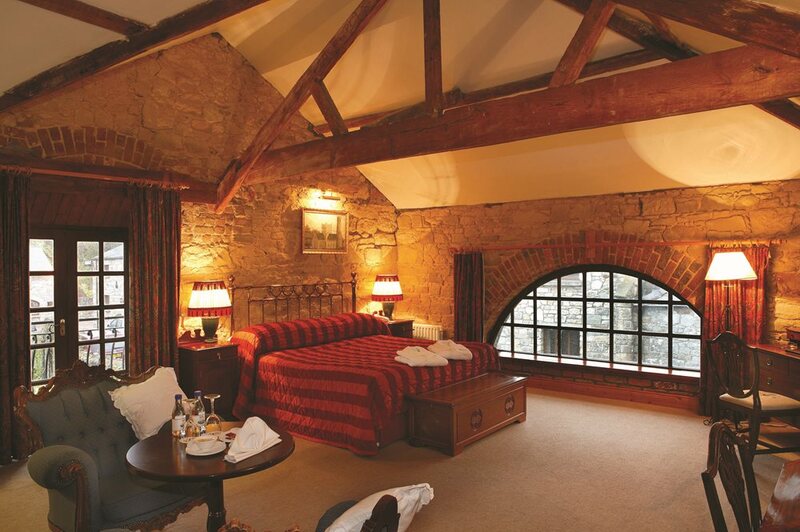 A family run hotel with a rich tradition of warm hospitality in the heart of Kells, a heritage town in County Meath. 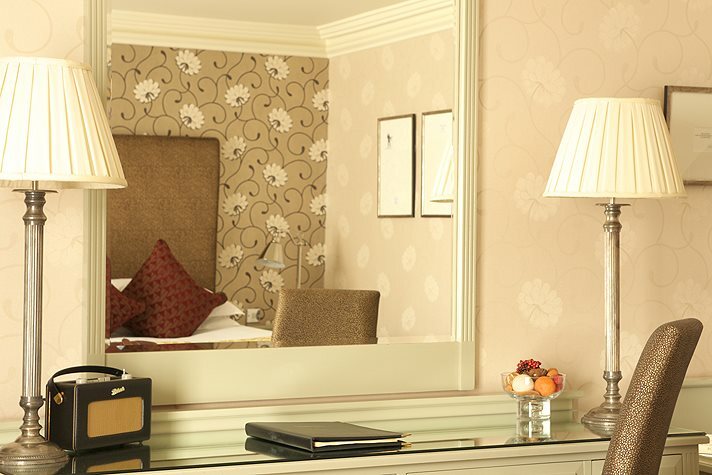 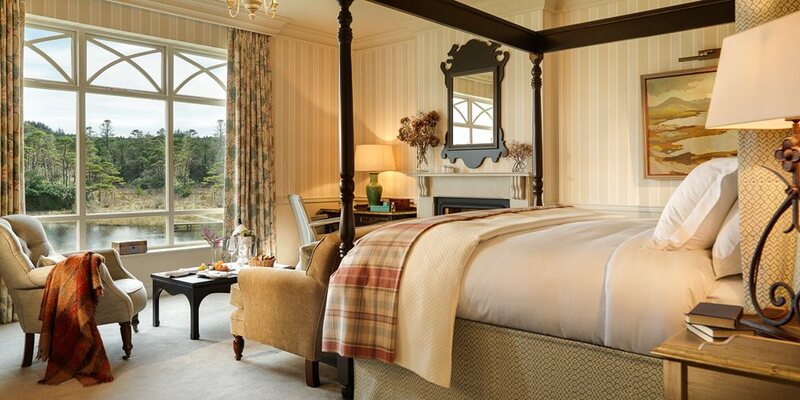 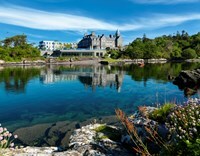 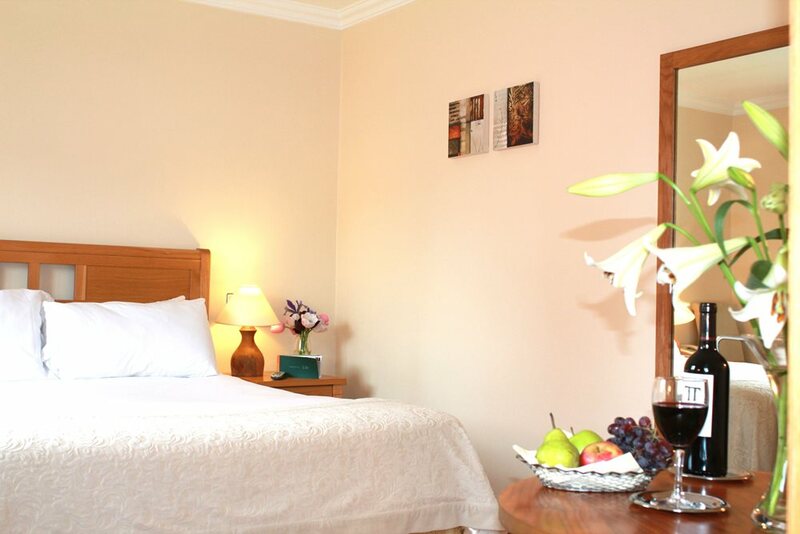 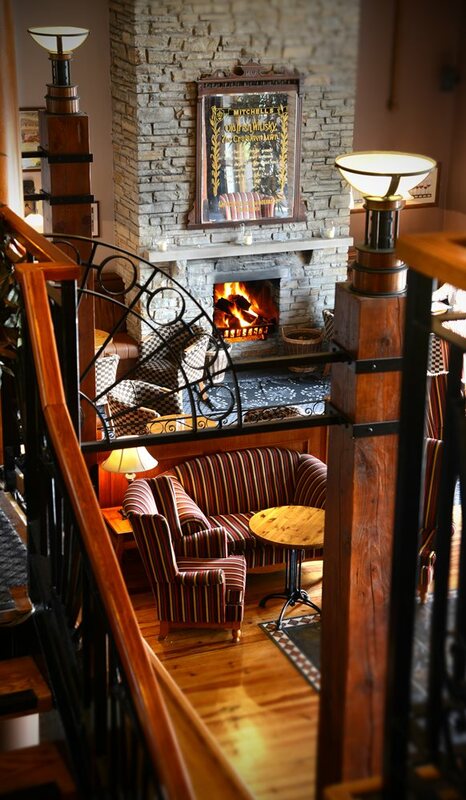 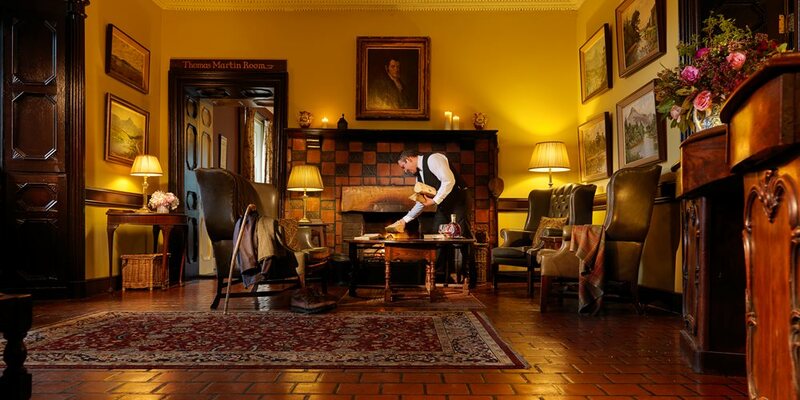 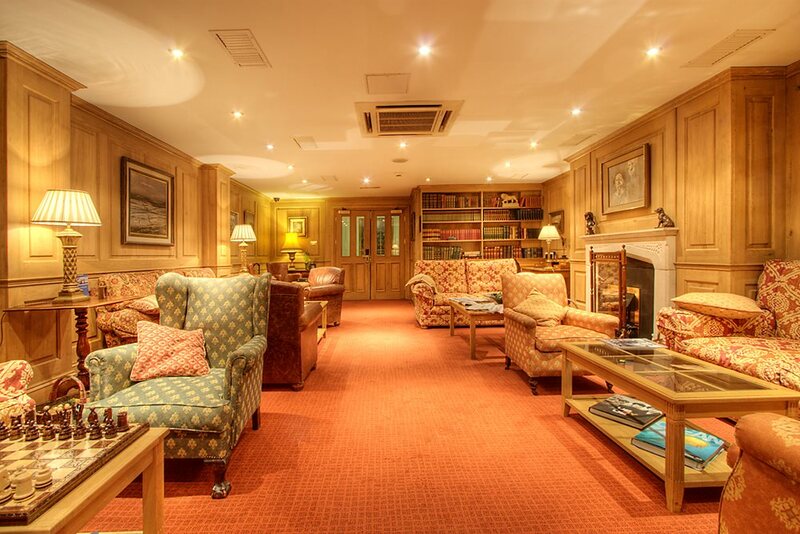 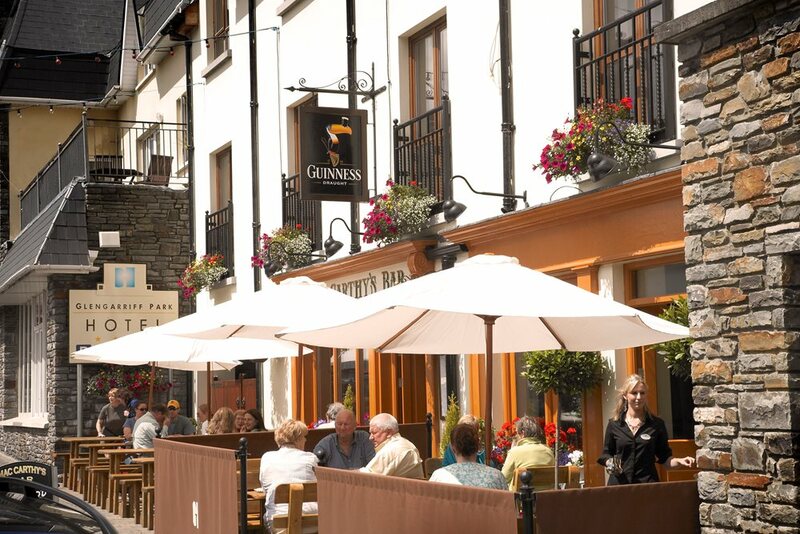 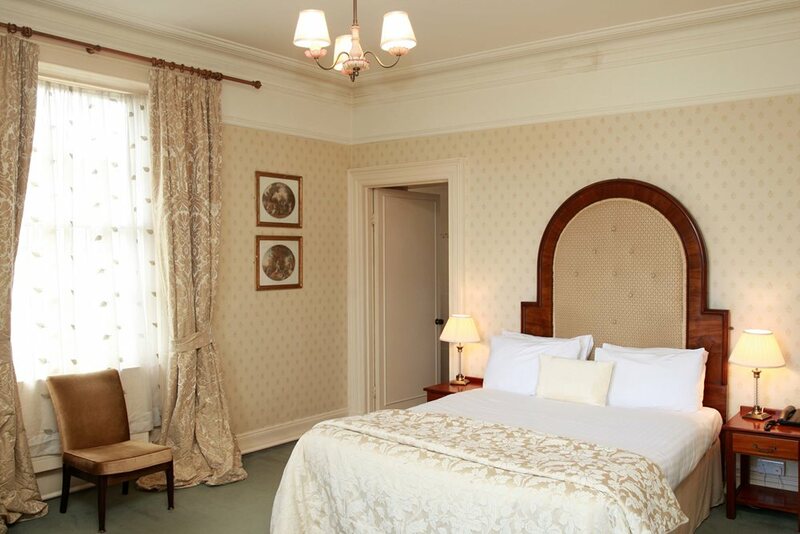 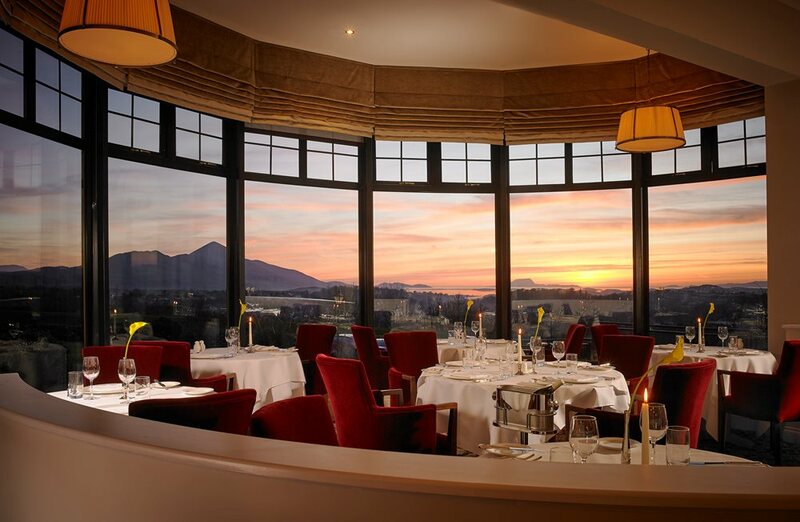 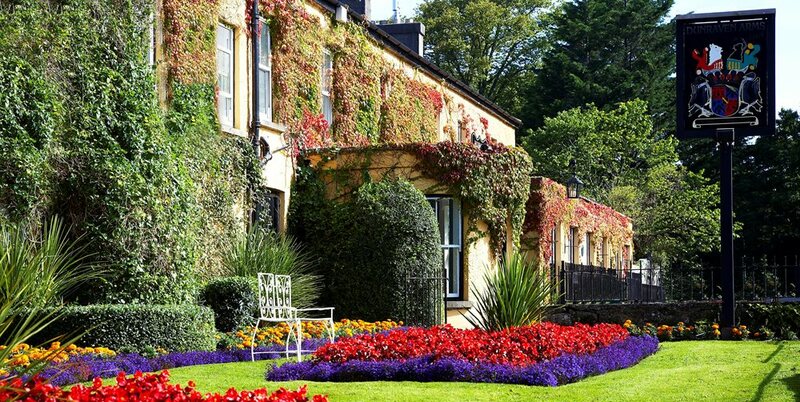 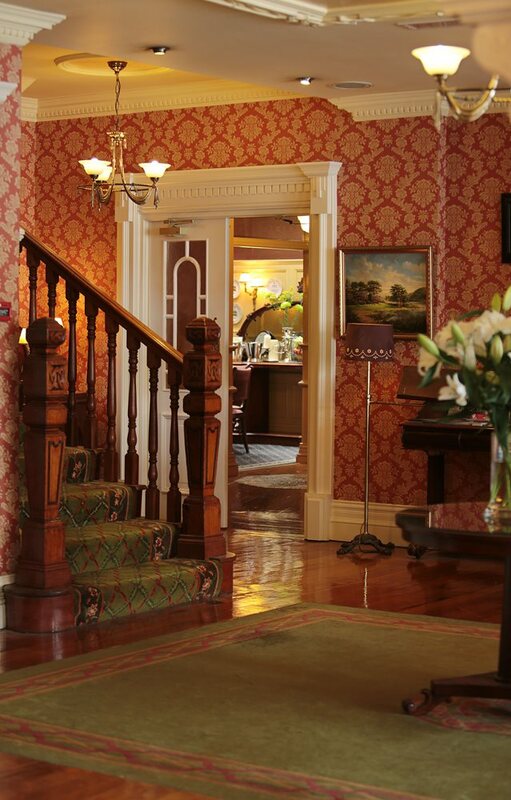 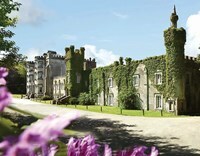 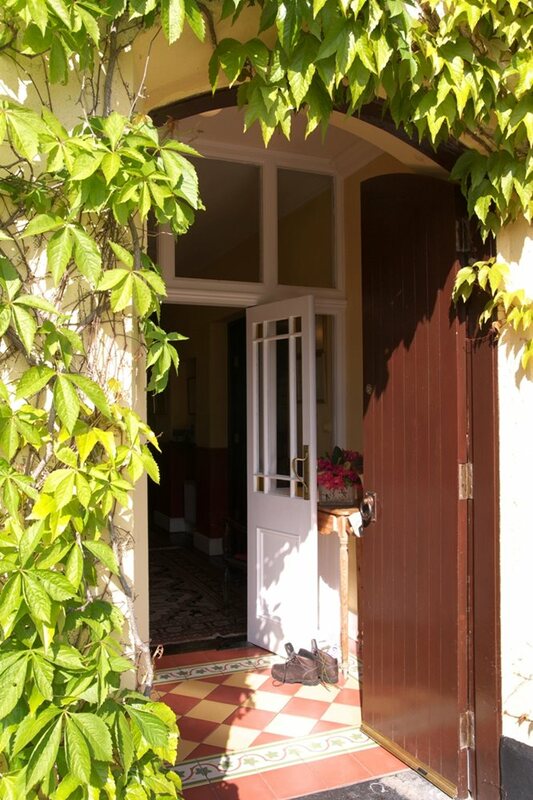 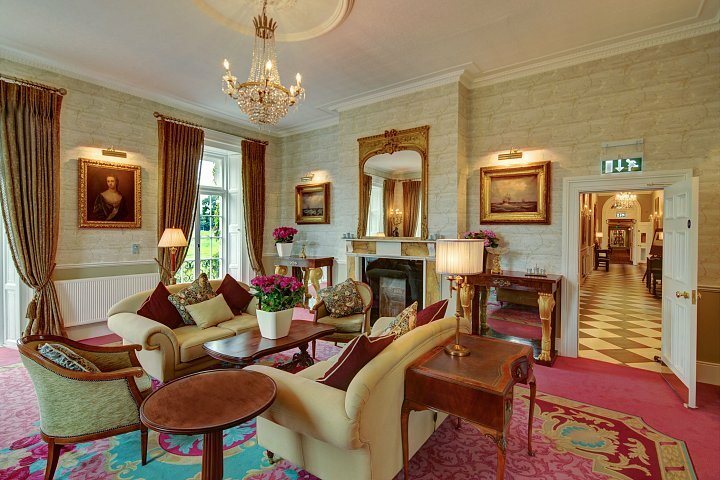 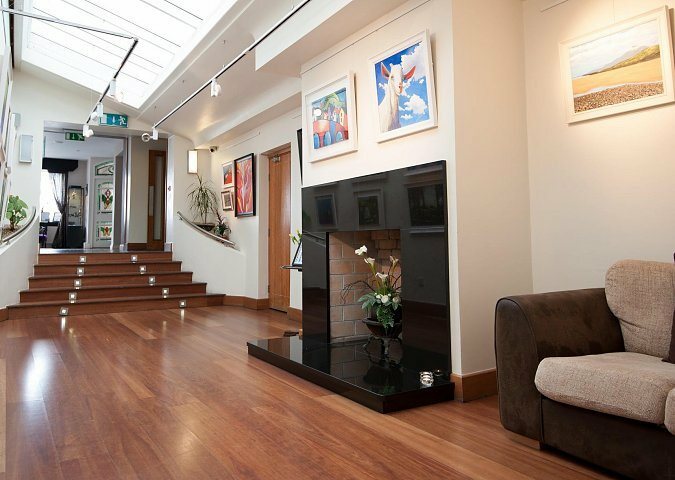 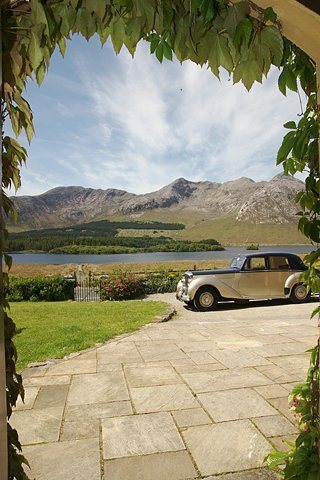 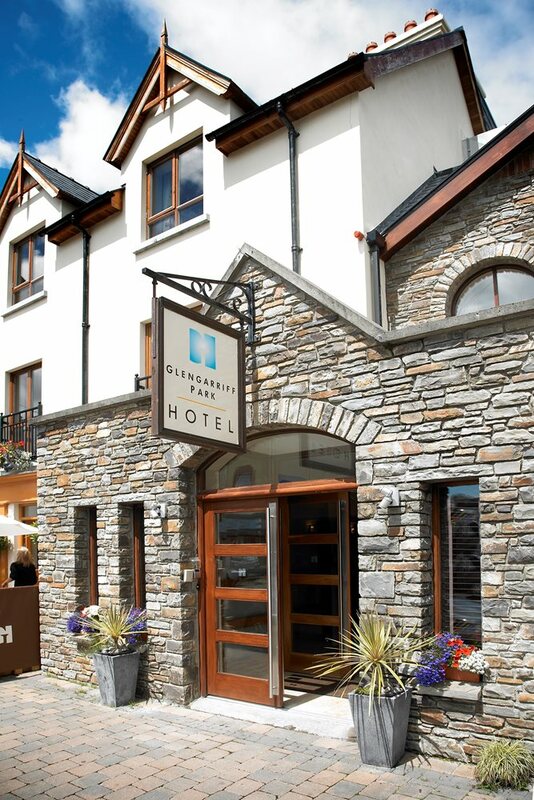 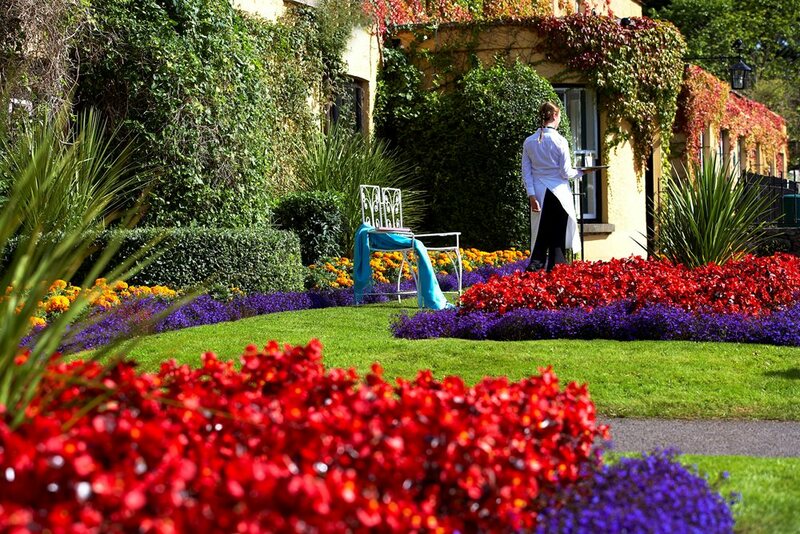 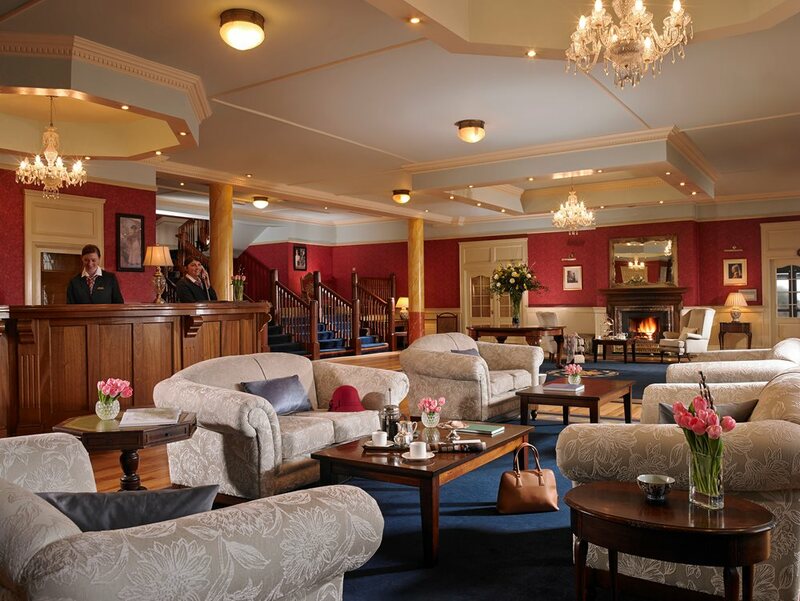 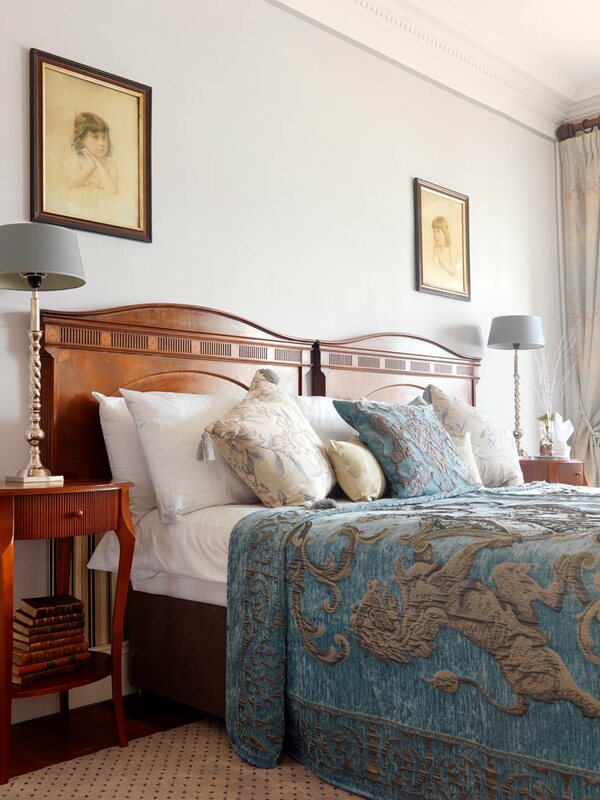 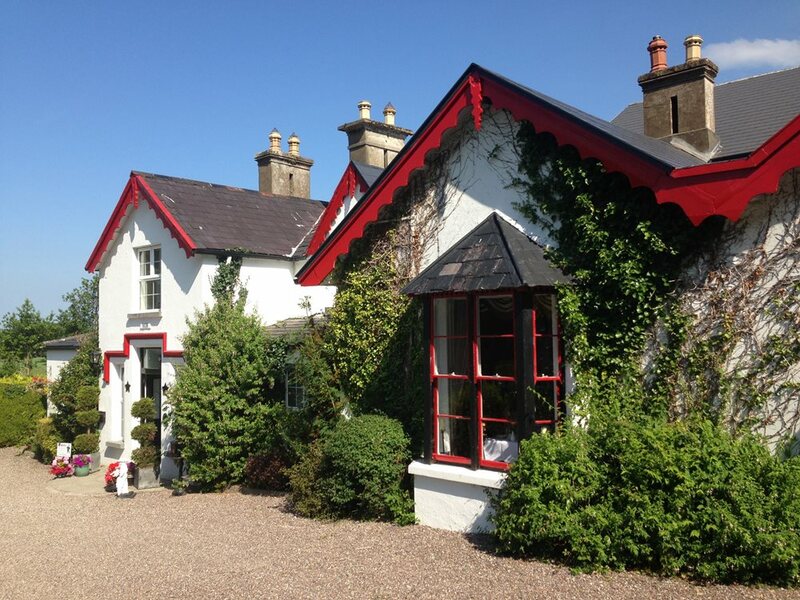 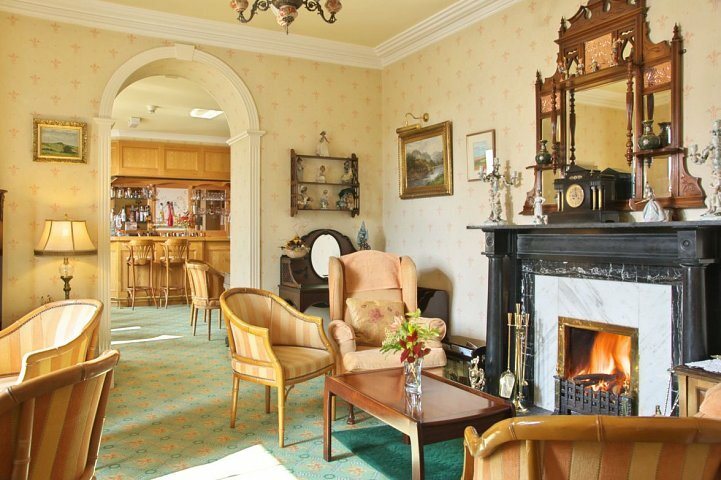 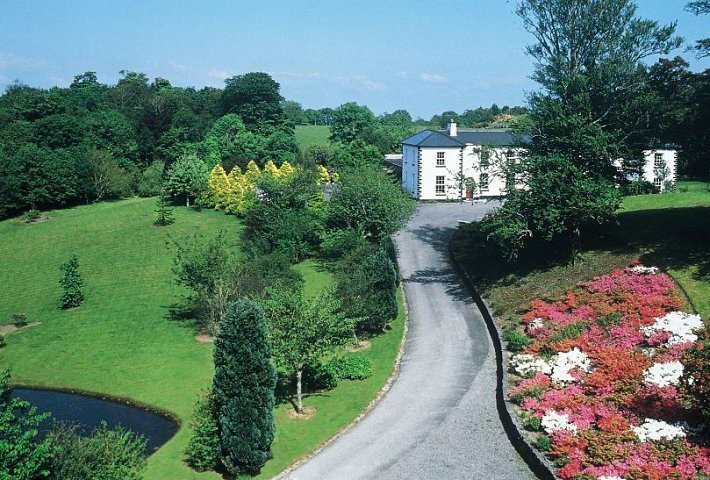 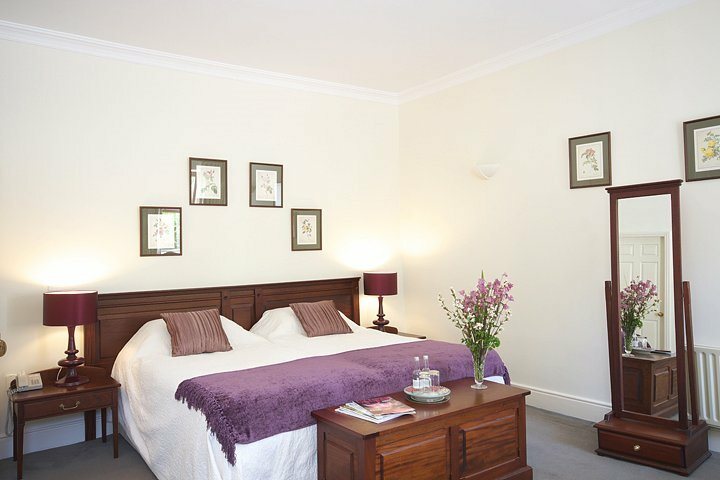 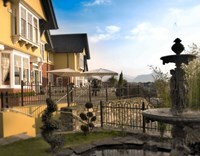 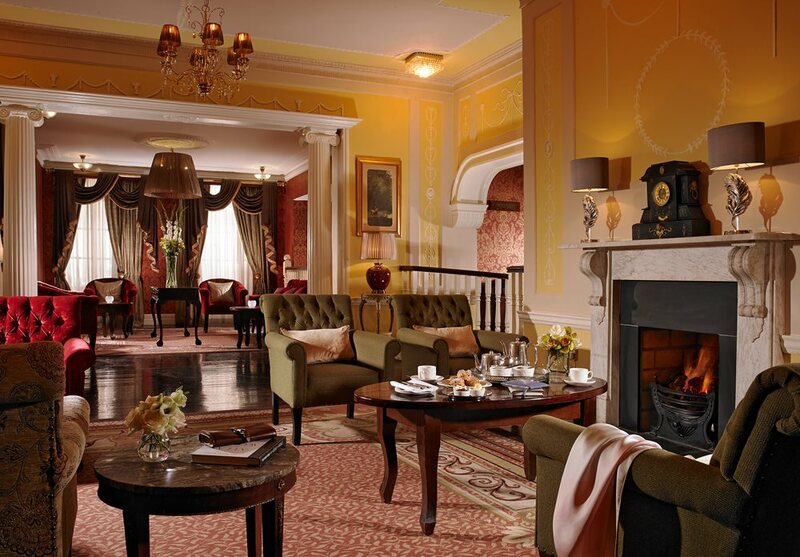 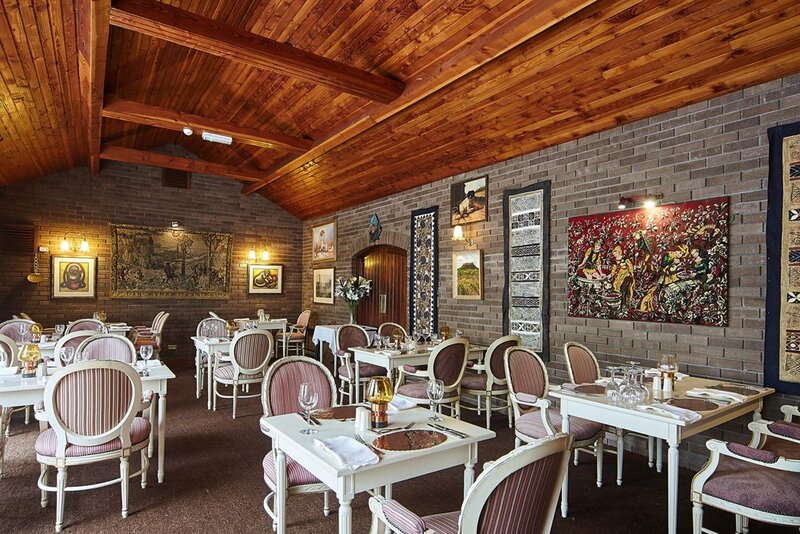 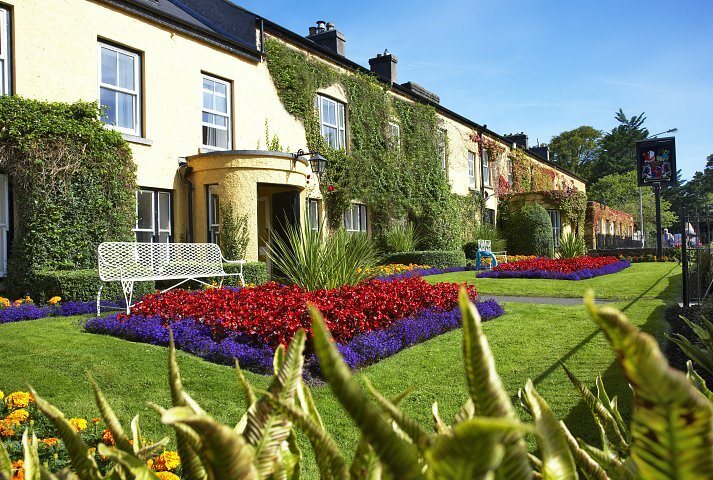 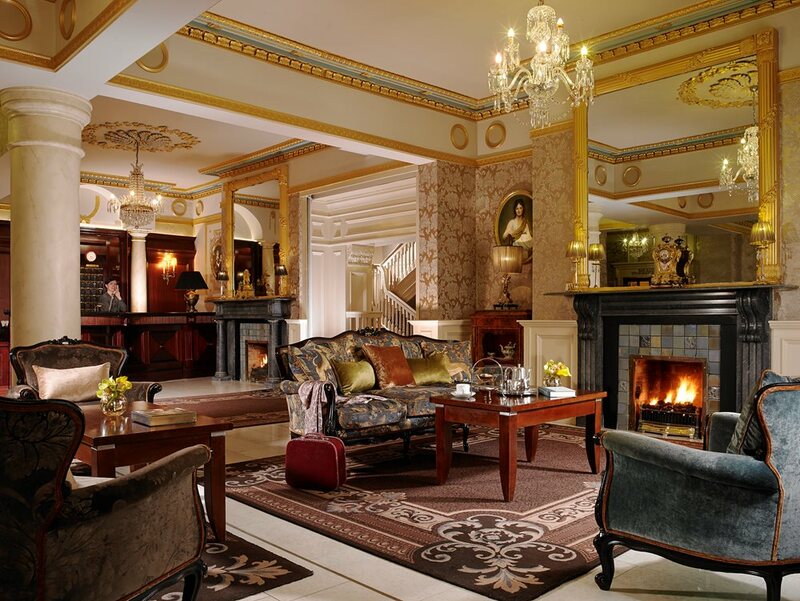 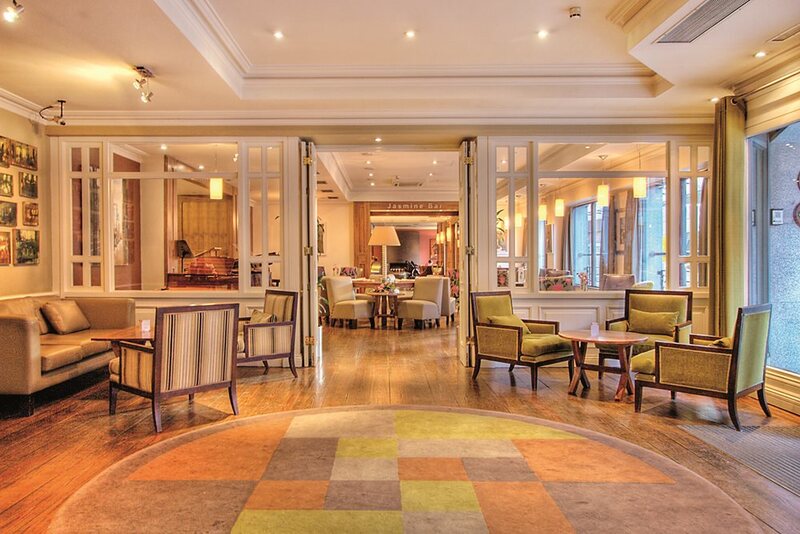 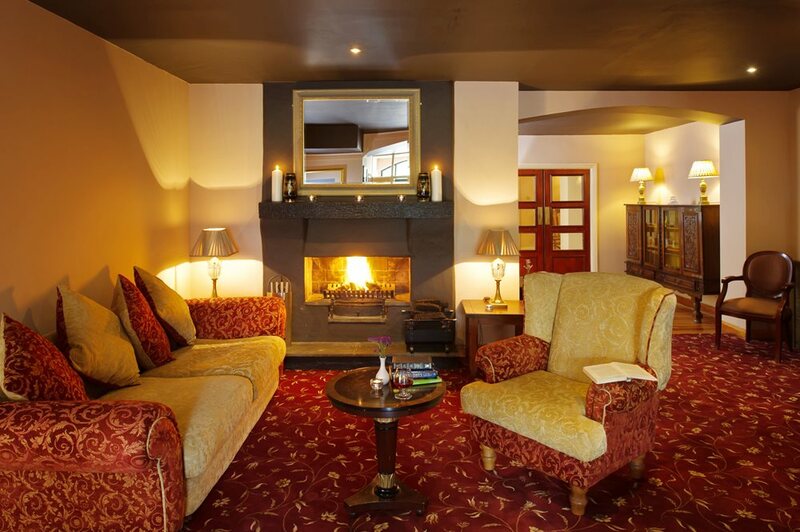 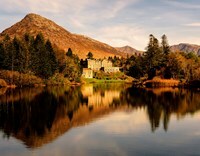 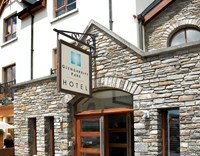 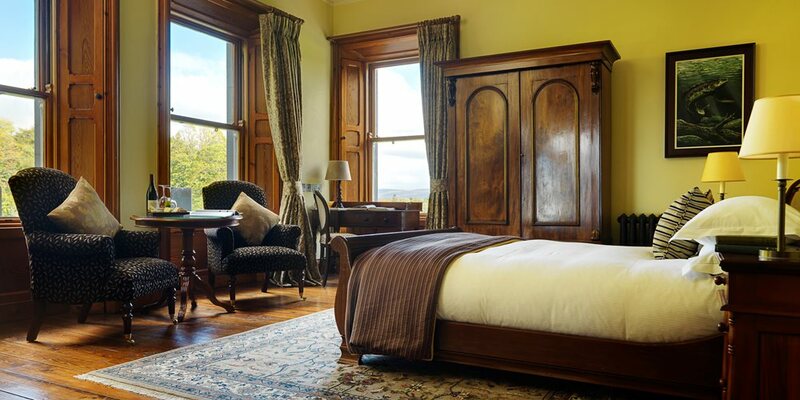 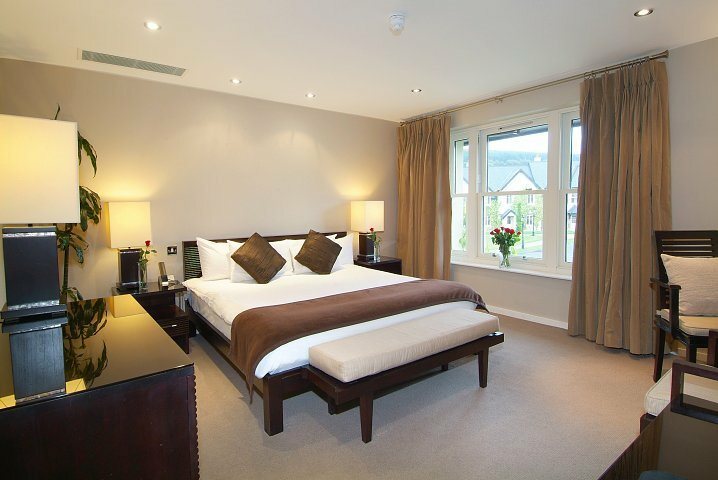 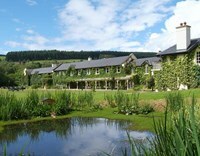 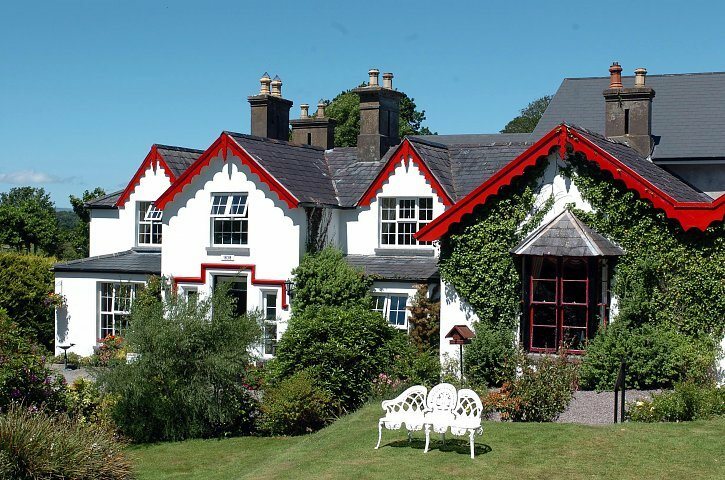 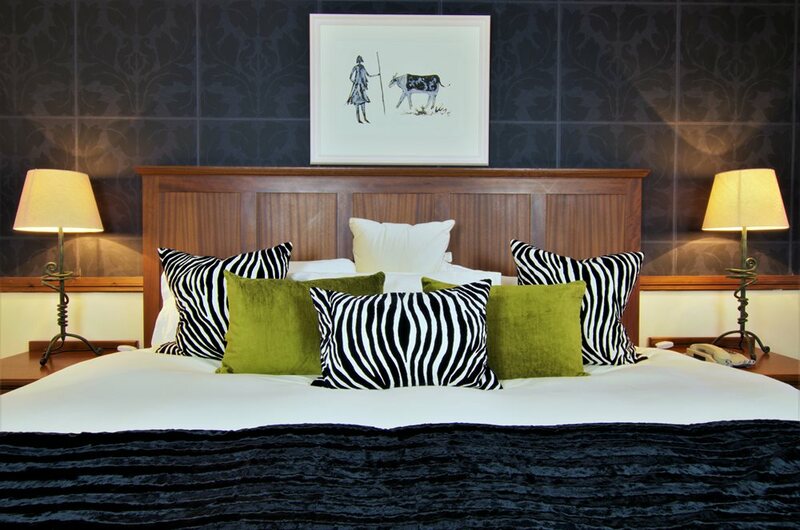 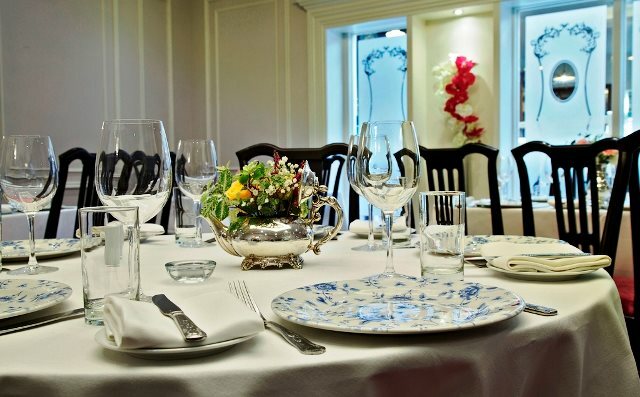 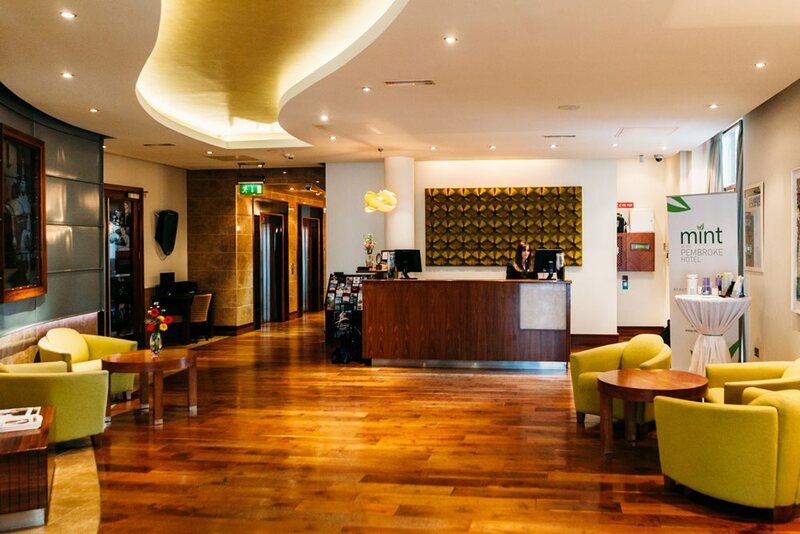 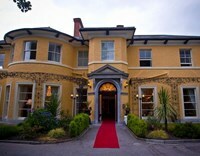 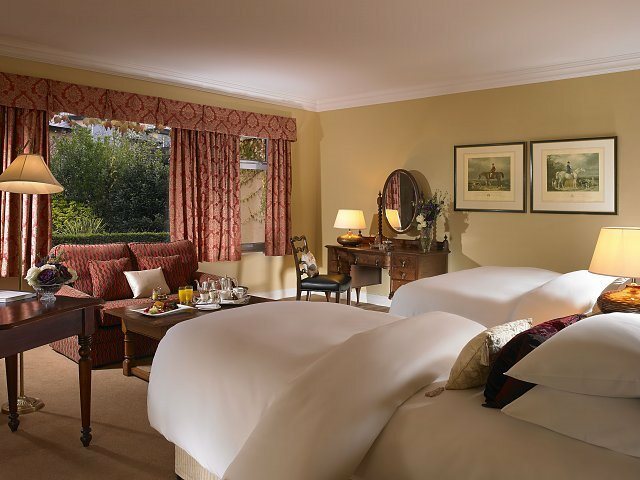 A charming hotel, located close to Killarney, one of Ireland's most vibrant towns. 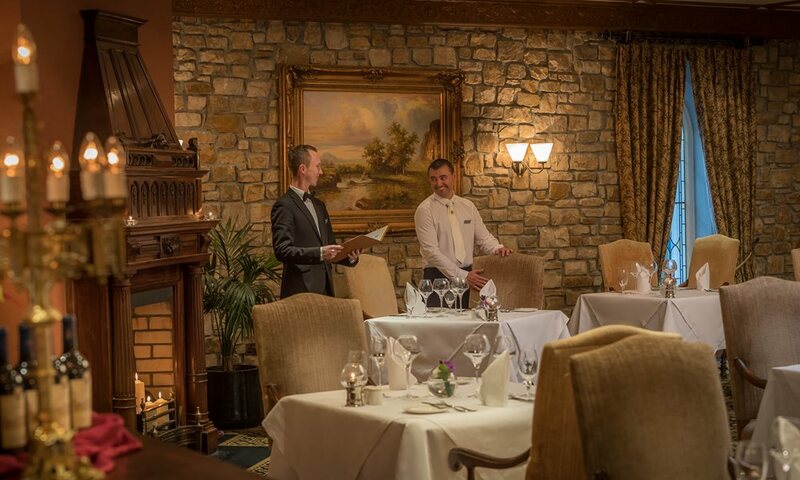 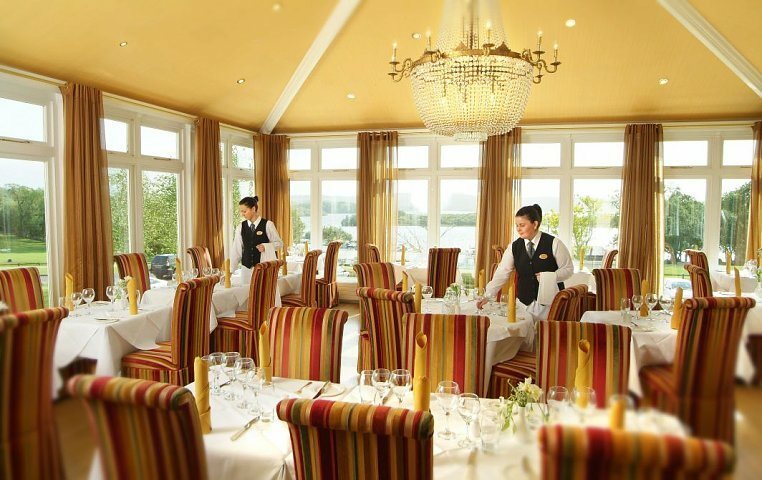 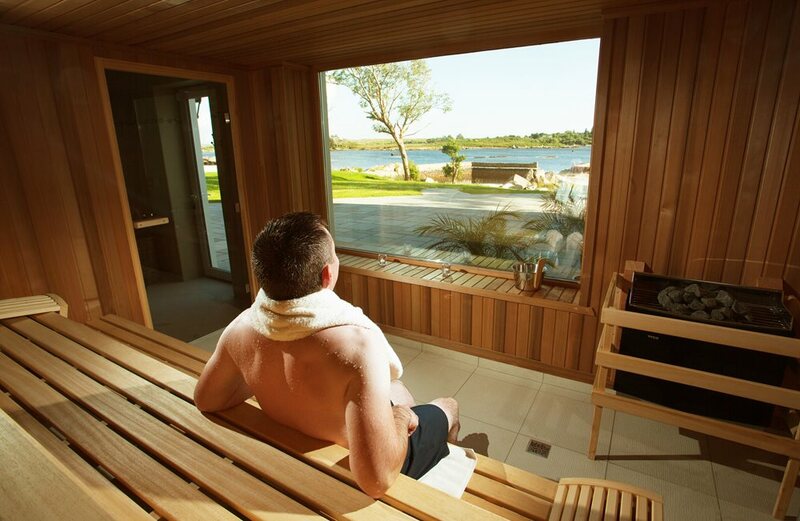 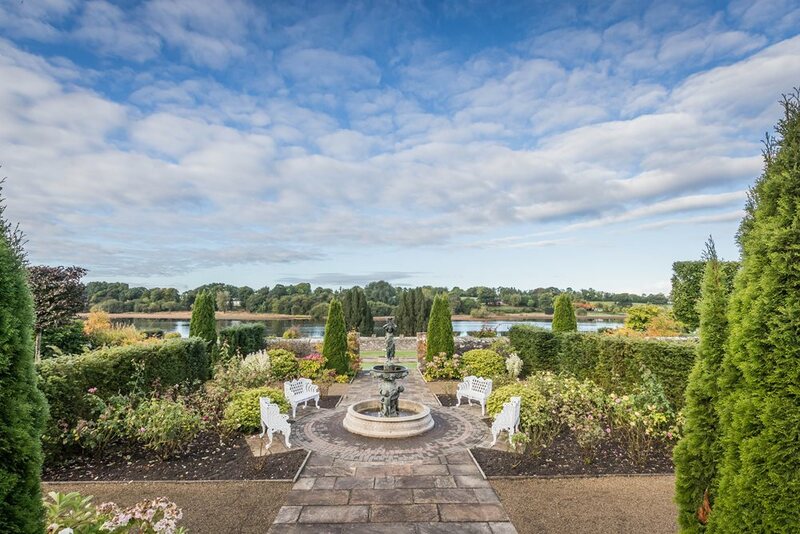 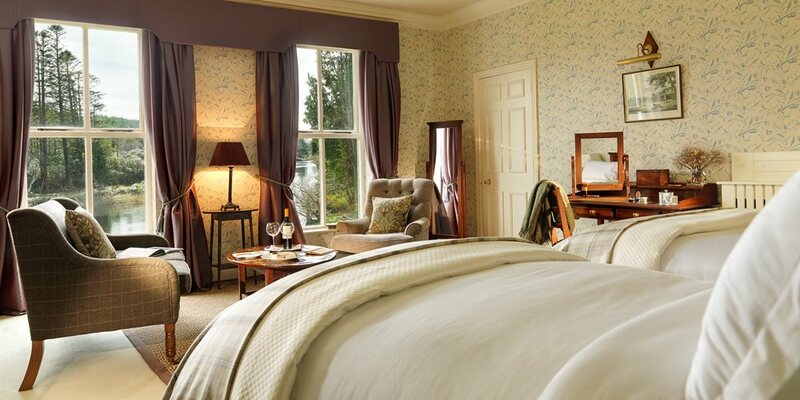 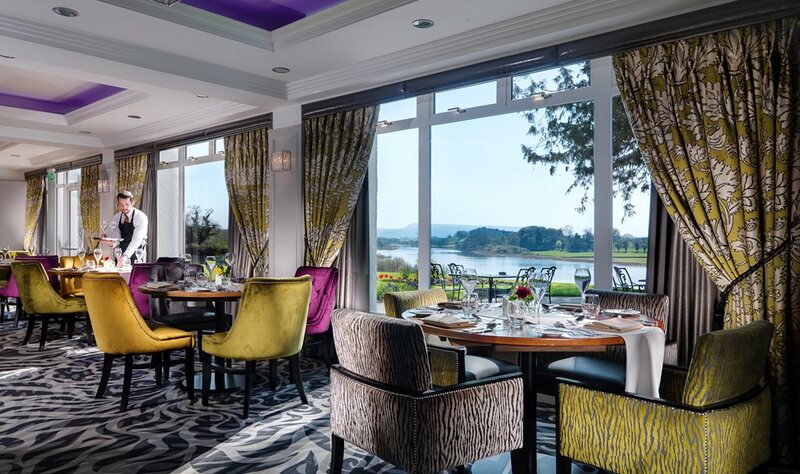 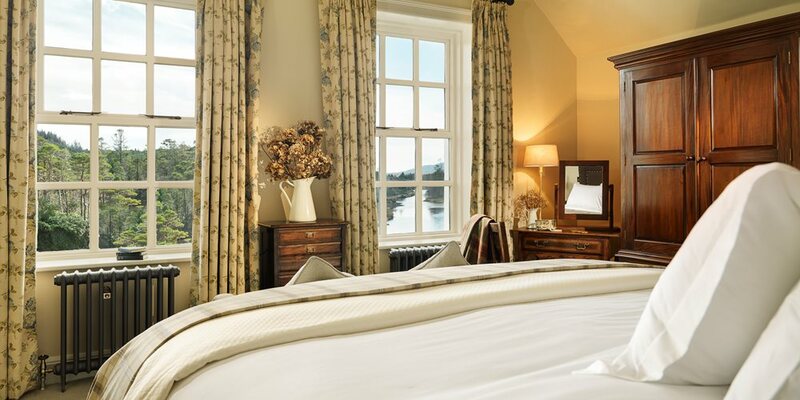 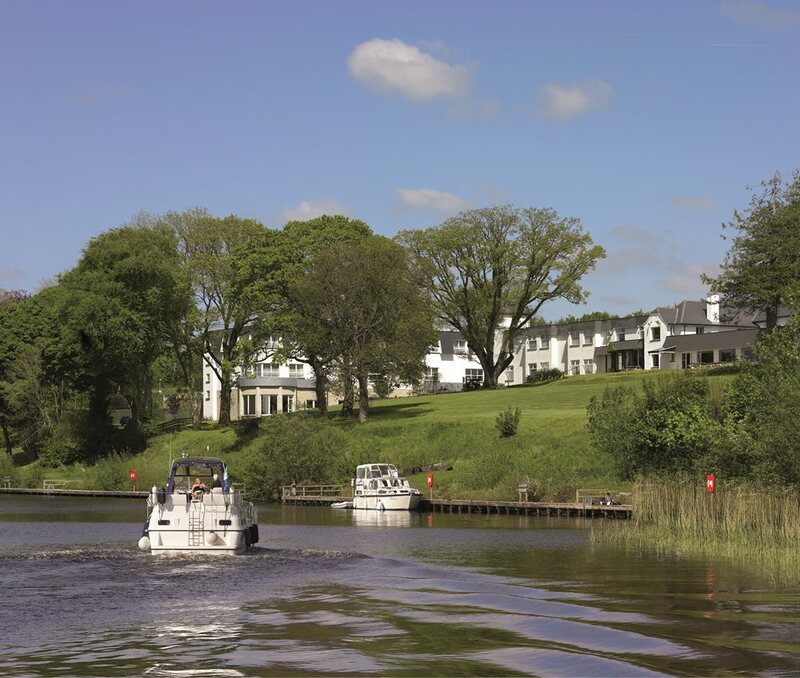 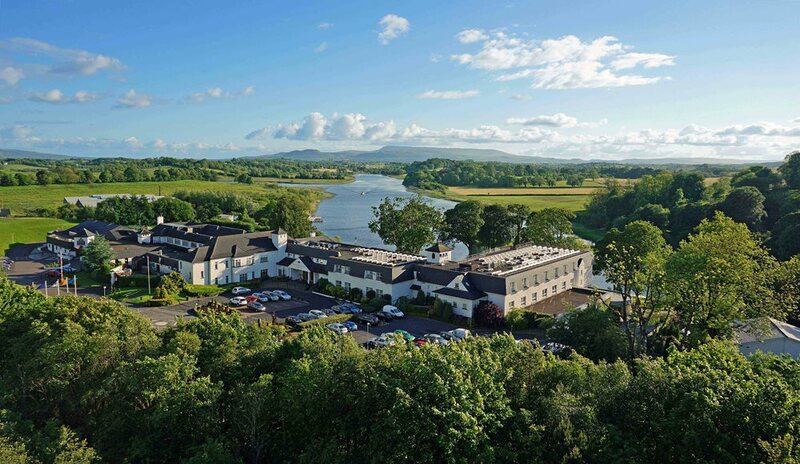 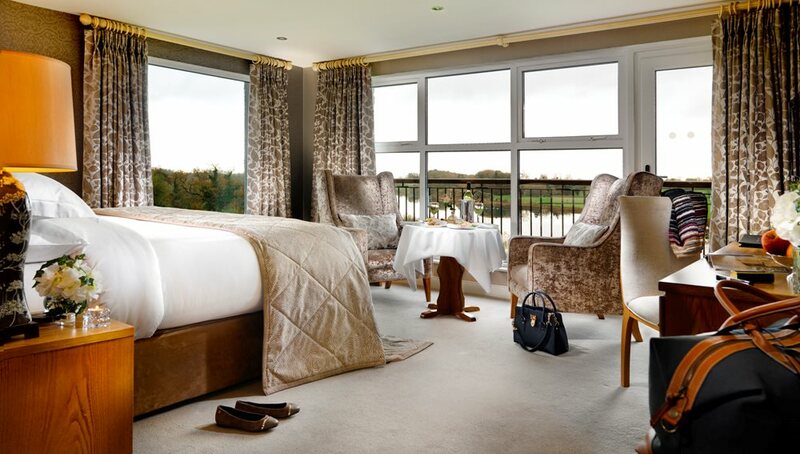 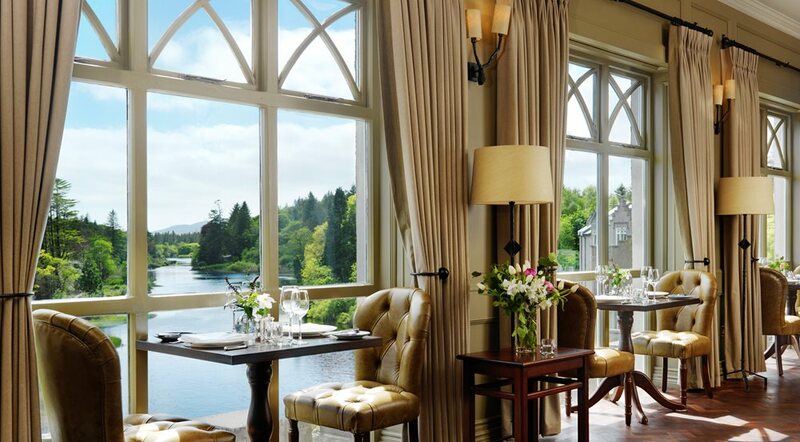 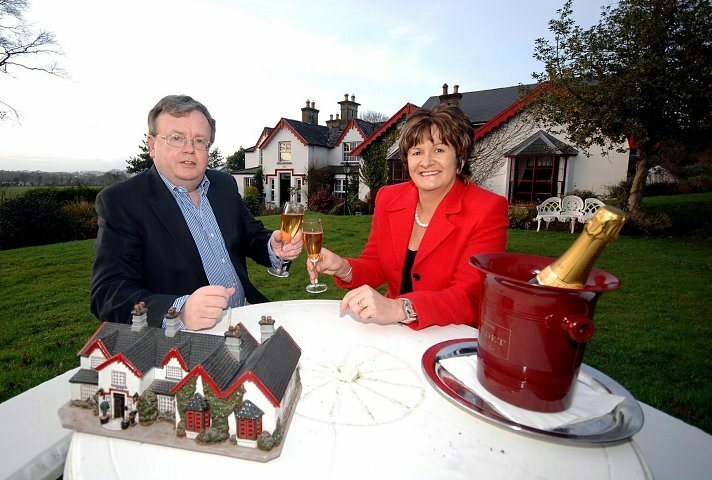 The Killyhevlin Hotel is idyllically set on the shores of scenic Lough Erne. 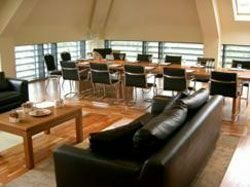 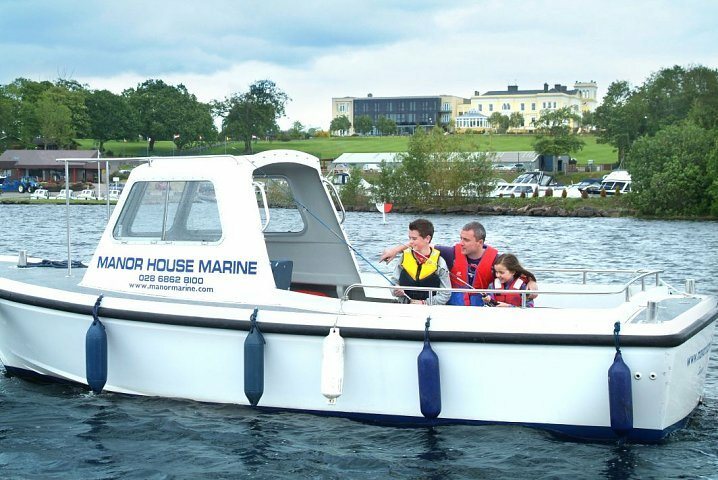 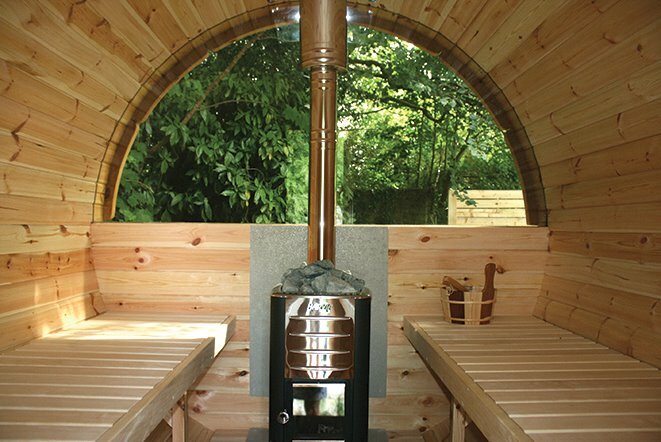 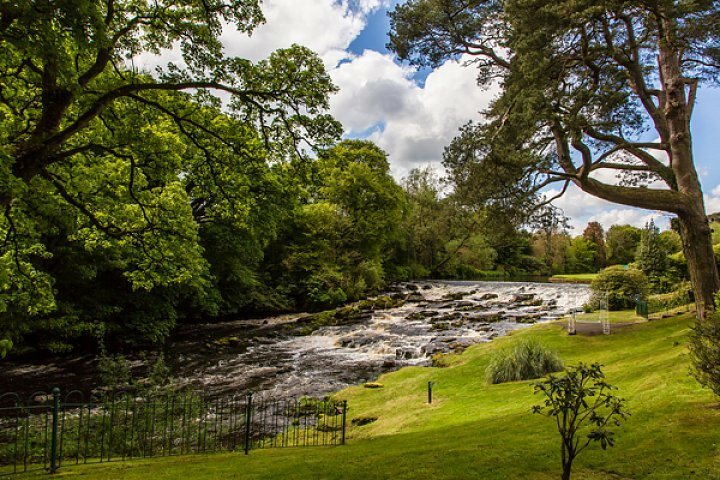 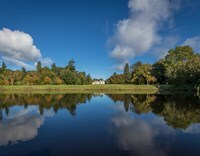 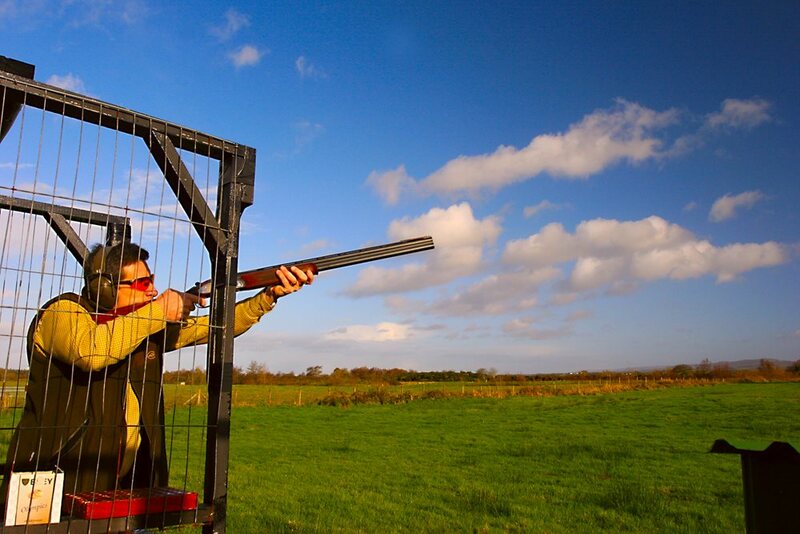 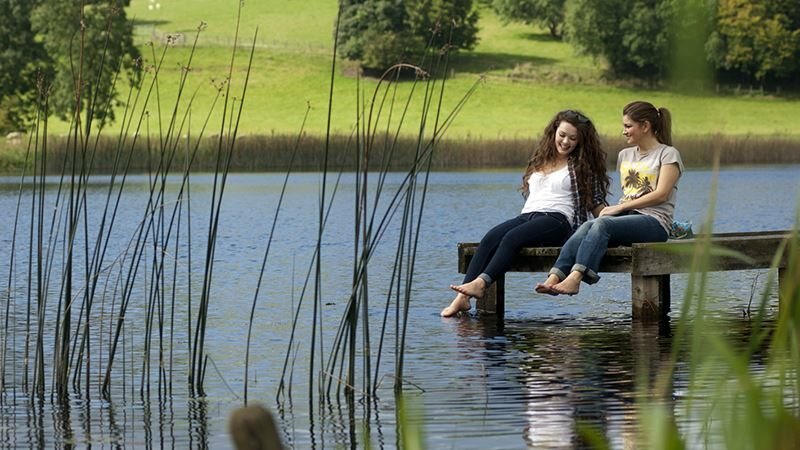 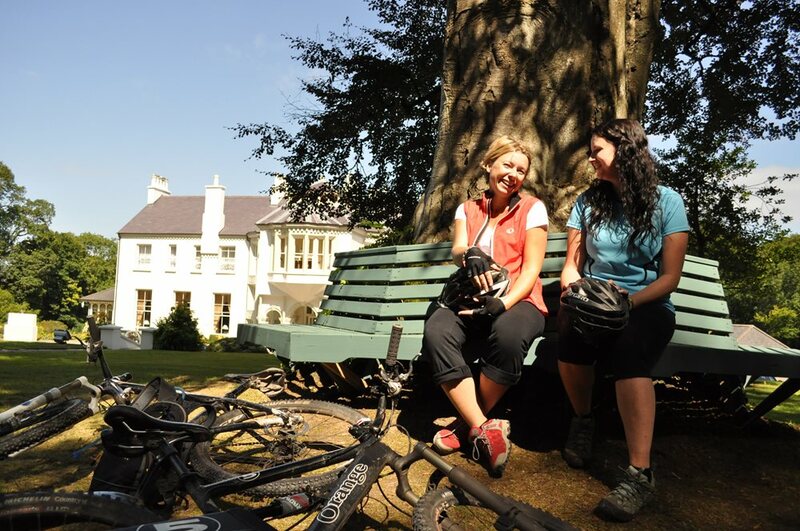 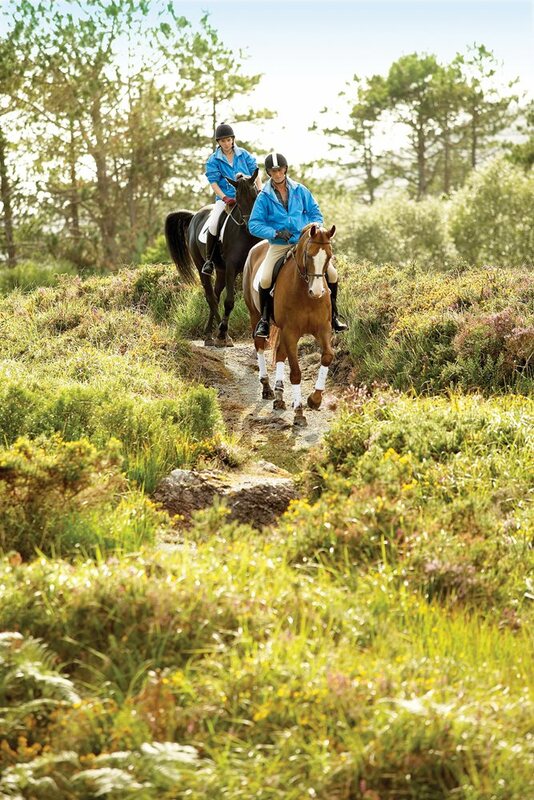 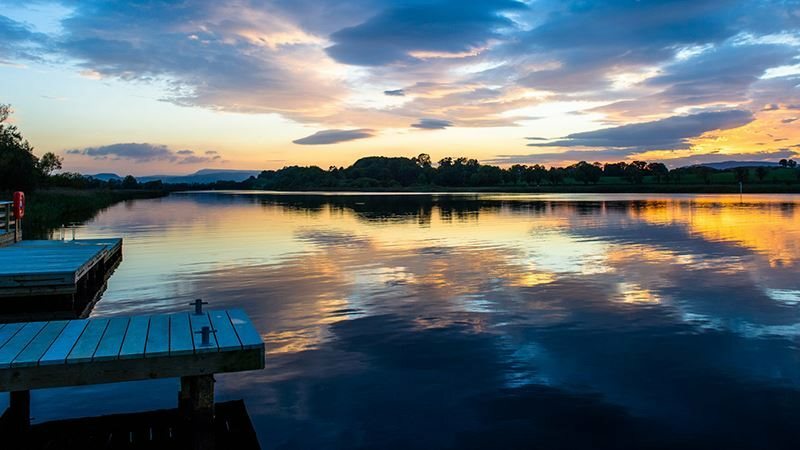 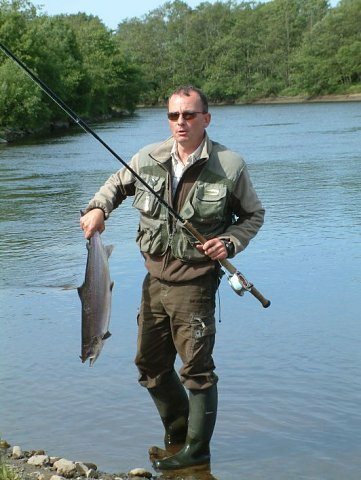 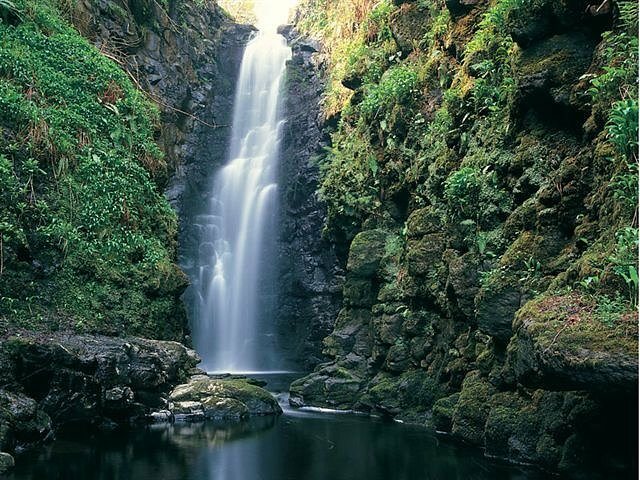 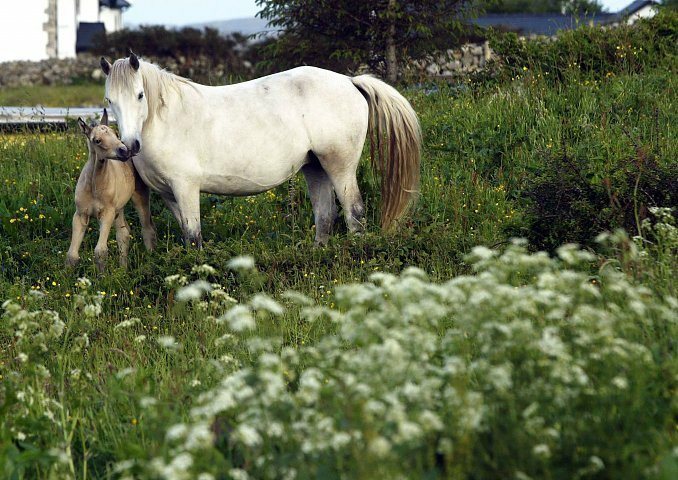 Bordered by private grounds and gardens, it offers the ideal base of exploring the west and the main sight of Fermanagh. 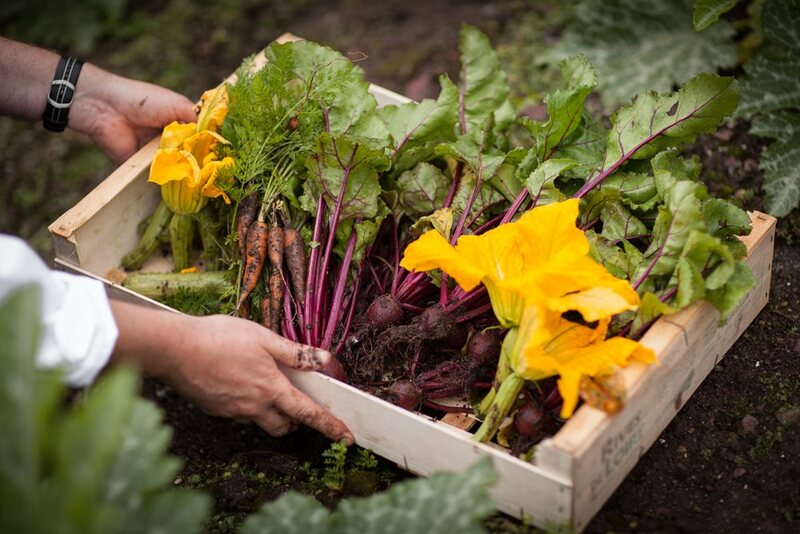 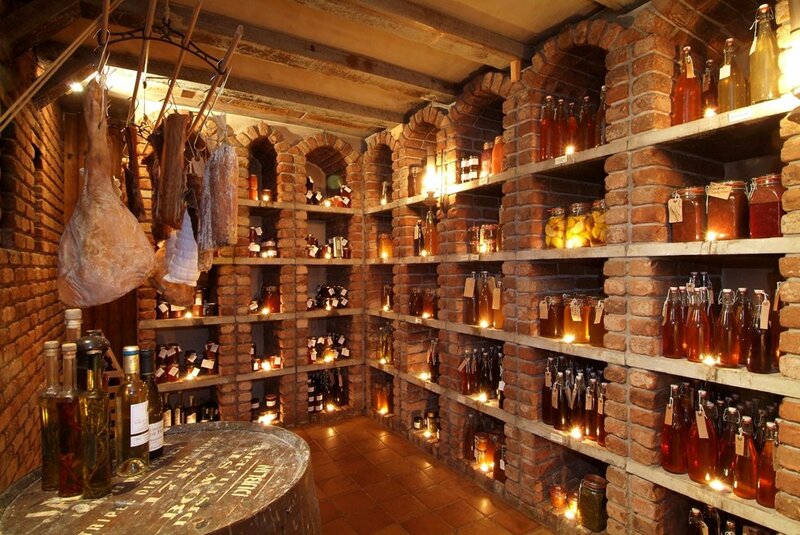 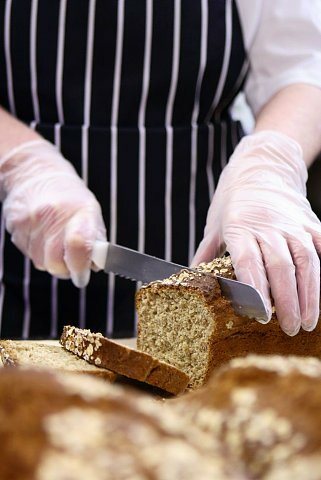 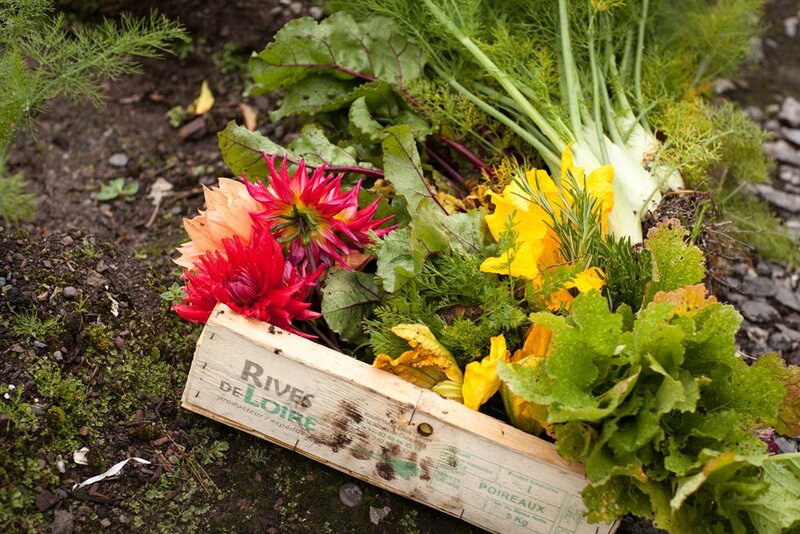 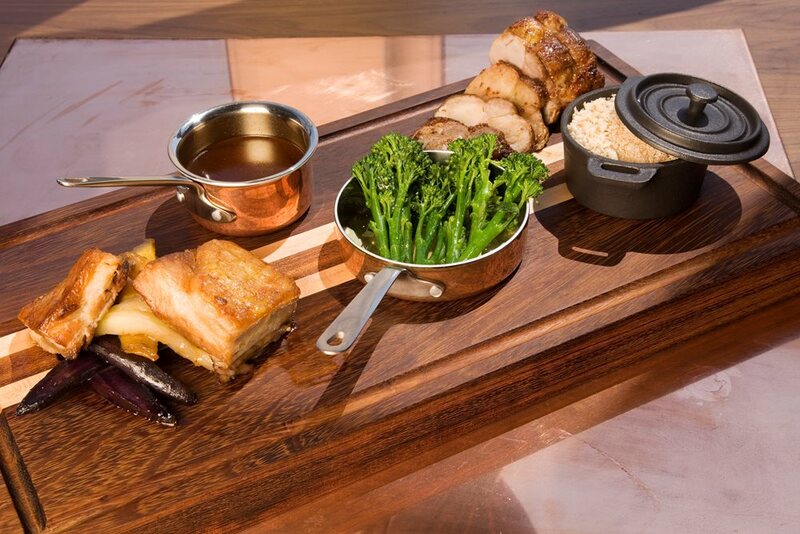 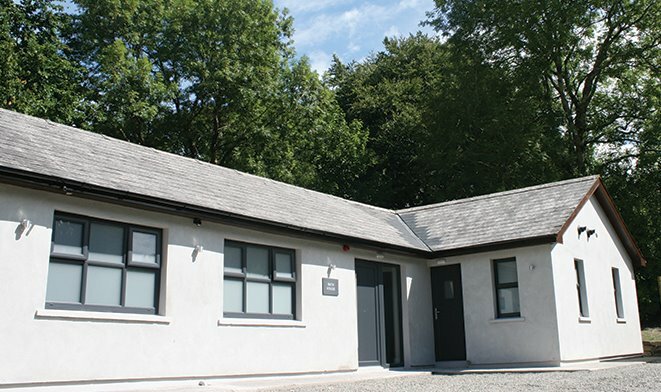 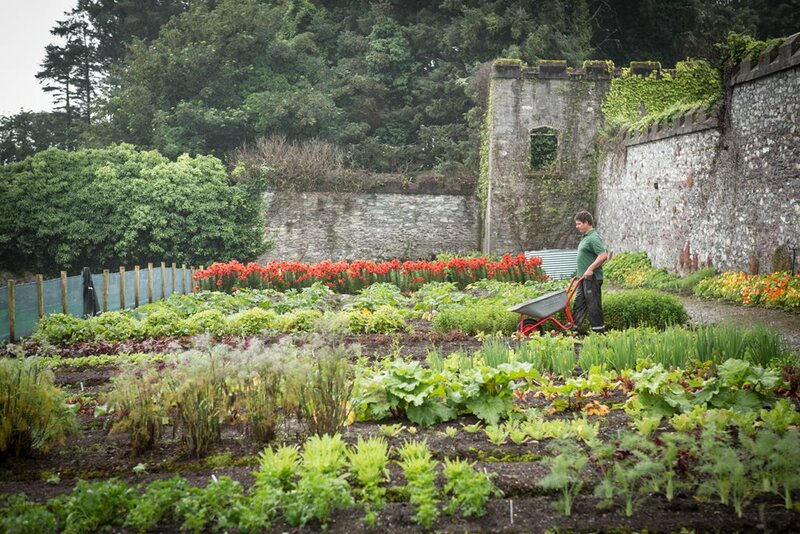 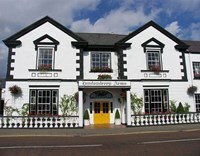 A great base to tour the West of Ireland, with an excellent reputation for good food using fresh and locally sourced ingredients. 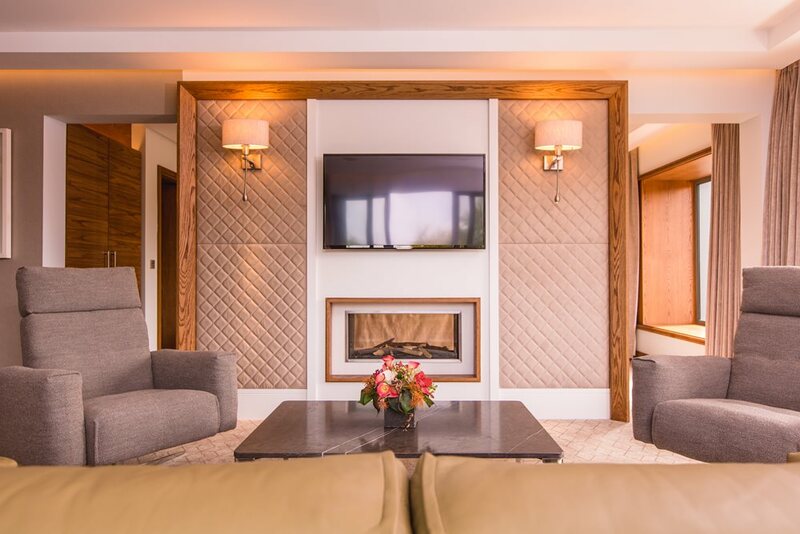 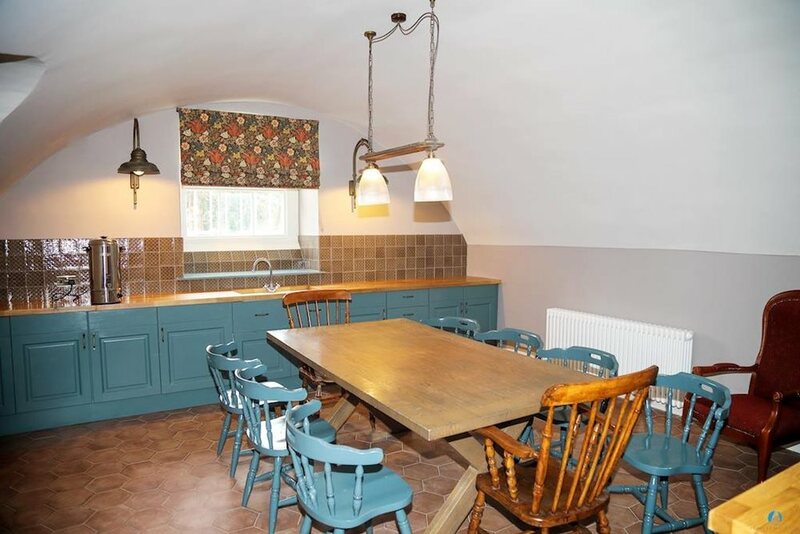 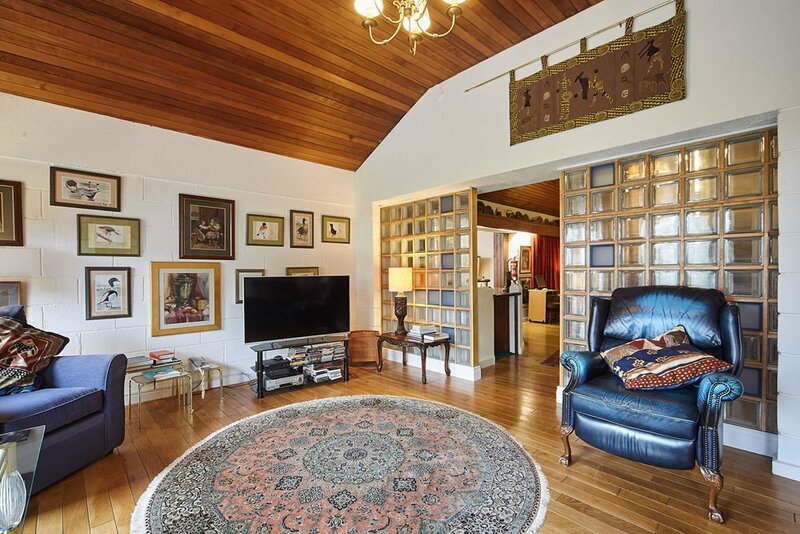 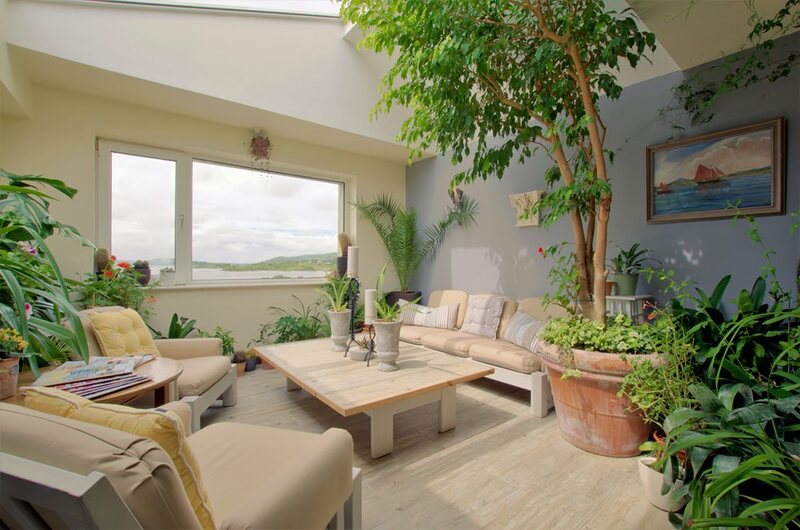 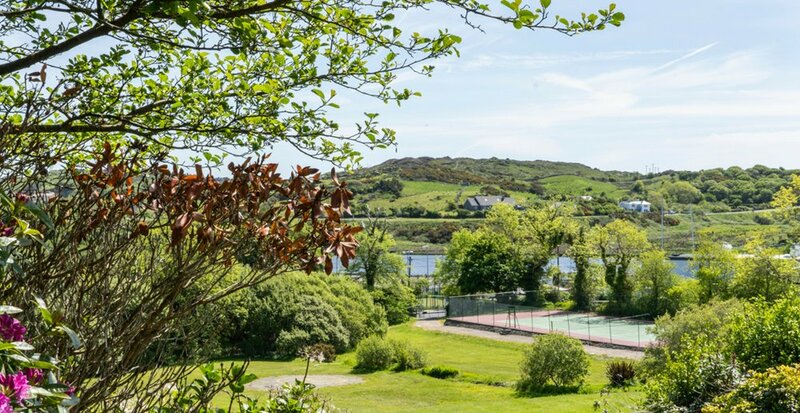 Set in secluded grounds on a hillside overlooking the picturesque town of Westport, with breath-taking views of Clew Bay and the Nephin Mountains. 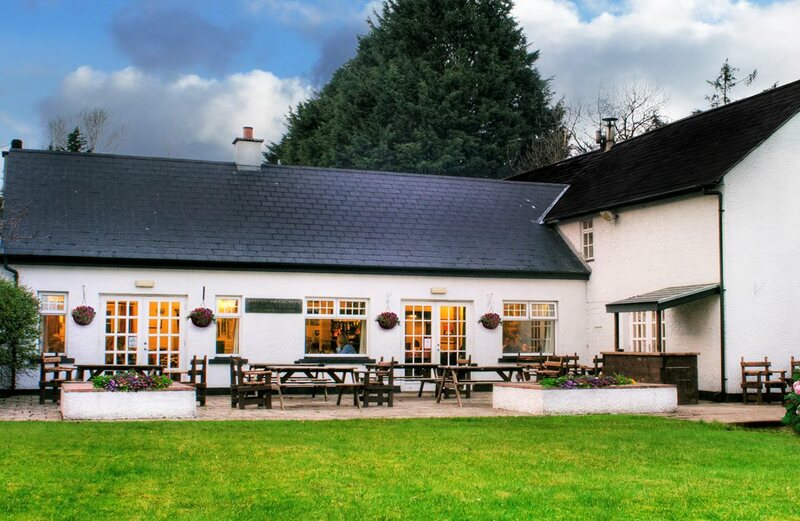 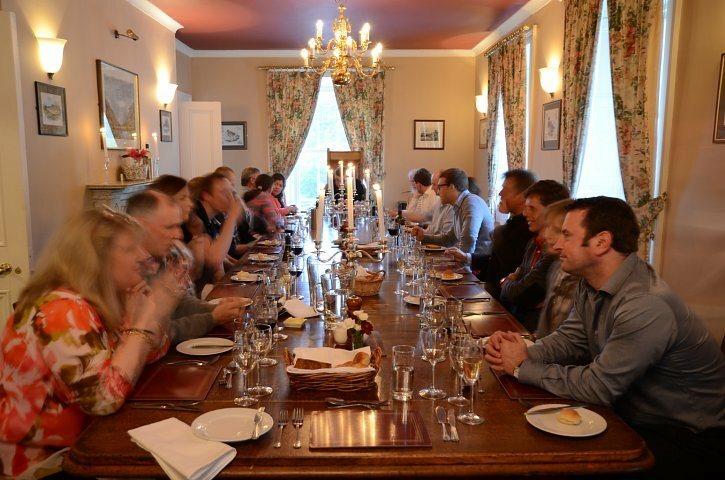 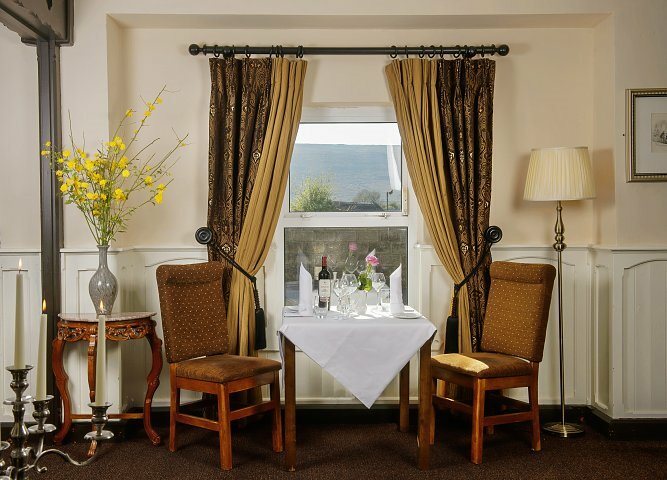 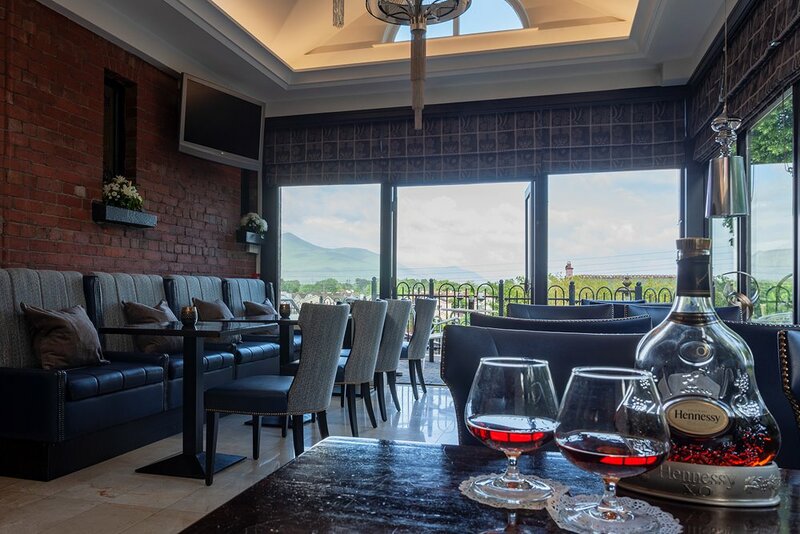 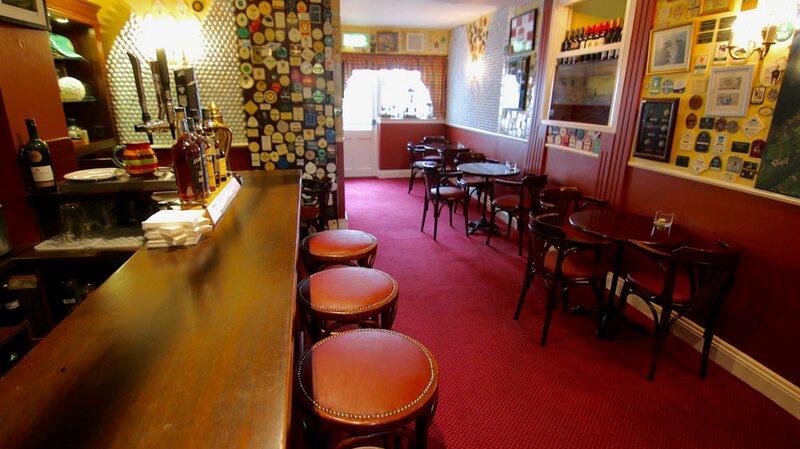 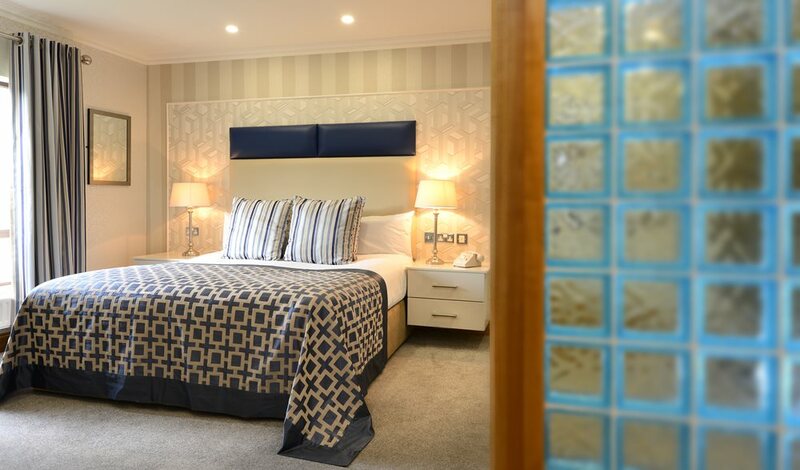 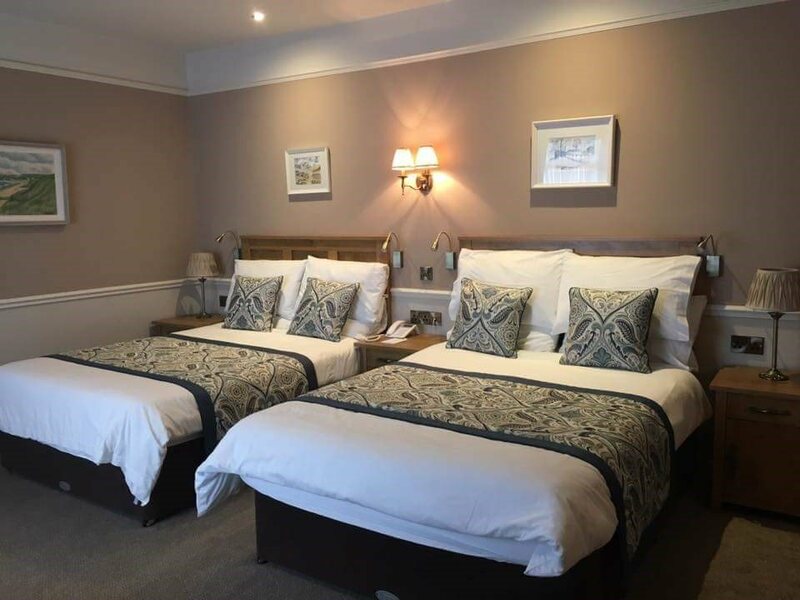 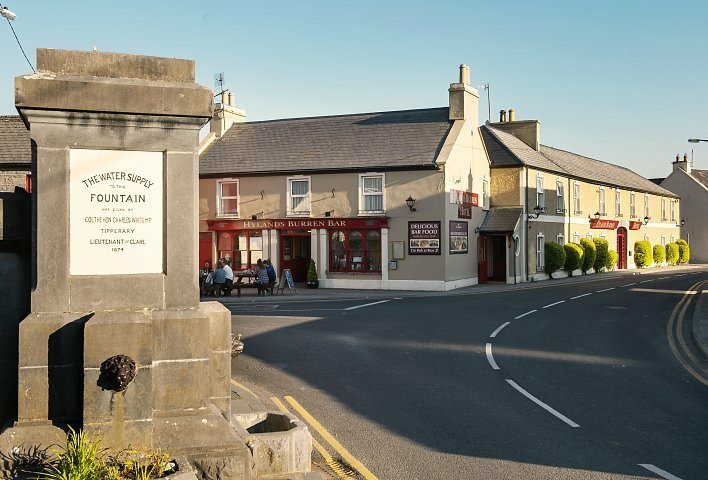 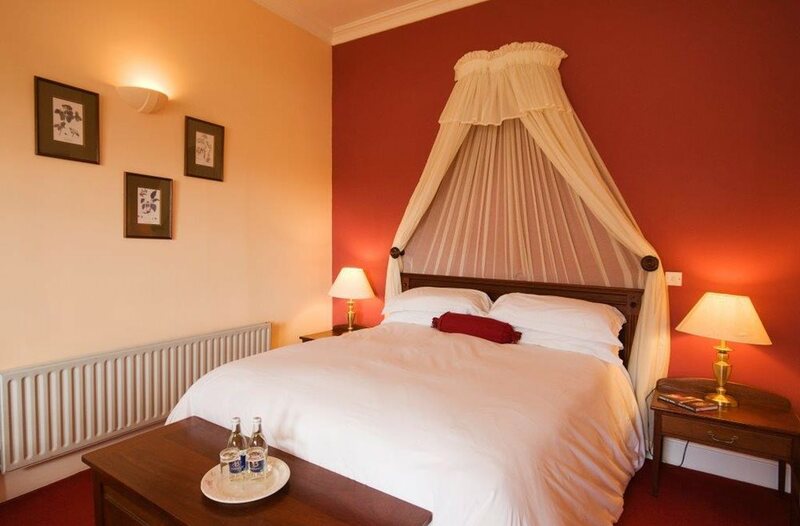 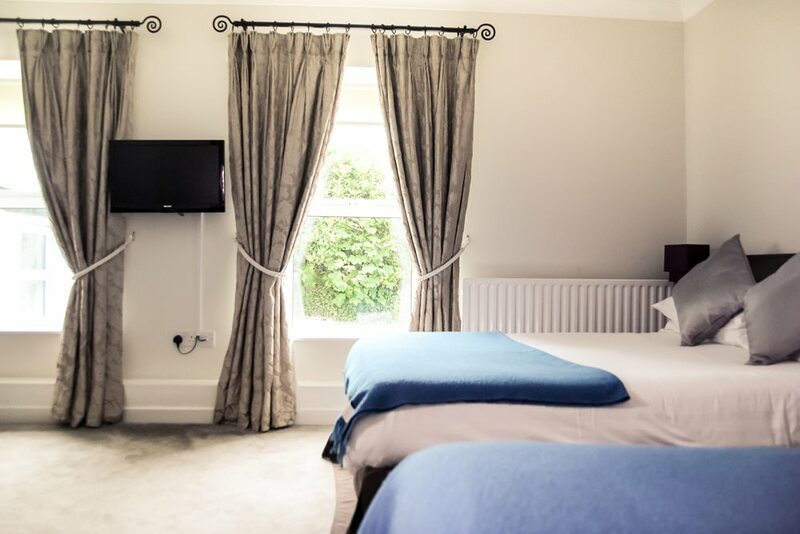 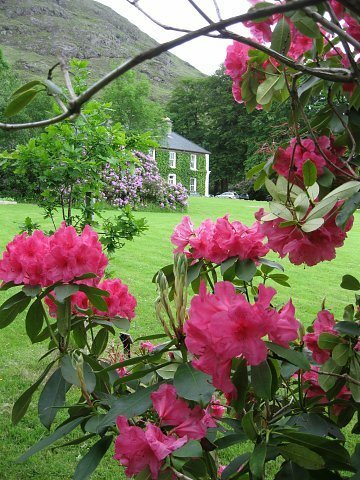 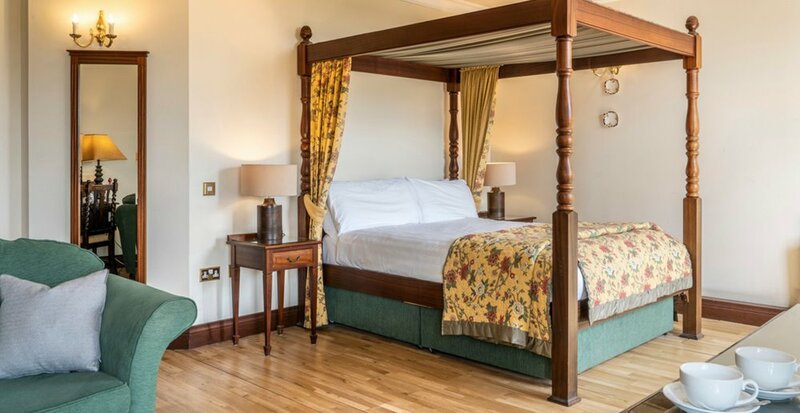 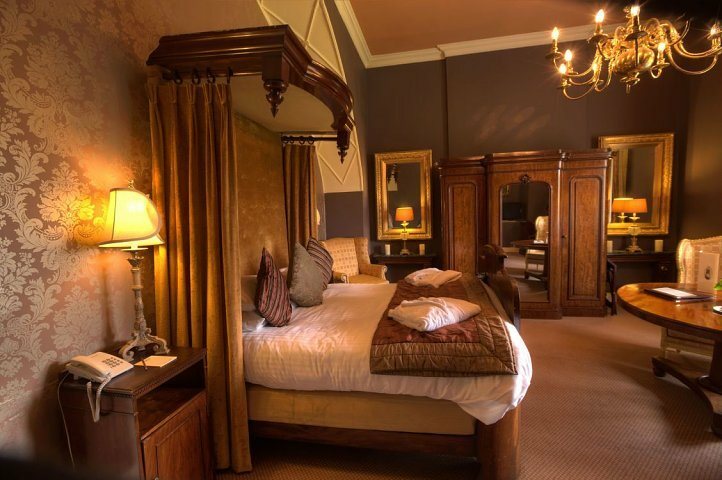 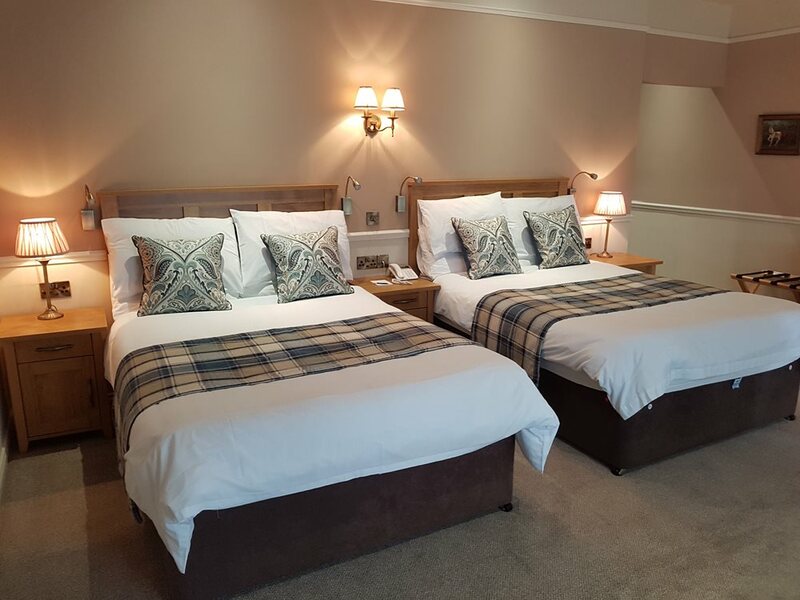 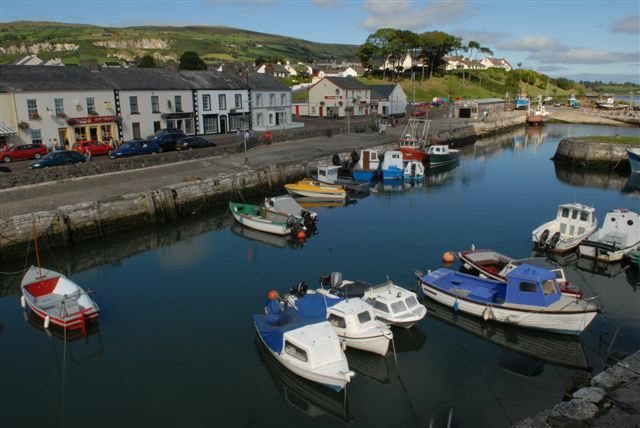 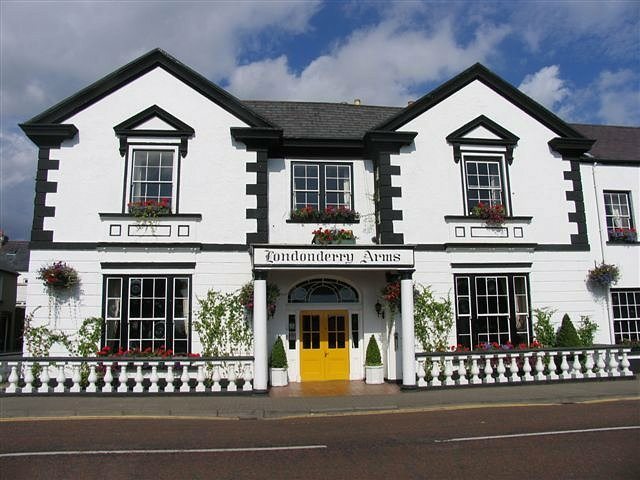 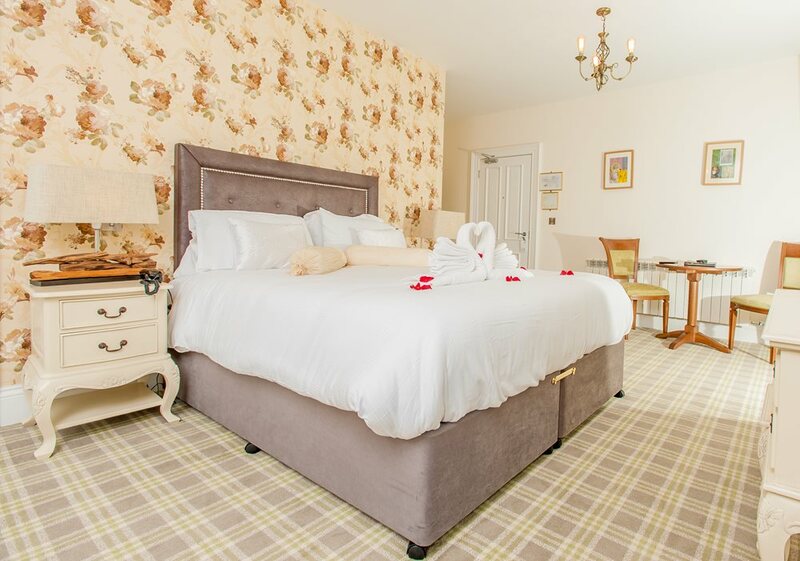 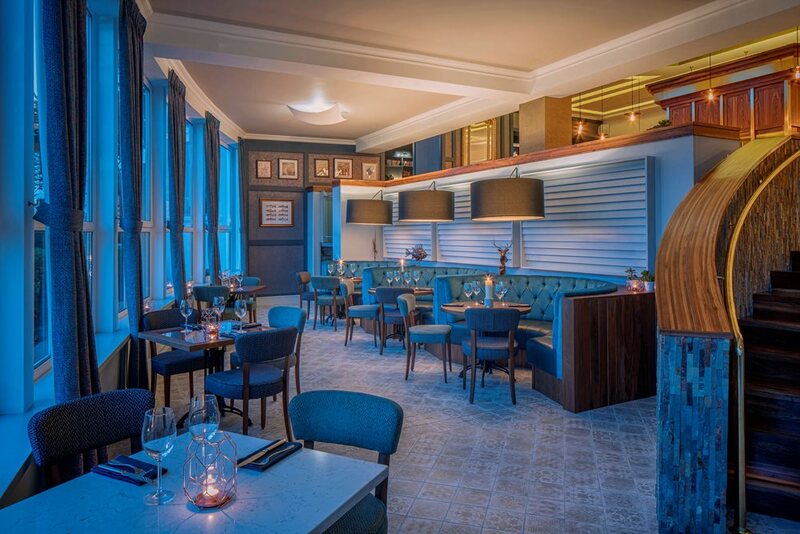 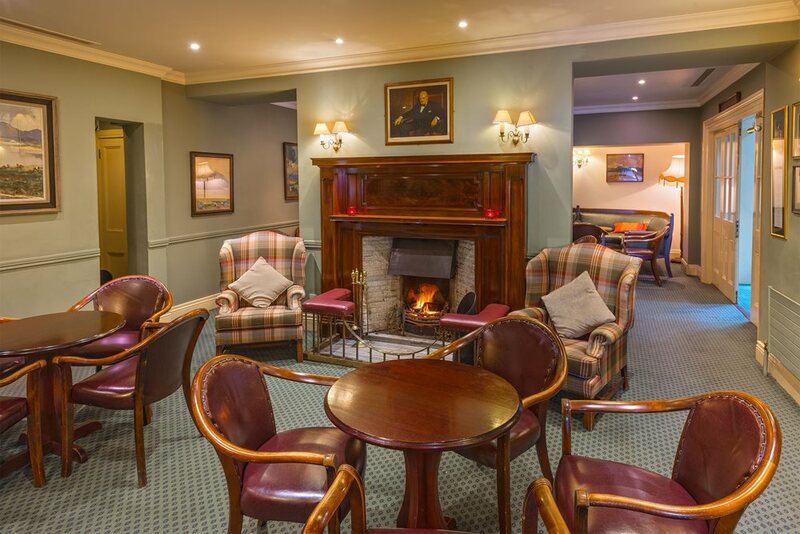 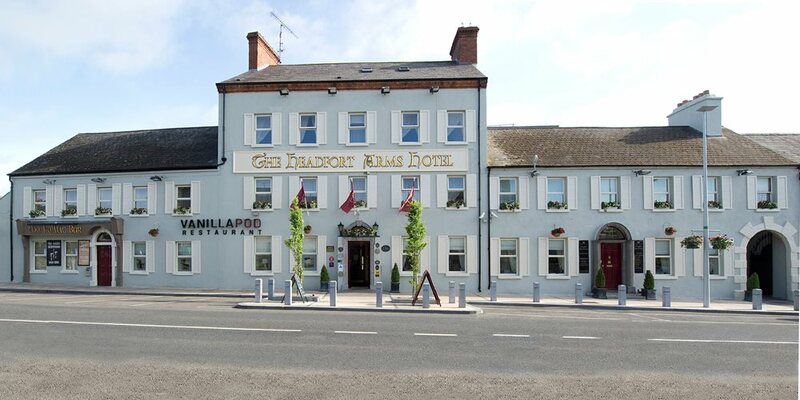 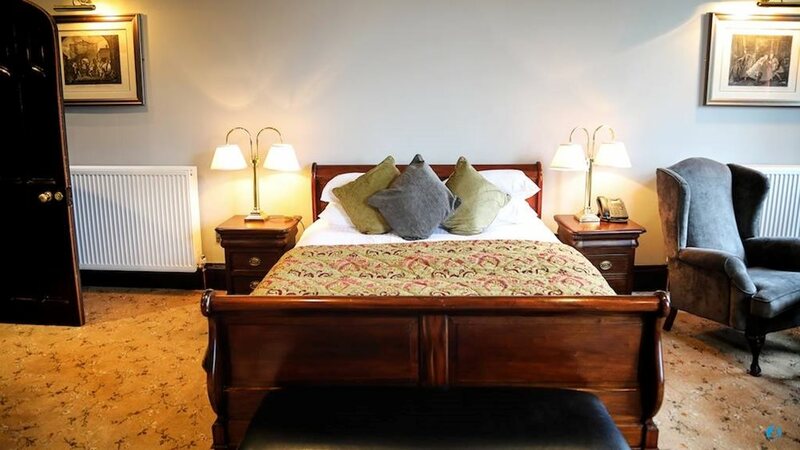 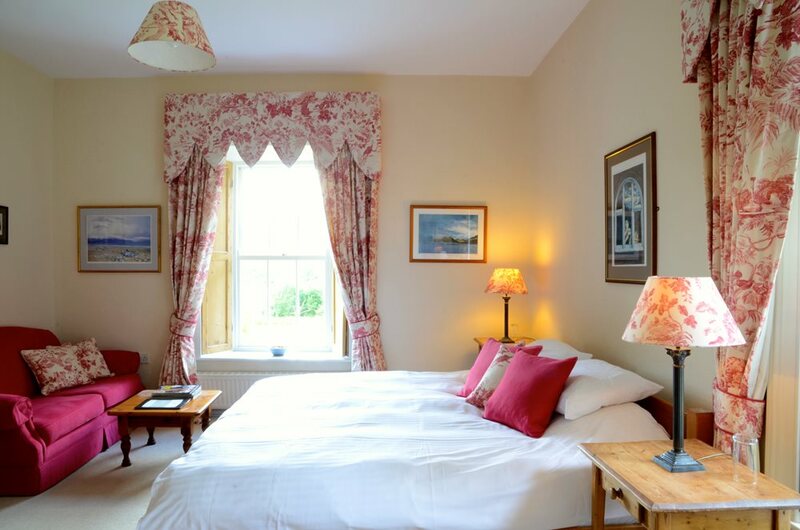 The Londonderry Arms Hotel is an ideal touring base, situated in the picturesque Glens of Antrim on the Causeway Coastal Route. 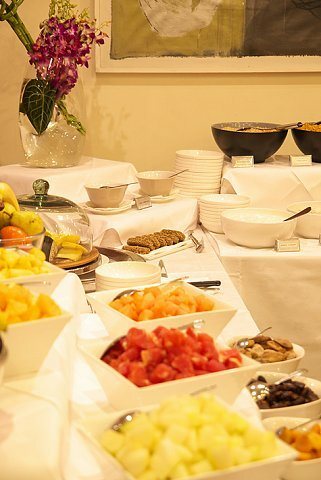 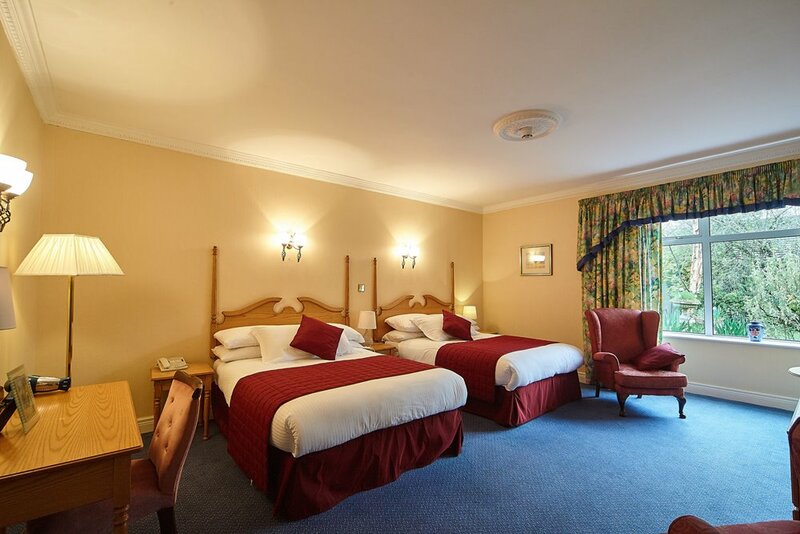 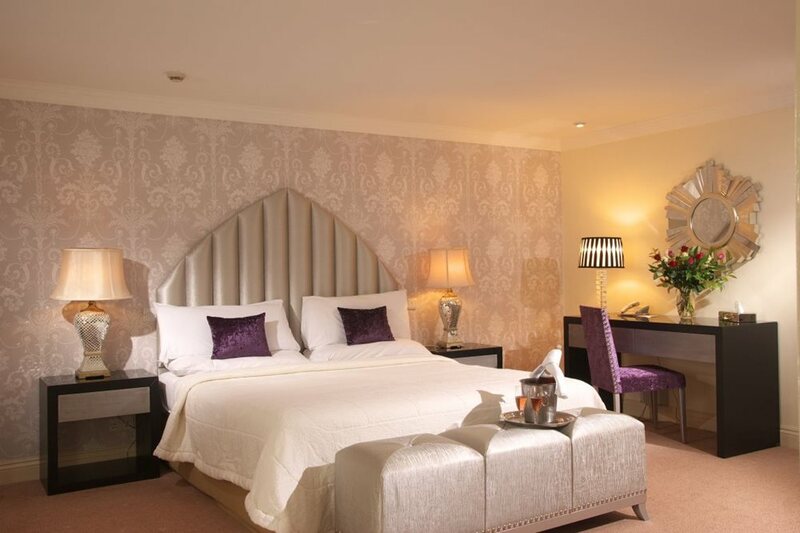 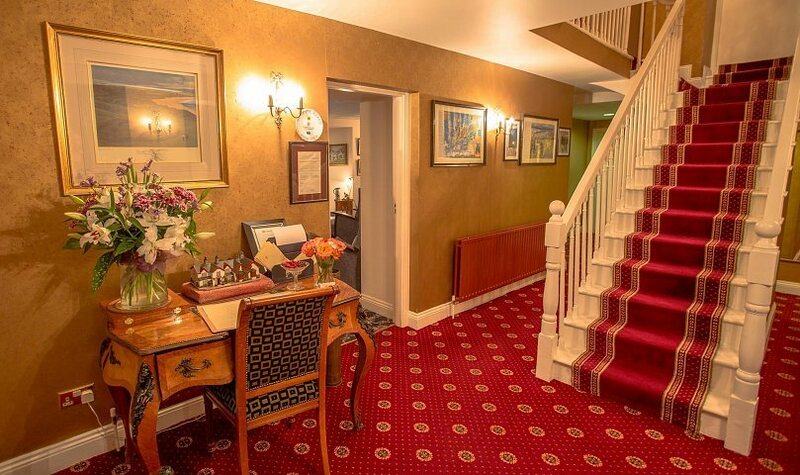 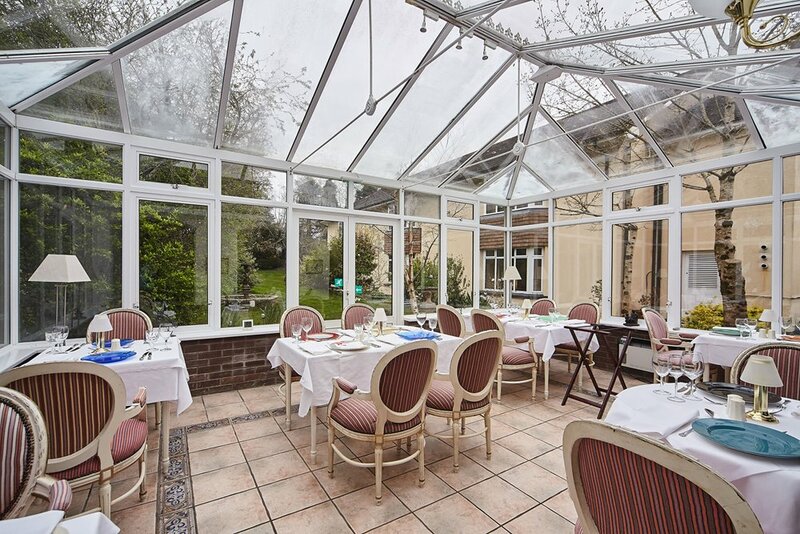 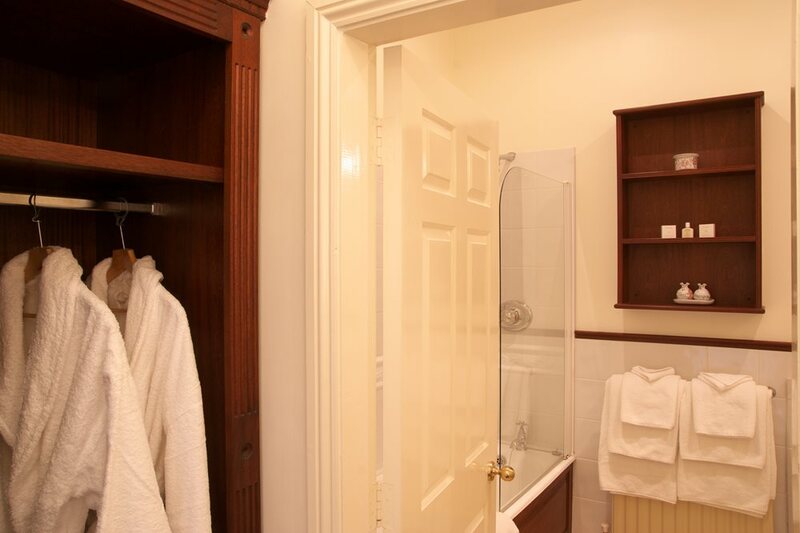 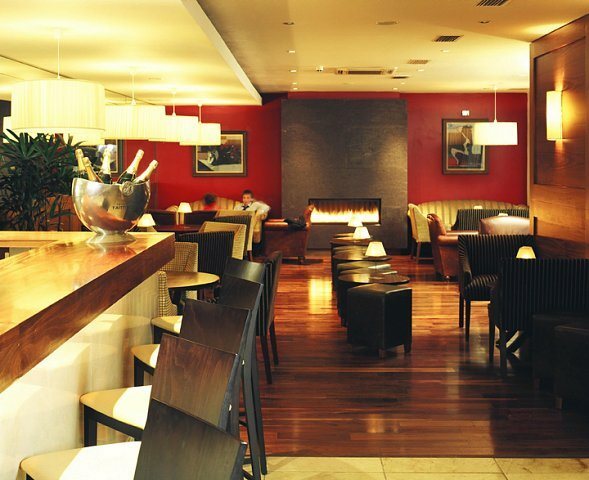 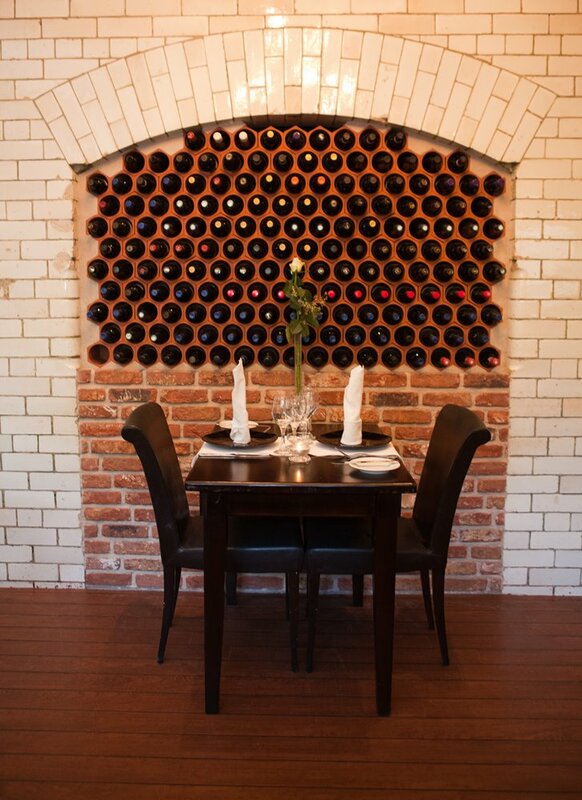 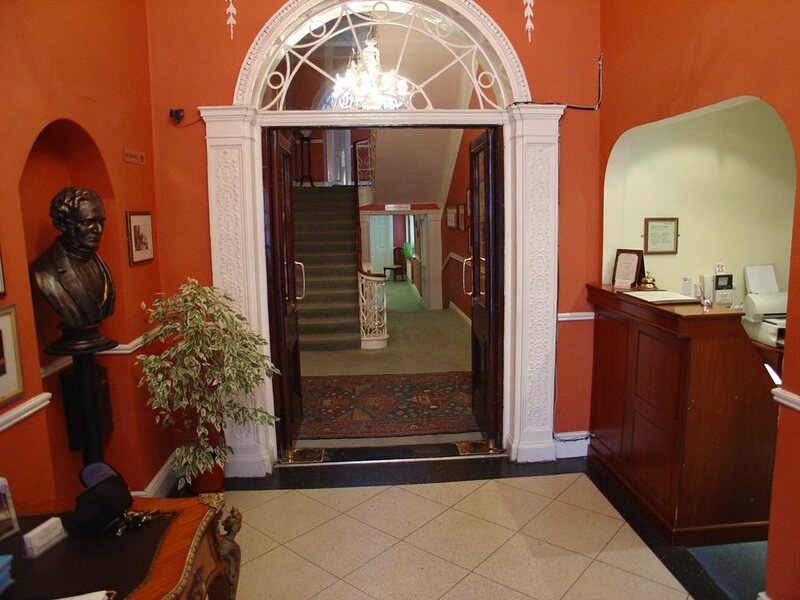 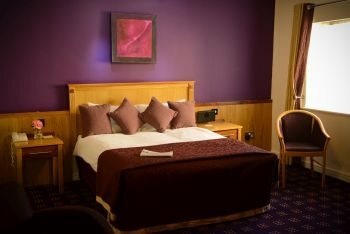 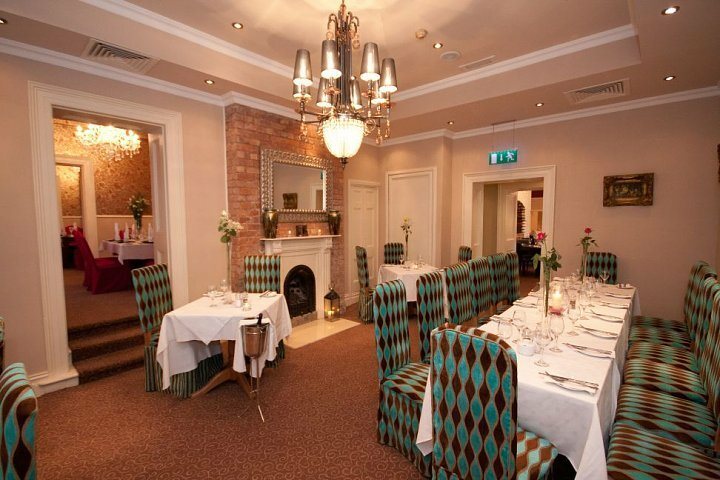 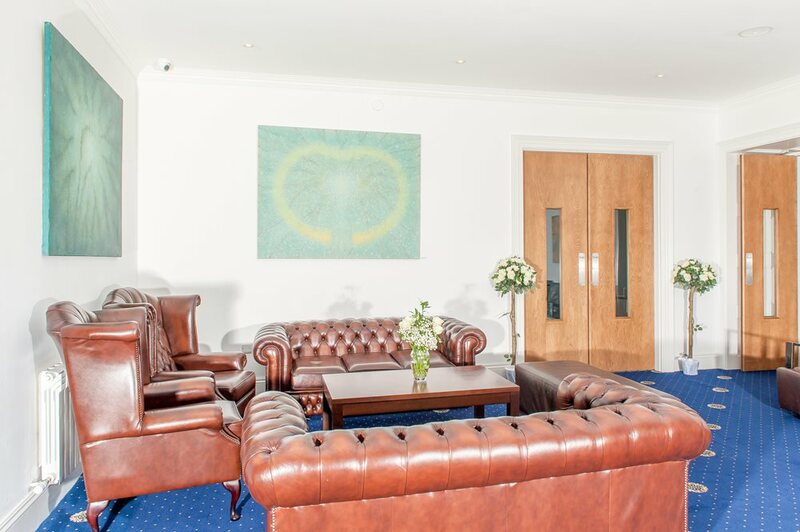 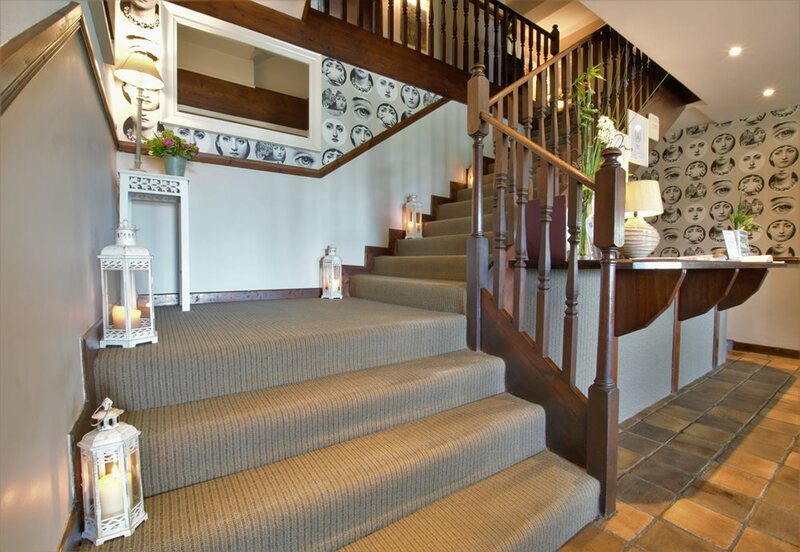 Welcome to the 4-star Longcourt House Hotel, located in the county town of Limerick, Newcastle West. 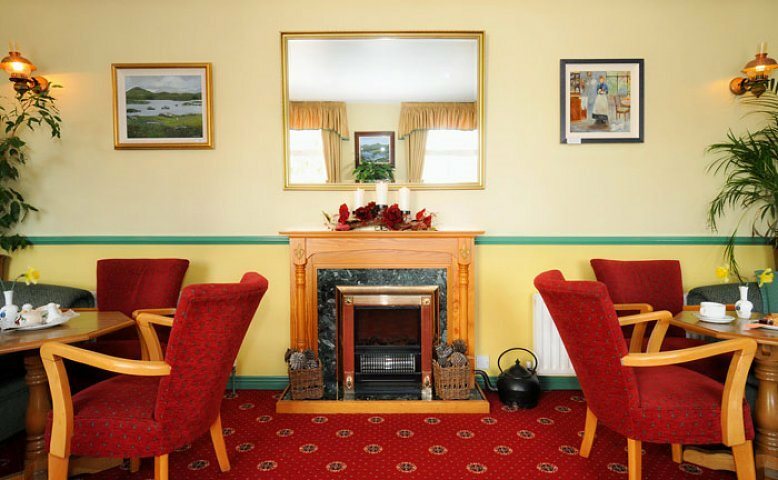 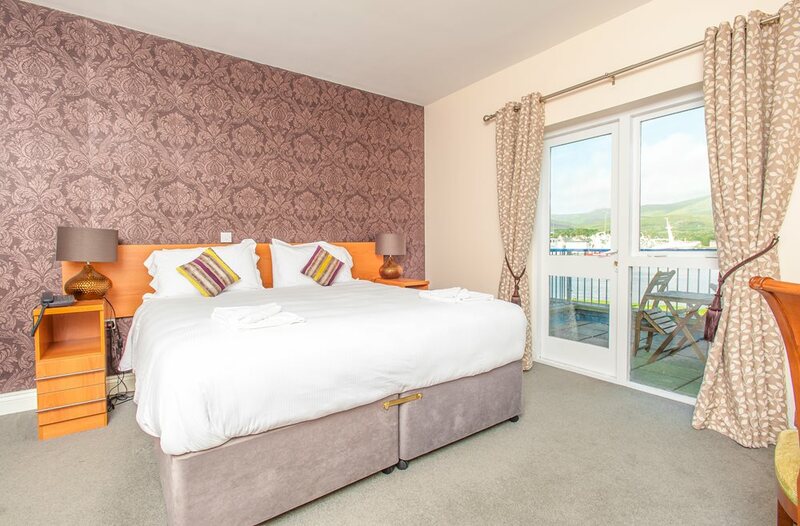 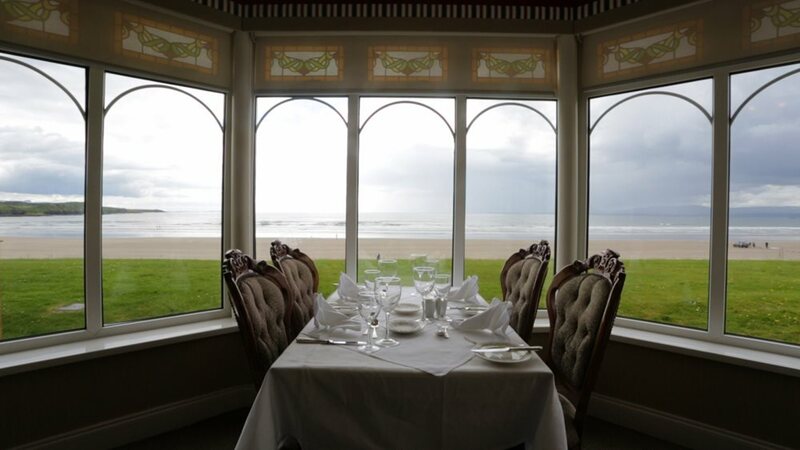 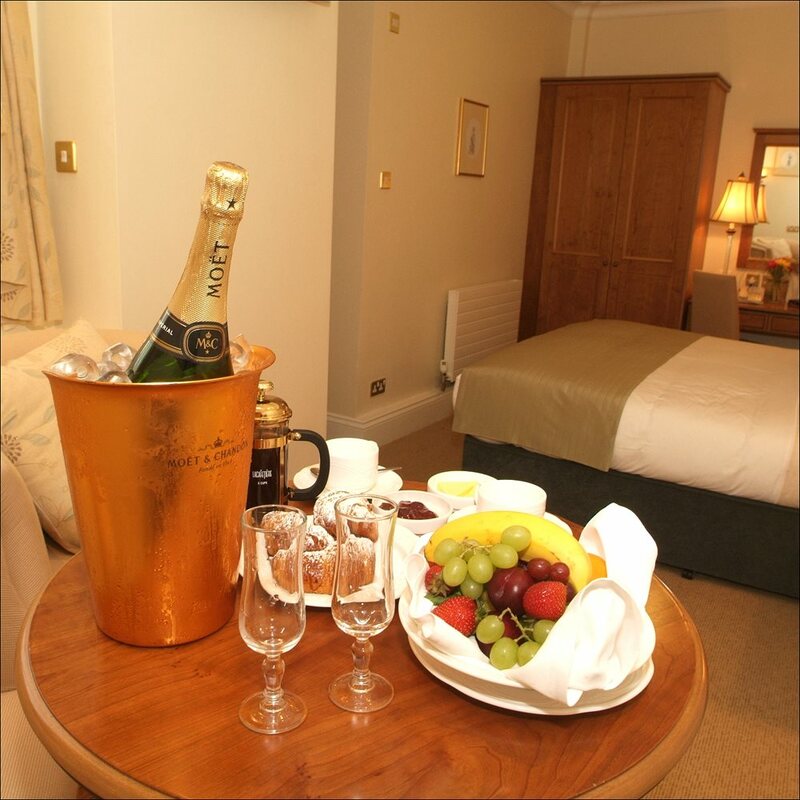 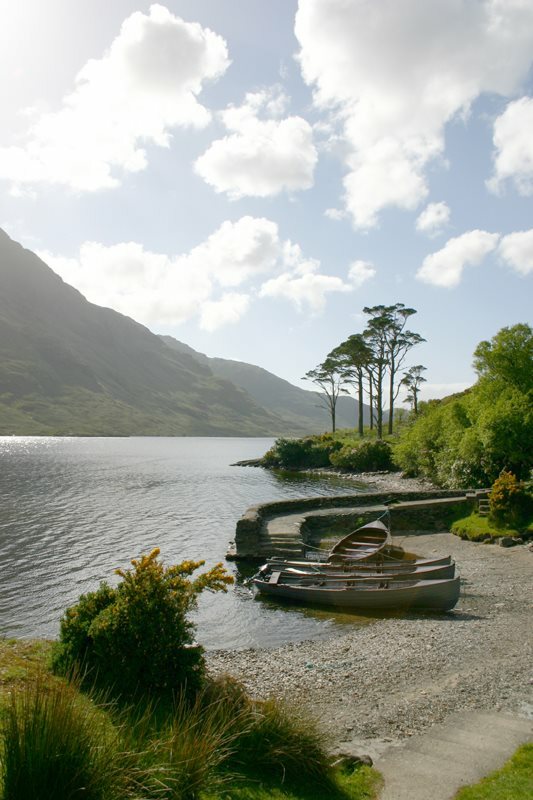 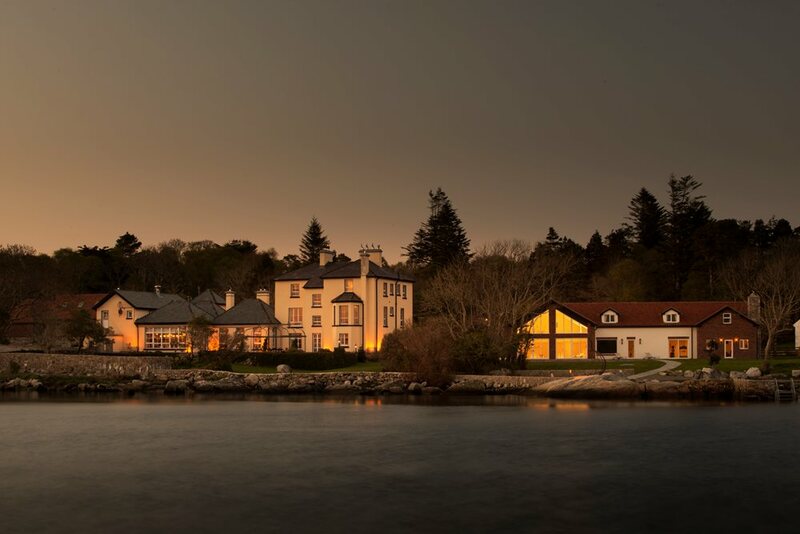 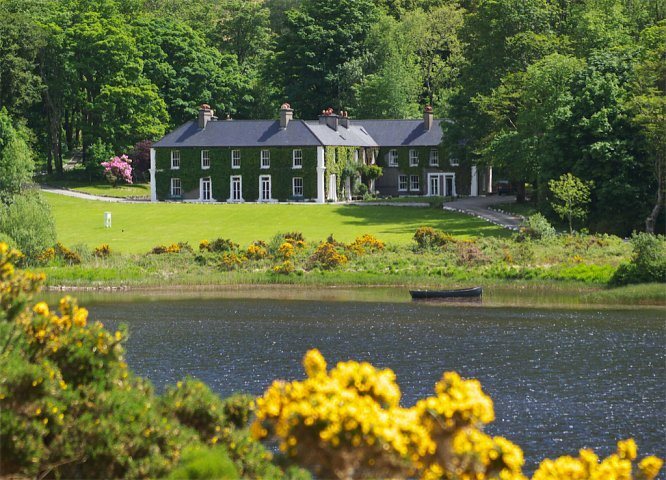 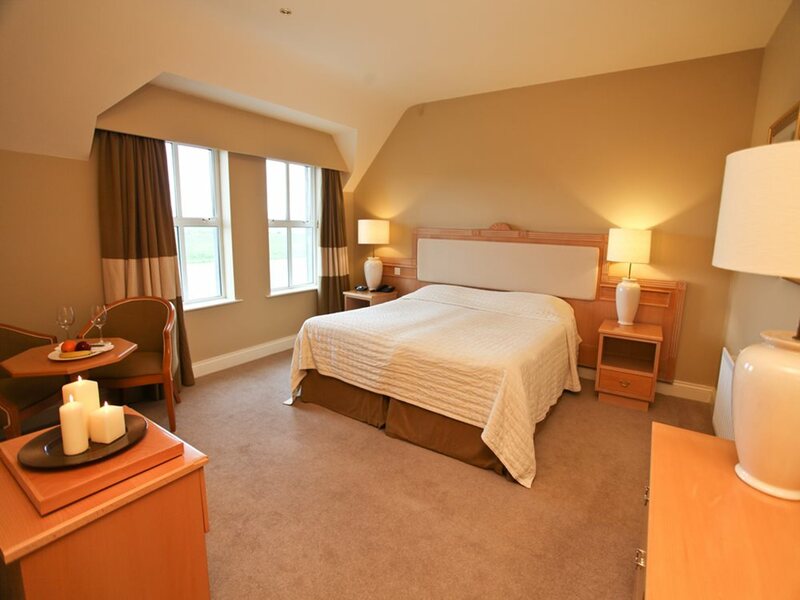 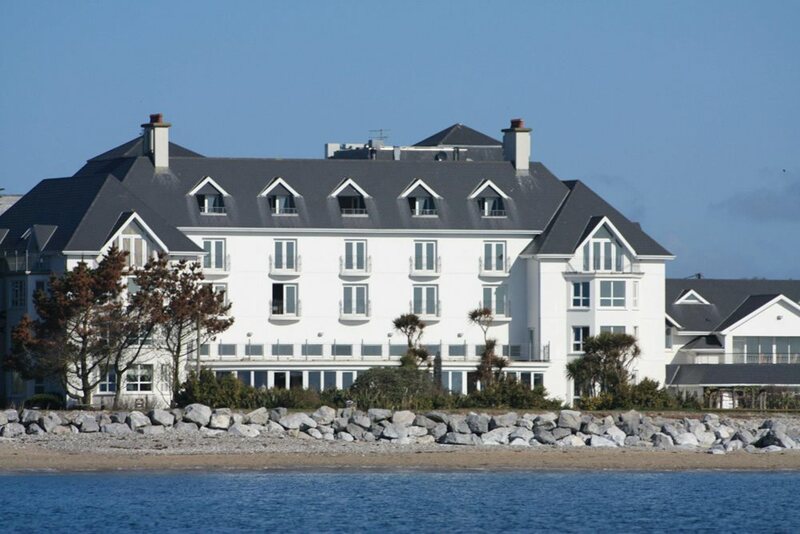 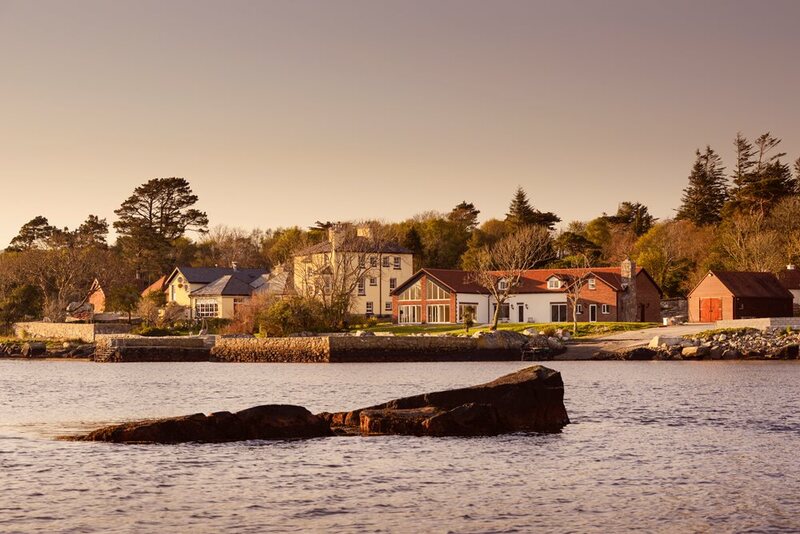 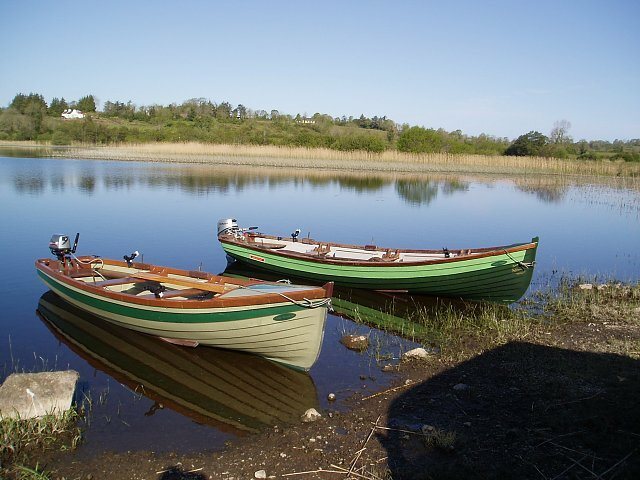 The Hotel rests on the tranquil shores of Lough Inagh, a perfect haven for complete rest, relaxation, and romance. 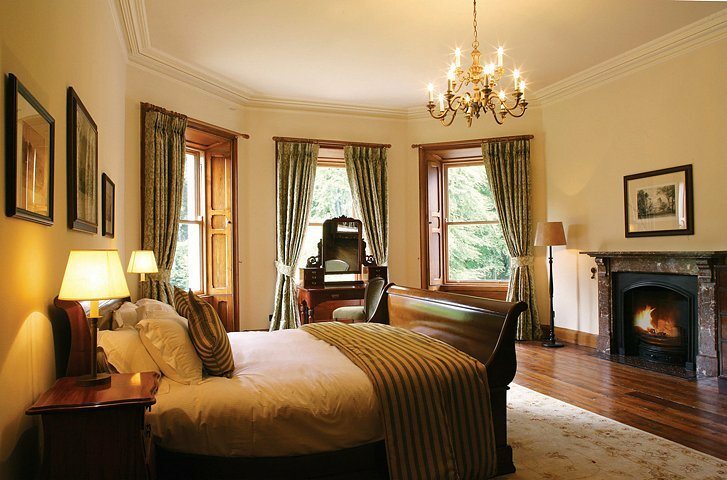 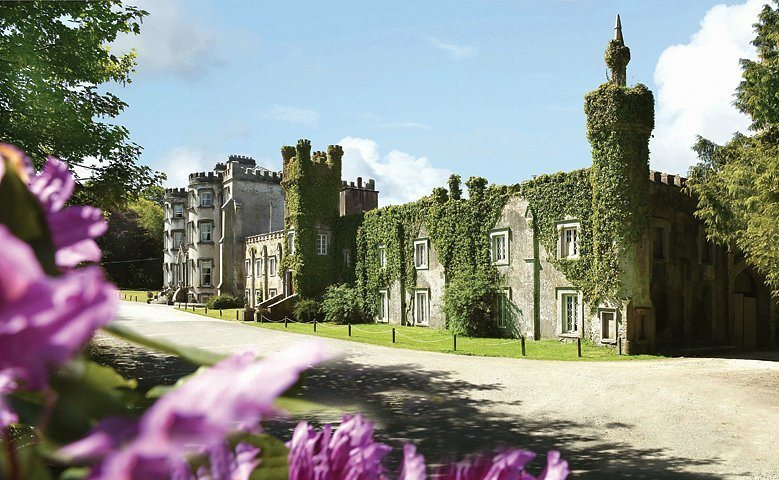 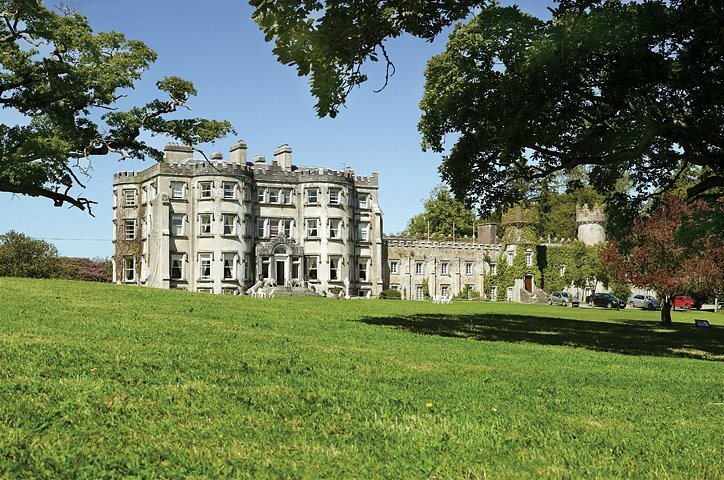 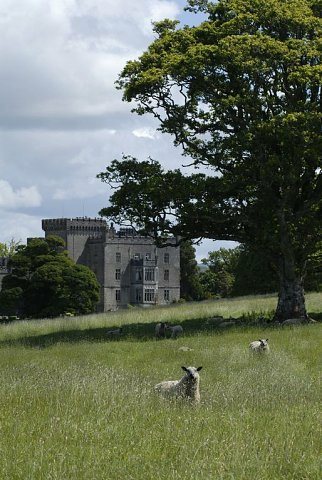 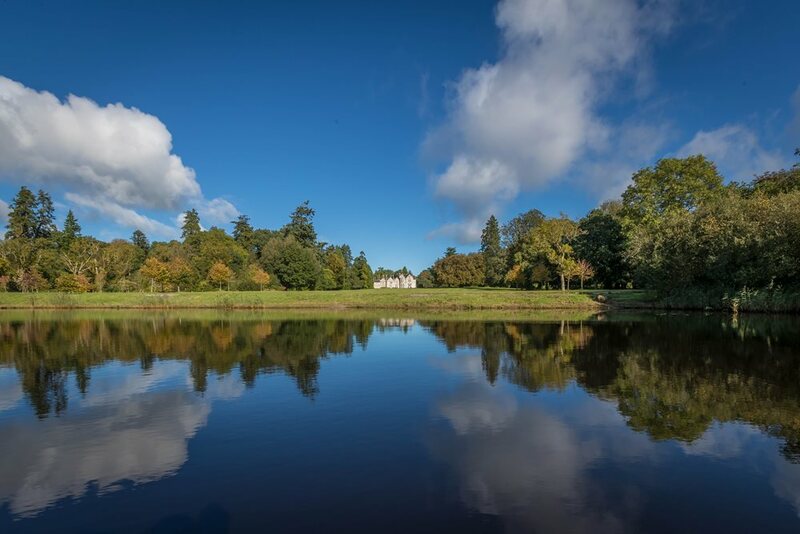 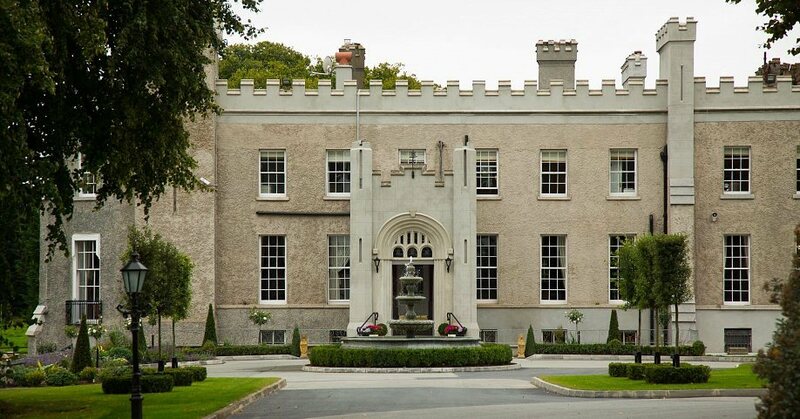 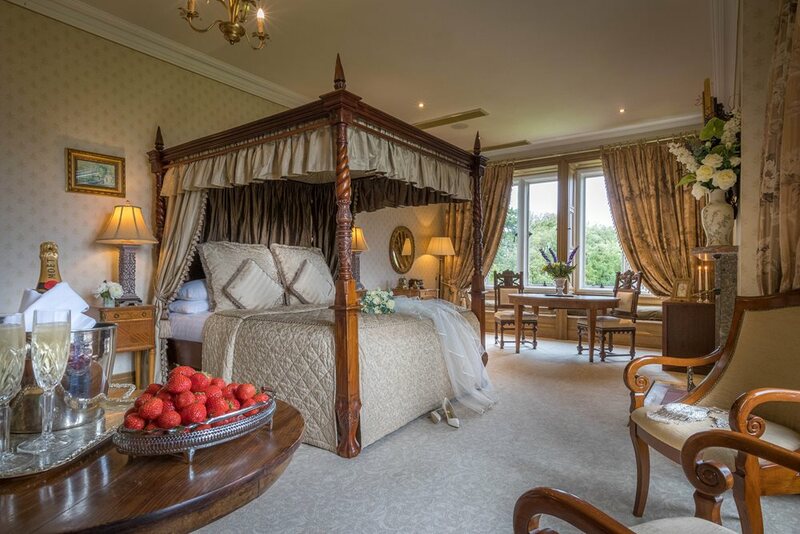 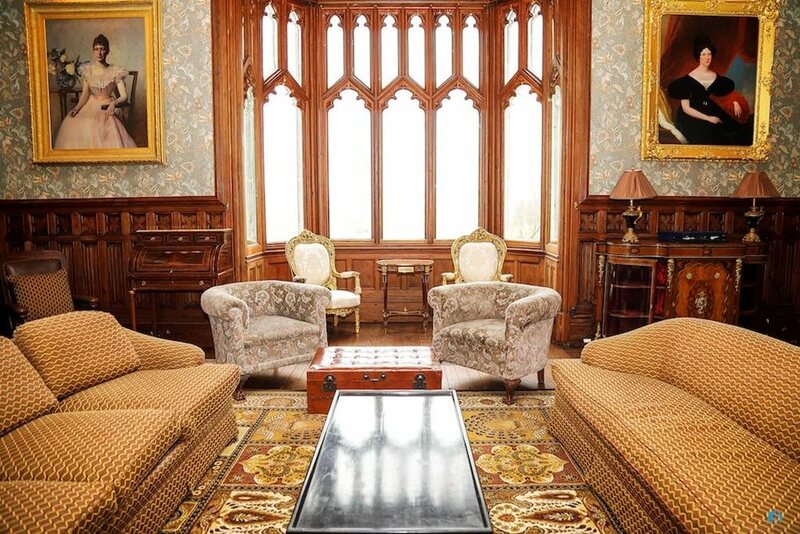 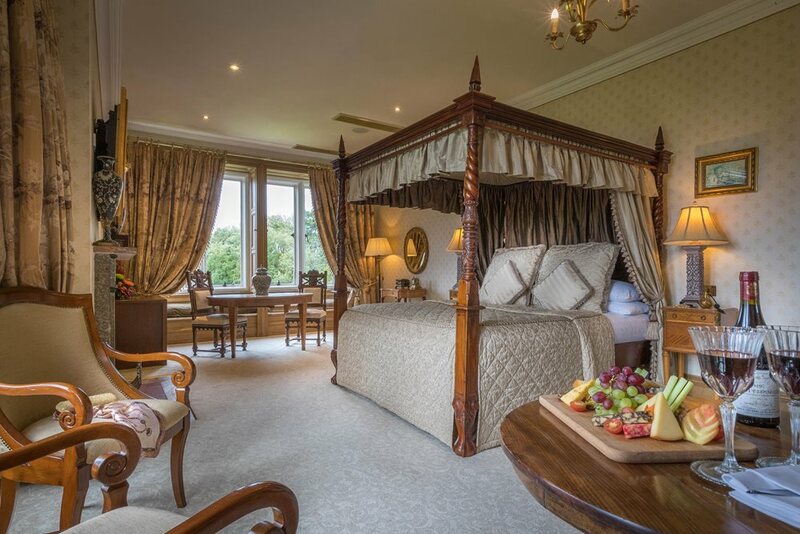 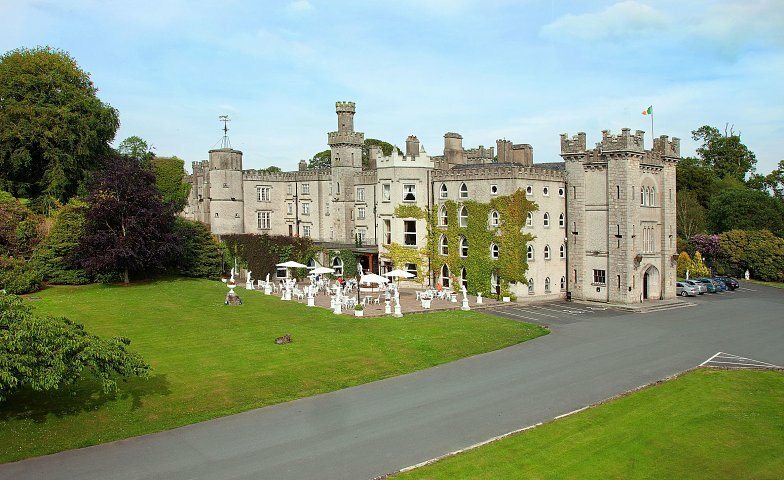 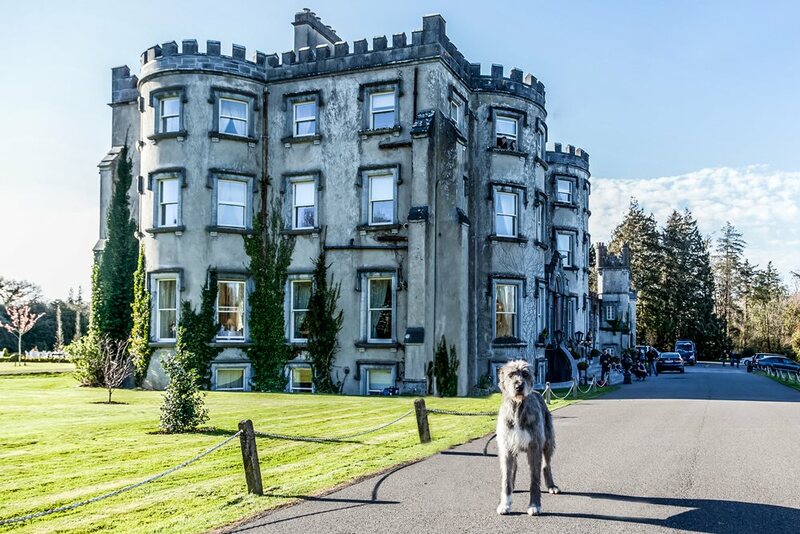 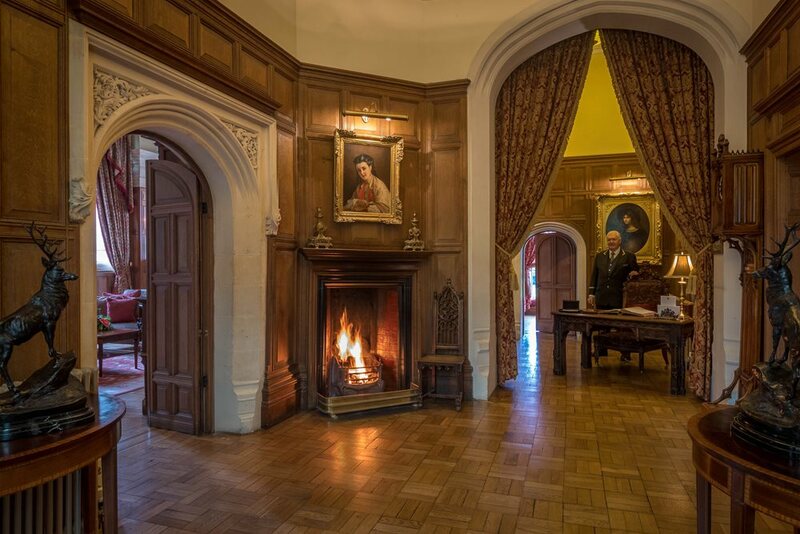 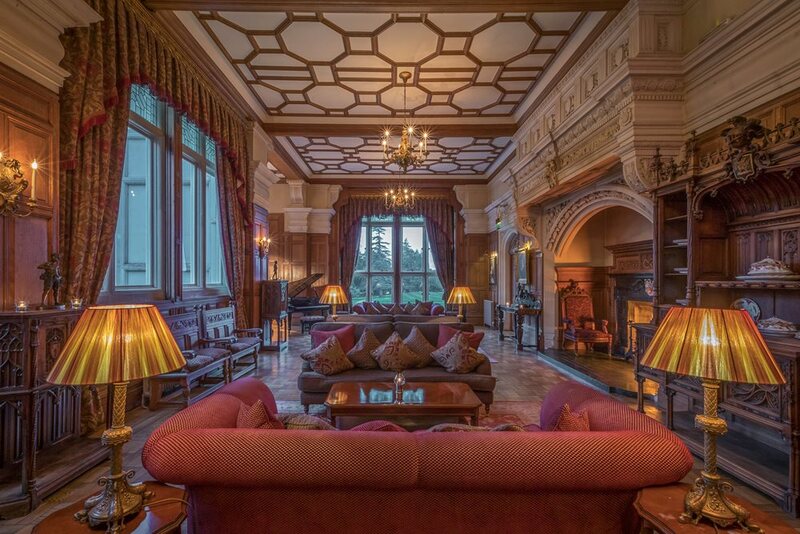 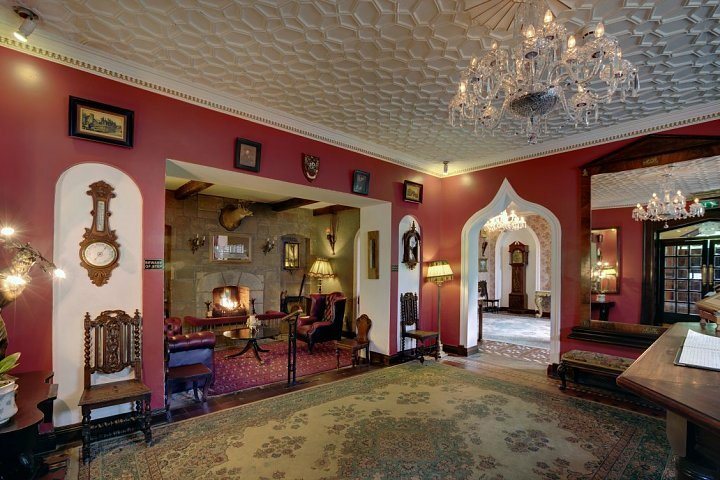 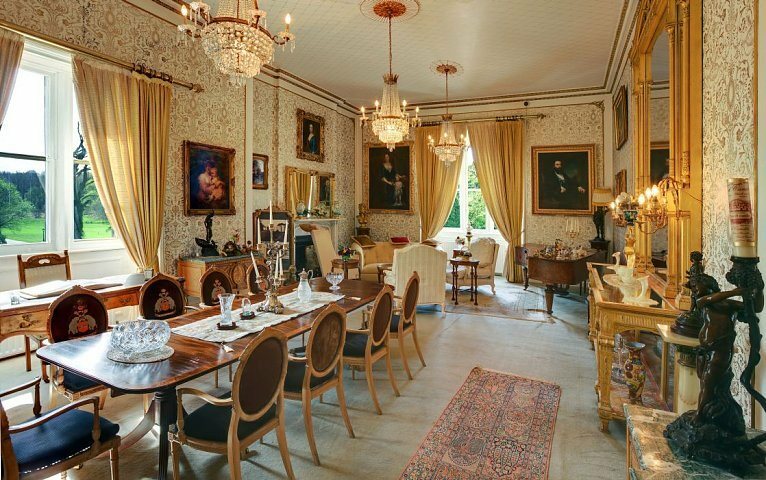 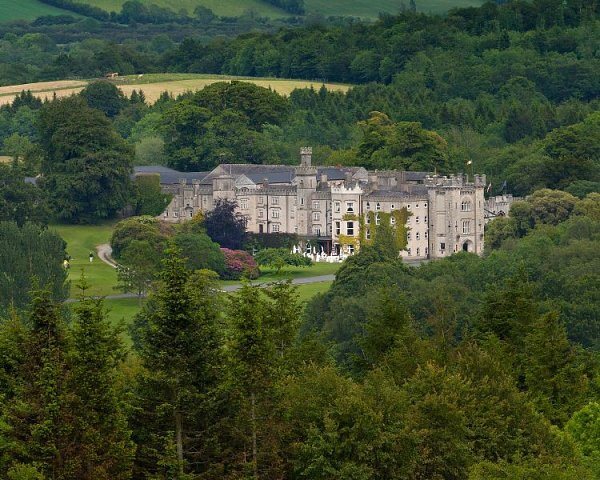 This luxurious historic Irish Castle is surrounded by over 350 acres of lush green pastures and ancient forests in the heart of county Leitrim. 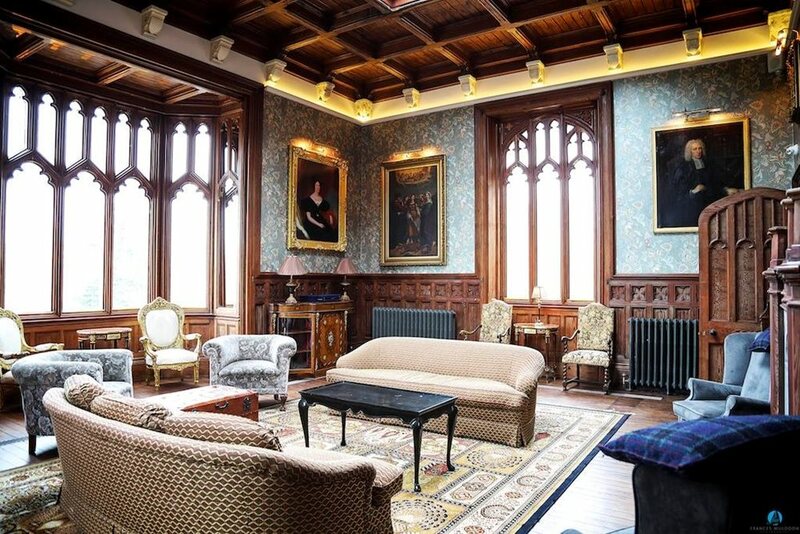 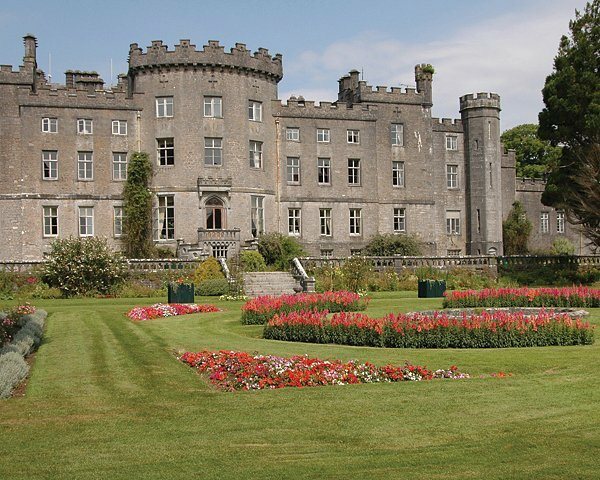 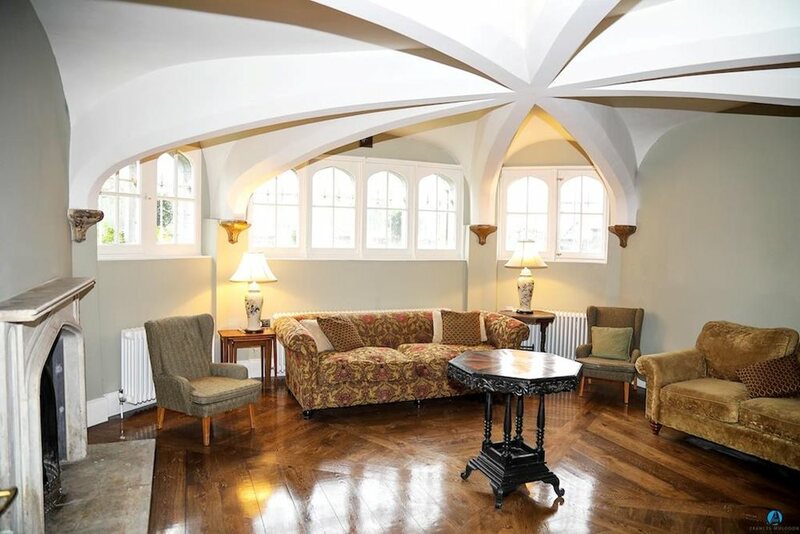 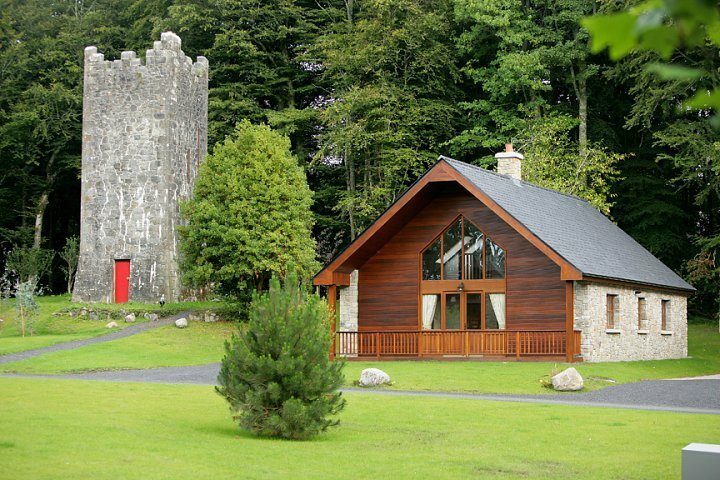 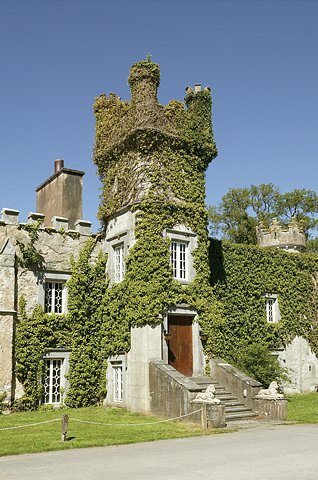 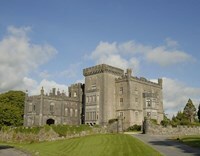 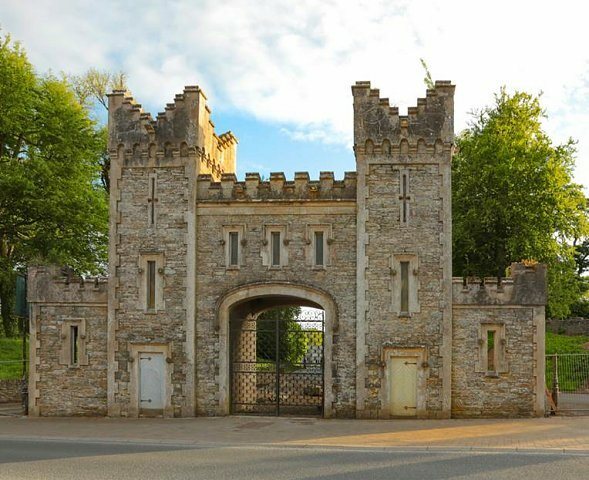 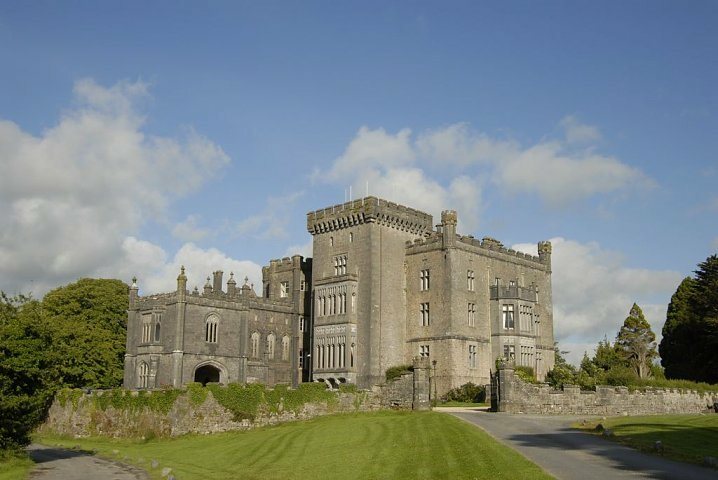 Recently refurbished to exacting standards, this charming historic castle is set in the heart of stunning County Sligo. 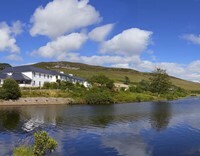 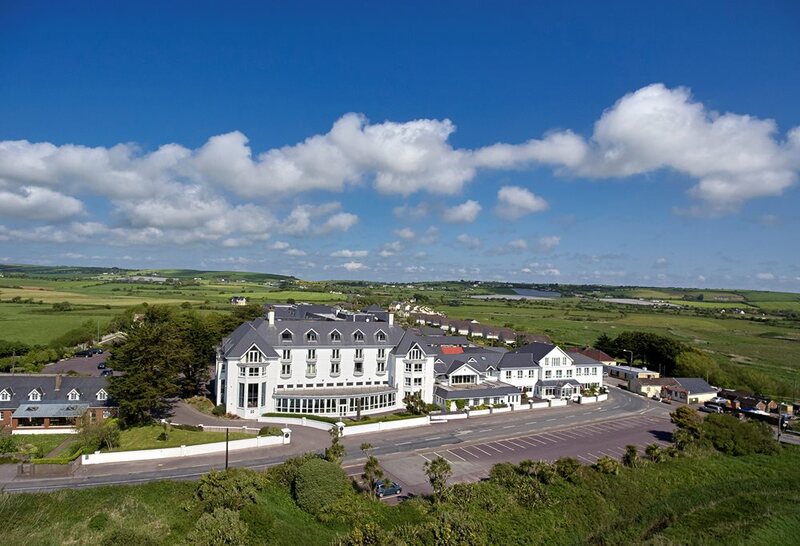 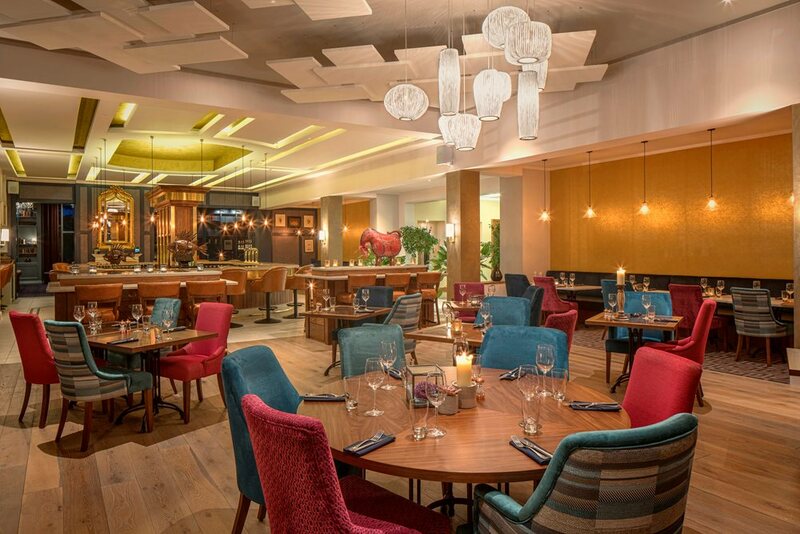 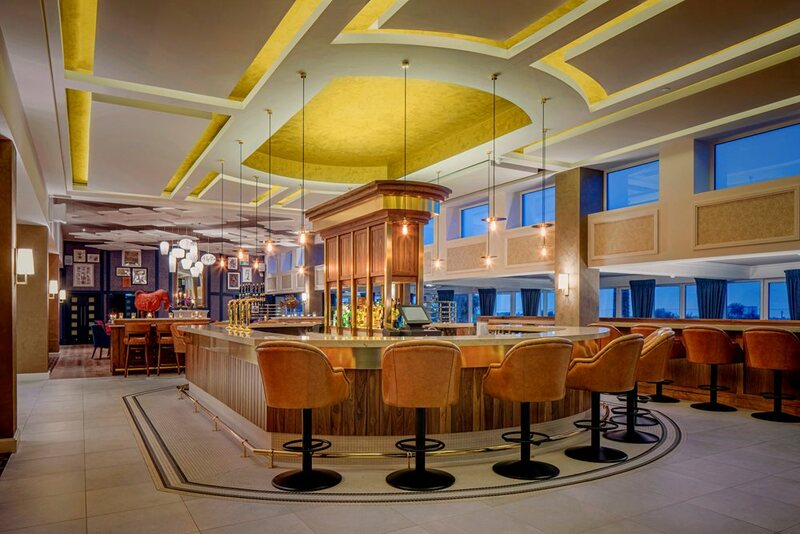 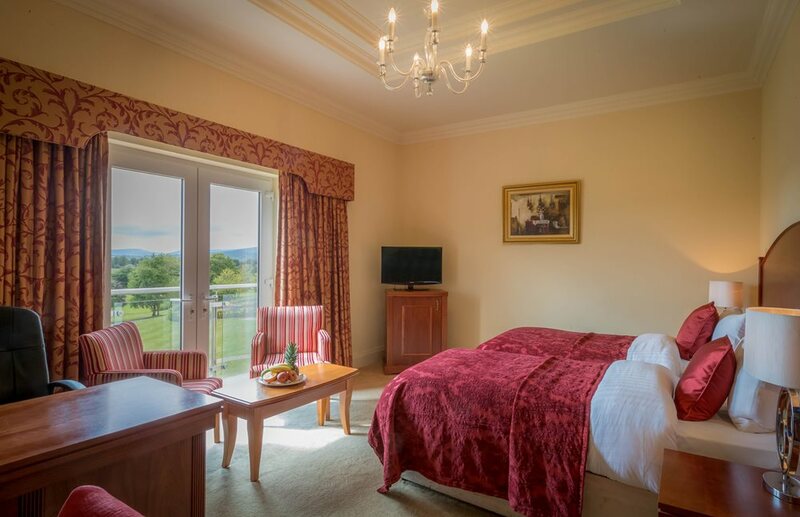 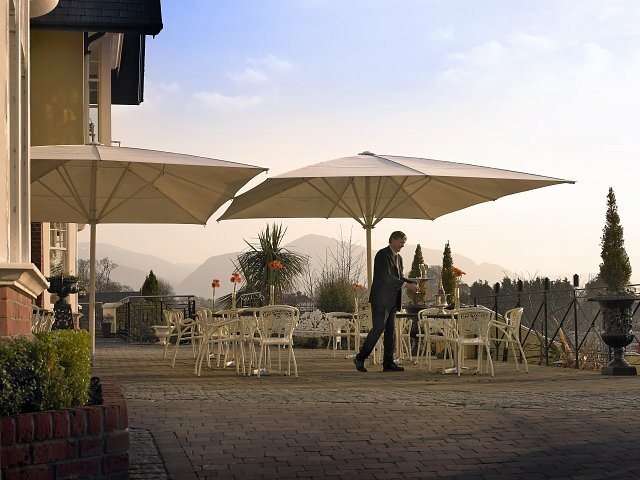 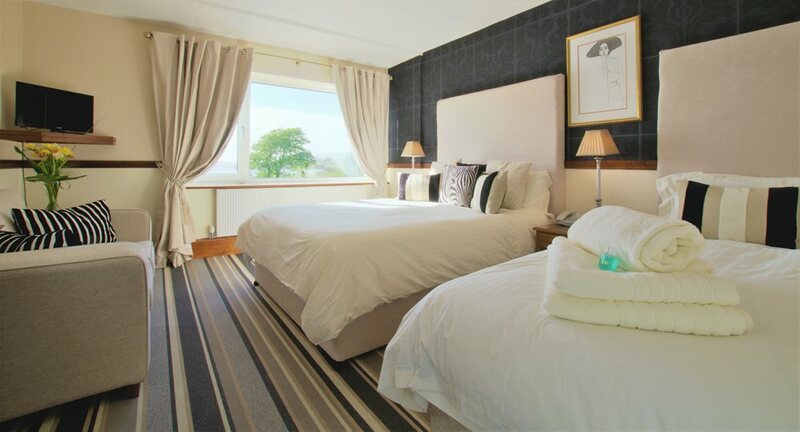 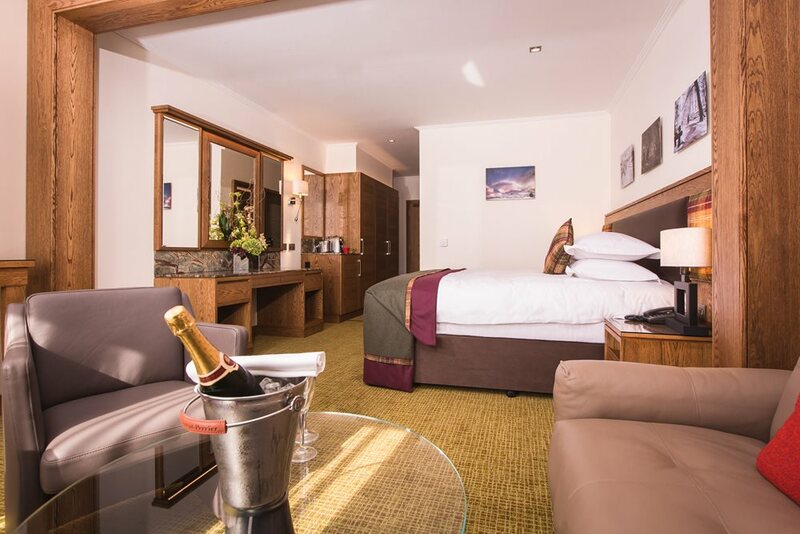 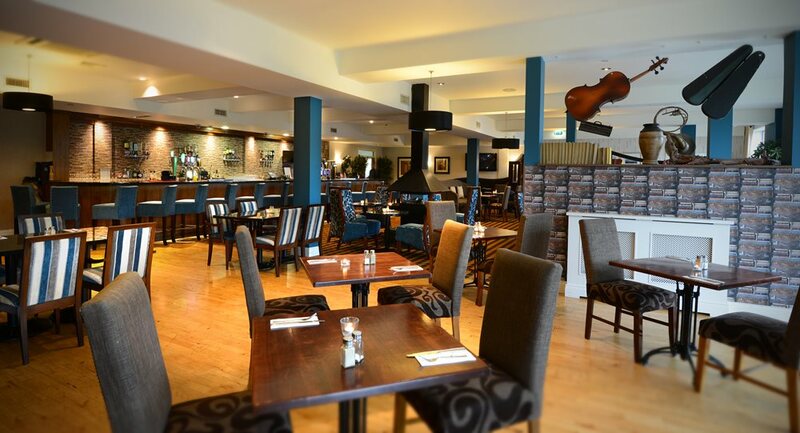 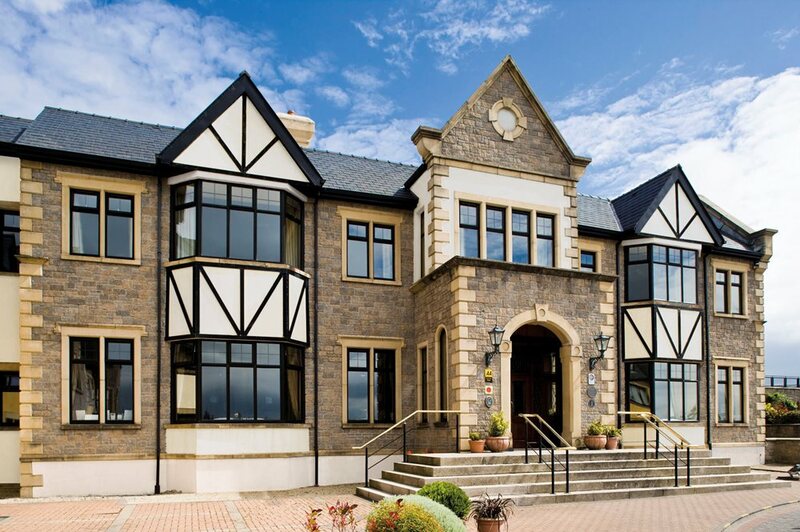 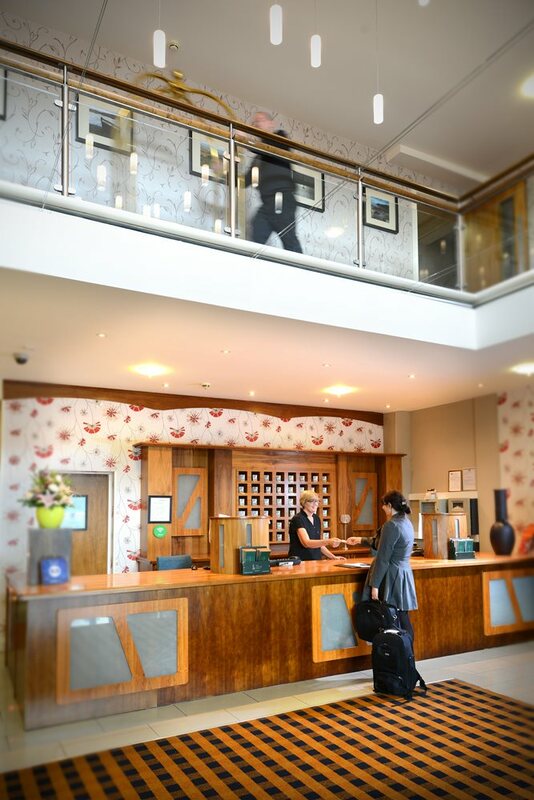 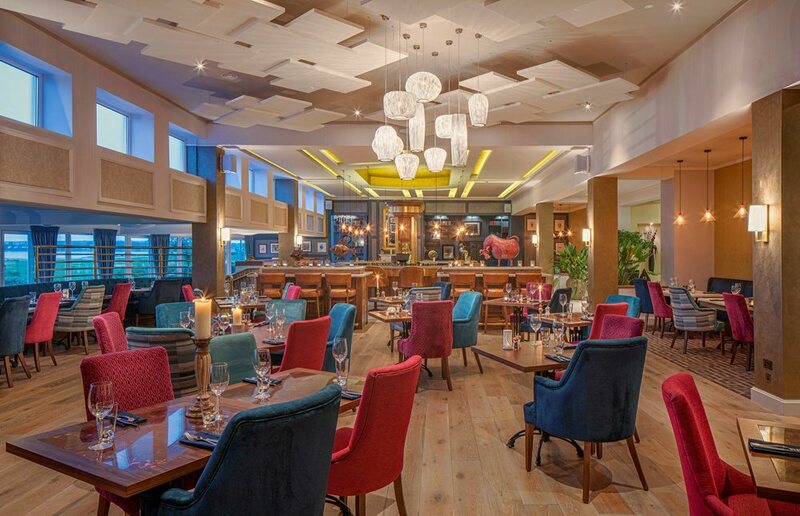 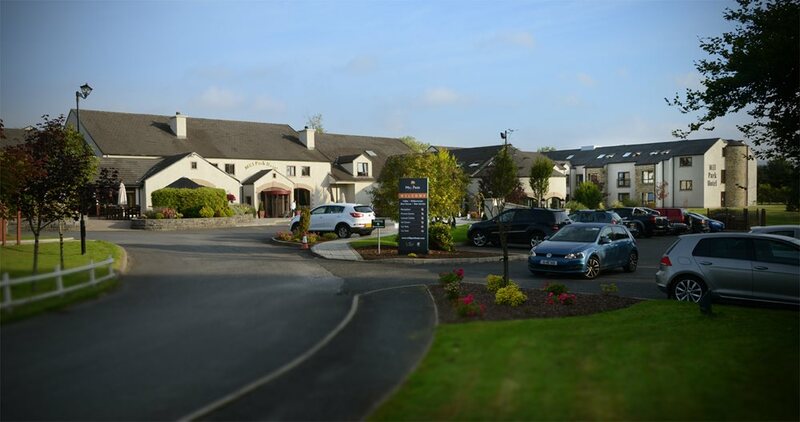 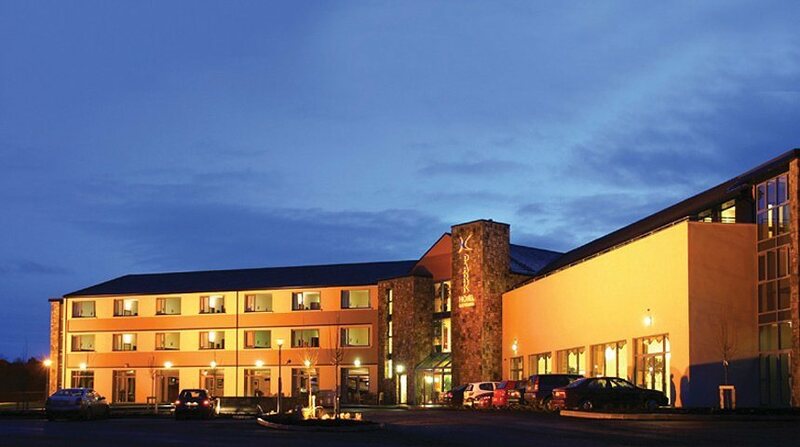 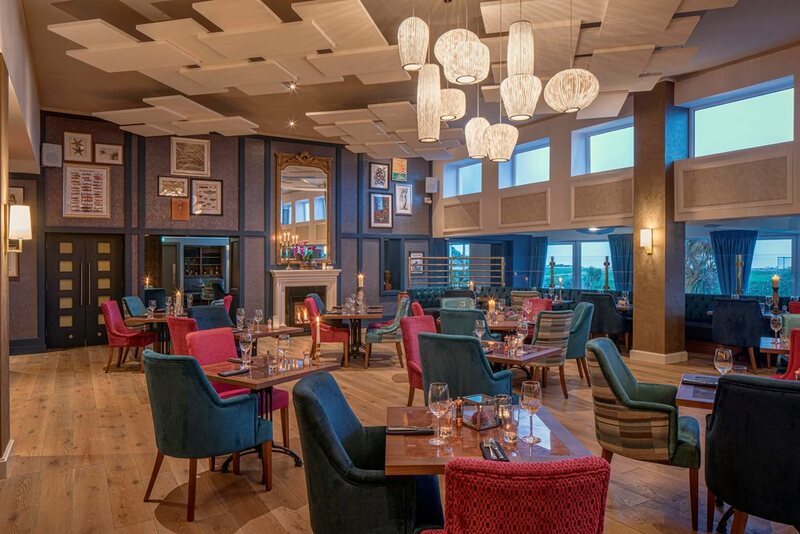 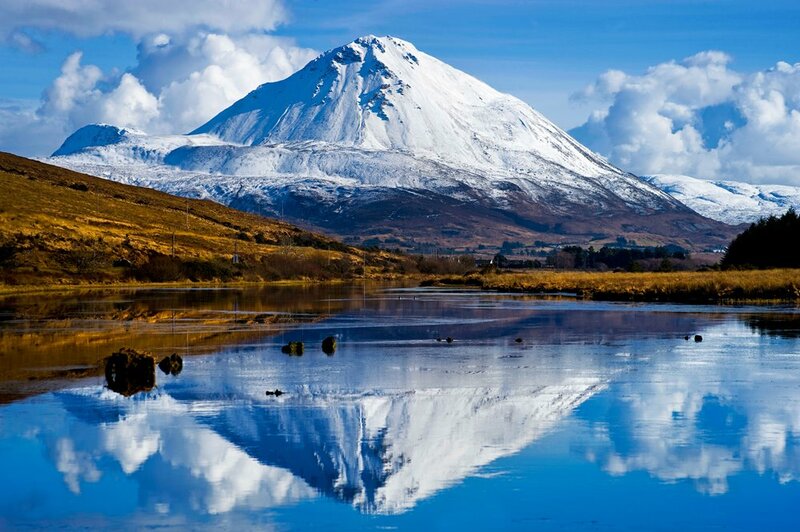 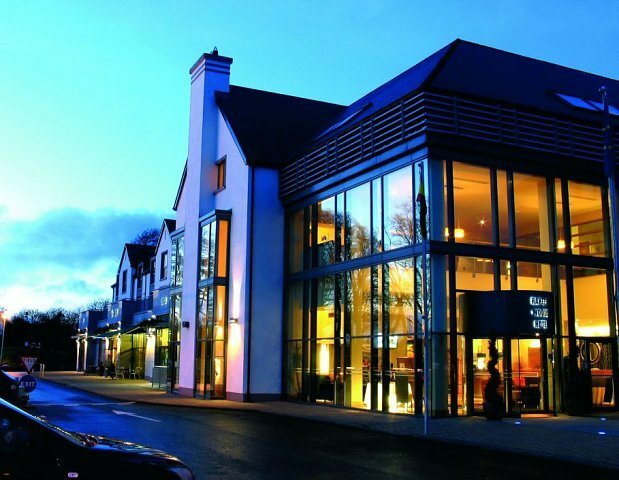 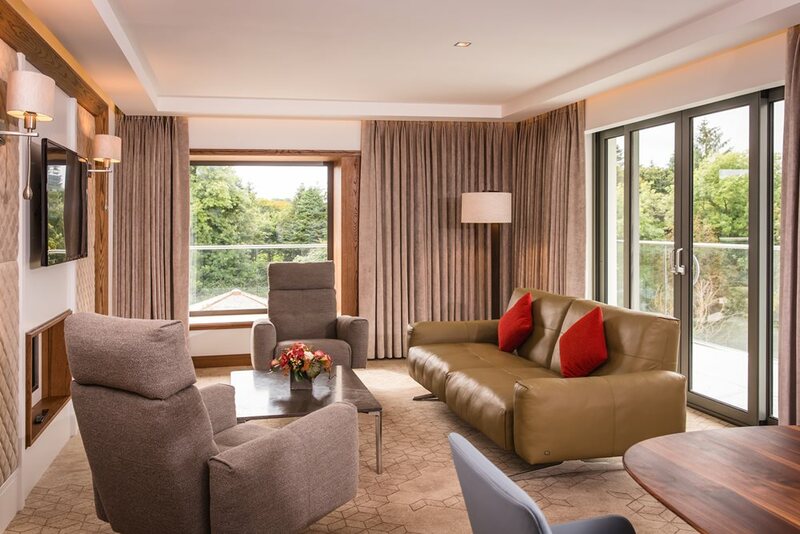 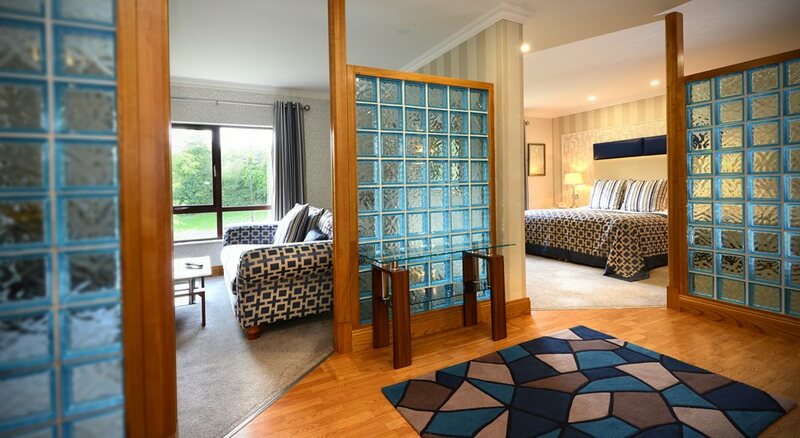 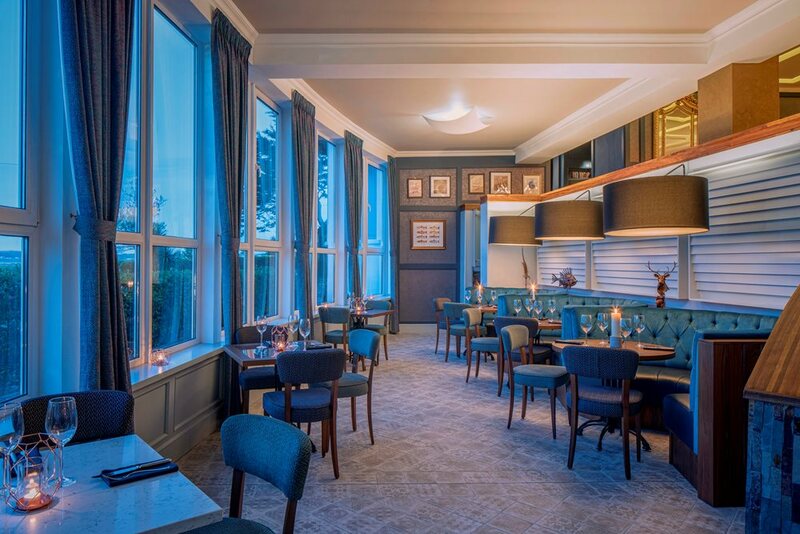 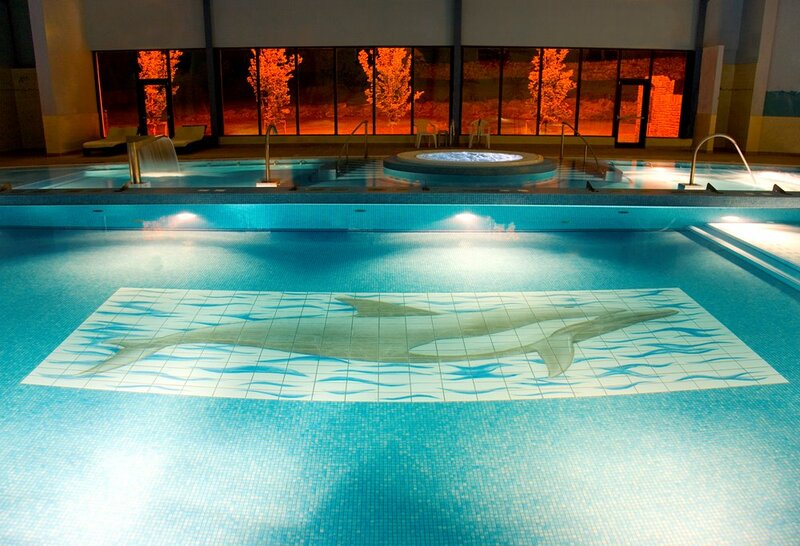 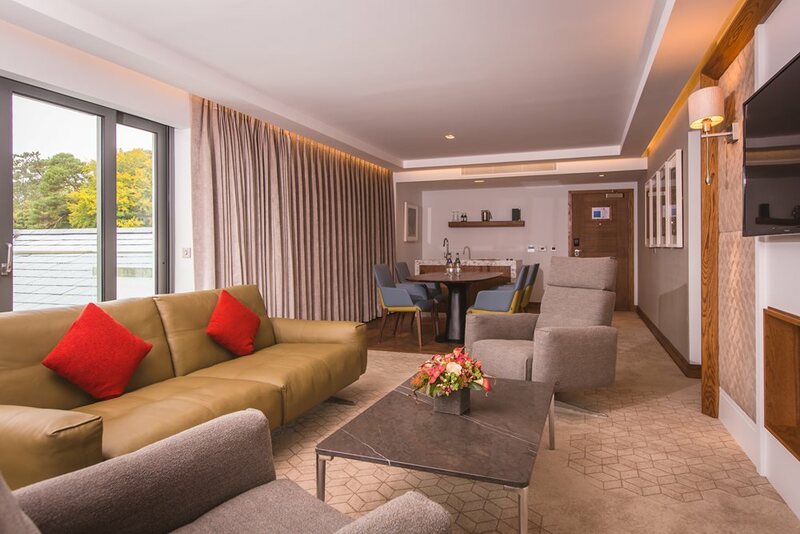 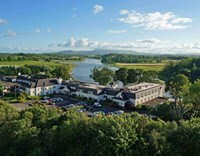 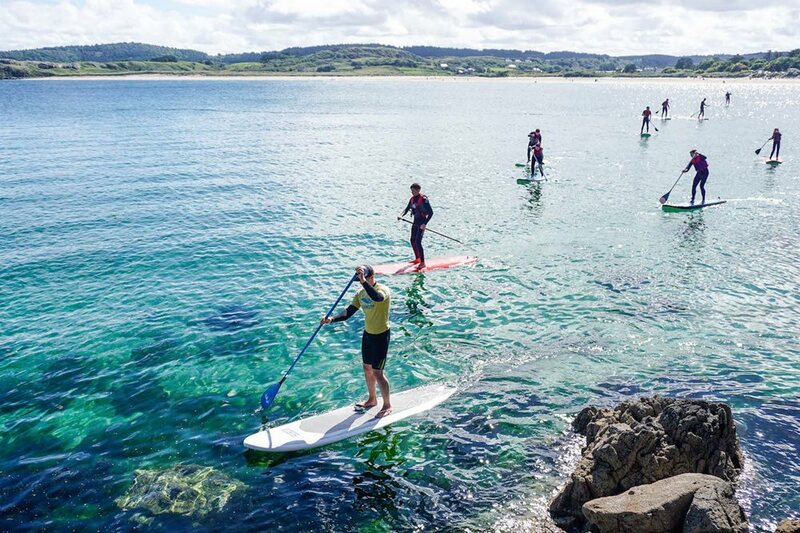 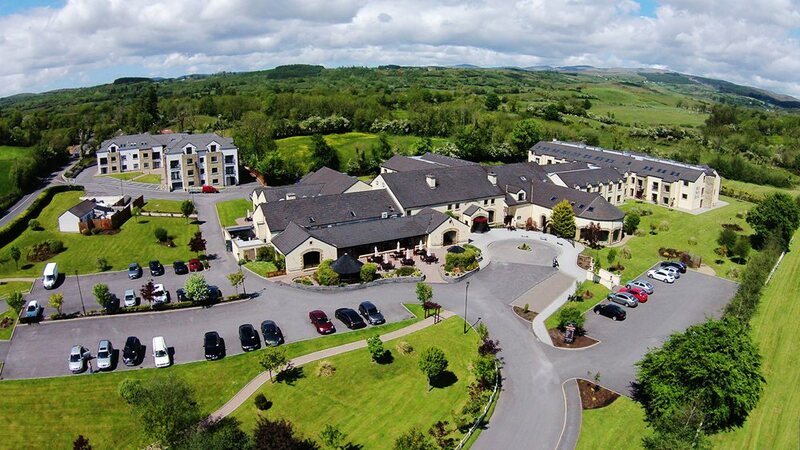 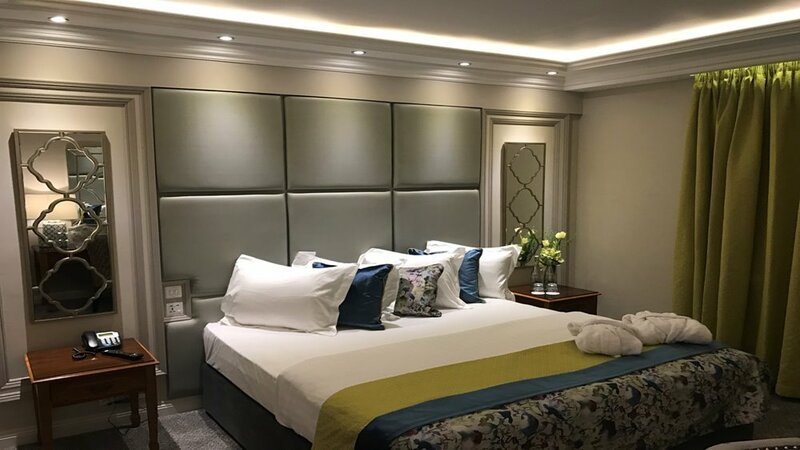 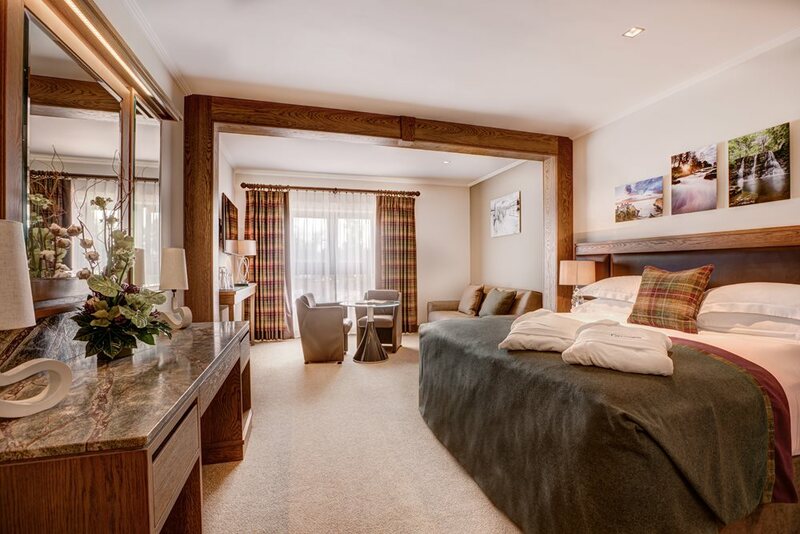 The Mill Park Hotel is a luxurious 4-star hotel located on the outskirts of Donegal Town, and is the perfect base for touring the wonderful attractions of the beautiful unspoilt Northwest of Ireland. 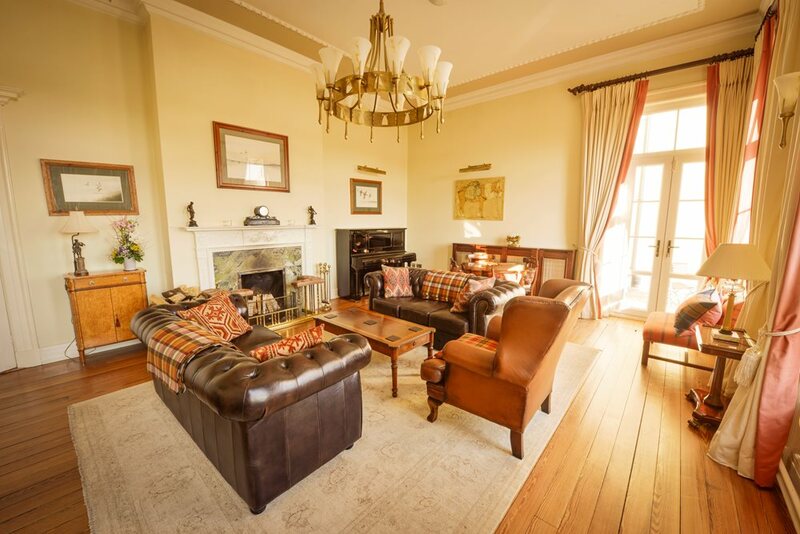 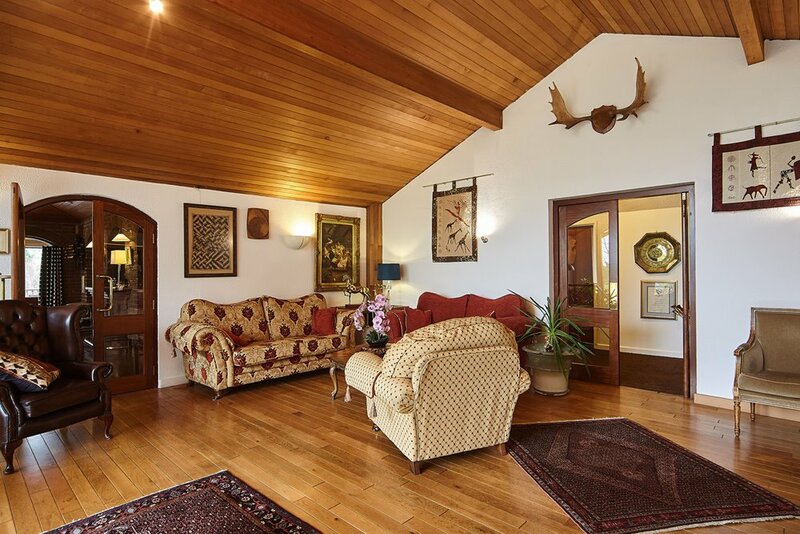 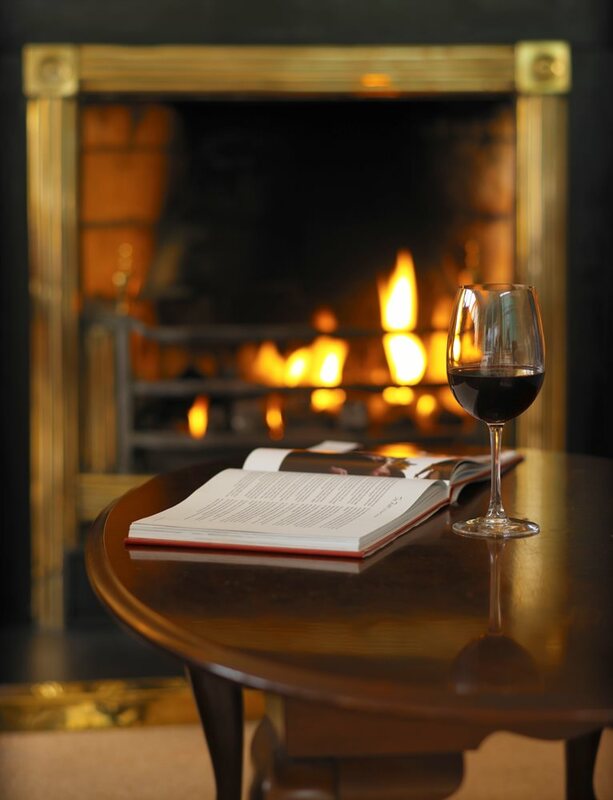 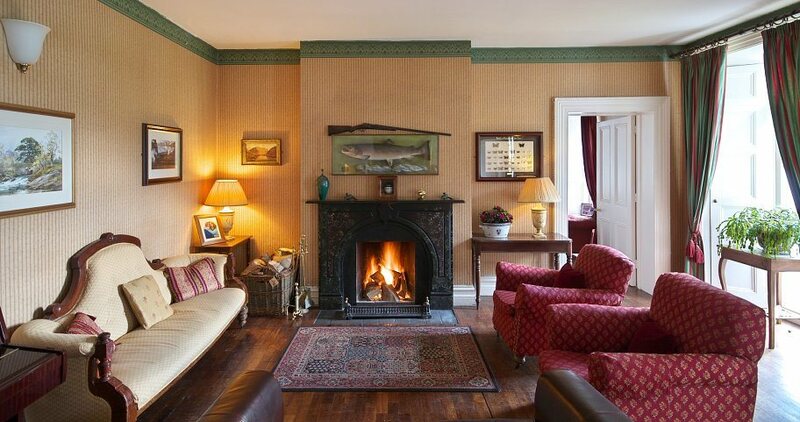 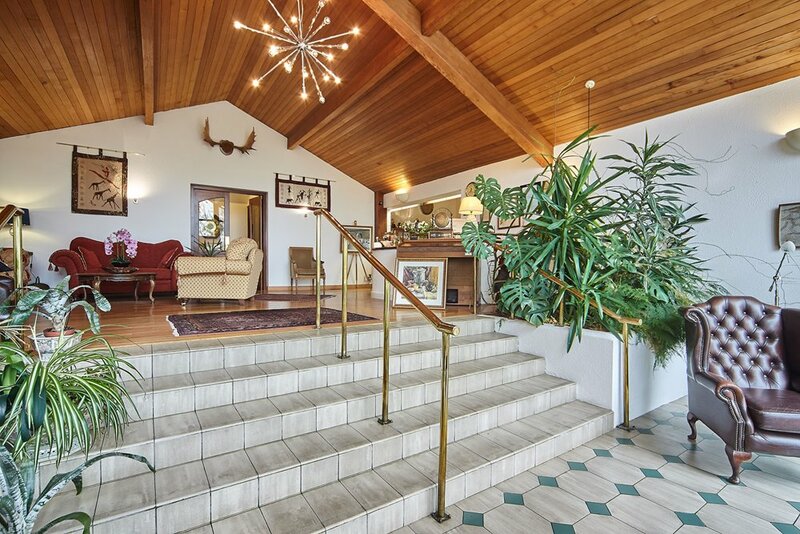 Set on 100 acres of mature woodland, Mount Falcon Estate has a roaring turf fire to welcome guests to this corner of the Wild Atlantic Way, between Foxford and Ballina in beautiful Co Mayo. 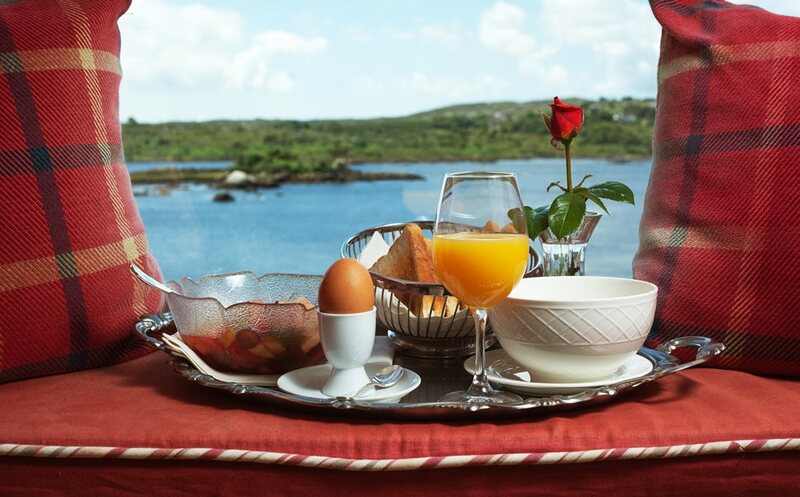 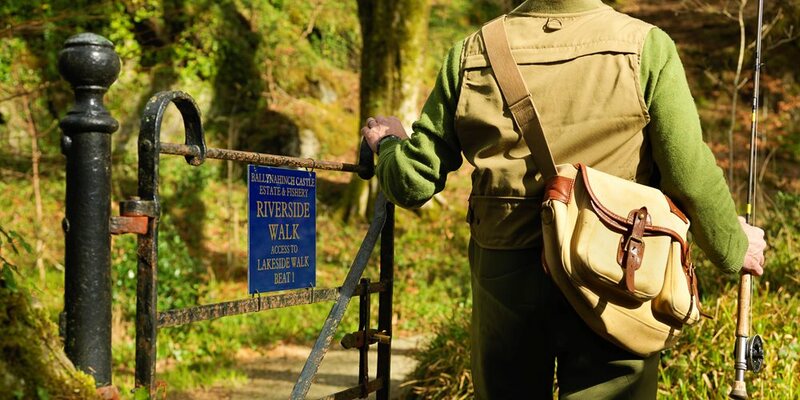 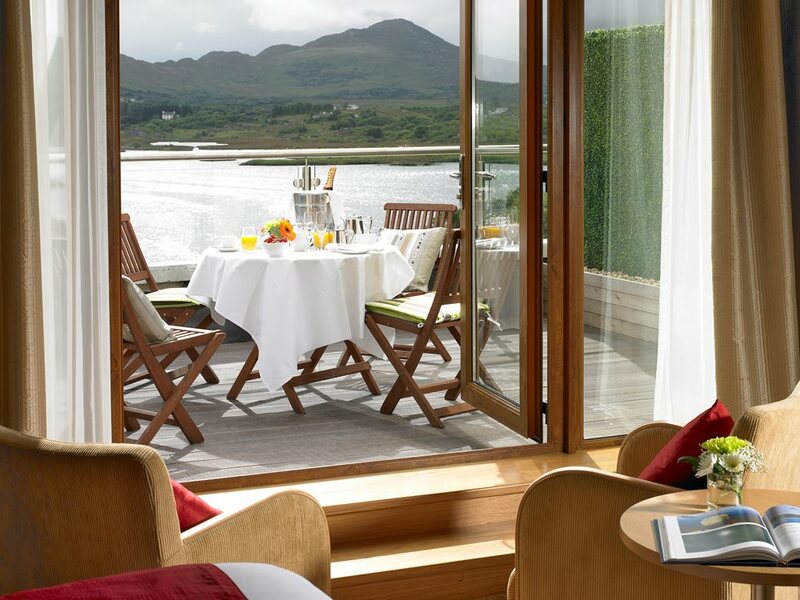 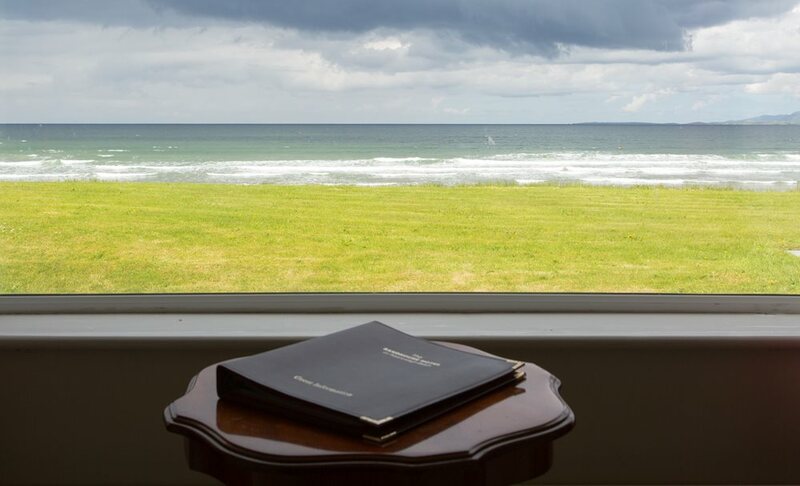 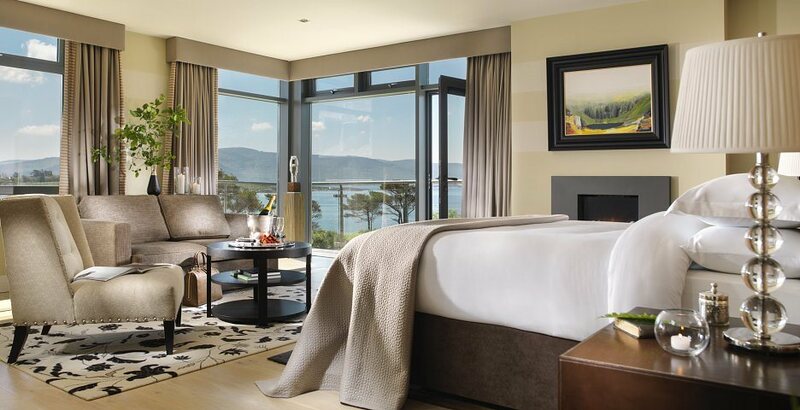 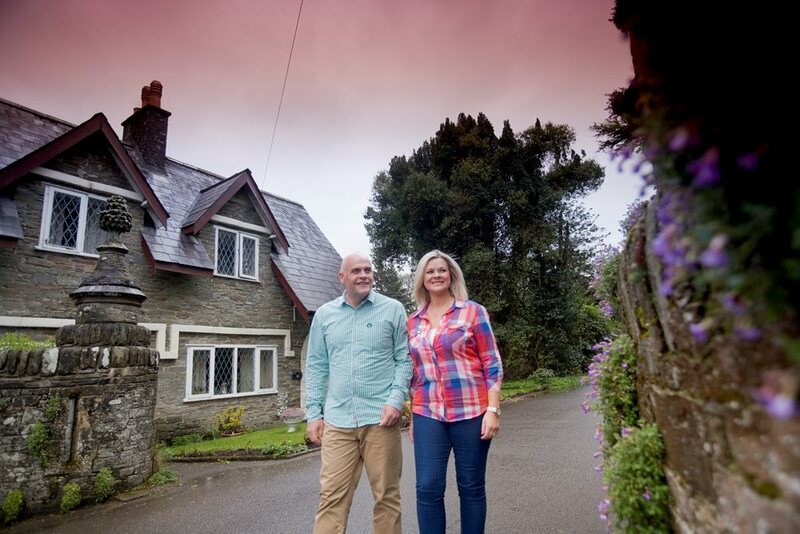 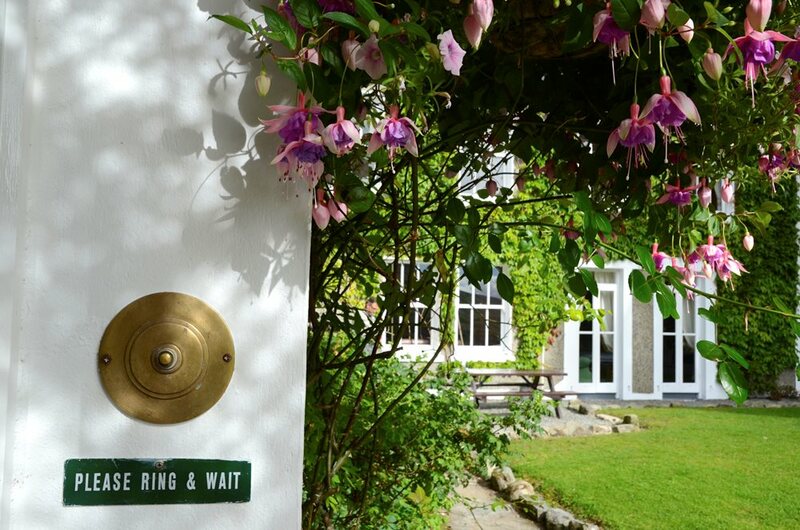 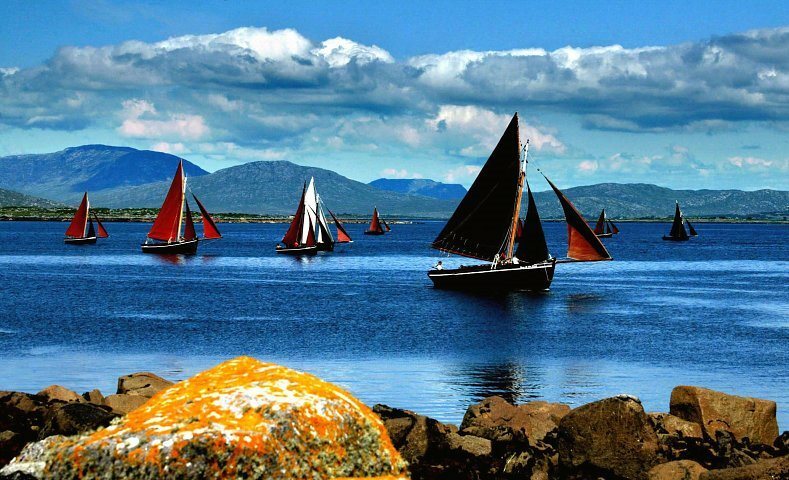 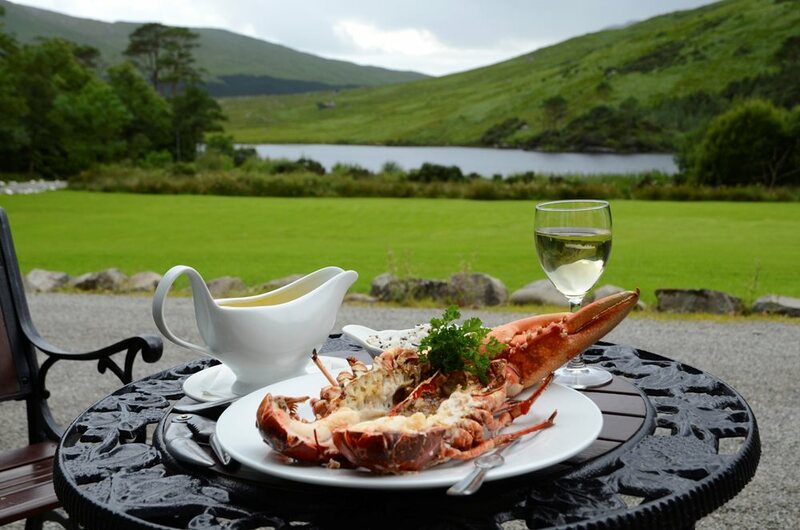 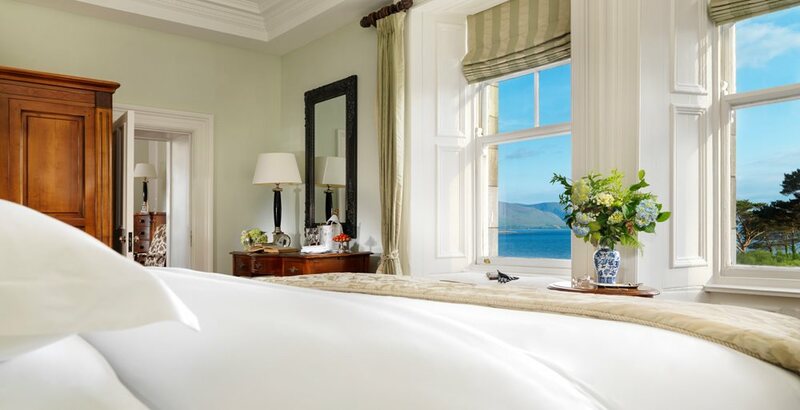 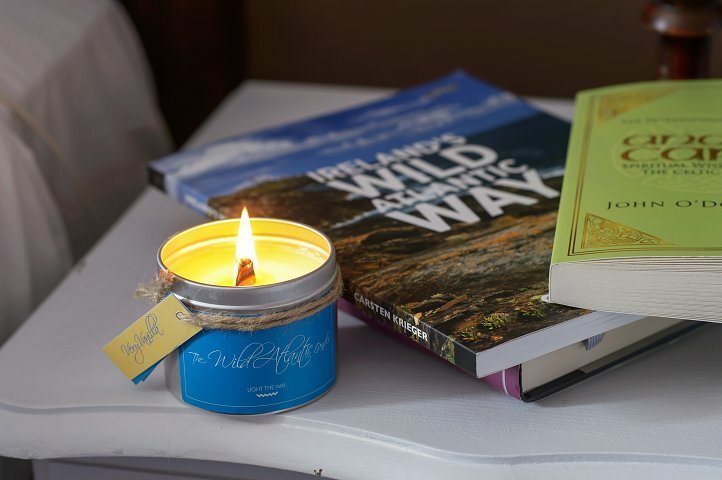 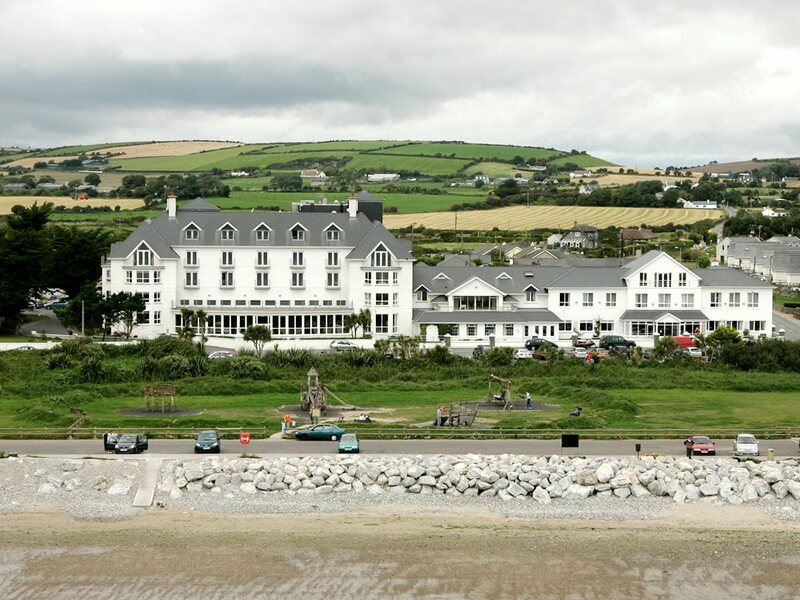 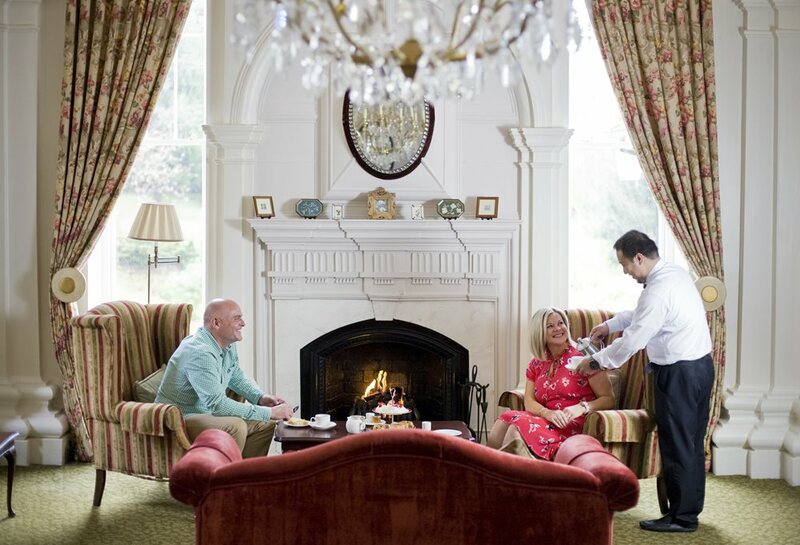 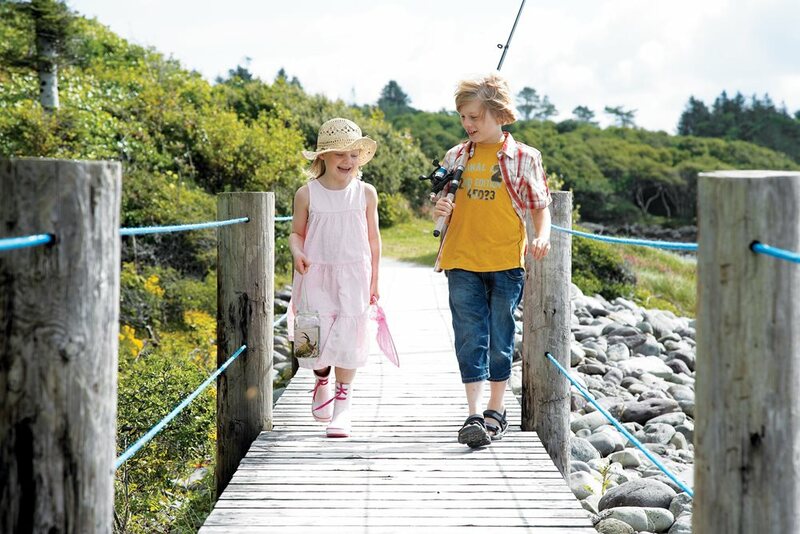 Welcoming guests since 1895, Parknasilla is situated on the water’s edge amid islands, inlets and hidden beaches along the Wild Atlantic Way and the Ring of Kerry. 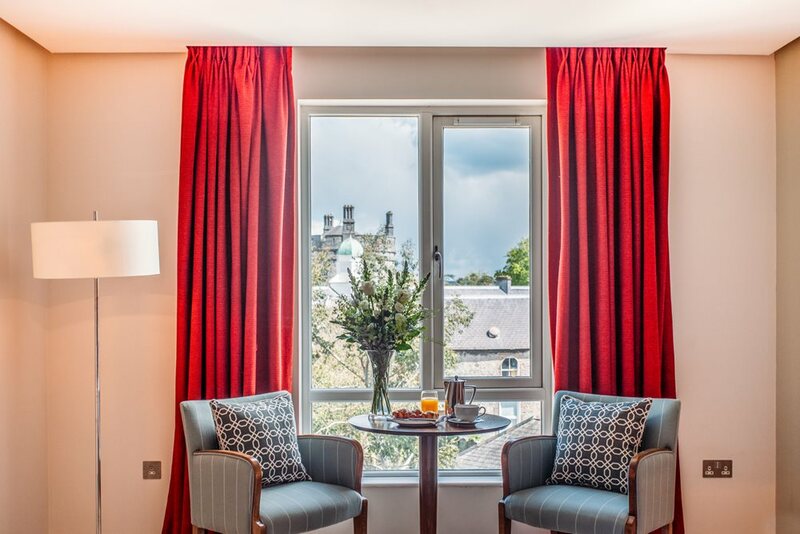 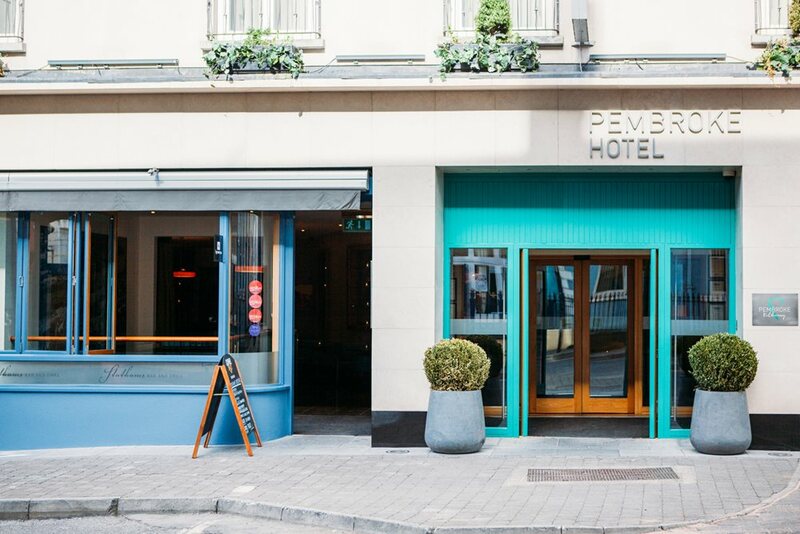 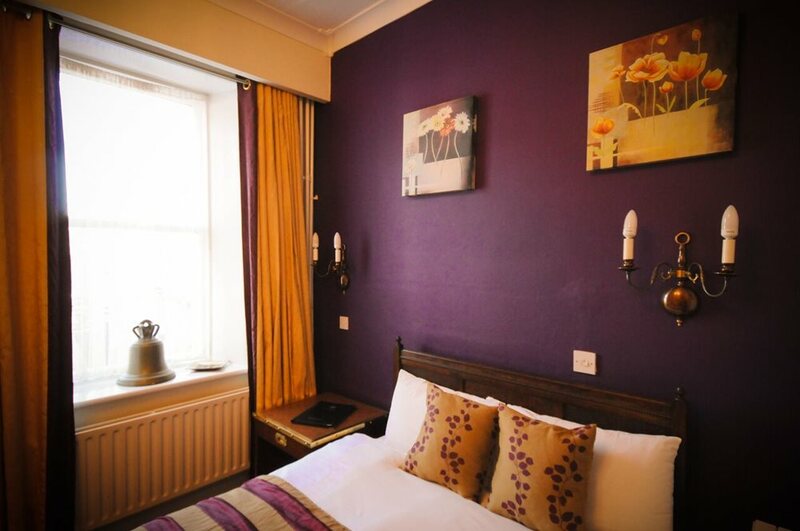 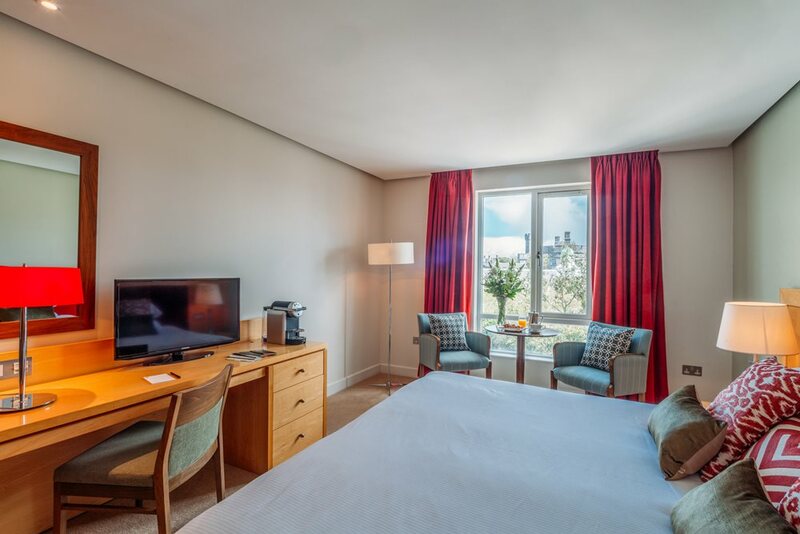 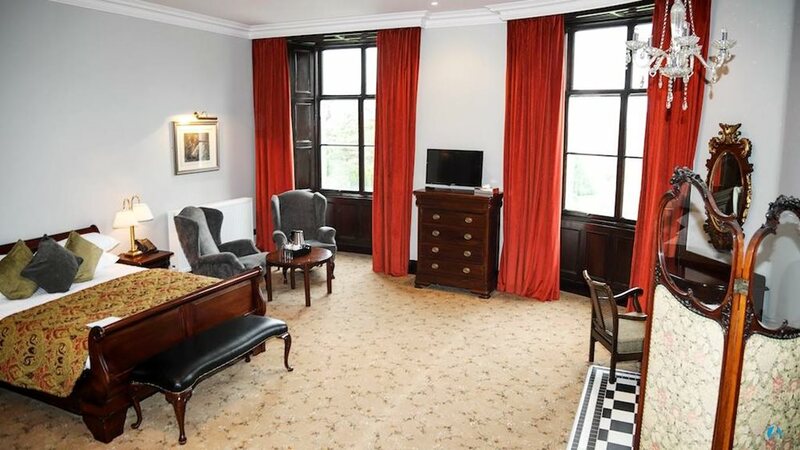 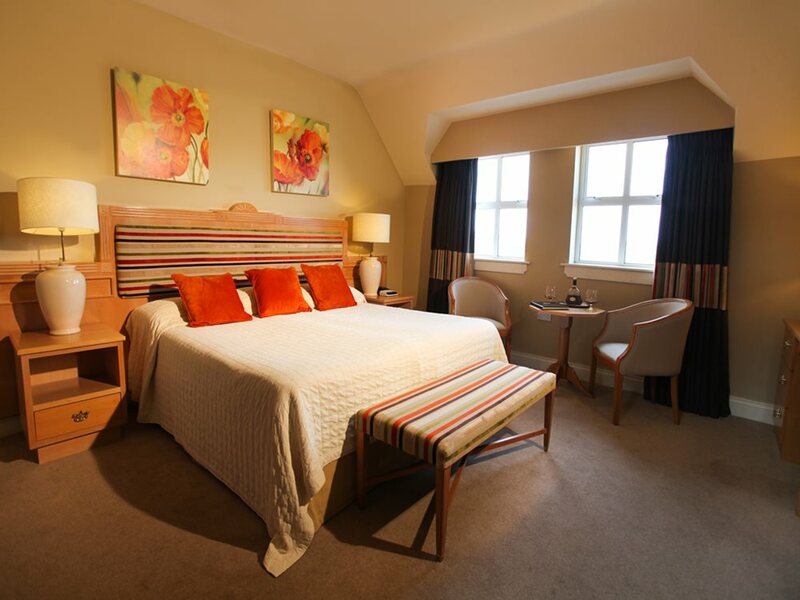 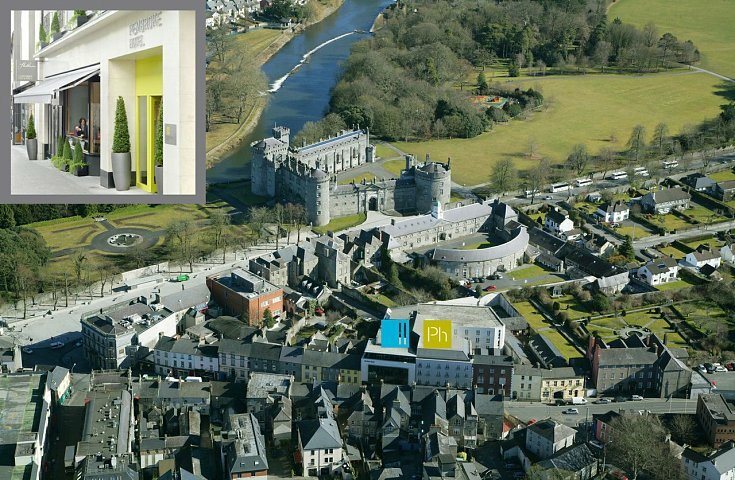 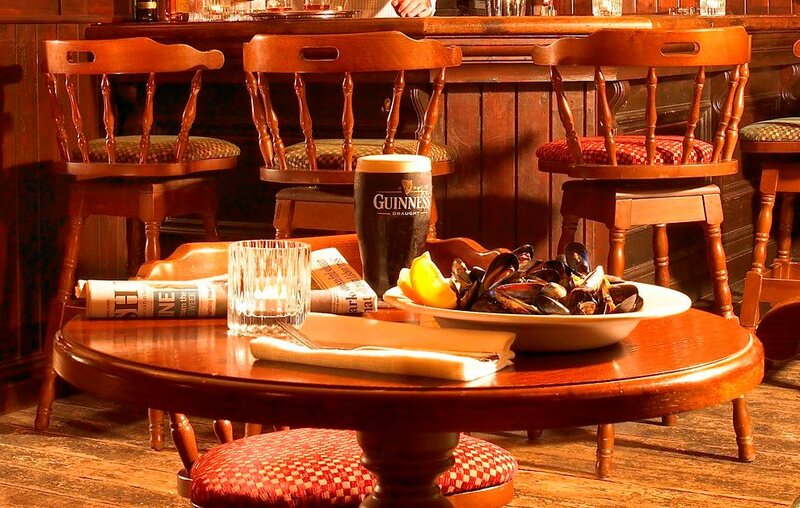 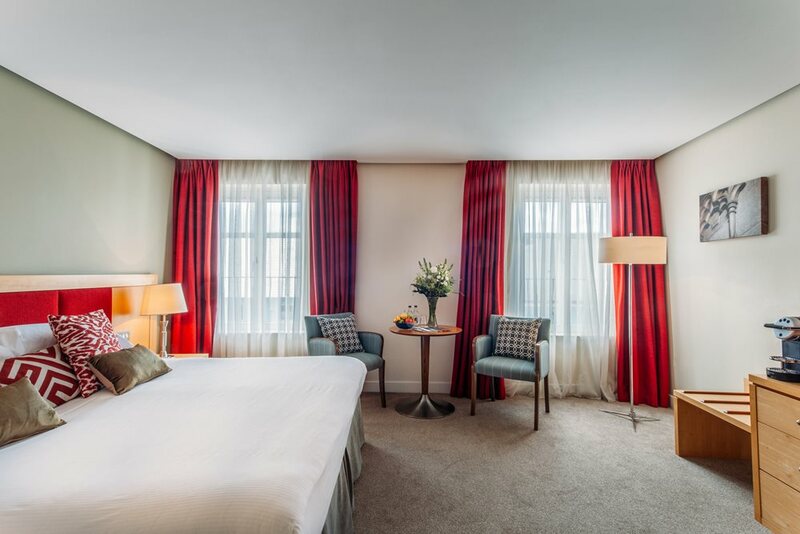 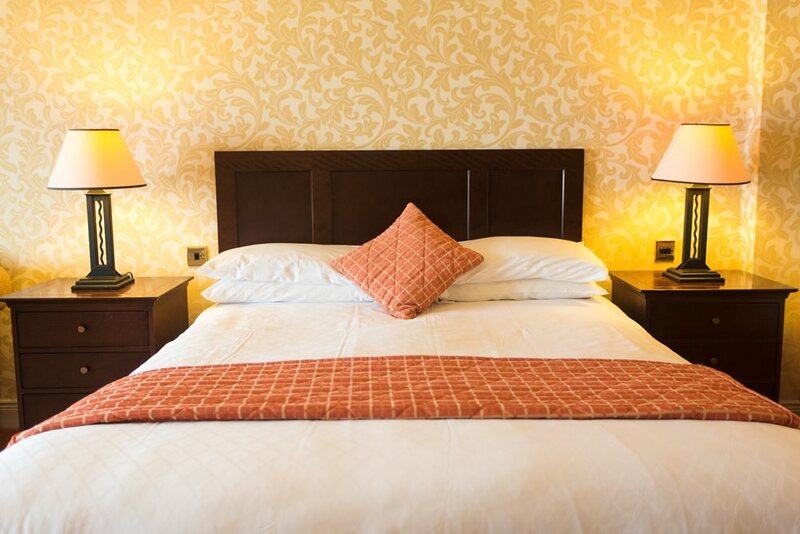 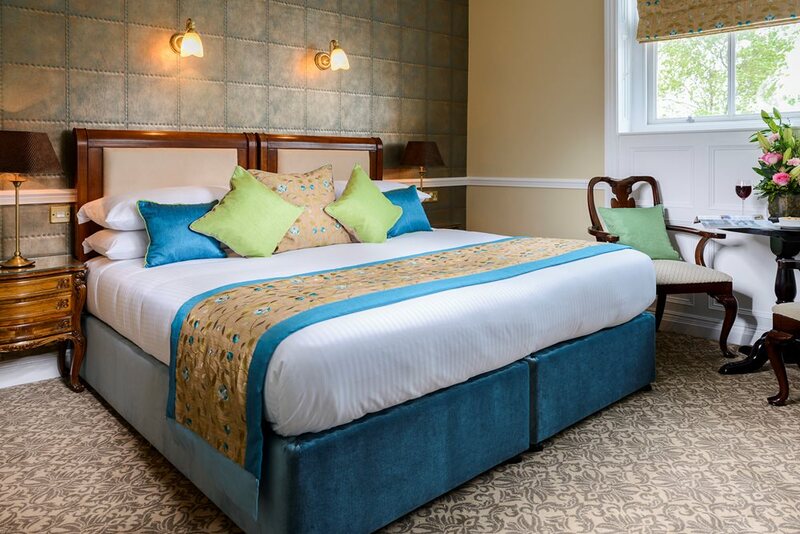 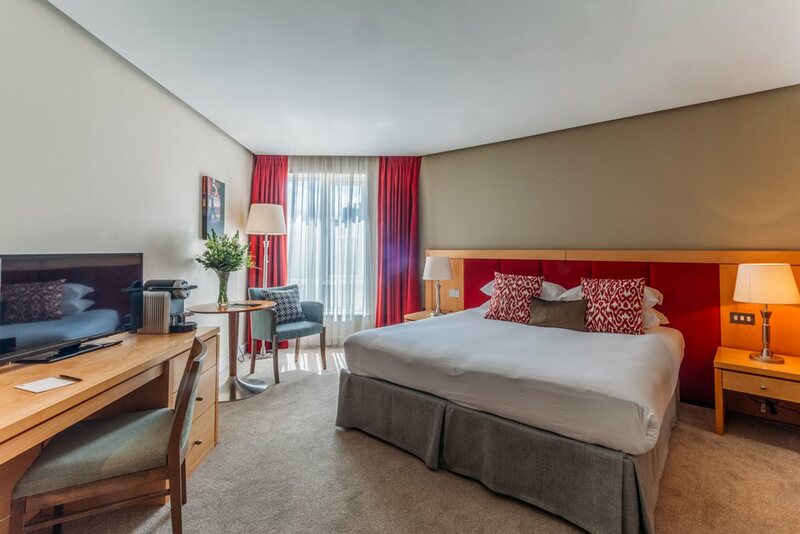 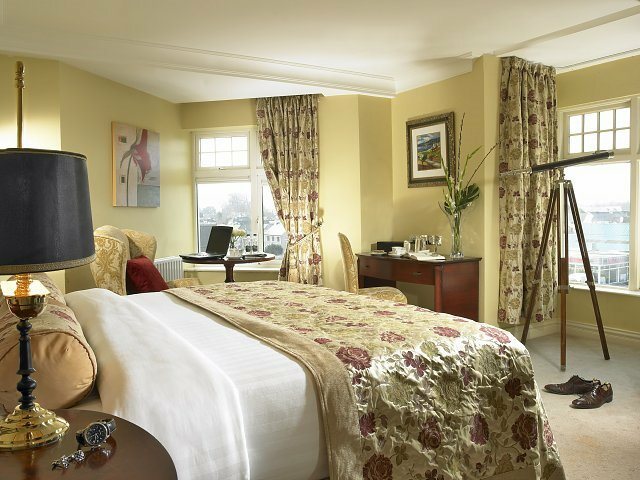 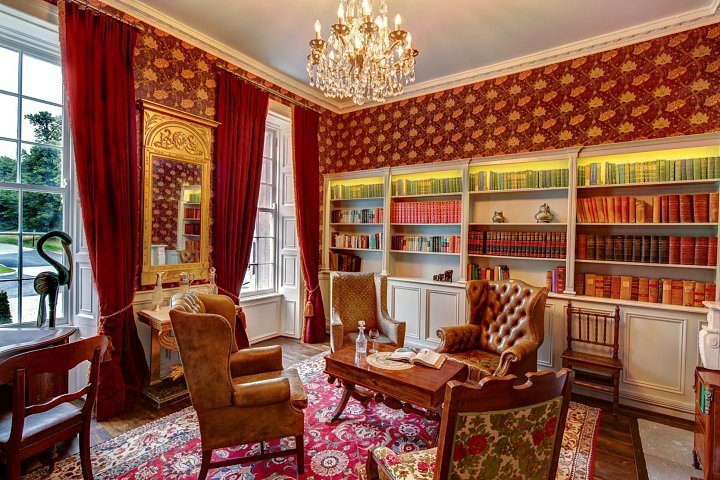 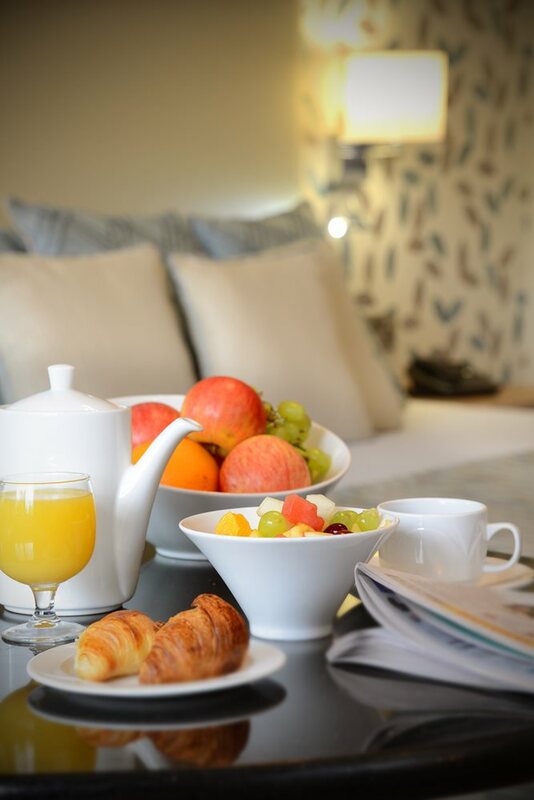 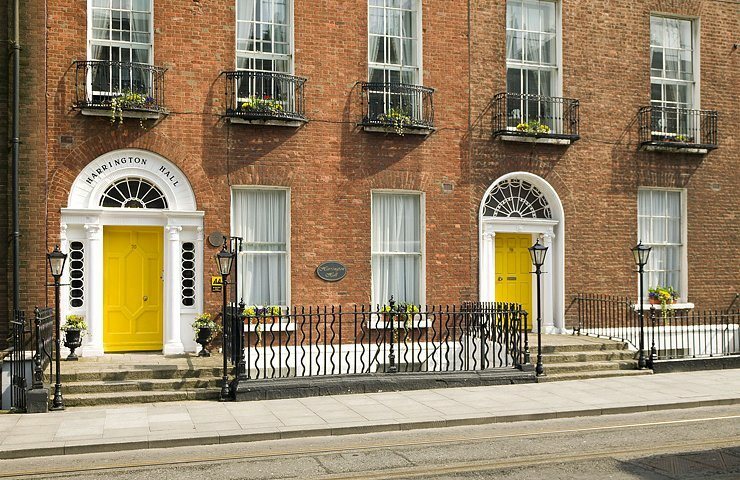 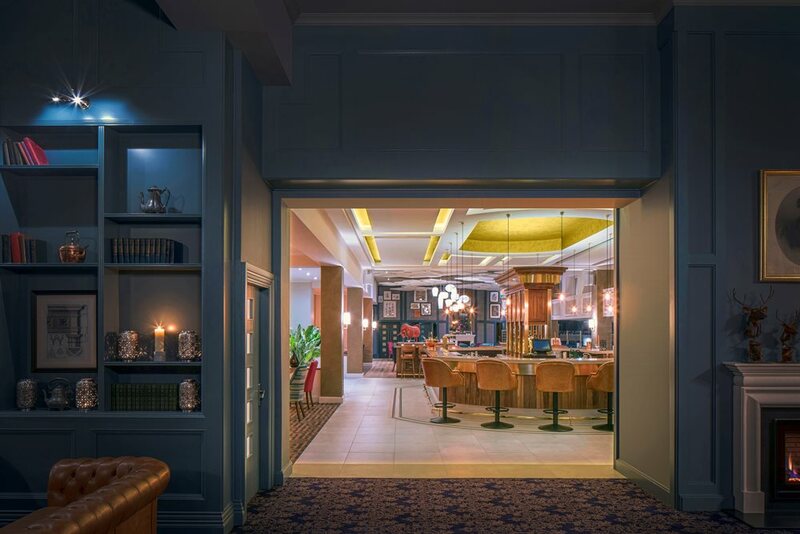 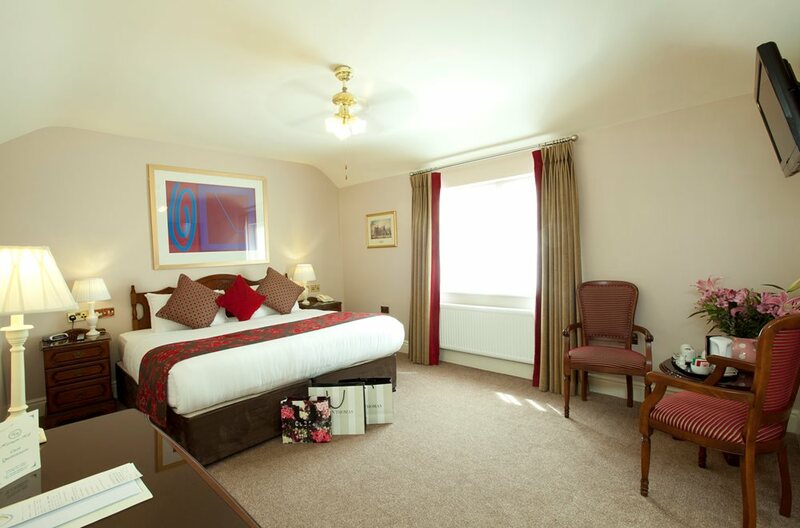 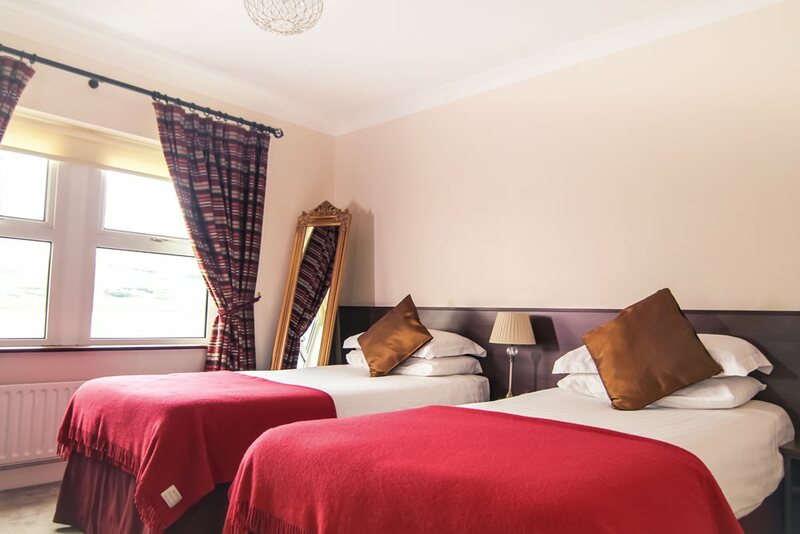 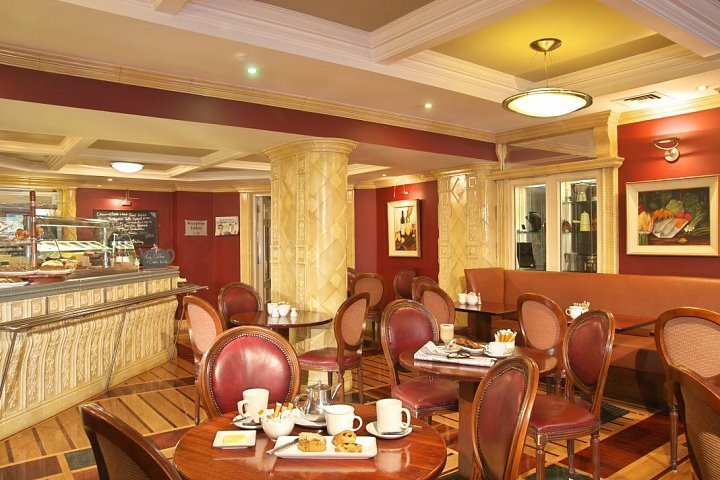 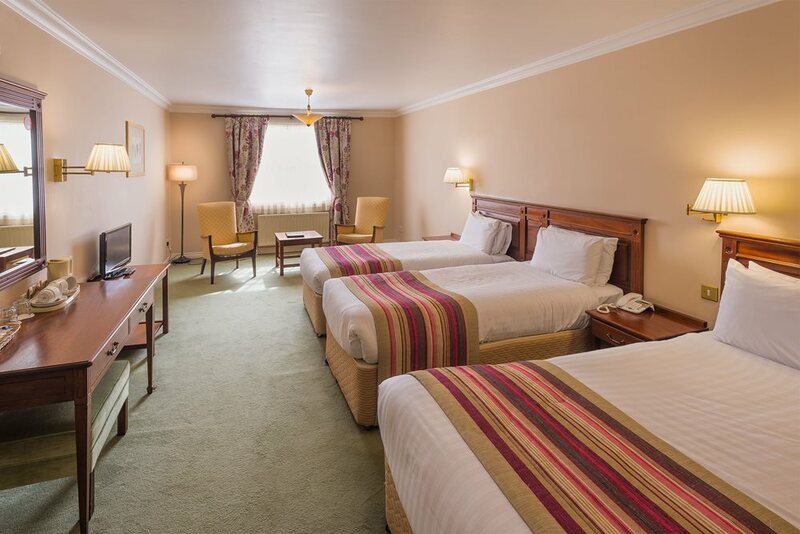 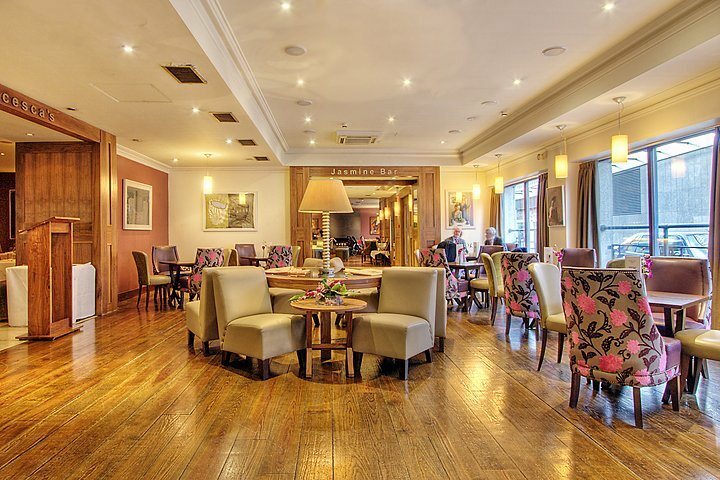 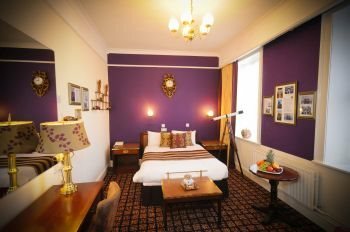 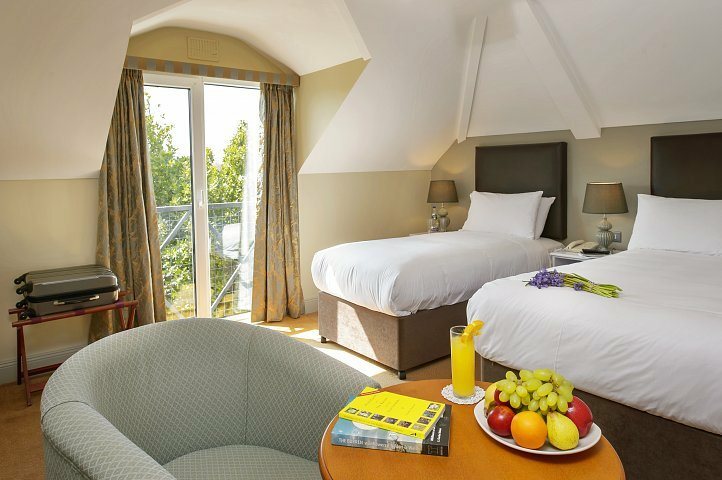 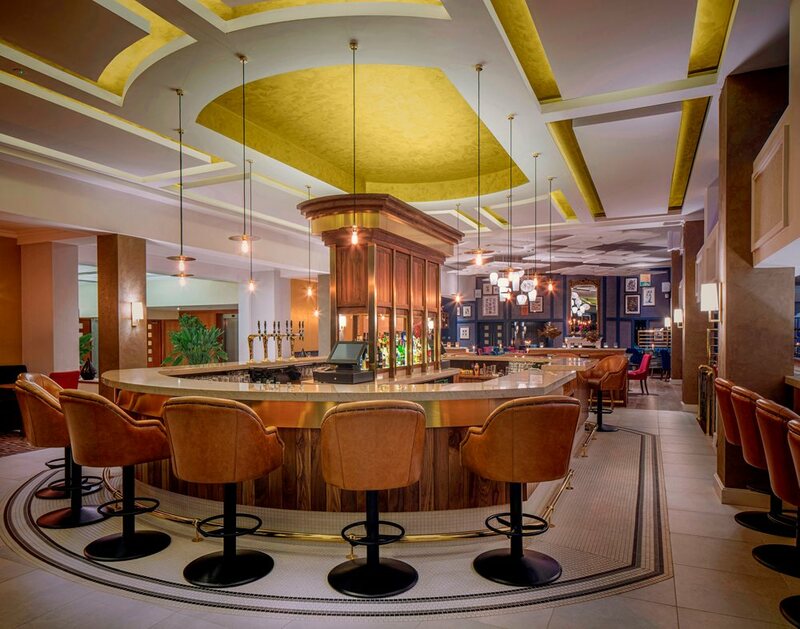 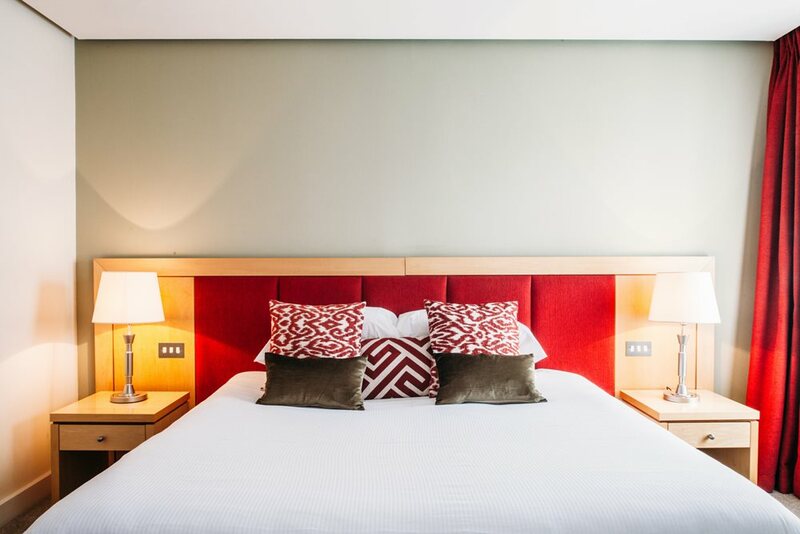 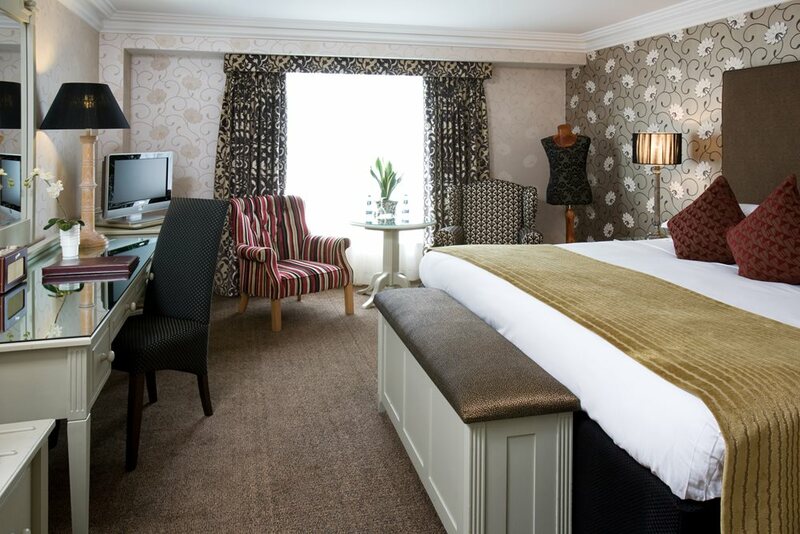 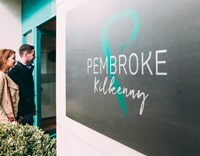 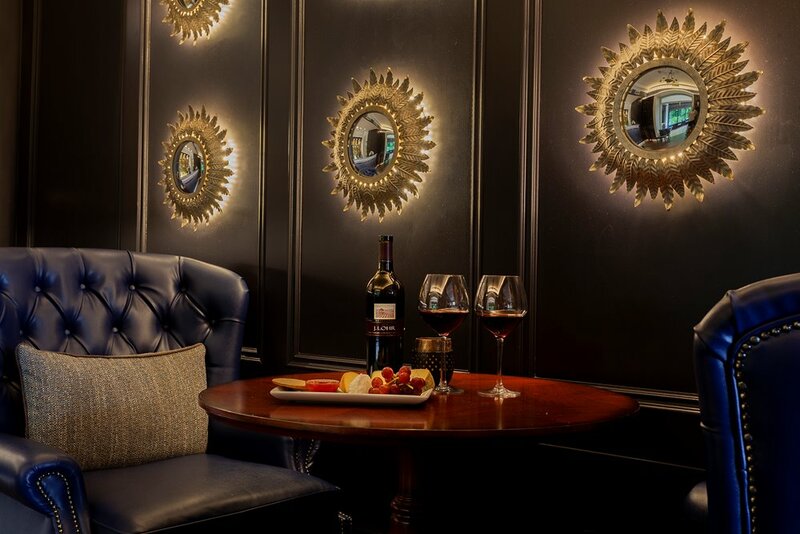 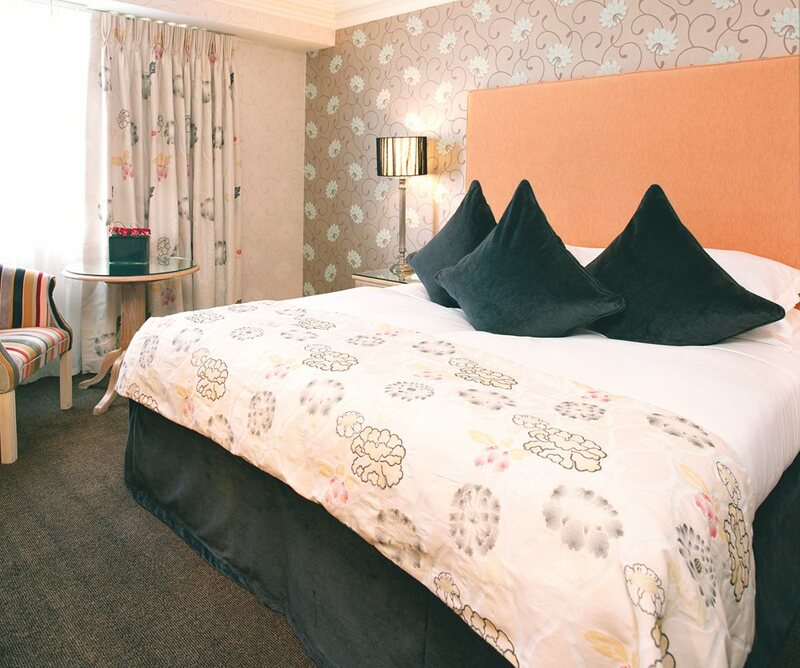 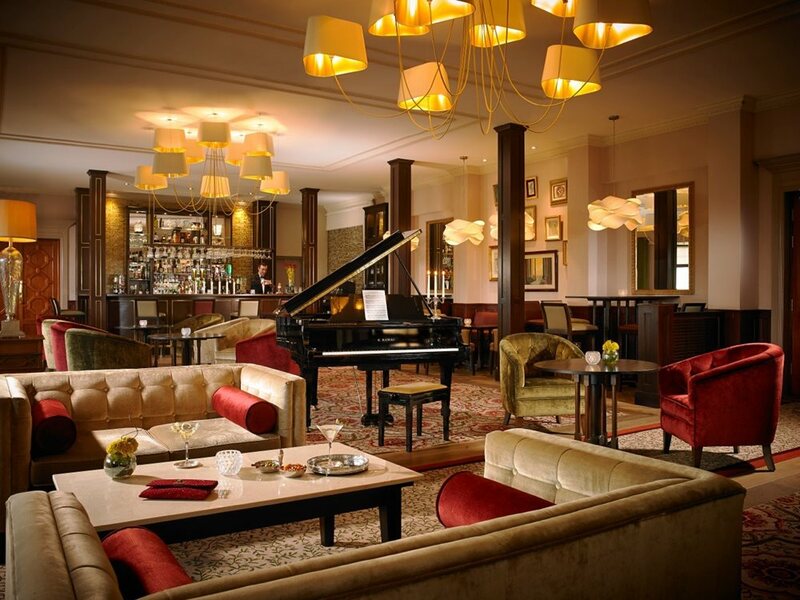 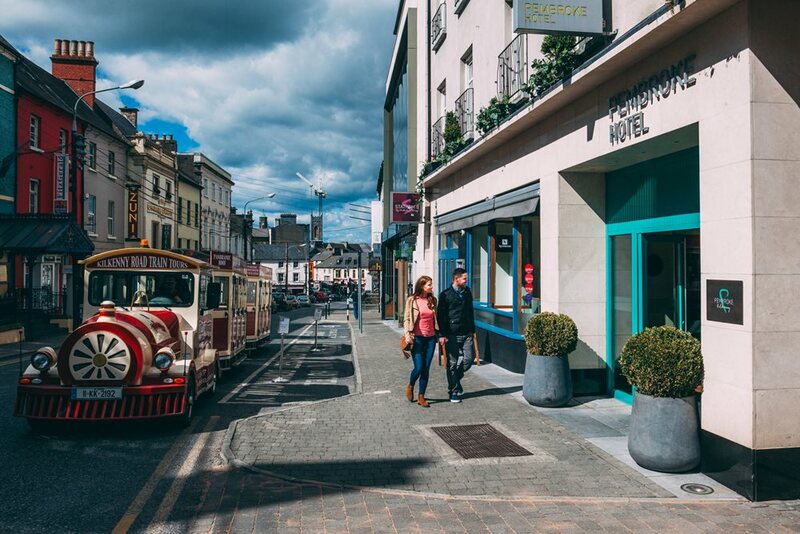 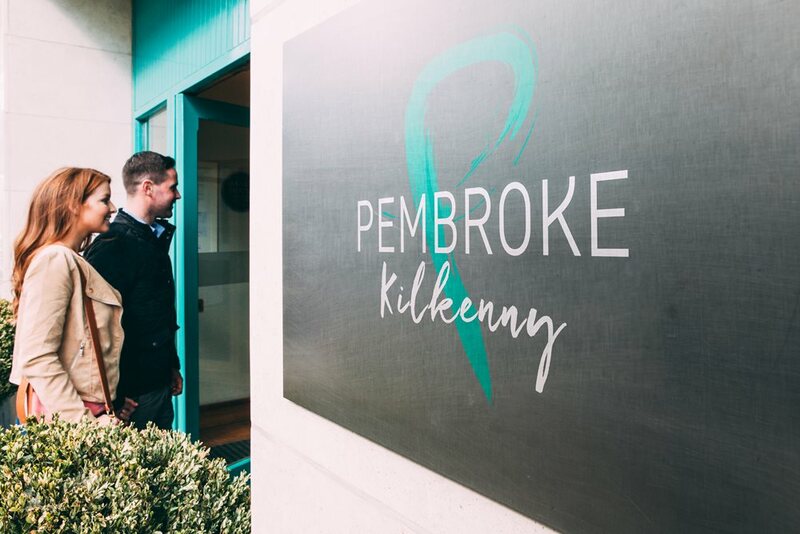 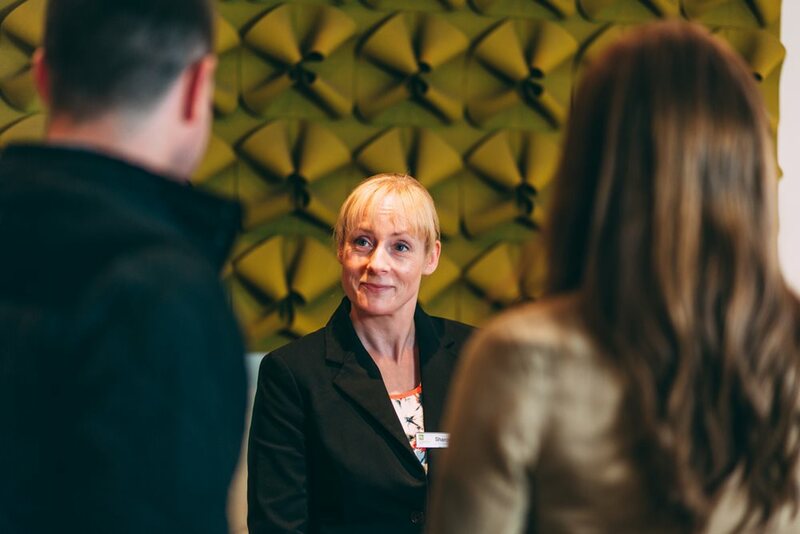 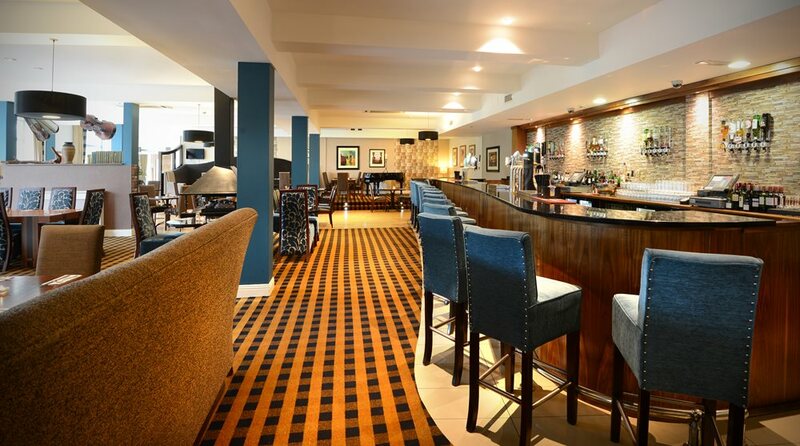 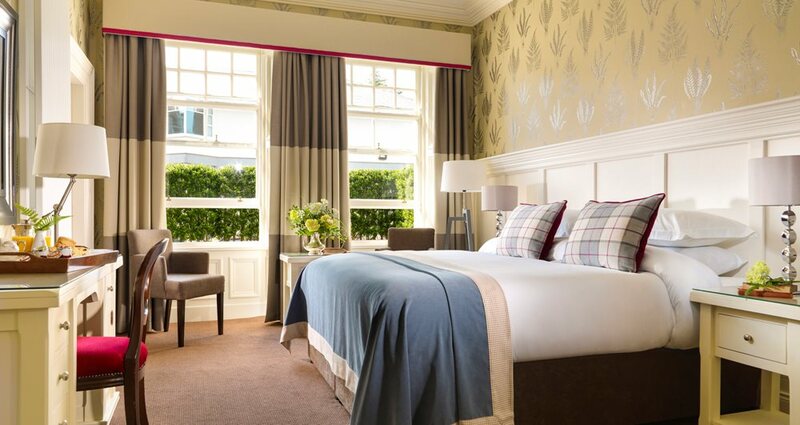 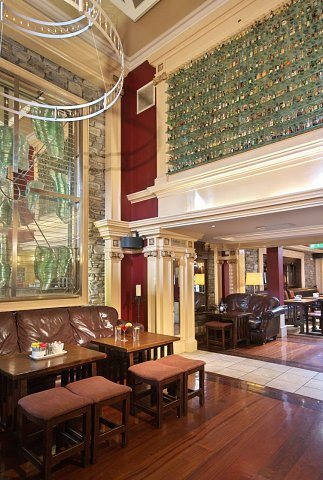 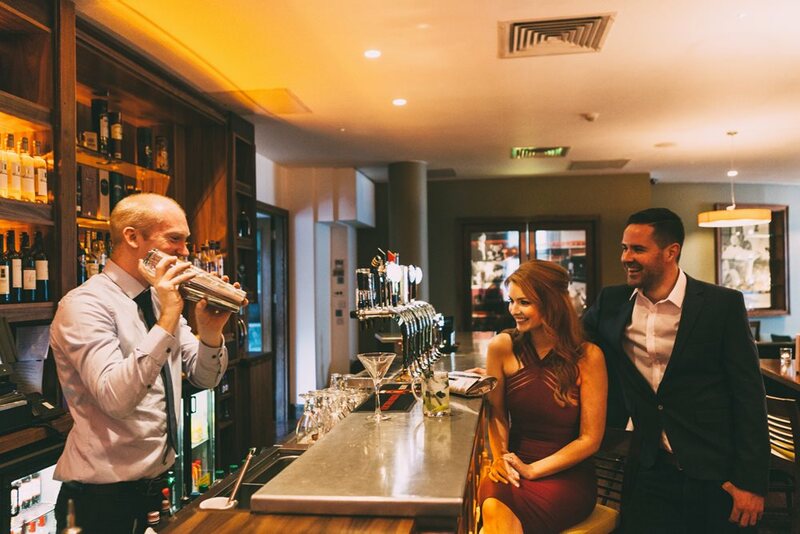 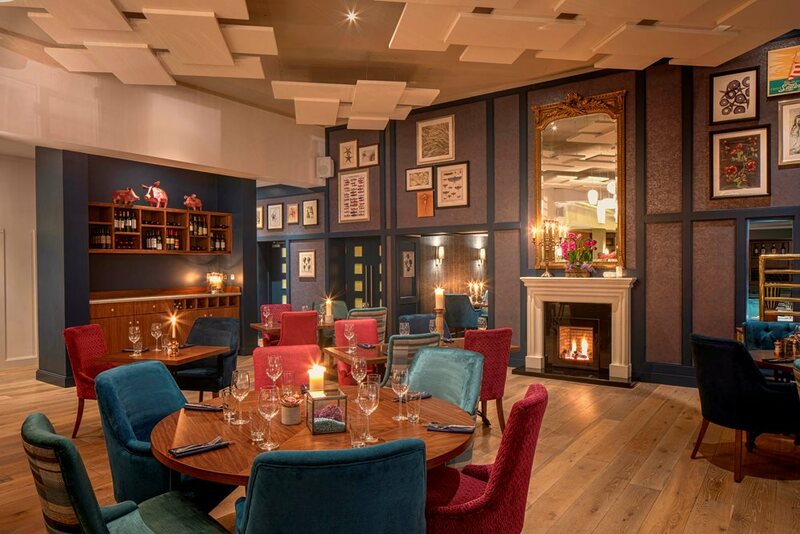 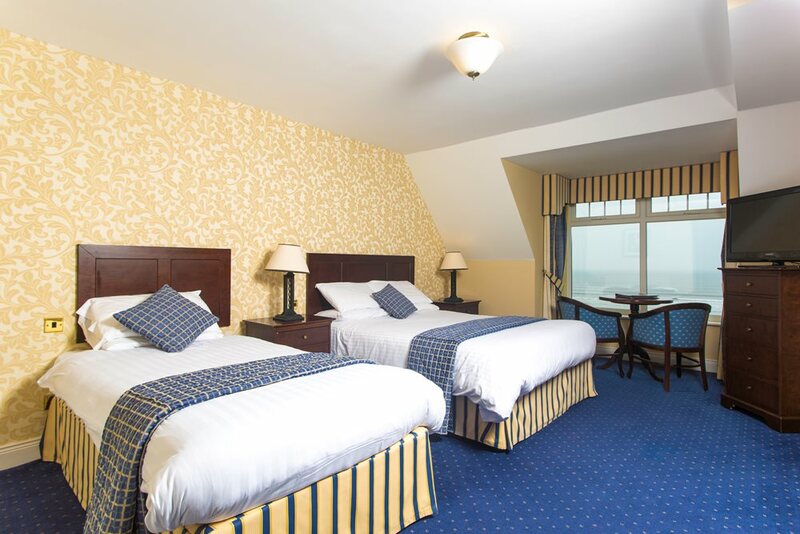 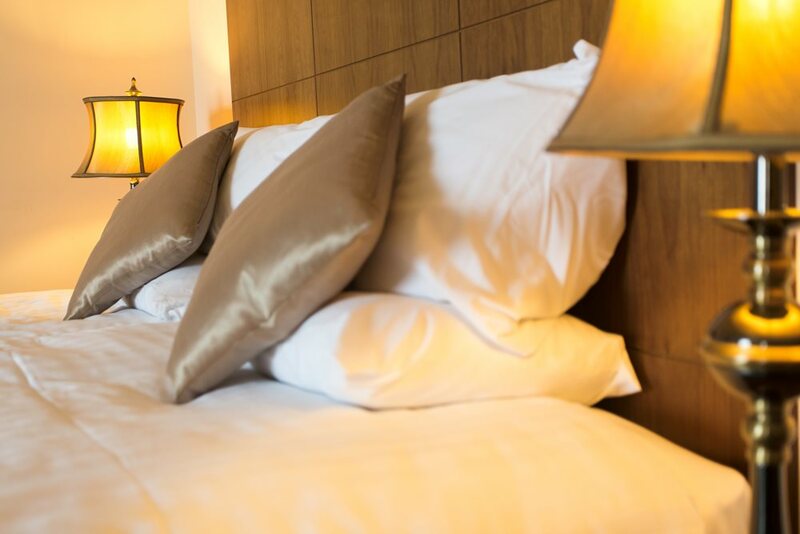 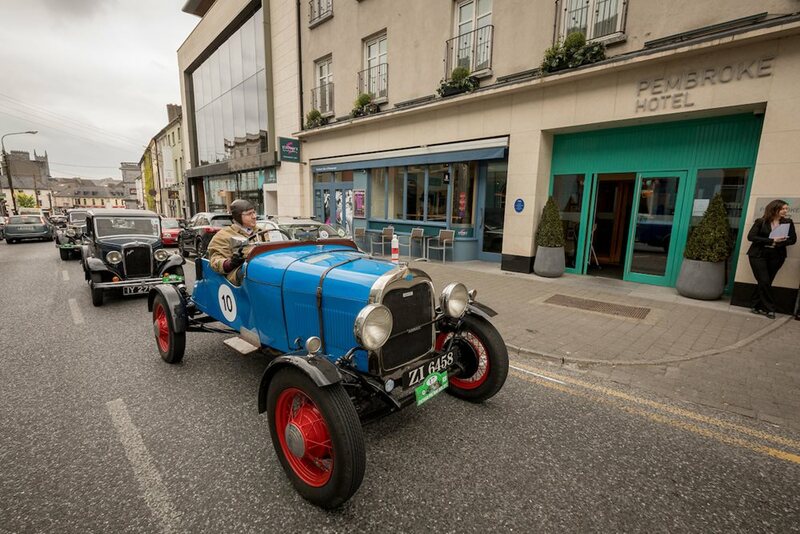 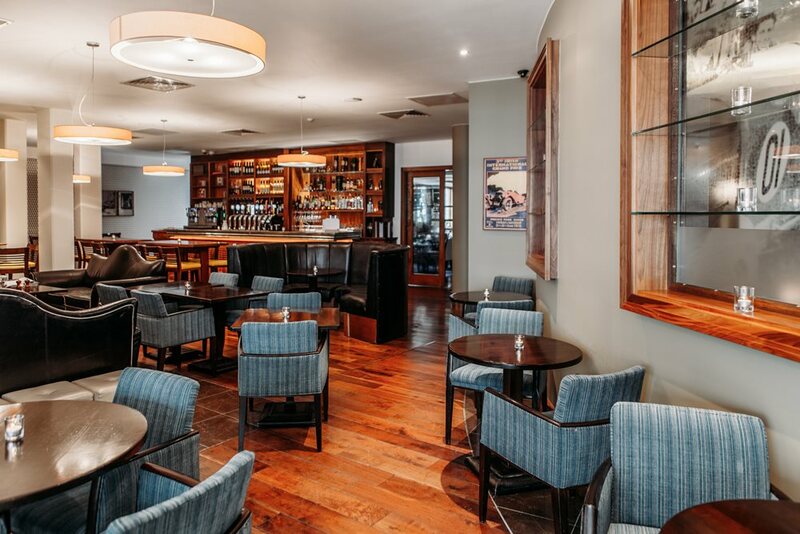 Pembroke Hotel delights in its amazing city centre location in the heart of Kilkenny’s old city quarter in South-East Ireland. 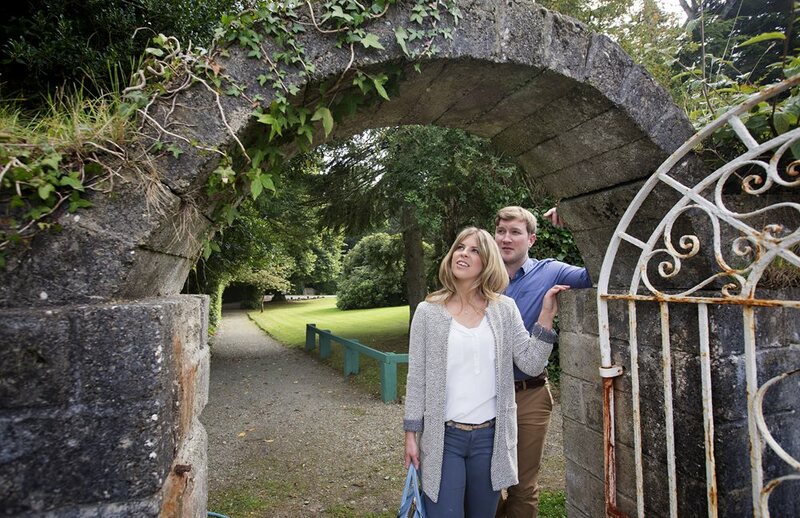 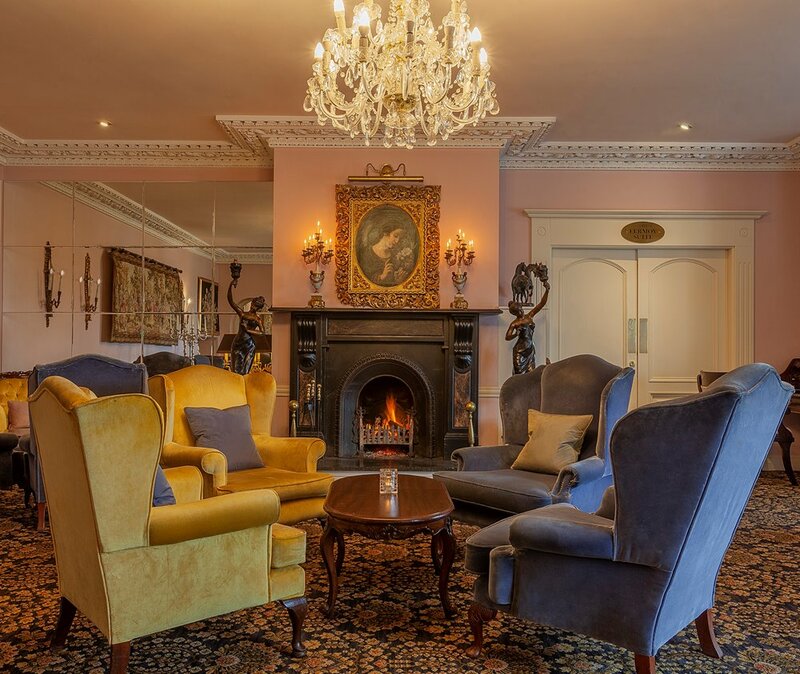 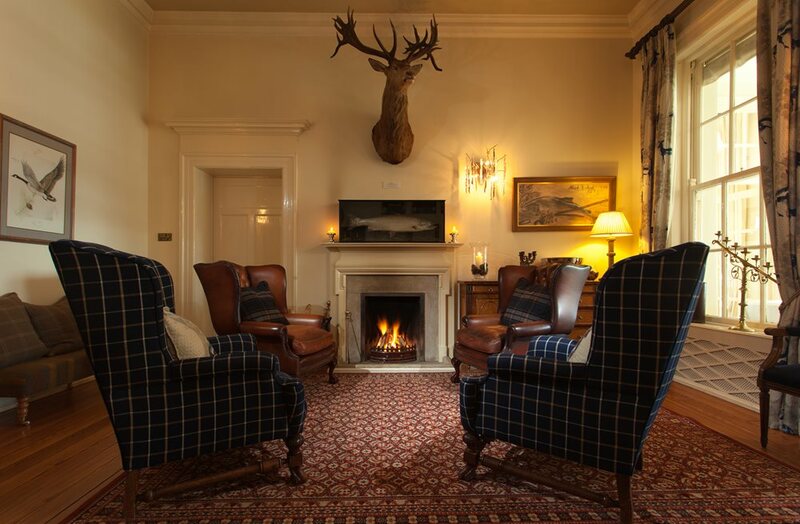 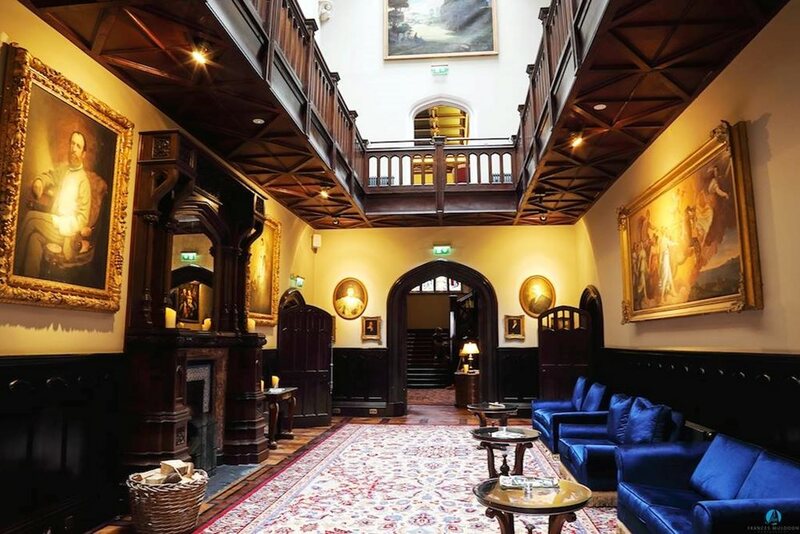 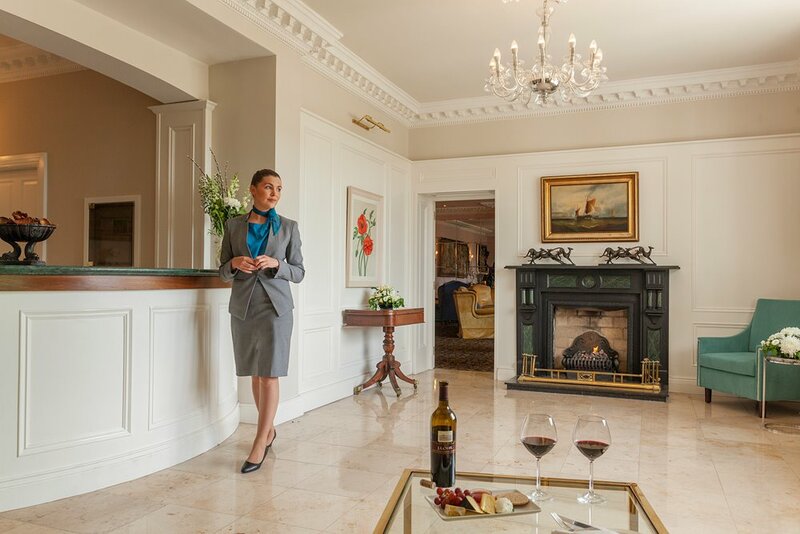 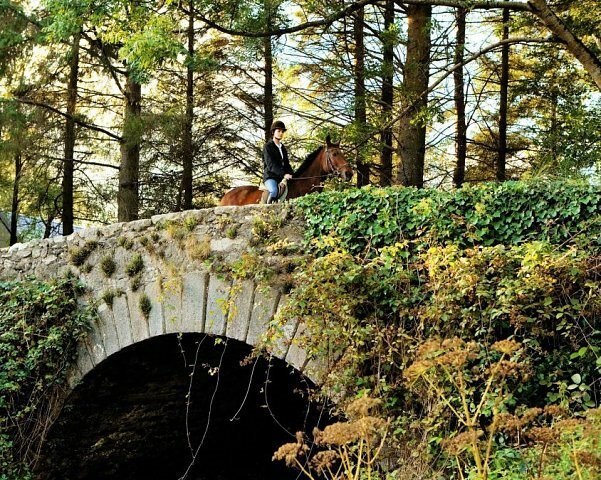 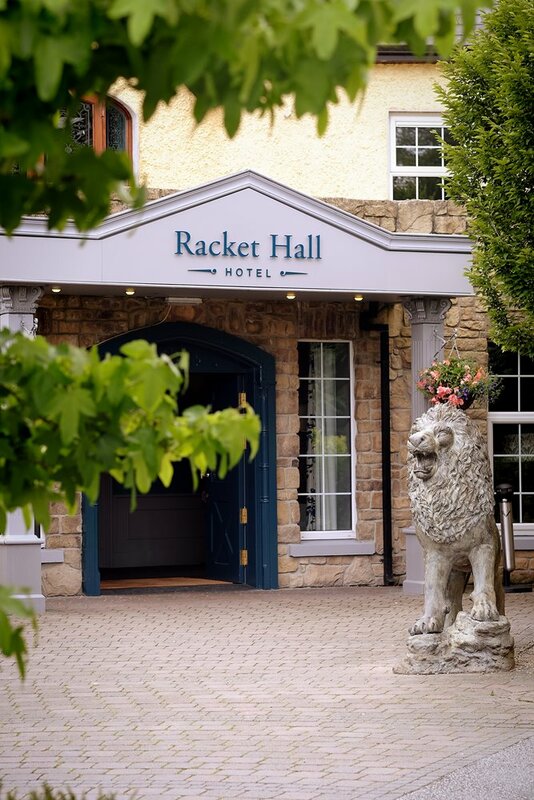 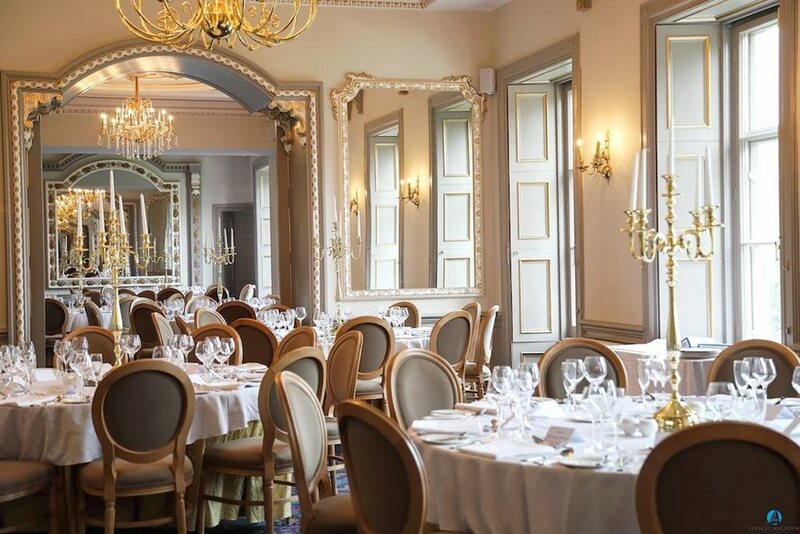 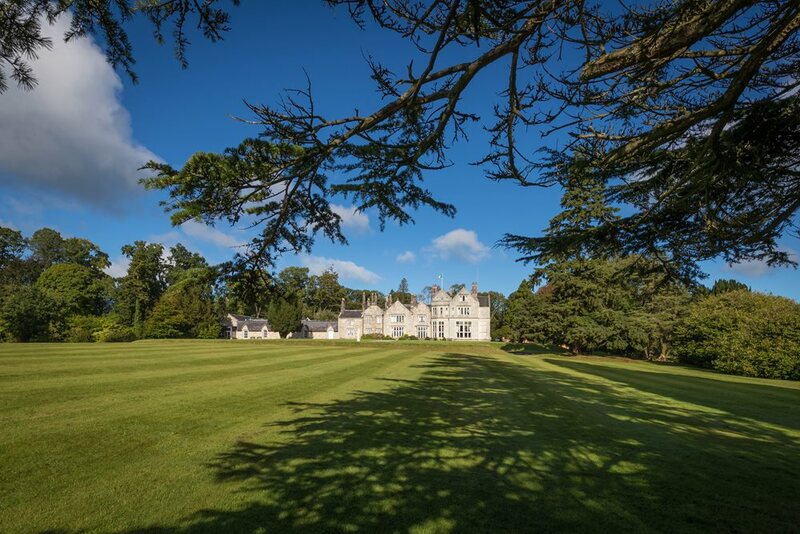 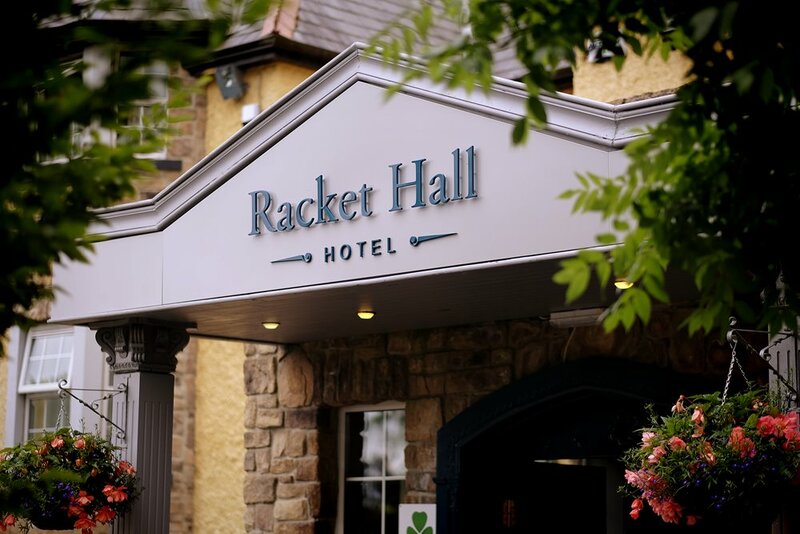 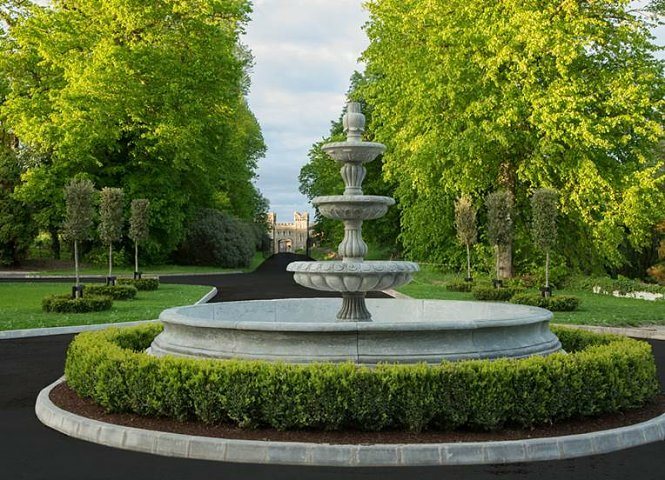 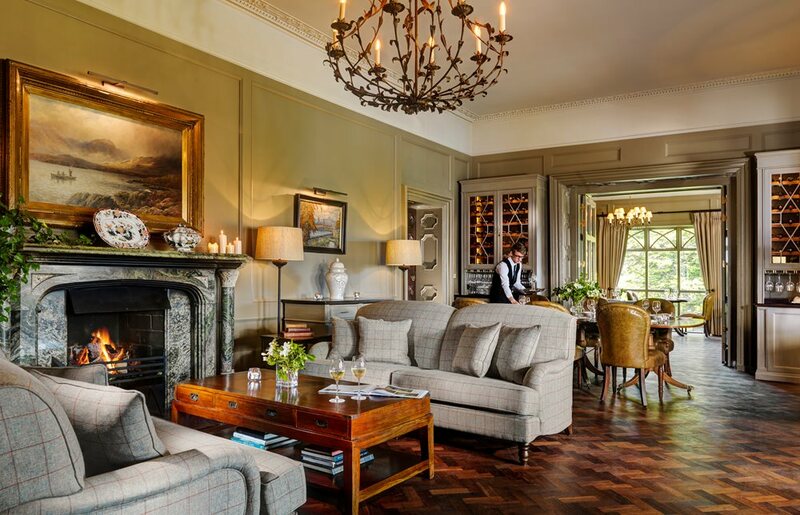 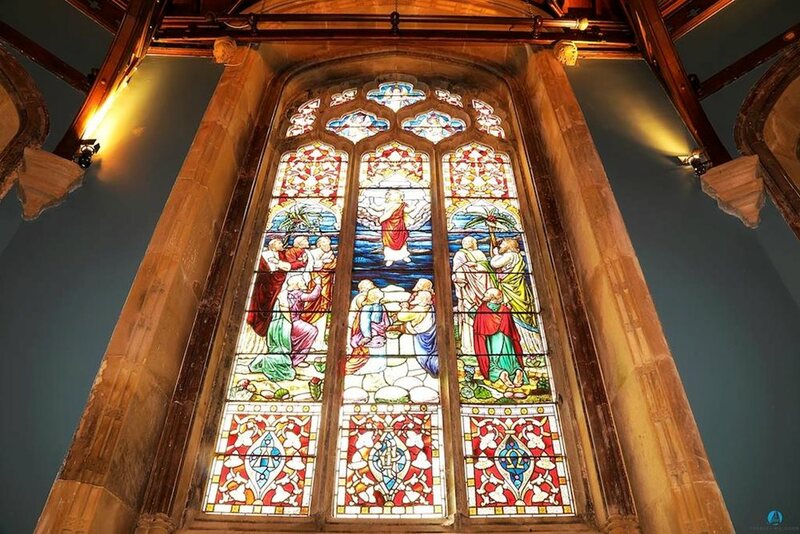 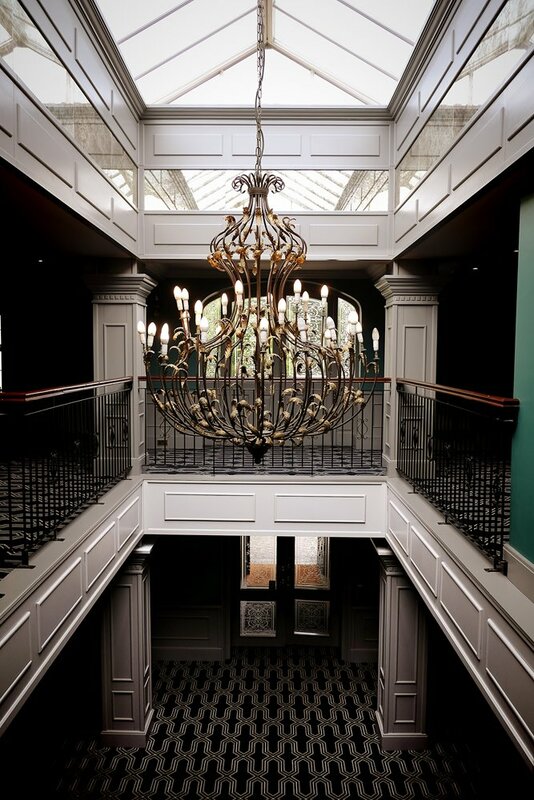 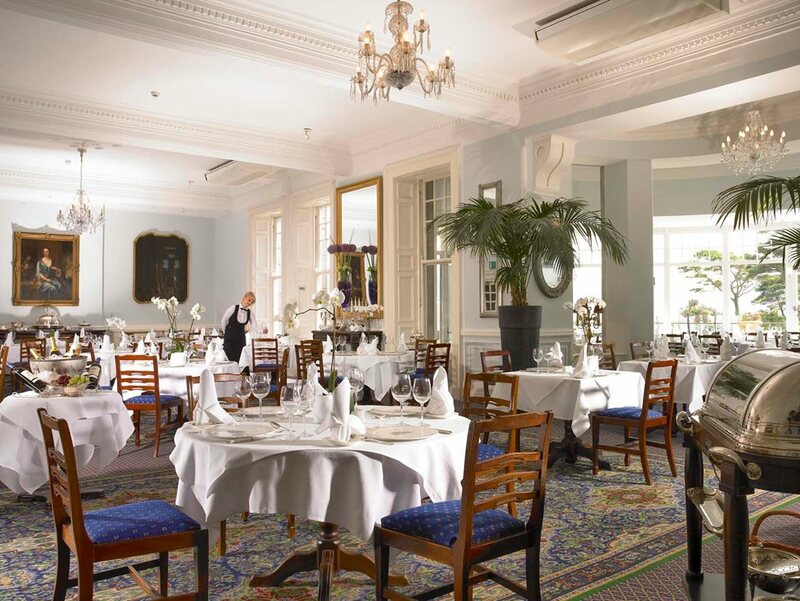 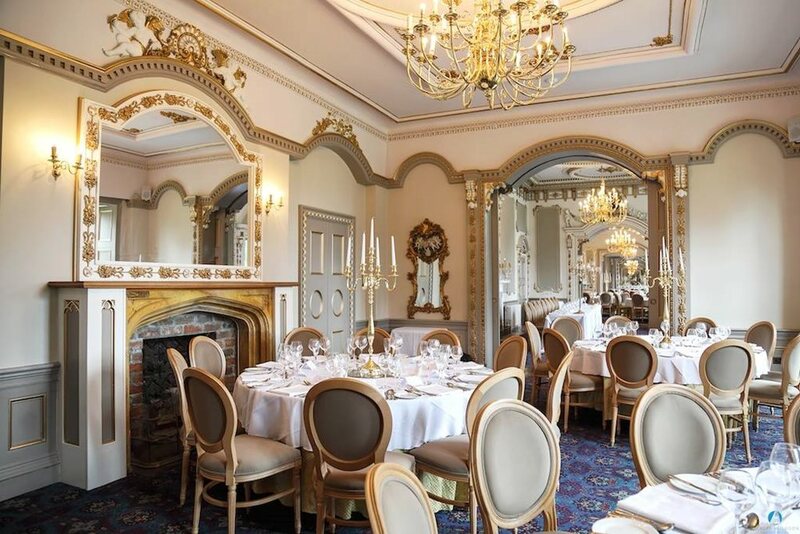 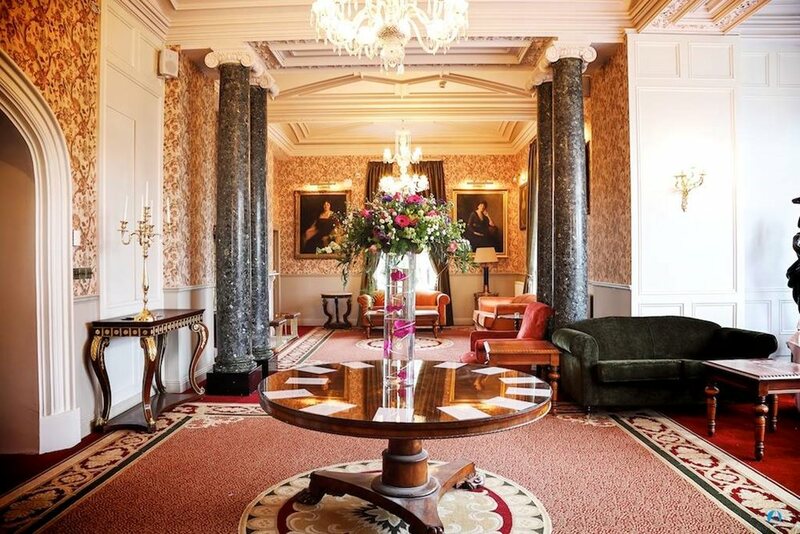 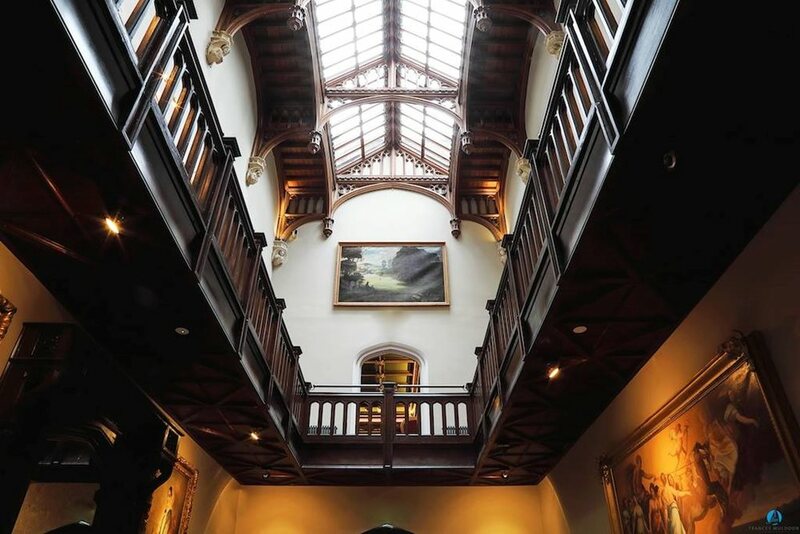 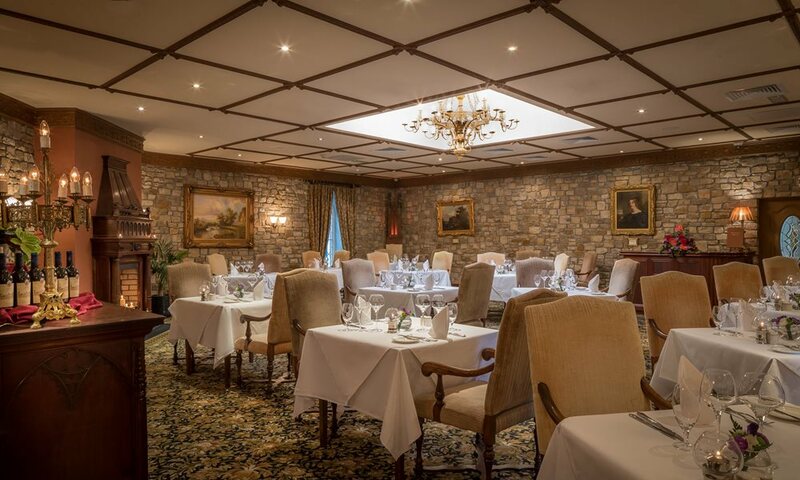 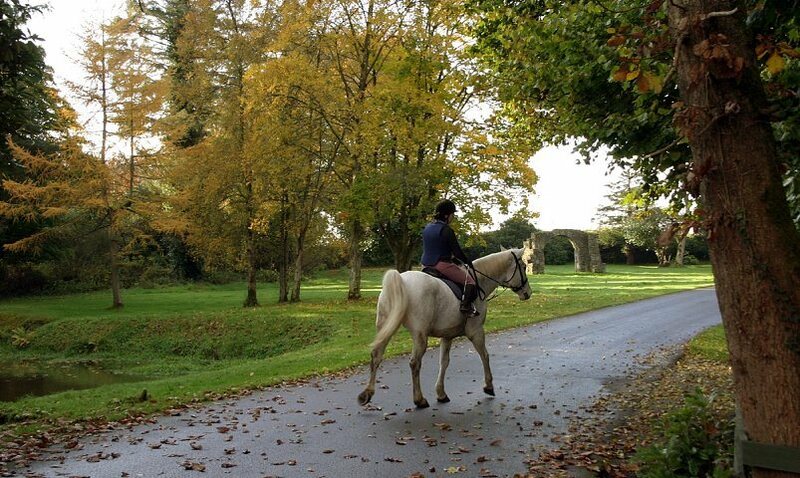 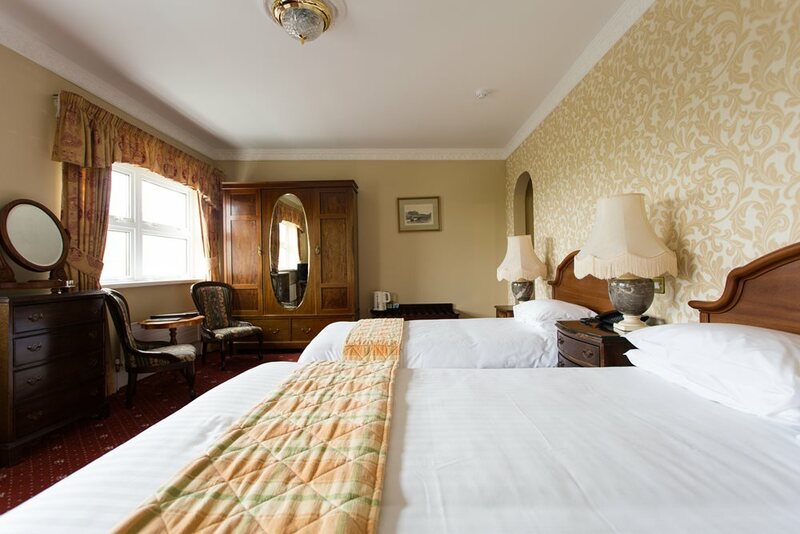 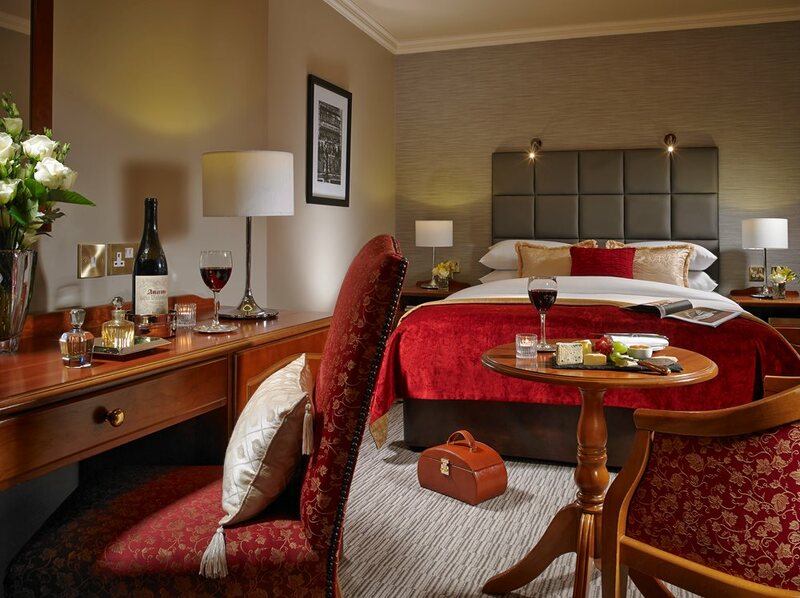 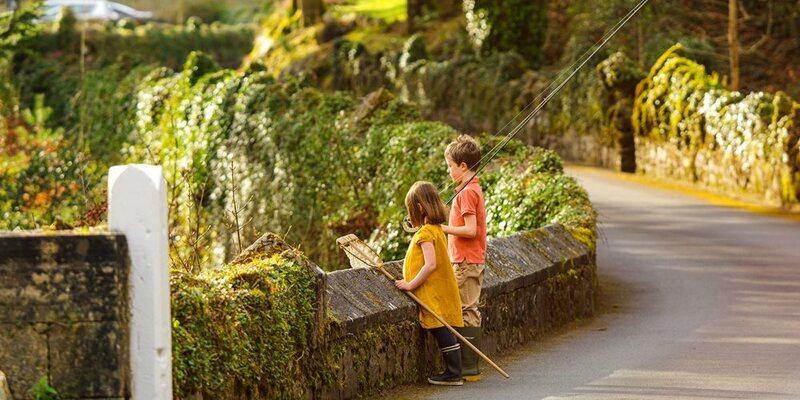 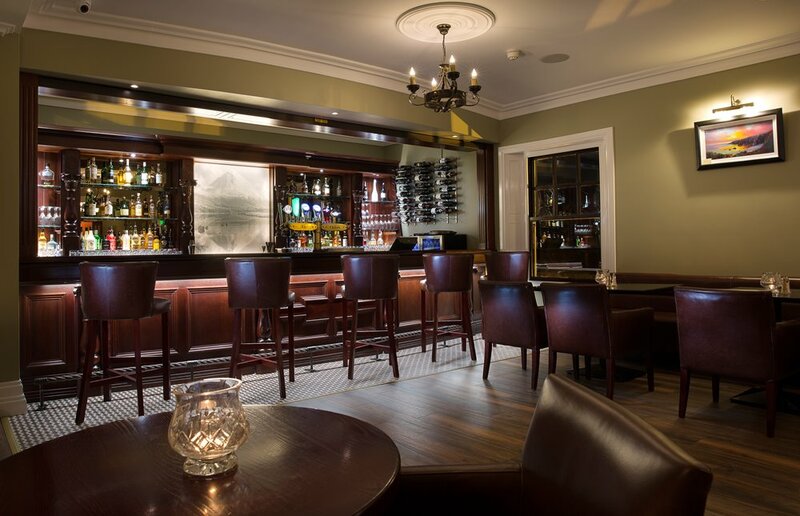 Racket Hall Hotel is the perfect location to explore and enjoy the Irish midlands and the wider Ancient East region.An ideal central location, at the foot of the wonderful Slieve Bloom Mountains. 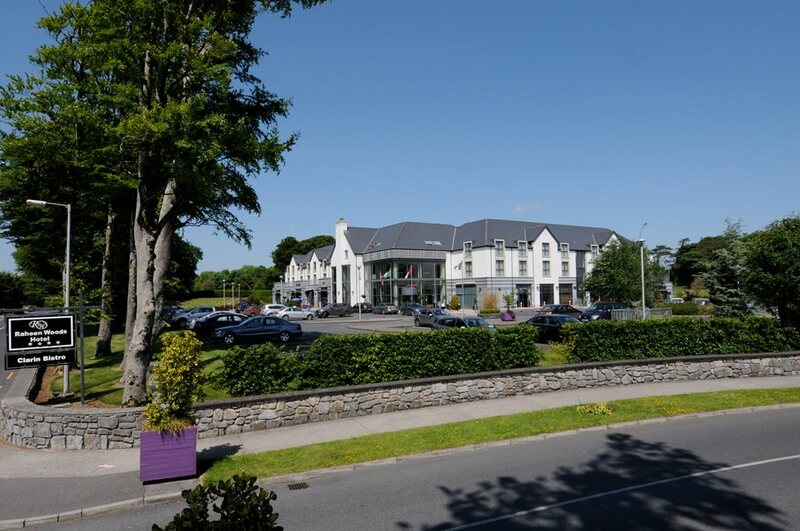 Raheen Woods Hotel Galway is nestled in the world famous Fields of Athenry in a tranquil woodland setting only 15 minutes from Galway City. 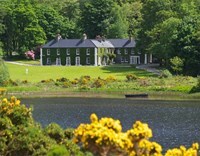 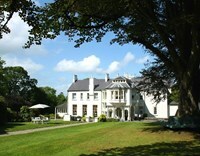 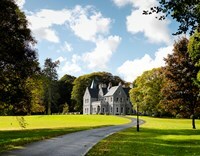 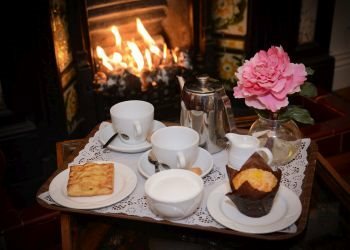 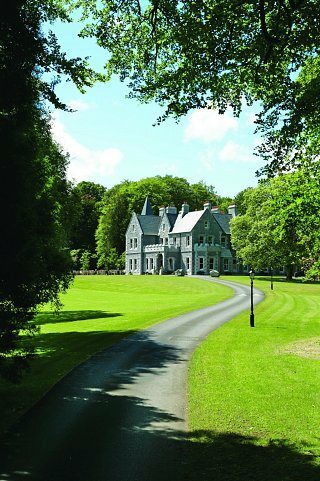 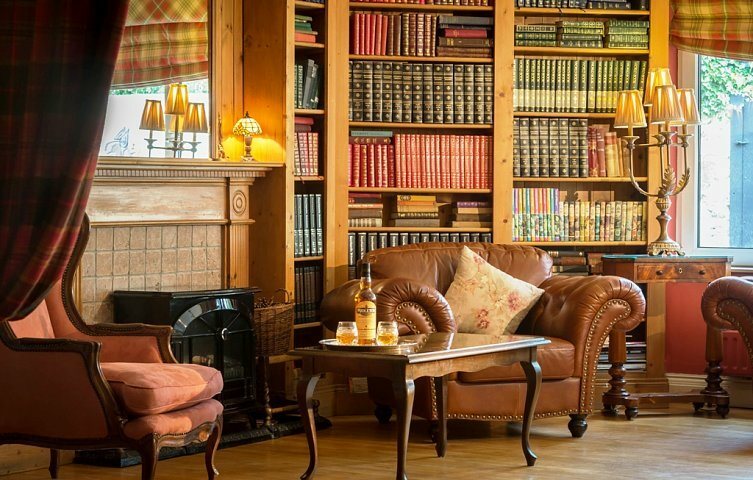 Ross Lake House Hotel is an elegant, 19th Century Georgian house nested amid 7 acres of rambling woods and rolling lawns in Oughterard, Co Galway. 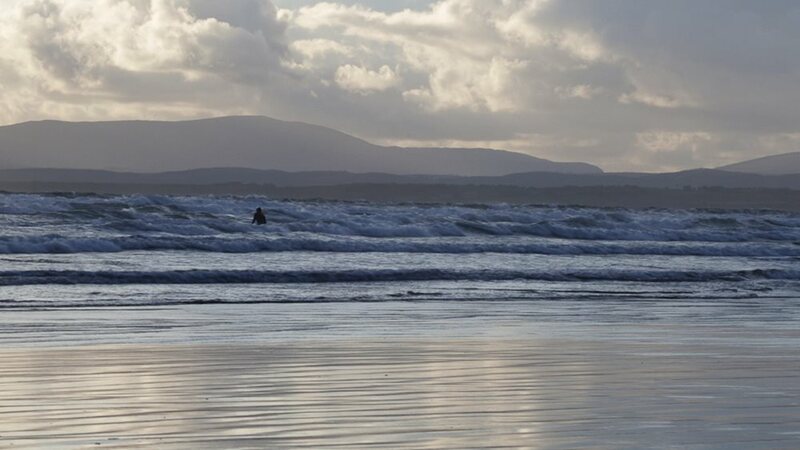 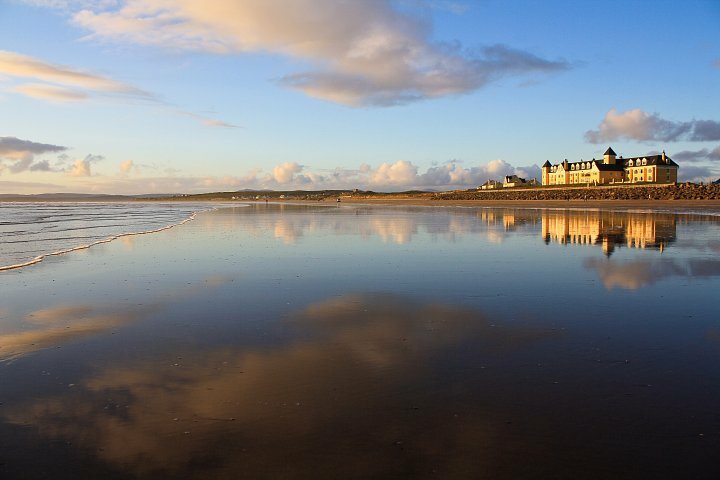 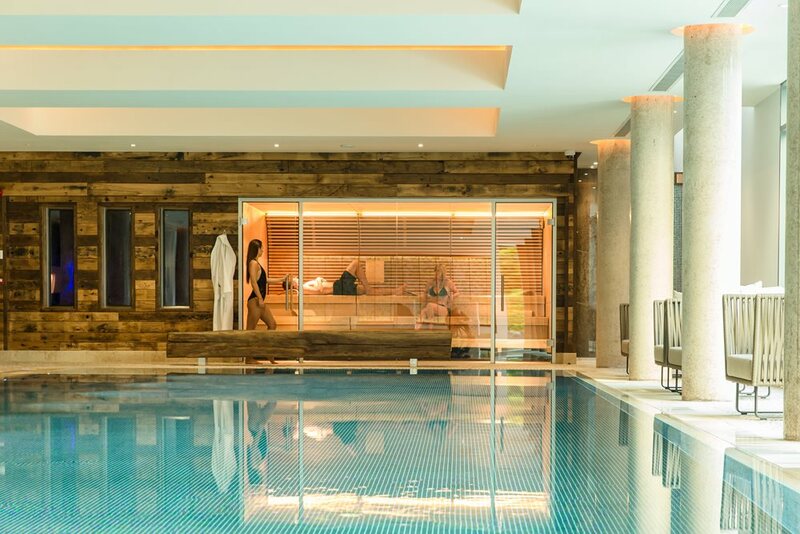 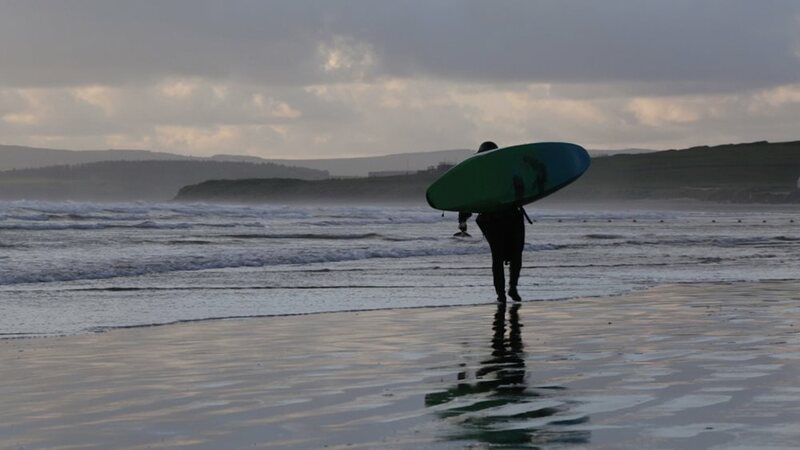 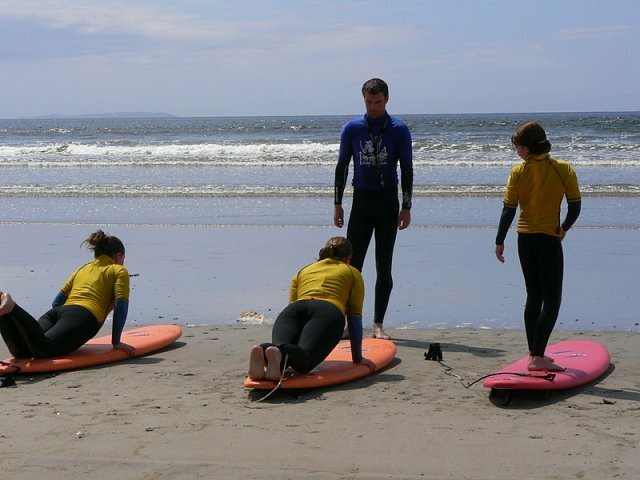 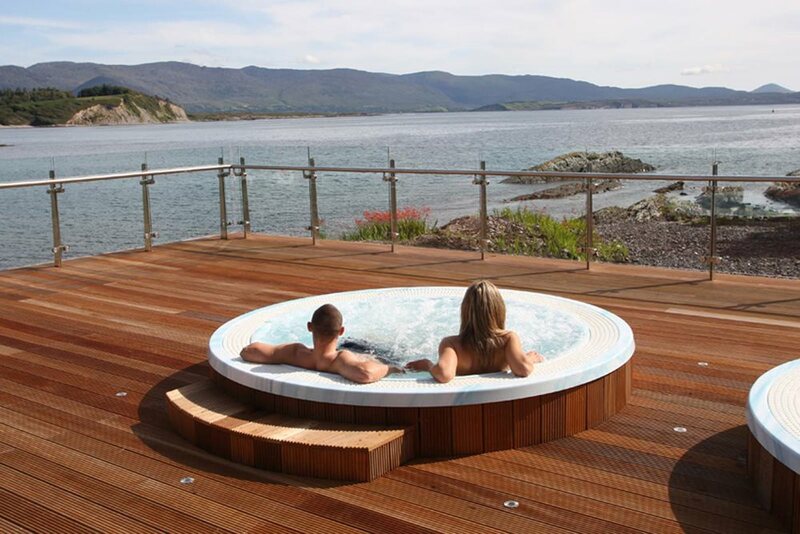 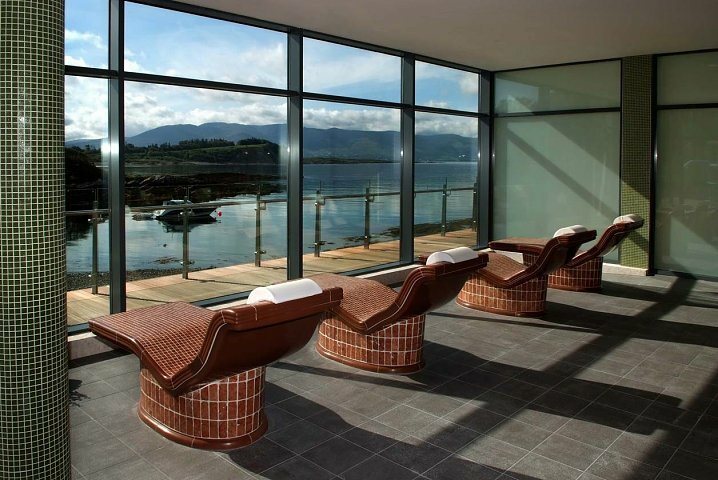 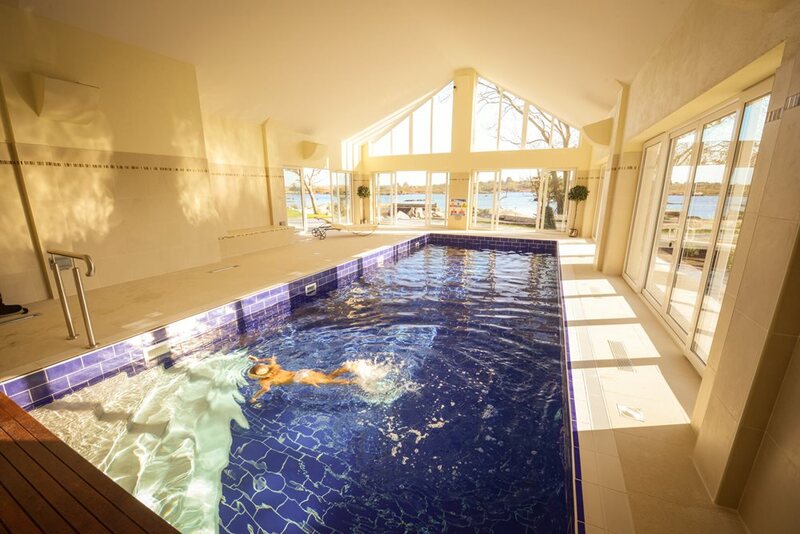 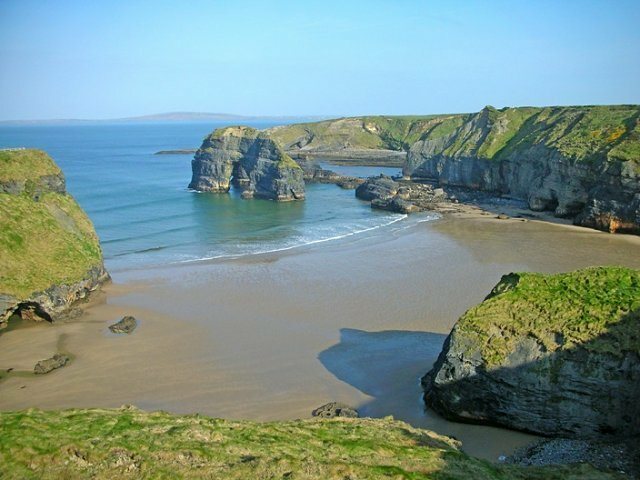 Perched on the edge of the Atlantic Ocean, overlooking miles of secluded sandy beach in a quiet corner of beautiful Co Donegal, is the Sandhouse Hotel and Marine Spa. 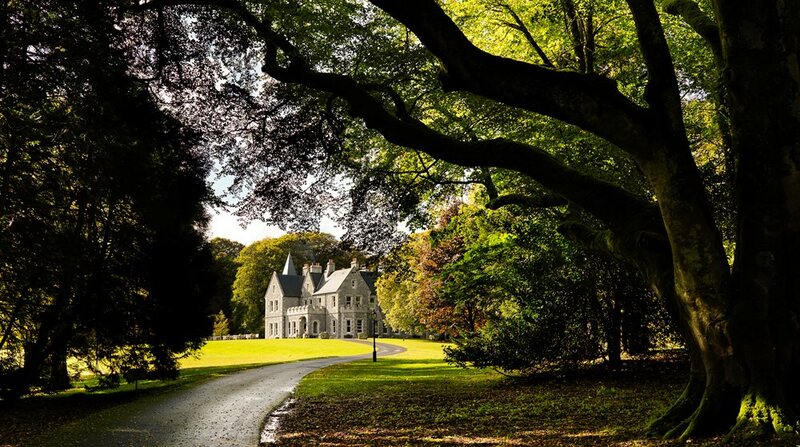 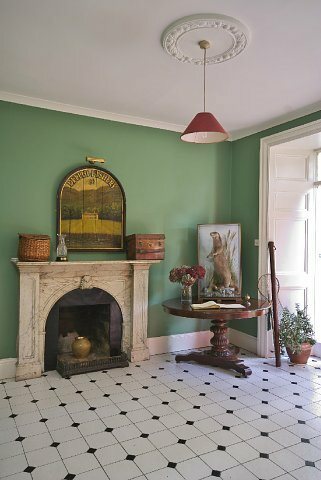 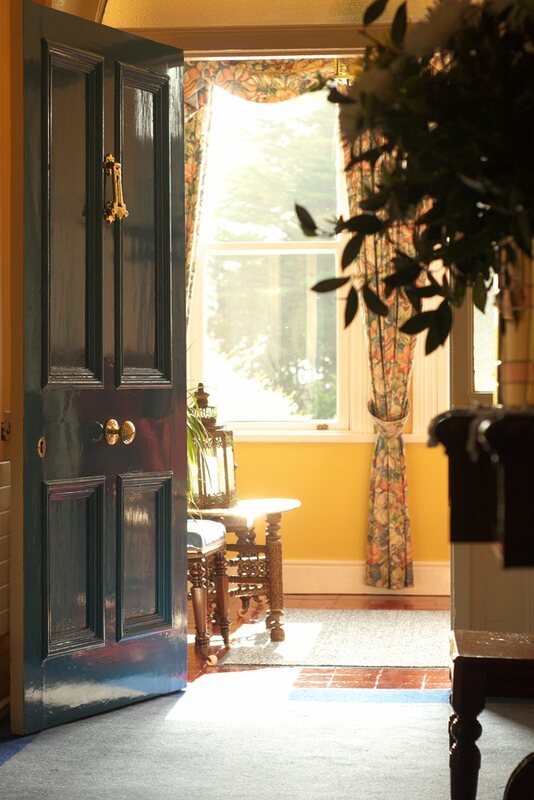 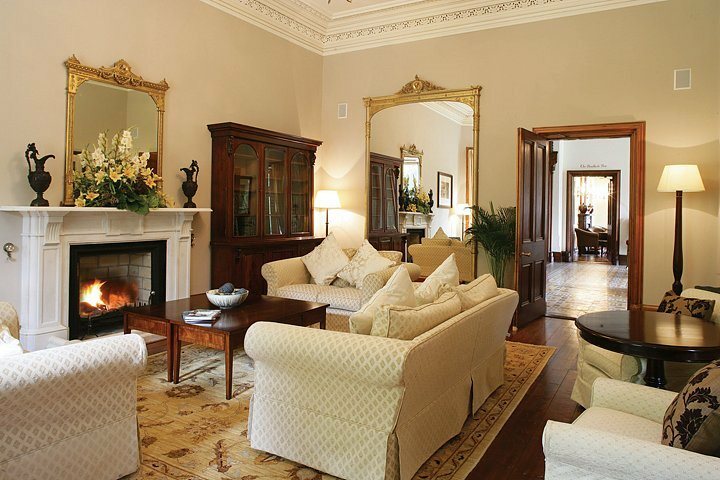 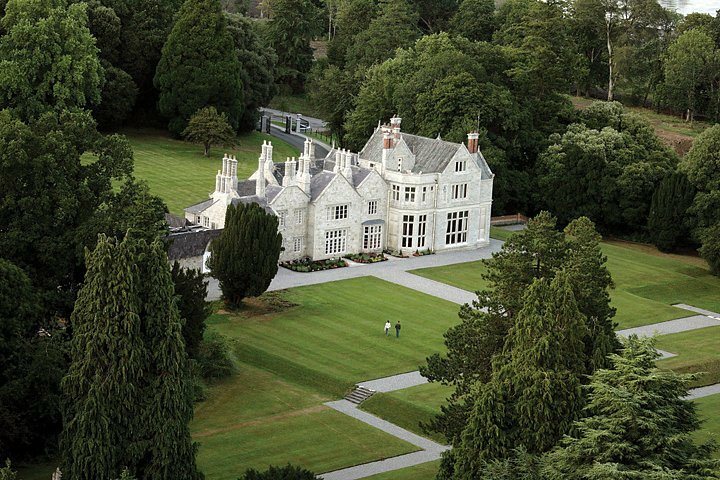 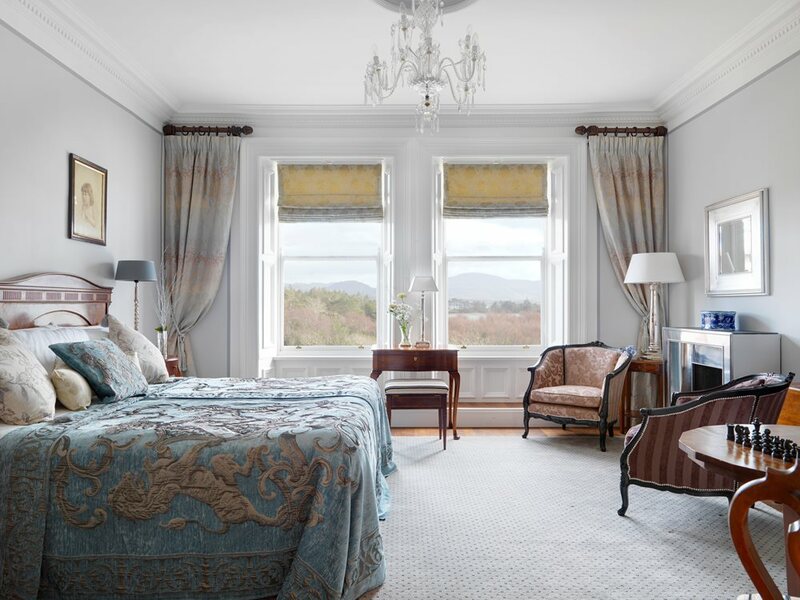 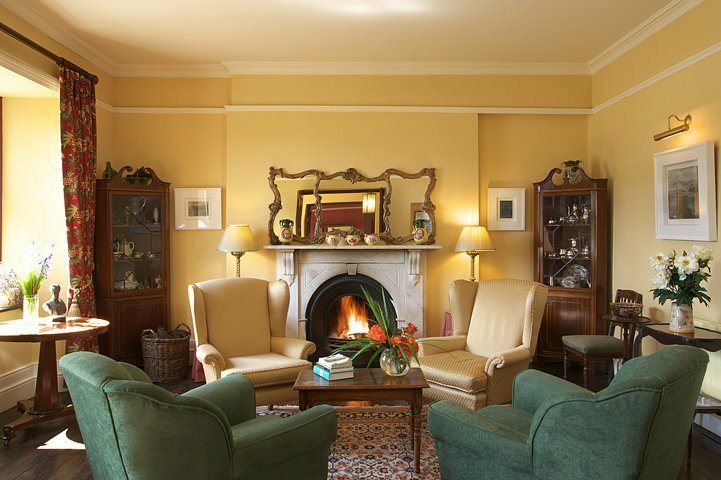 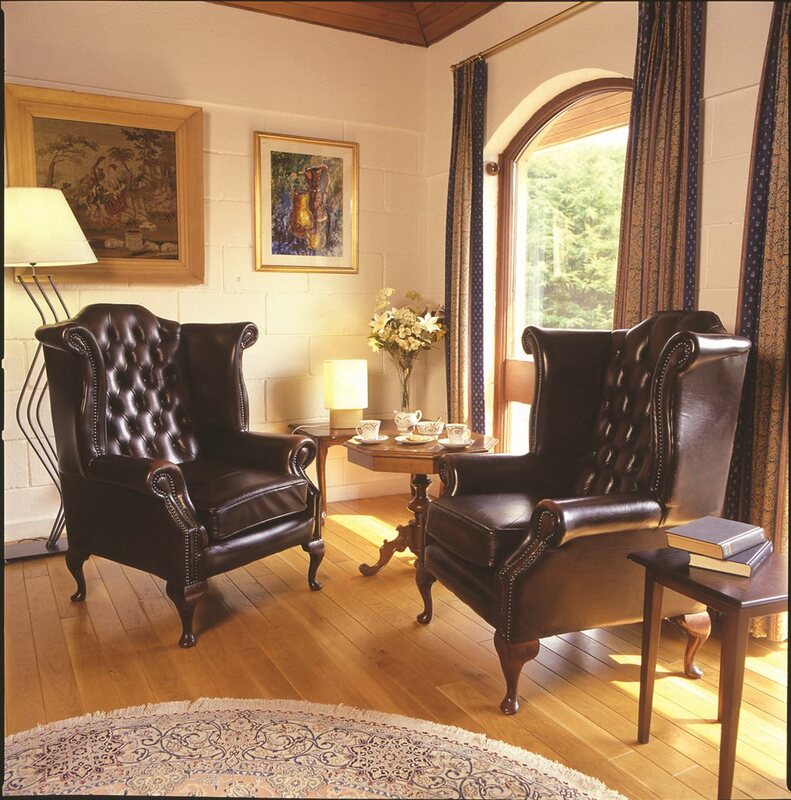 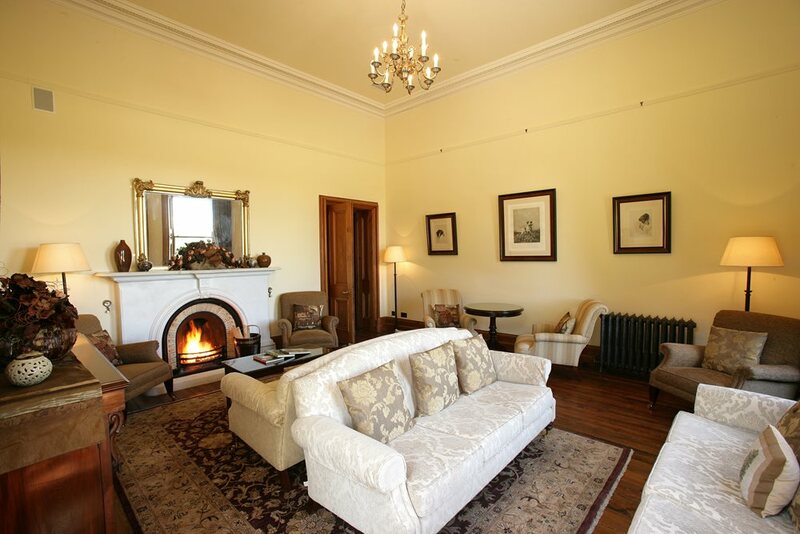 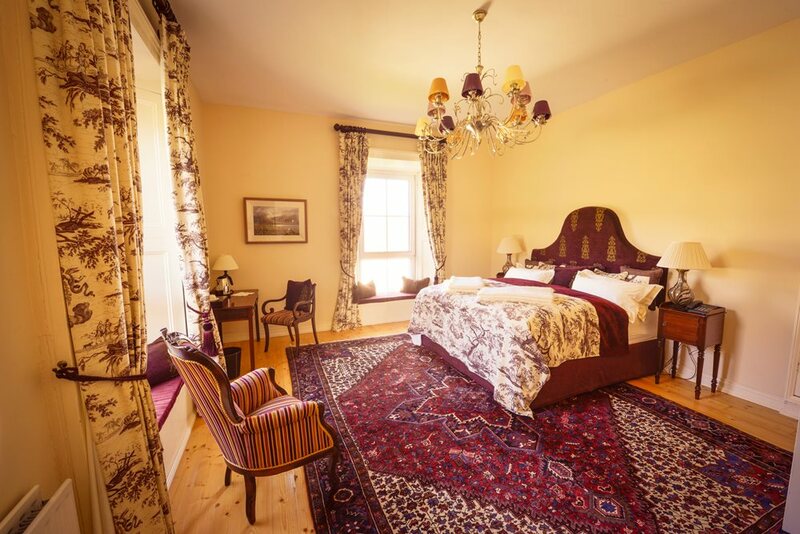 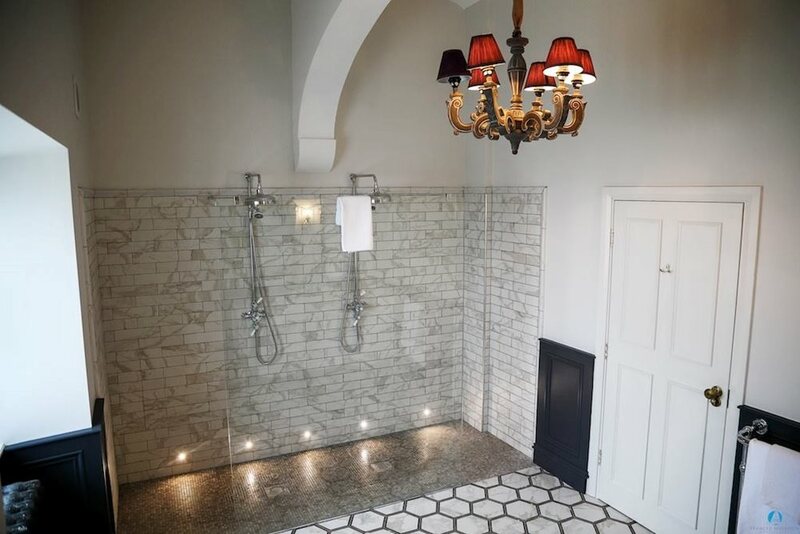 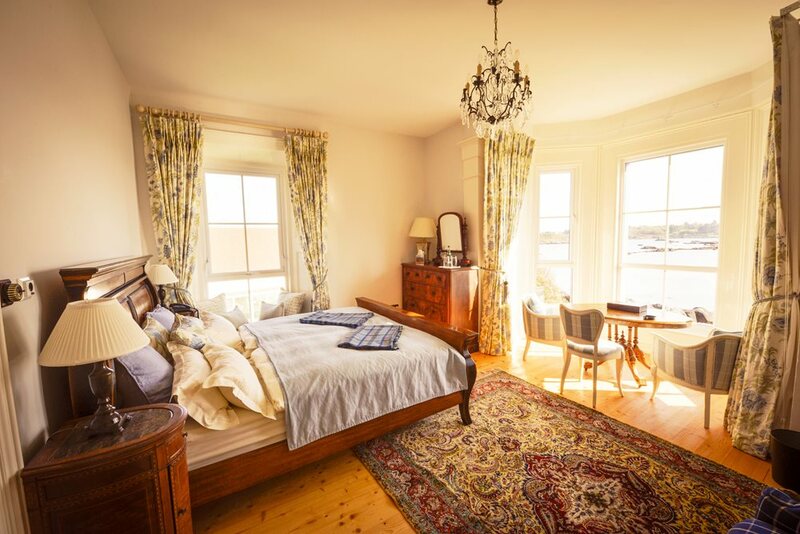 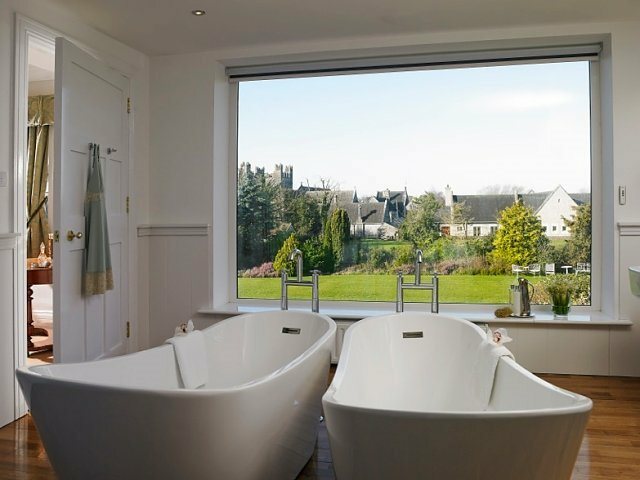 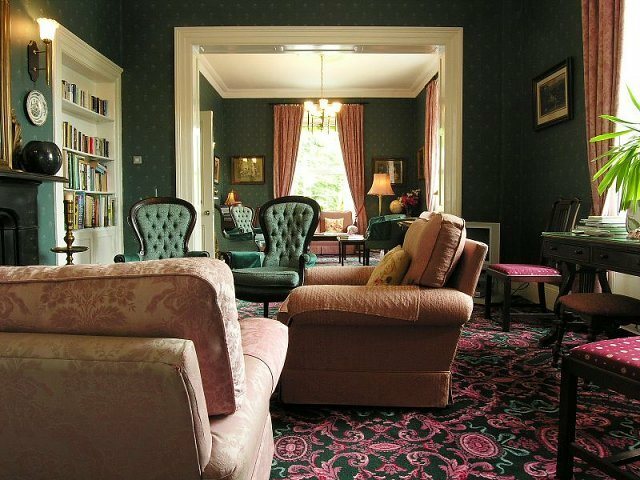 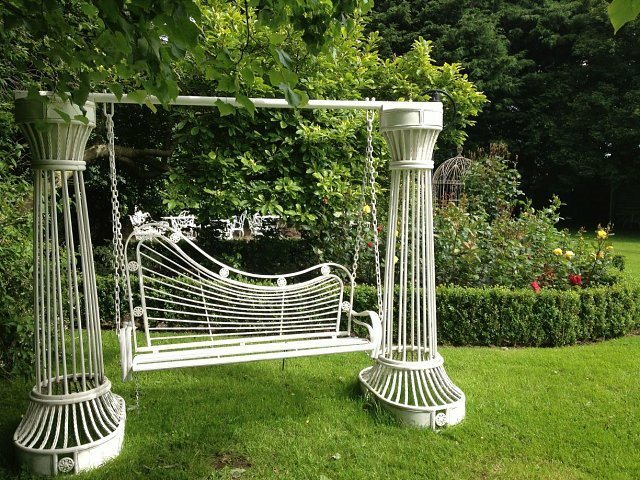 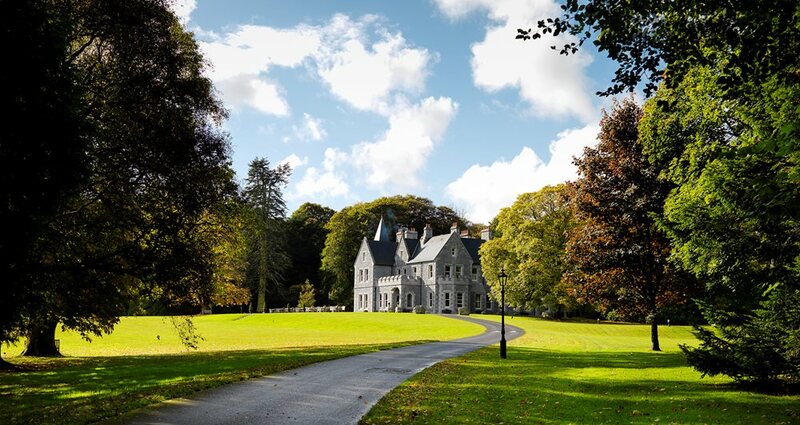 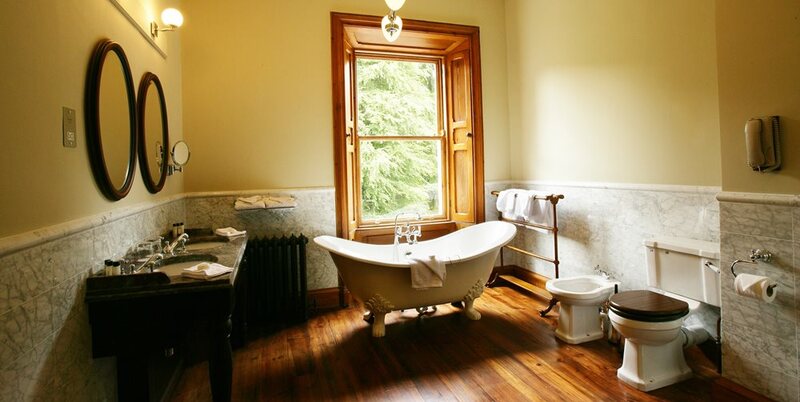 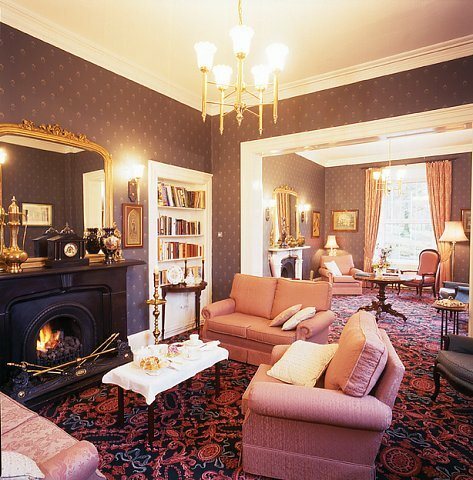 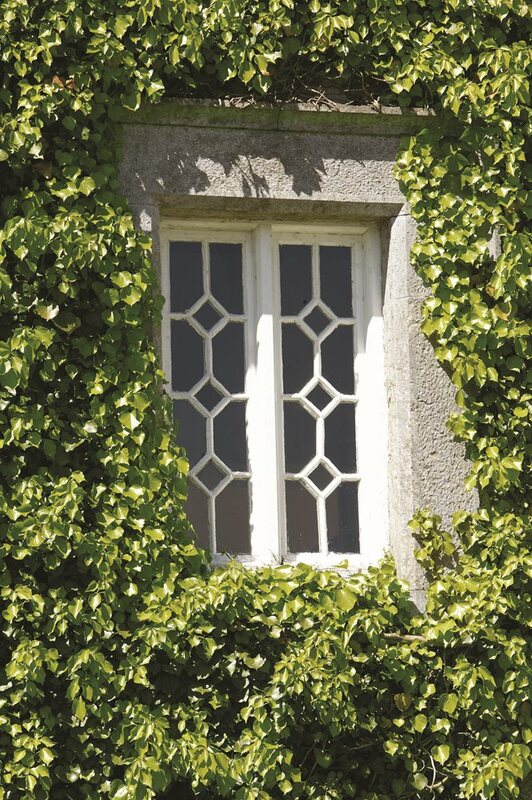 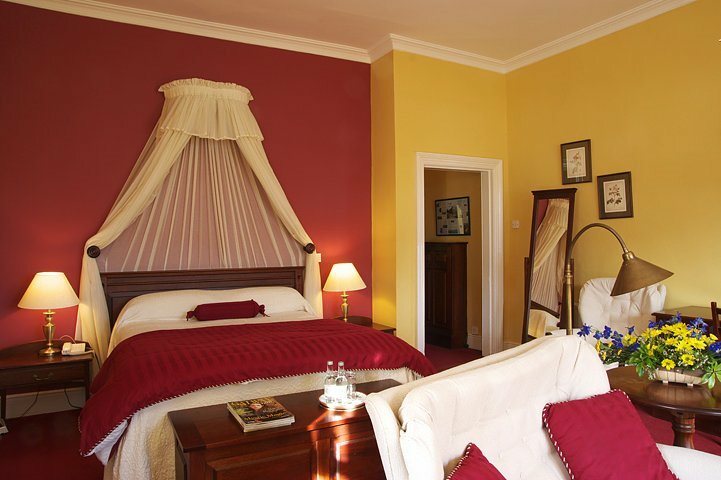 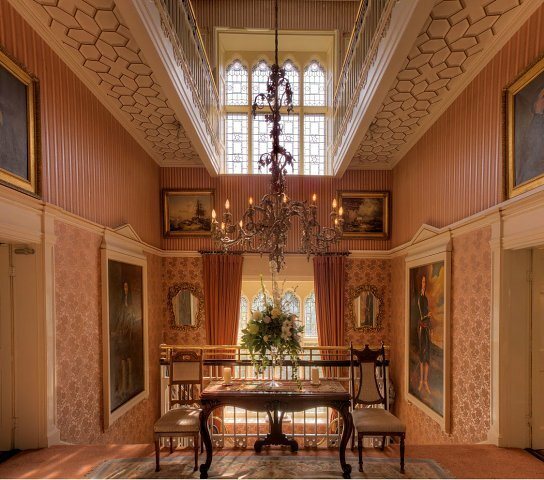 Sympathetically restored in 2010, Screebe is one of Ireland’s finest Victorian country houses, offering unparalleled tranquillity in a beautiful setting in Rosmuc, just 40 minutes from Galway City. 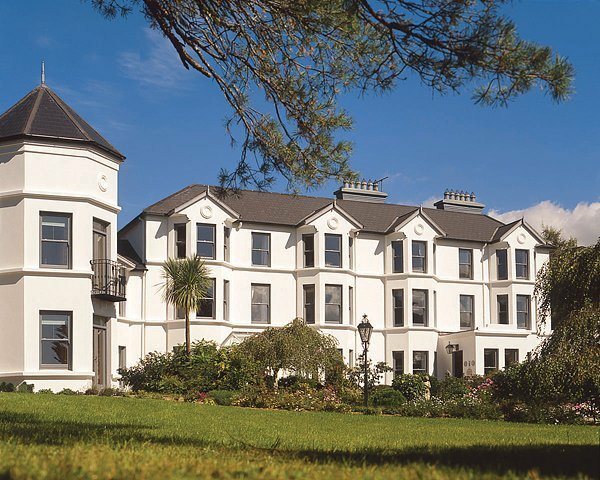 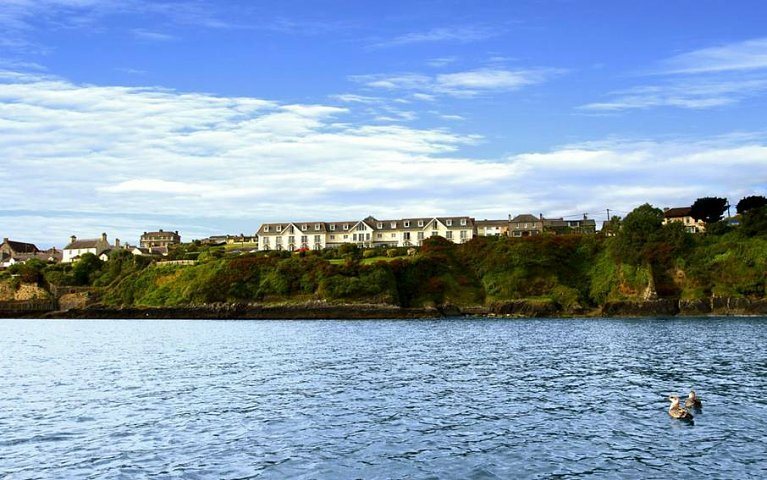 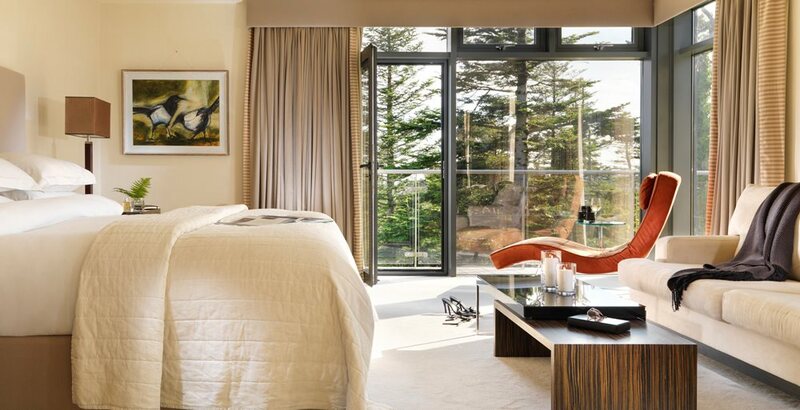 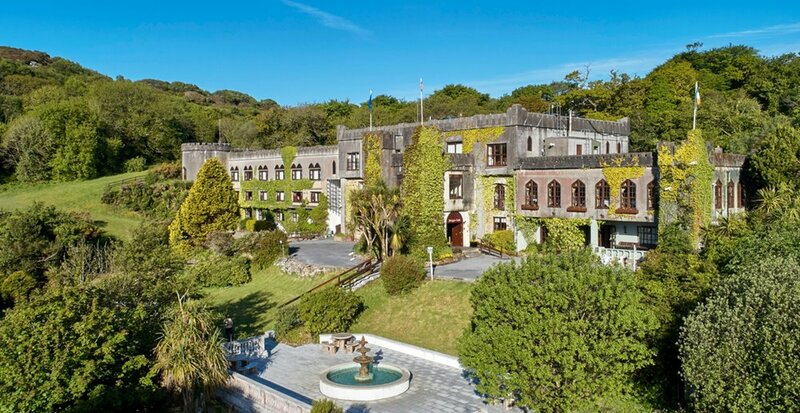 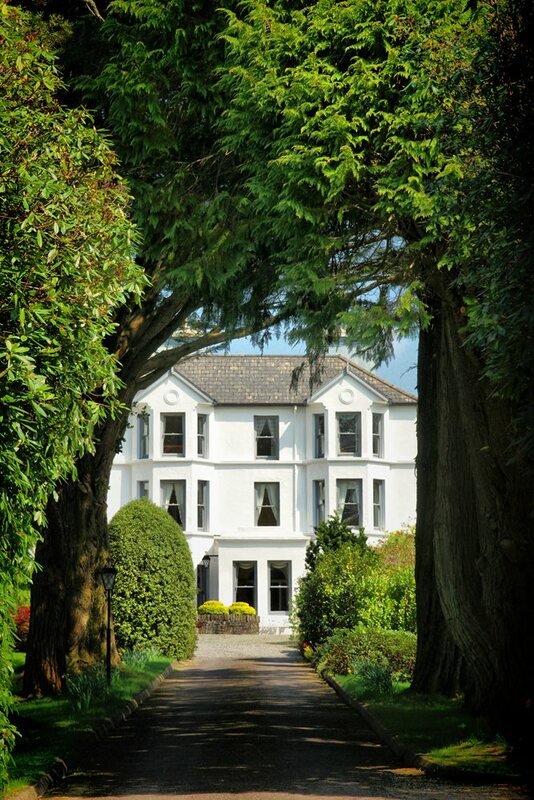 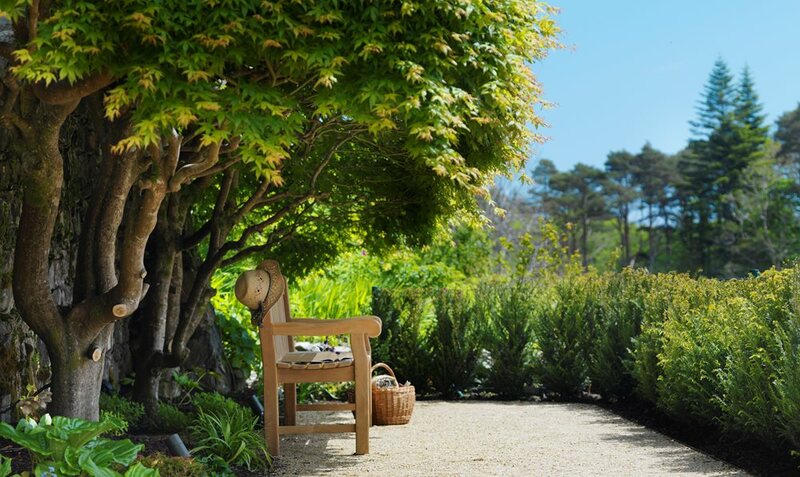 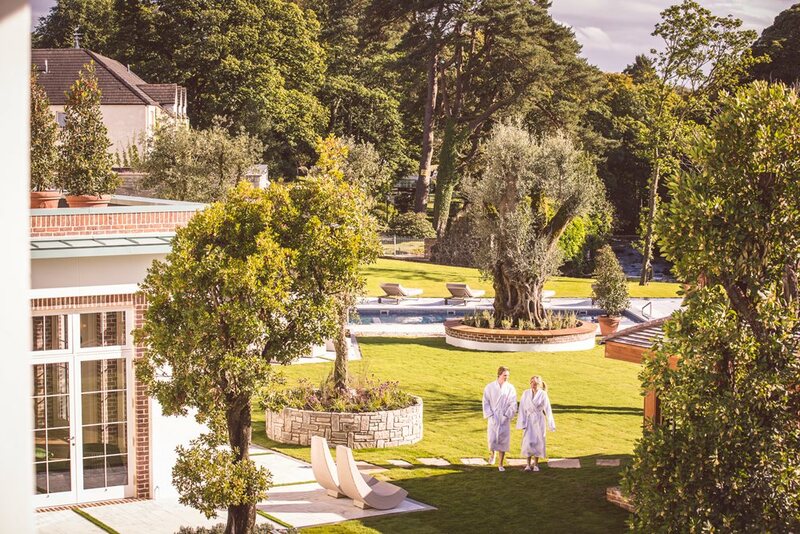 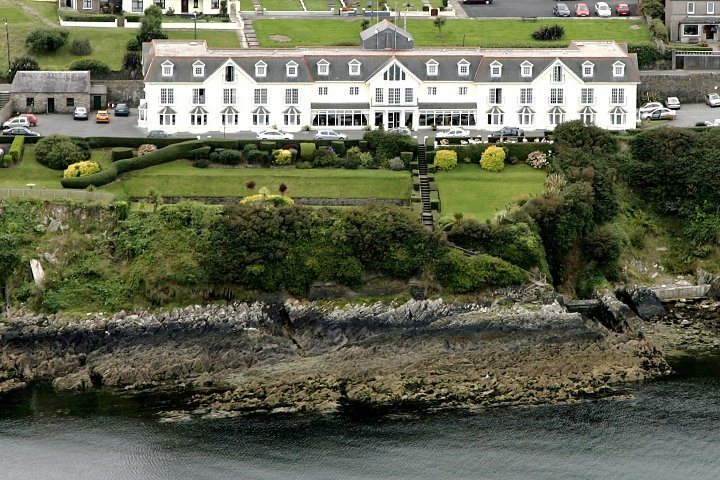 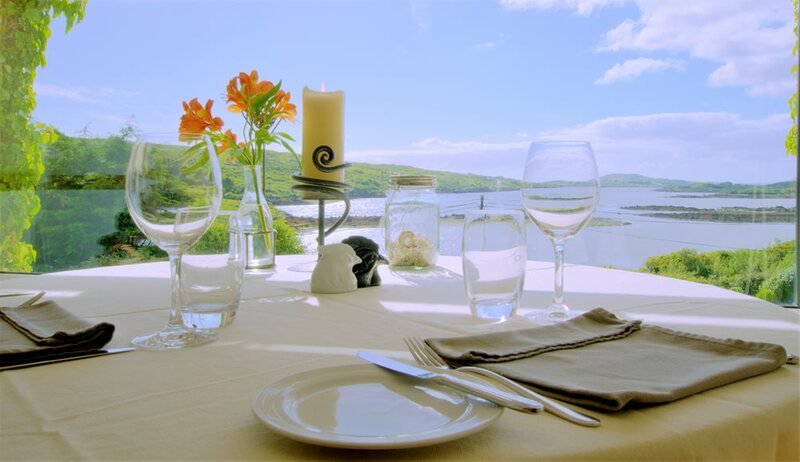 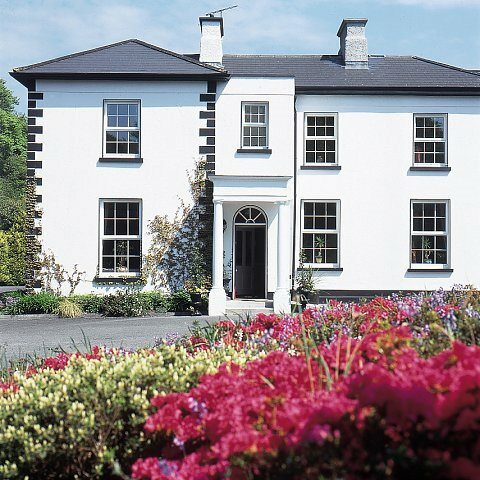 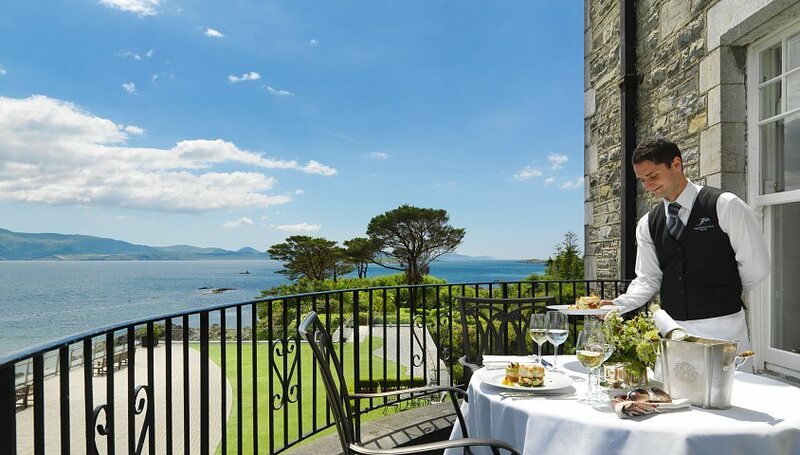 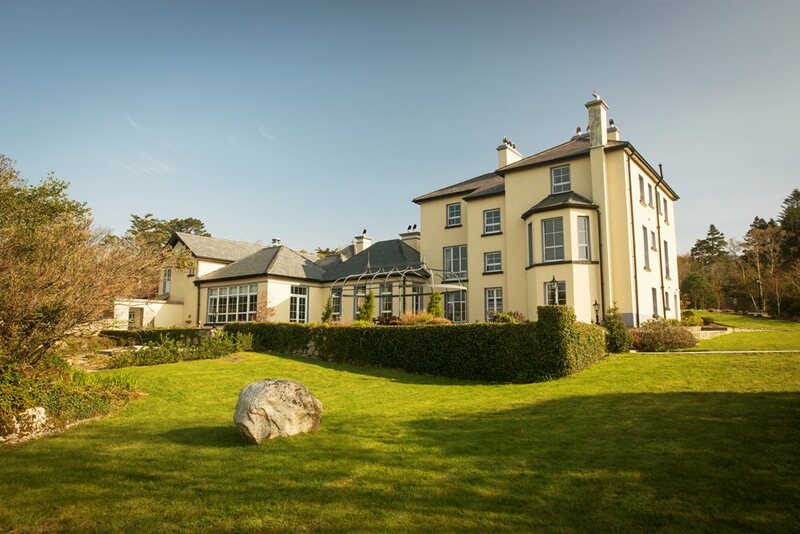 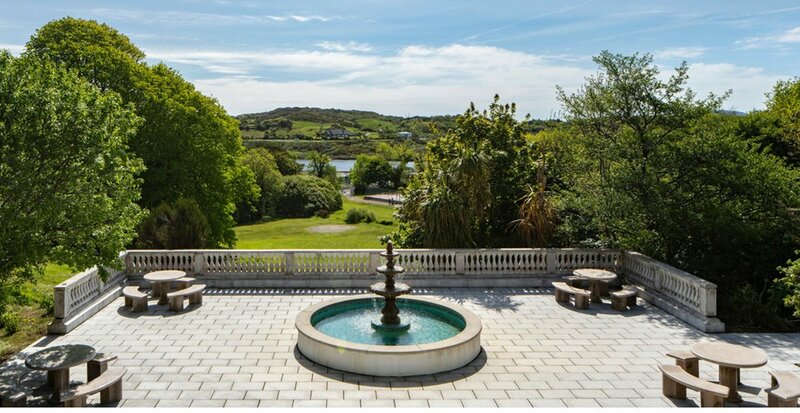 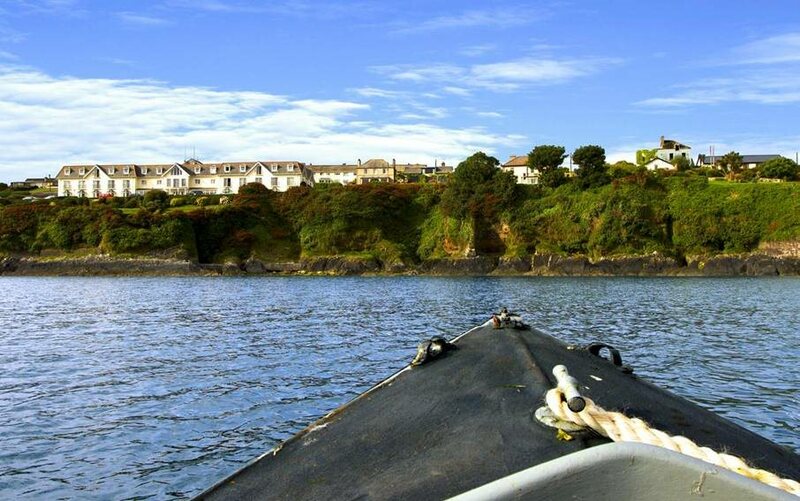 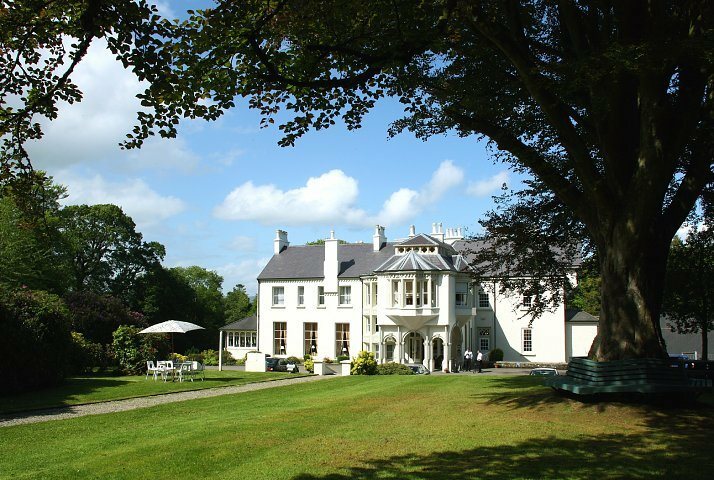 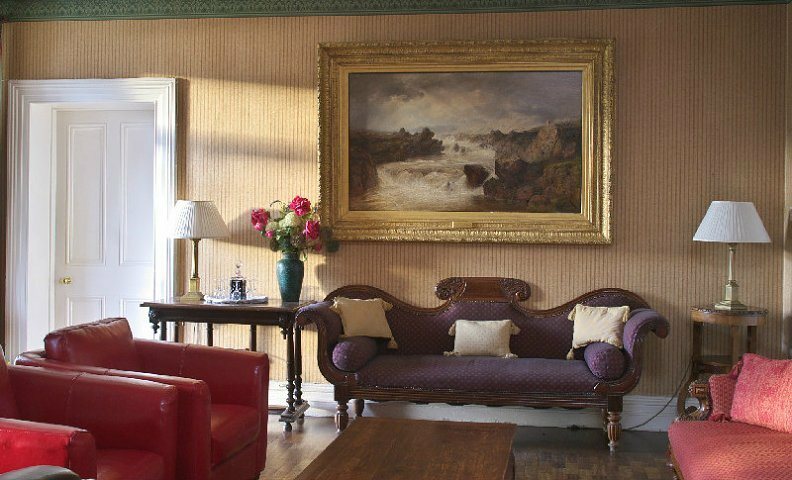 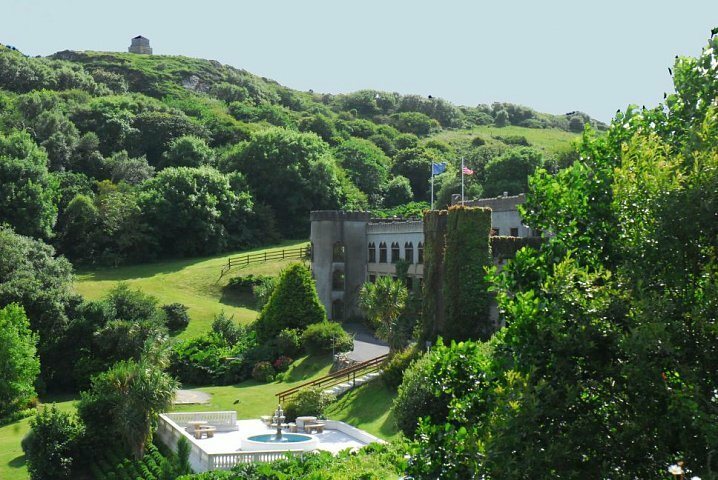 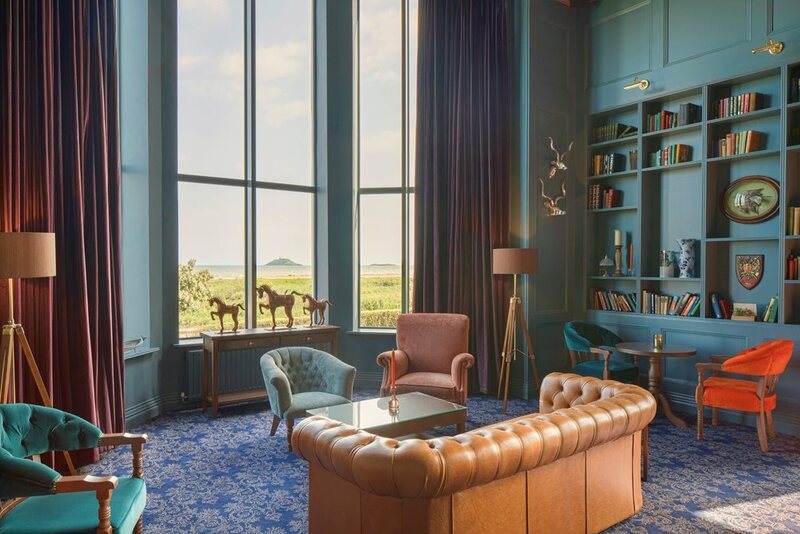 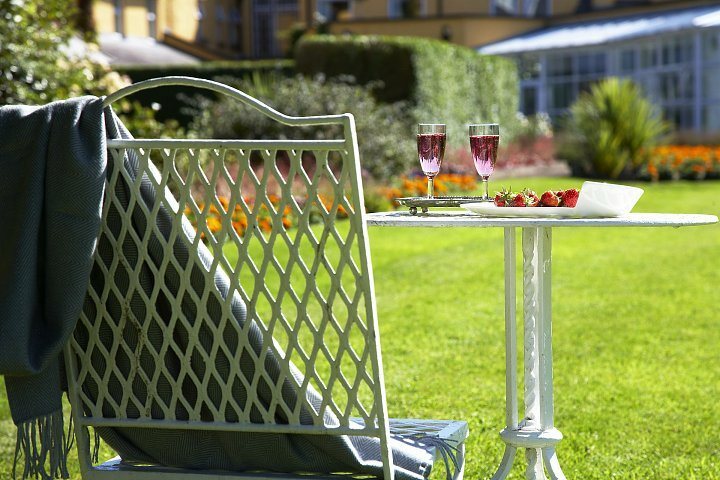 Set within four acres of beautifully manicured and mature seaside gardens, Seaview House Hotel is West Cork’s finest multi-award winning Country Manor Escape. 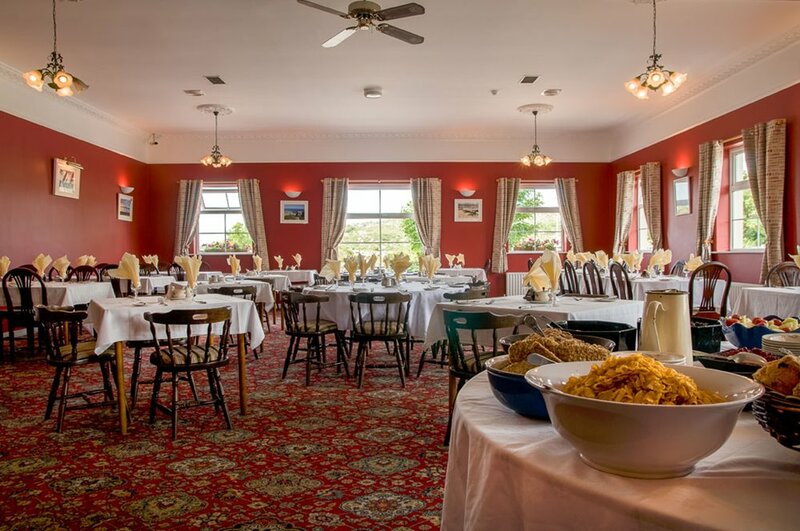 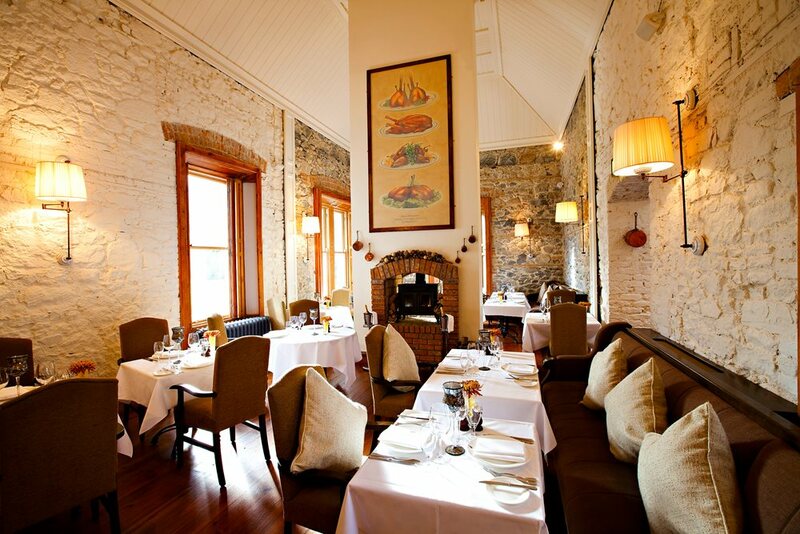 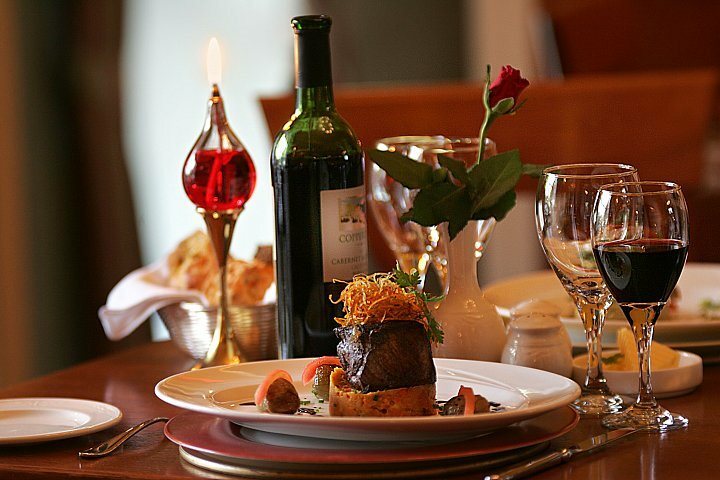 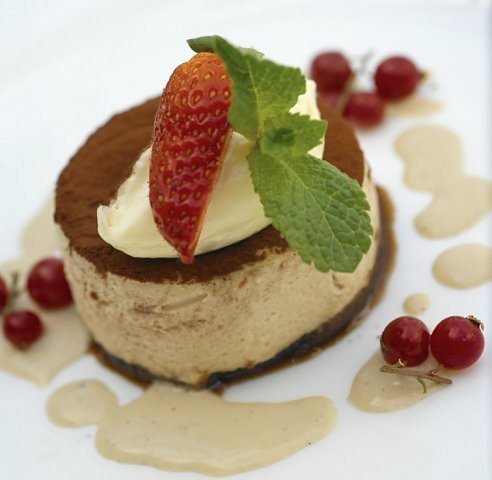 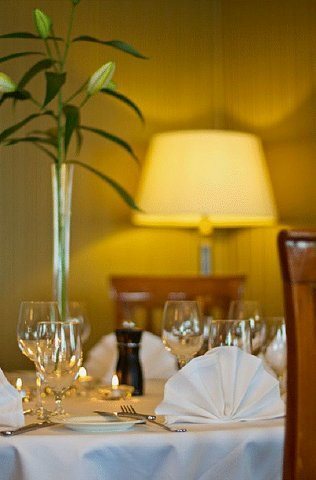 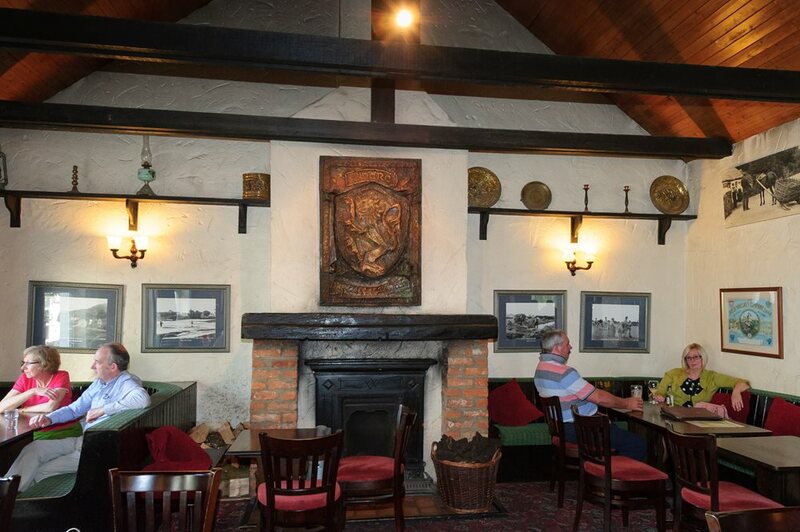 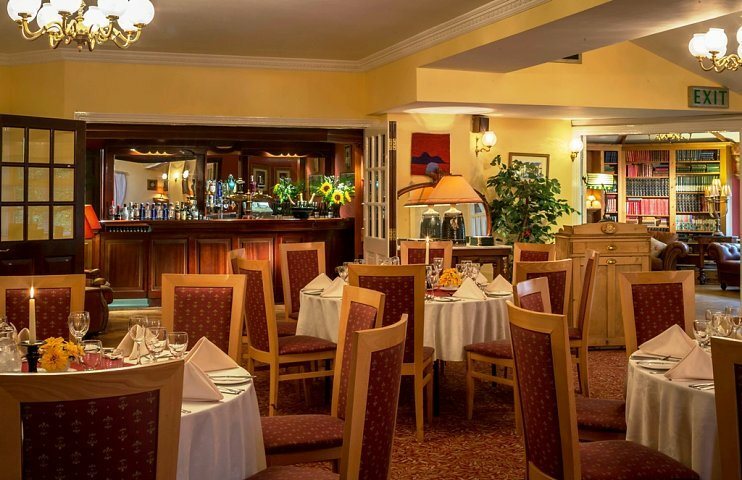 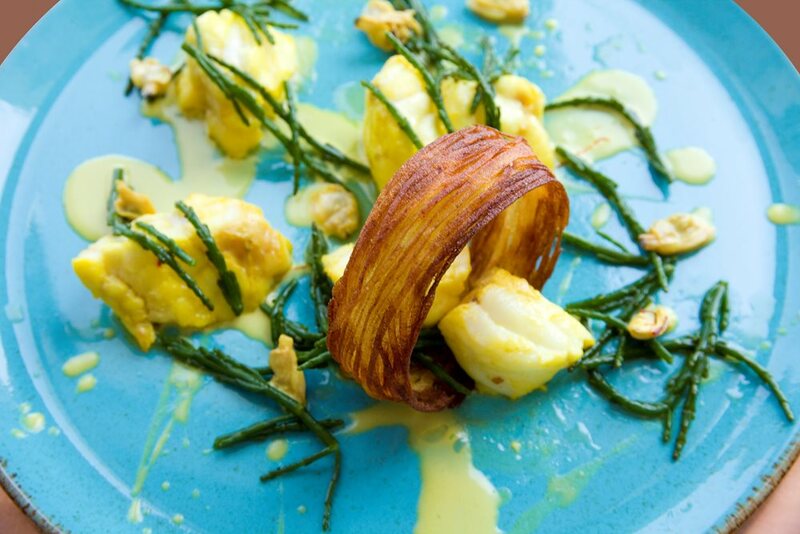 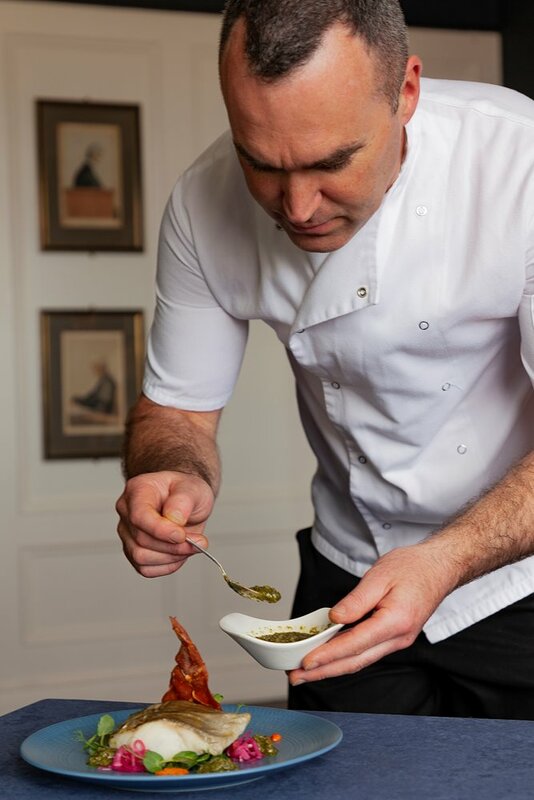 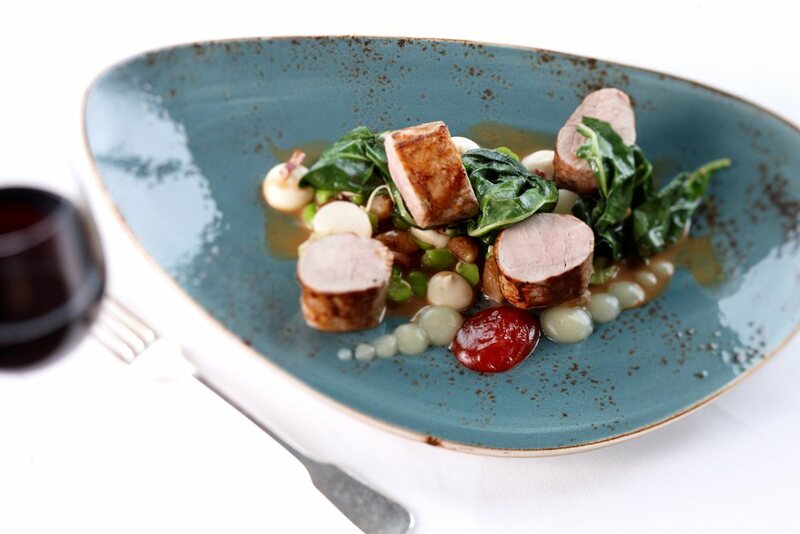 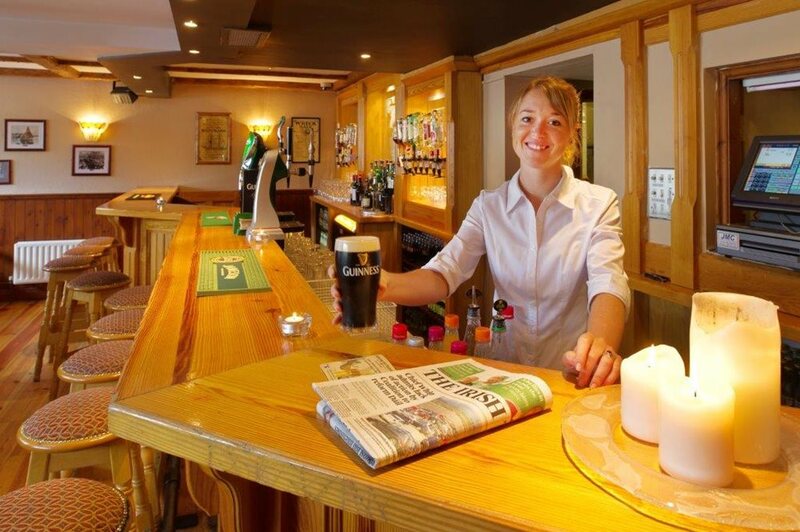 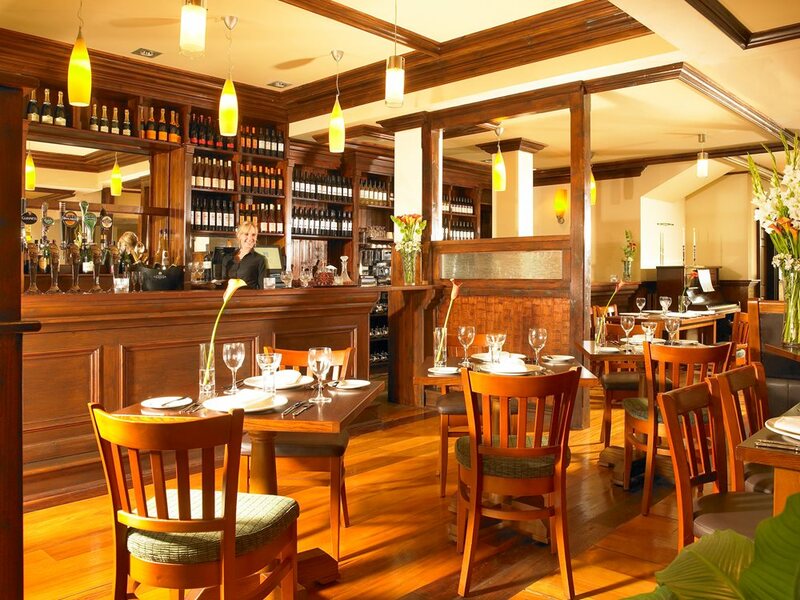 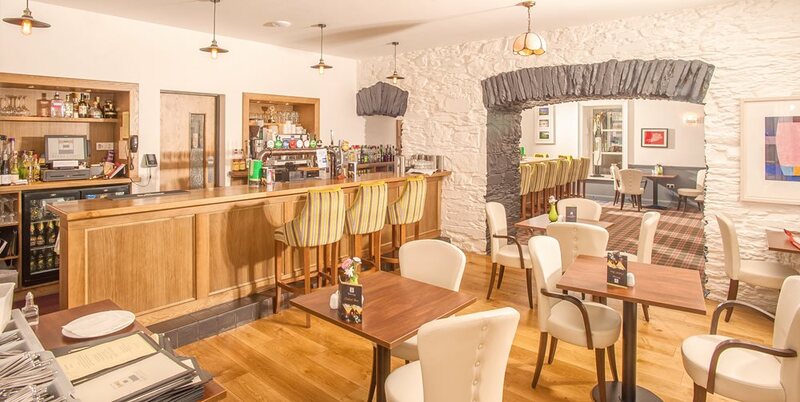 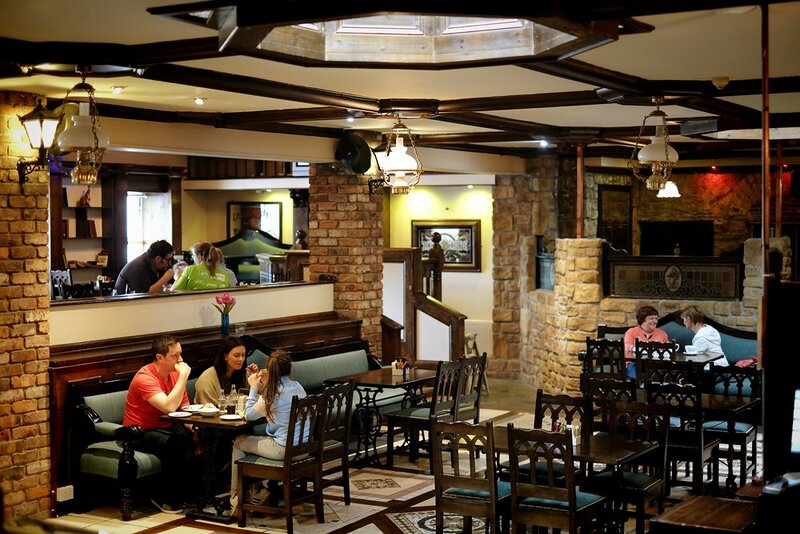 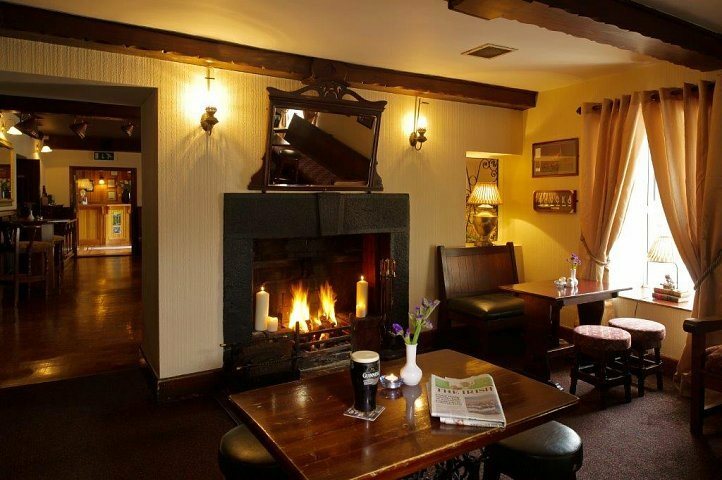 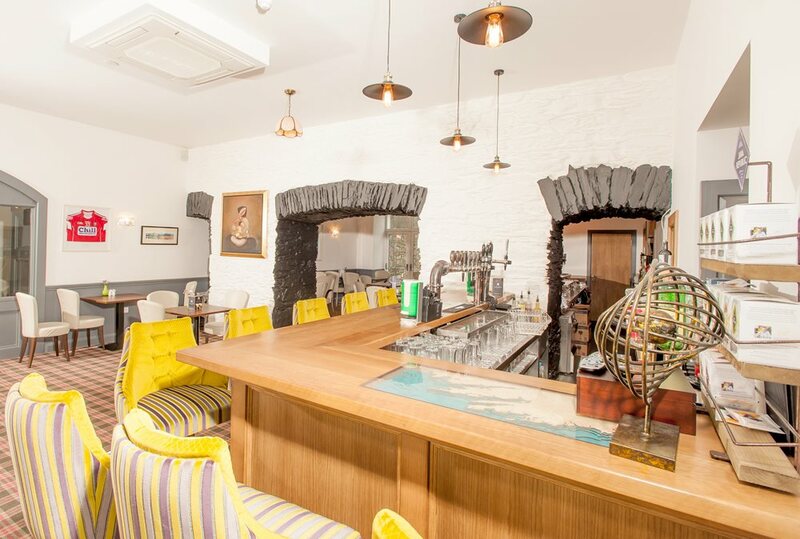 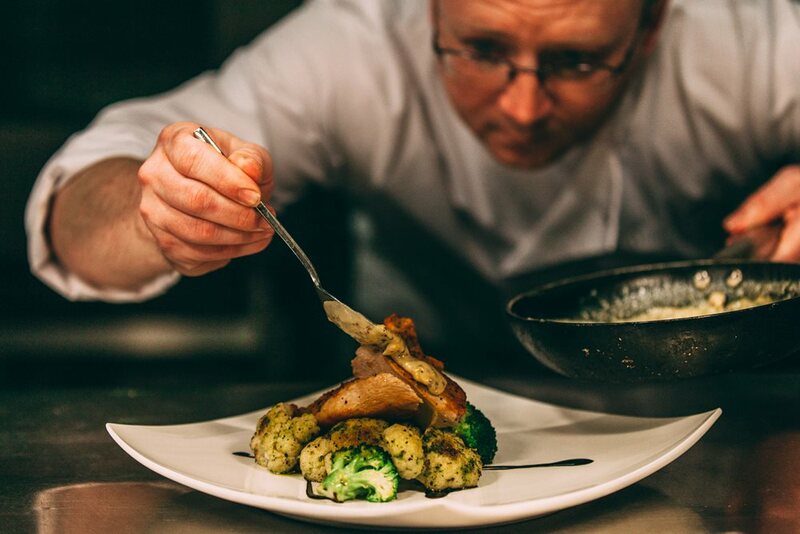 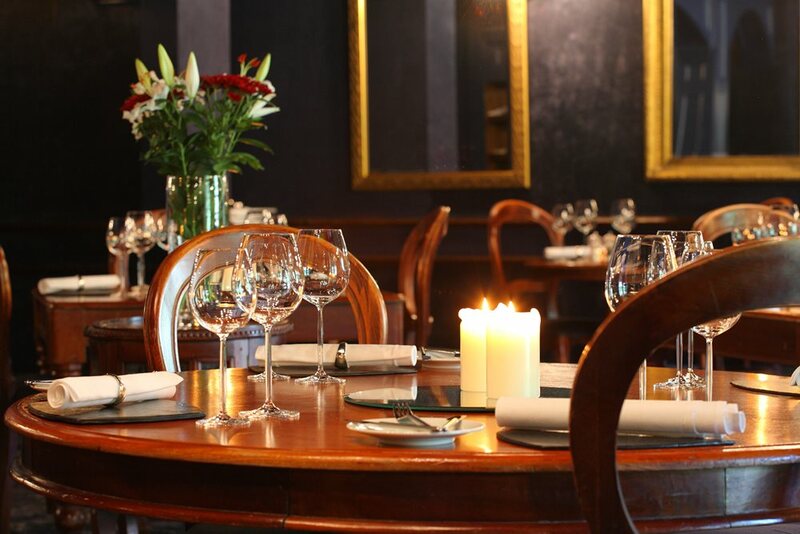 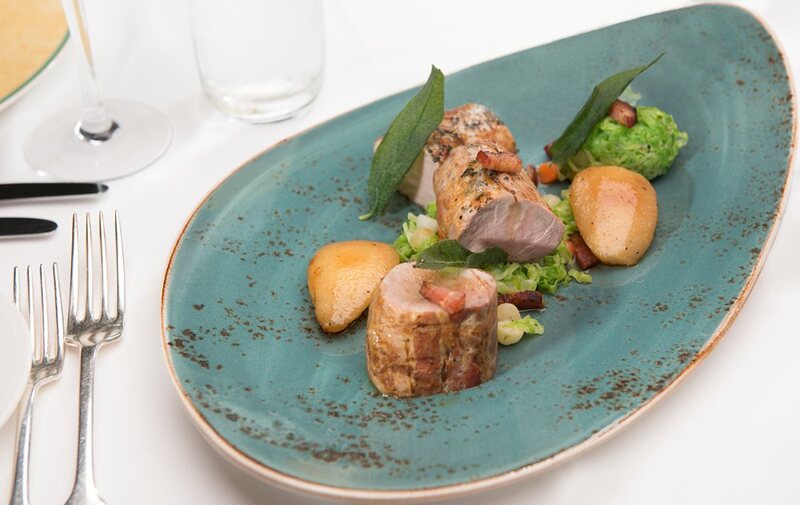 Located on the edge of The Burren in Lisdoonvarna, Co Clare, Sheedy’s offers a warm welcome, traditional hospitality and award-winning cuisine. 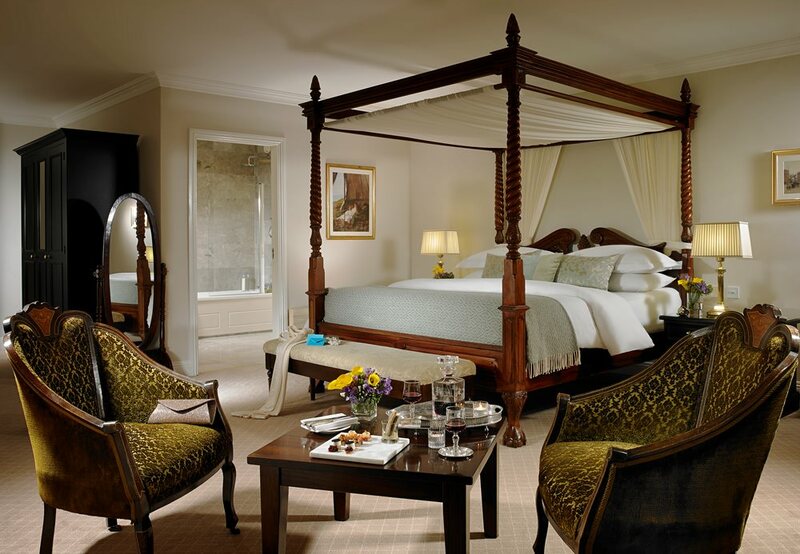 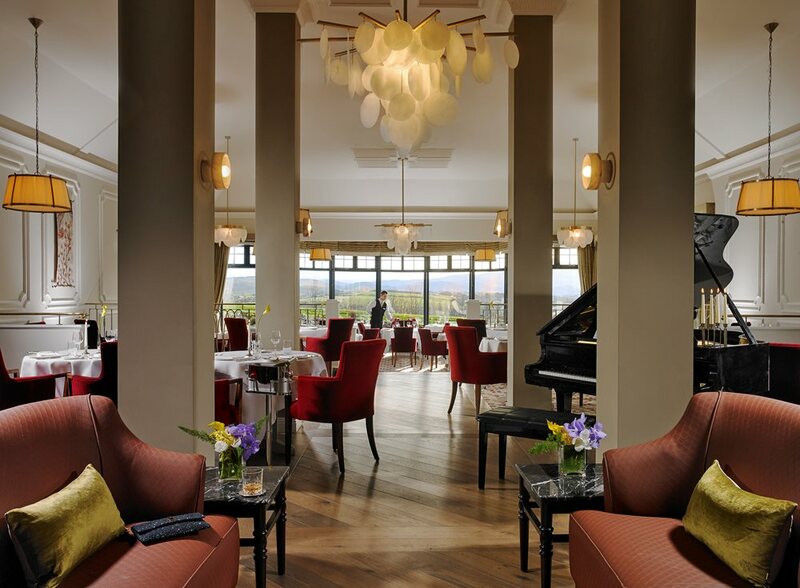 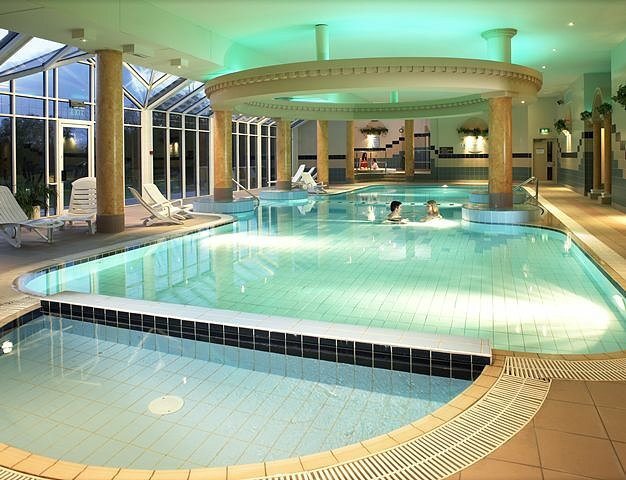 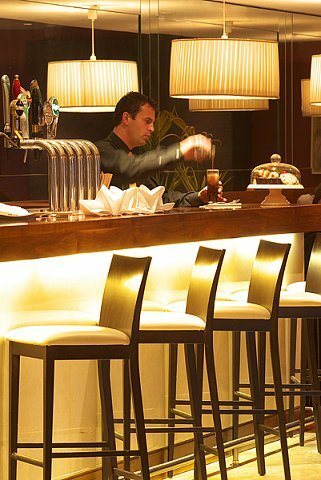 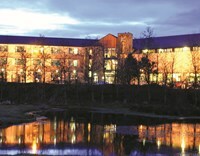 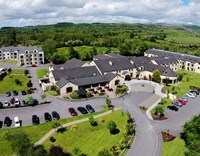 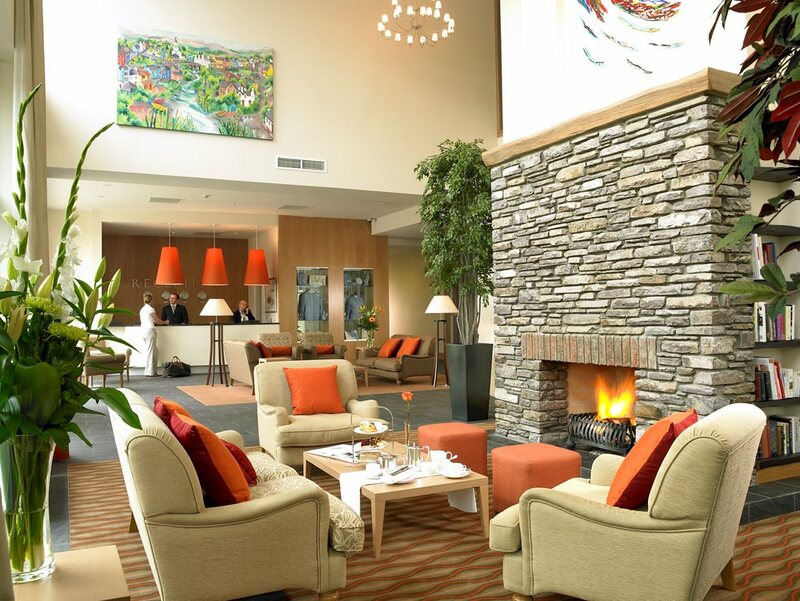 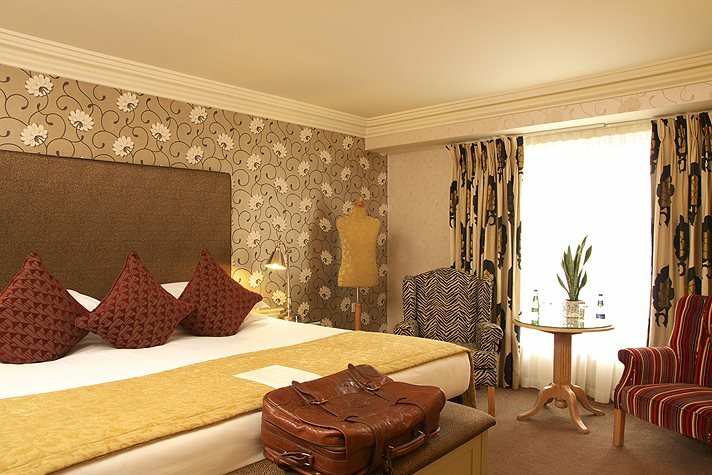 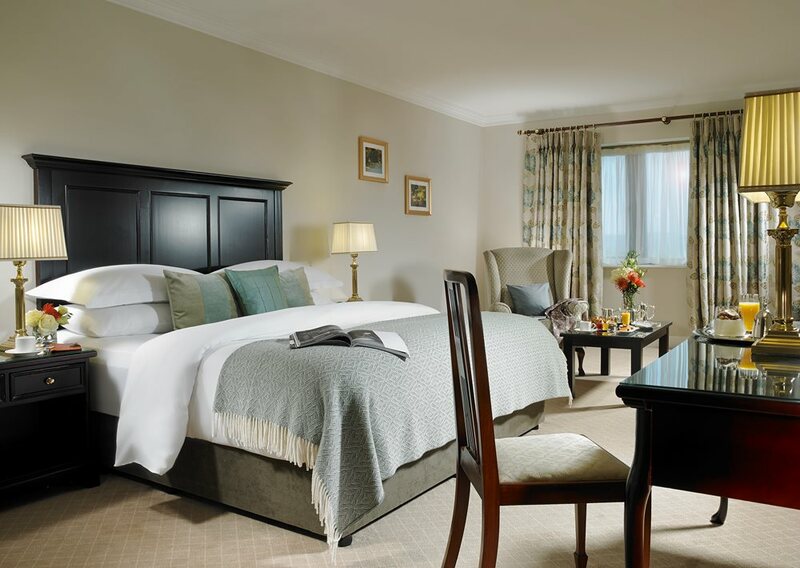 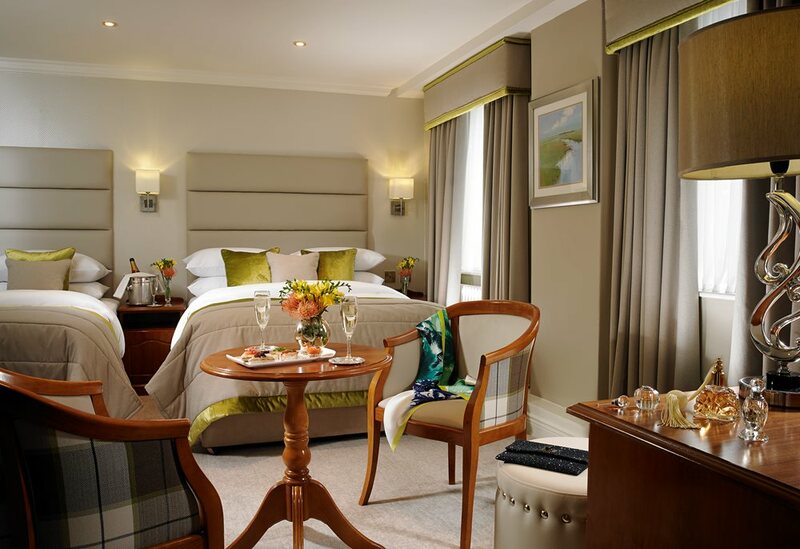 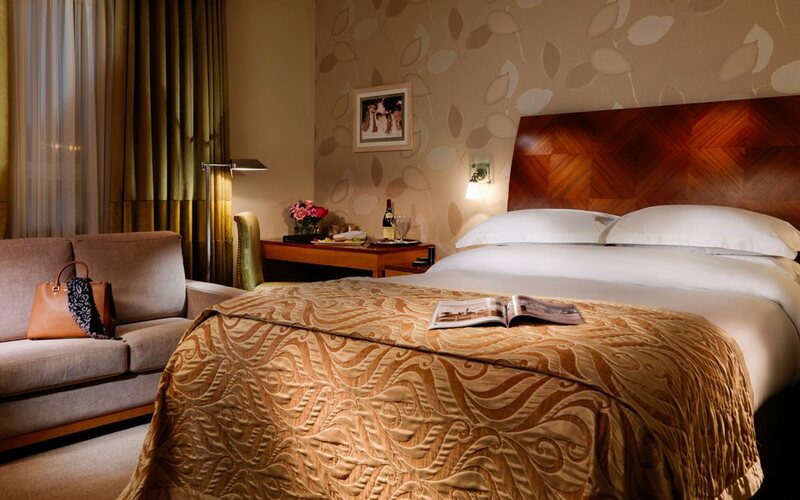 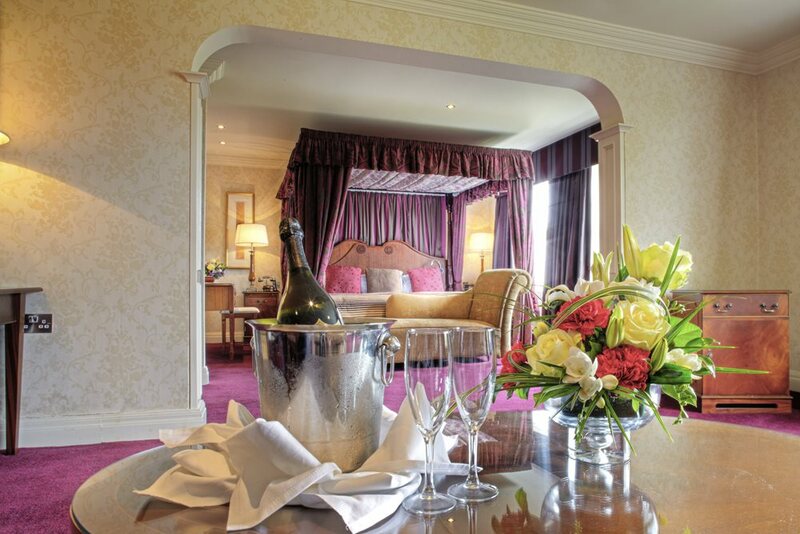 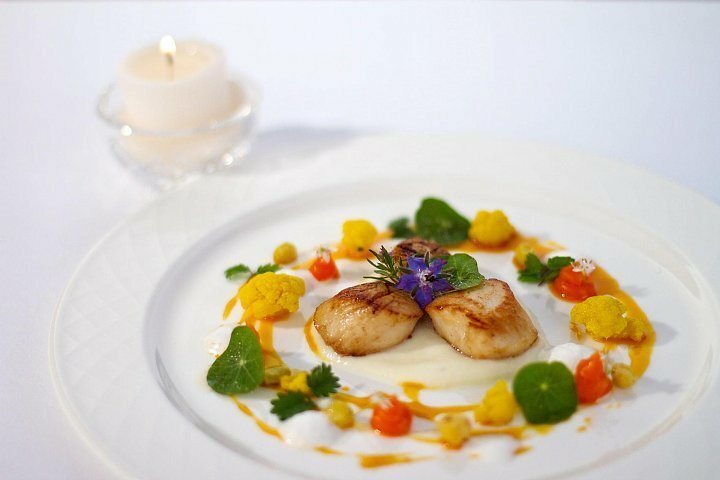 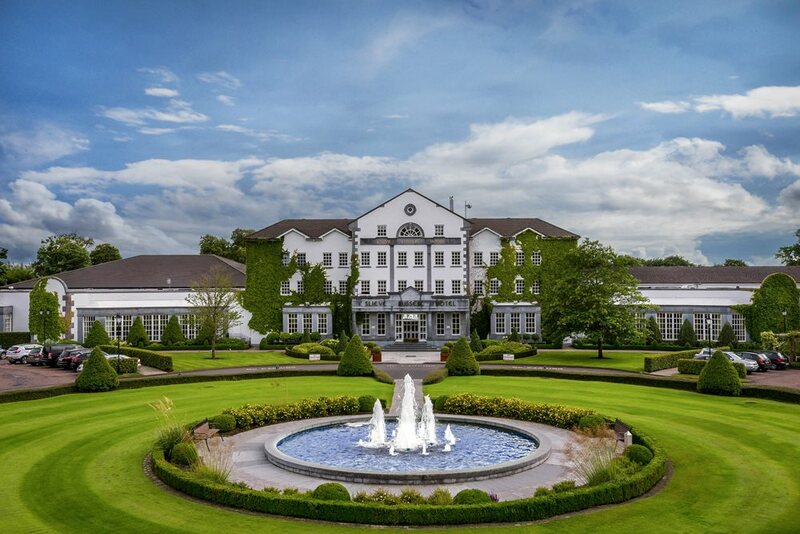 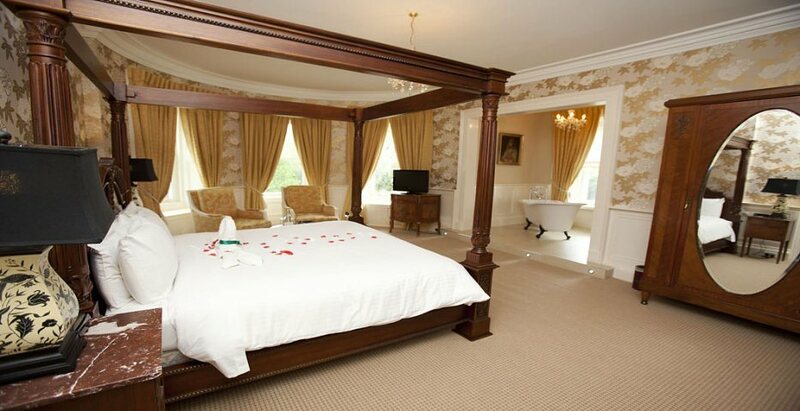 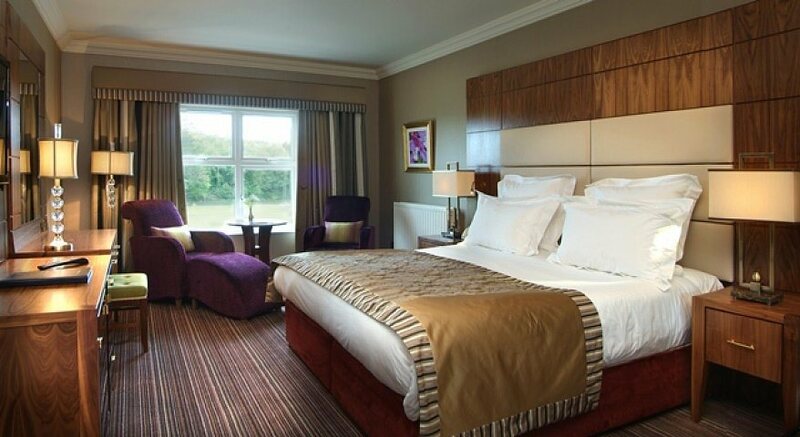 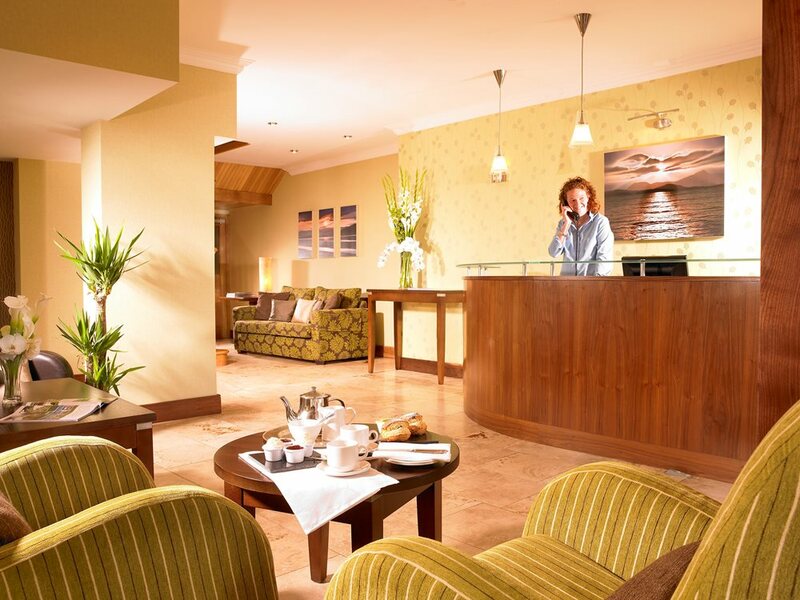 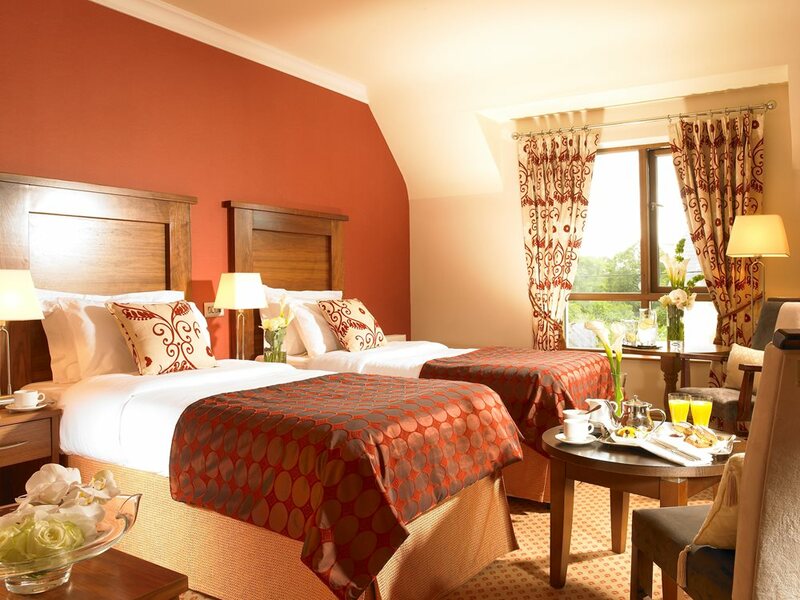 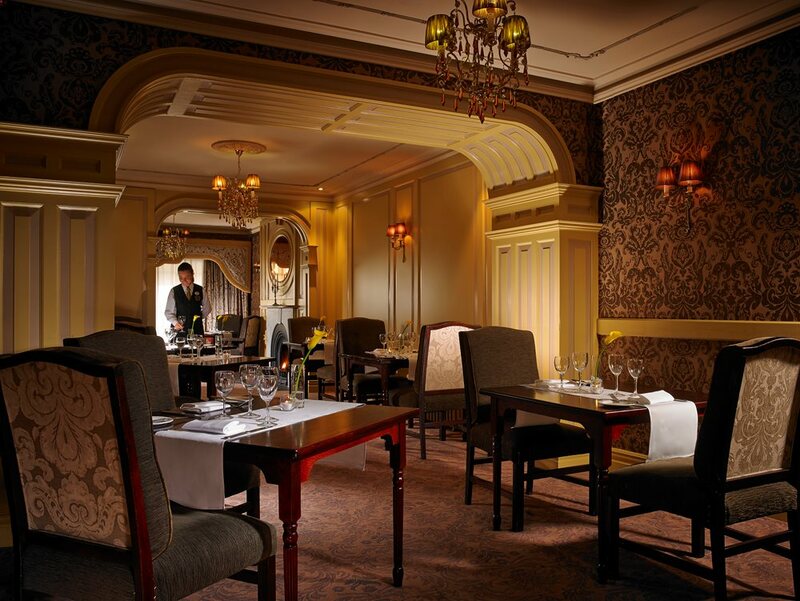 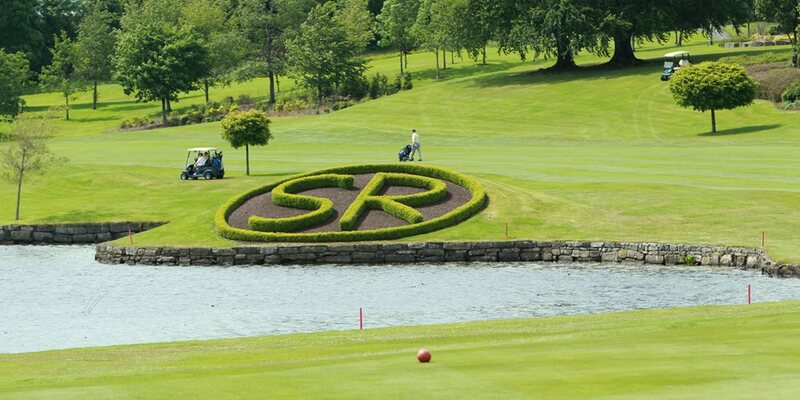 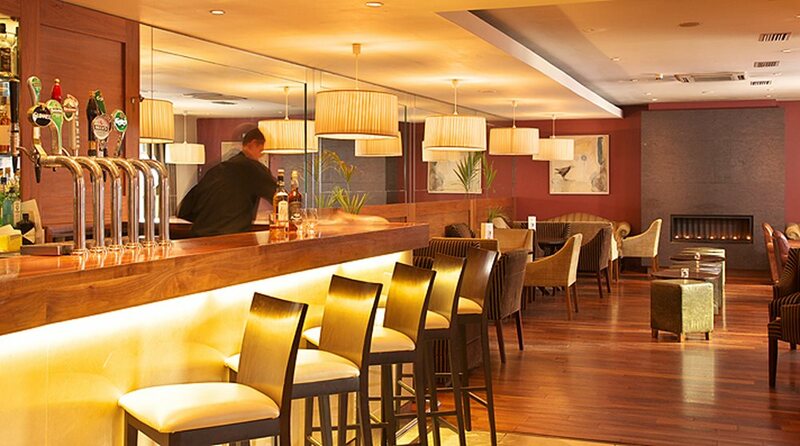 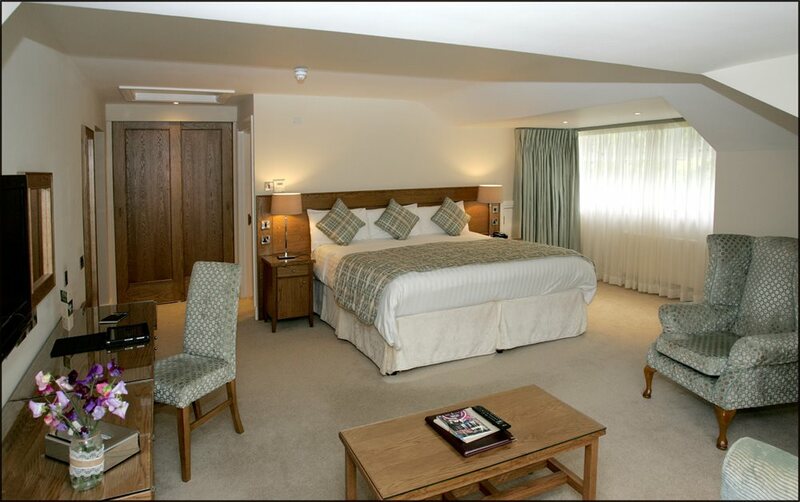 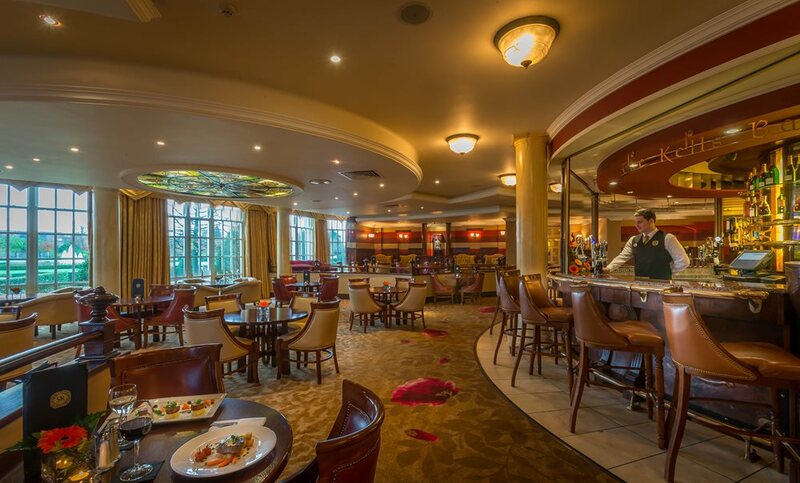 The Slieve Russell Hotel in Co Cavan provides luxury 4-star hotel accommodation in a tranquil setting. 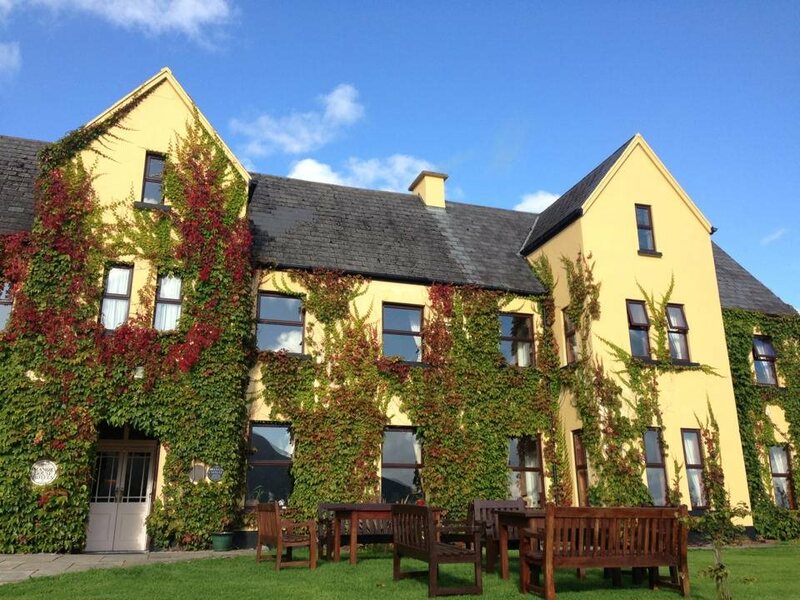 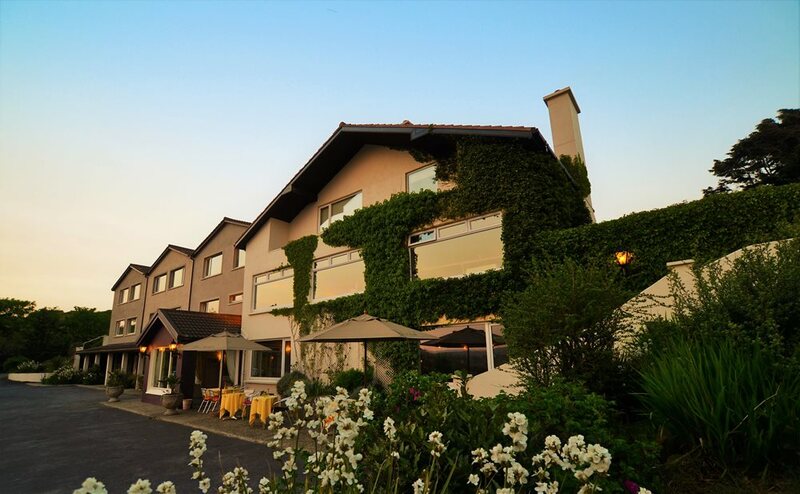 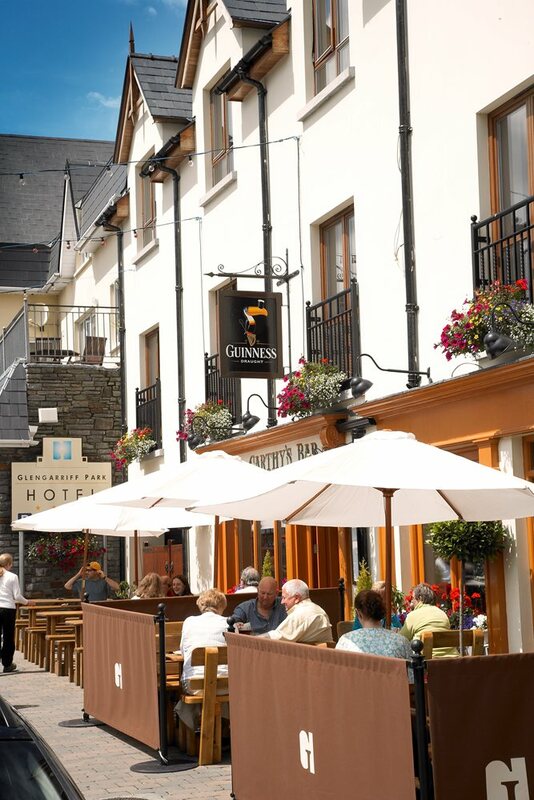 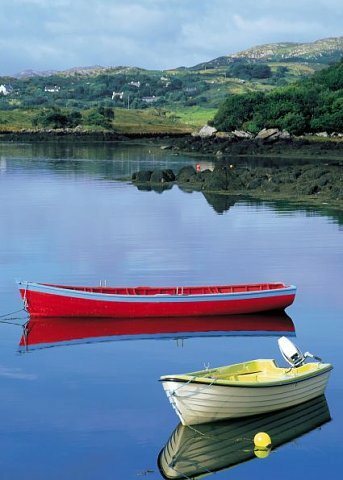 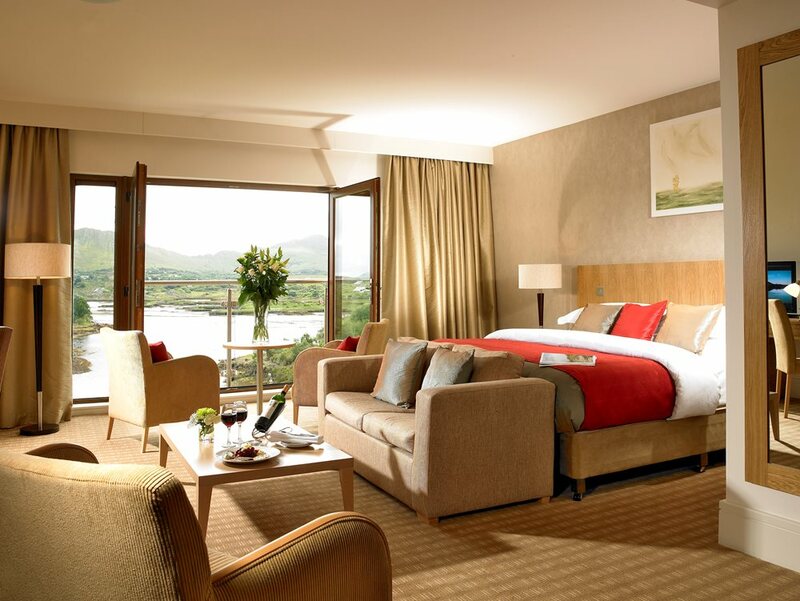 Sneem Hotel is a 4-star hotel located in the picturesque village of Sneem, on the Ring of Kerry and the Wild Atlantic Way. 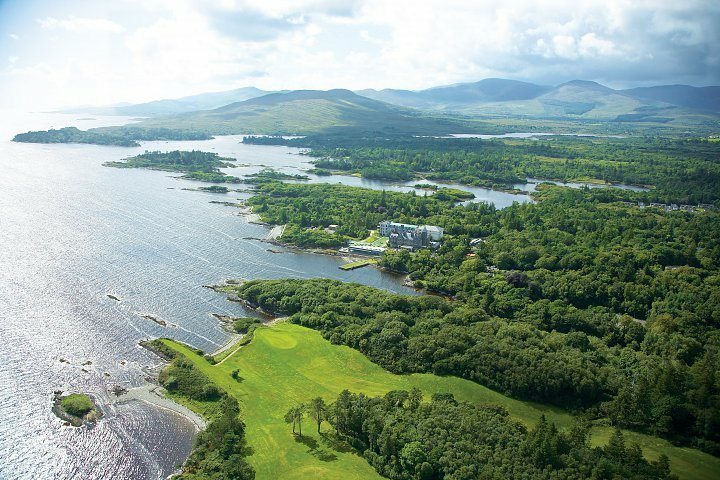 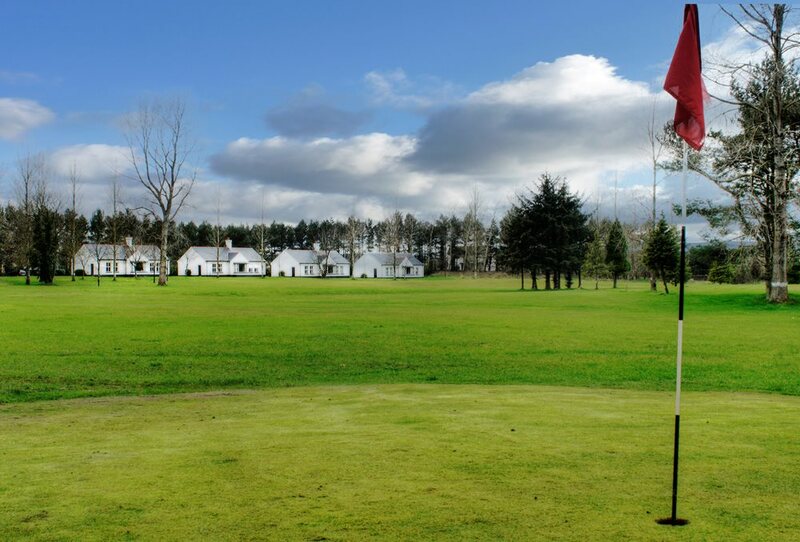 This location is a haven for any golf enthusiast or visitor to Ireland, the perfect spot to hang your hat for a couple of days.